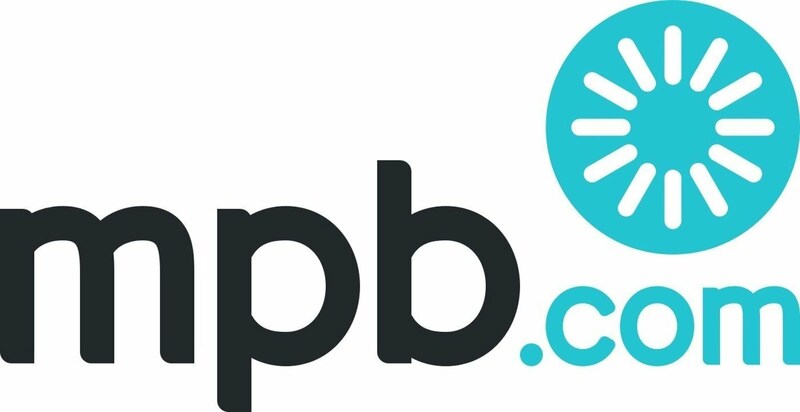 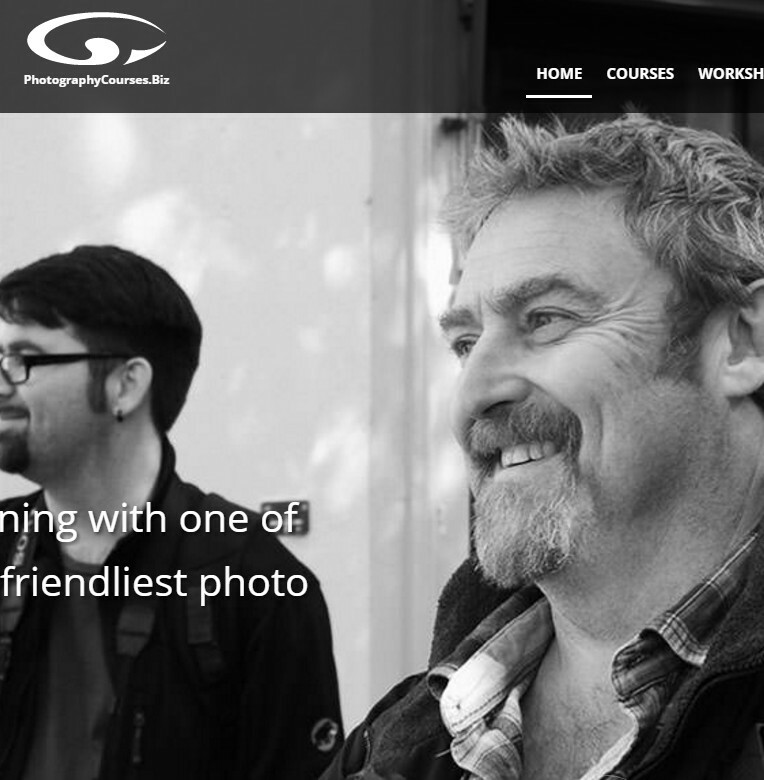 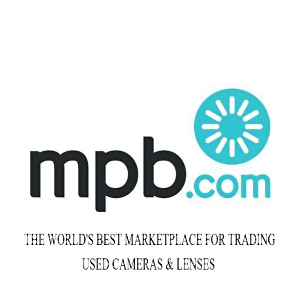 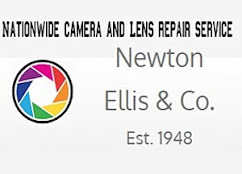 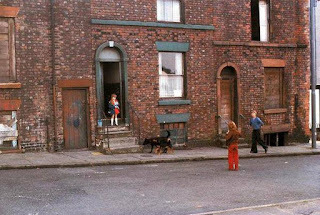 For a quick search whilst on this page press Ctrl +F (Windows) or Command+F (Mac) and enter the street/place you are looking for. 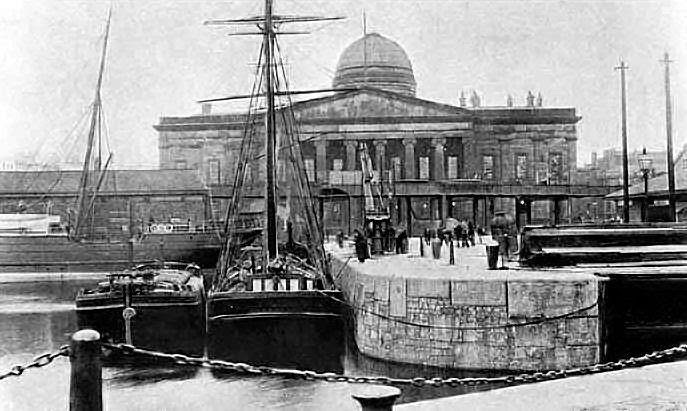 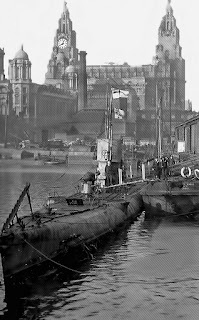 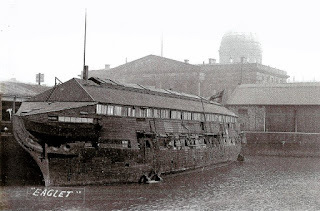 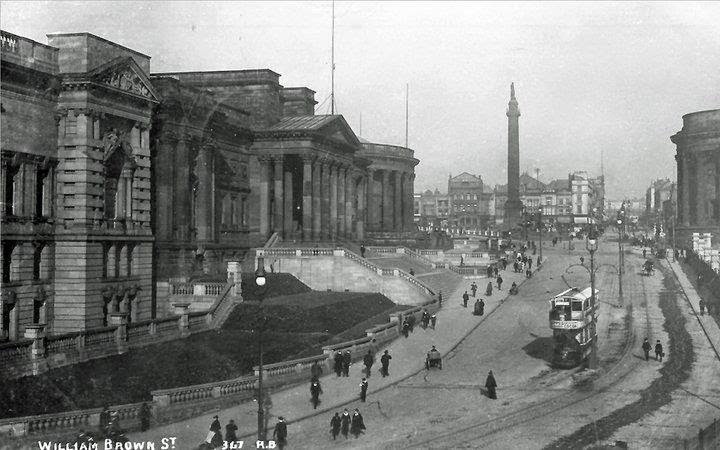 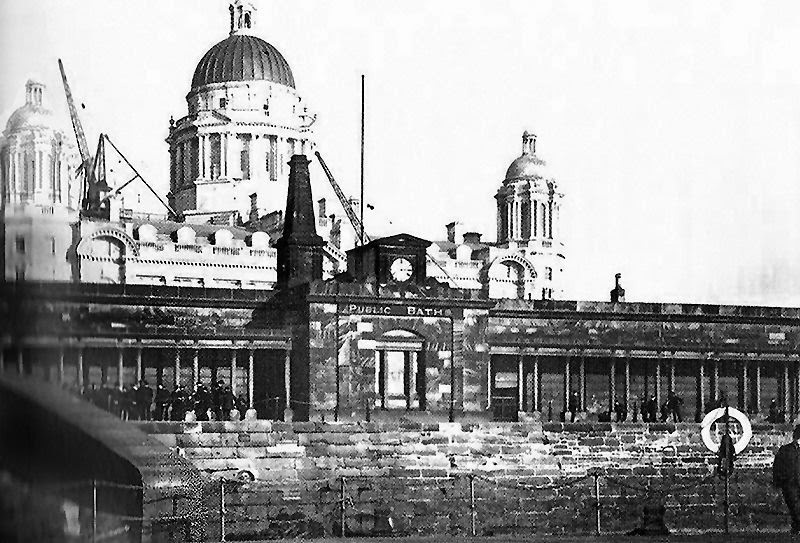 A Captured German U-boat in Liverpool 1919.
the clock face and liver birds were added. 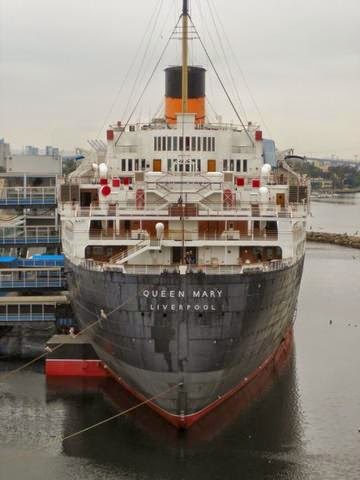 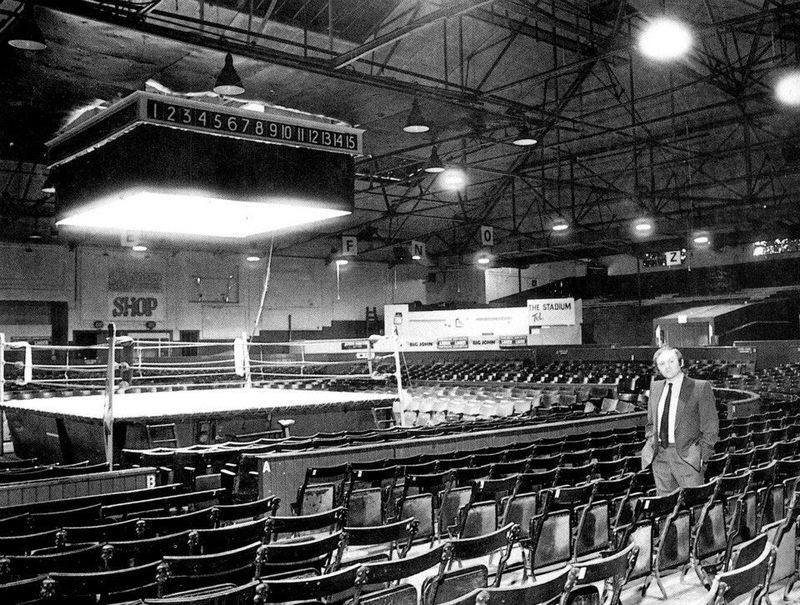 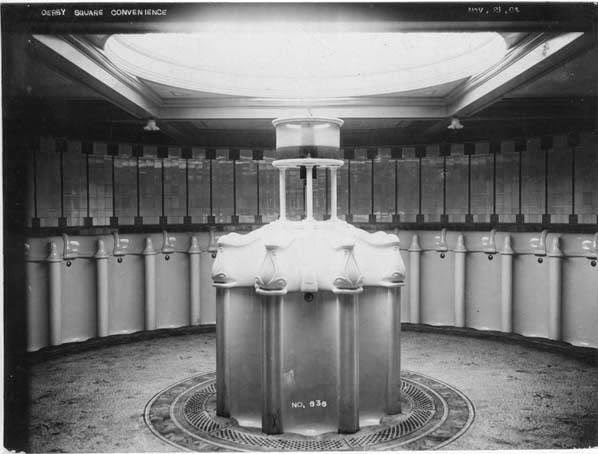 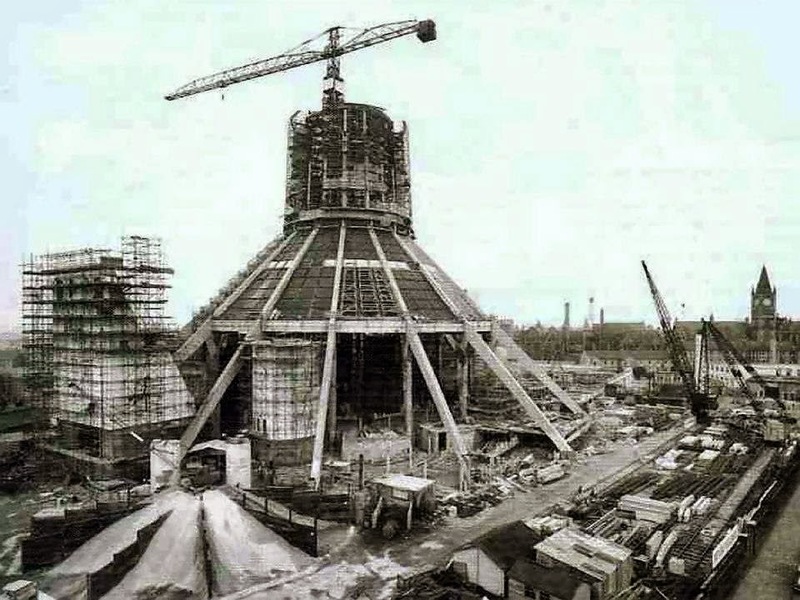 which was destined to be dismantled. 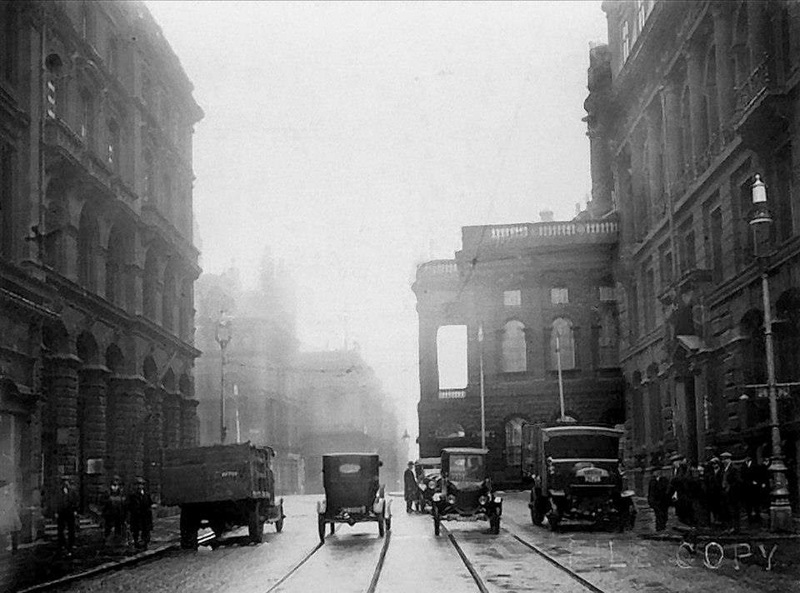 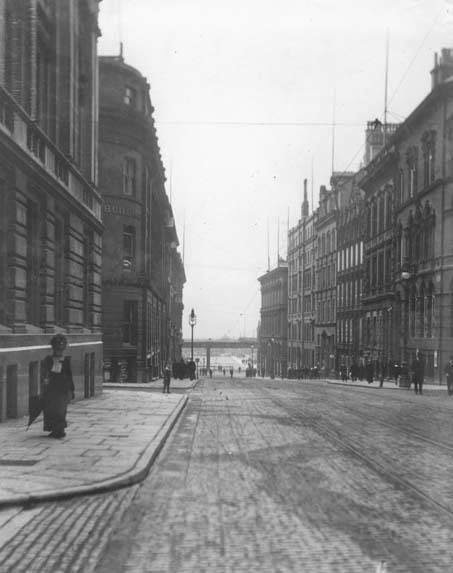 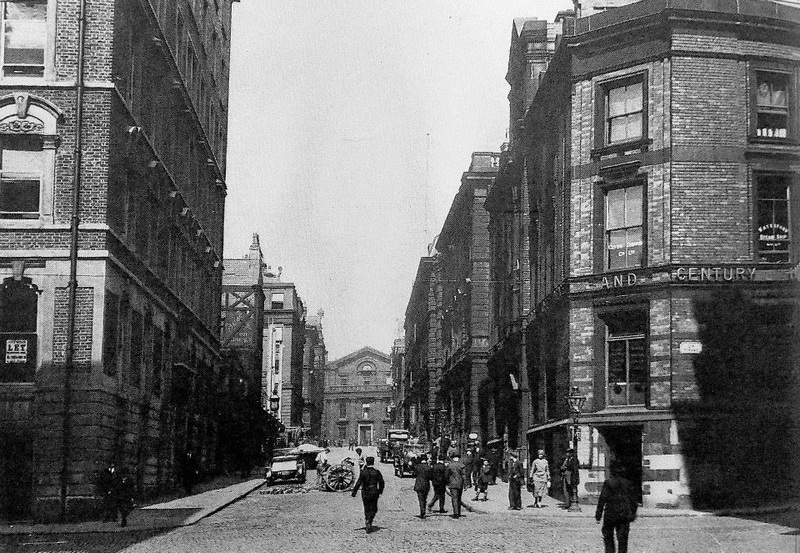 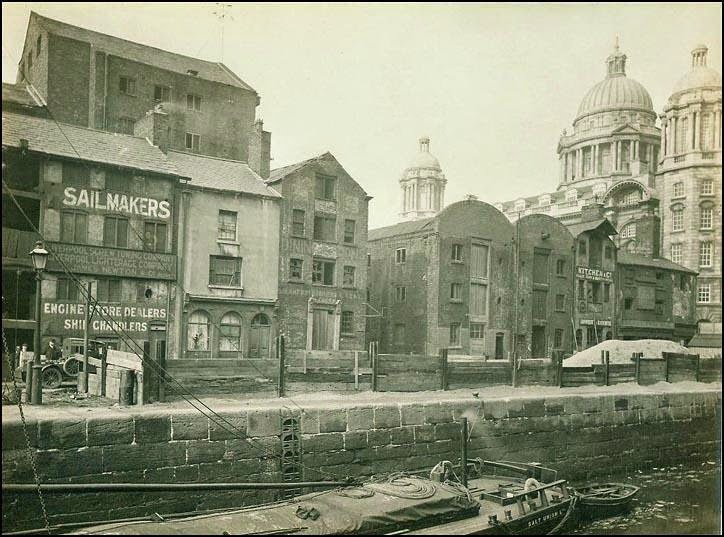 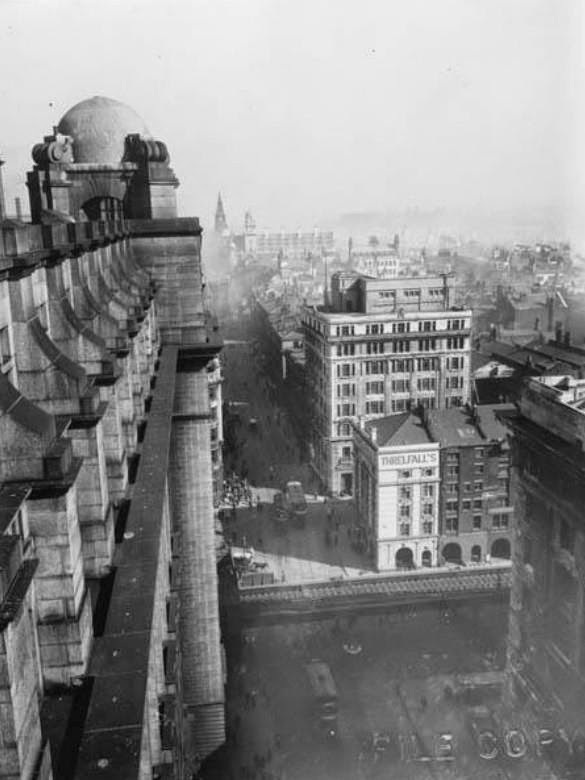 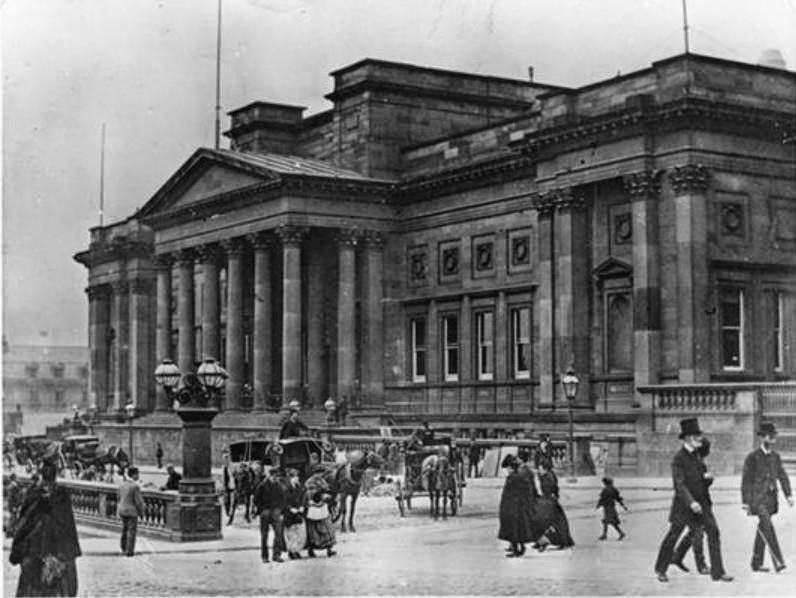 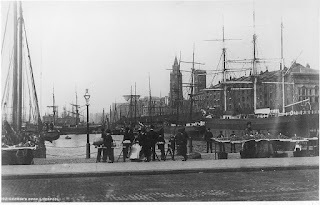 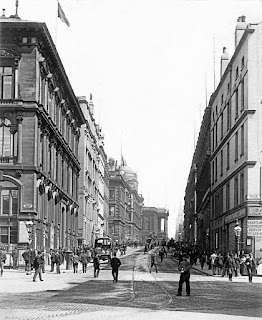 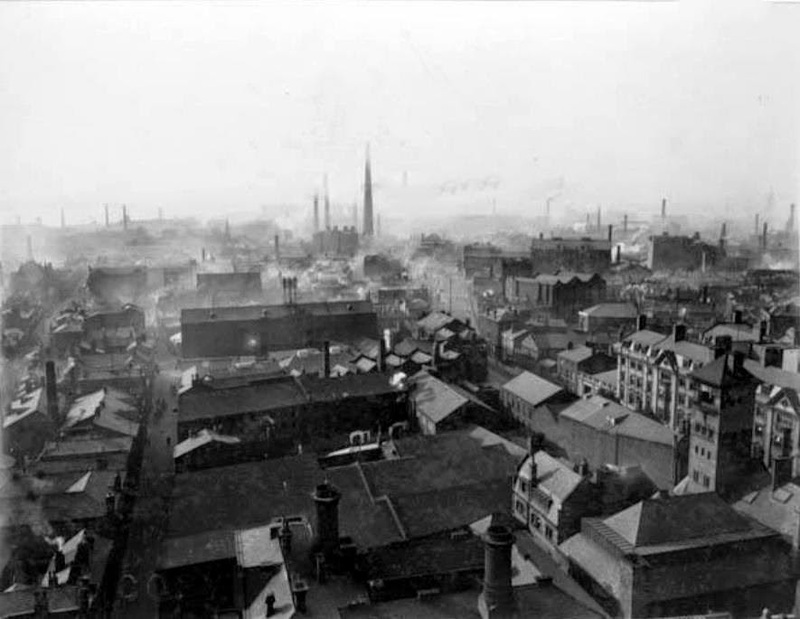 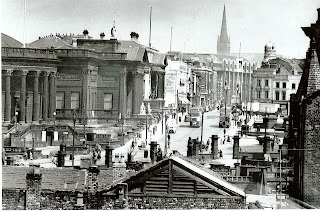 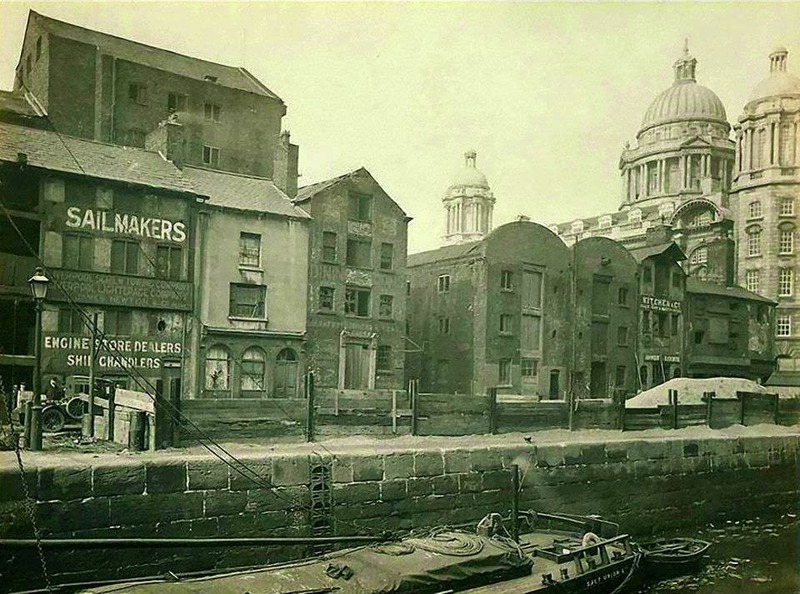 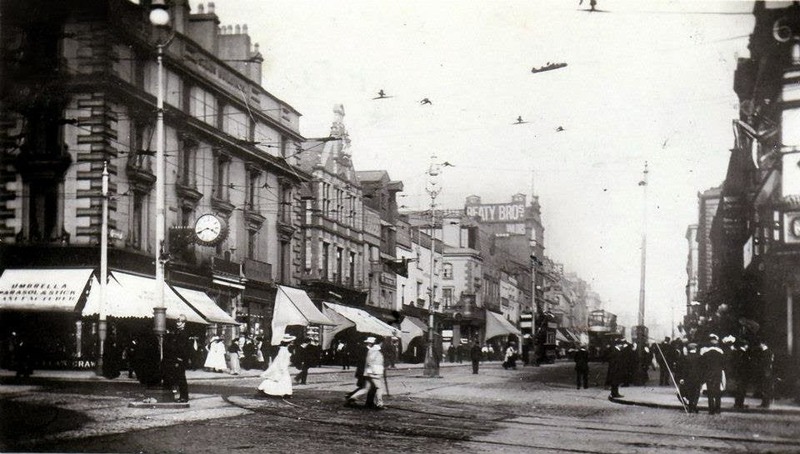 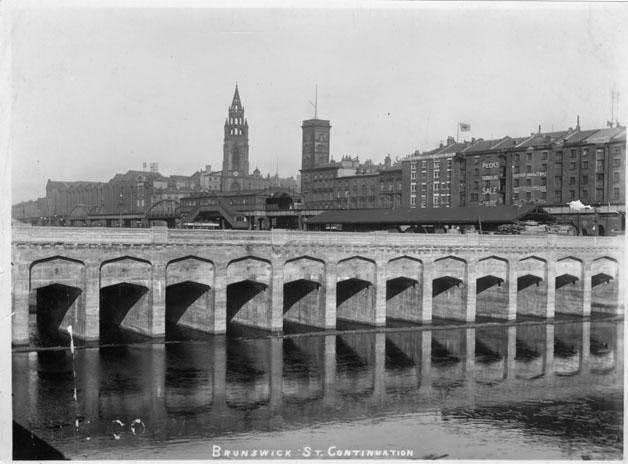 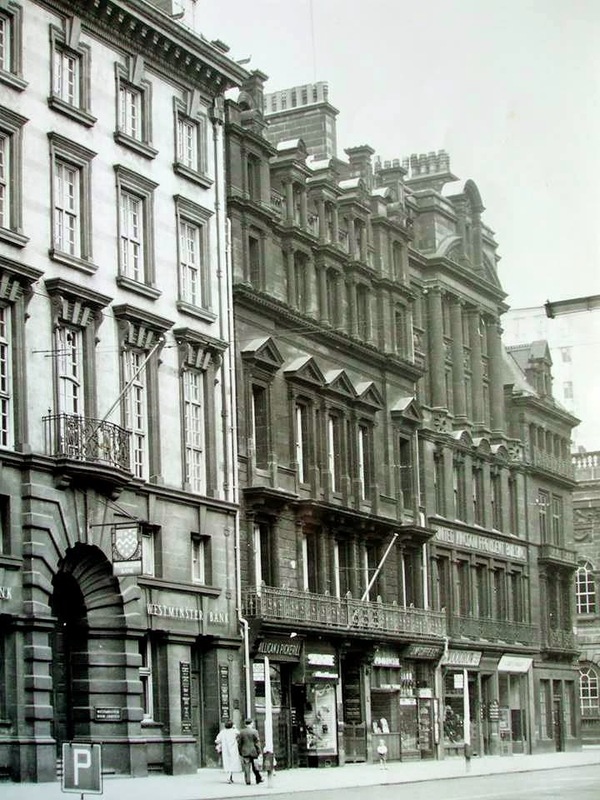 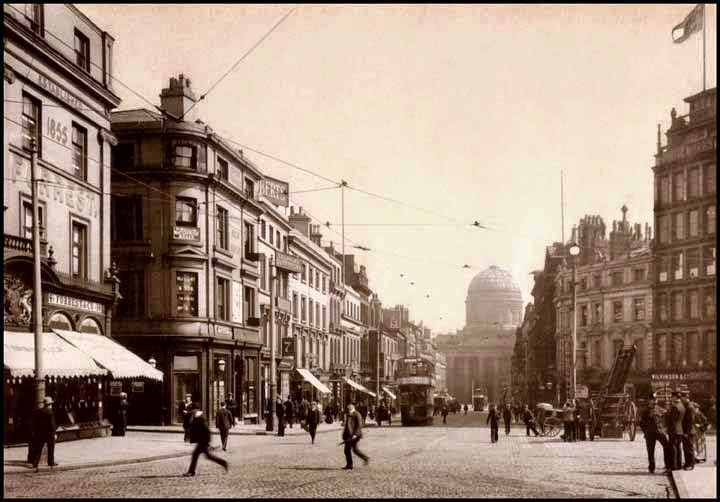 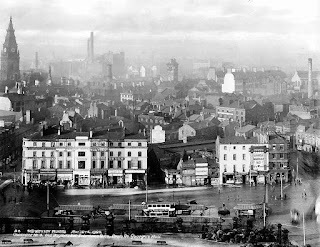 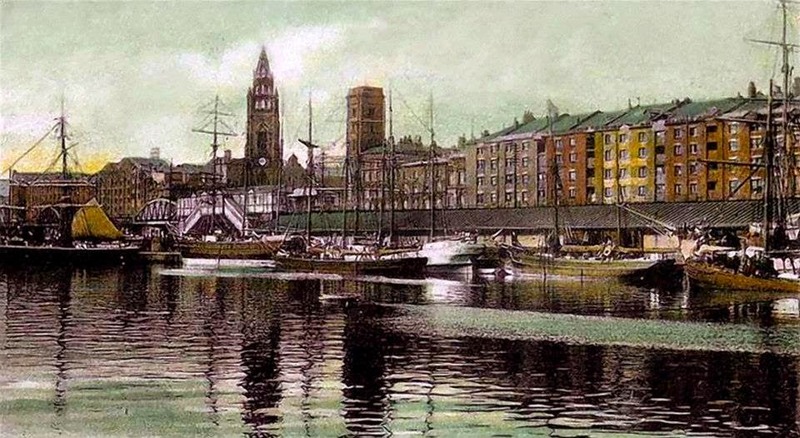 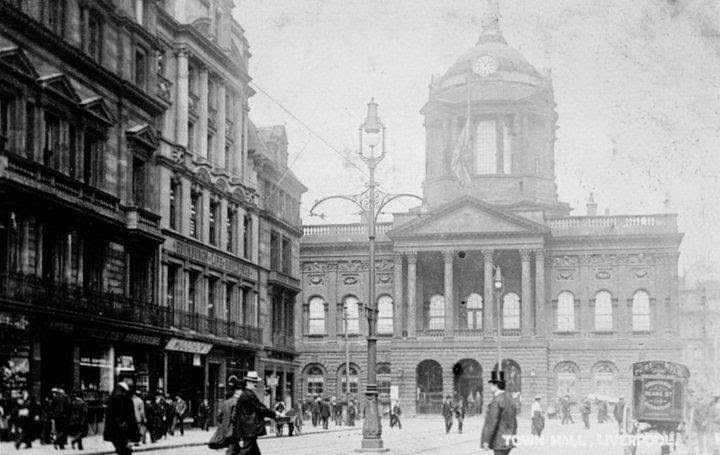 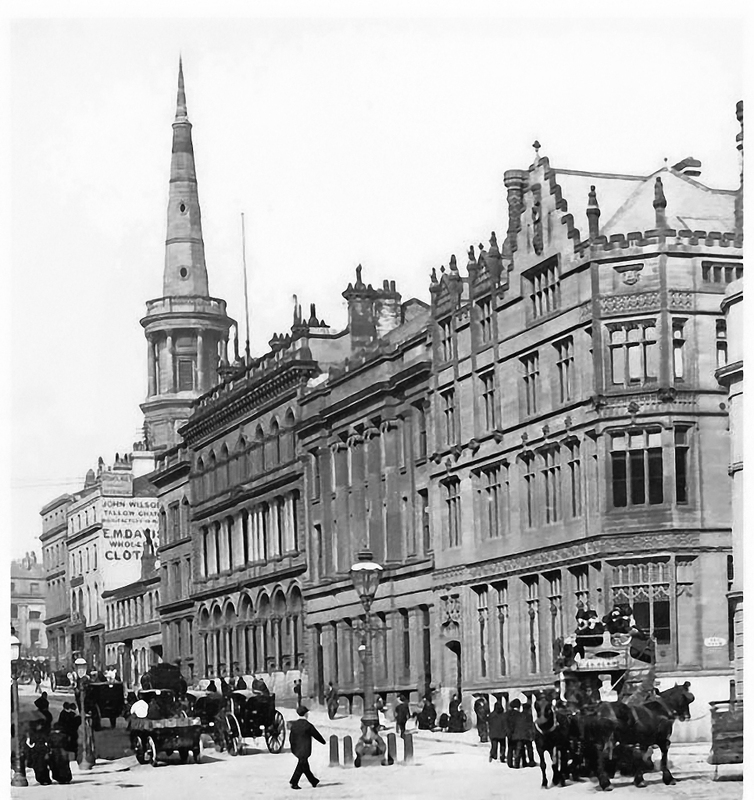 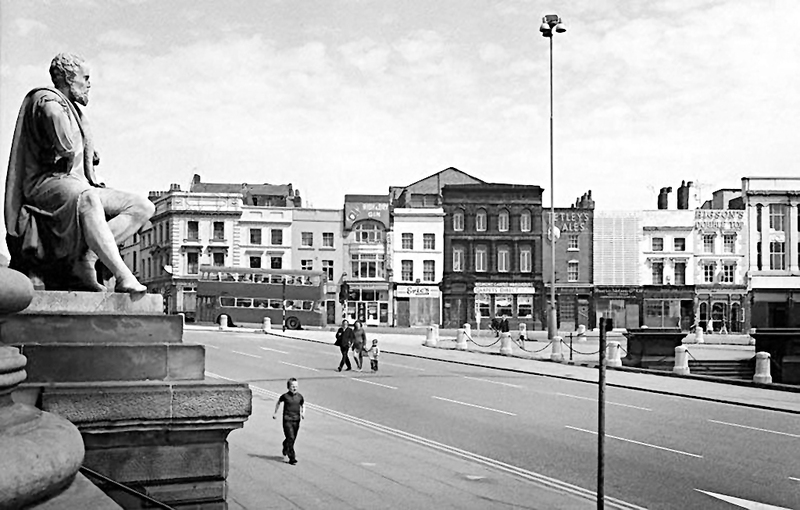 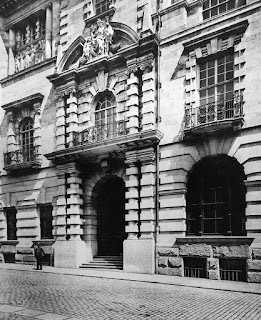 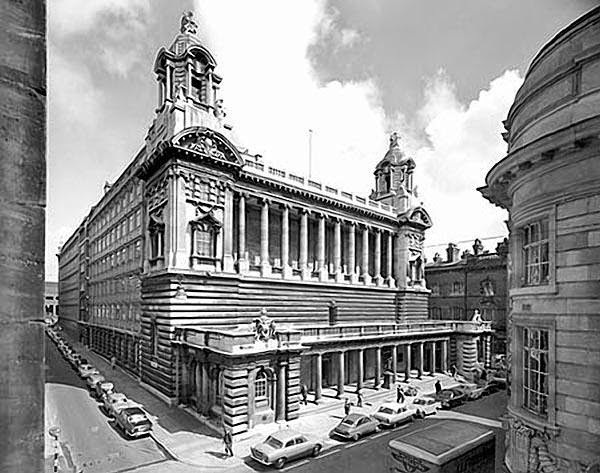 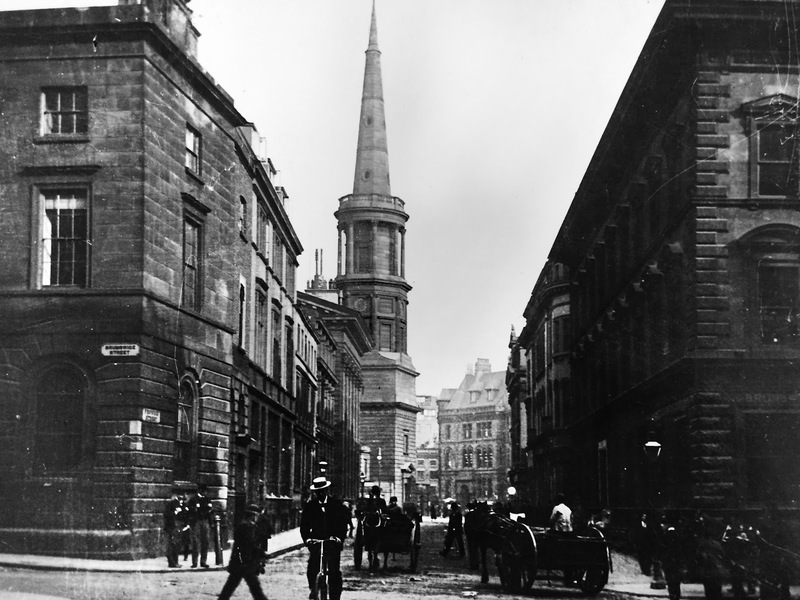 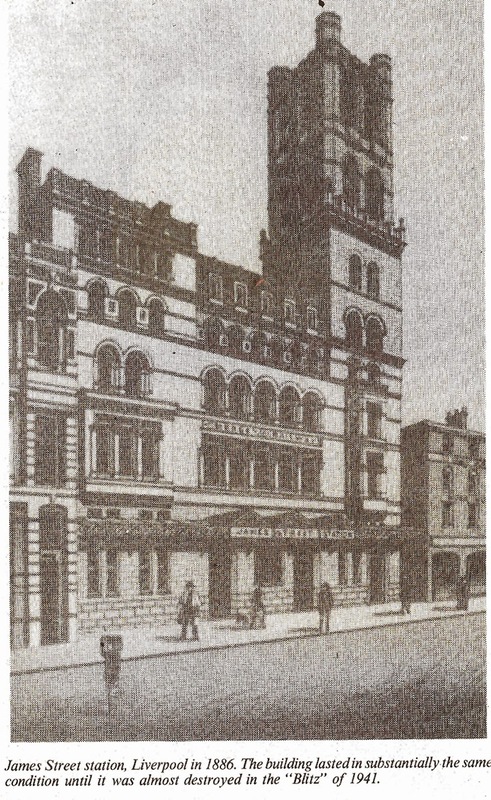 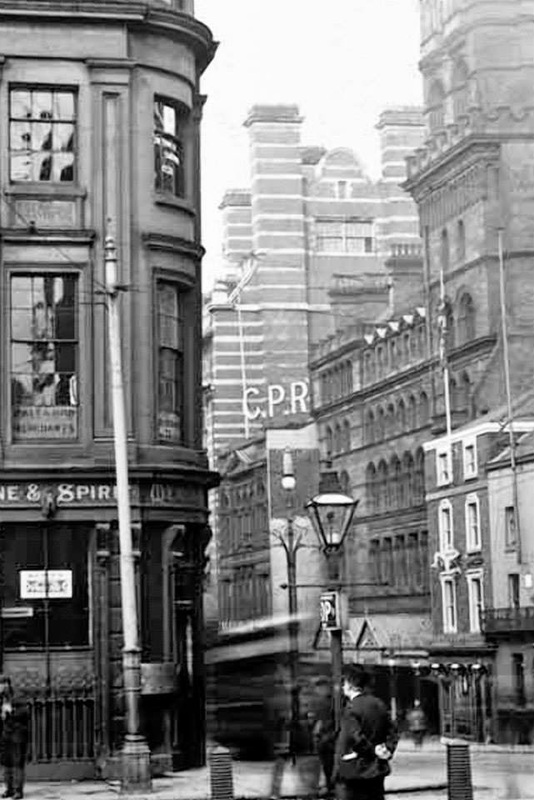 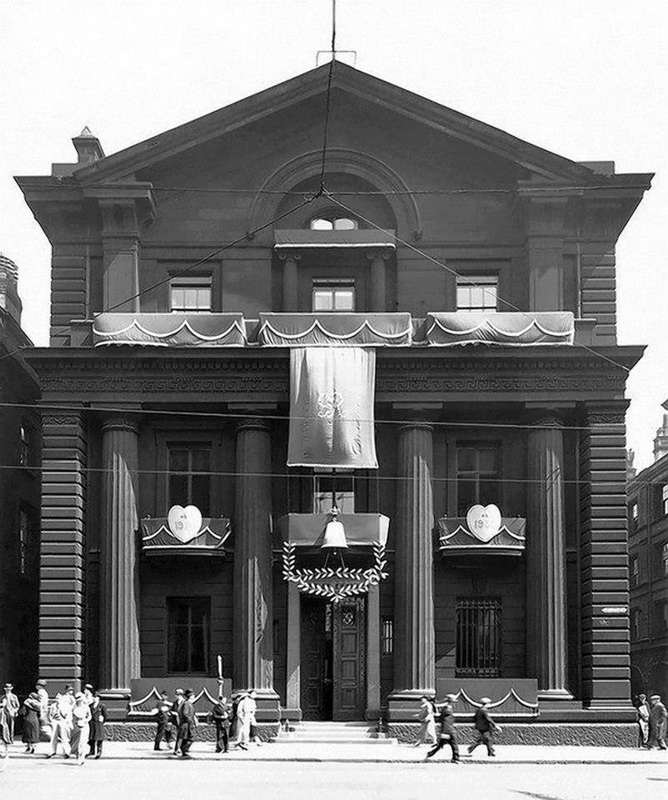 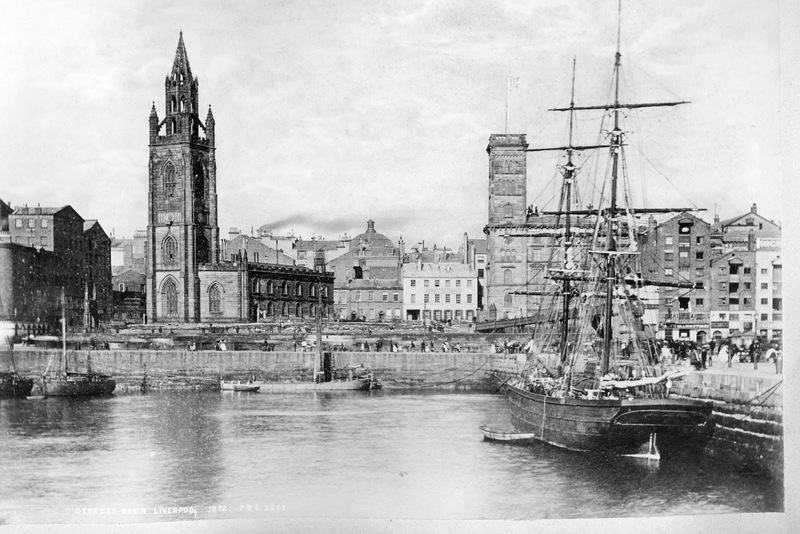 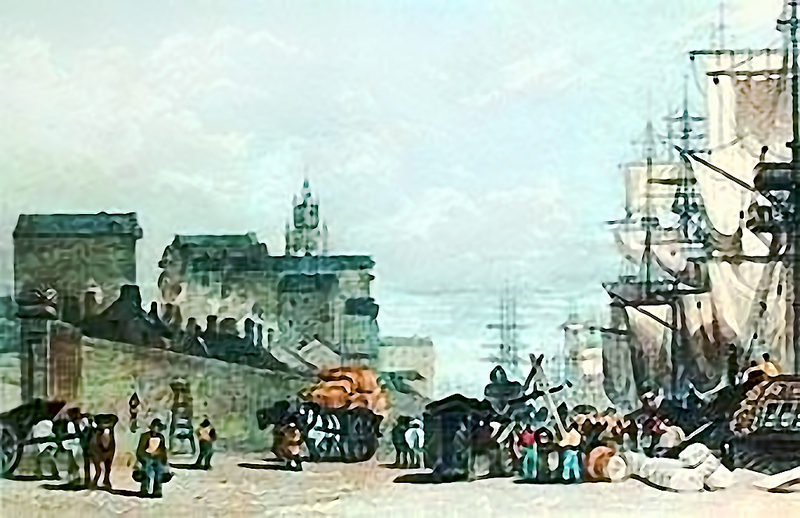 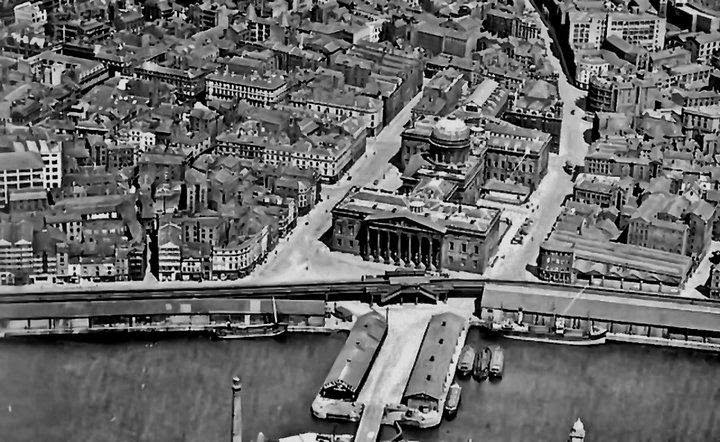 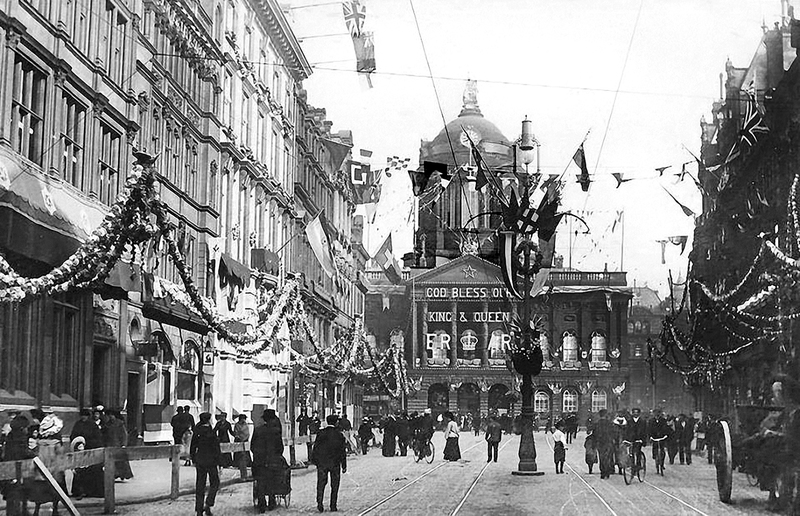 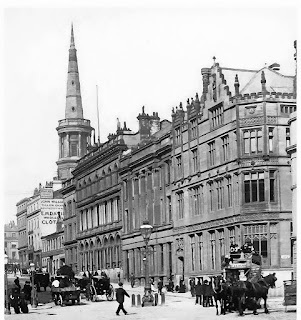 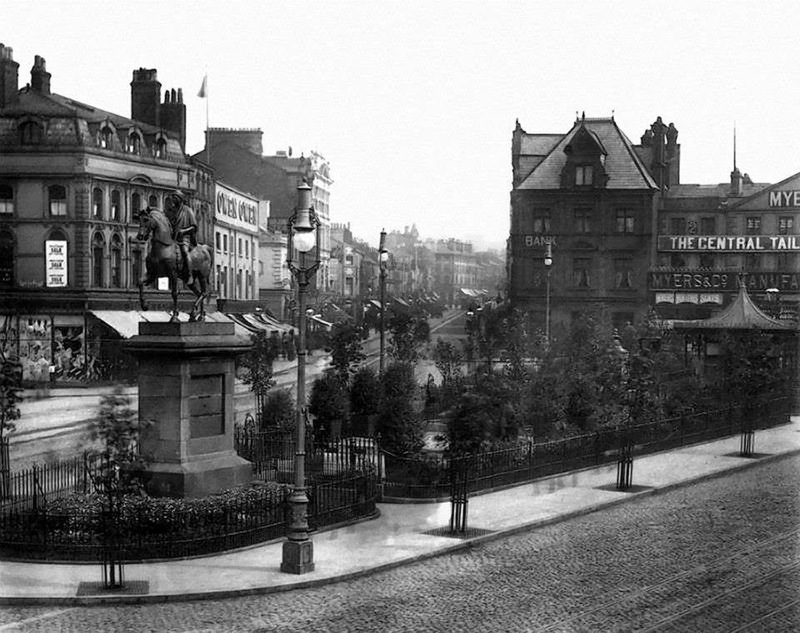 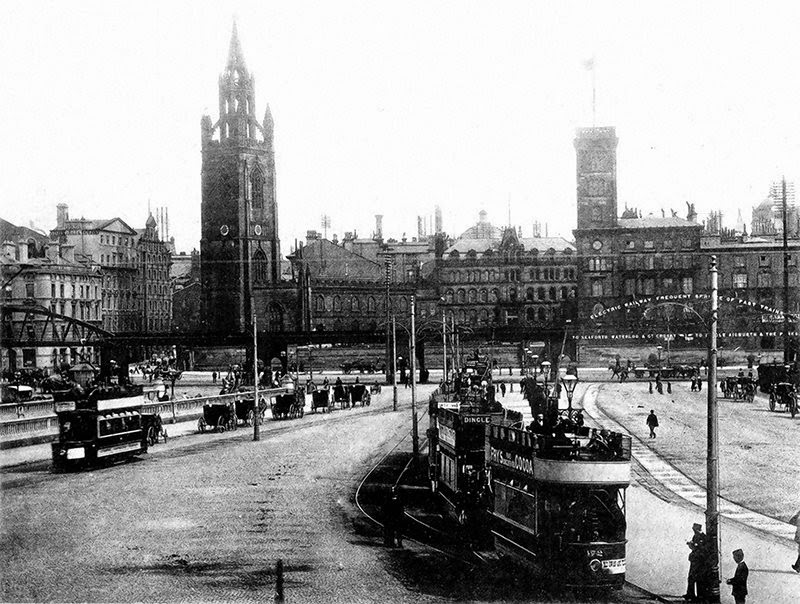 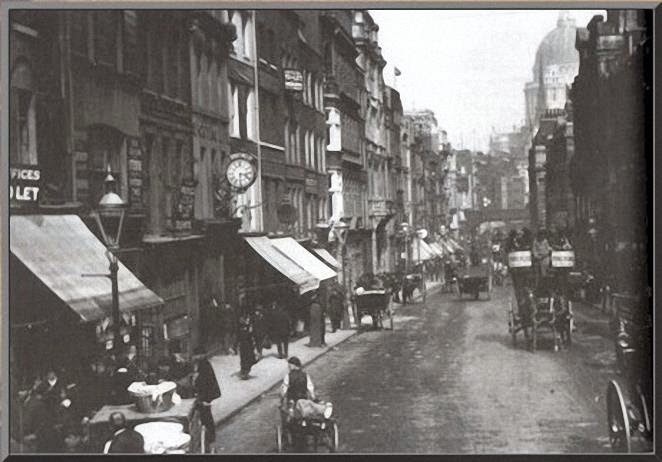 the Bank opened in 1848.
just in view bottom right. 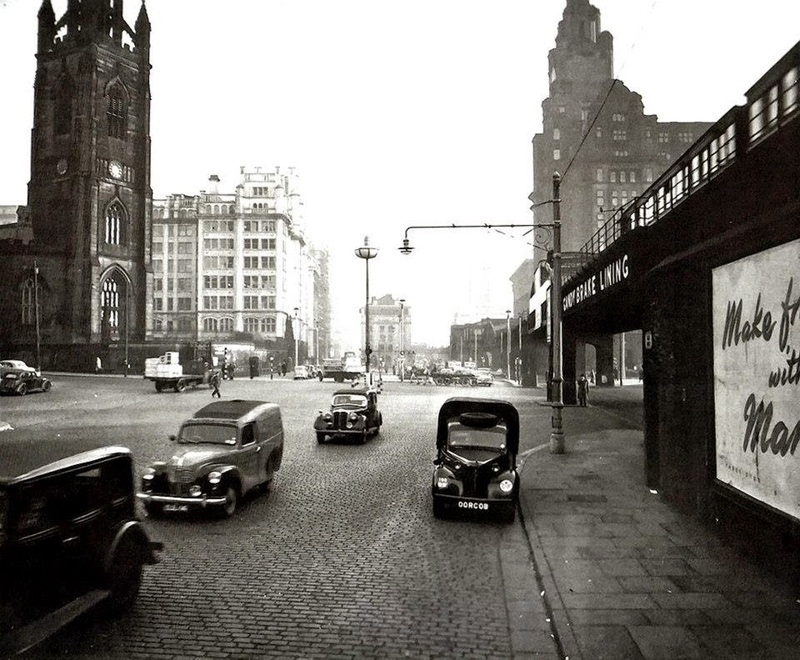 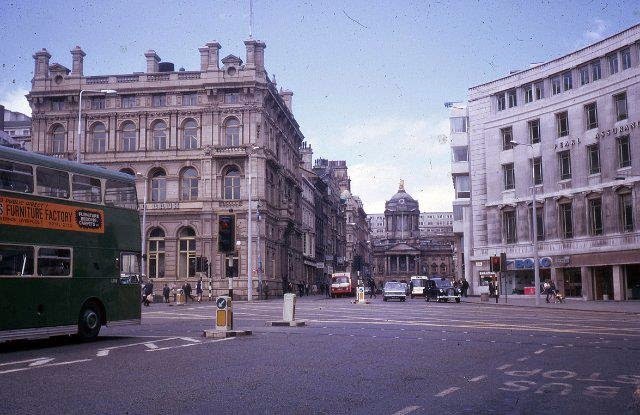 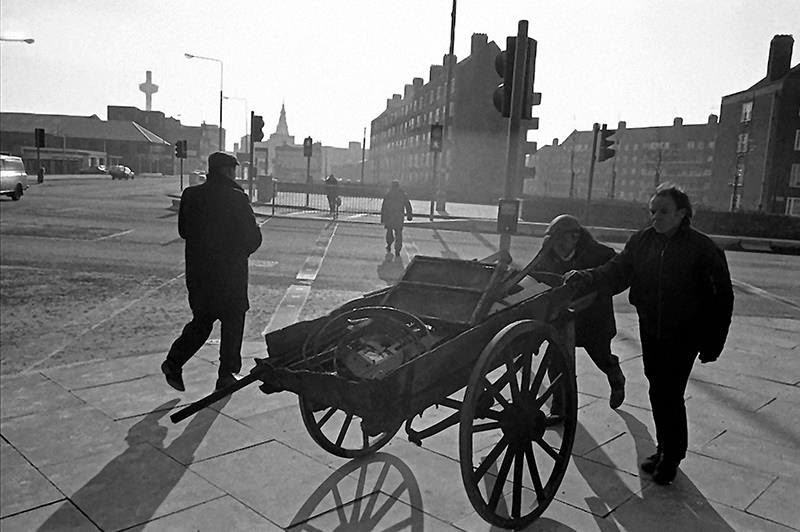 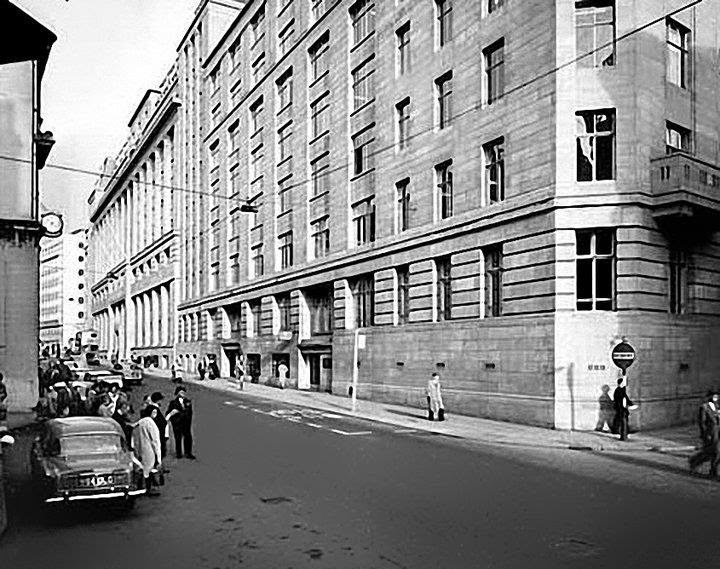 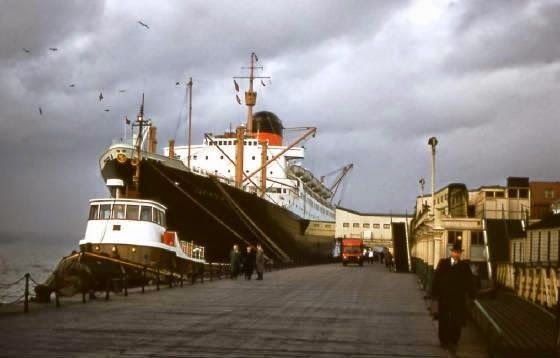 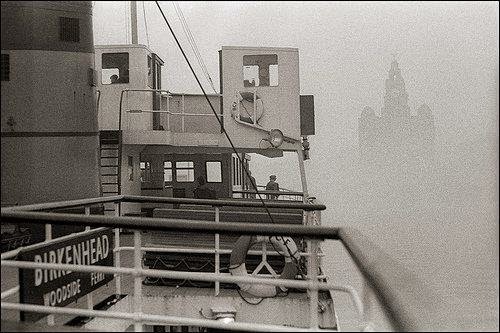 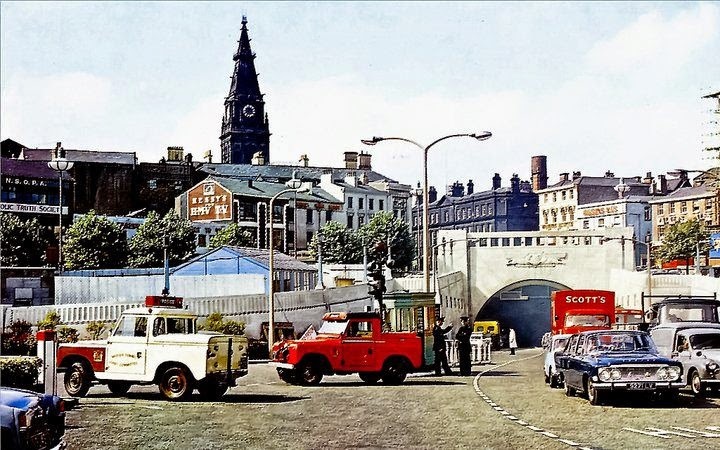 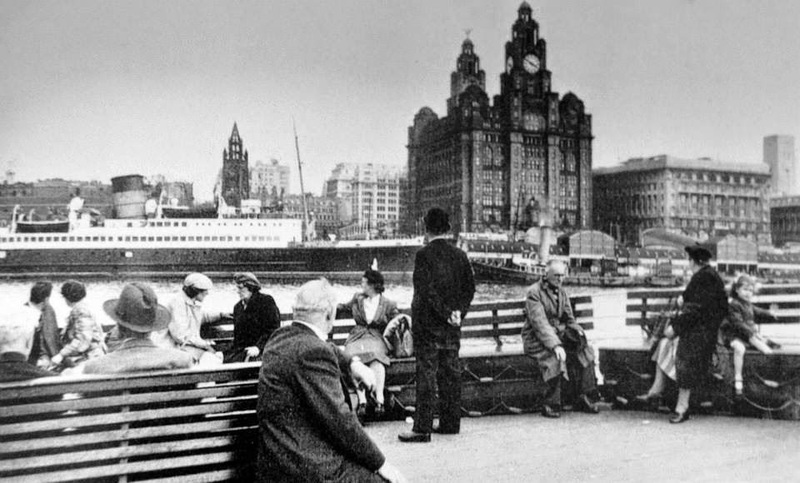 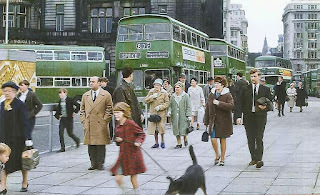 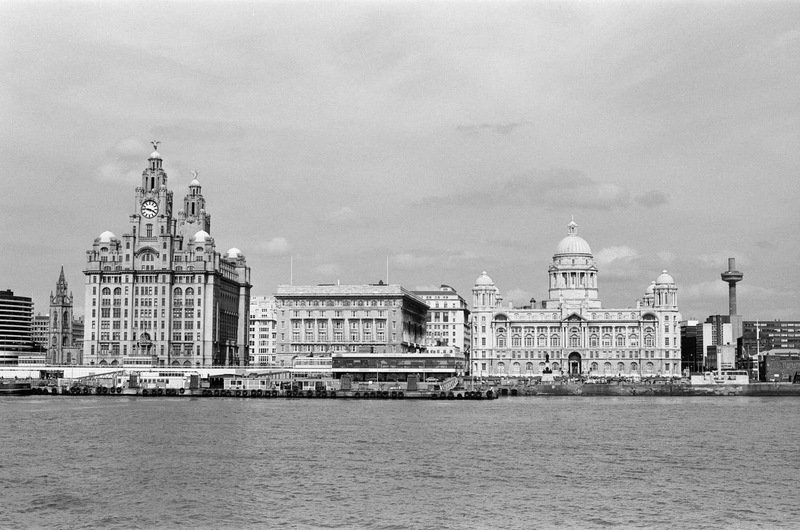 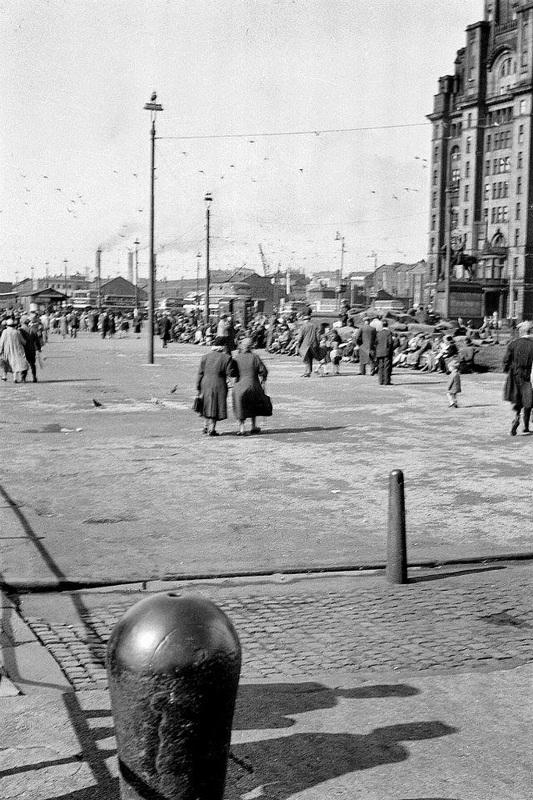 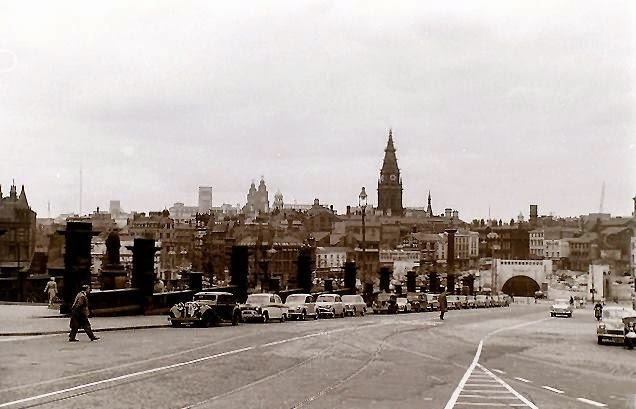 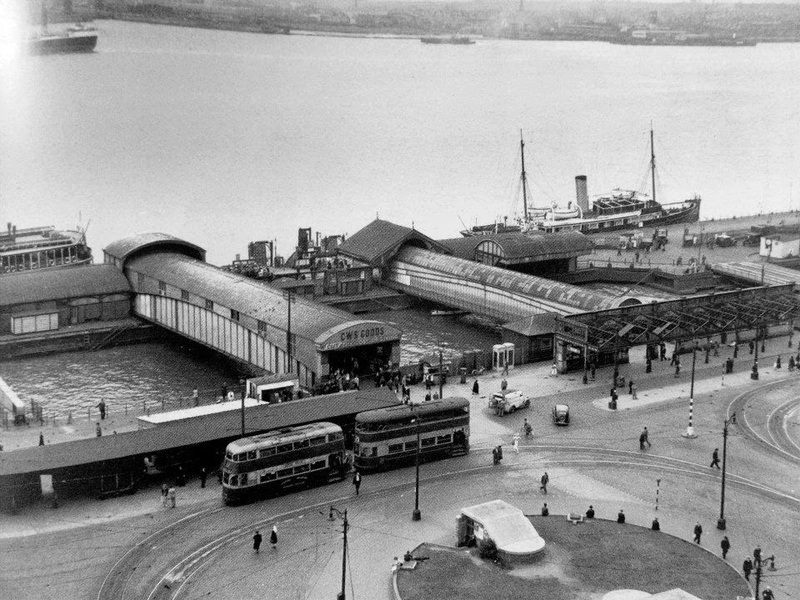 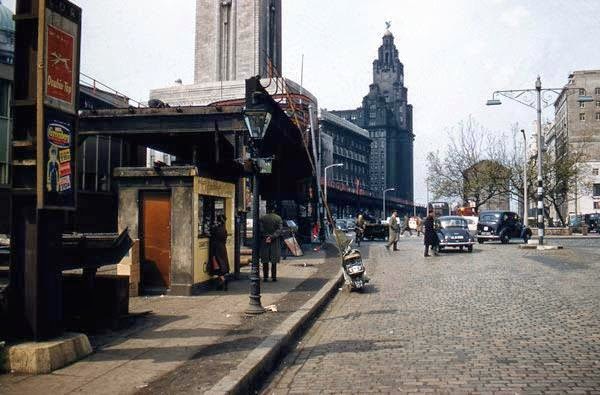 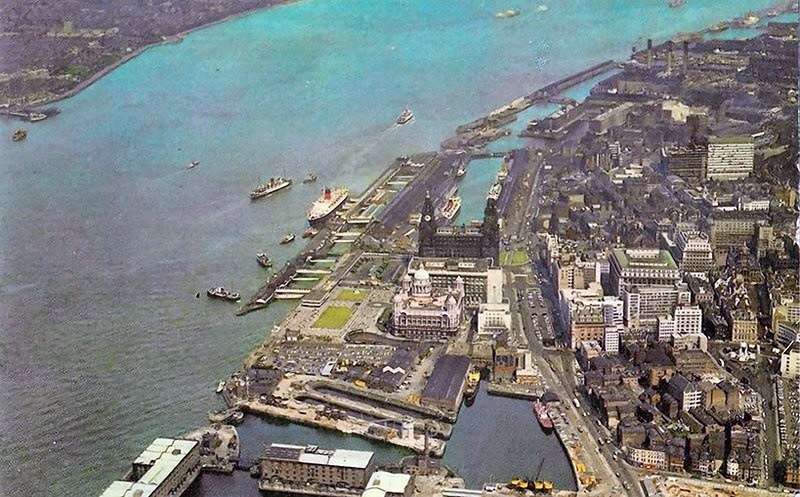 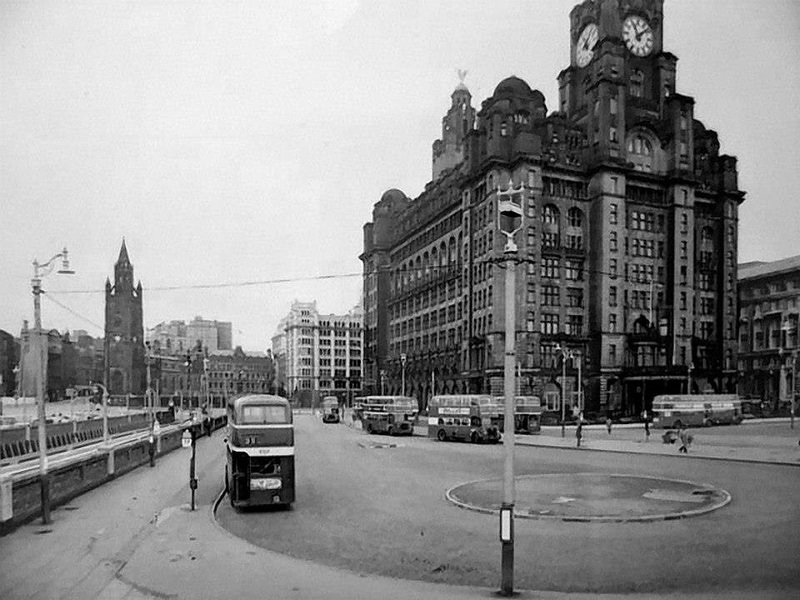 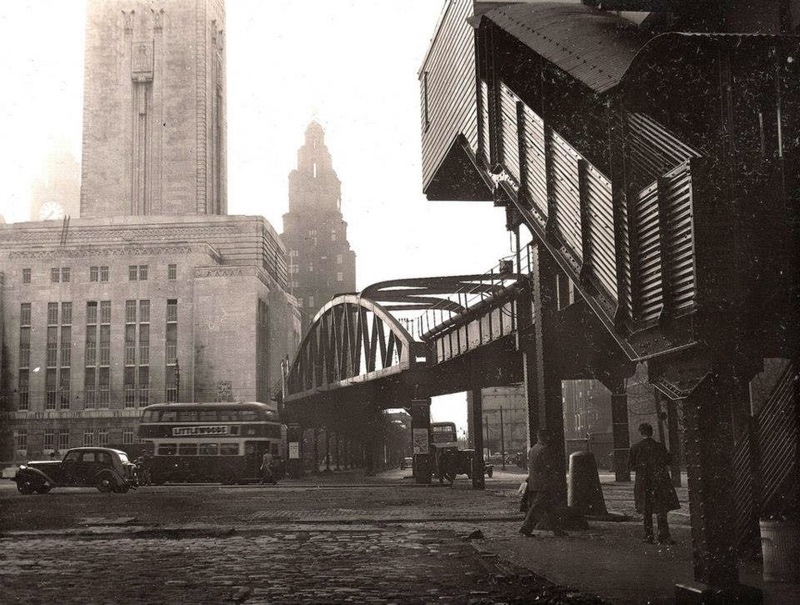 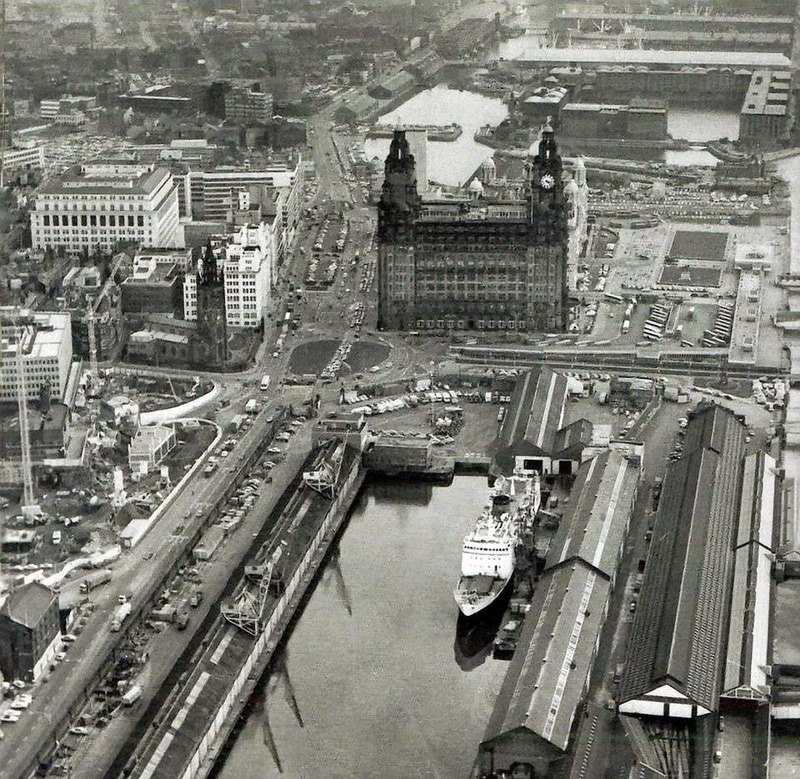 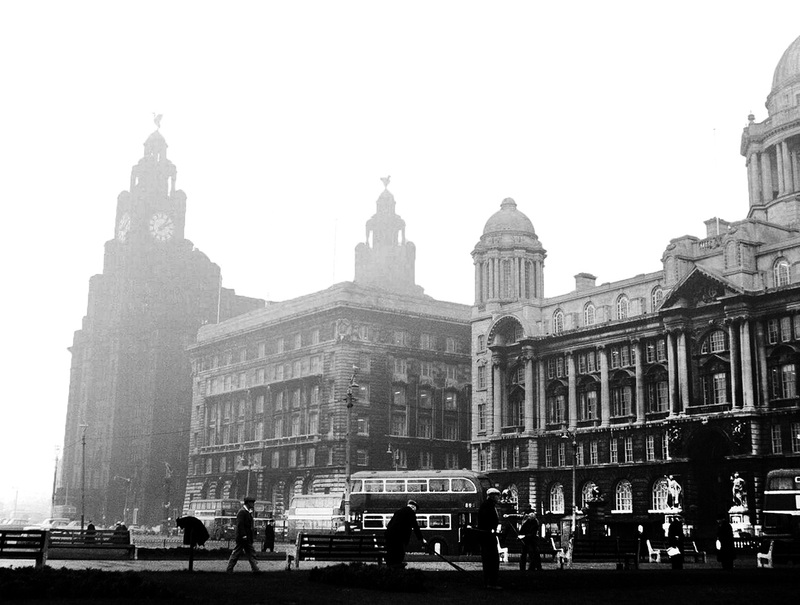 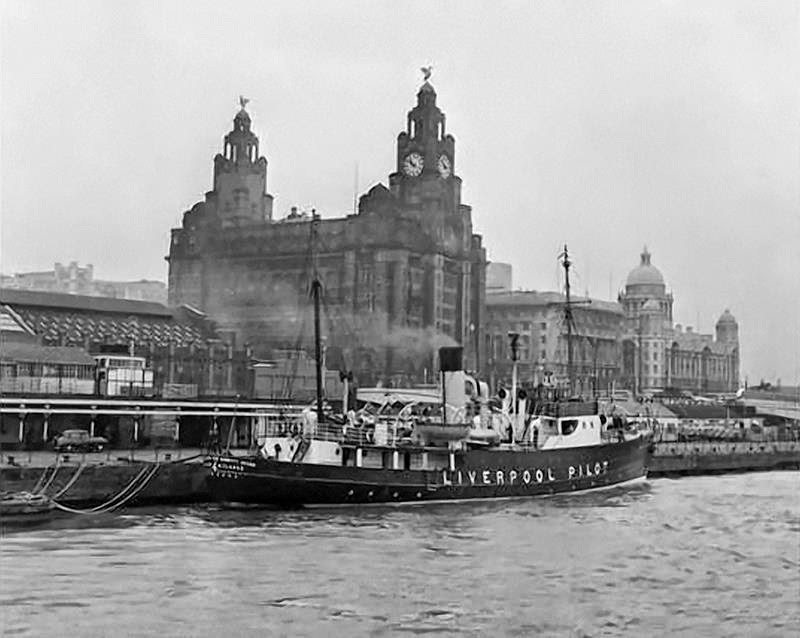 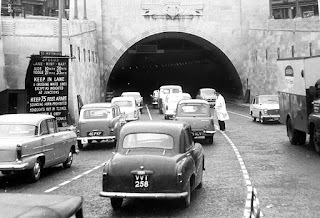 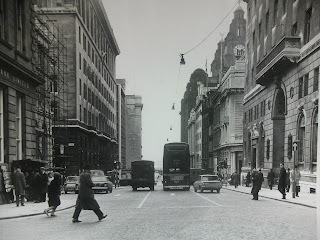 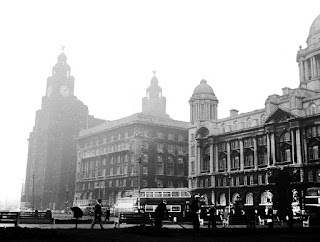 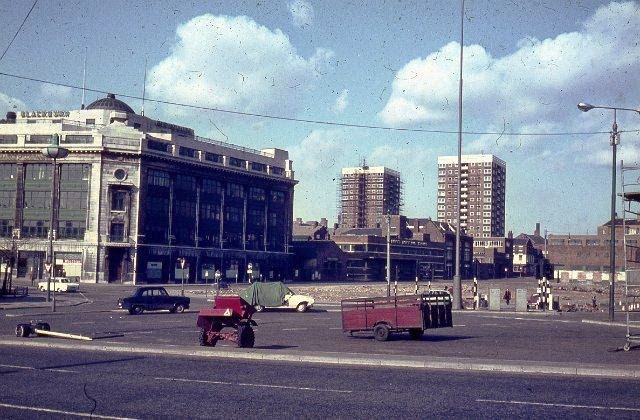 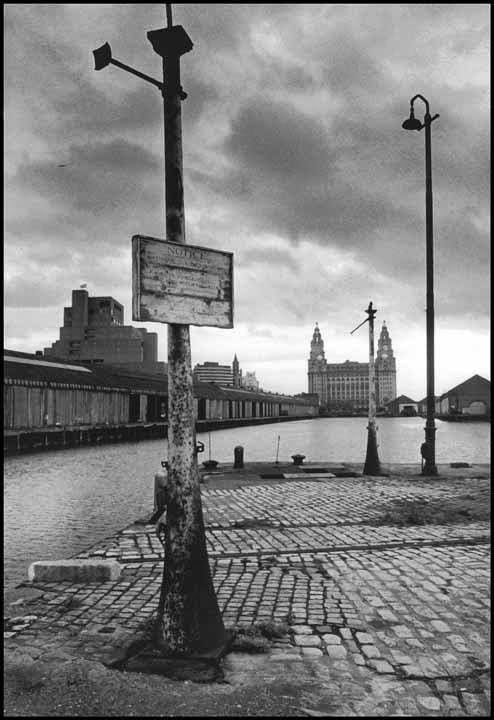 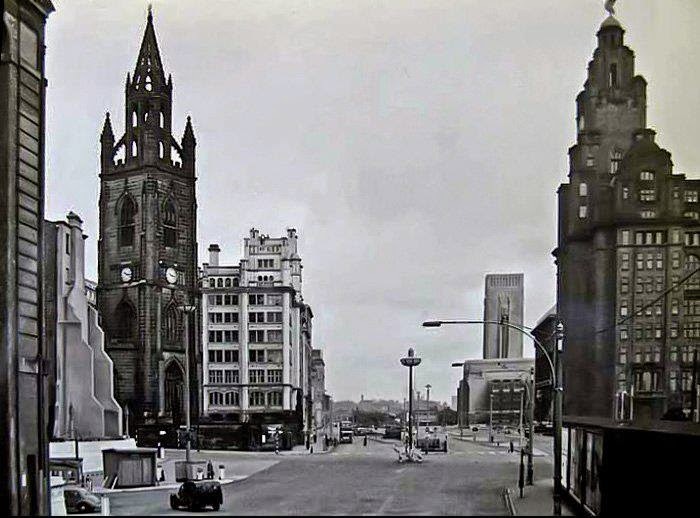 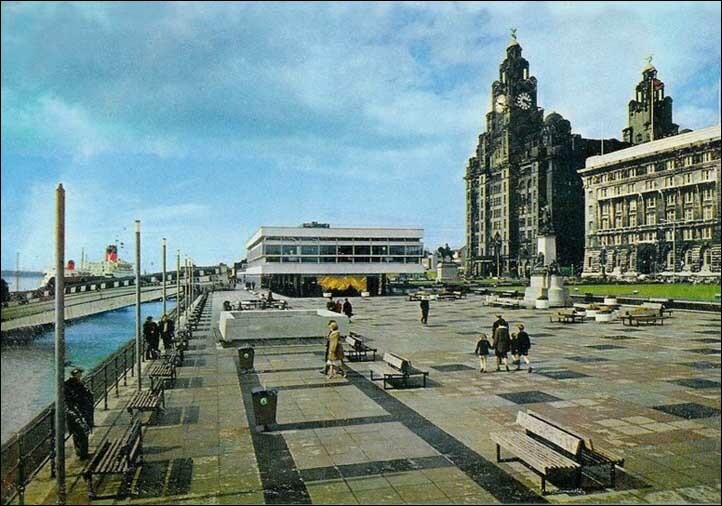 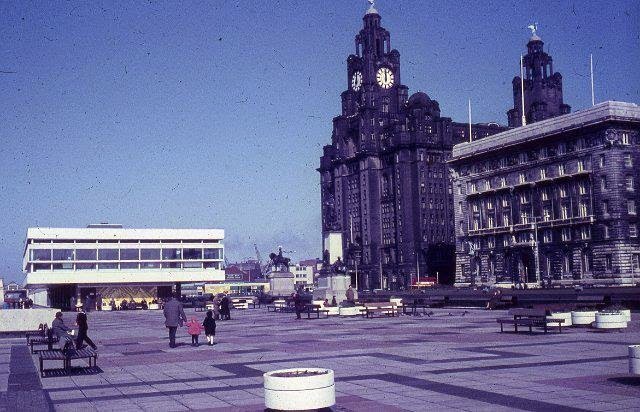 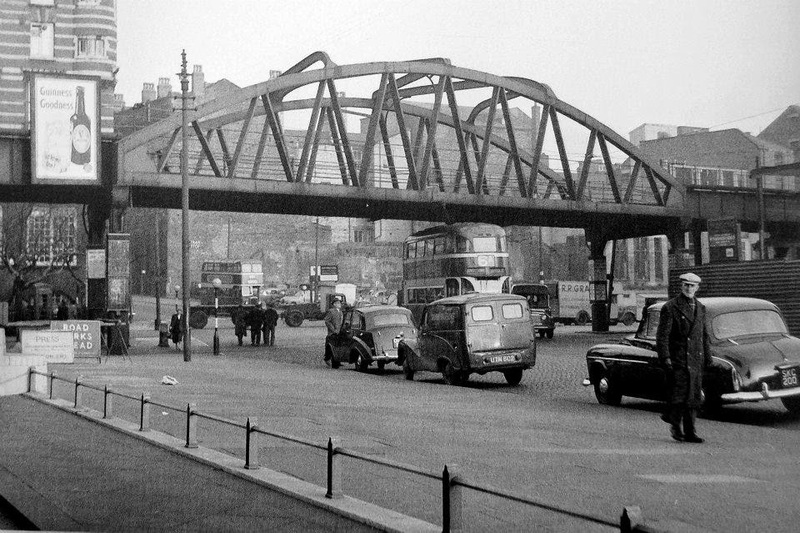 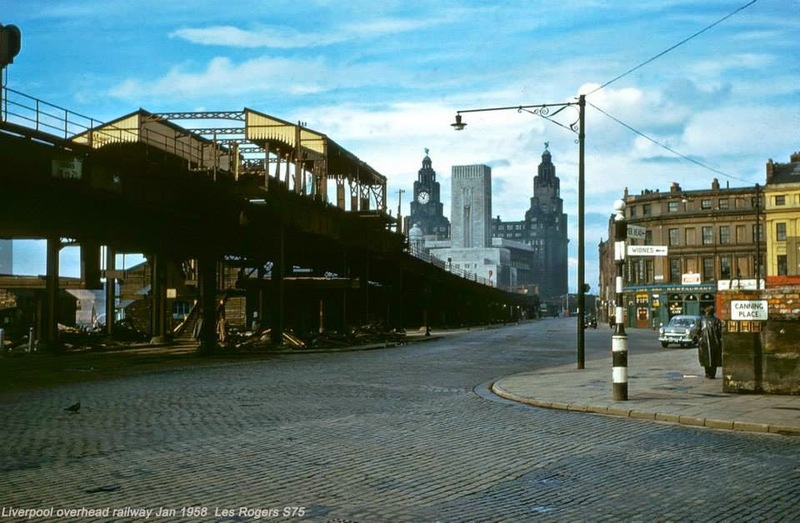 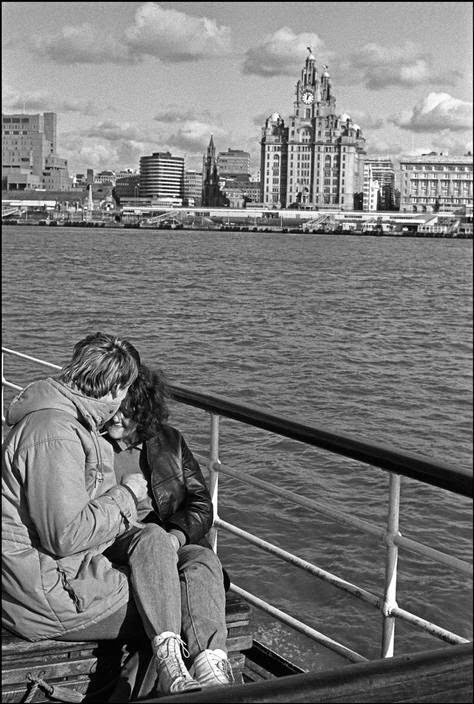 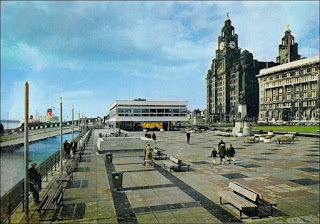 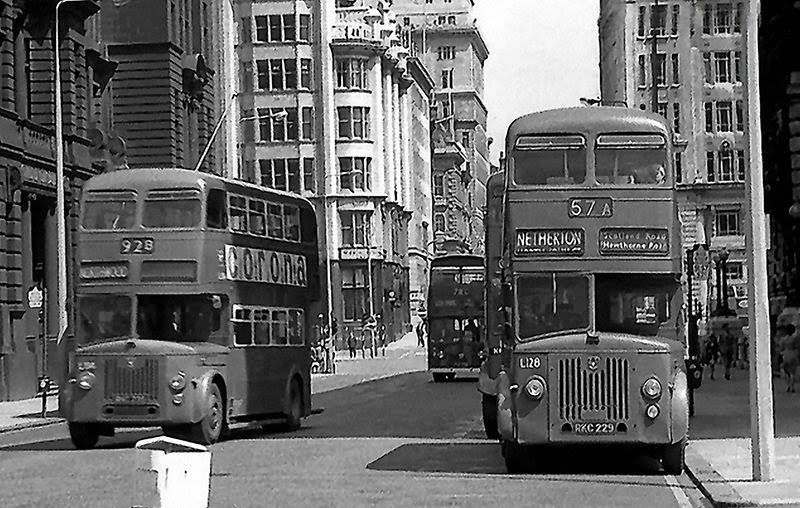 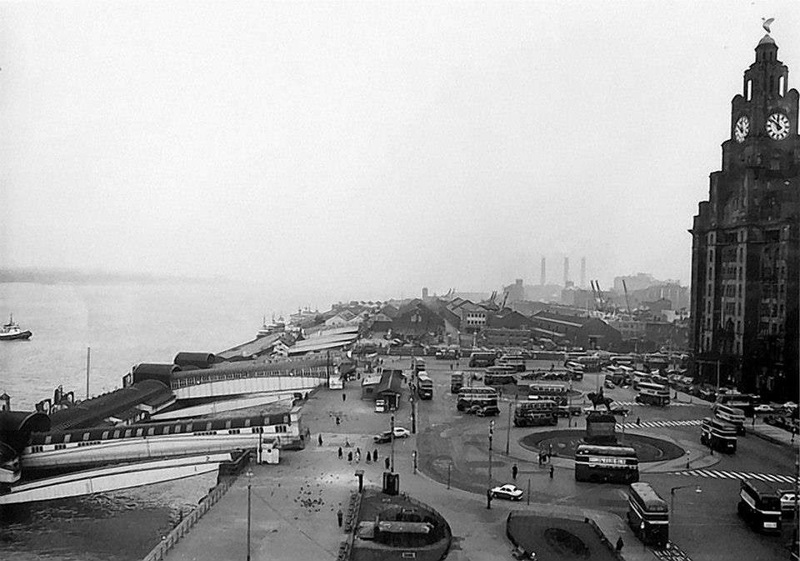 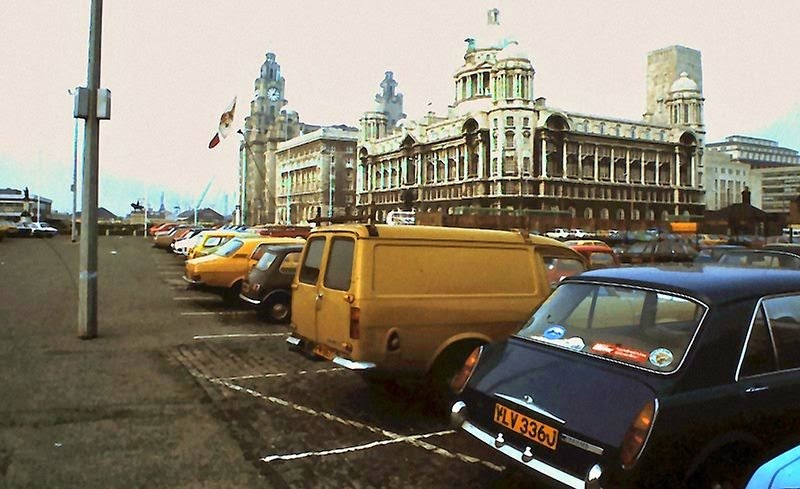 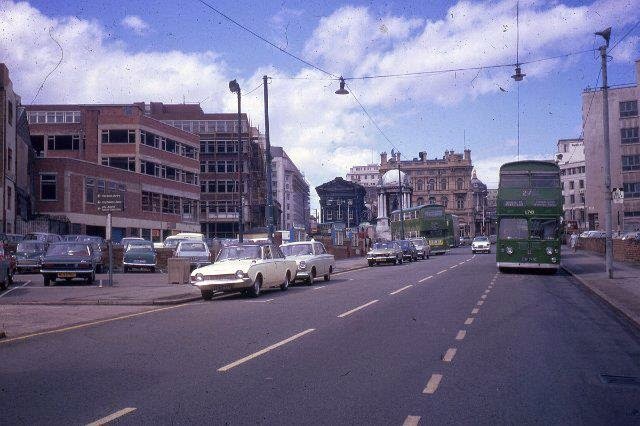 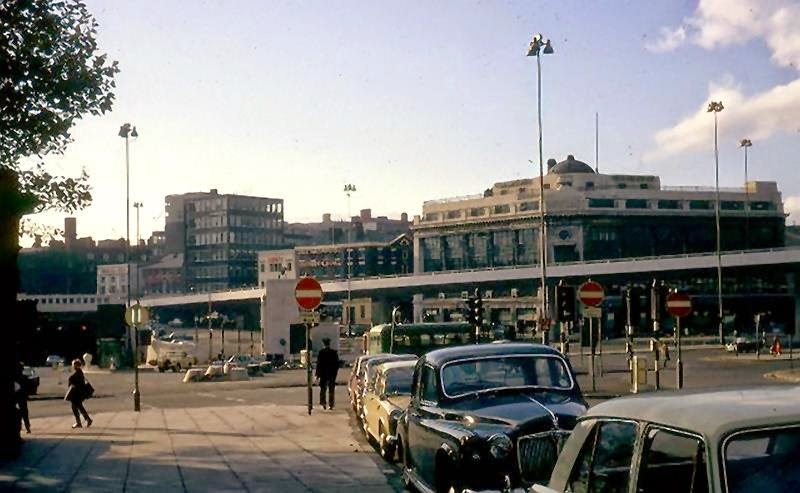 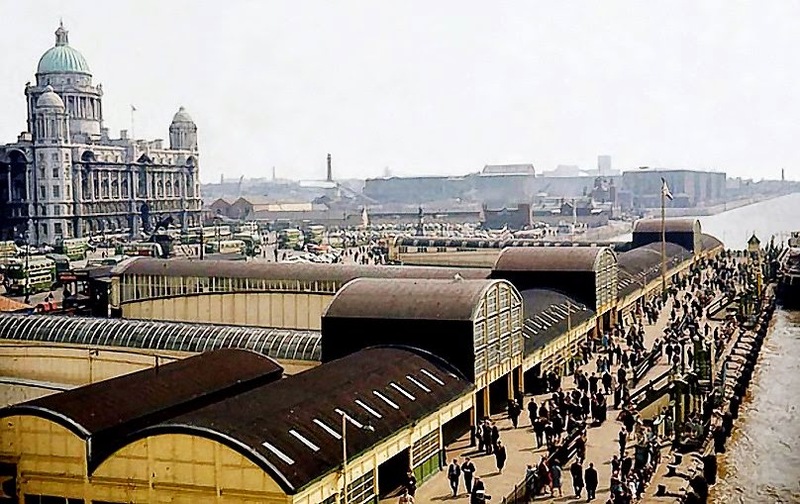 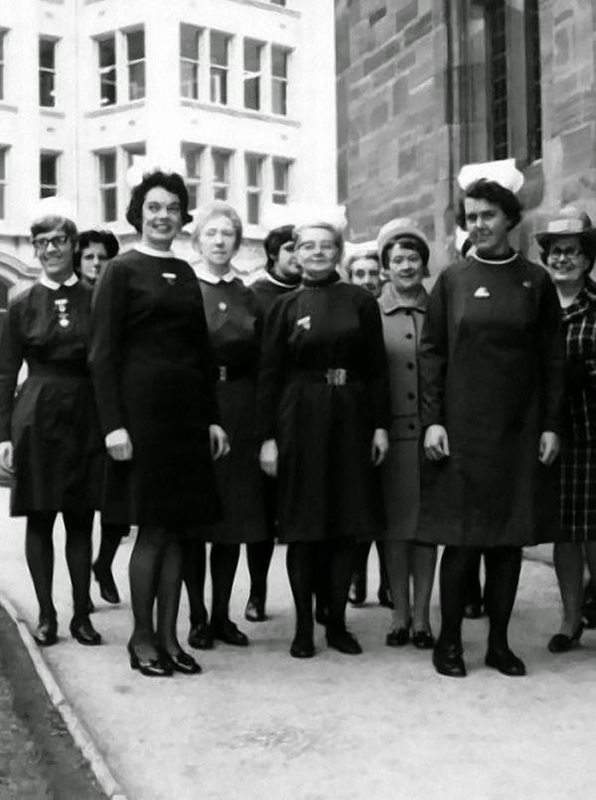 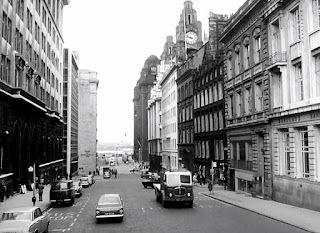 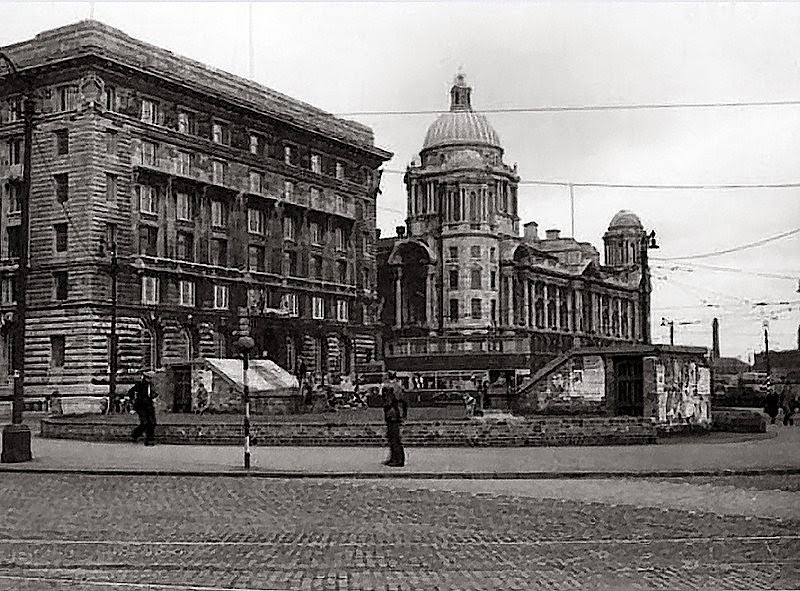 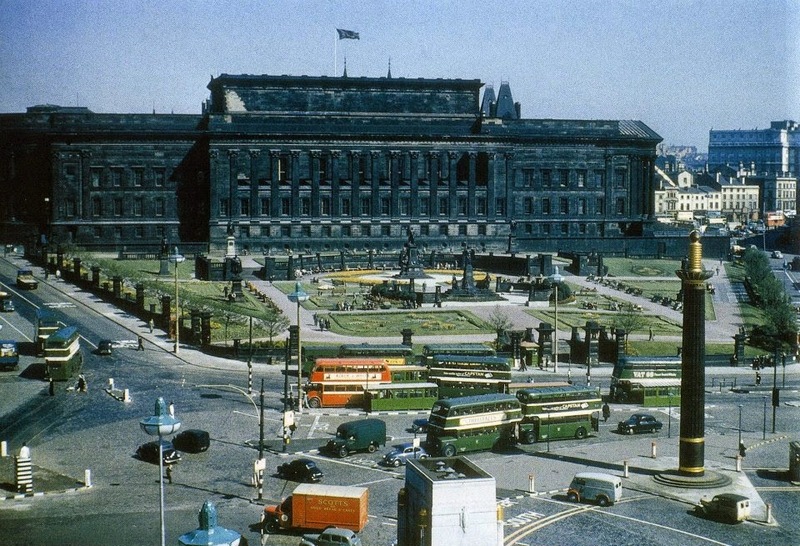 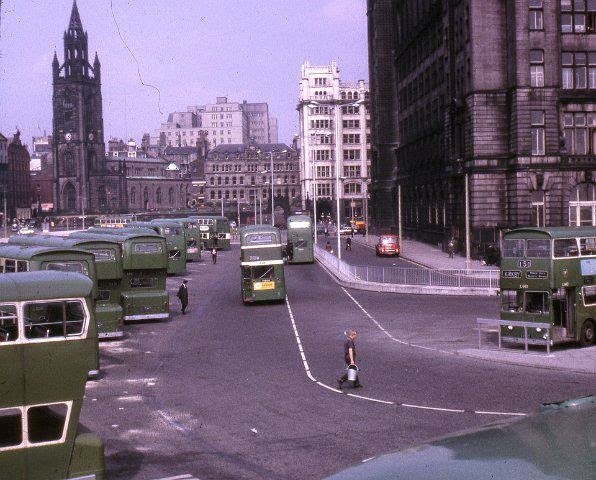 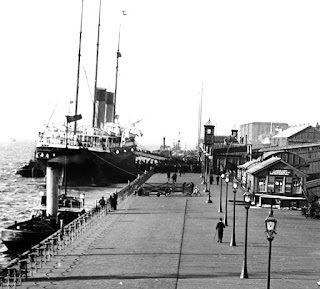 Pier Head circa 1960s, photograph Johnny Lockhart. 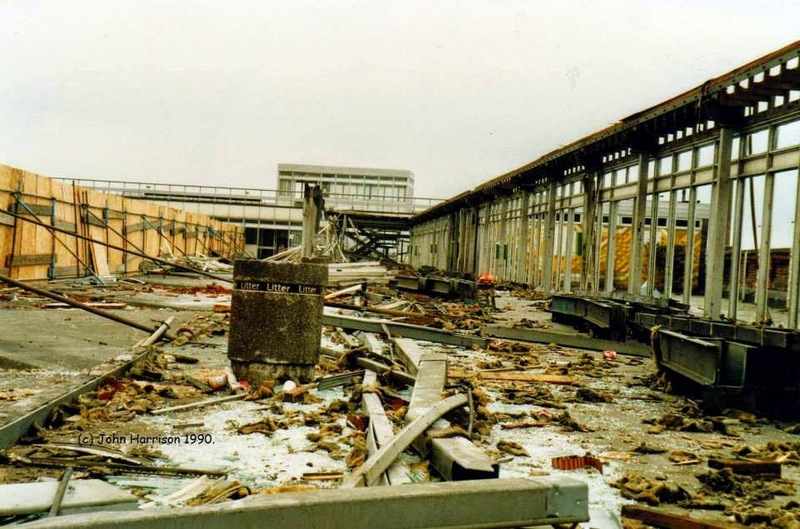 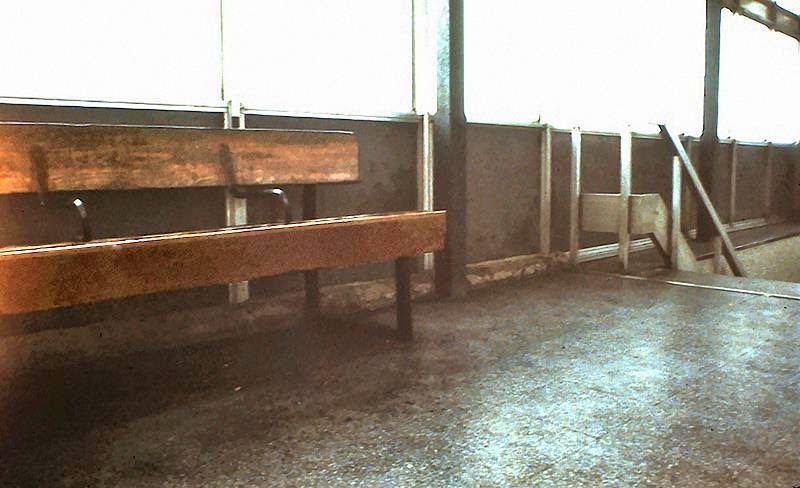 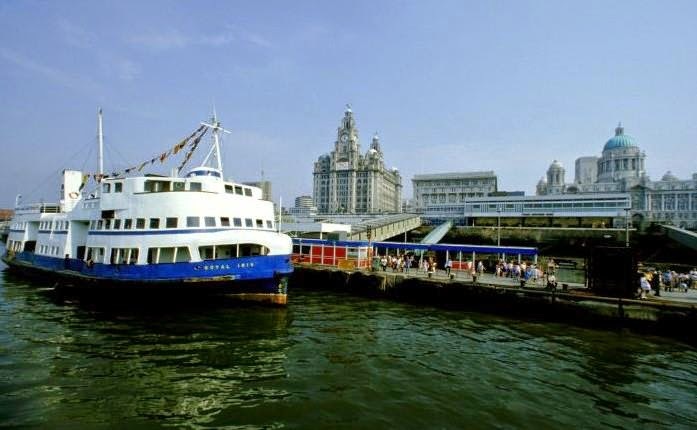 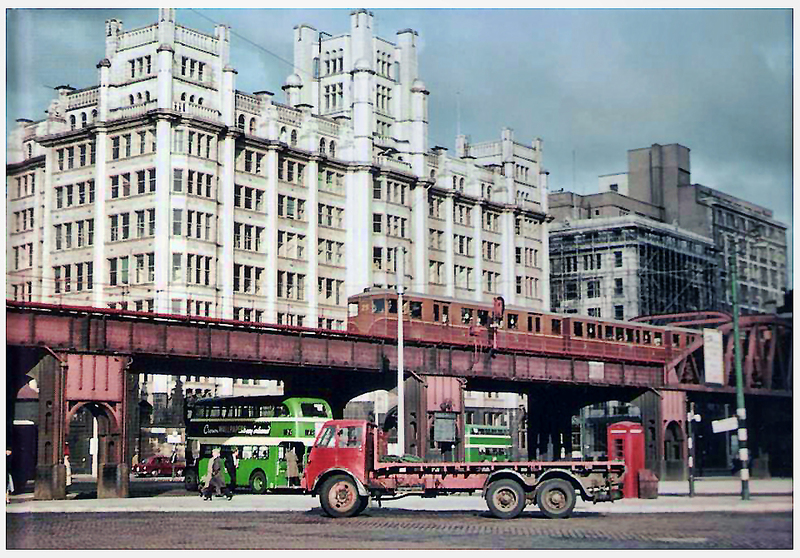 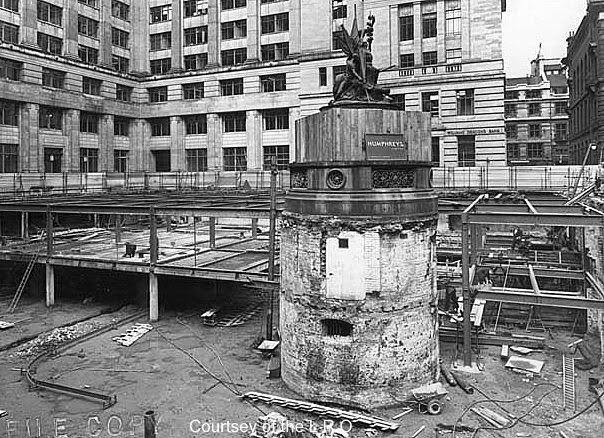 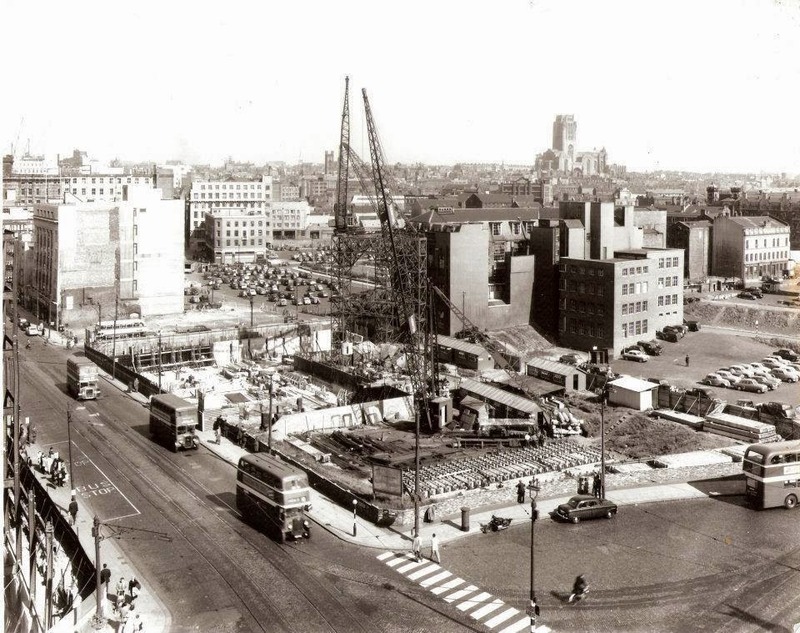 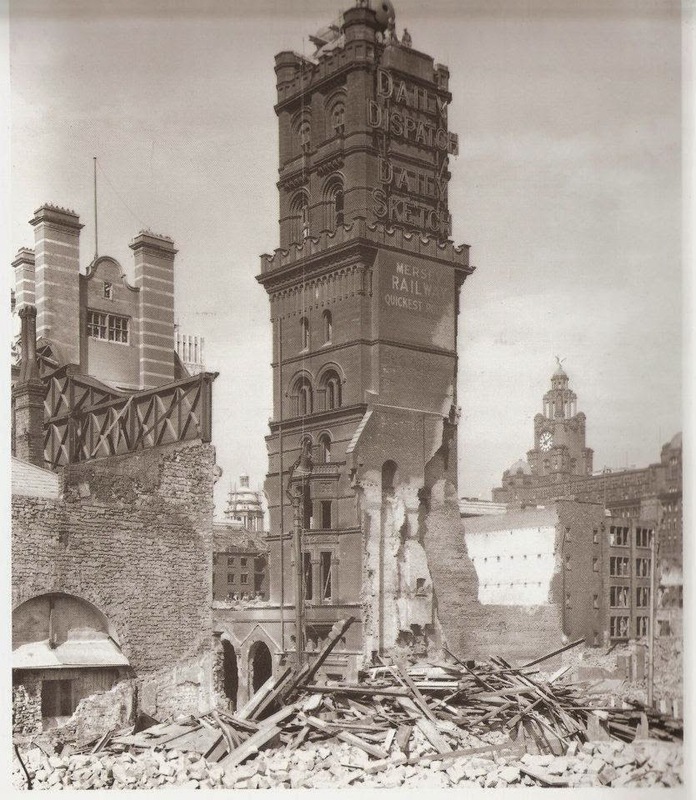 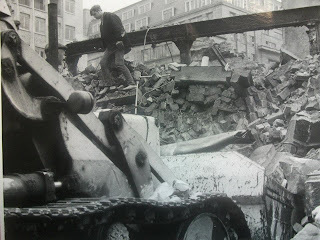 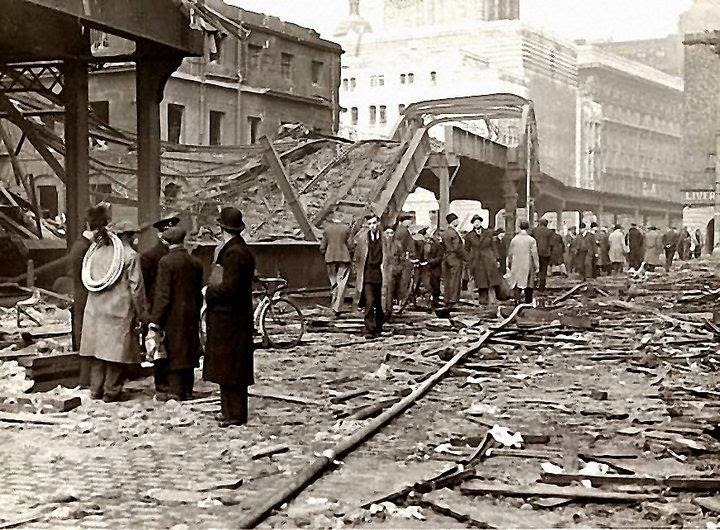 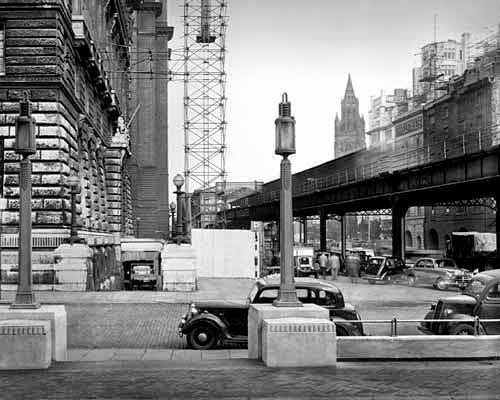 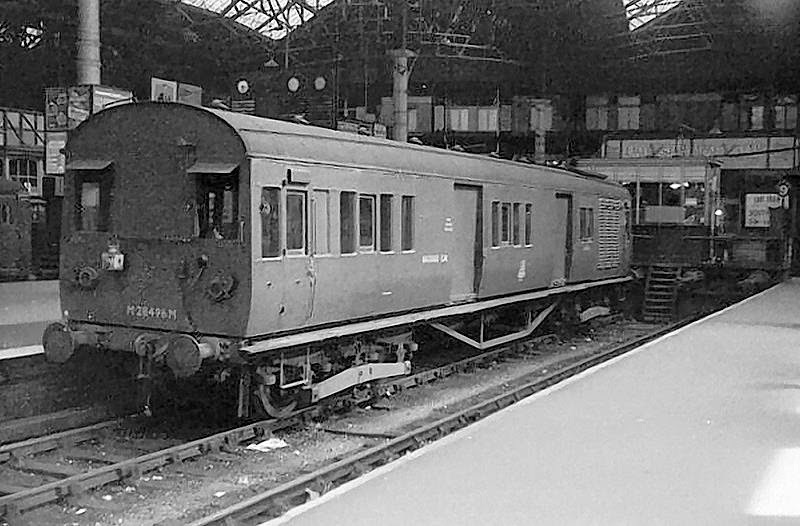 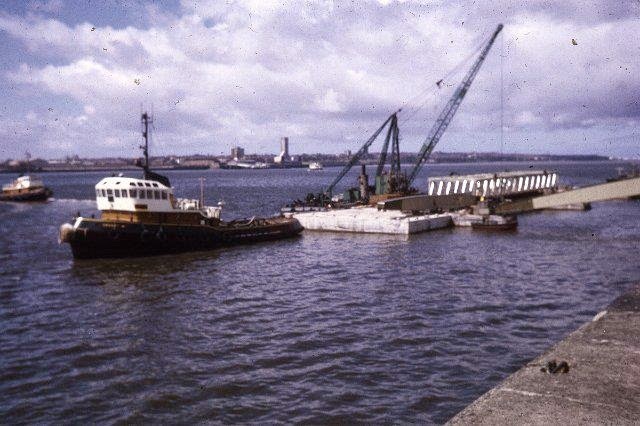 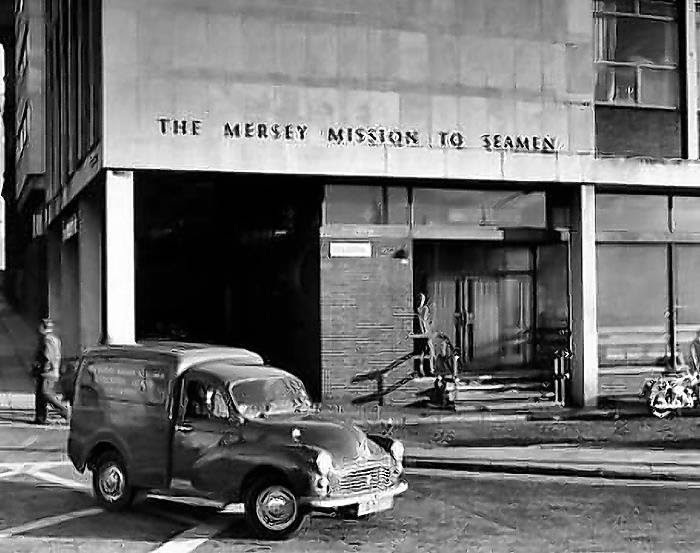 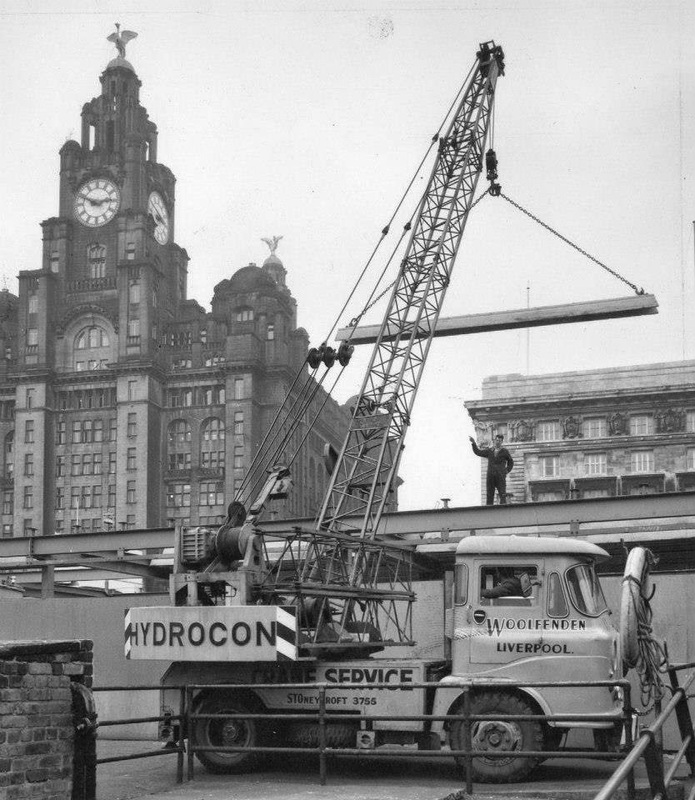 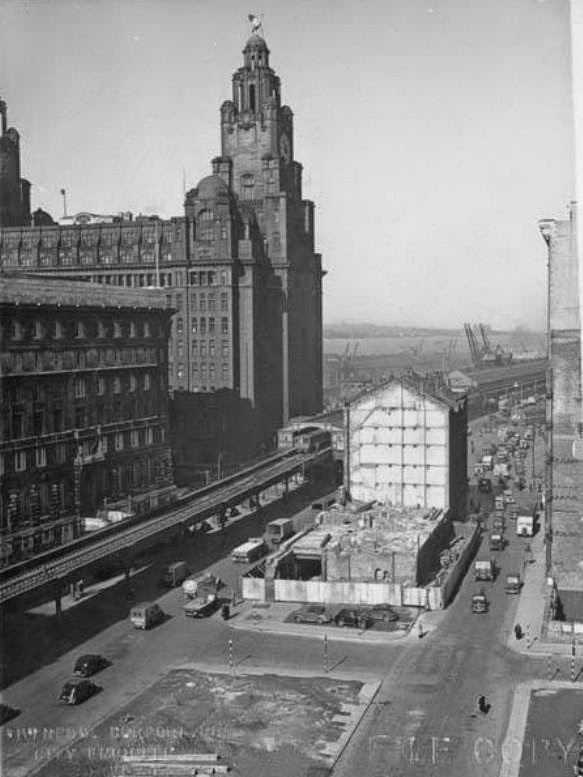 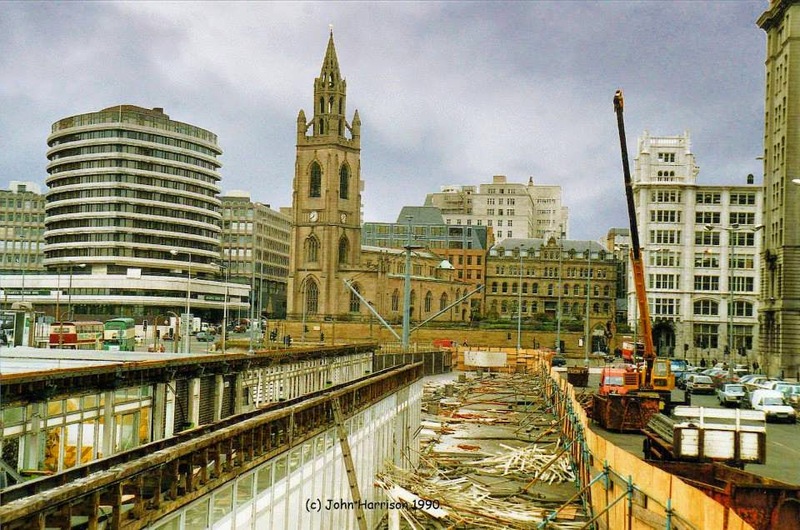 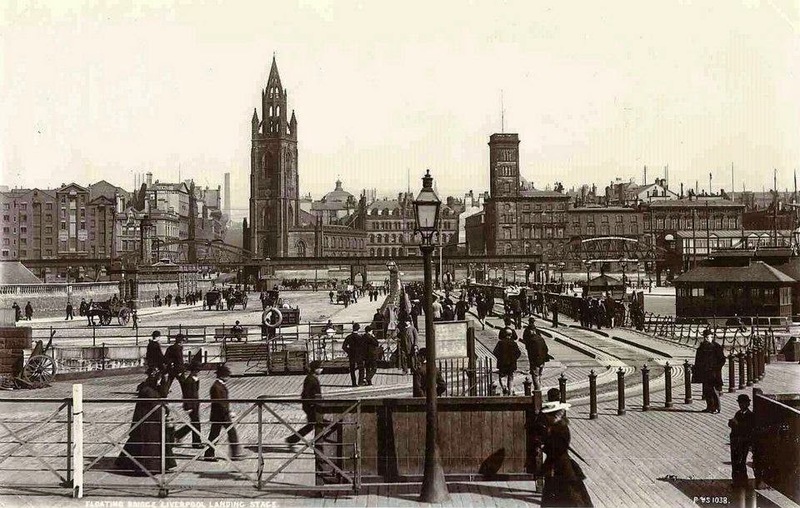 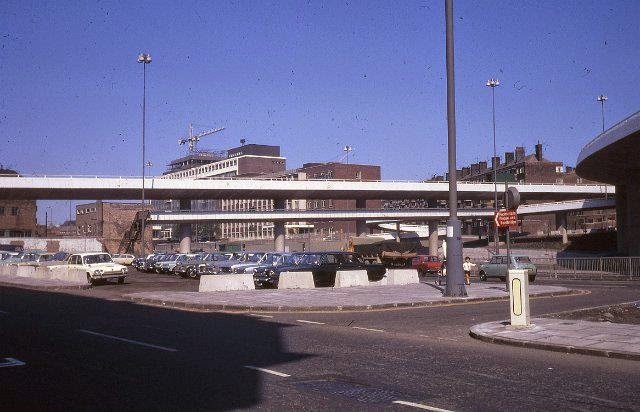 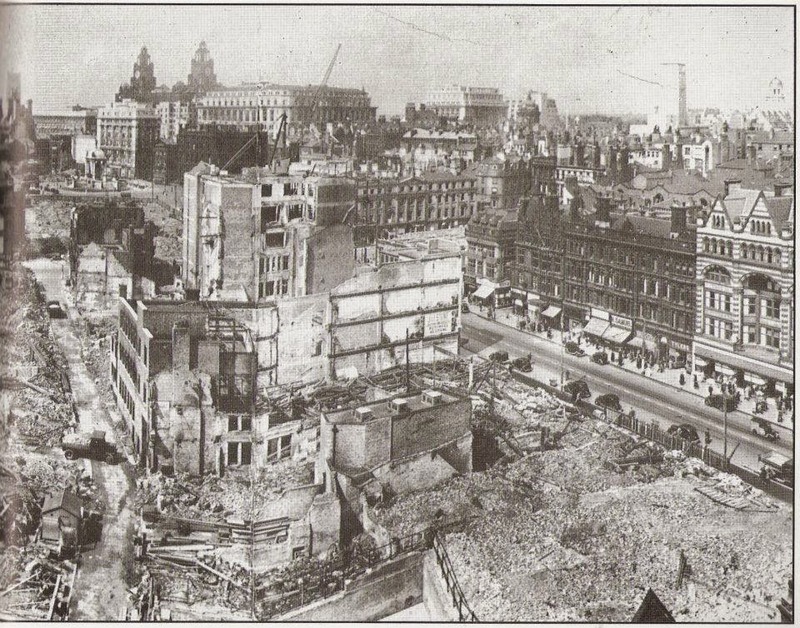 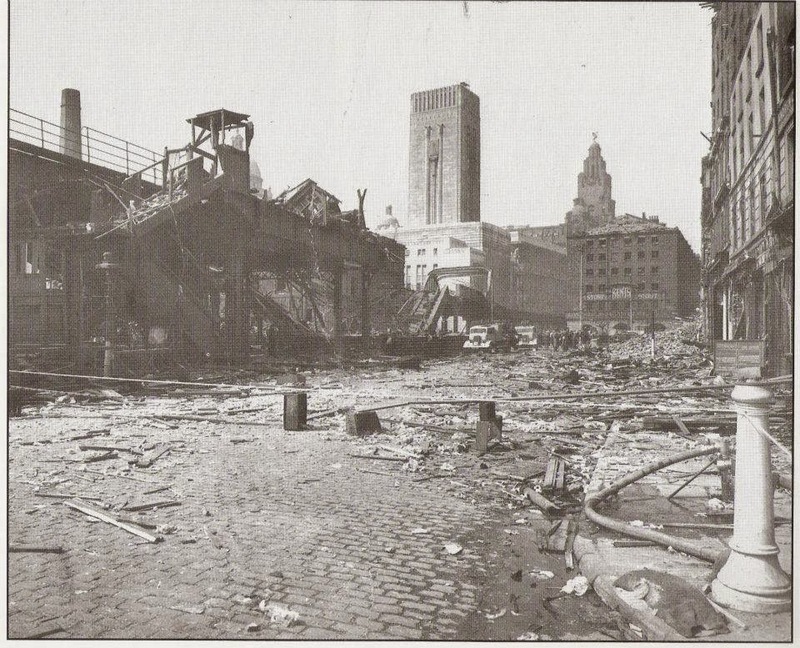 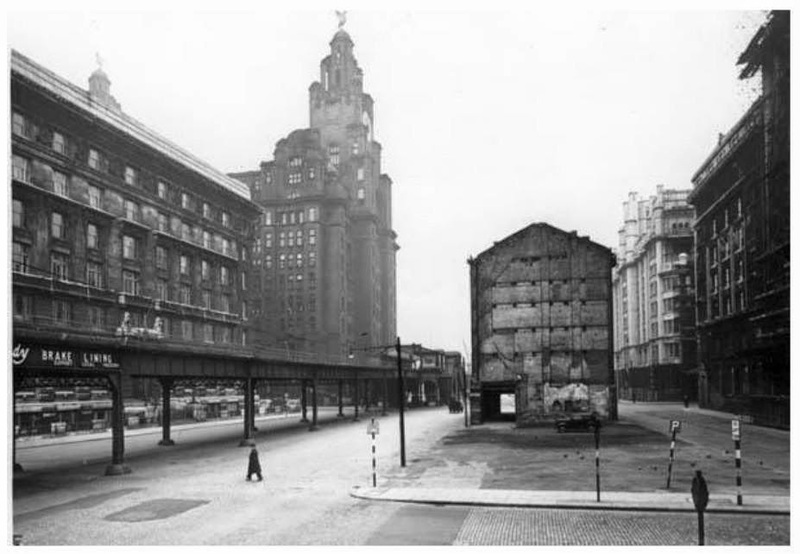 Pier Head terminus demolition,from John Harrison. 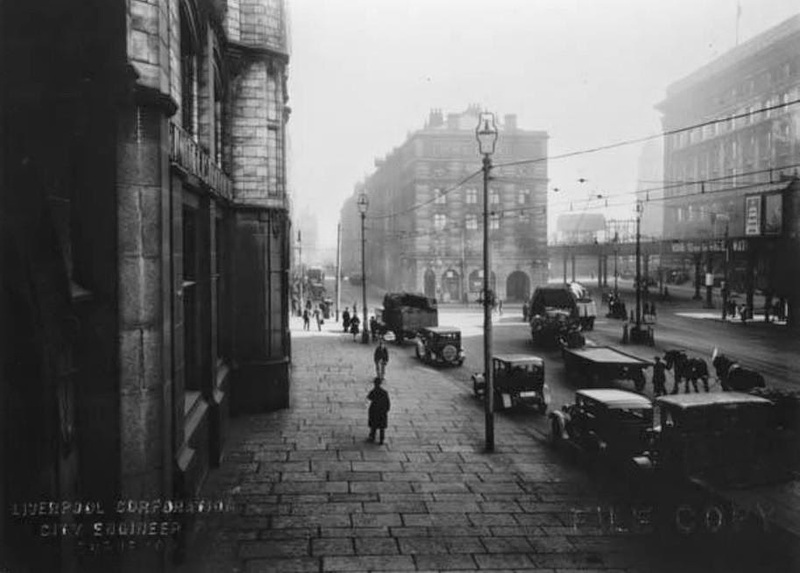 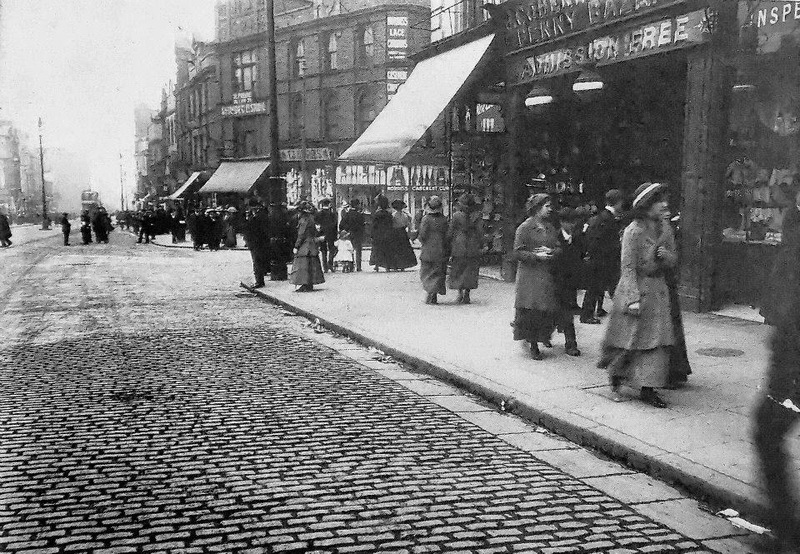 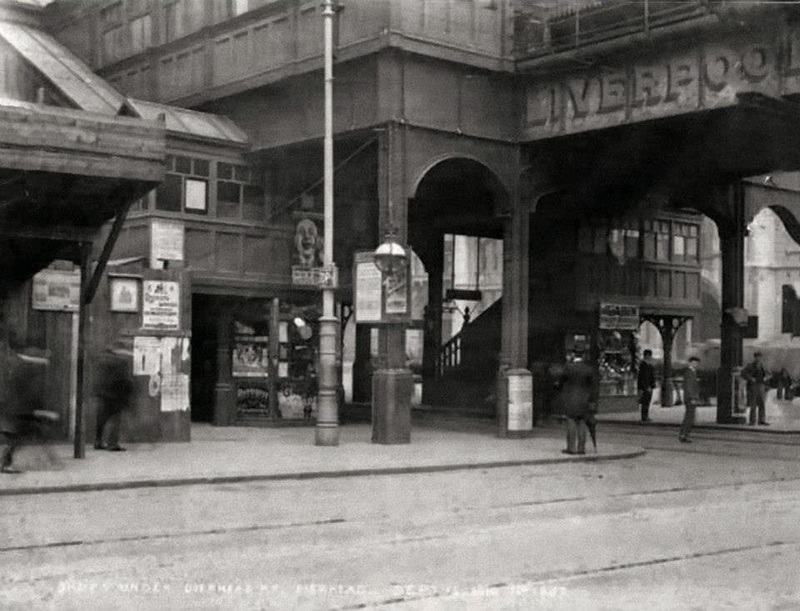 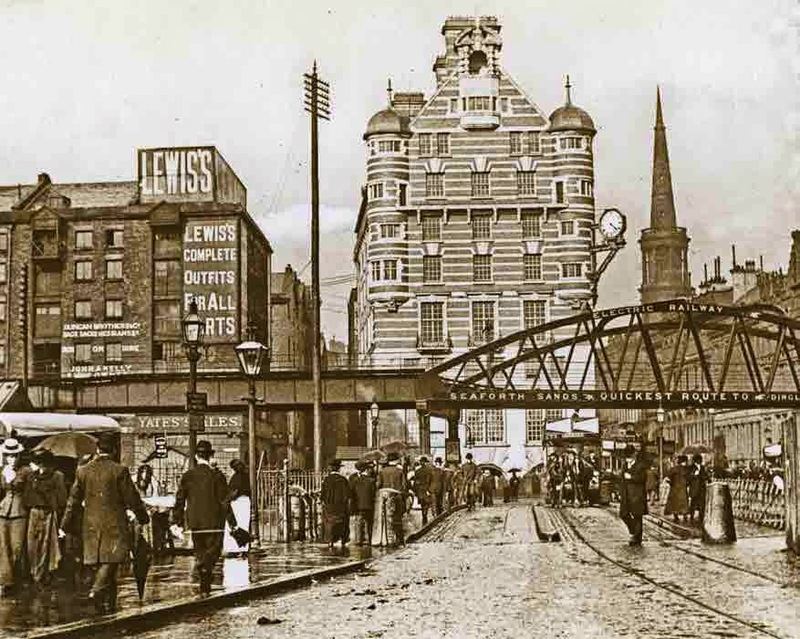 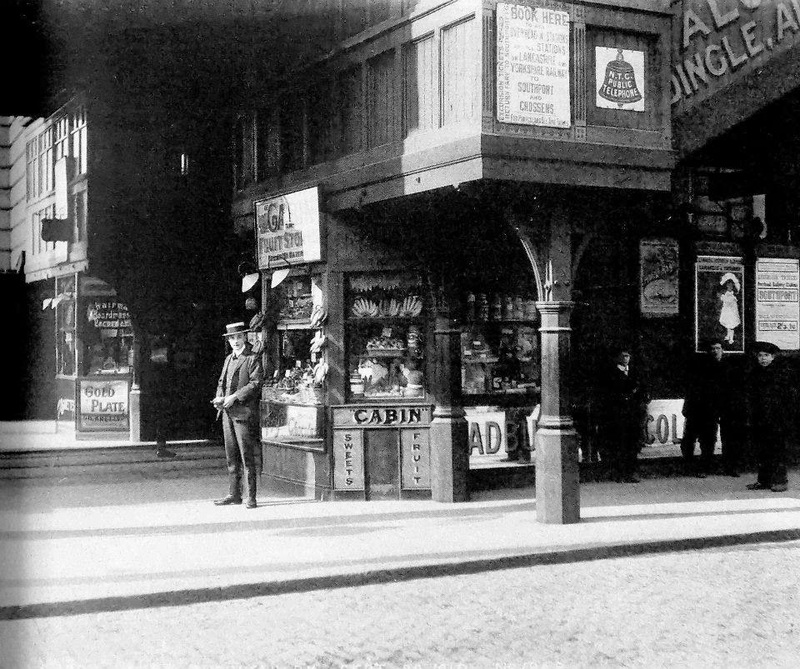 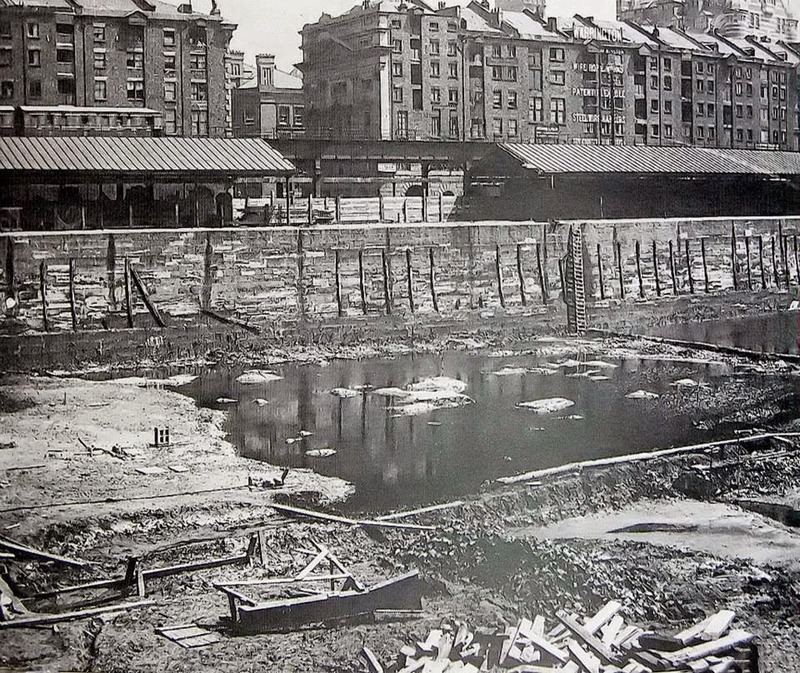 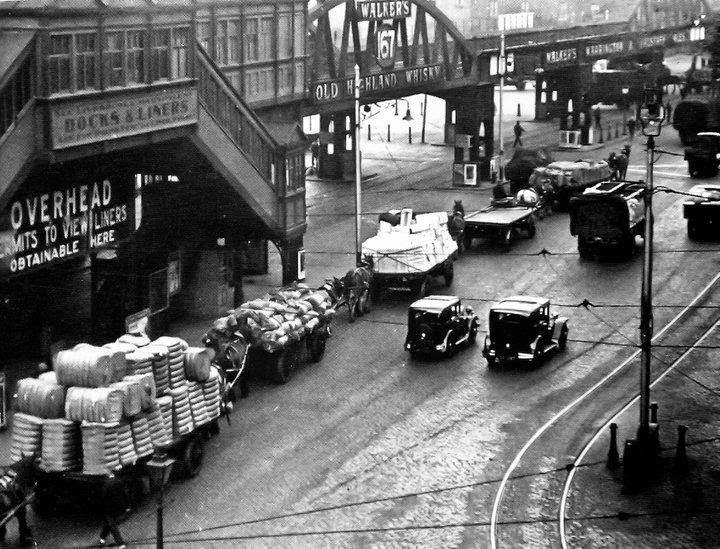 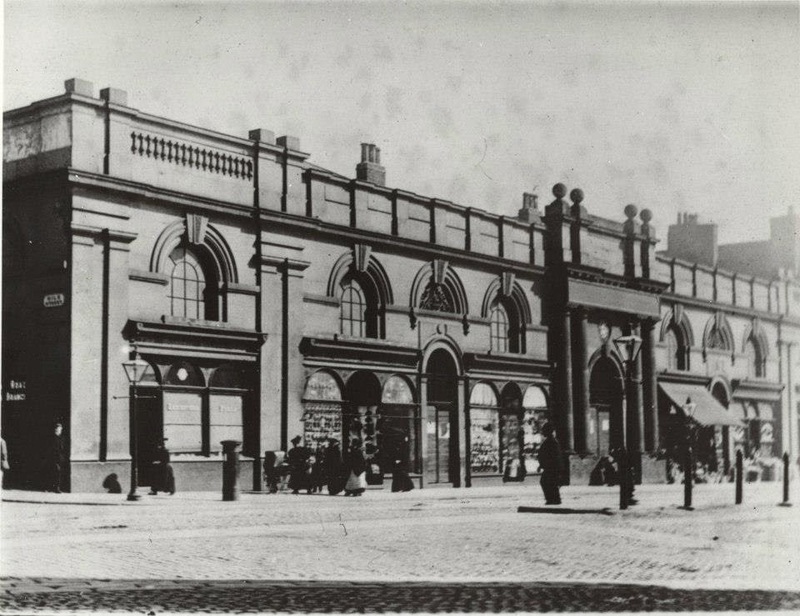 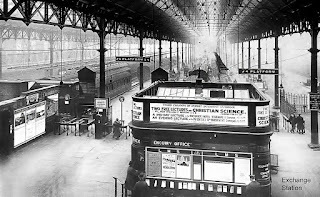 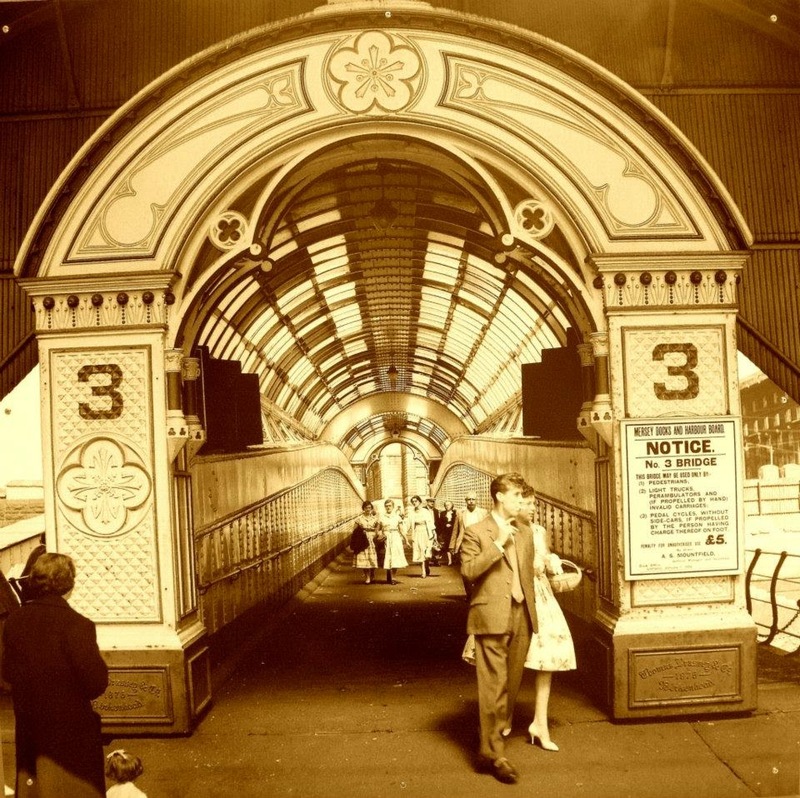 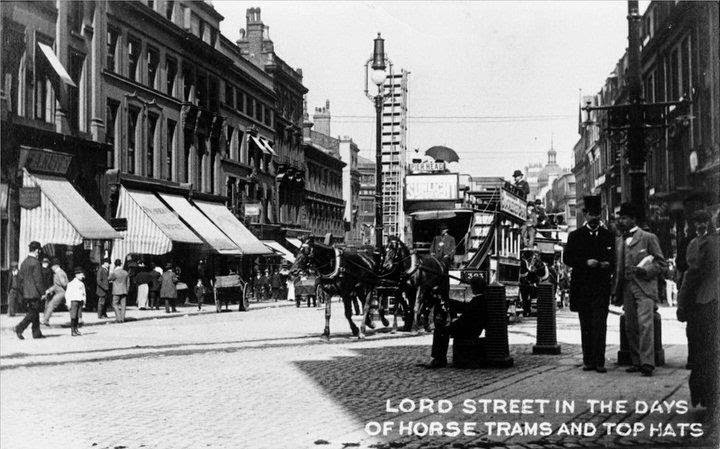 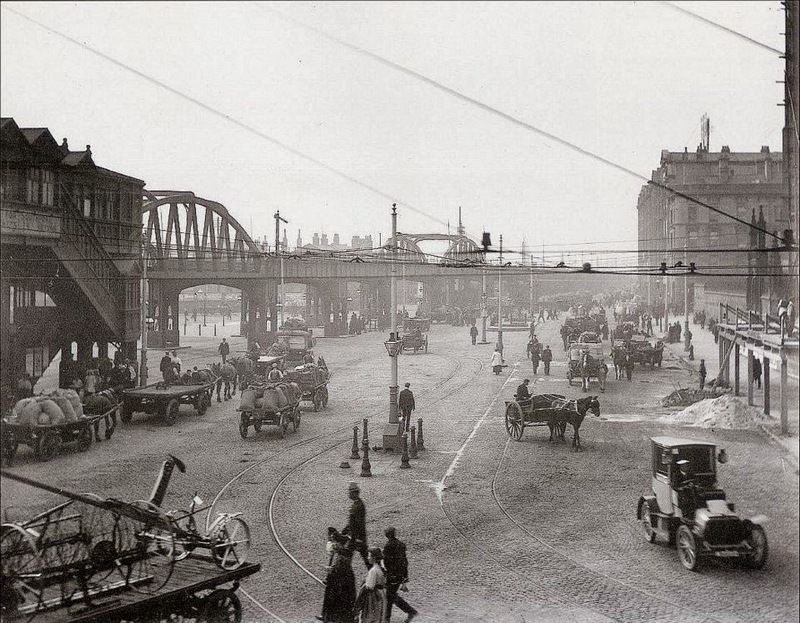 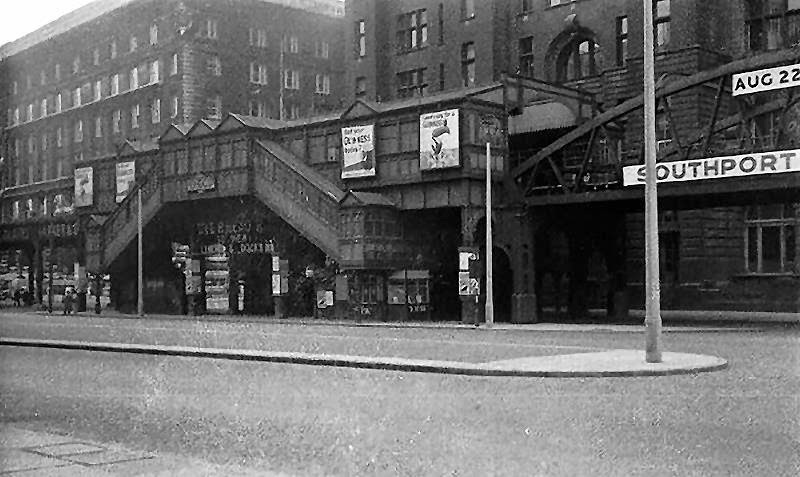 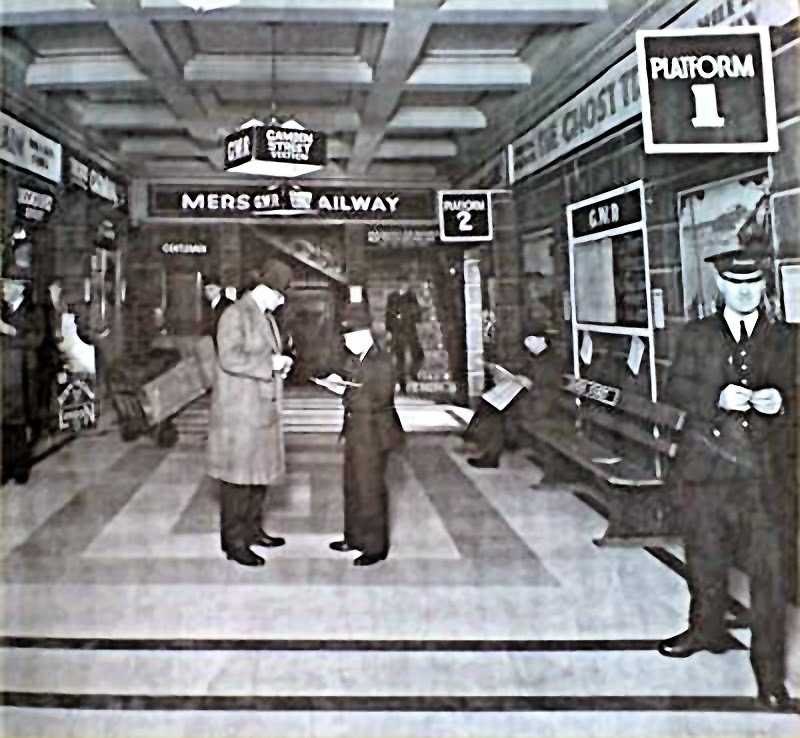 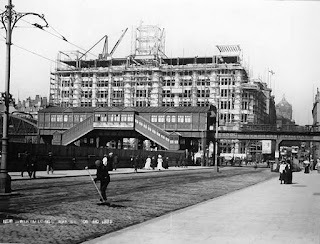 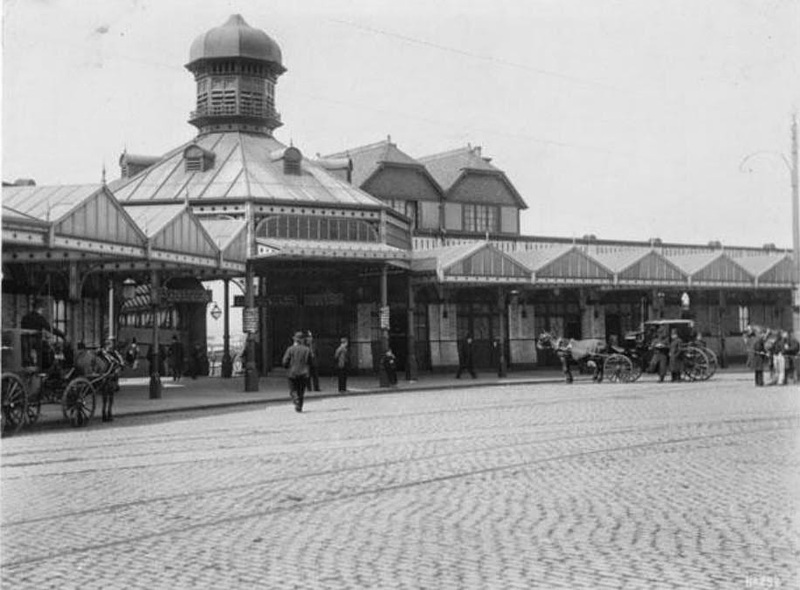 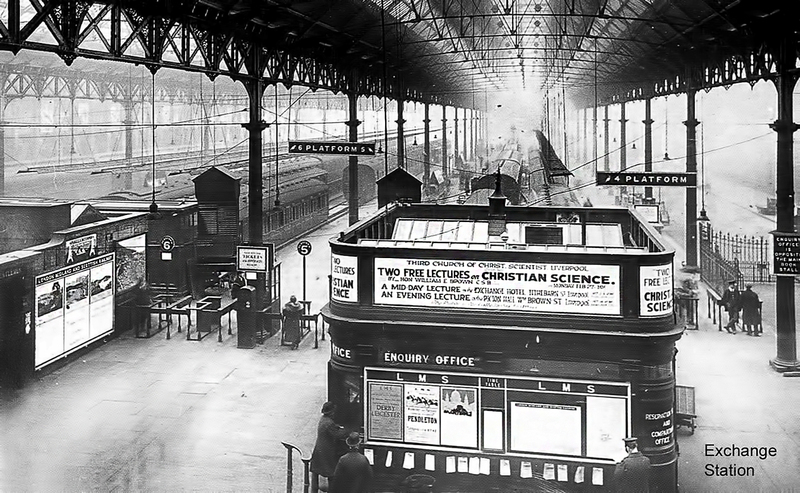 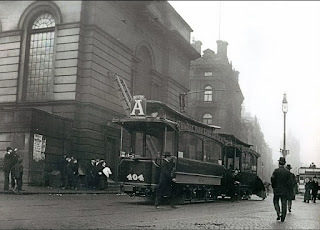 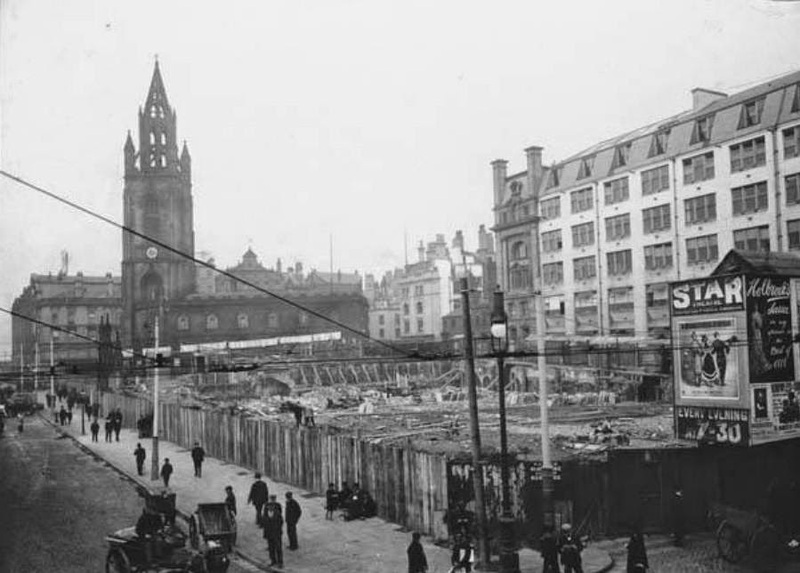 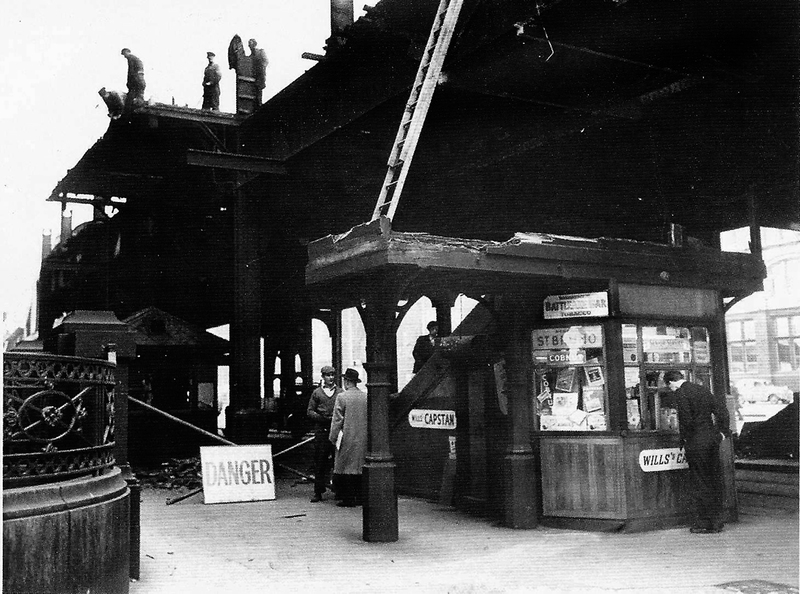 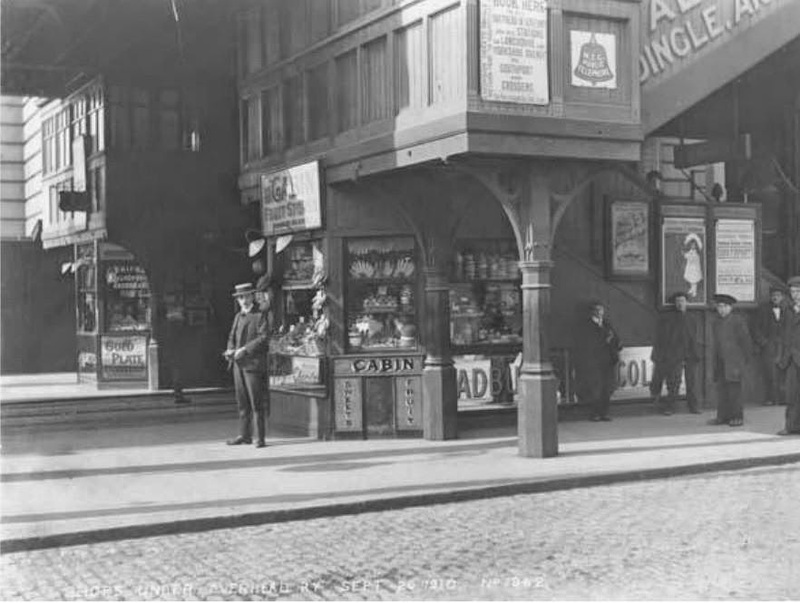 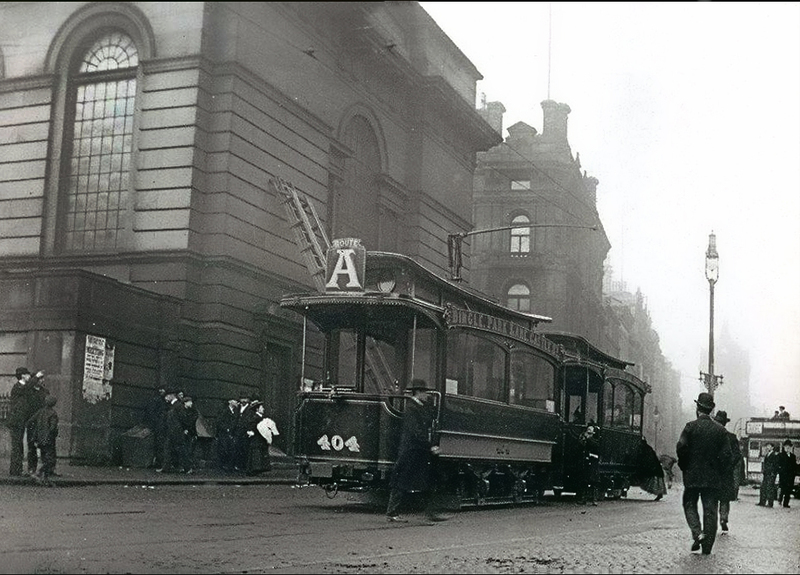 Shops underneath the Overhead Railway pictured here on 20th September 1910. 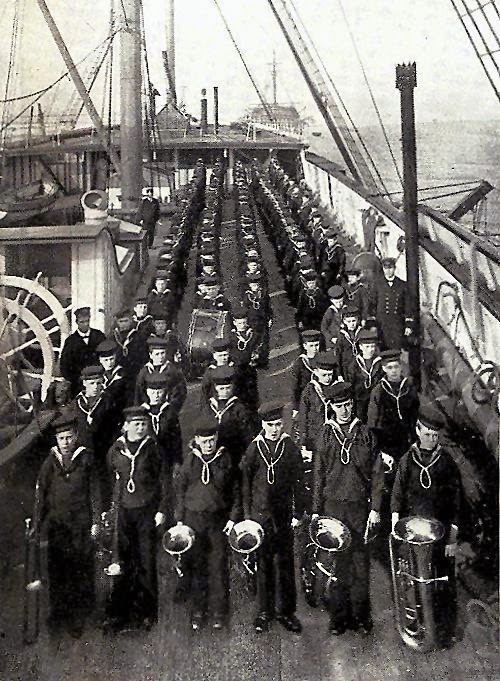 TS Indefatigable training ship, band practice on board. 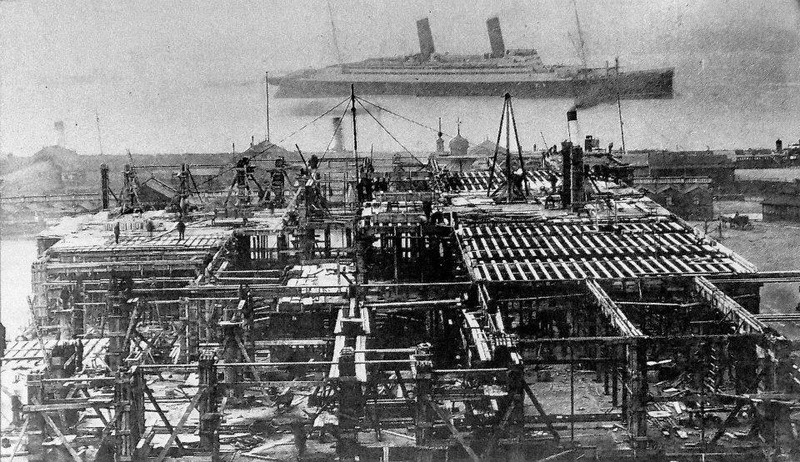 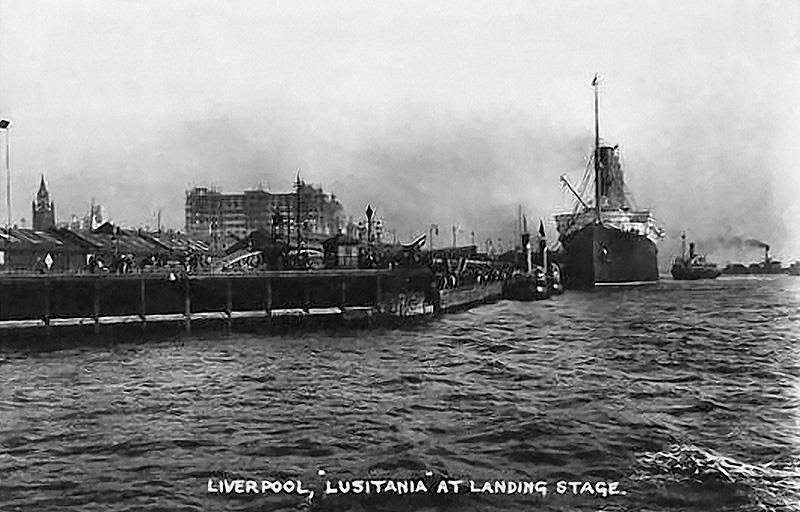 Shipping Line Building on the right. 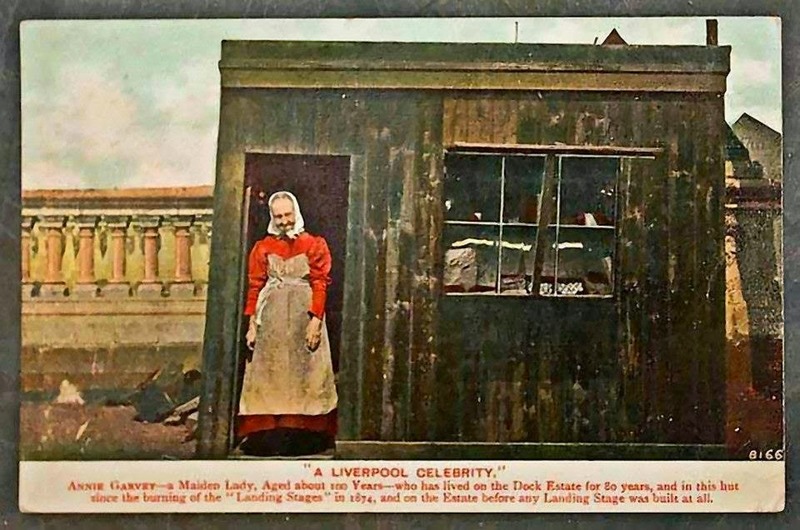 by Lady Bates the wife of the Cunard White Star Lines, chairman. 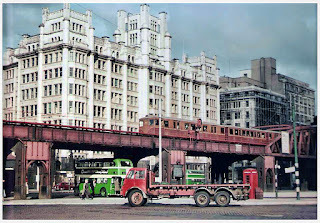 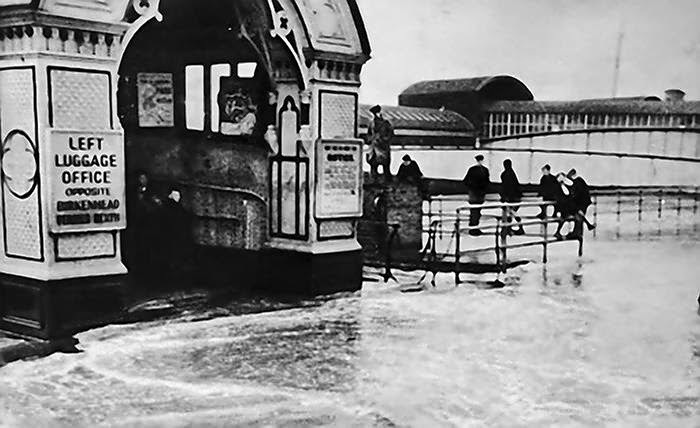 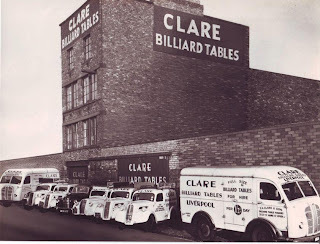 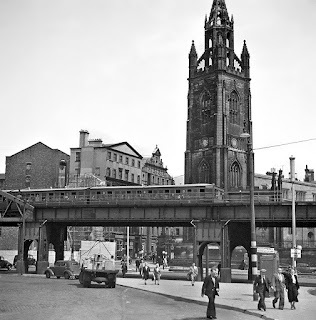 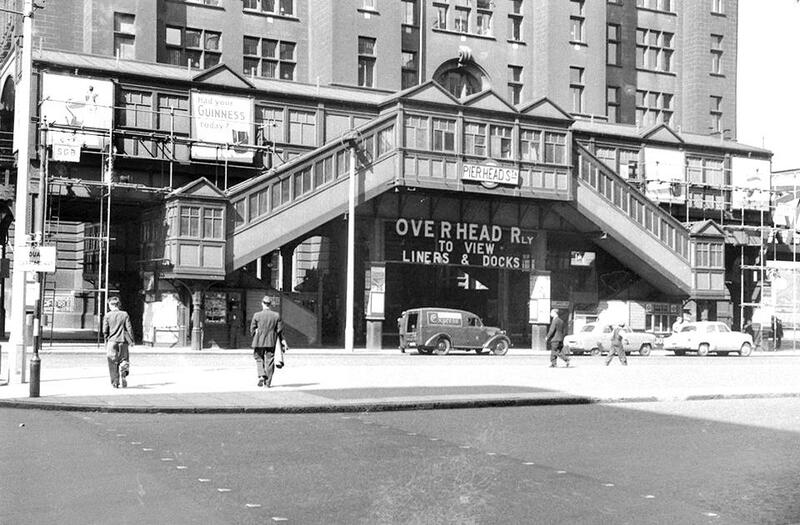 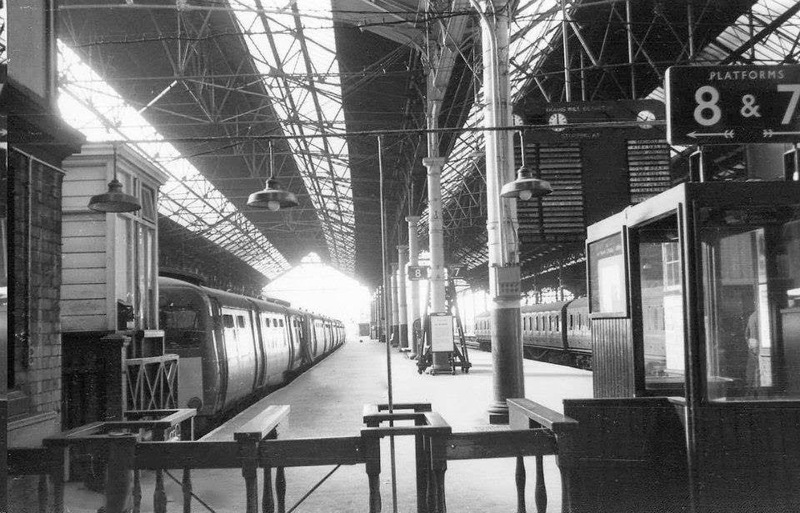 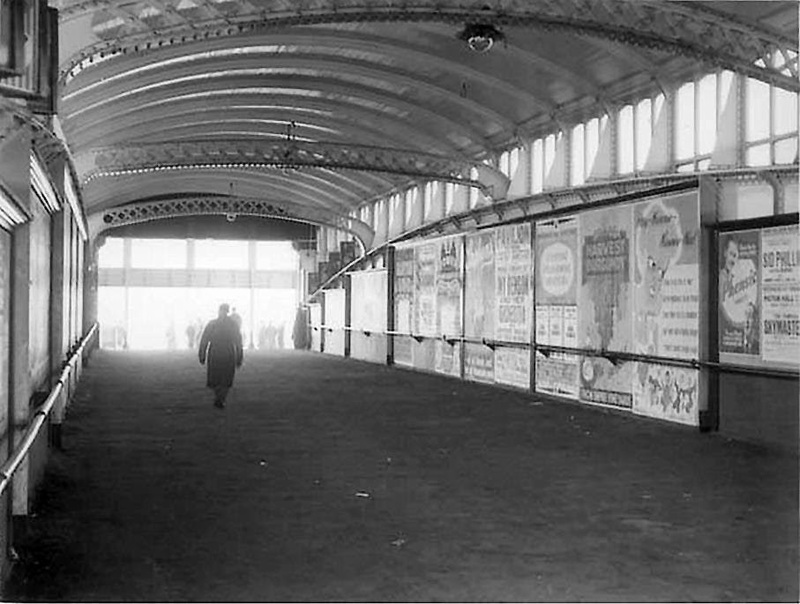 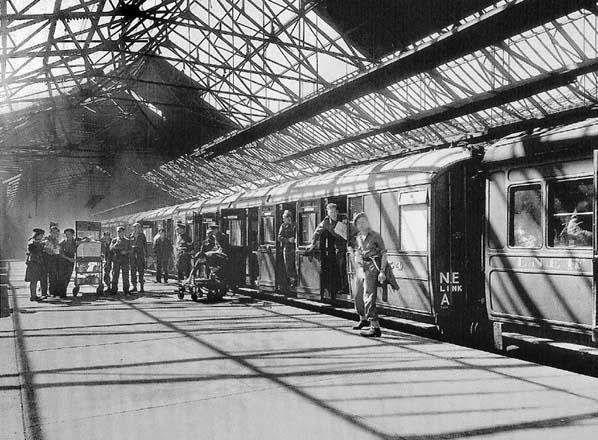 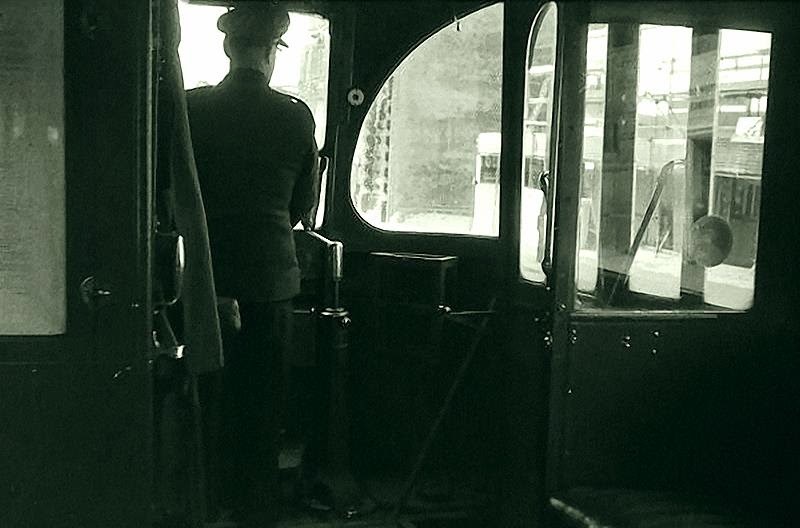 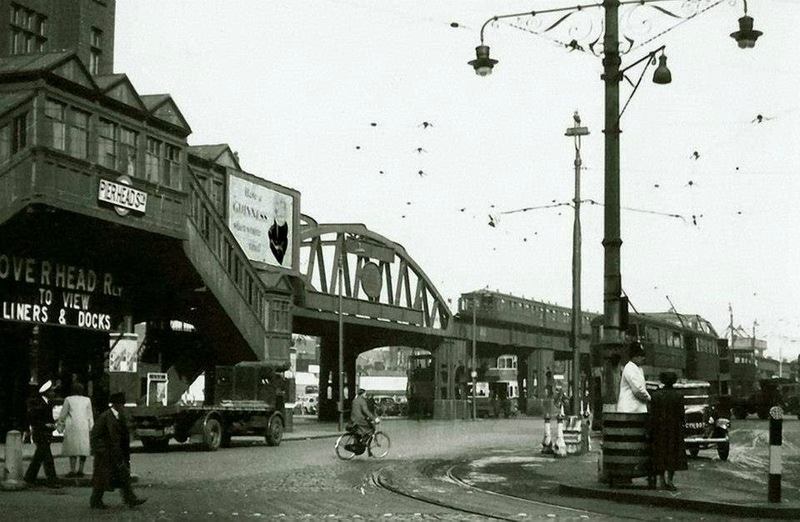 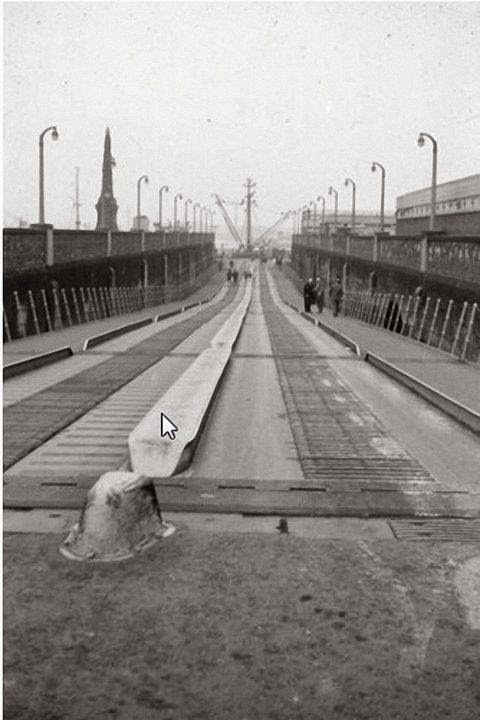 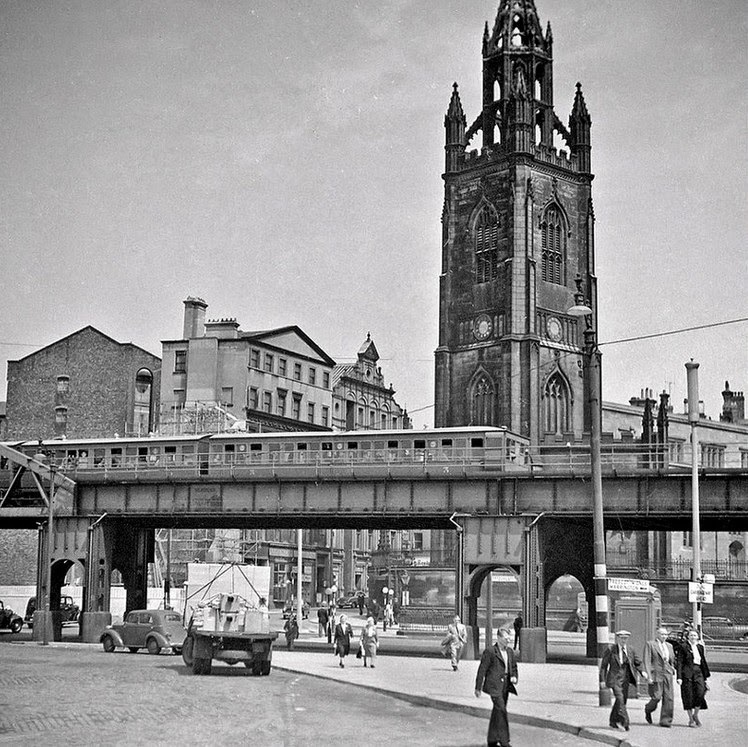 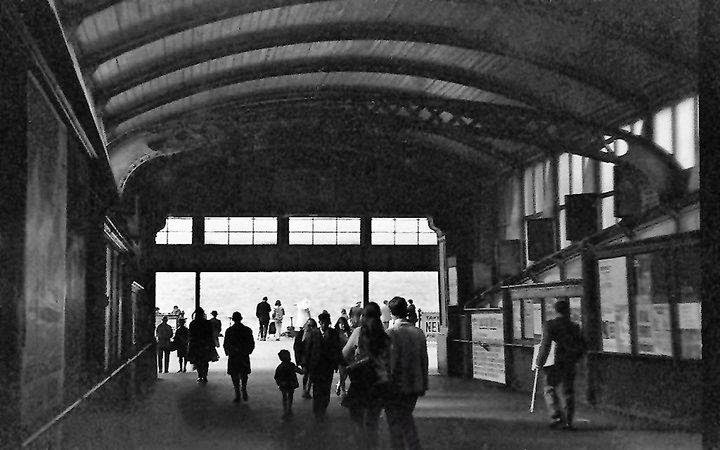 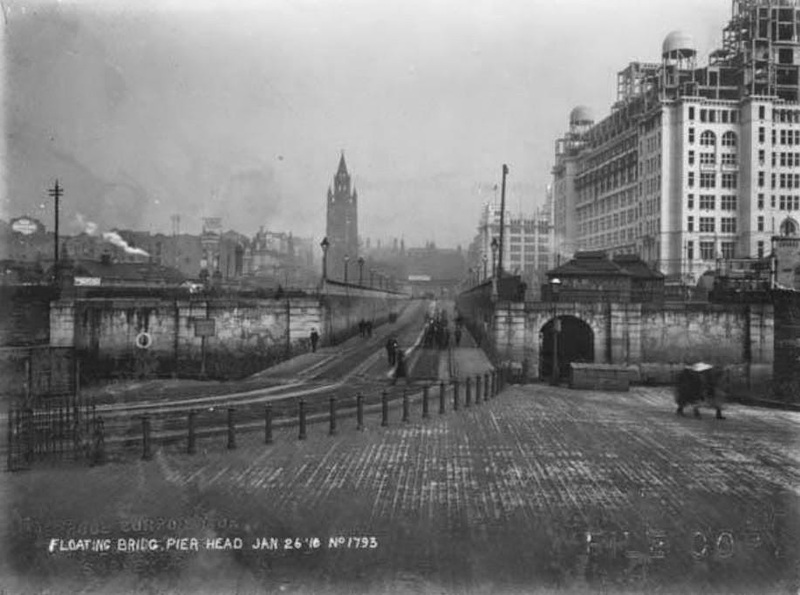 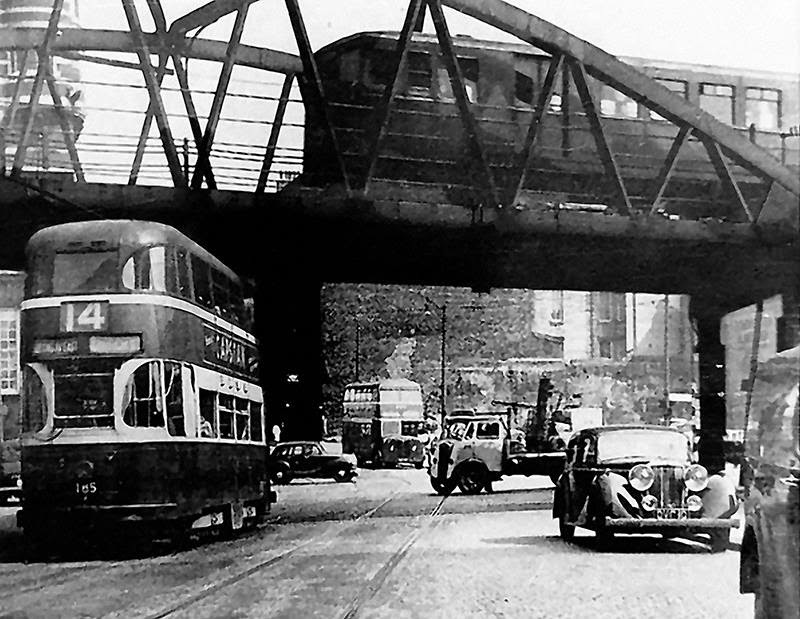 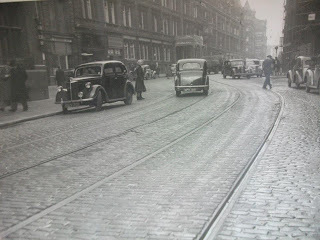 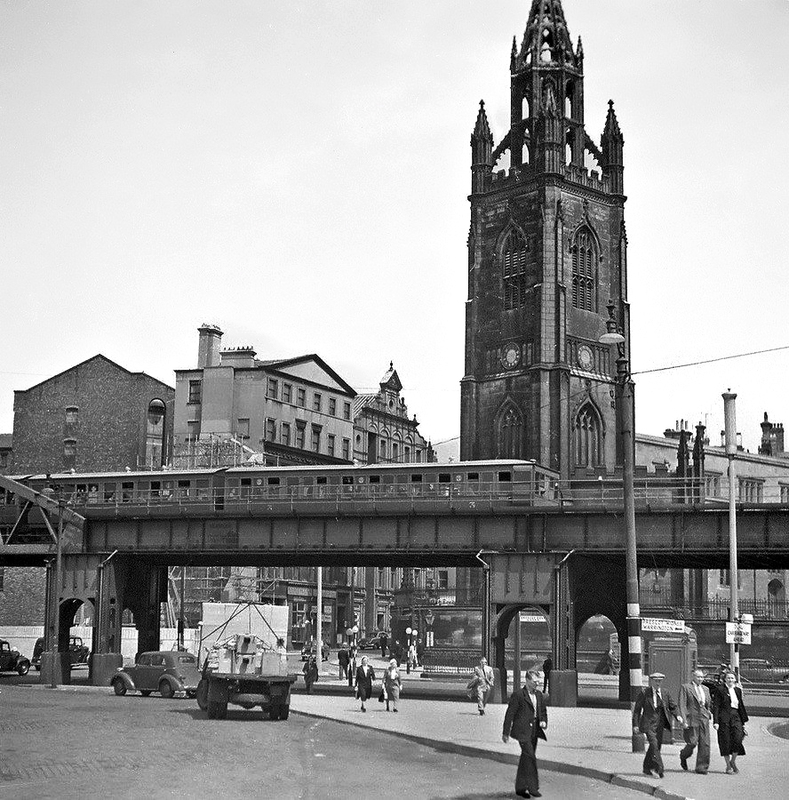 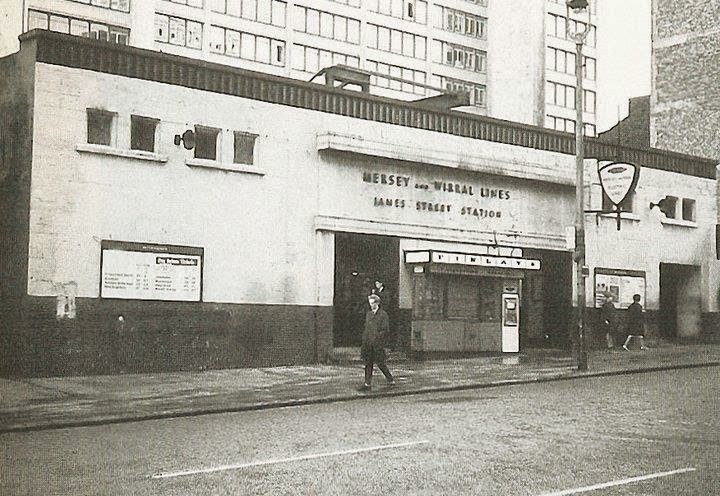 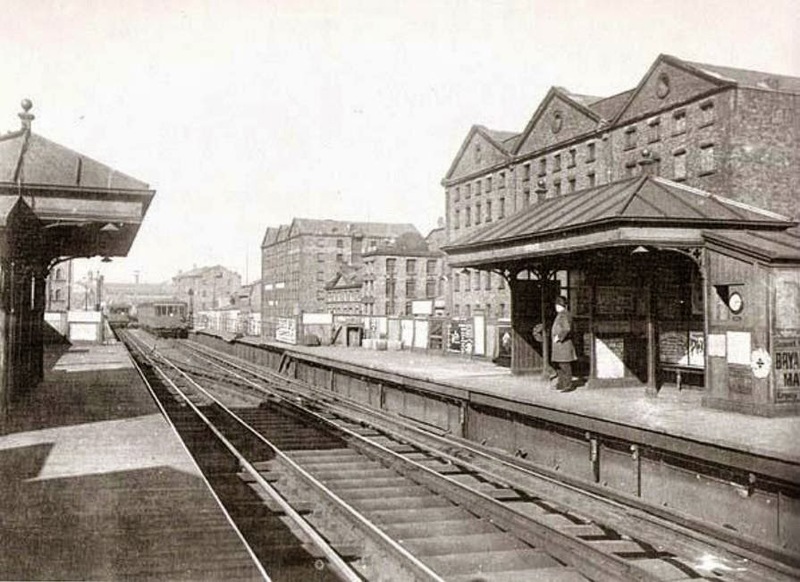 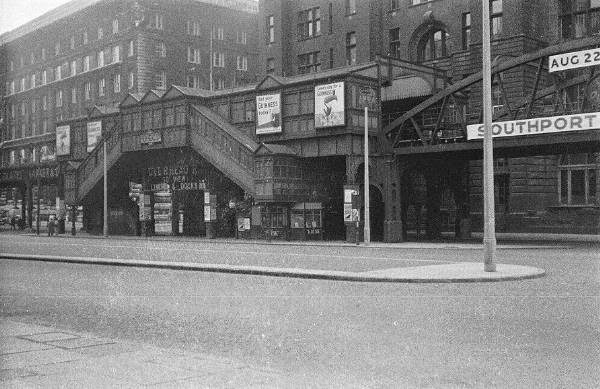 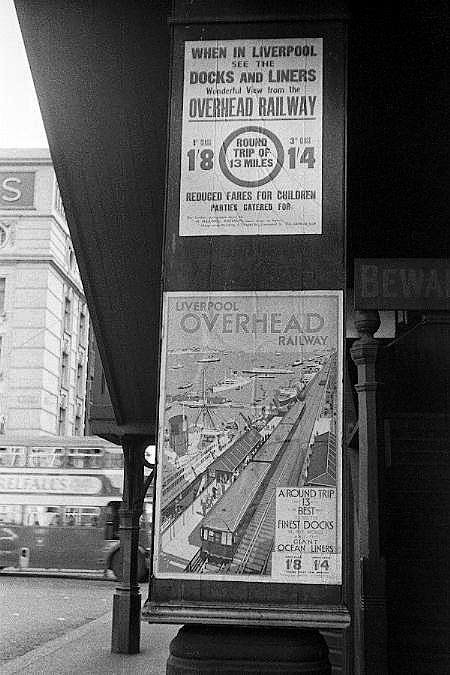 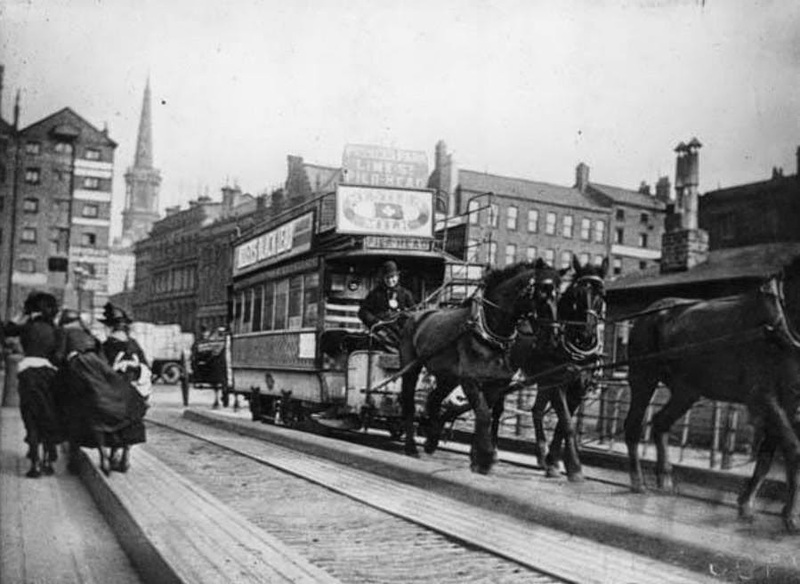 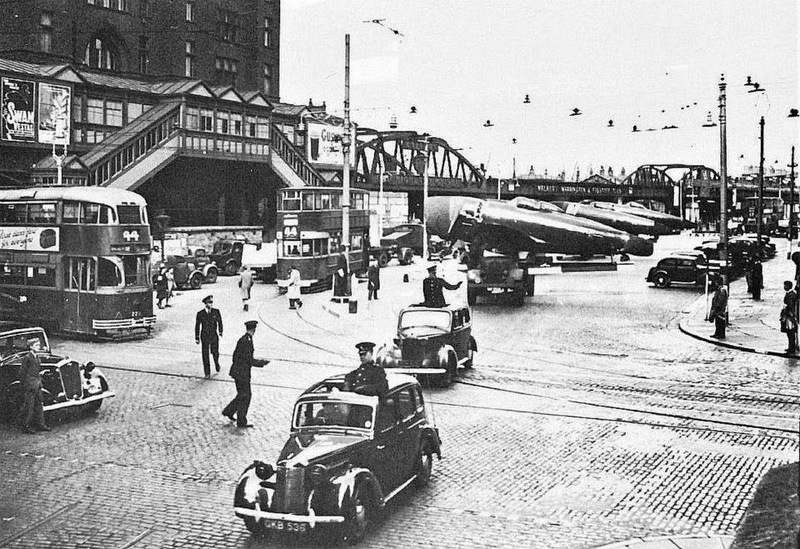 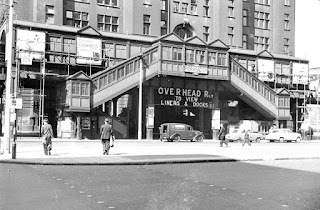 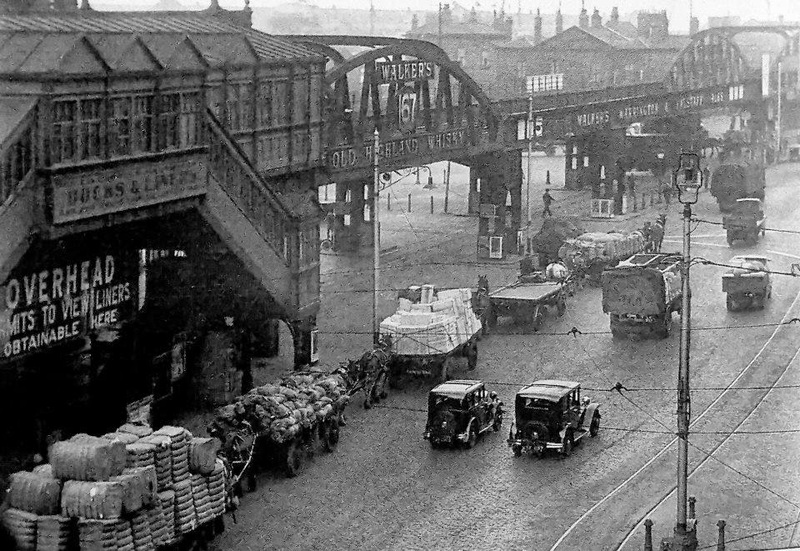 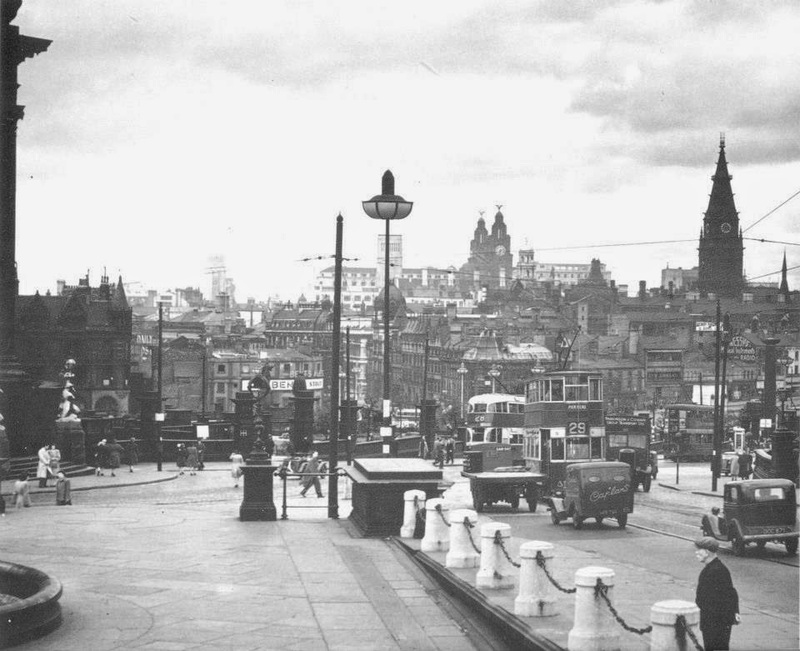 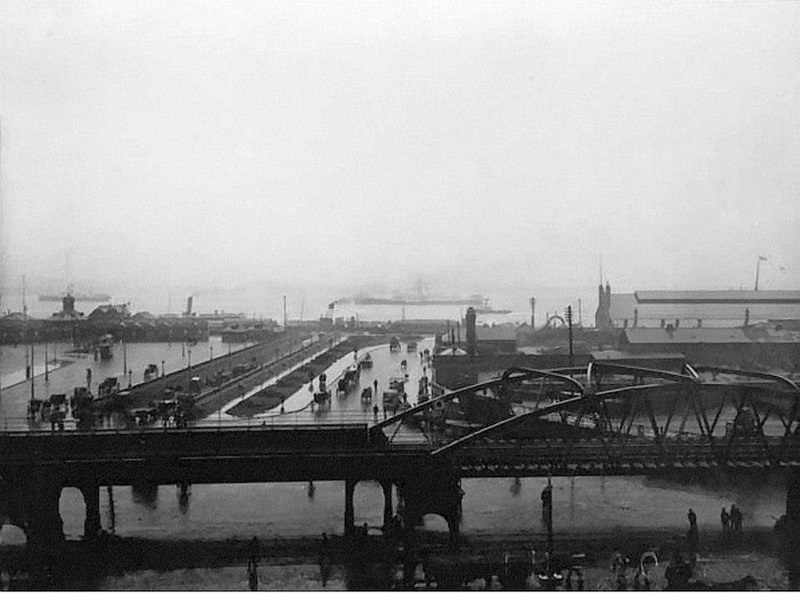 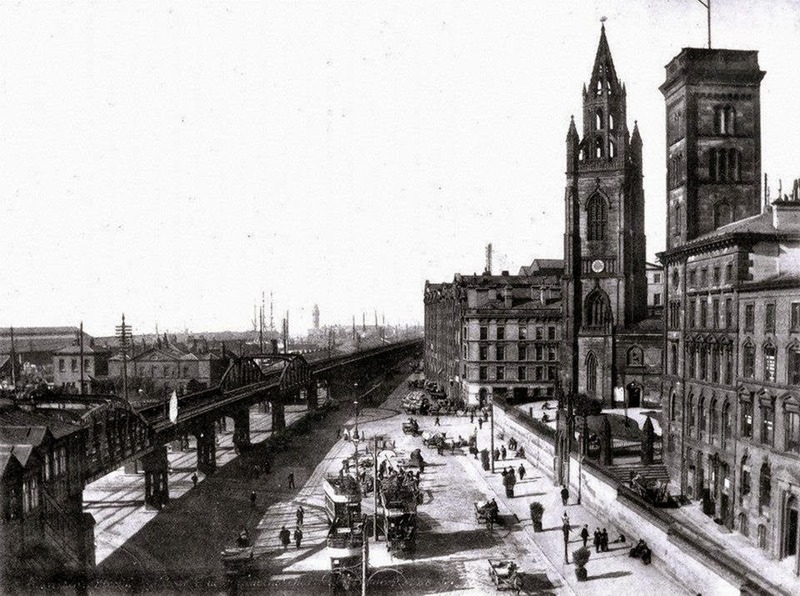 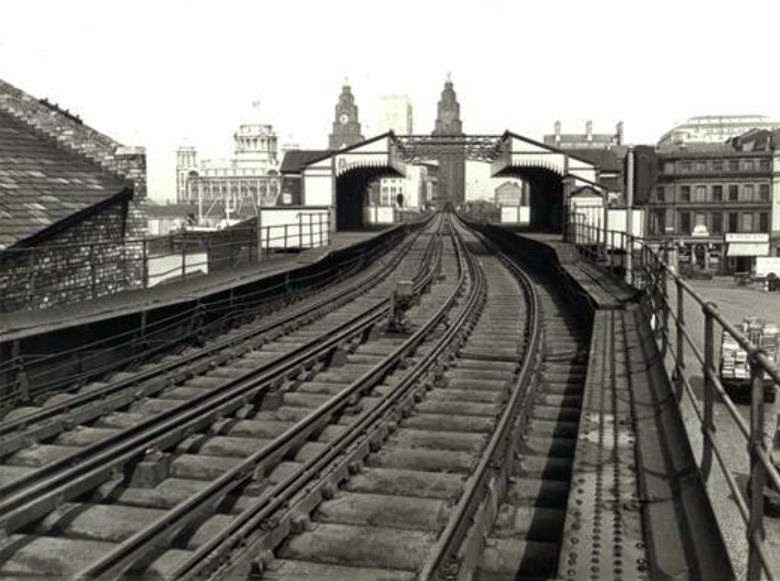 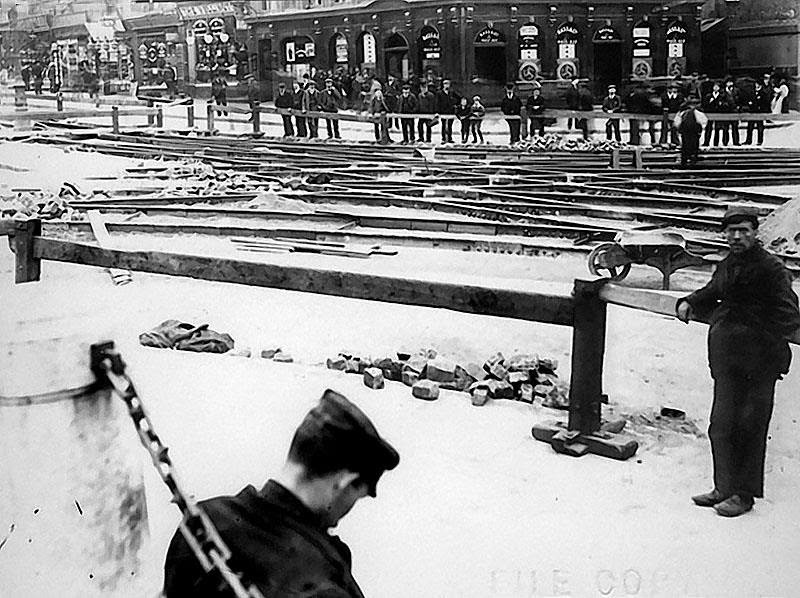 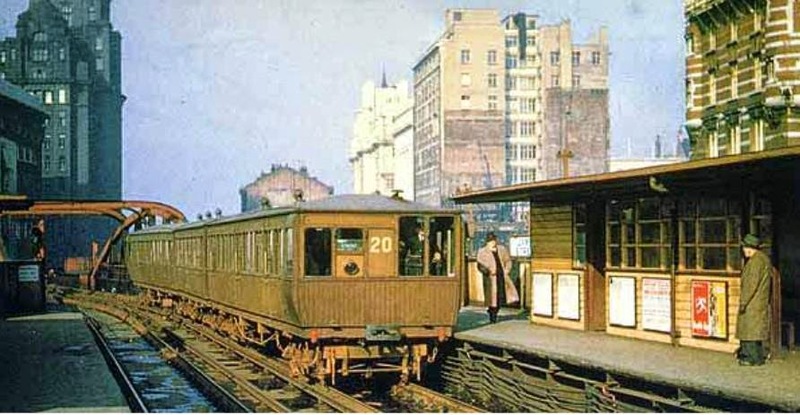 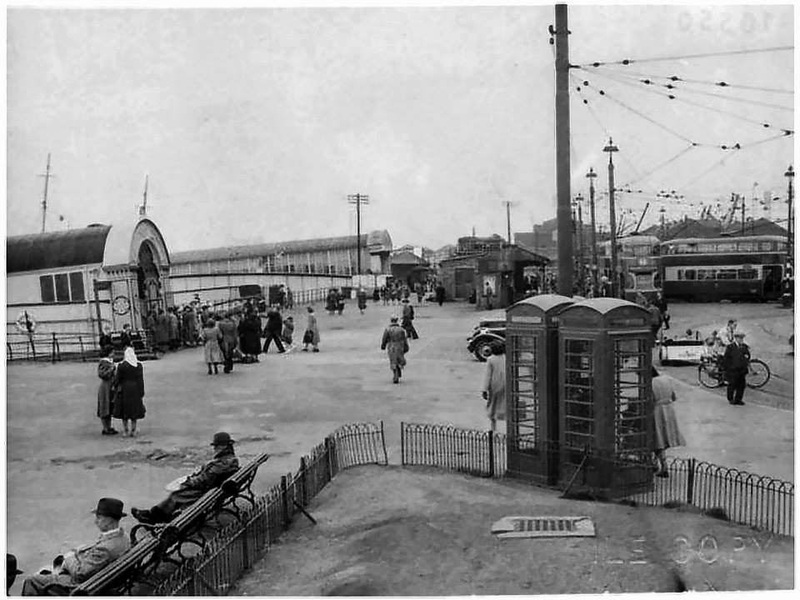 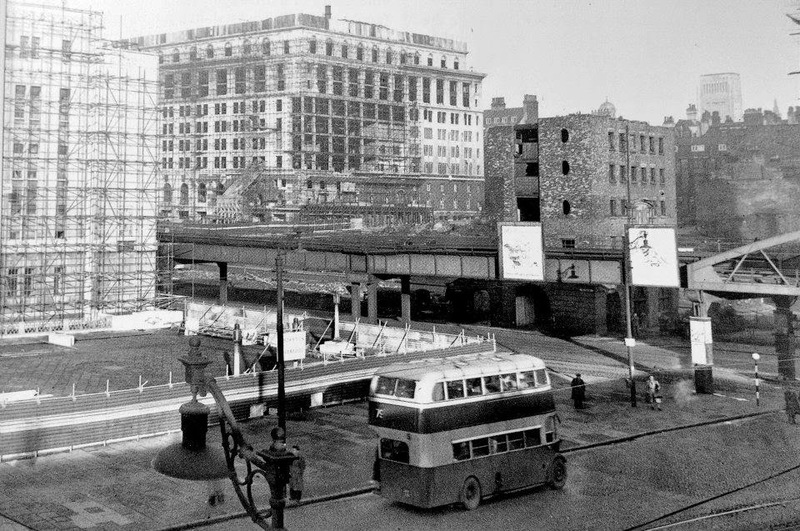 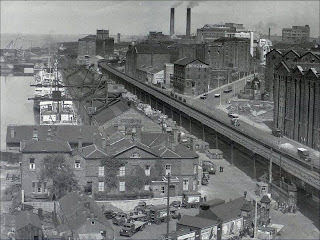 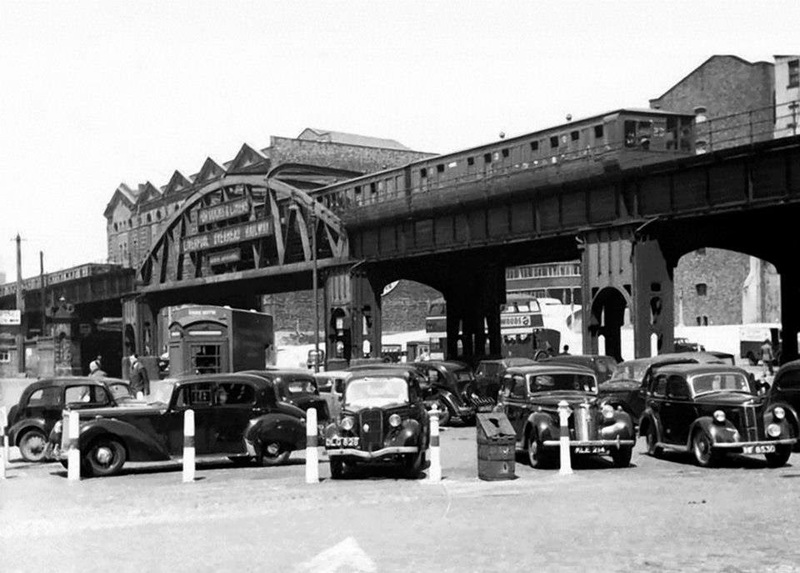 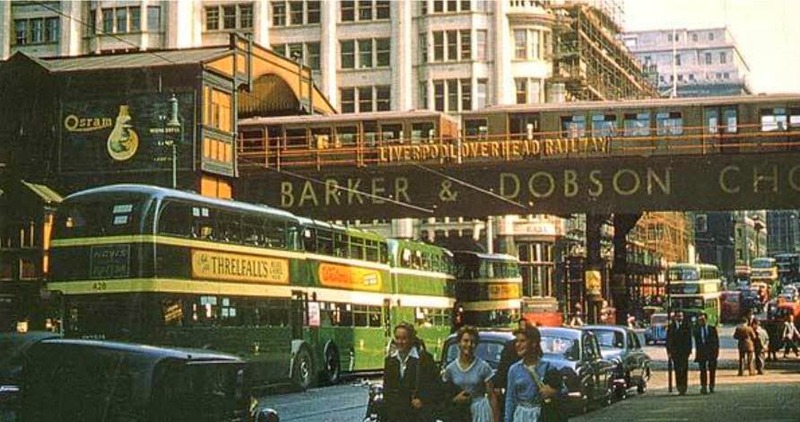 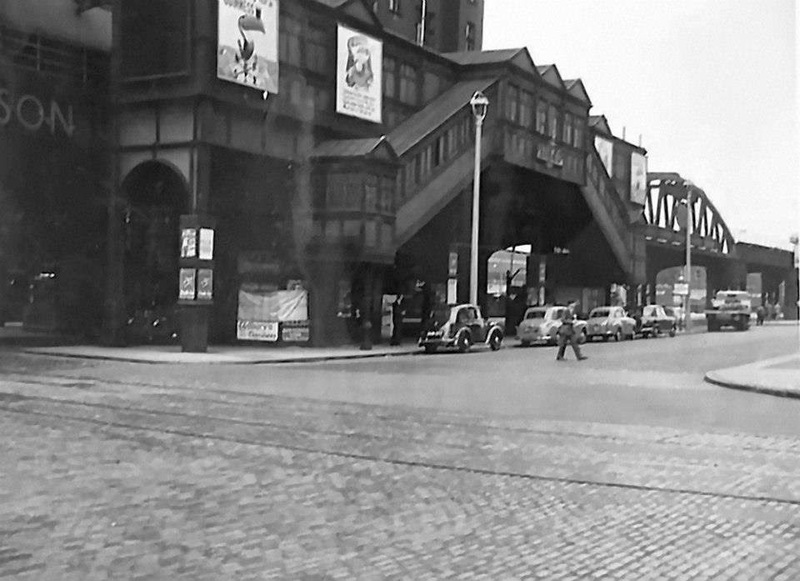 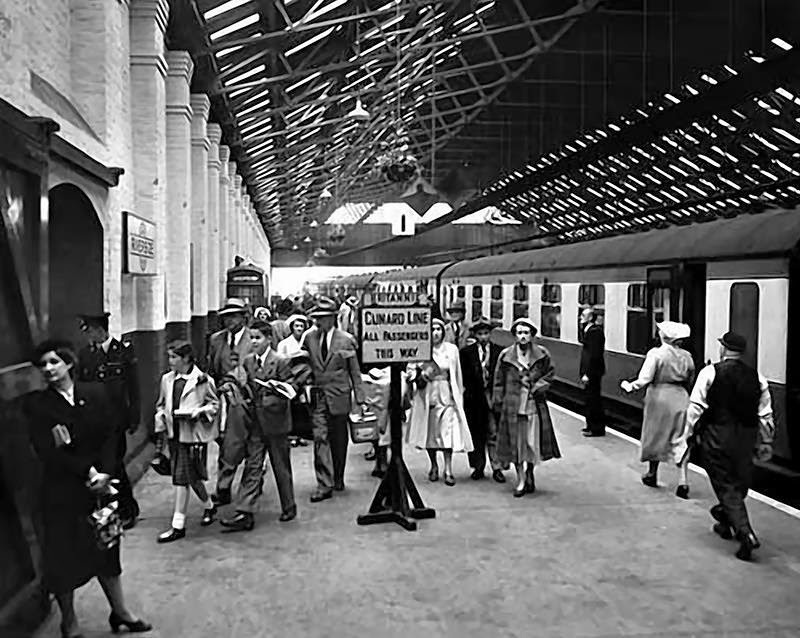 standing on the overhead railway on the right. 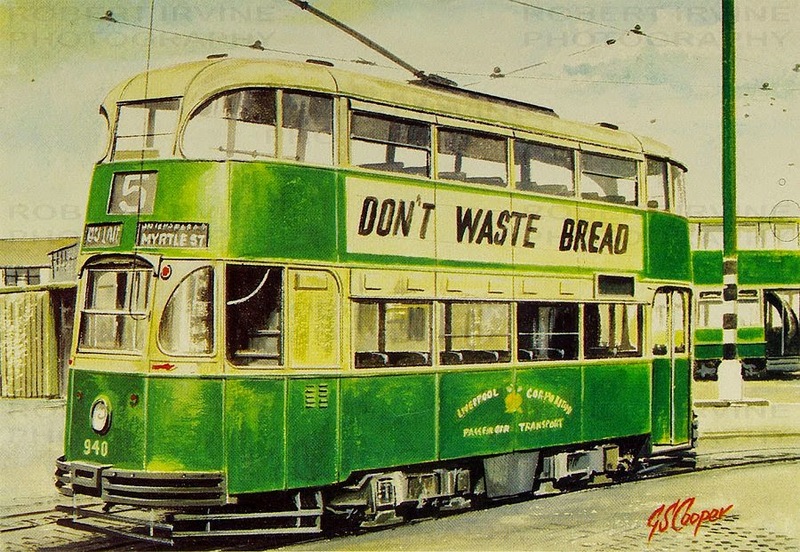 A No. 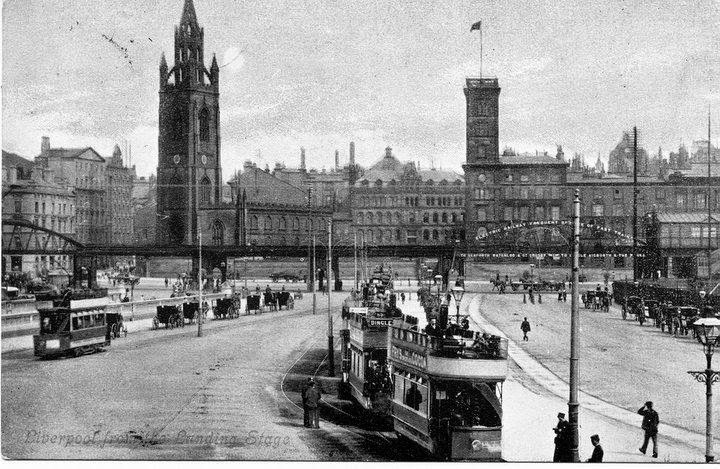 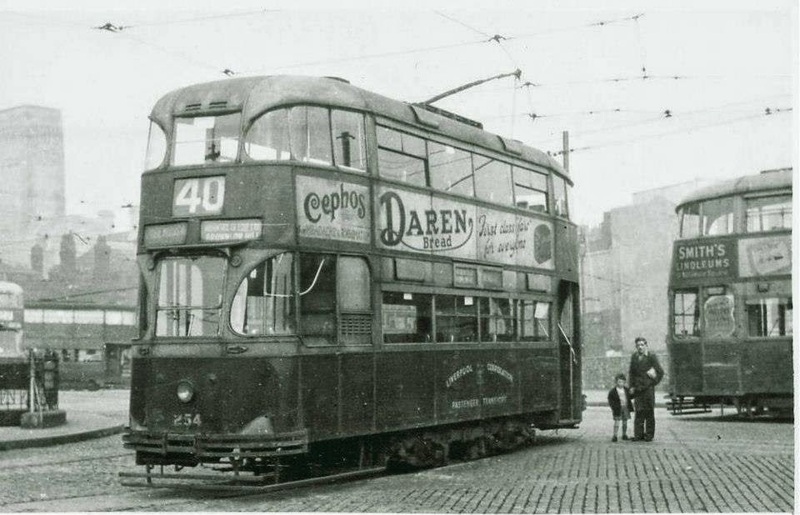 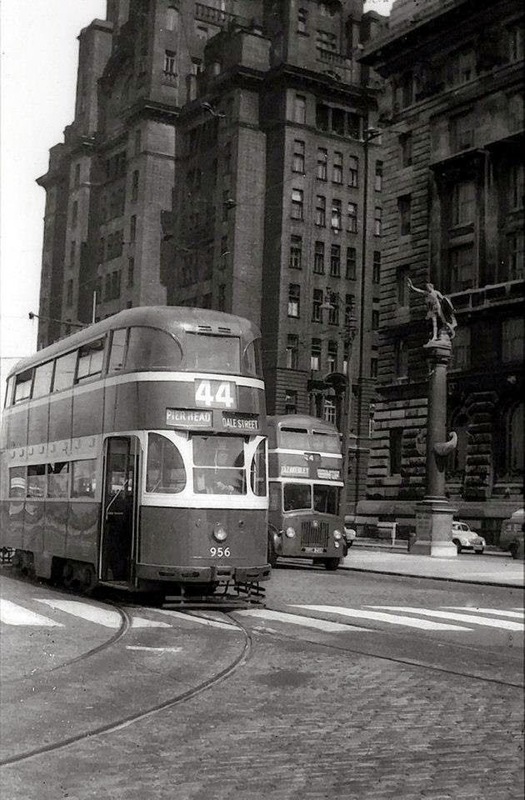 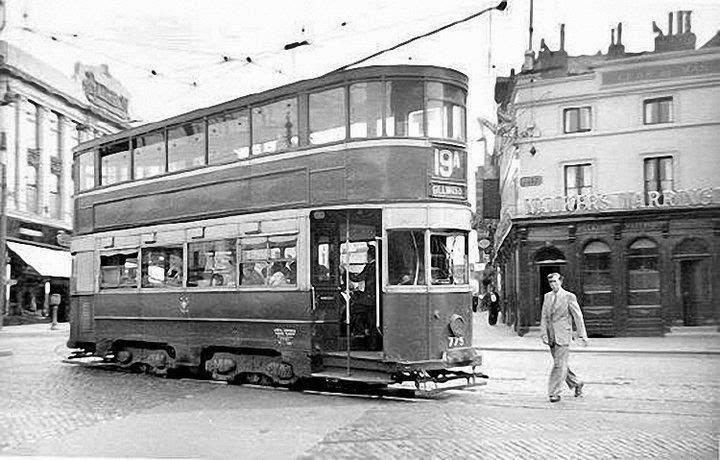 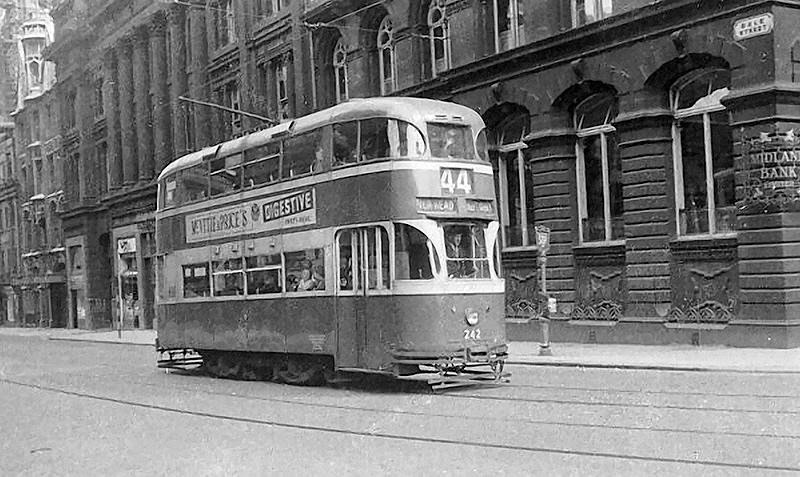 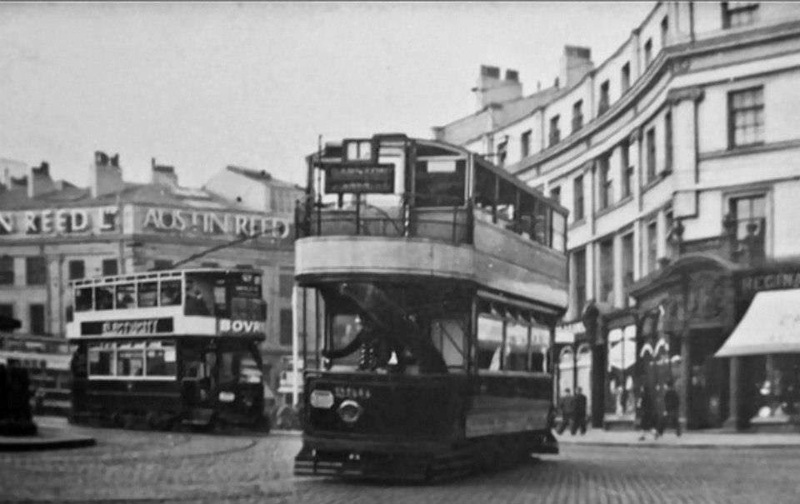 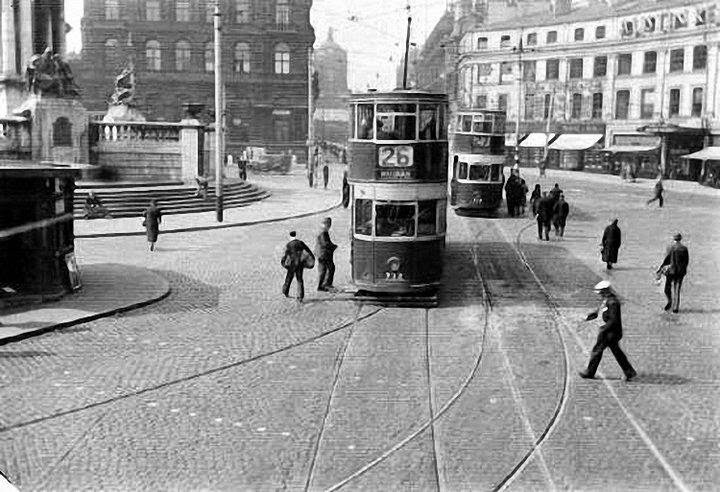 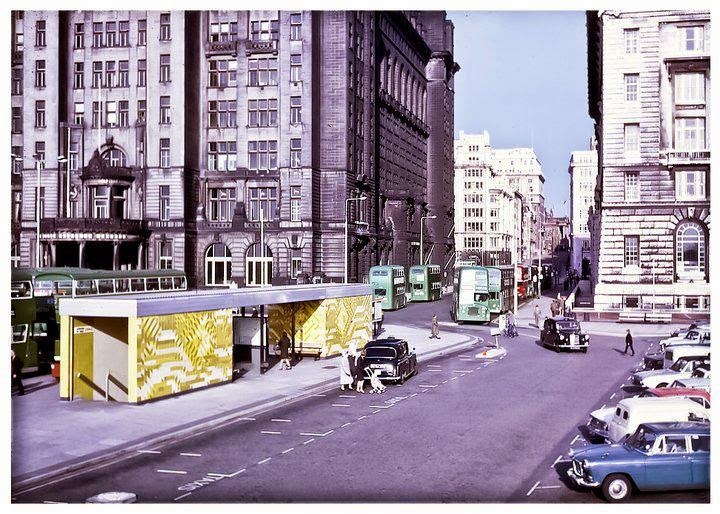 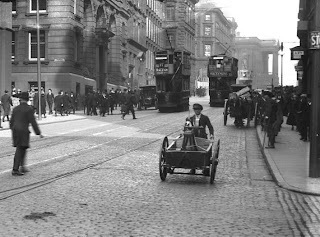 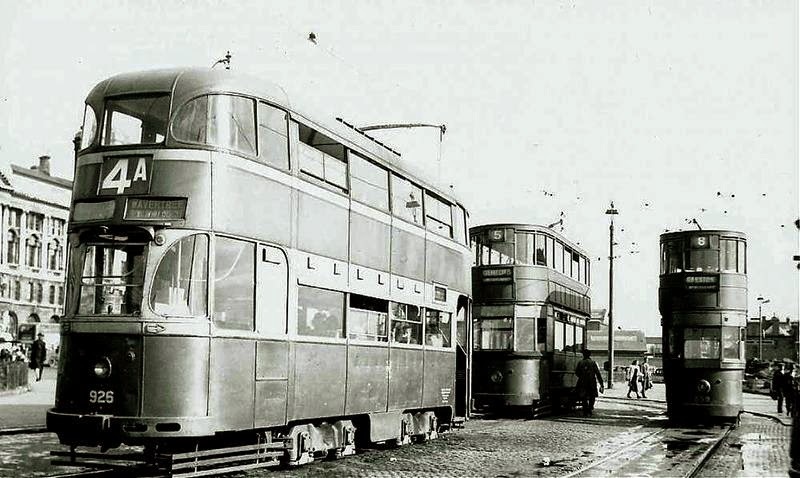 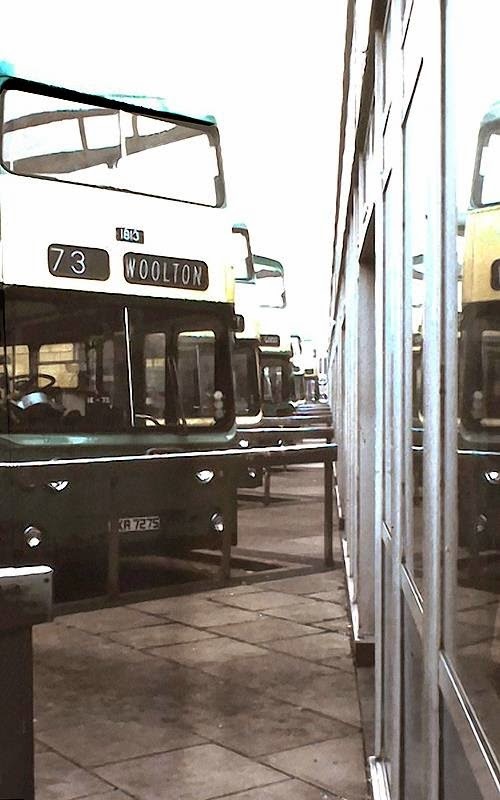 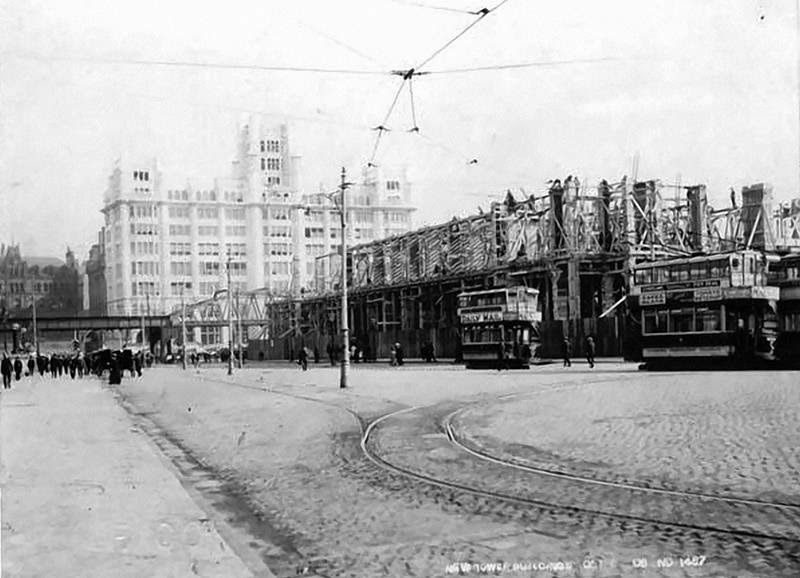 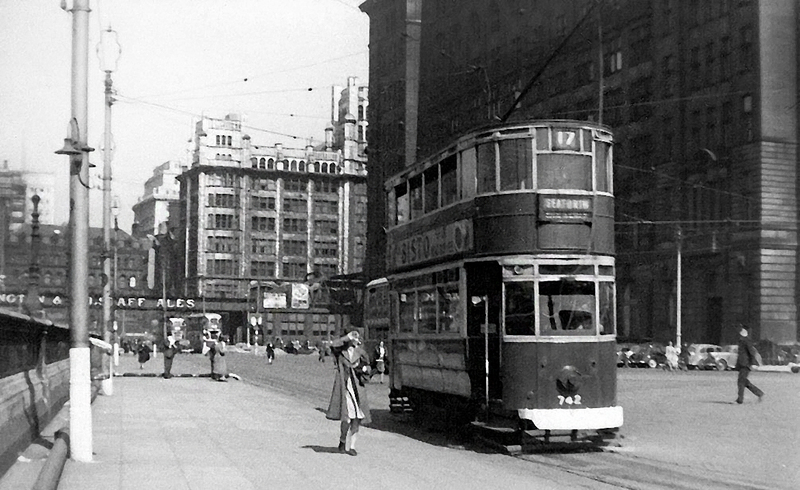 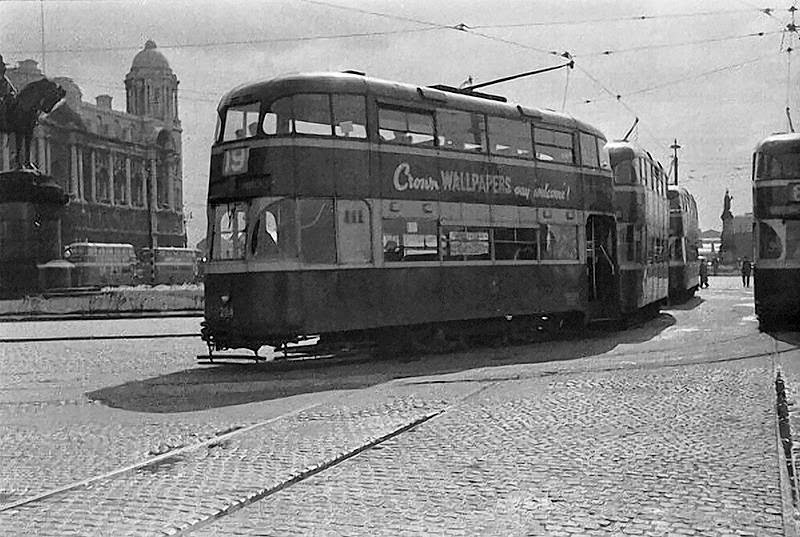 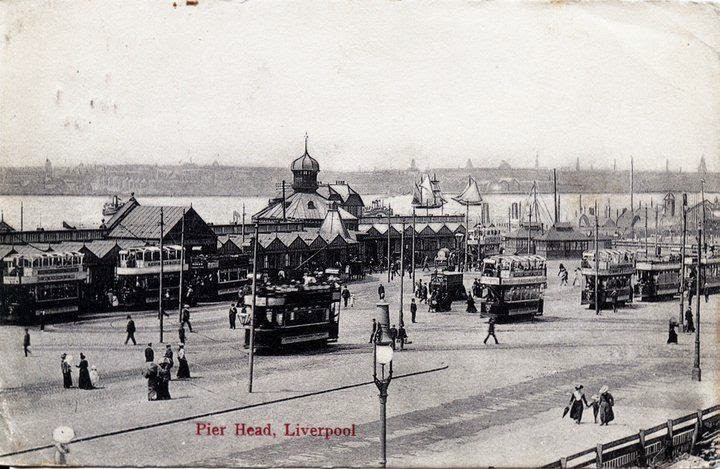 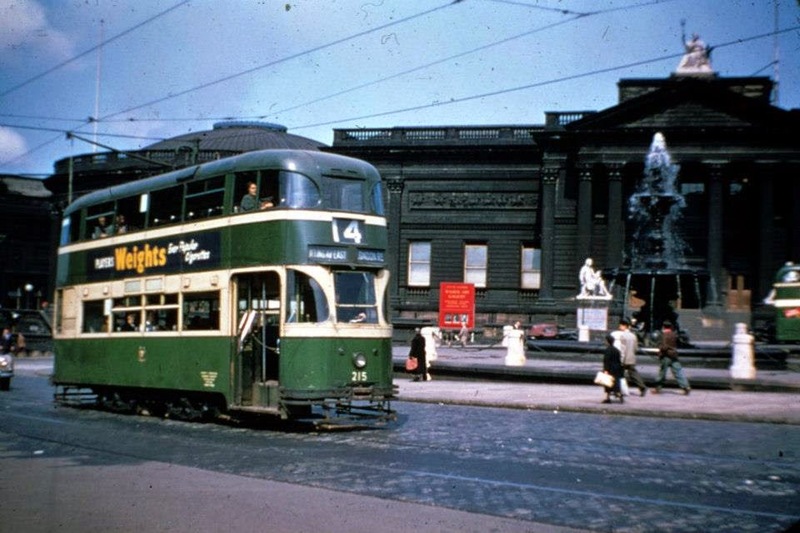 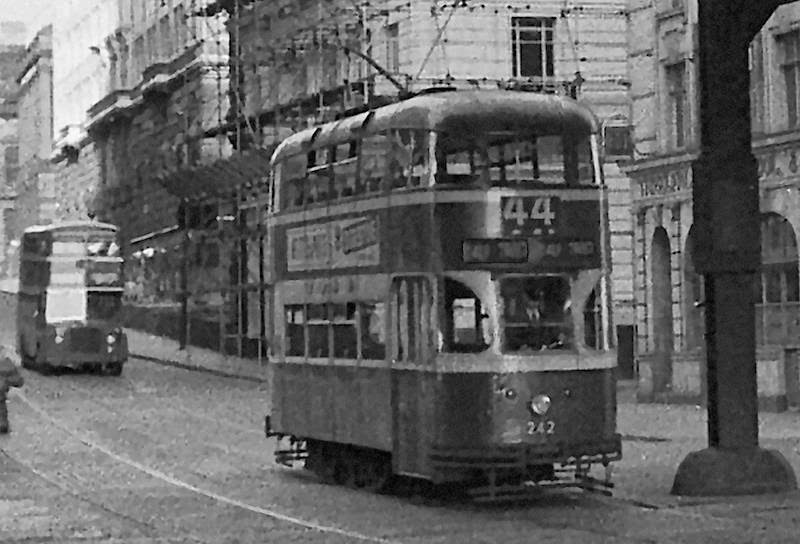 5 ‘Green Goddess’ tram at the Pier Head. 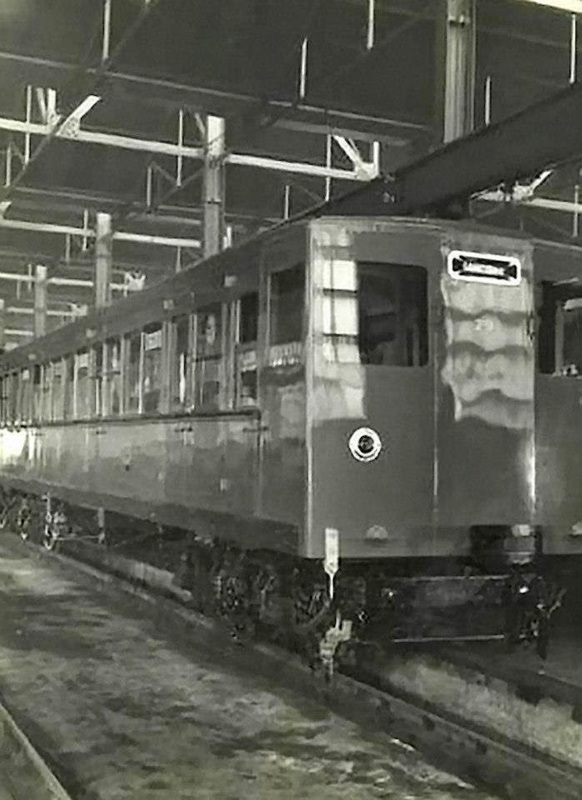 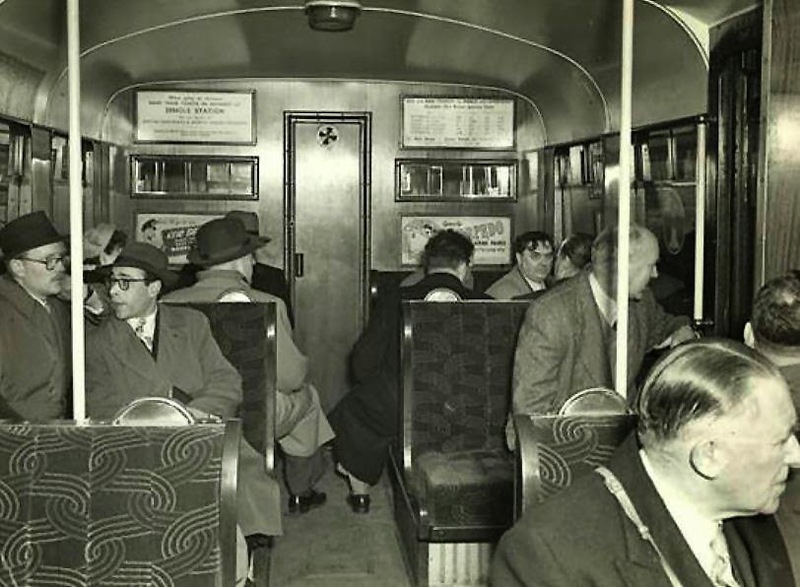 the modern streamlined car 940 was introduced from 1936.
maiden voyage to New York 17th June 1939. 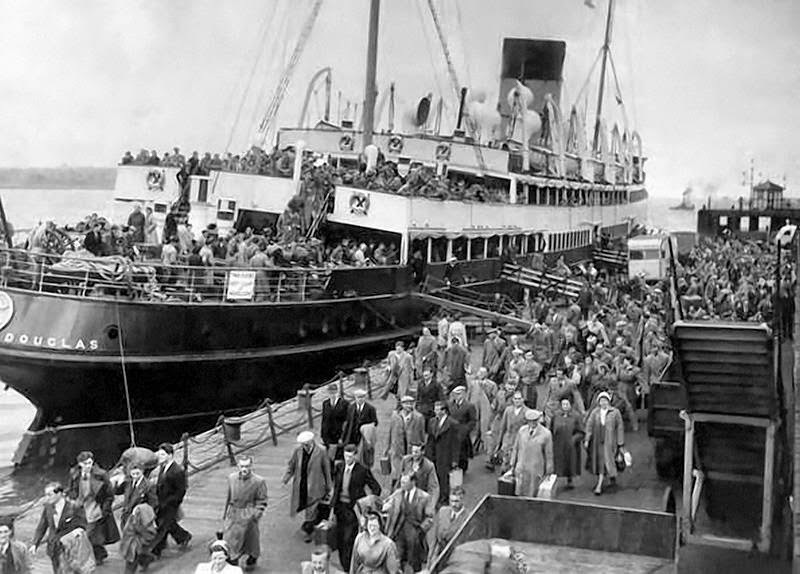 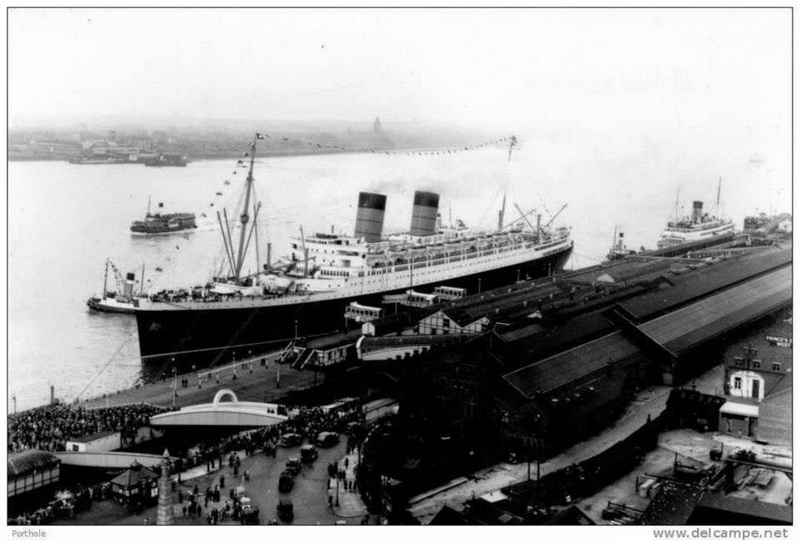 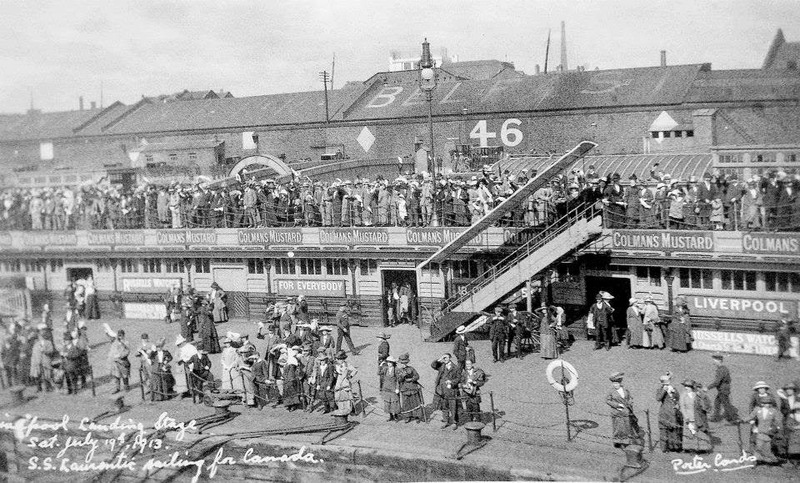 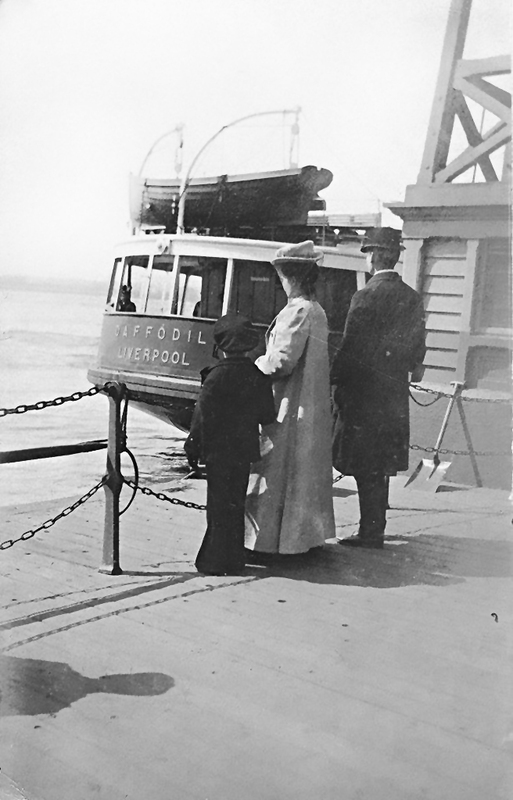 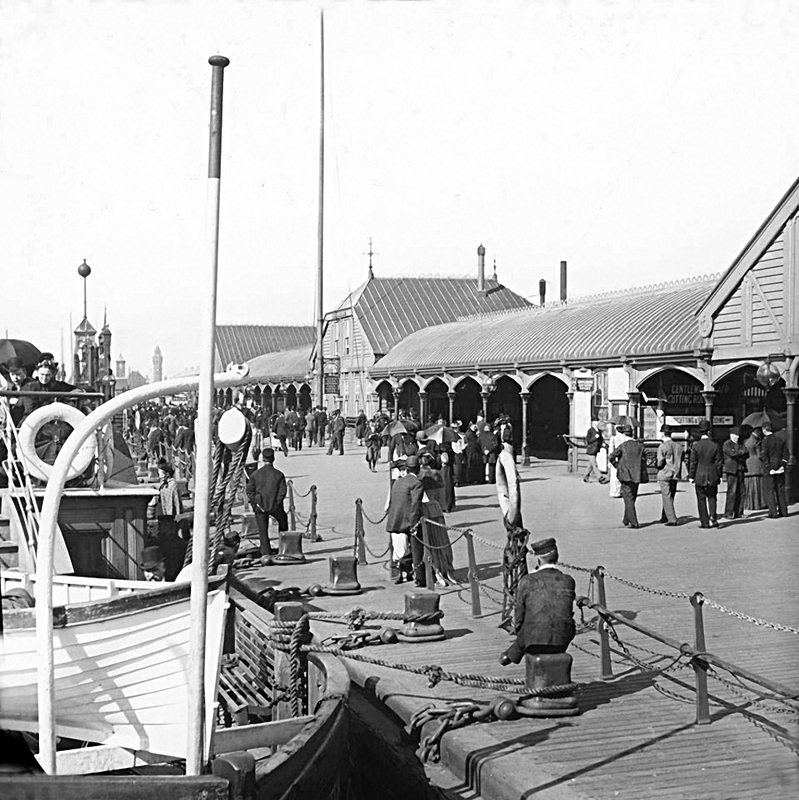 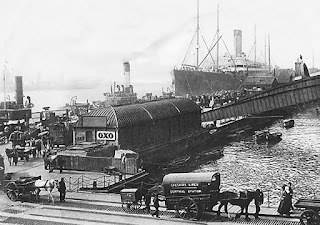 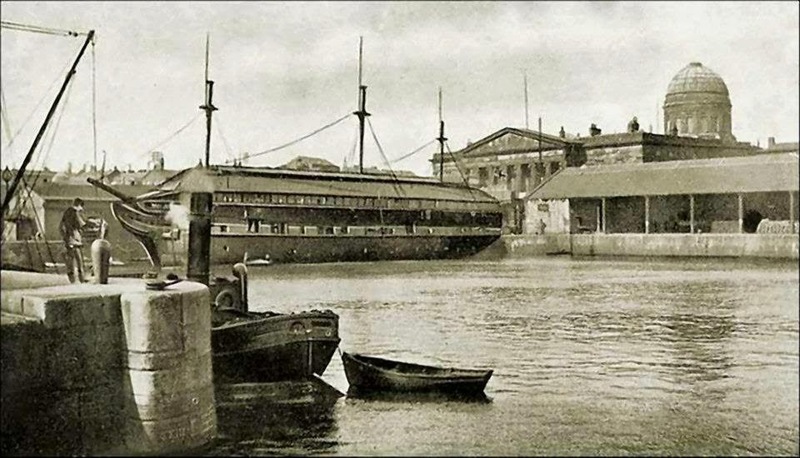 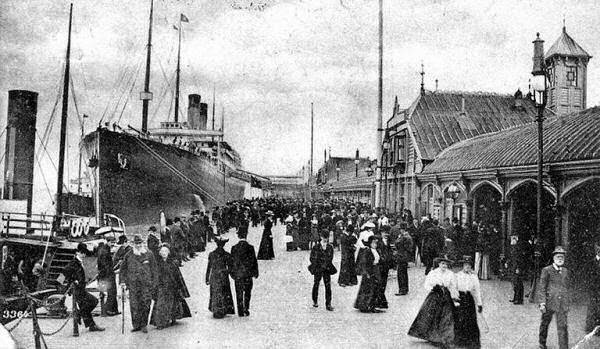 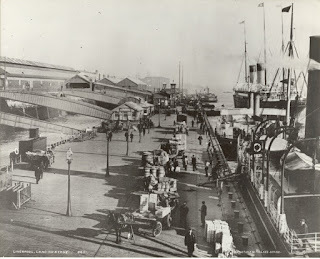 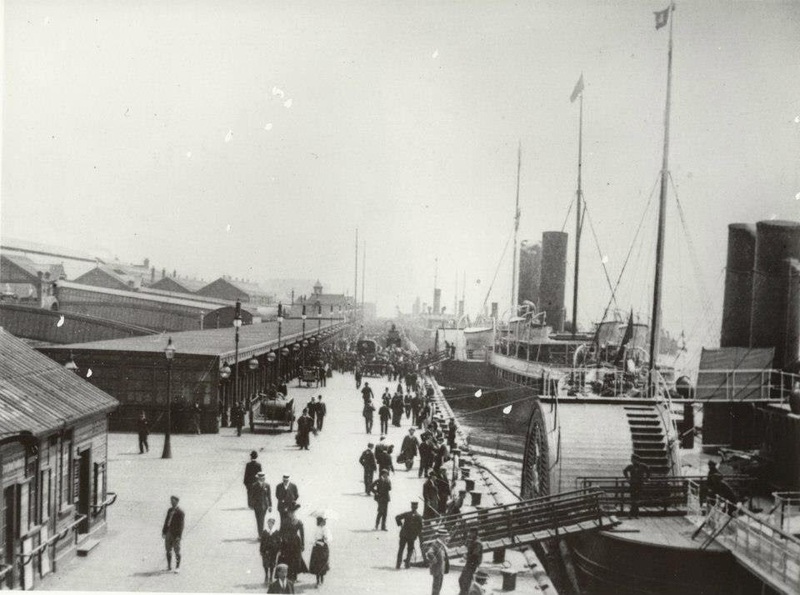 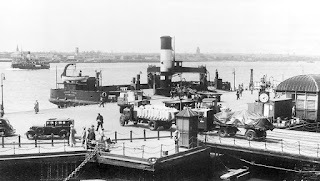 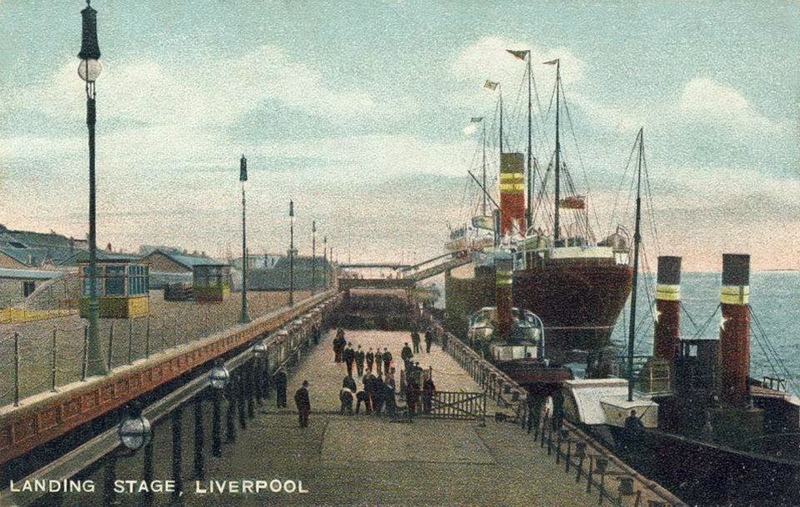 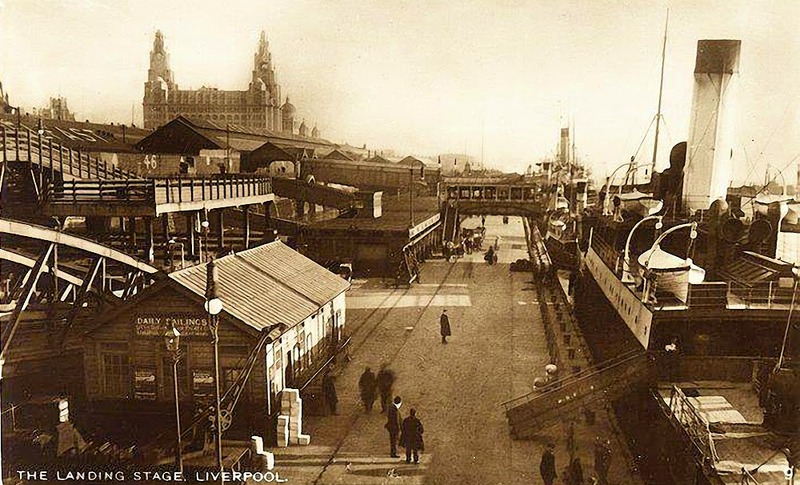 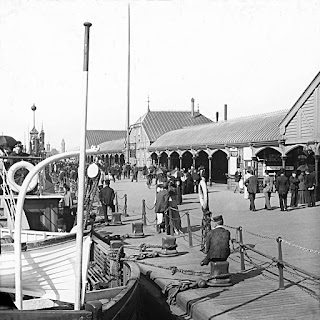 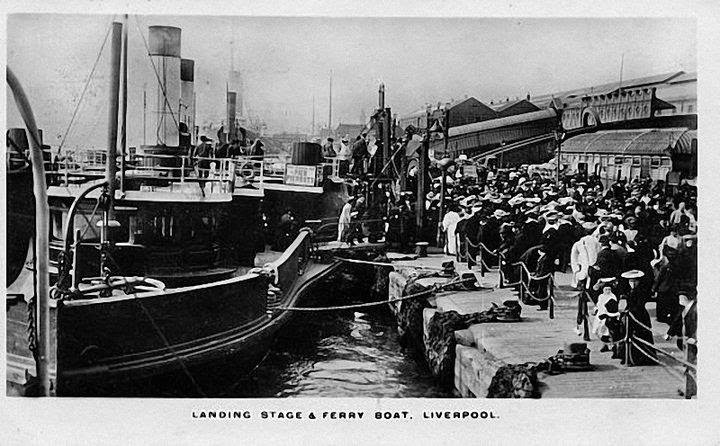 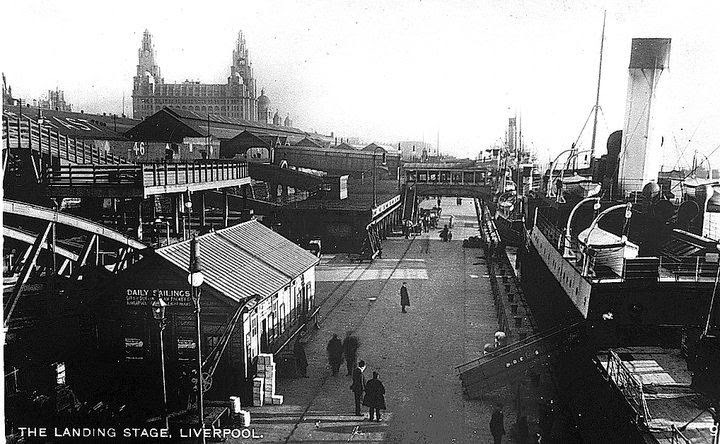 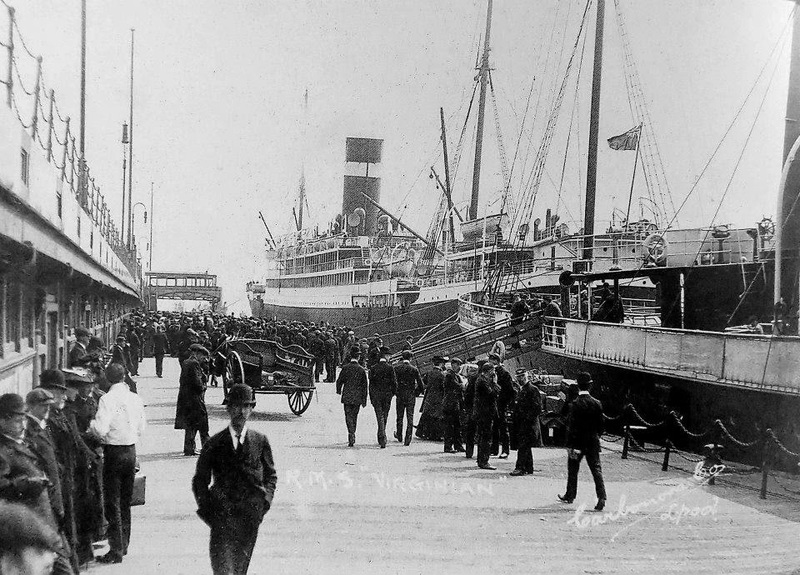 S.S. Celtic (postcard) pictured at the landing stage in Liverpool. 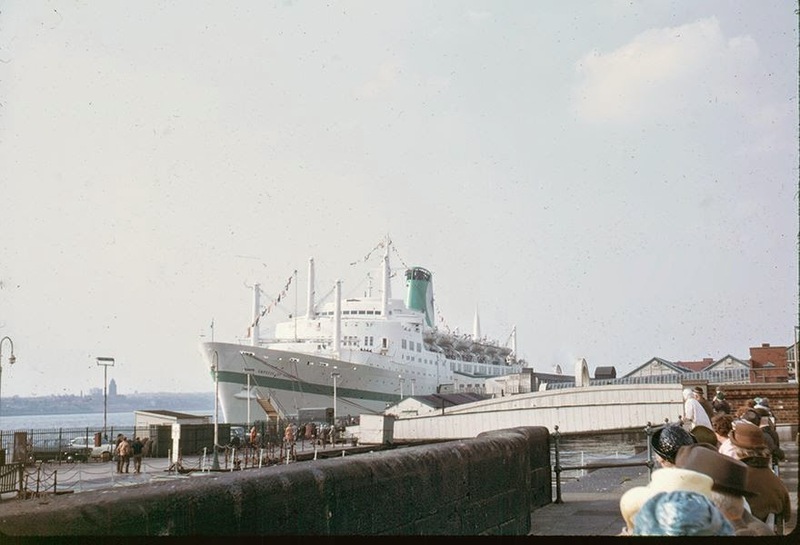 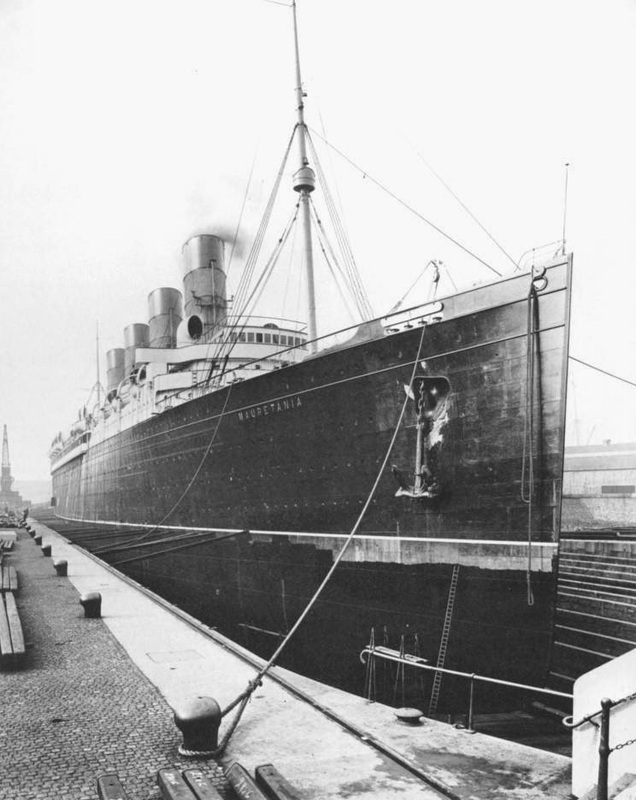 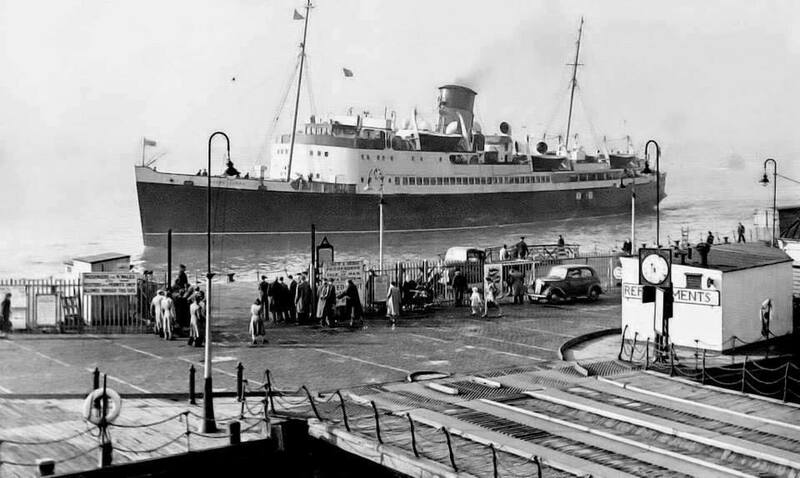 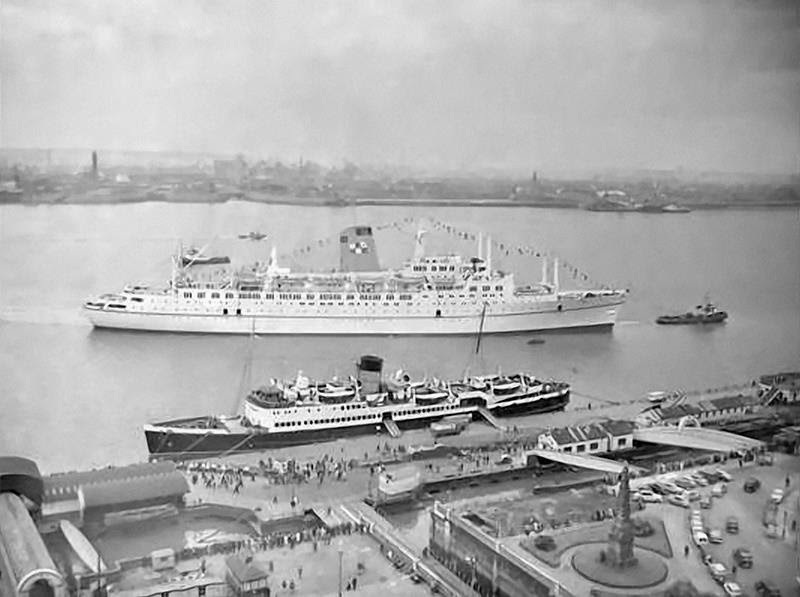 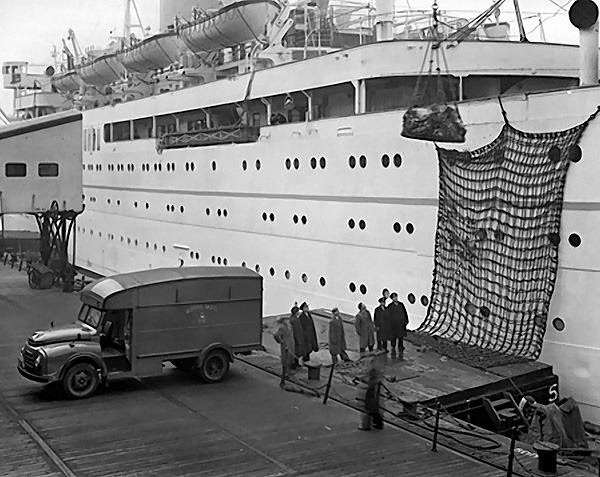 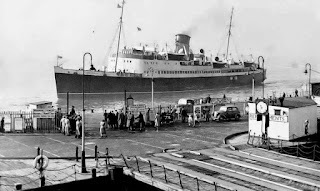 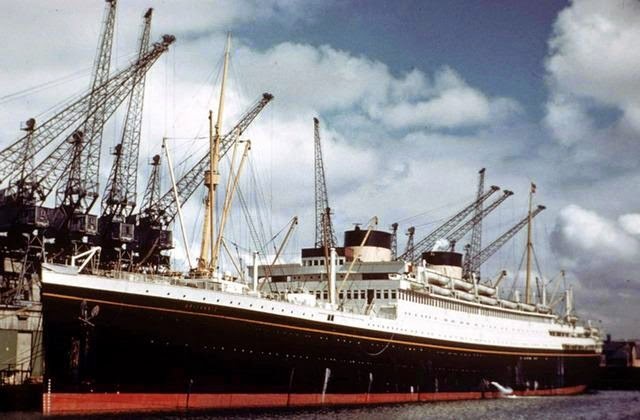 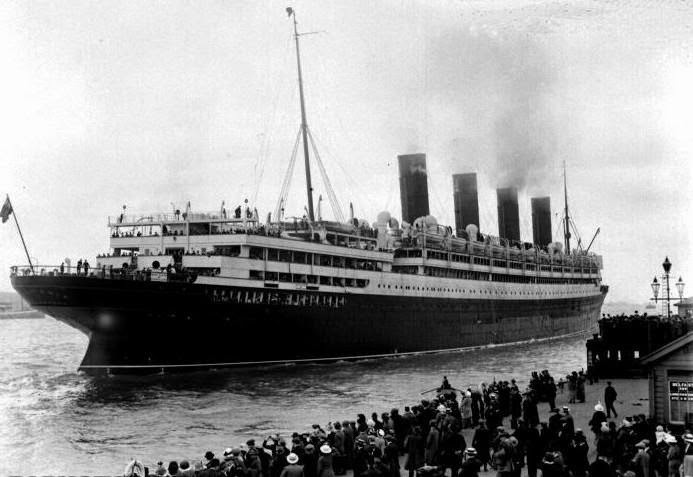 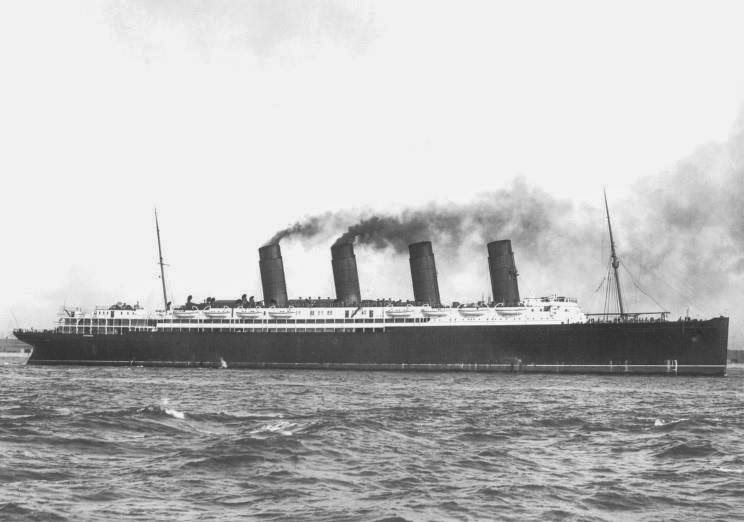 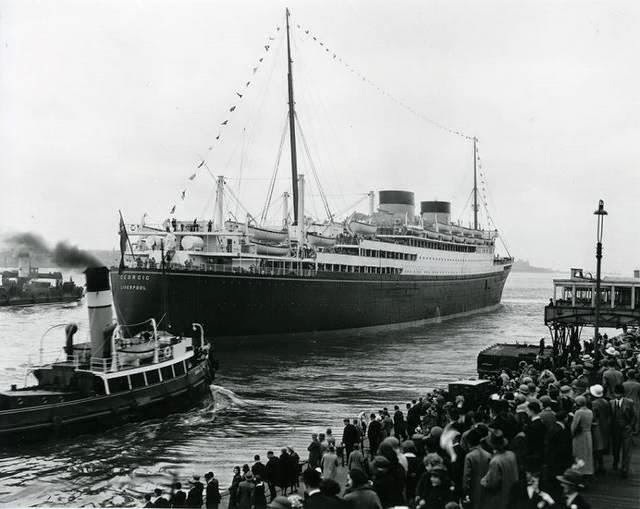 This White Star liner was in regular service sailing from Liverpool. 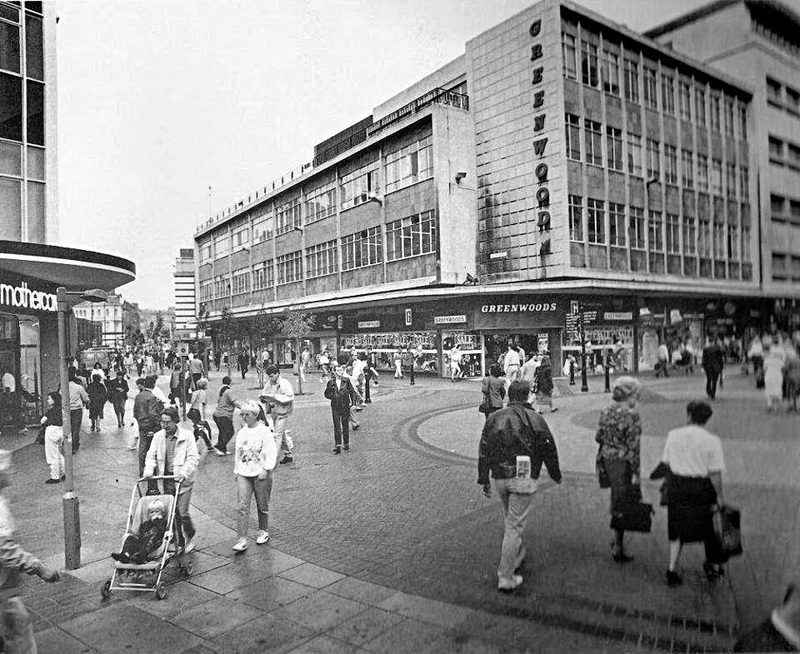 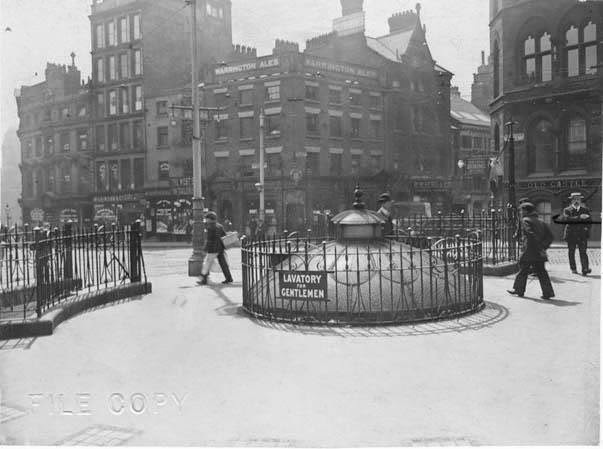 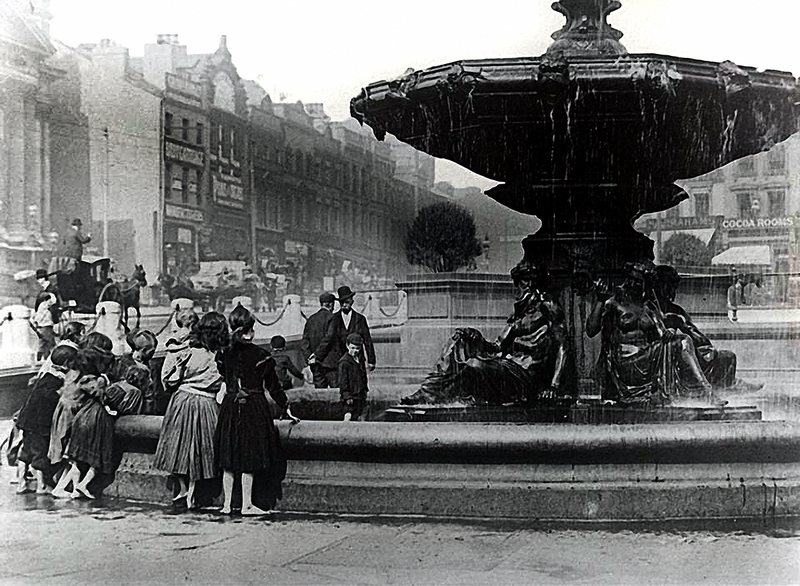 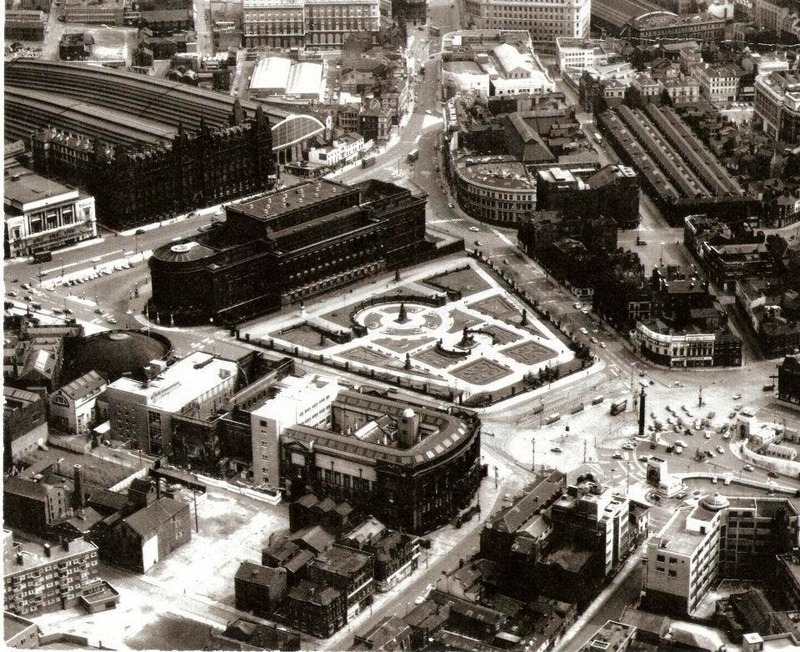 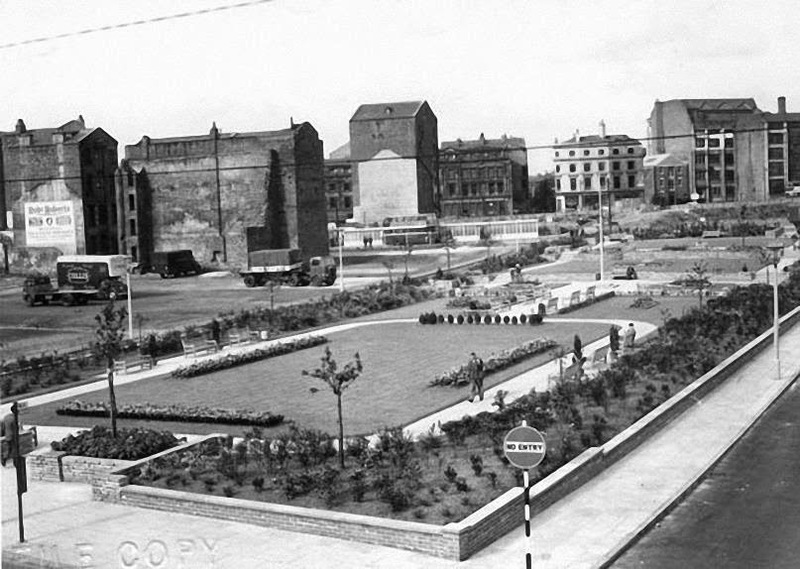 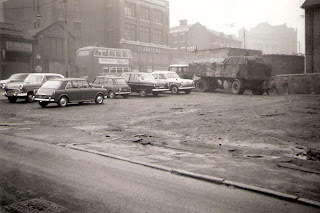 now Derby Square. 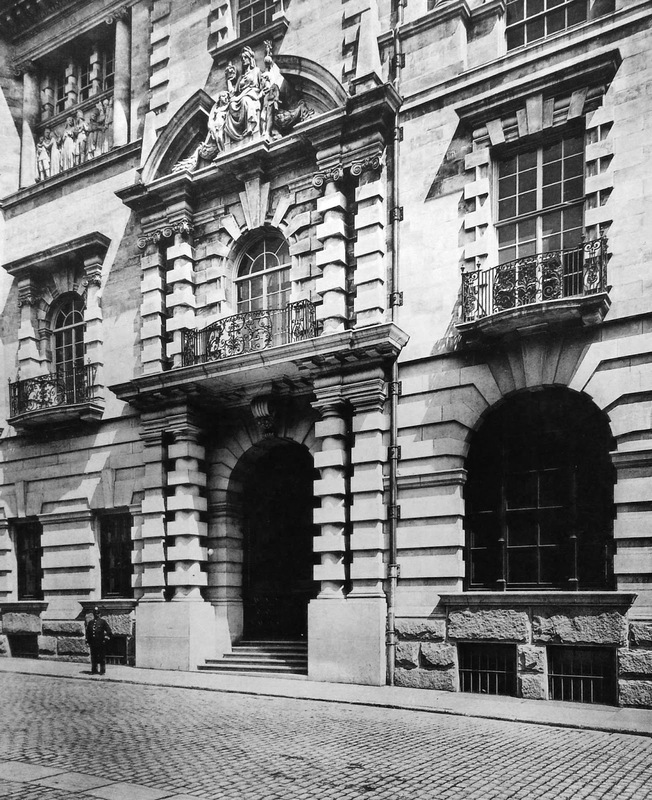 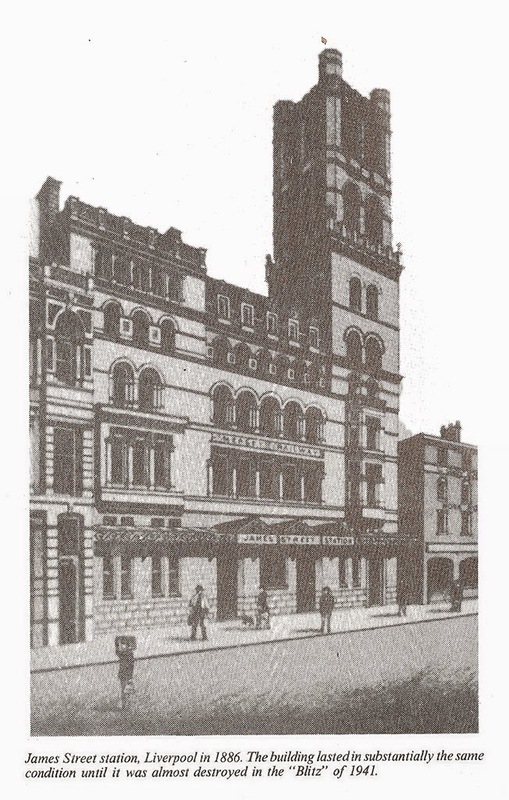 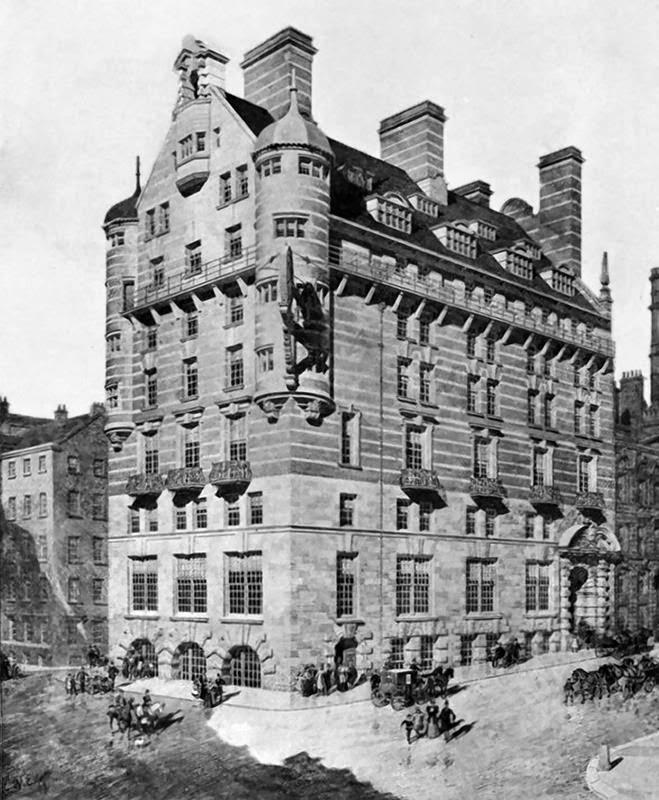 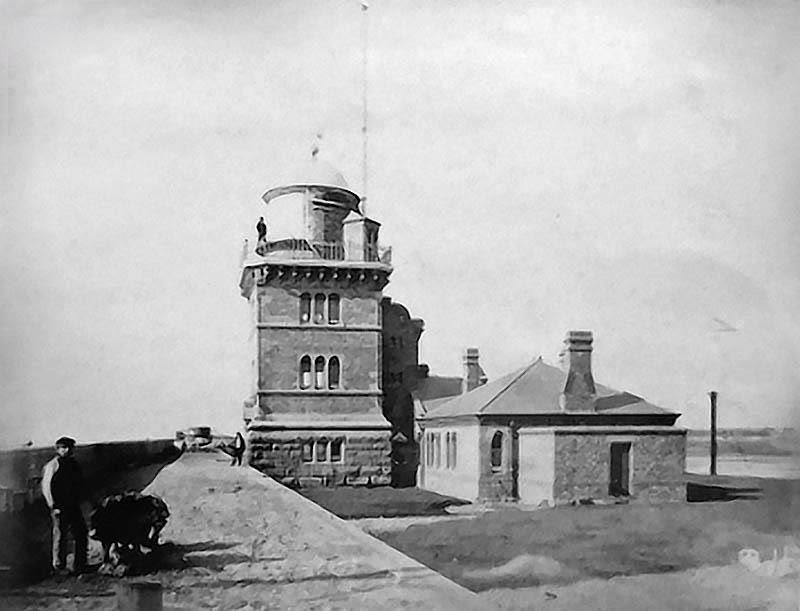 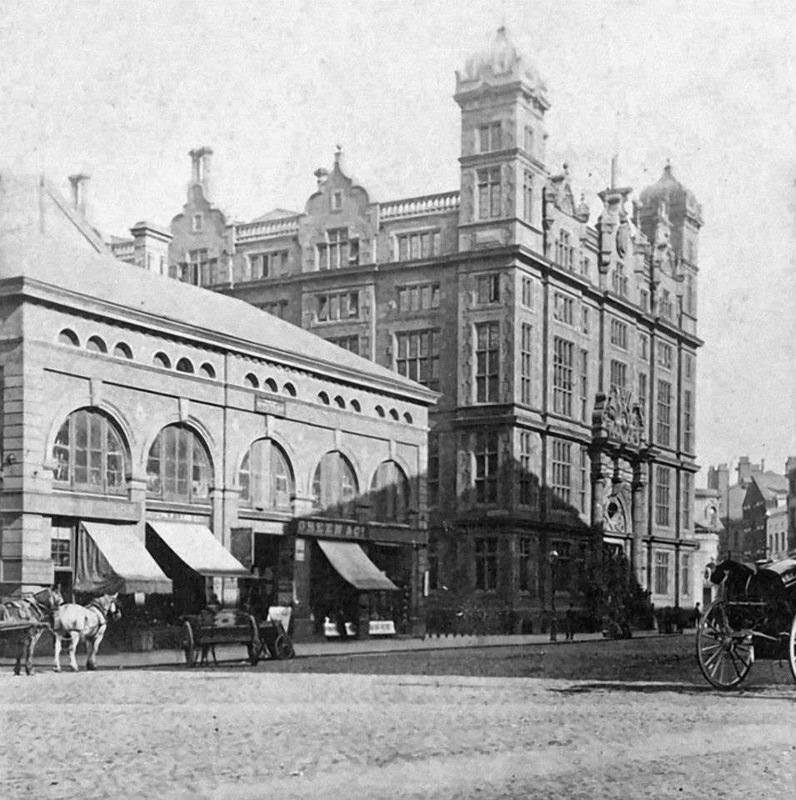 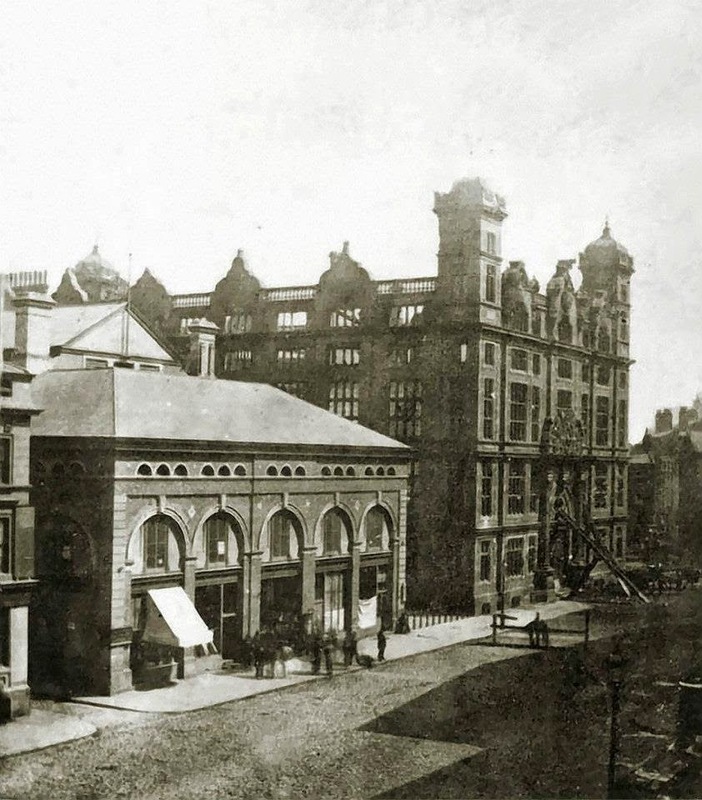 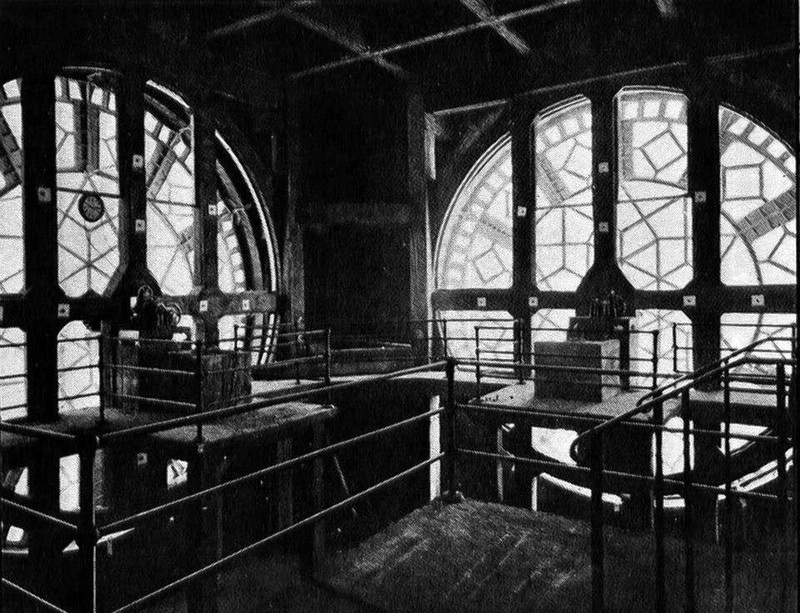 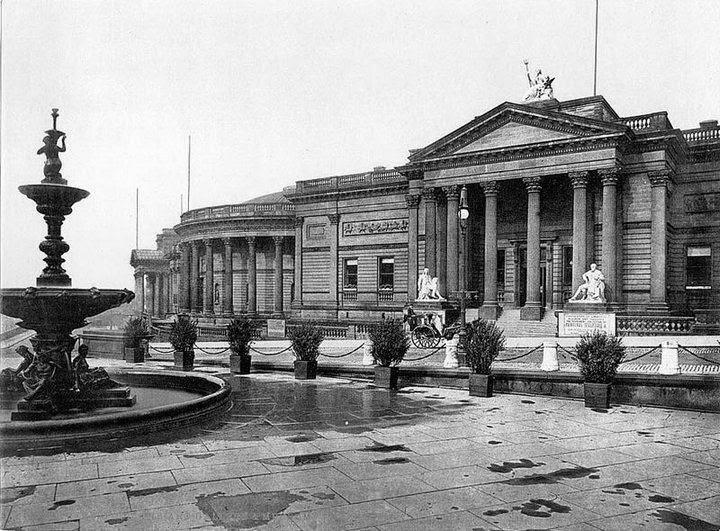 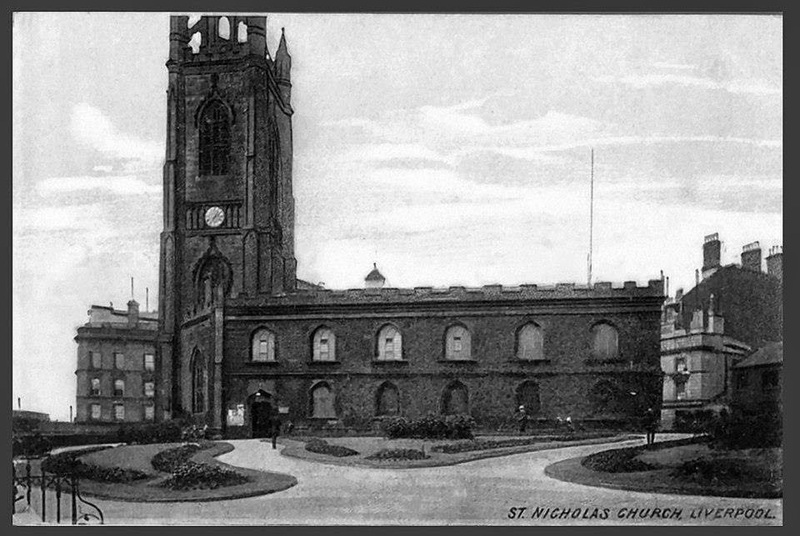 It was demolished in 1899. 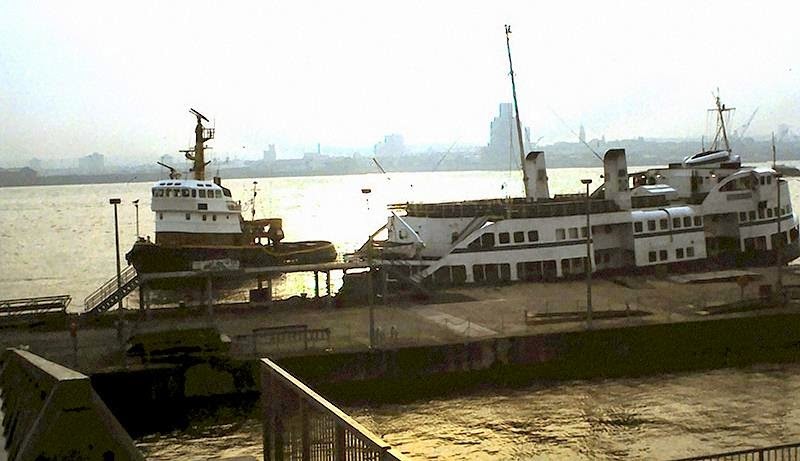 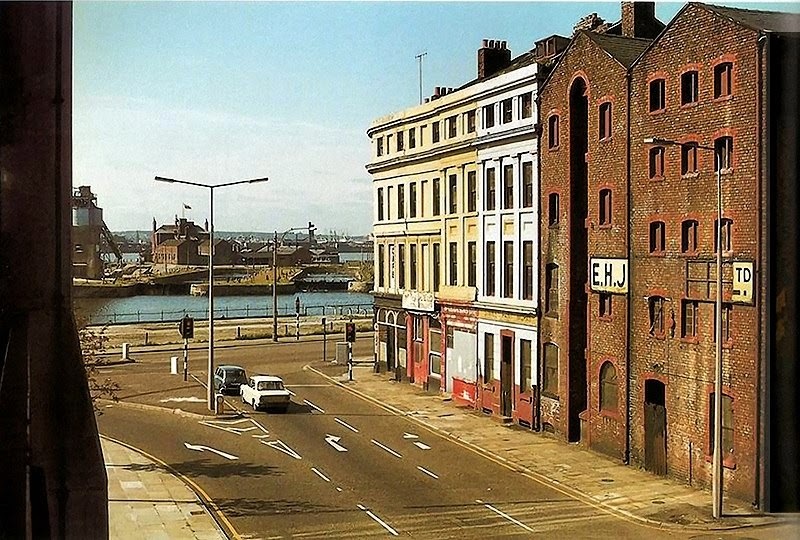 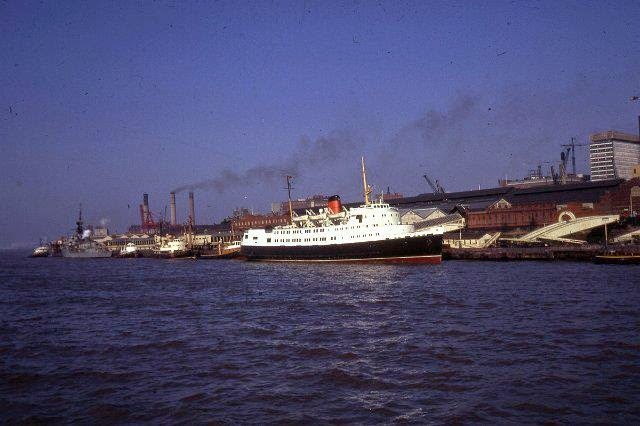 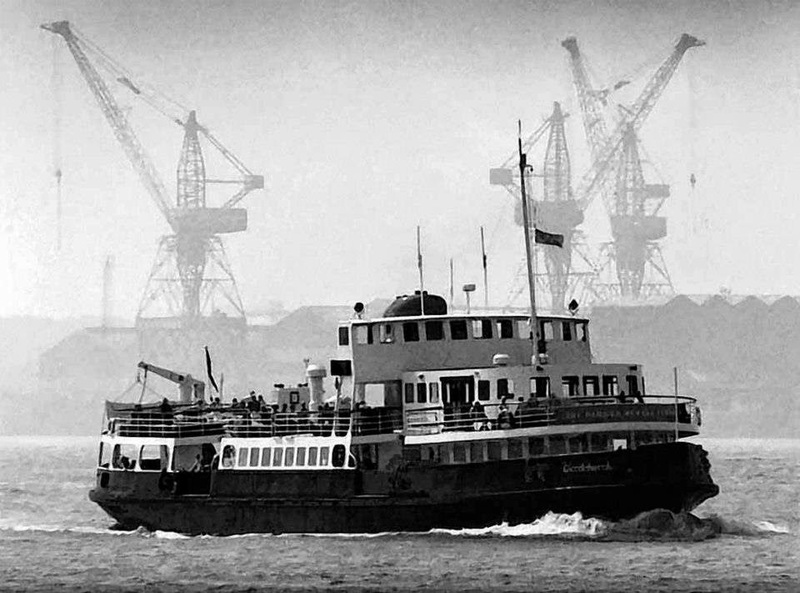 Stock Exchange, Exchange Street East 1976.
on the River Mersey at the start of her maiden voyage. 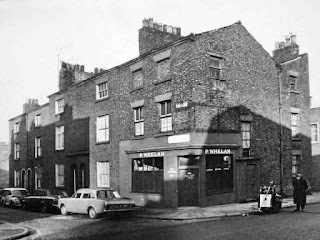 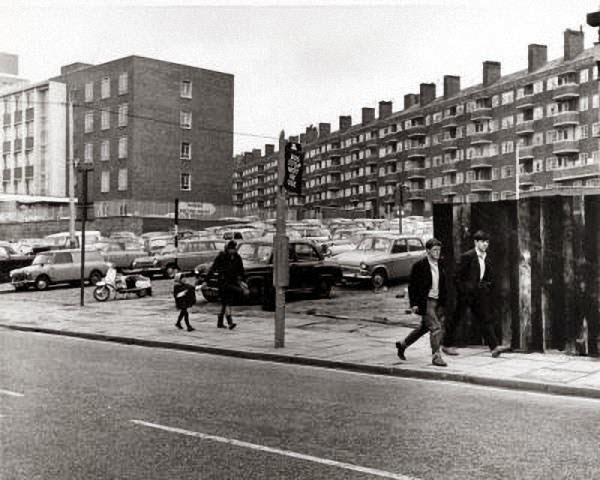 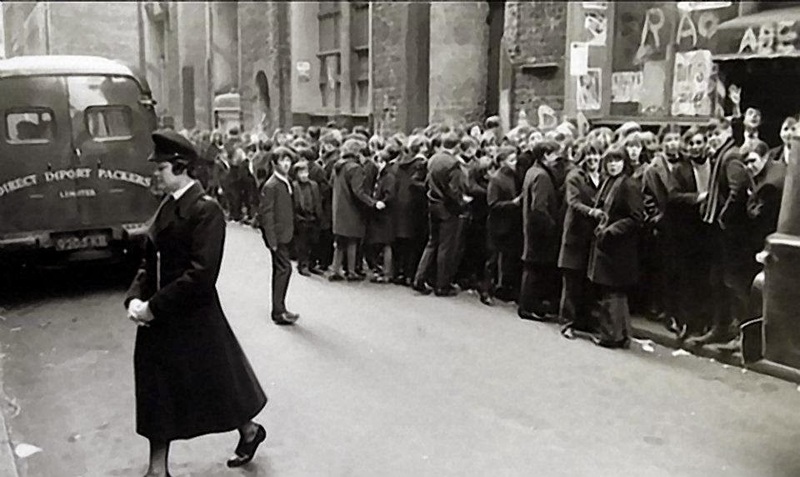 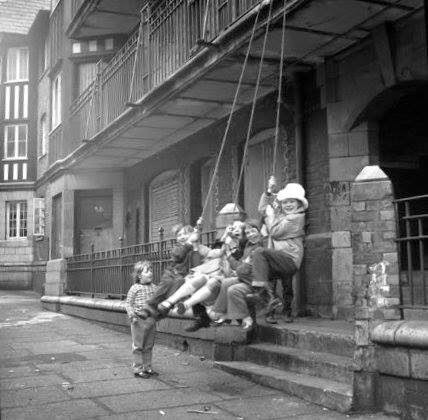 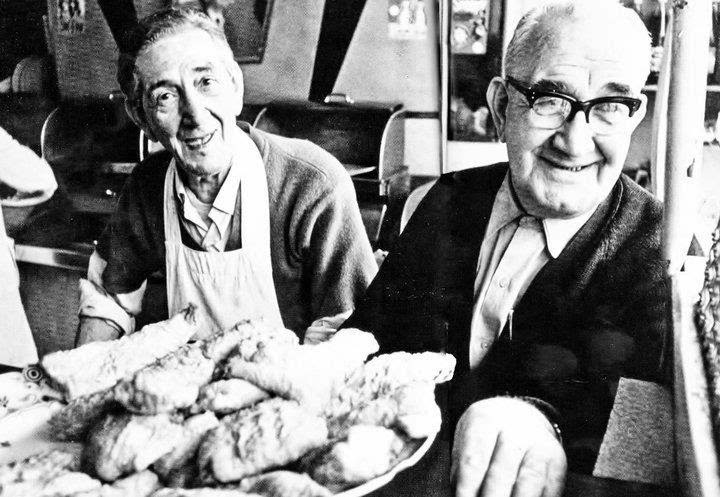 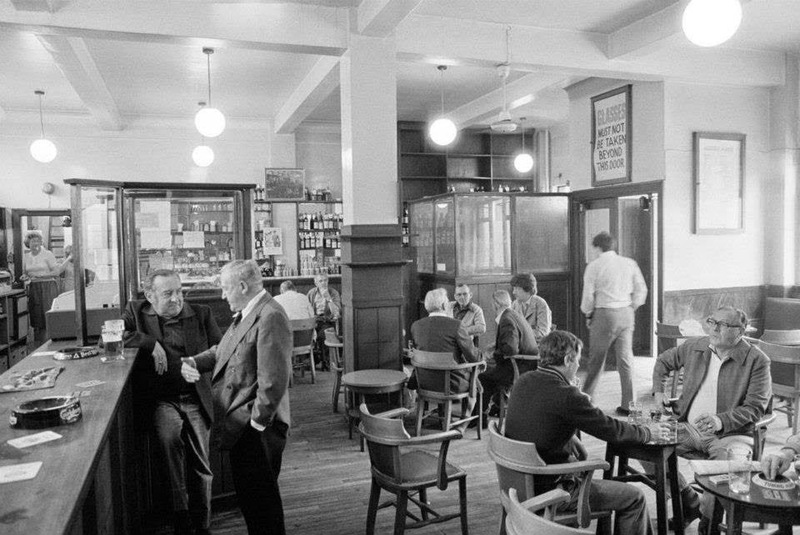 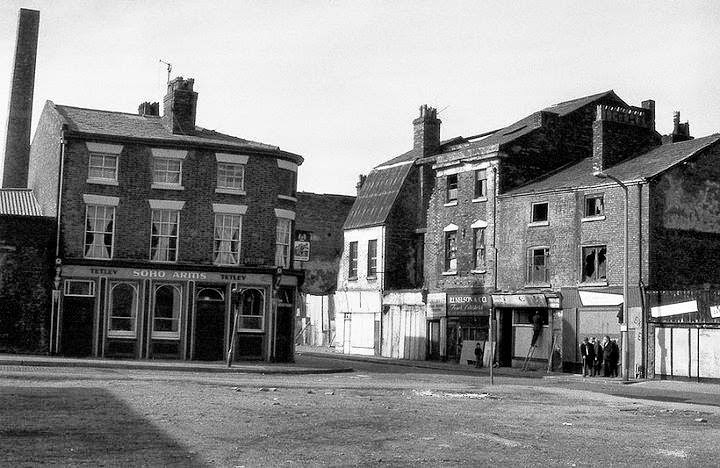 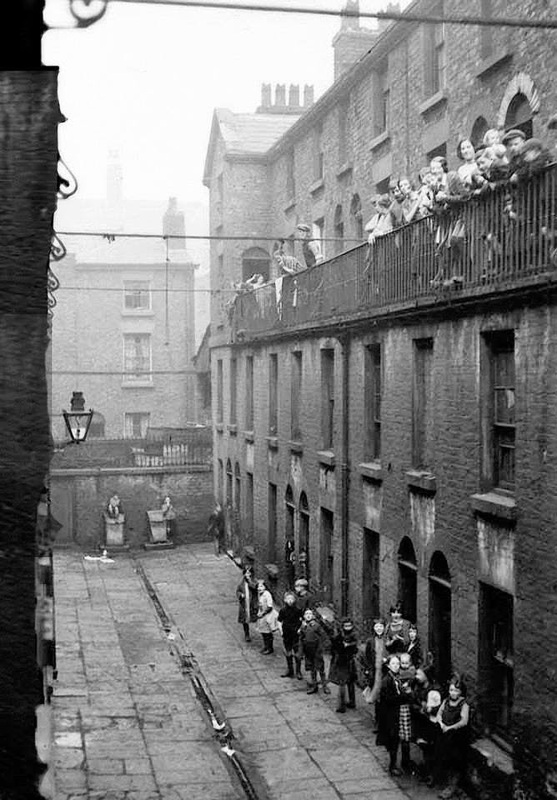 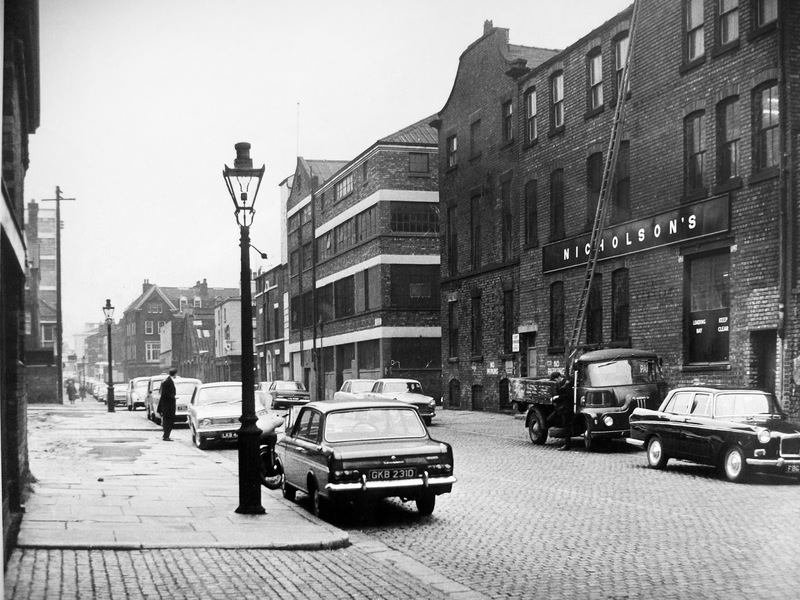 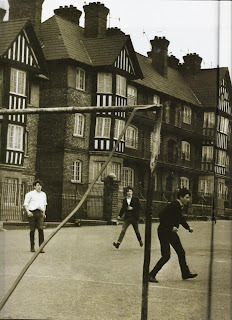 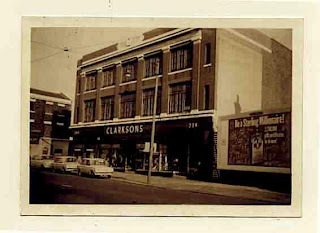 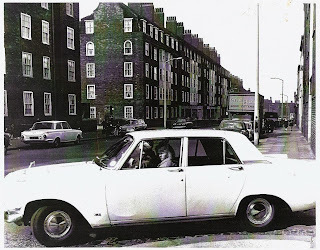 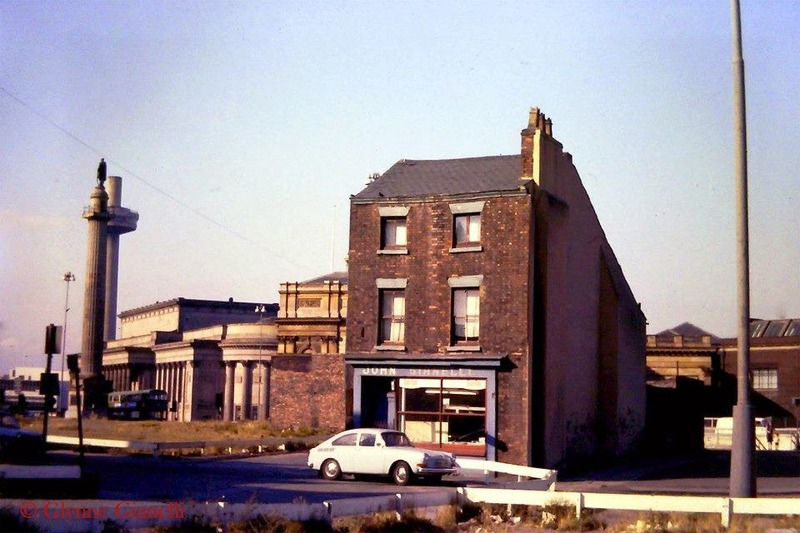 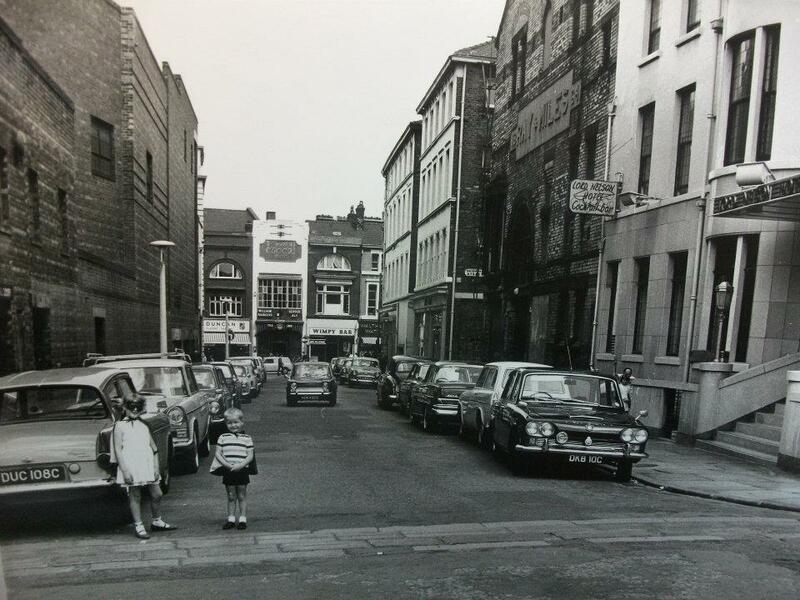 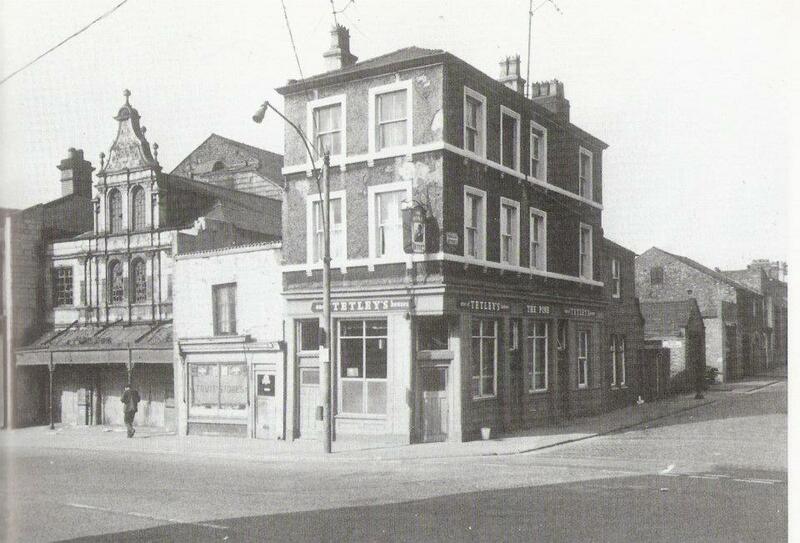 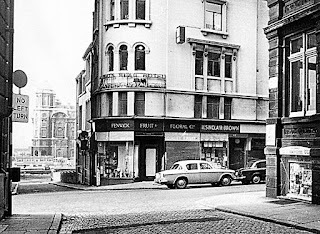 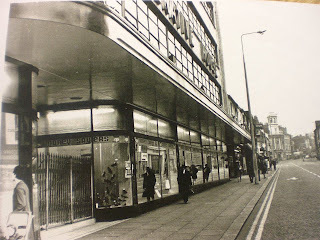 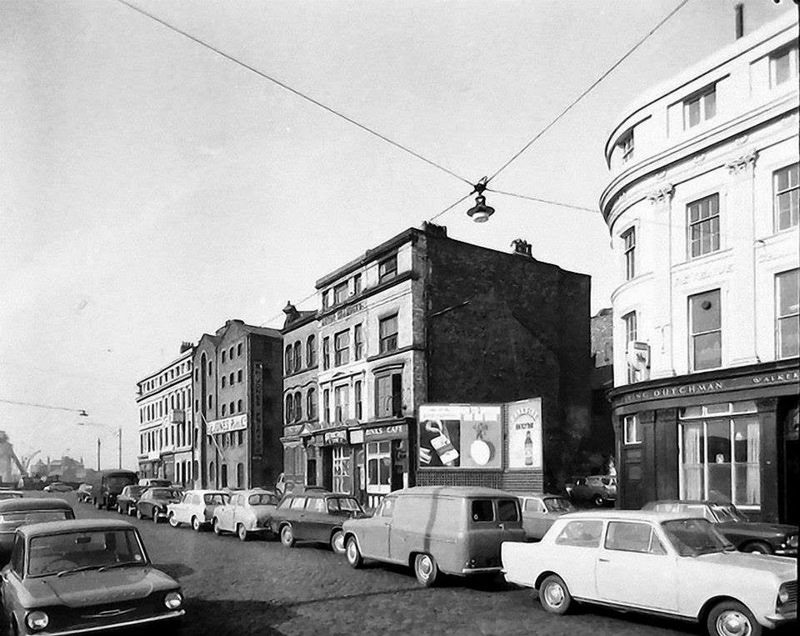 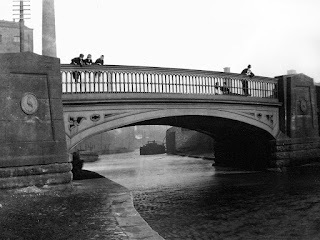 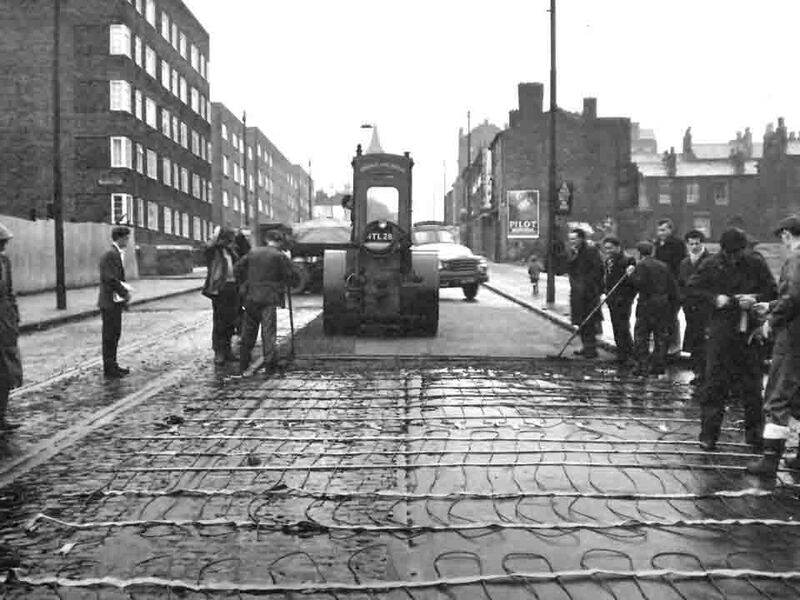 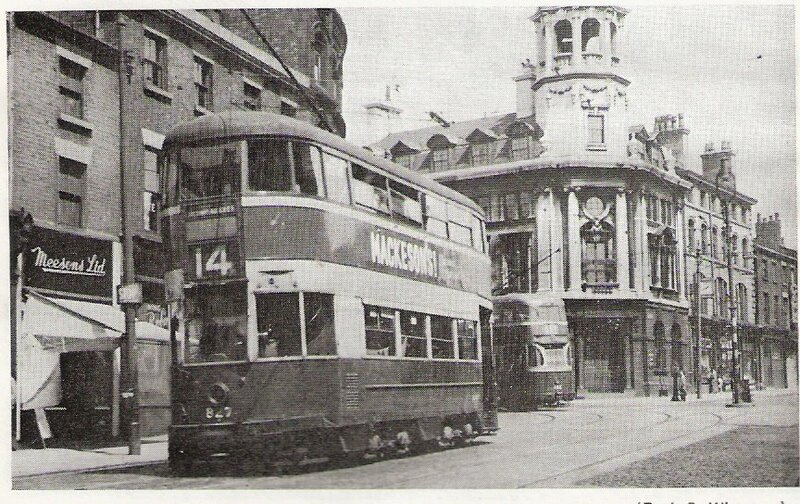 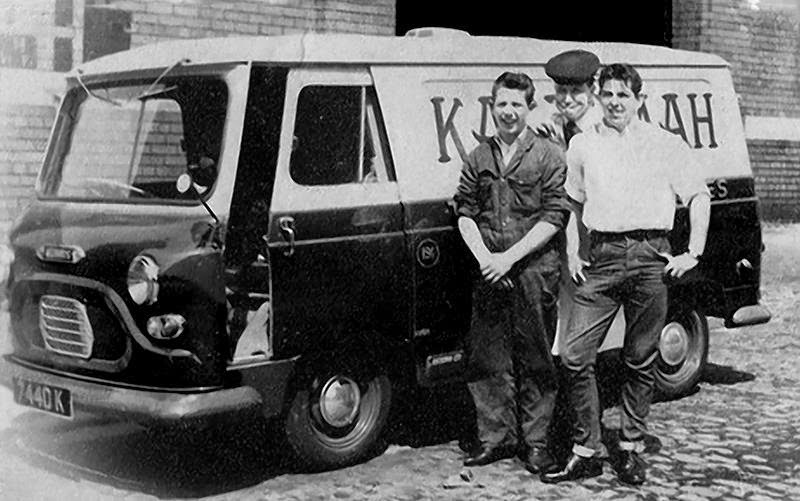 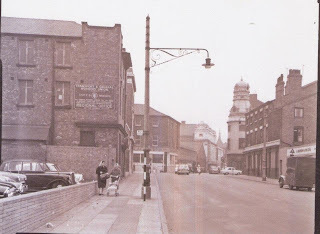 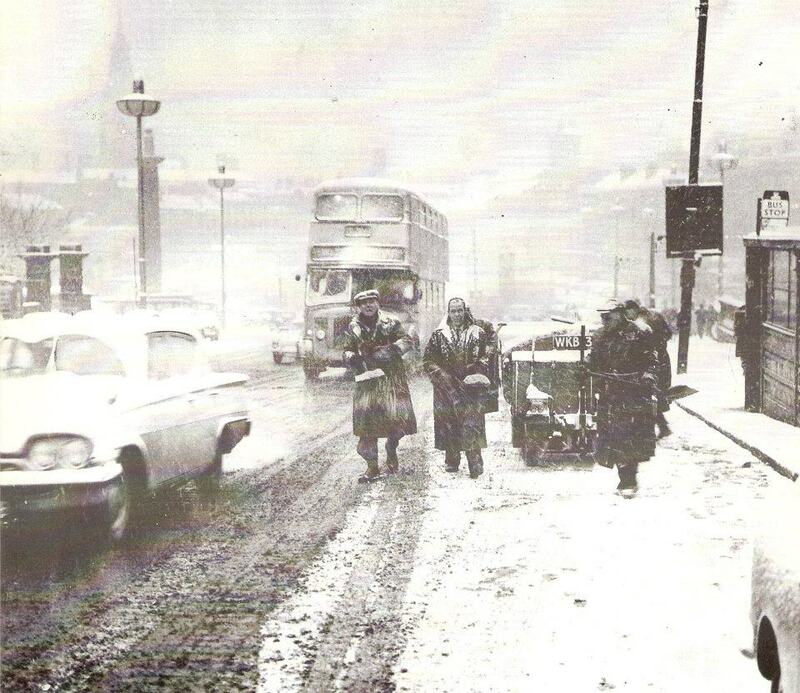 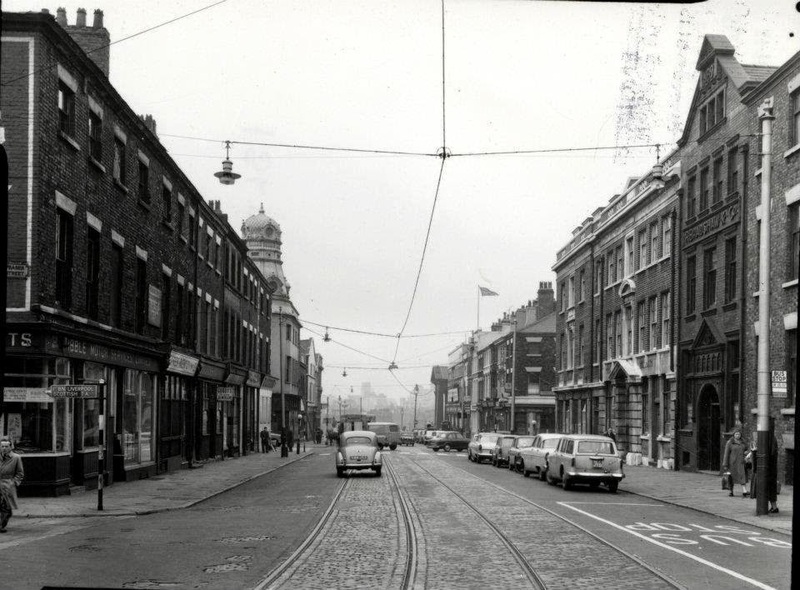 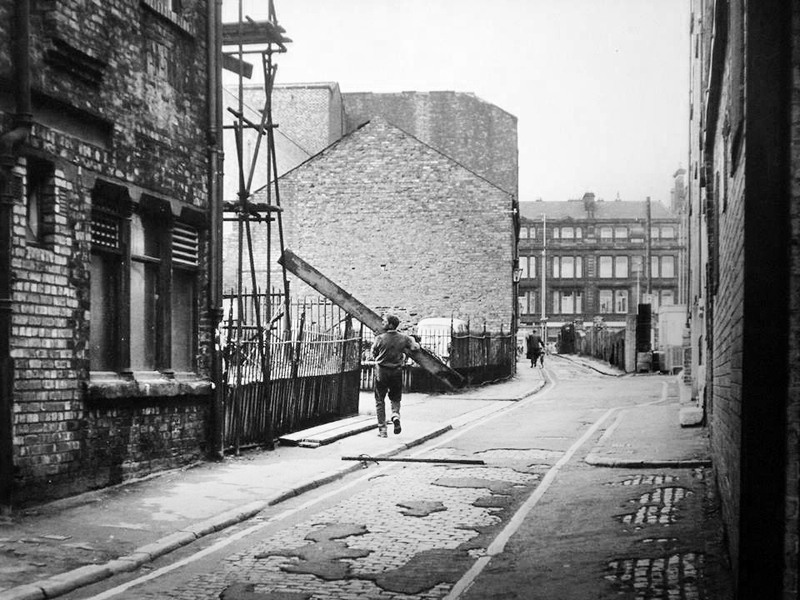 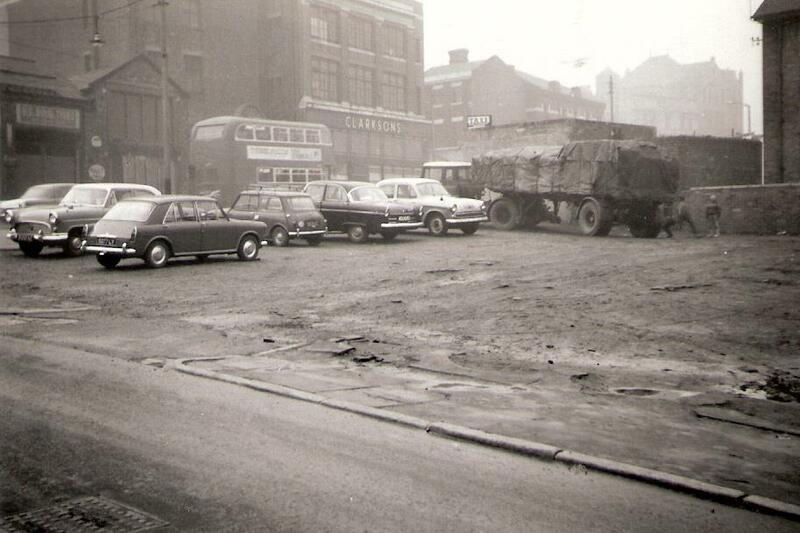 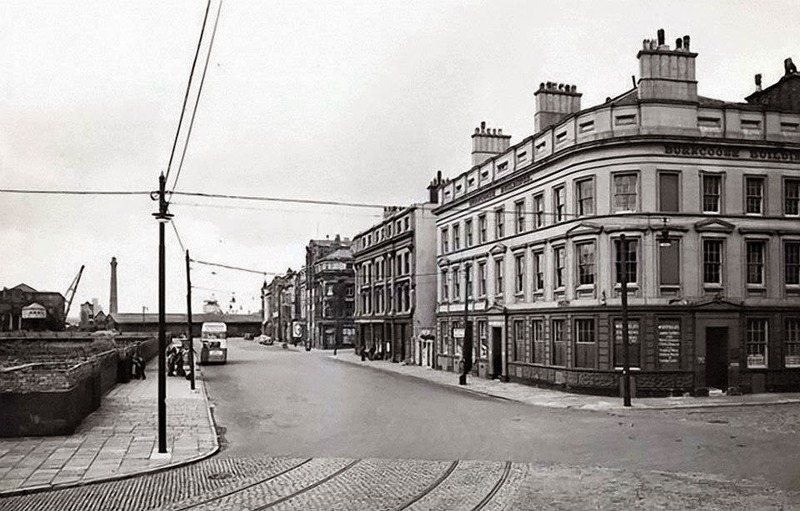 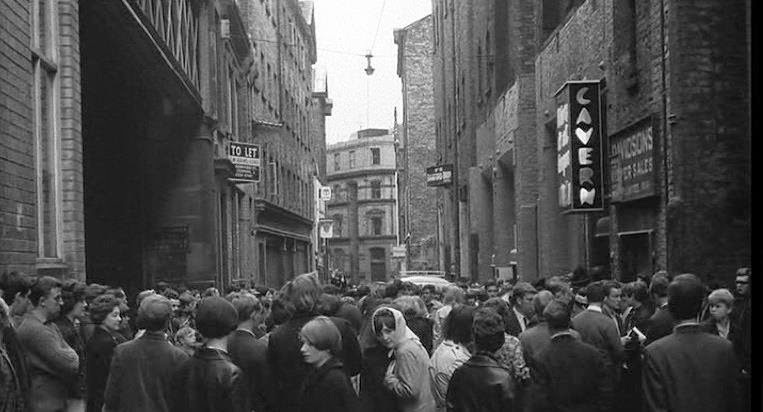 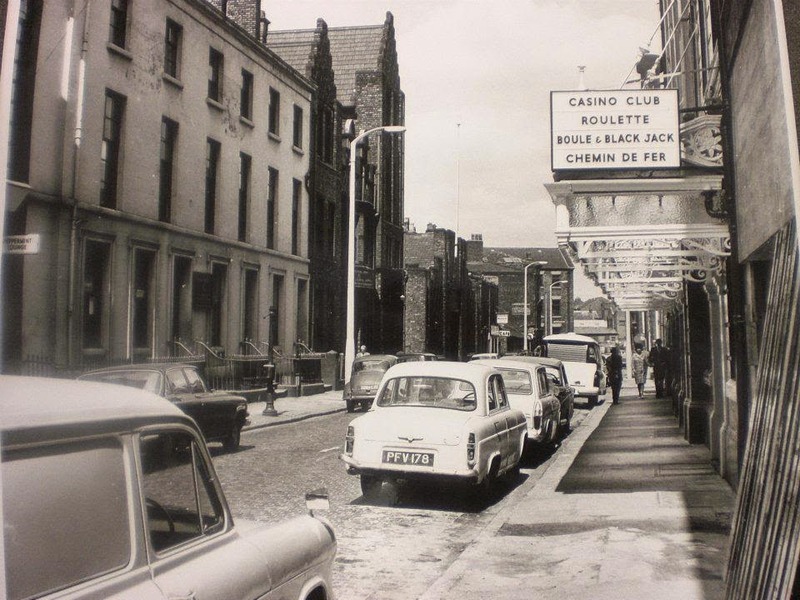 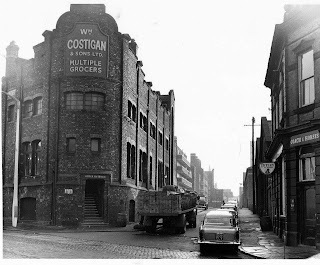 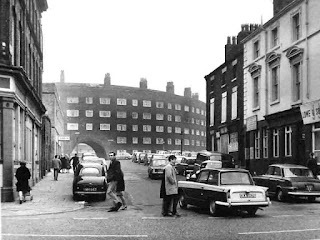 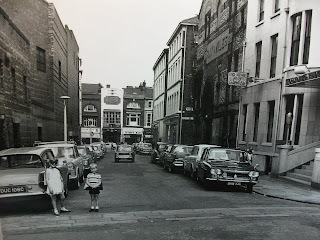 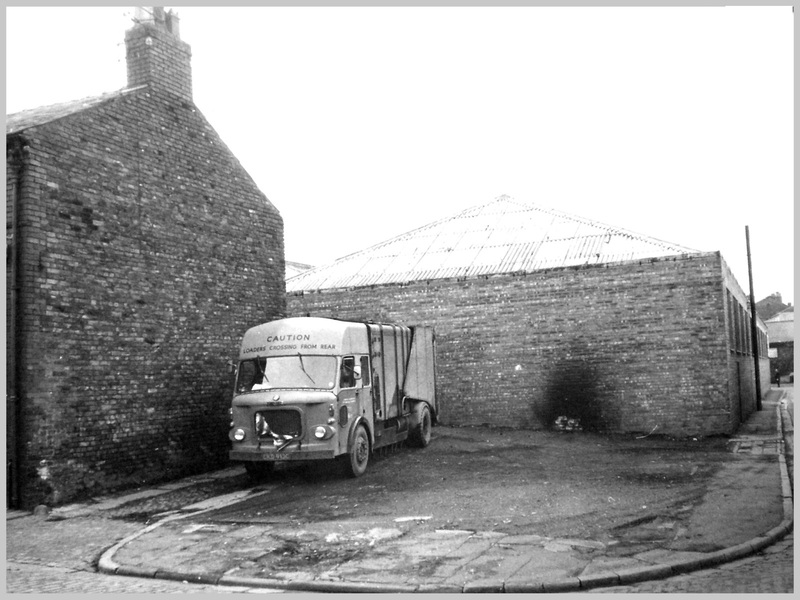 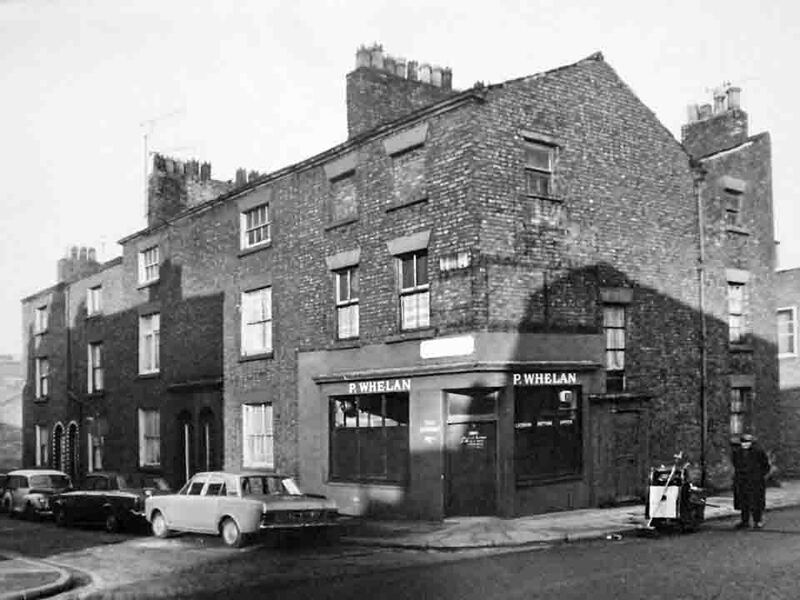 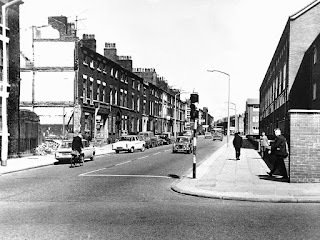 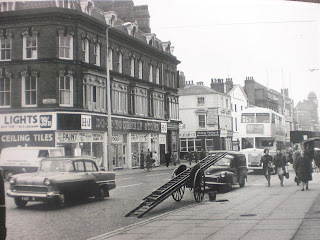 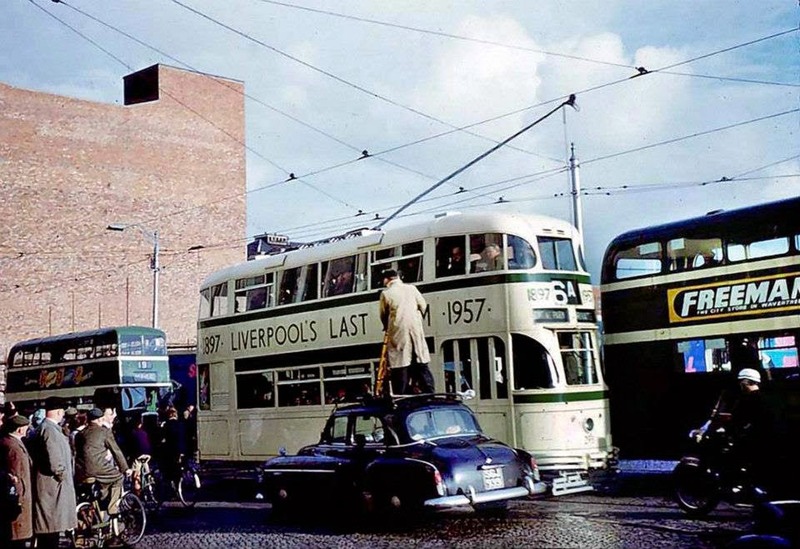 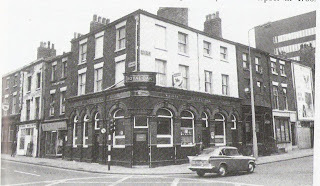 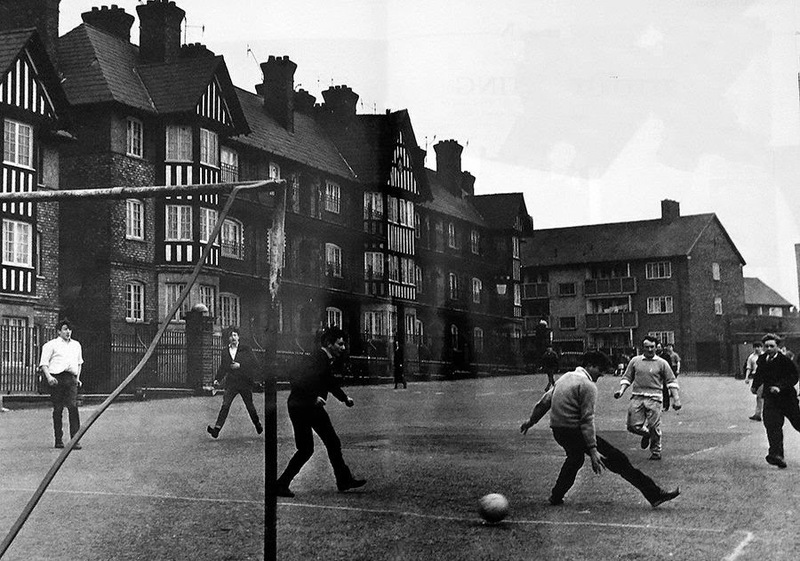 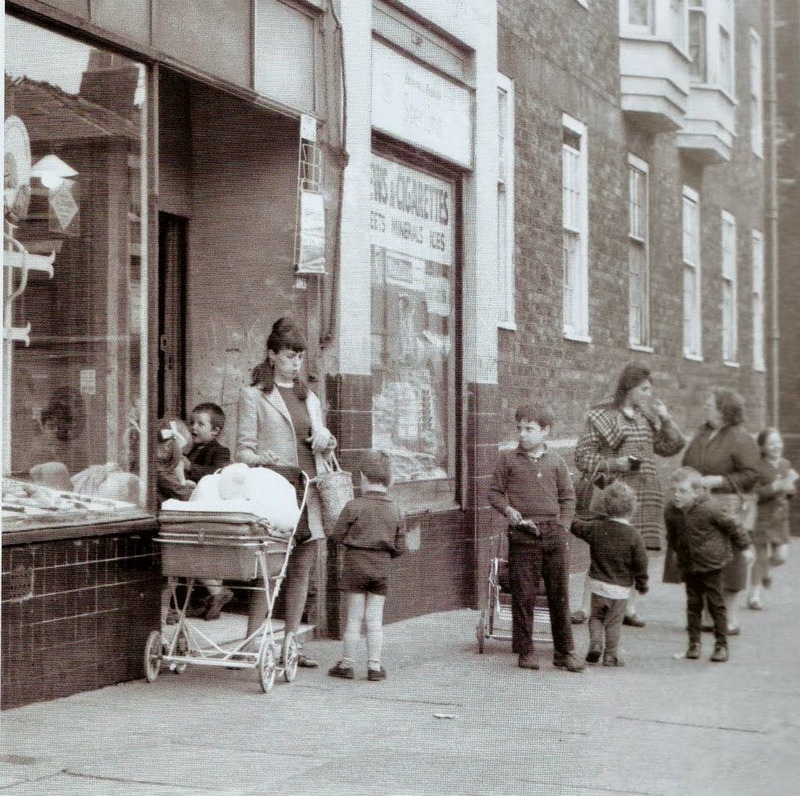 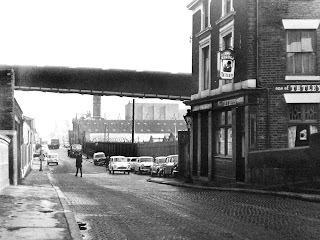 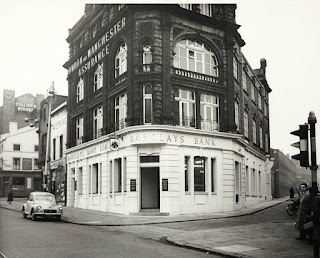 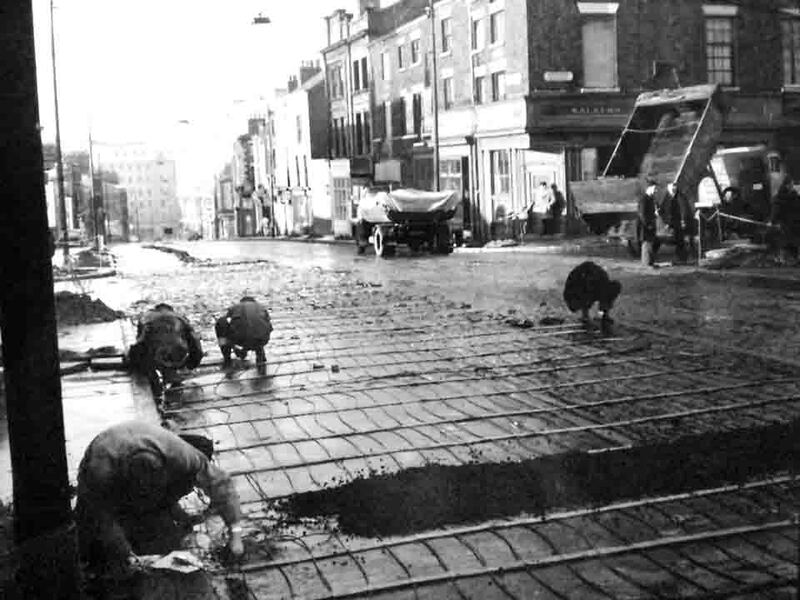 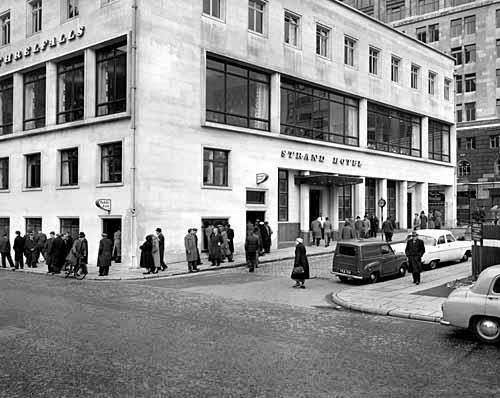 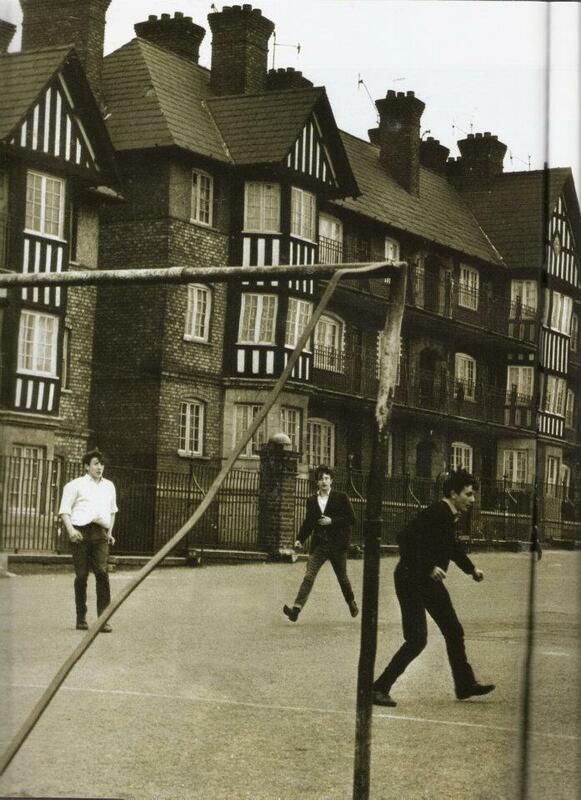 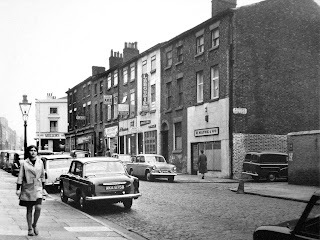 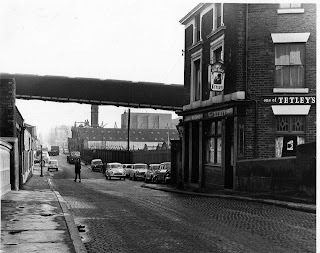 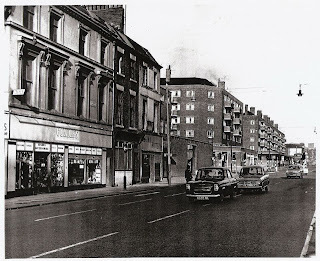 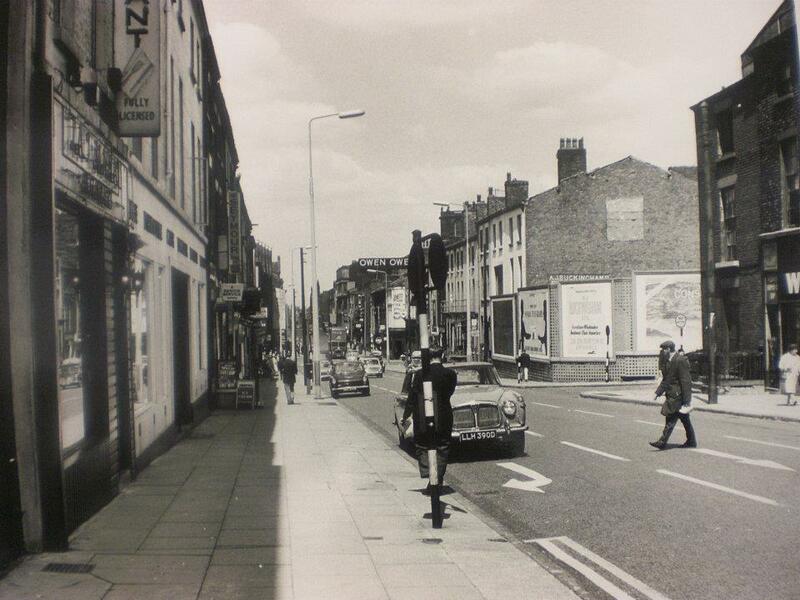 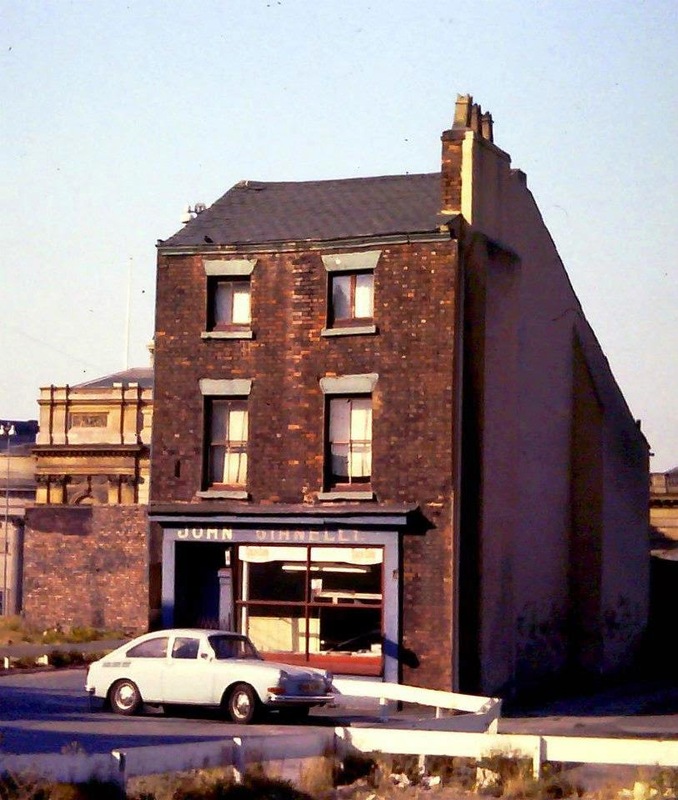 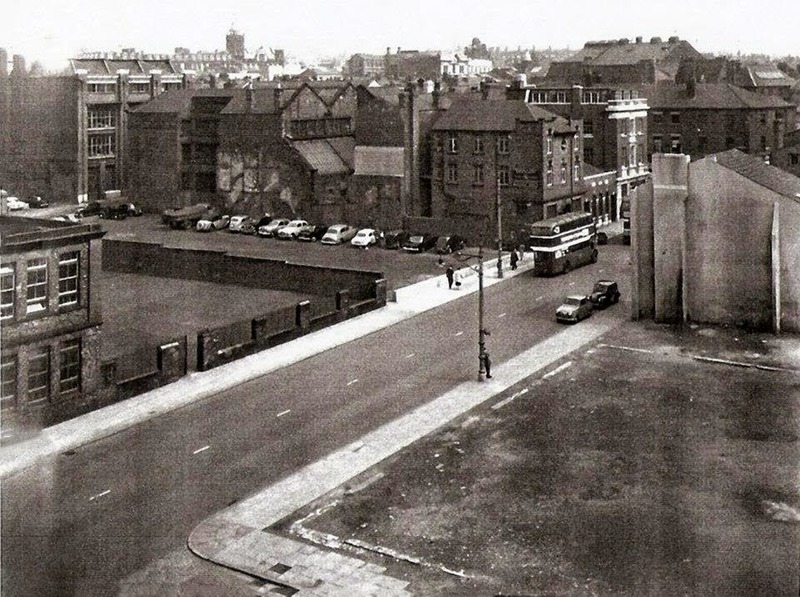 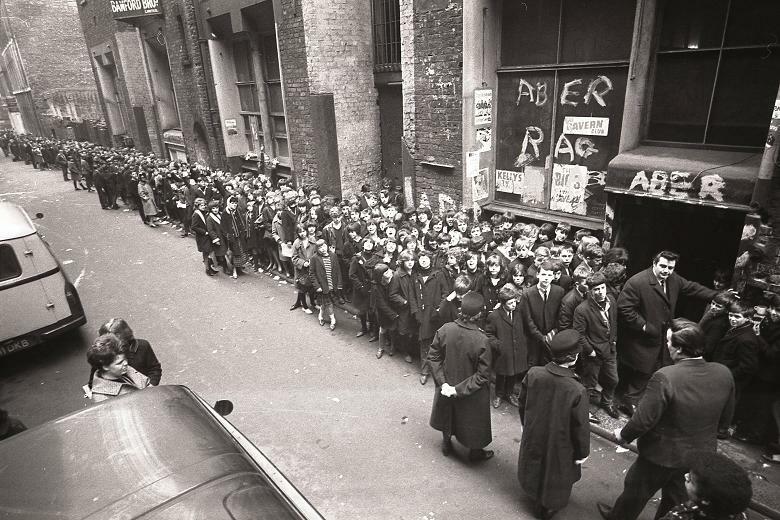 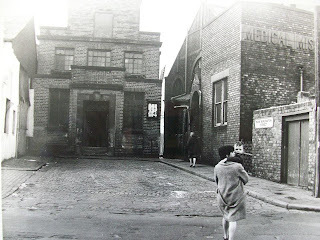 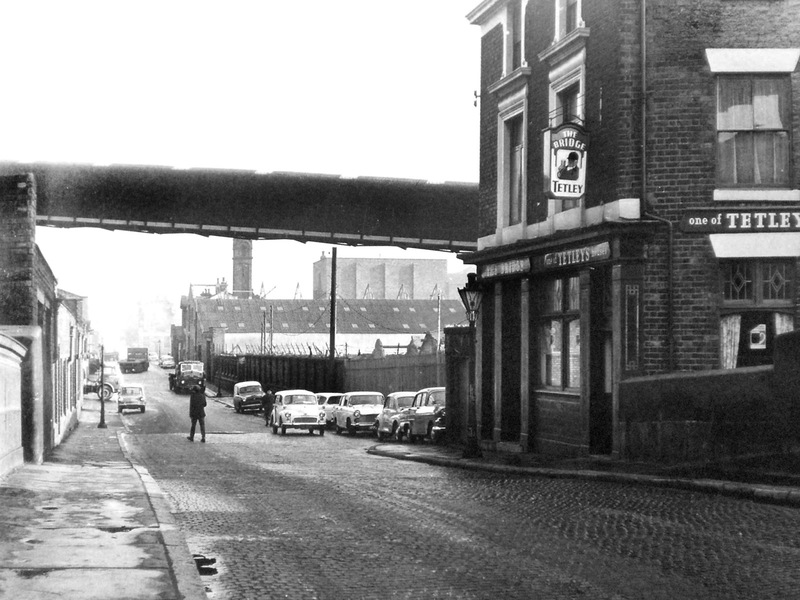 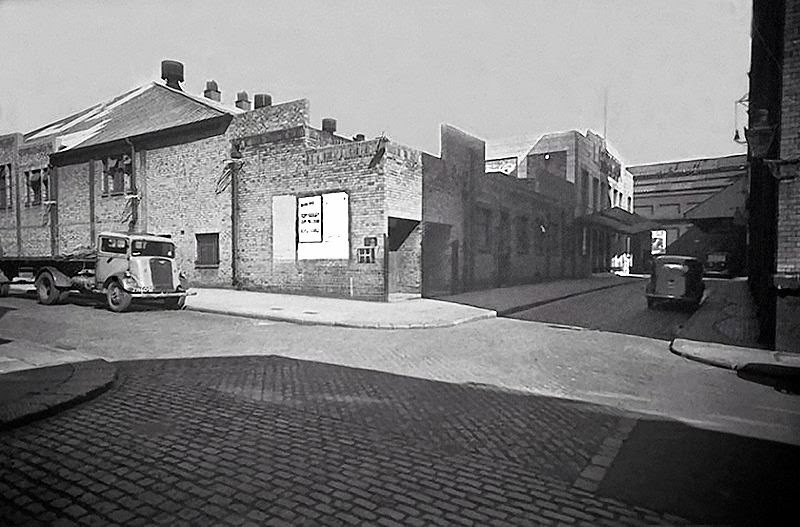 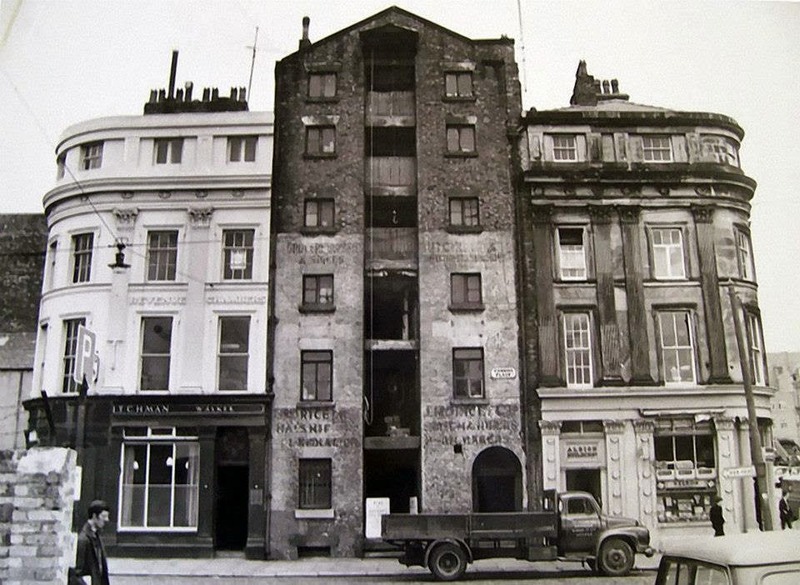 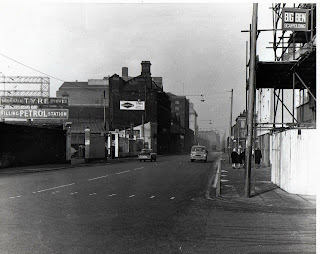 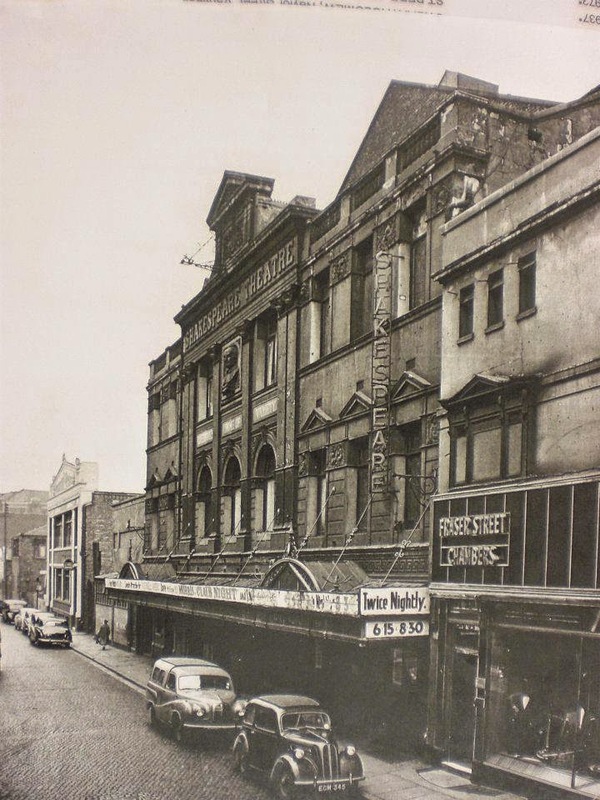 The Flying Dutchman,Canning Place 1965. 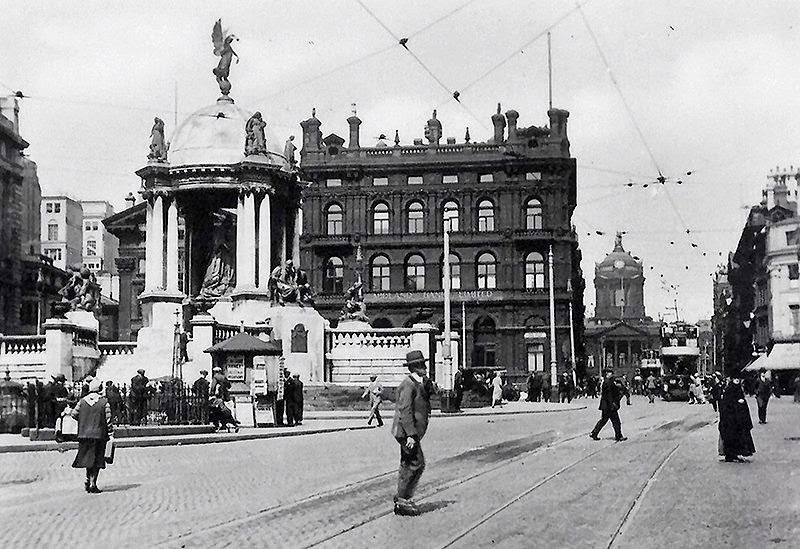 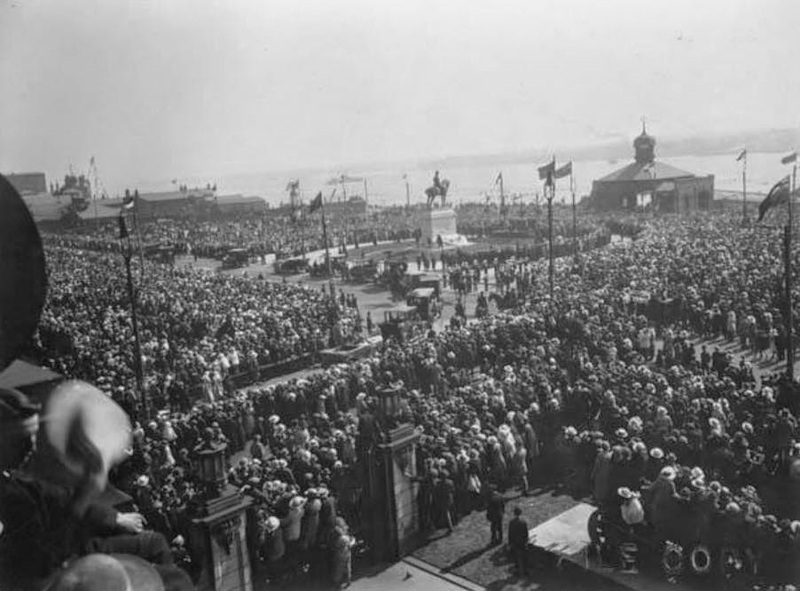 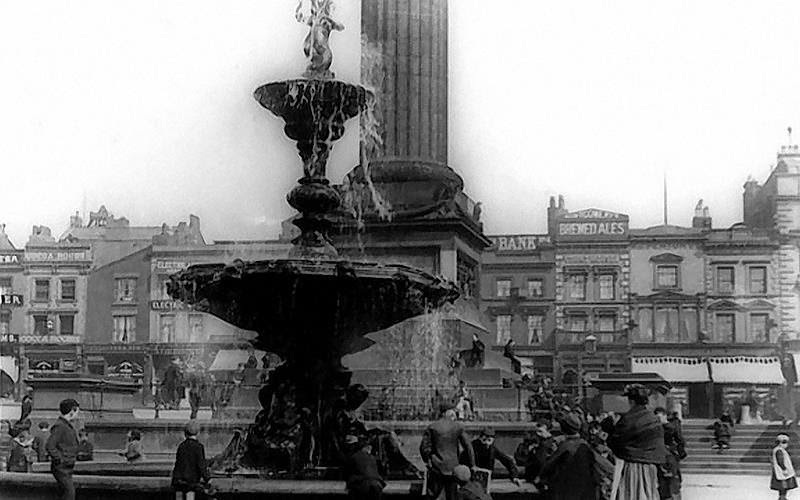 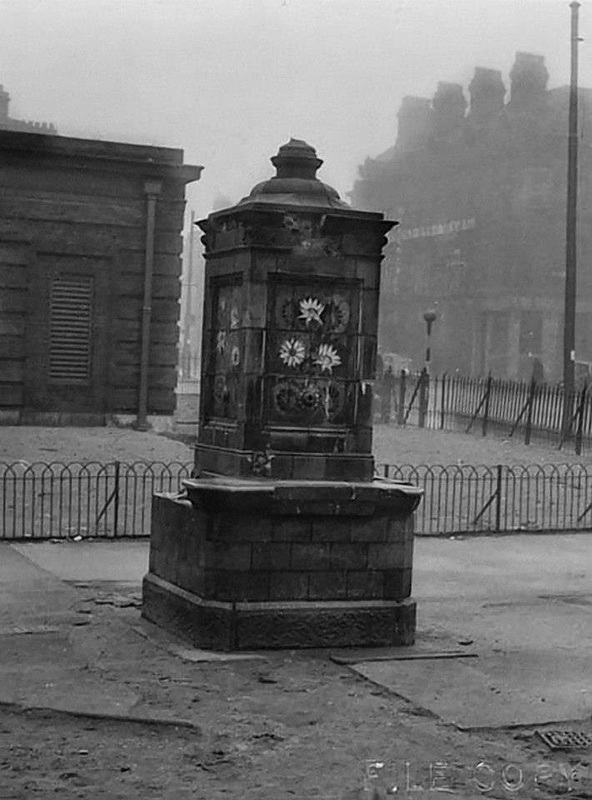 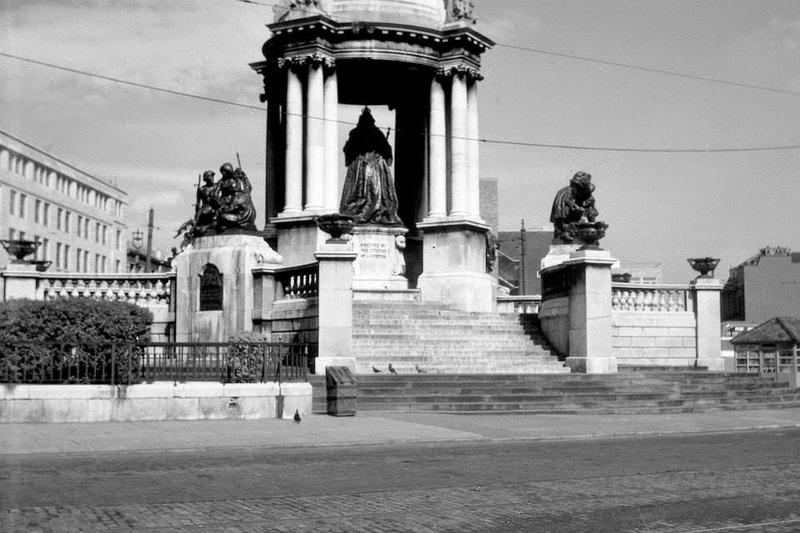 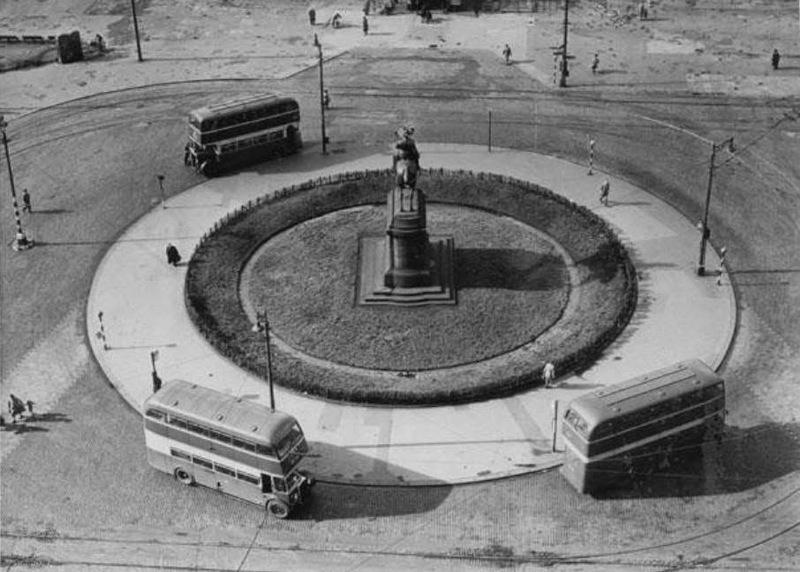 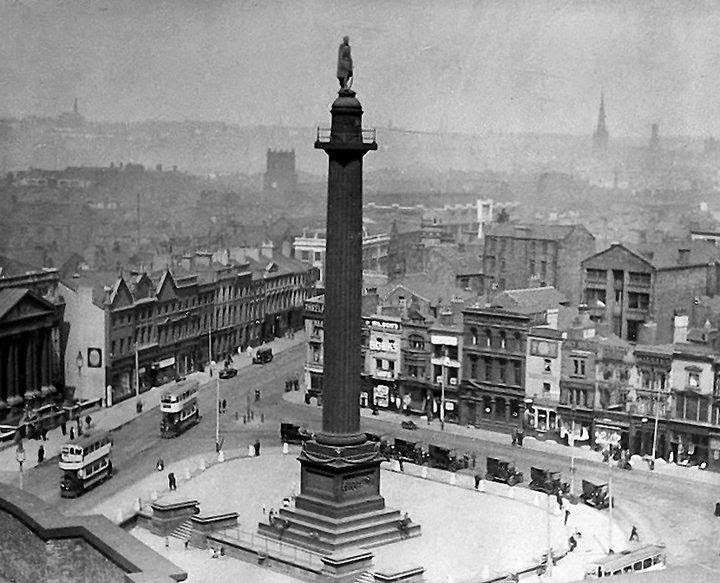 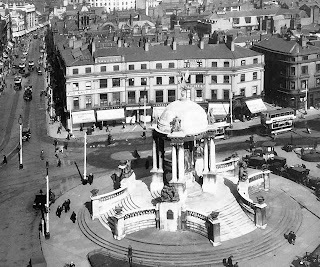 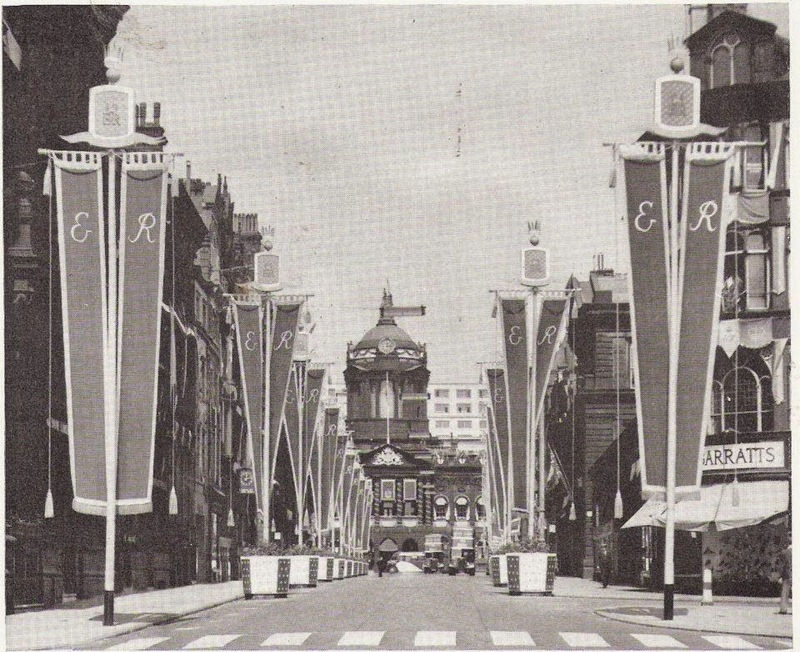 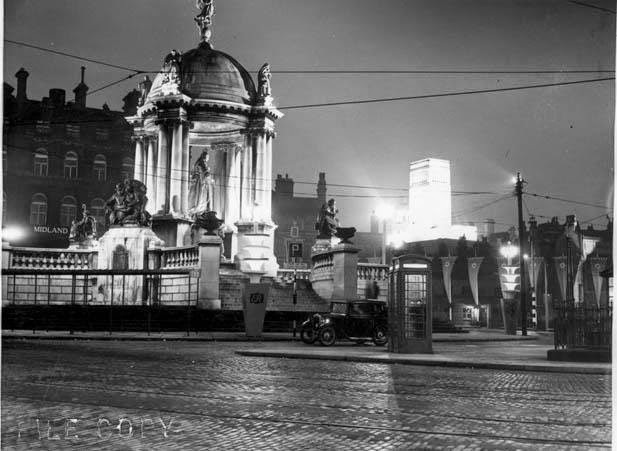 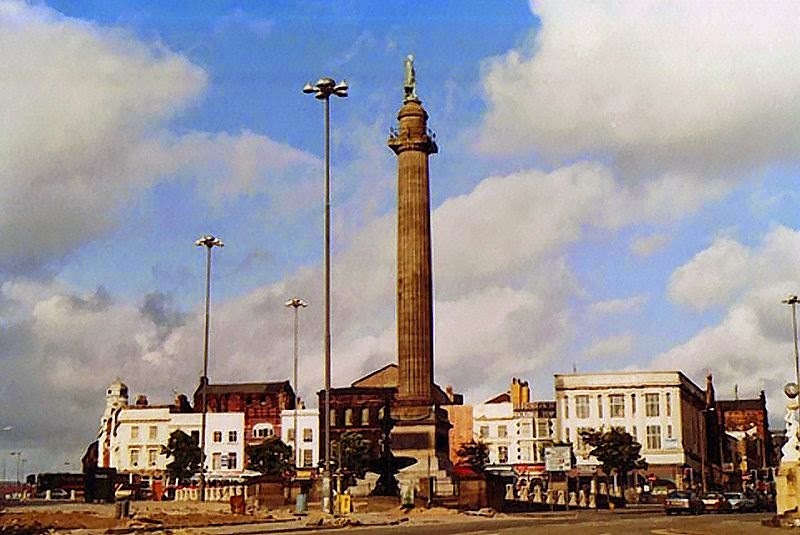 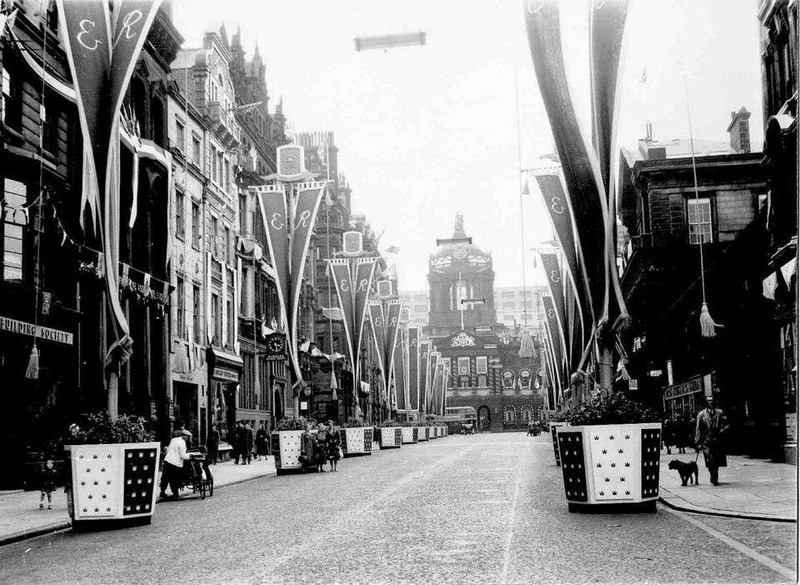 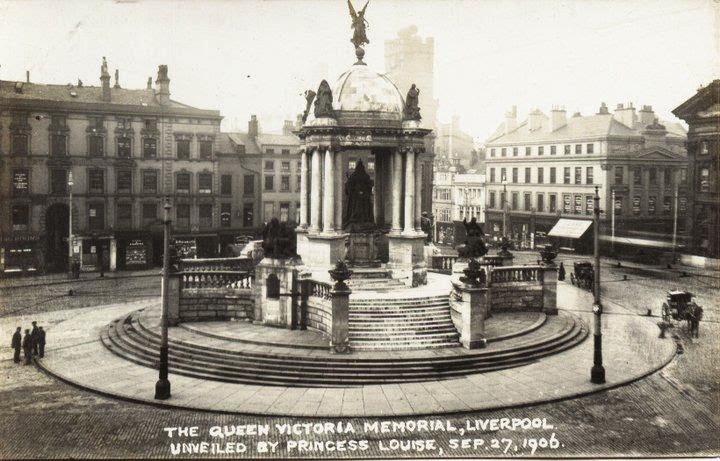 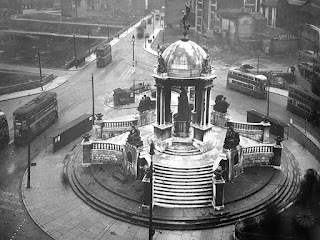 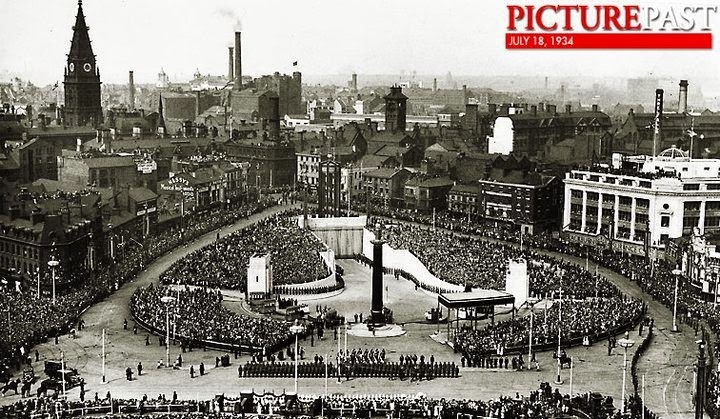 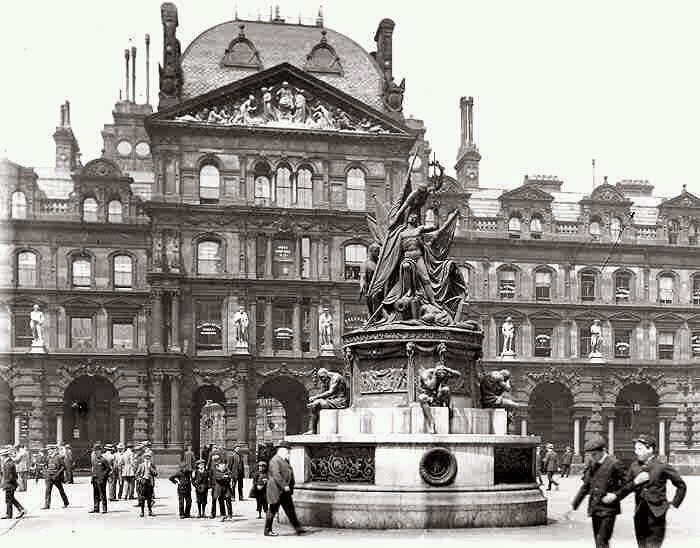 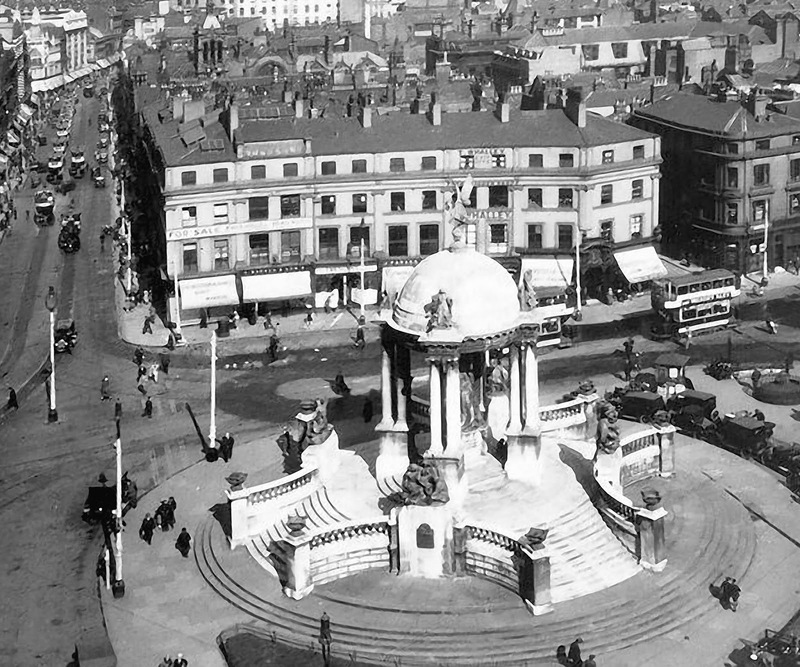 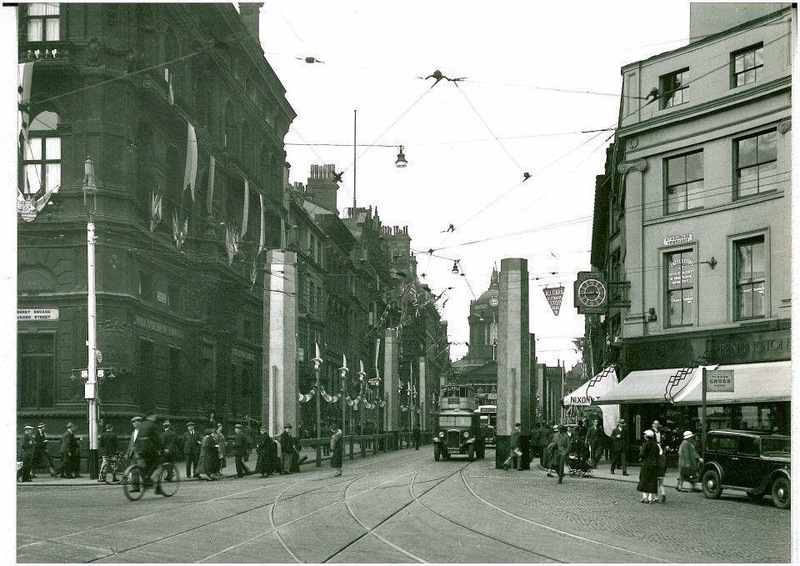 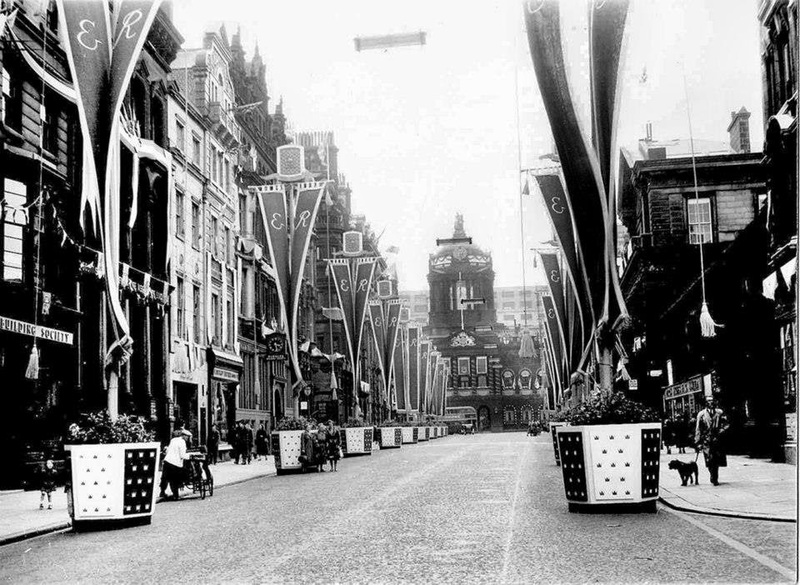 The Victoria Monument 1953 for the Queens Coronation. 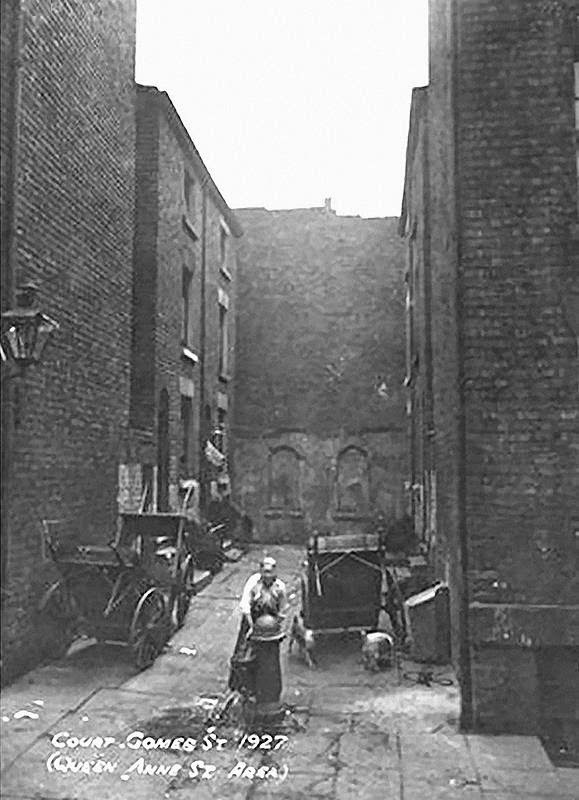 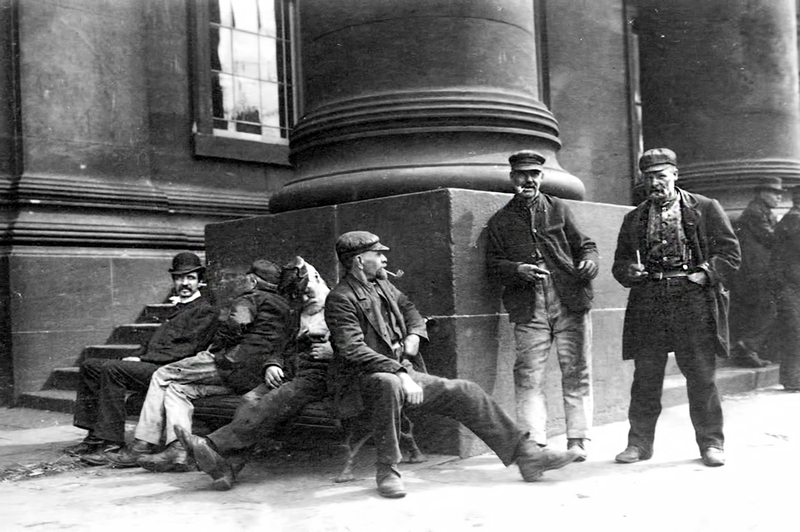 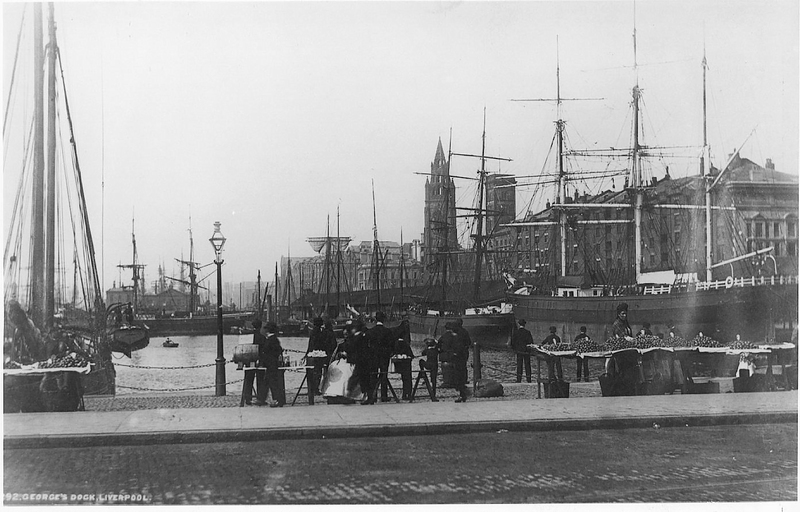 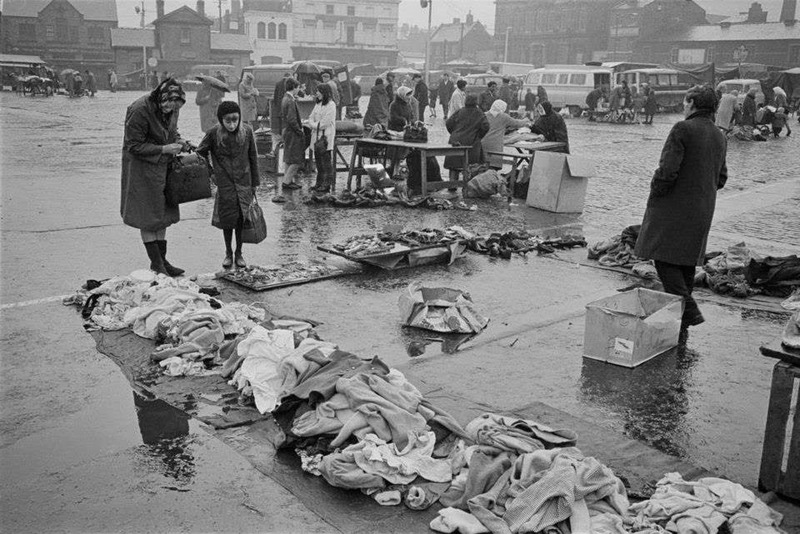 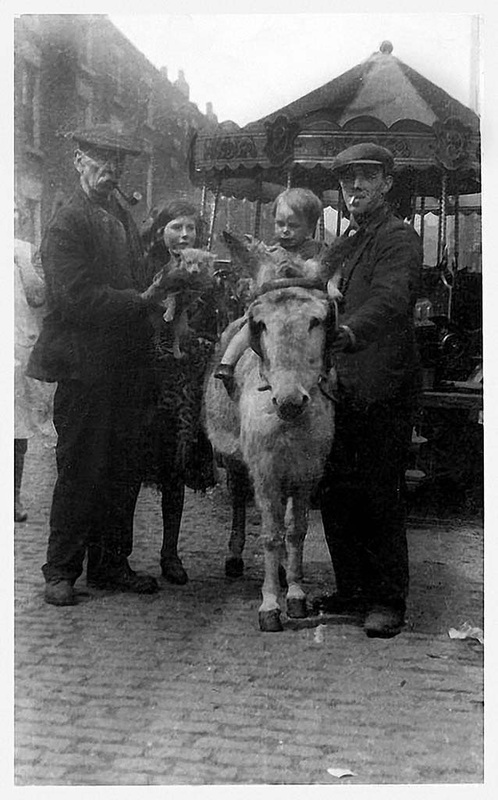 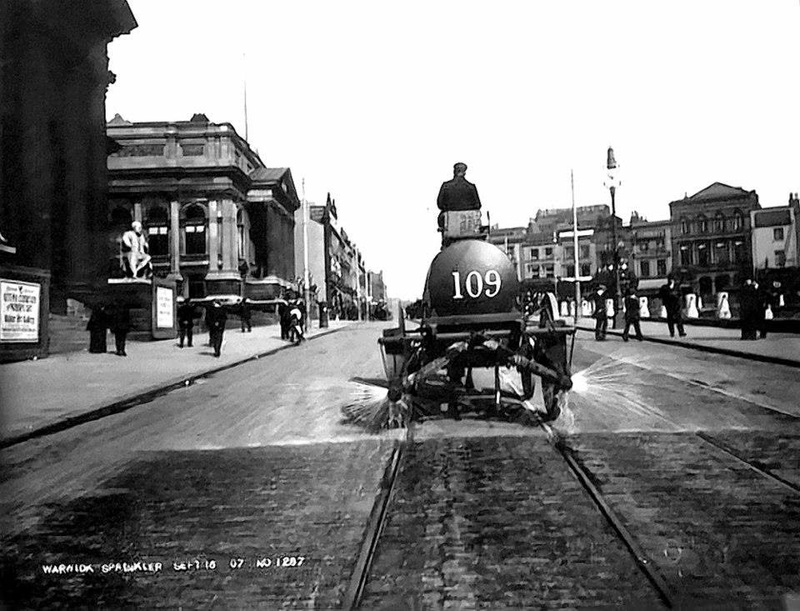 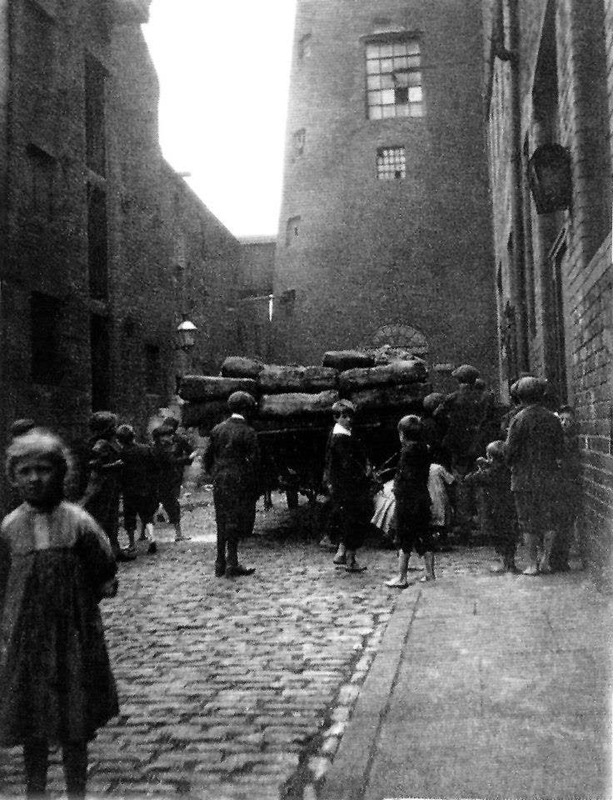 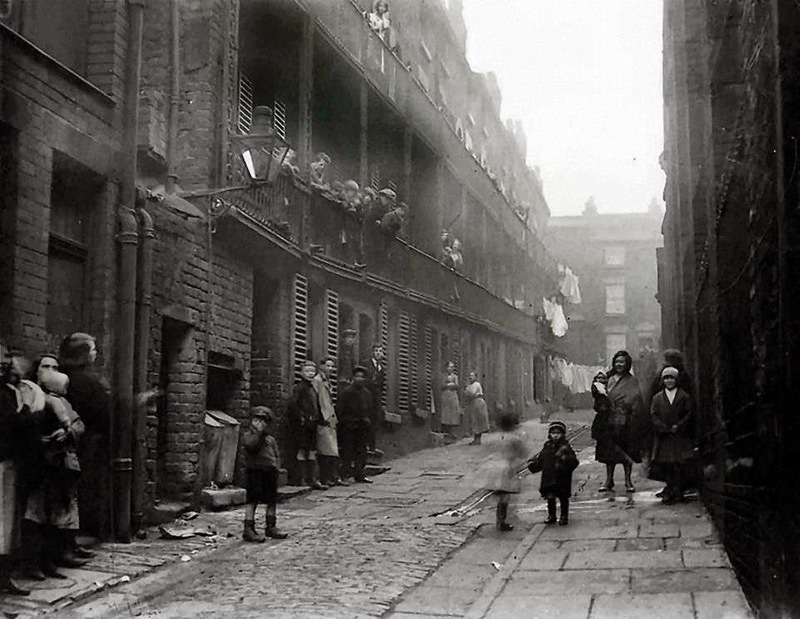 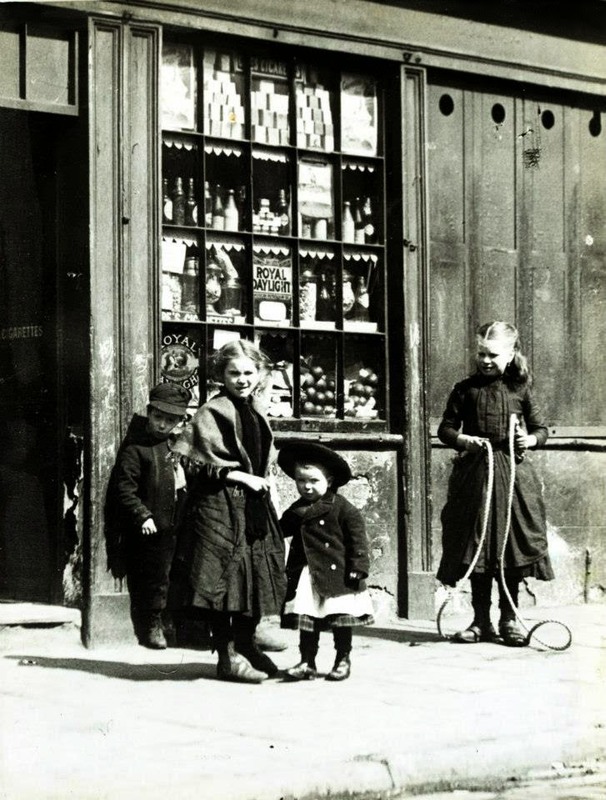 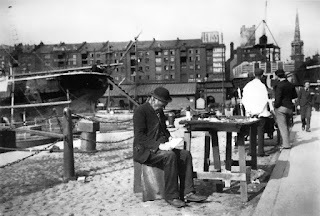 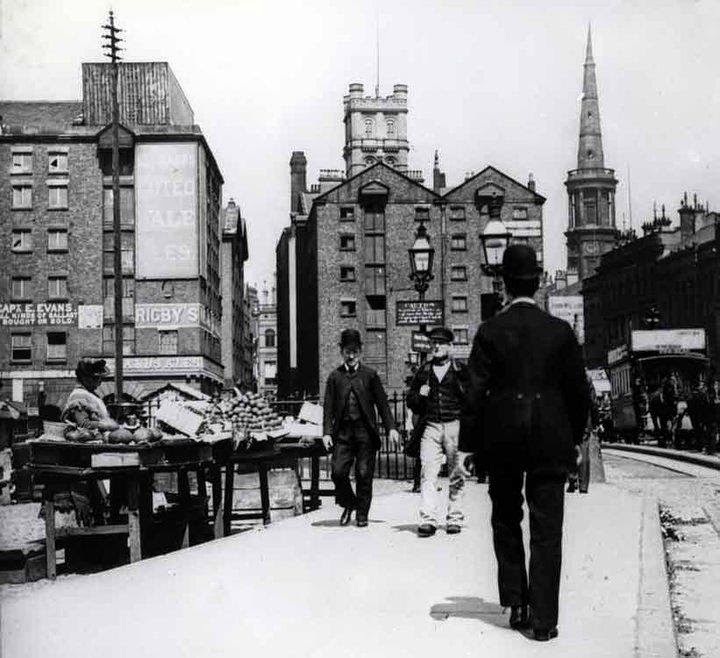 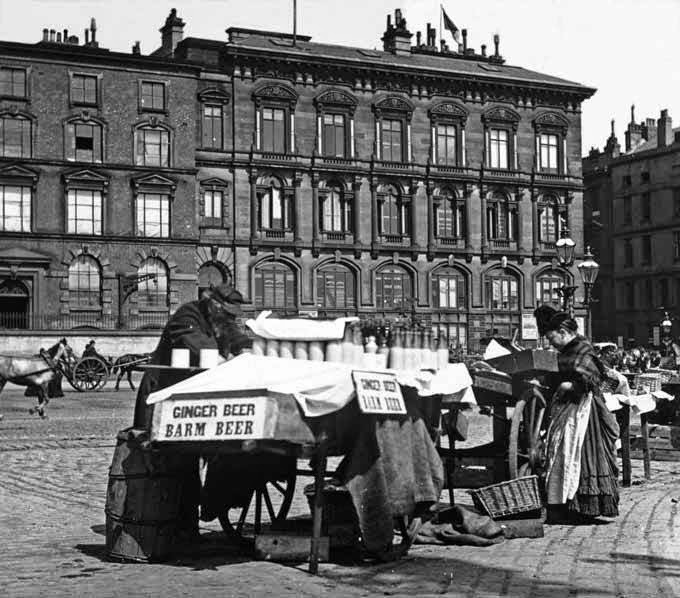 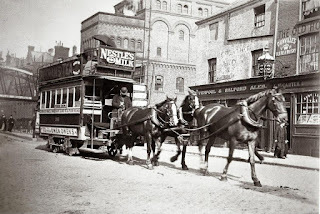 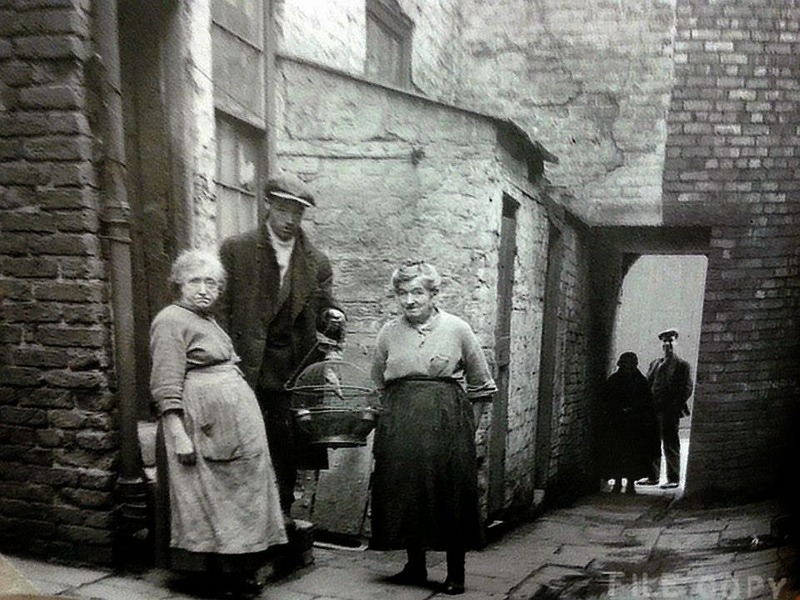 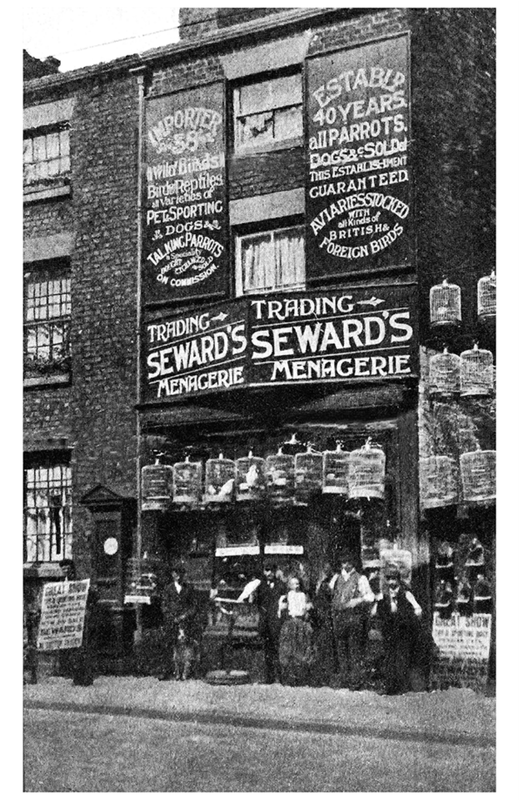 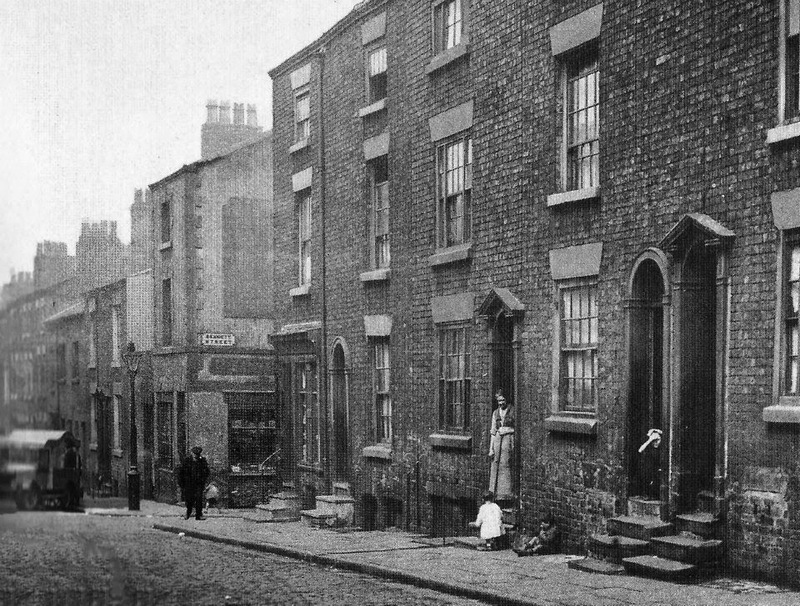 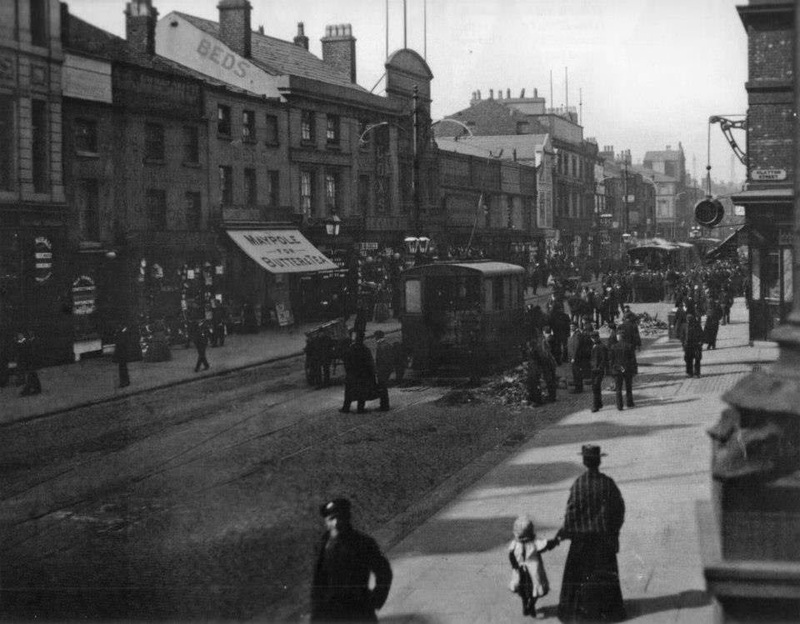 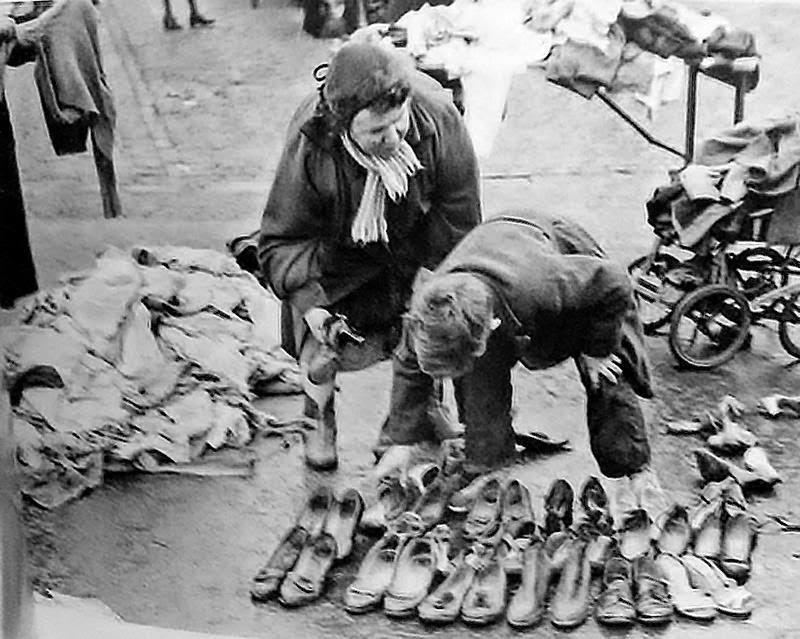 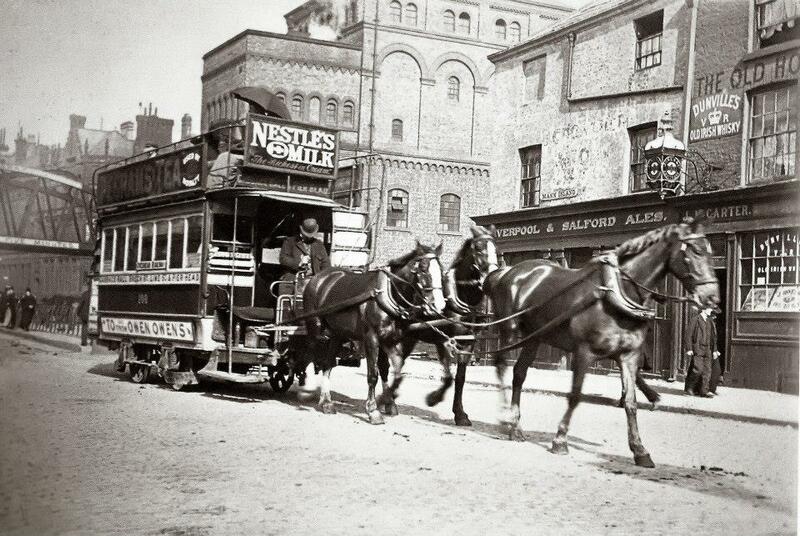 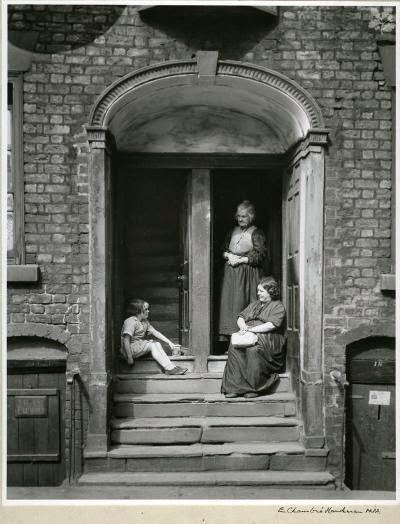 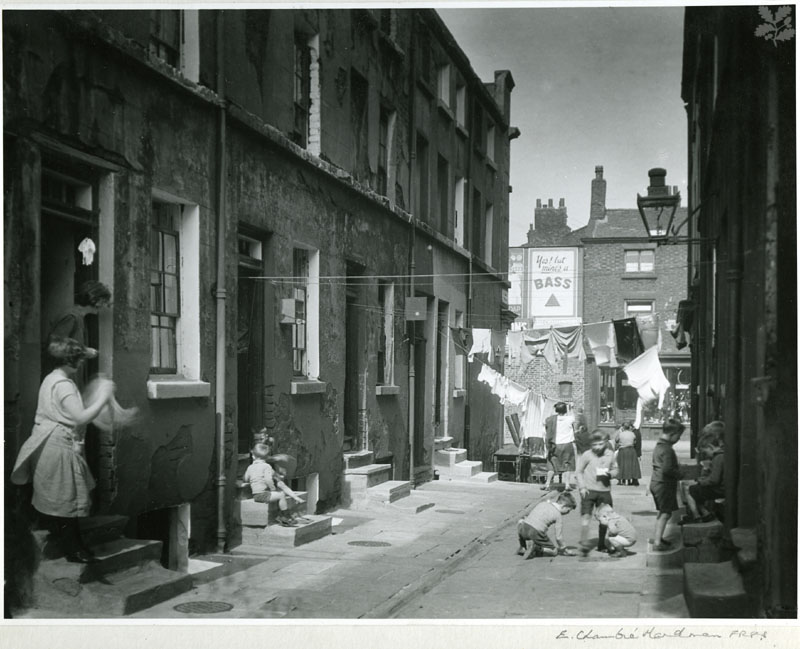 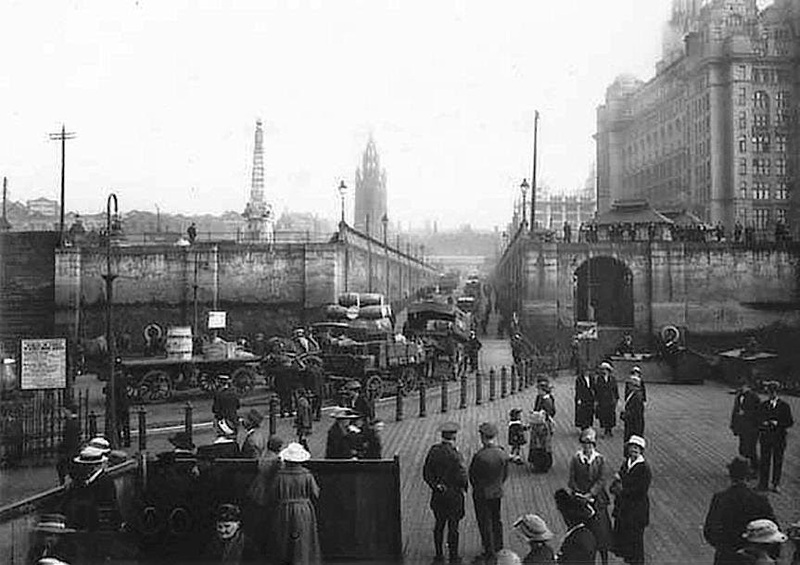 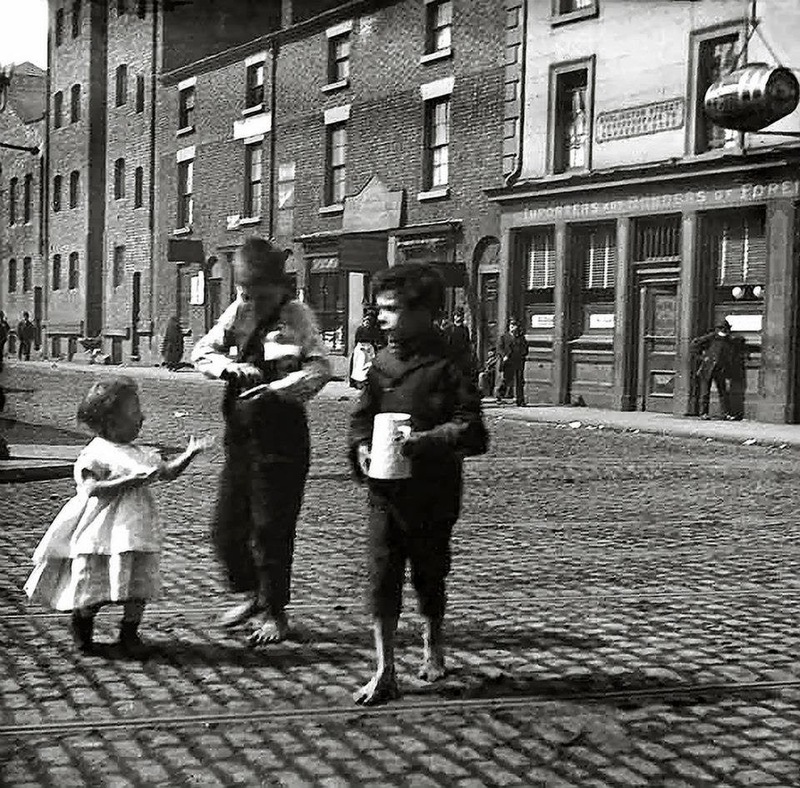 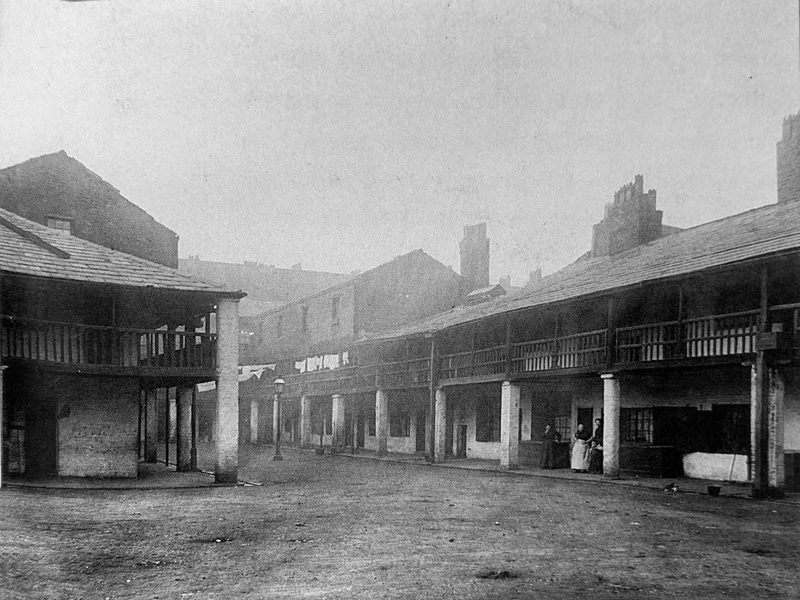 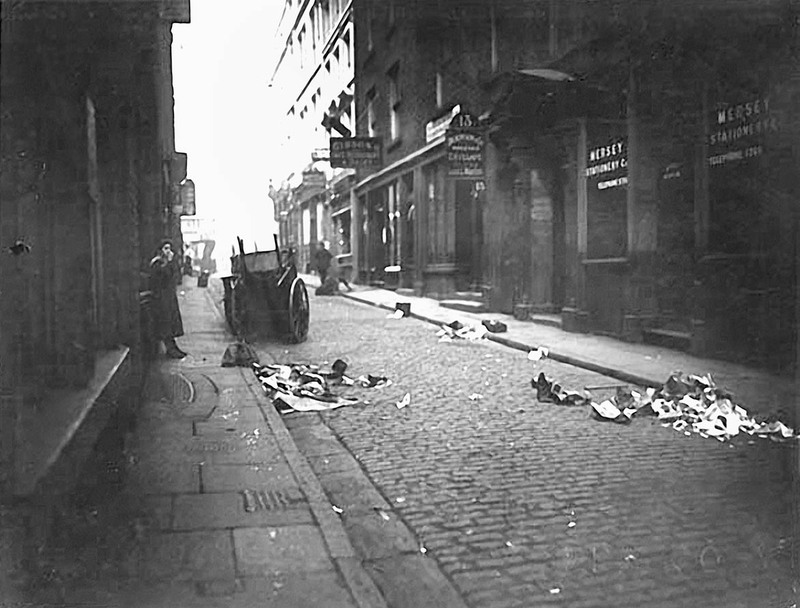 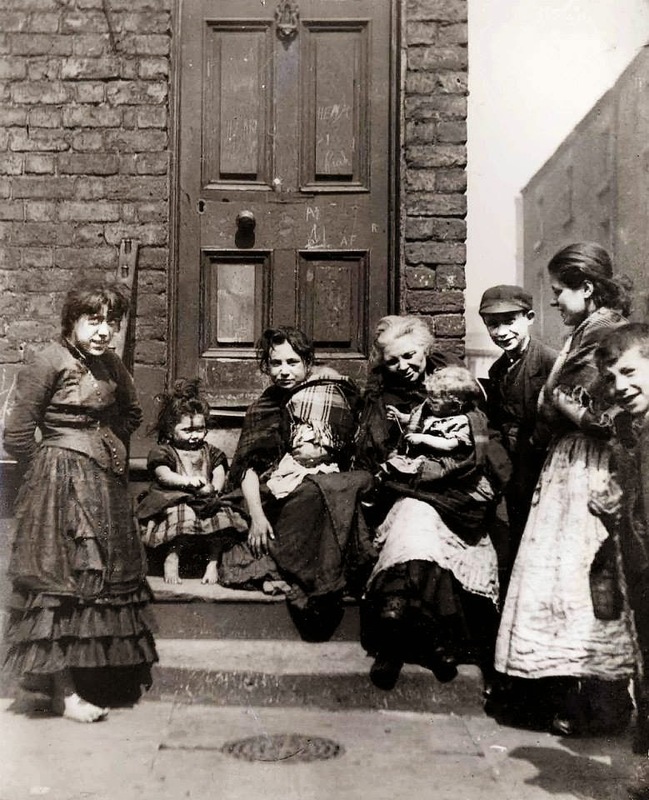 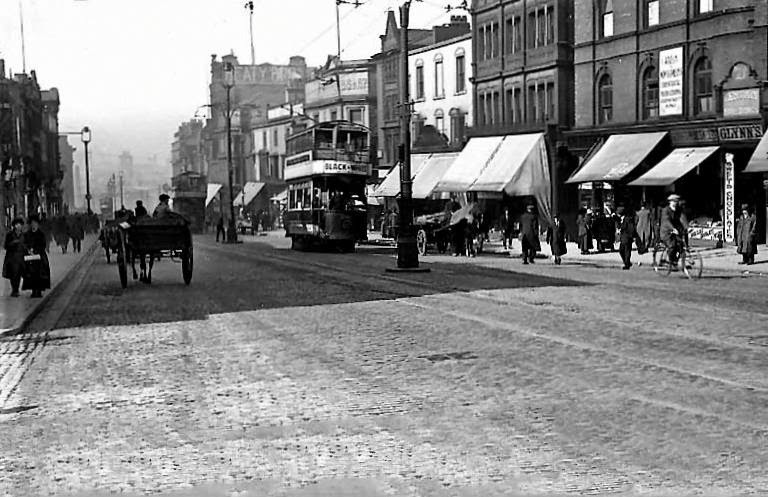 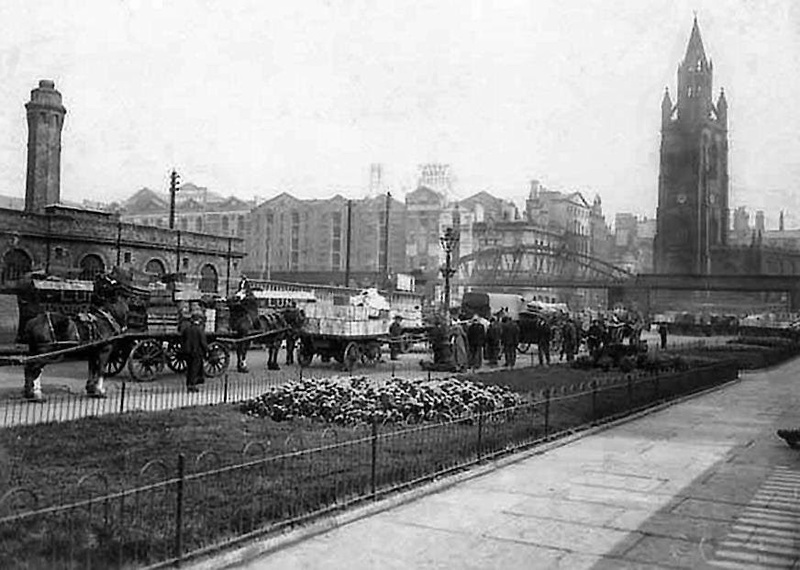 Street seller Mann Island, circa 1897. 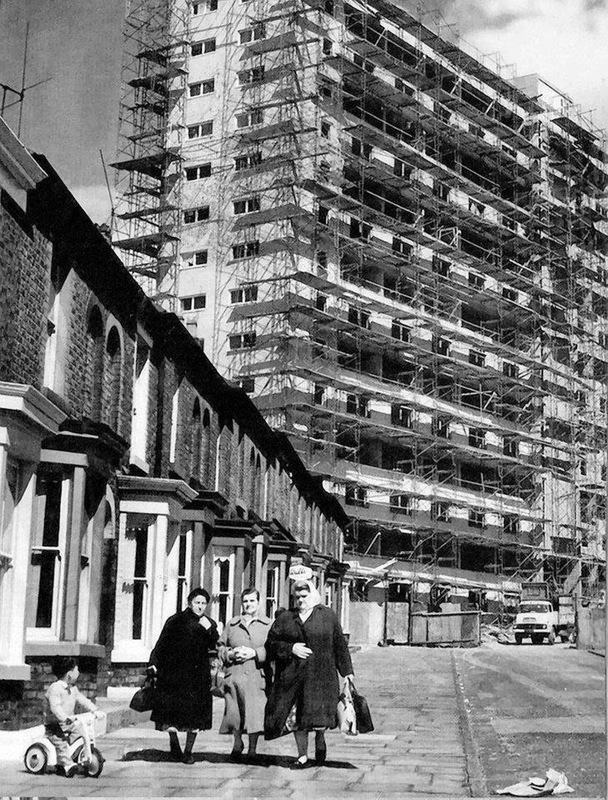 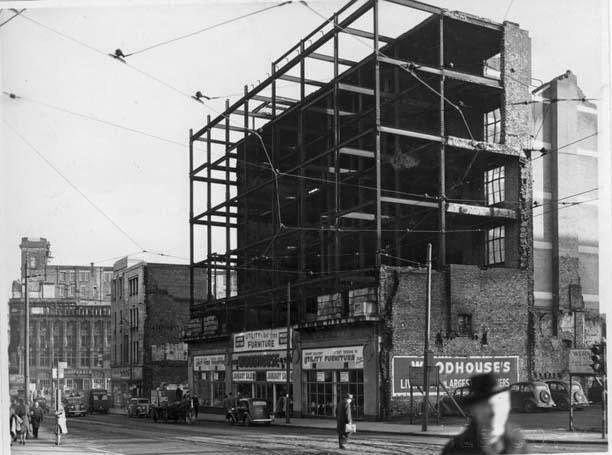 Albion House under construction in the background. 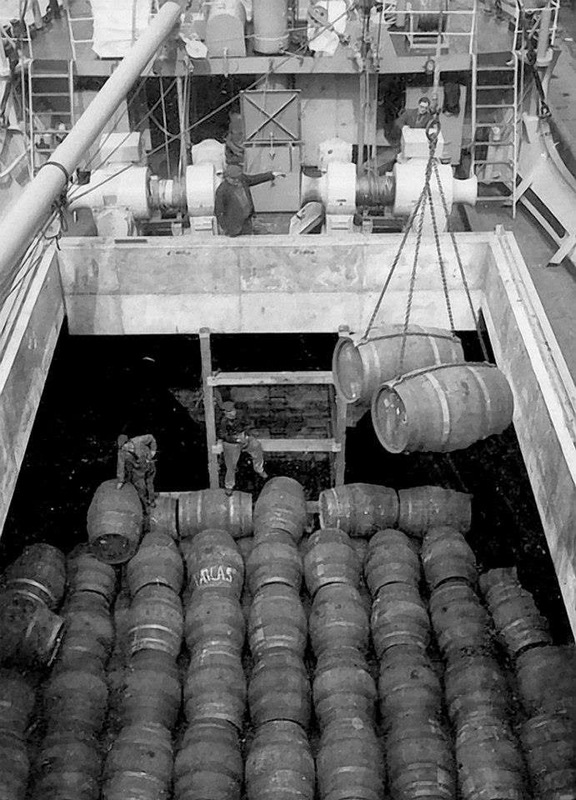 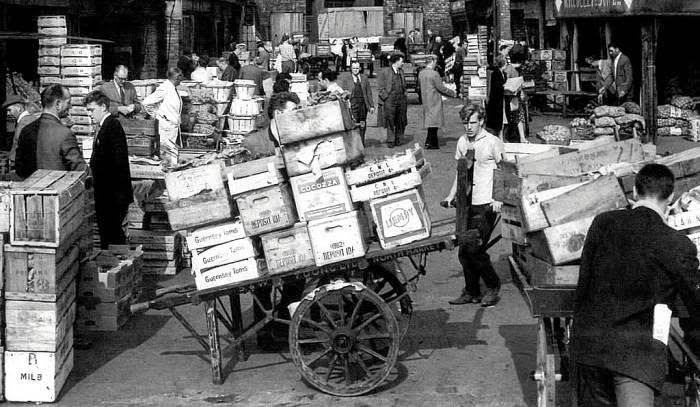 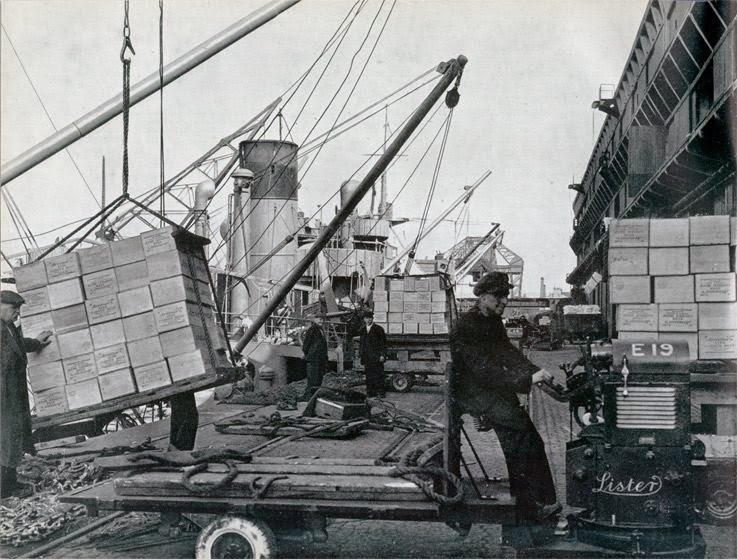 Unloading tinned meat from the USA at Liverpool Docks. 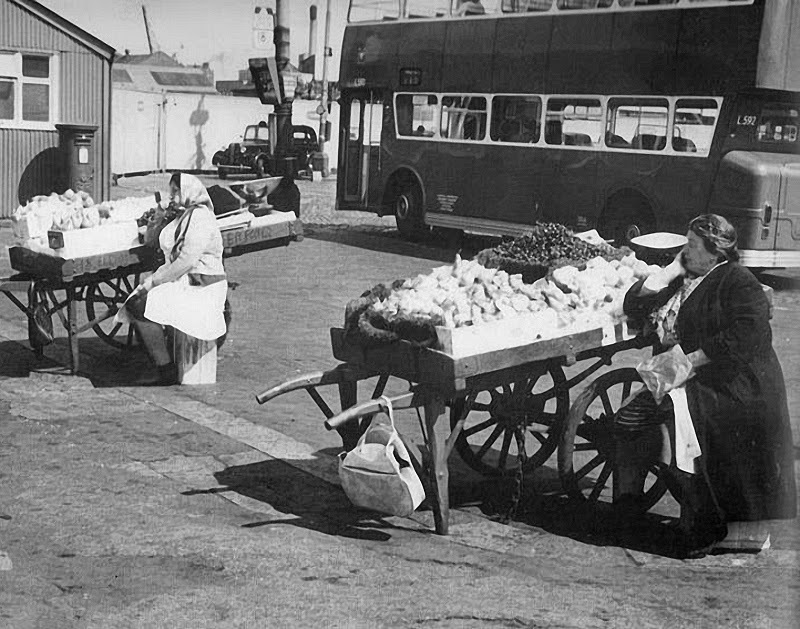 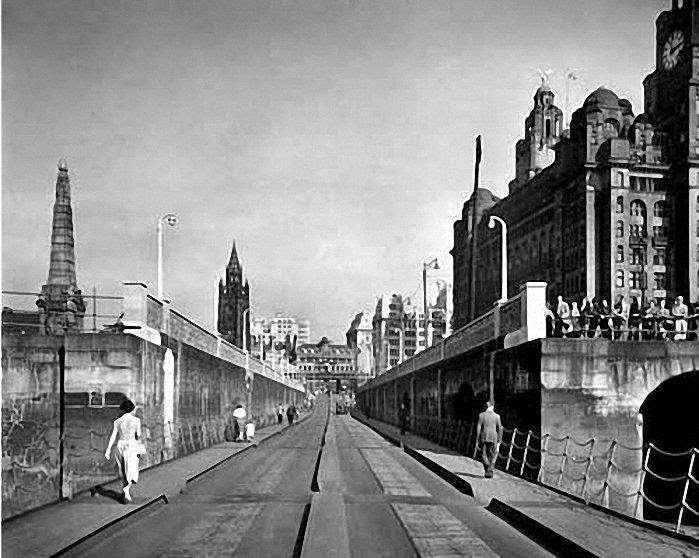 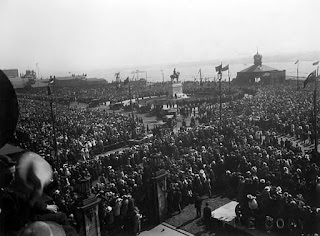 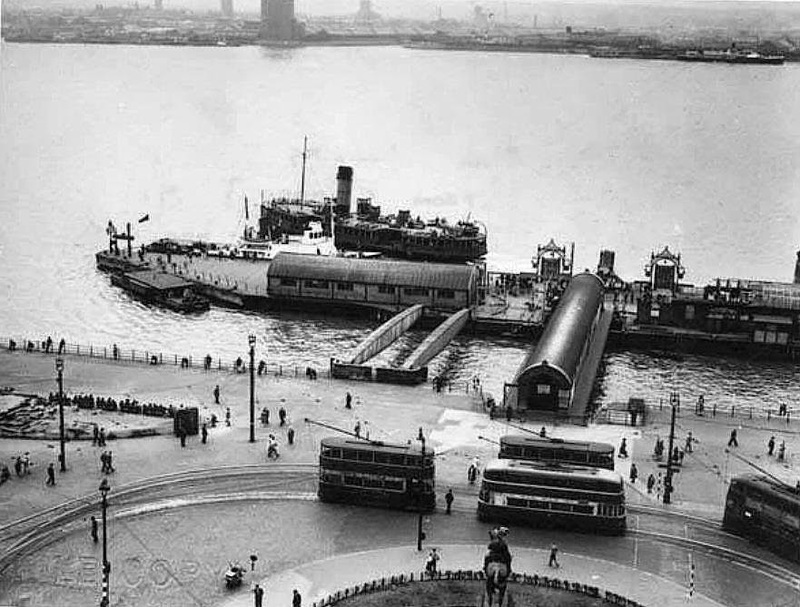 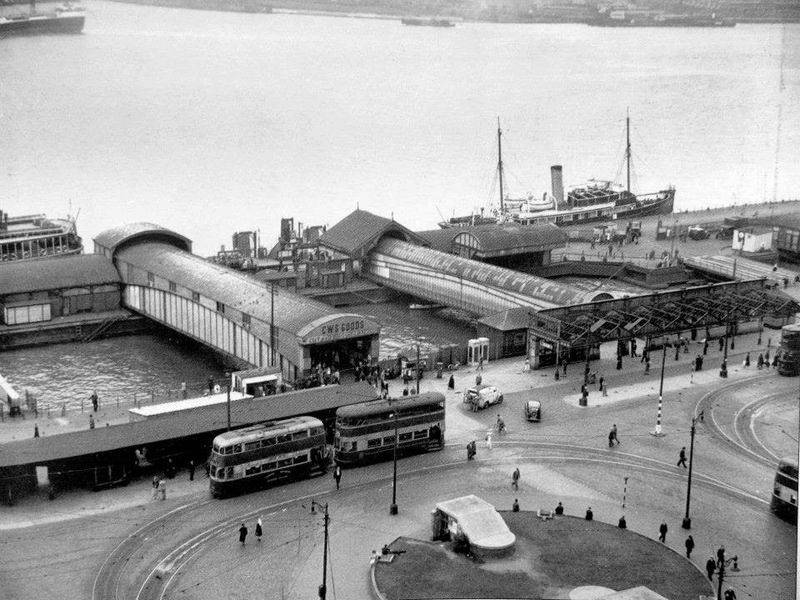 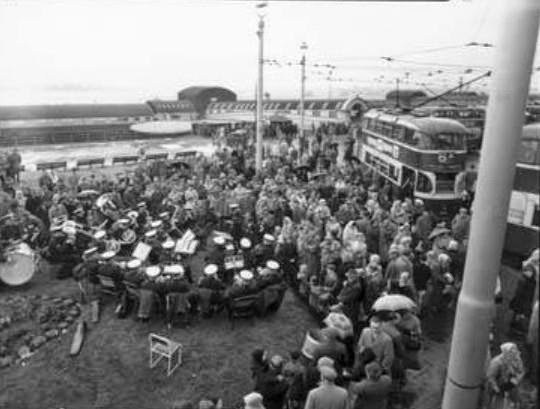 Last Tramcar Procession - Pier Head 1957. 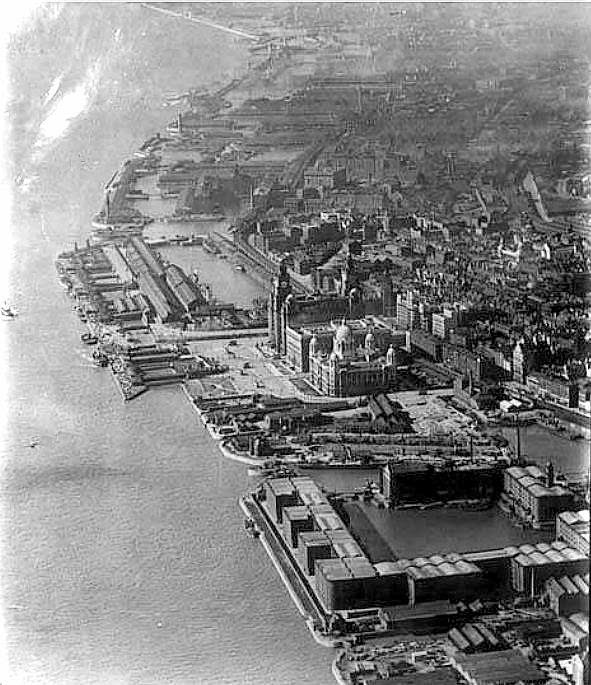 Liver and Tunnel Buildings - Goree 1949. 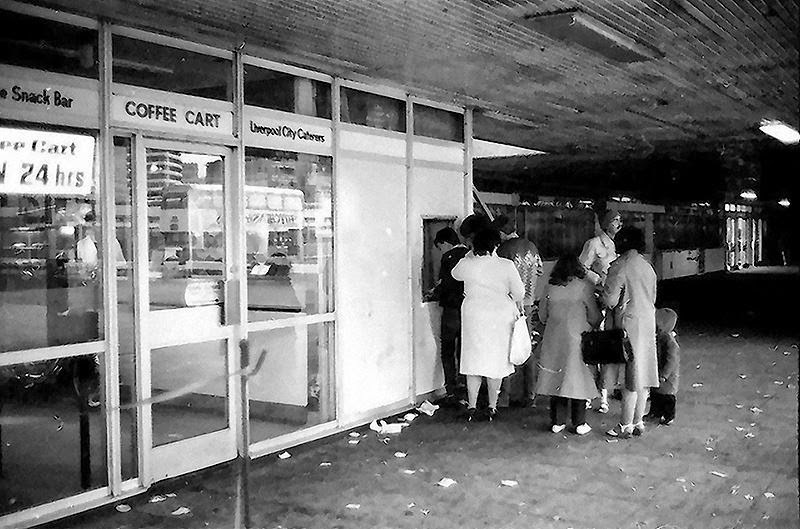 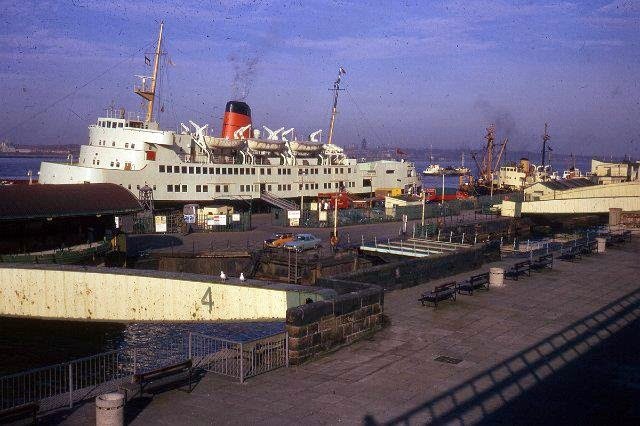 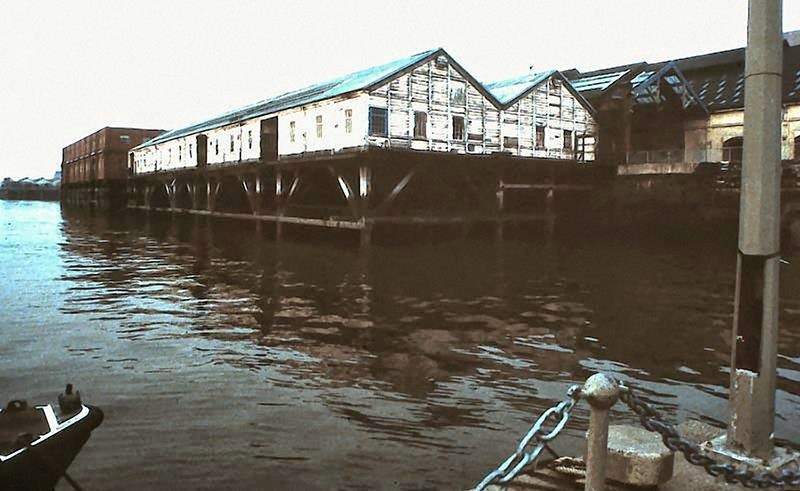 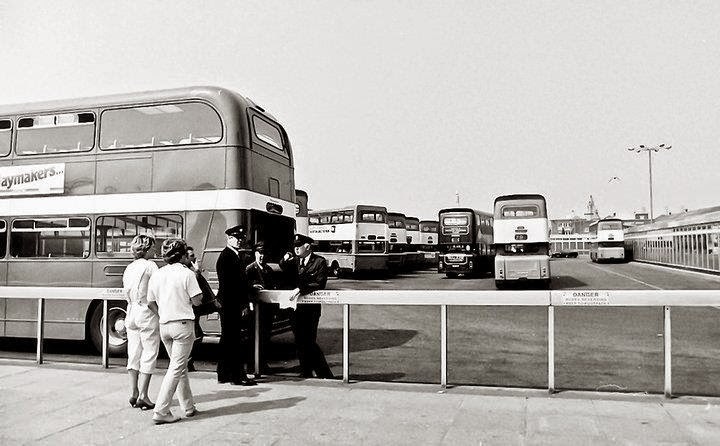 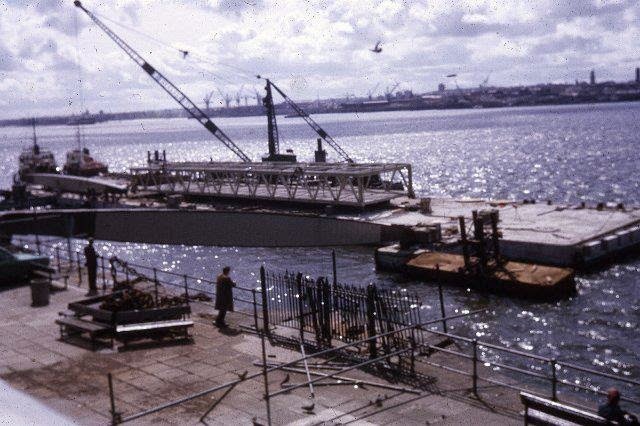 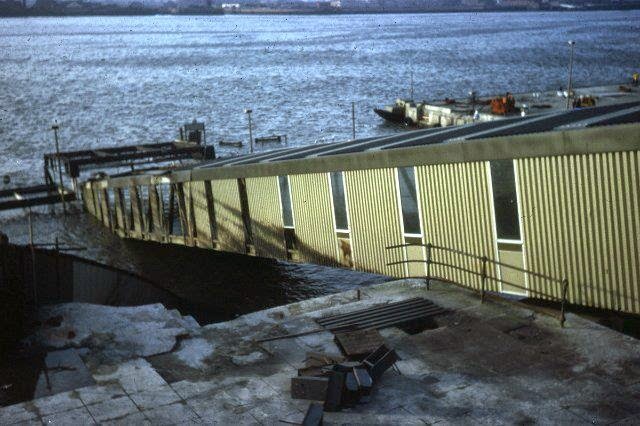 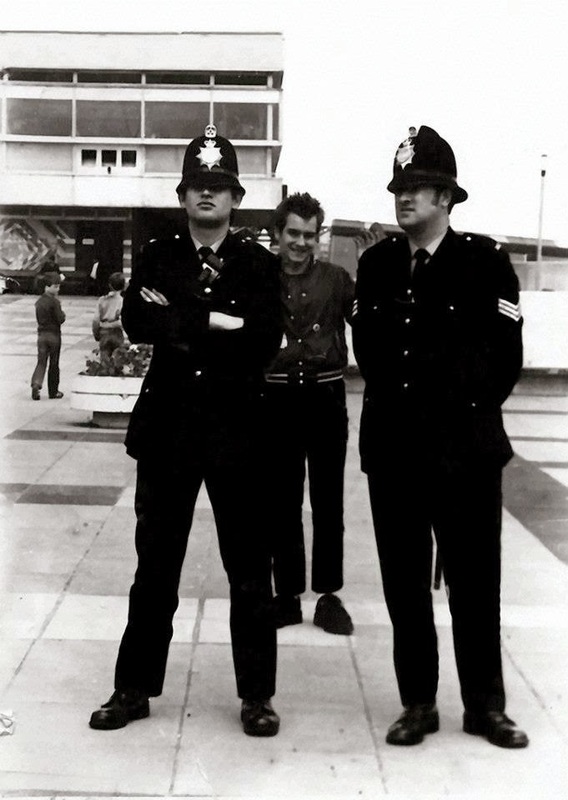 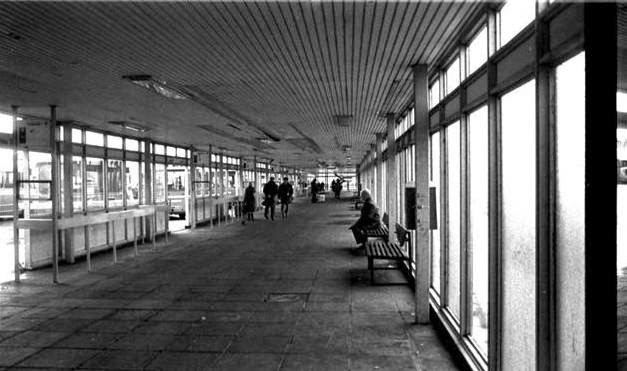 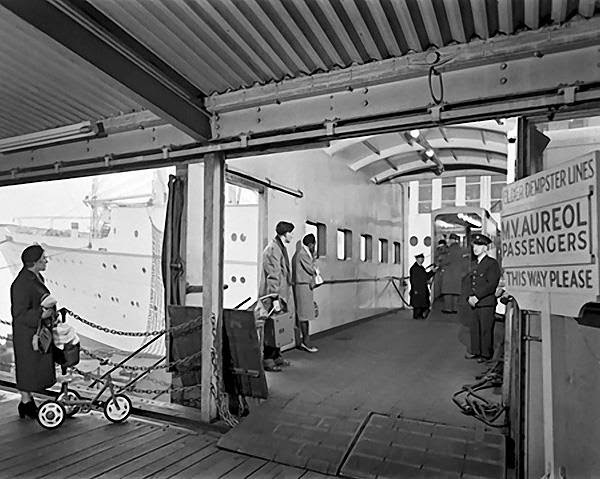 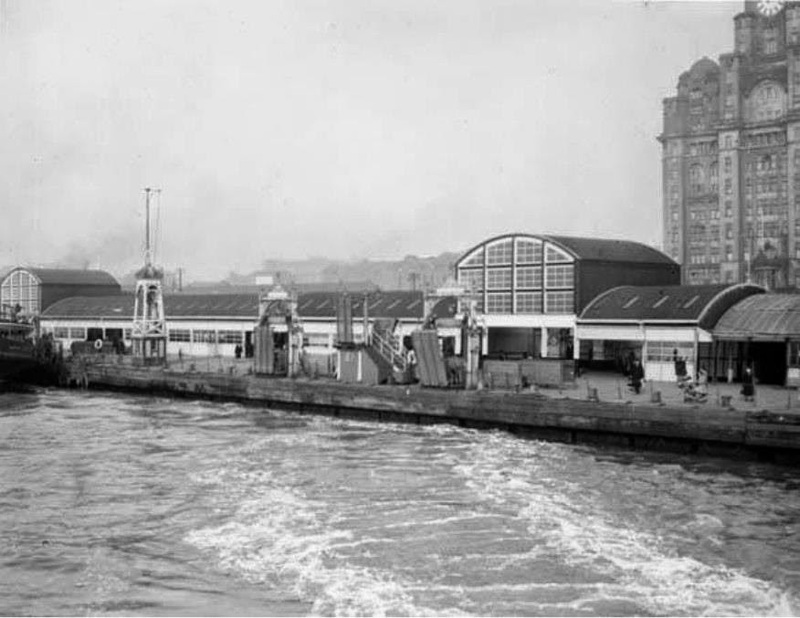 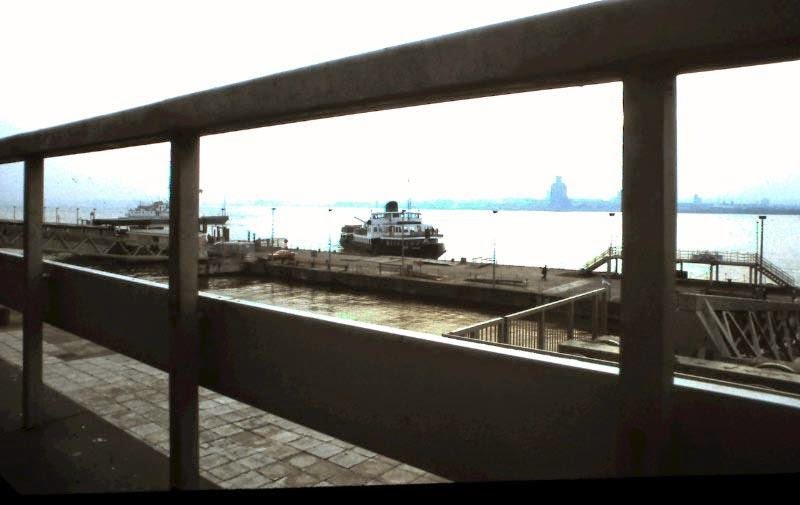 New Landing Stage Aug 1974. 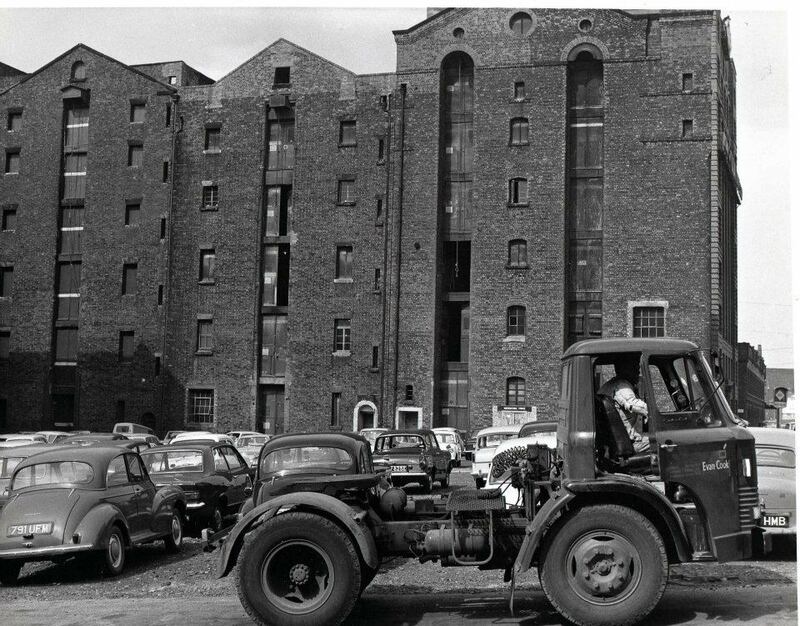 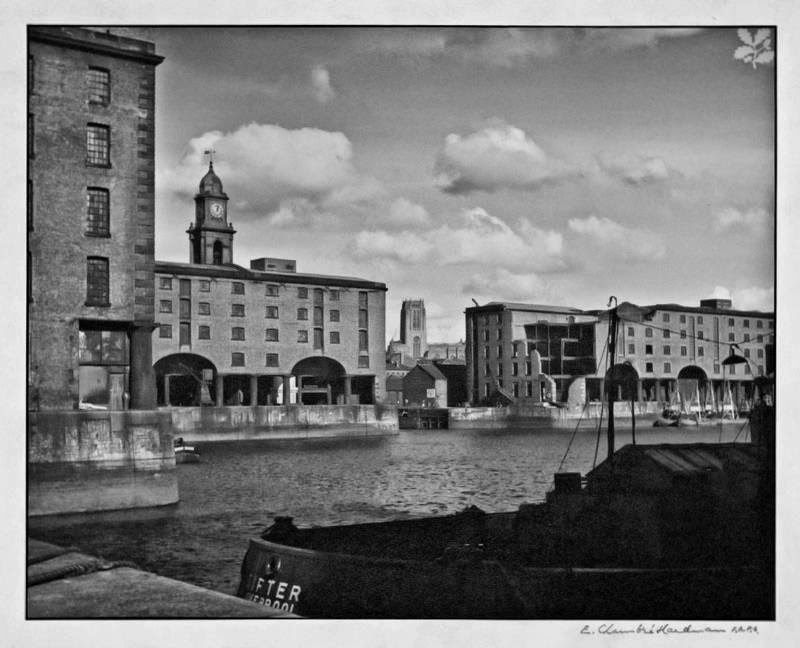 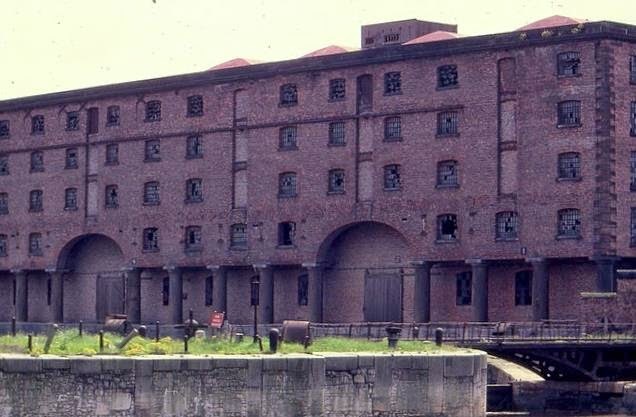 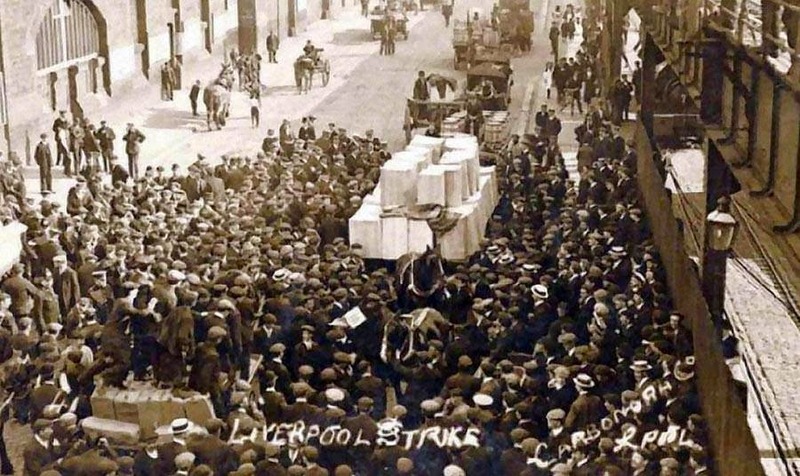 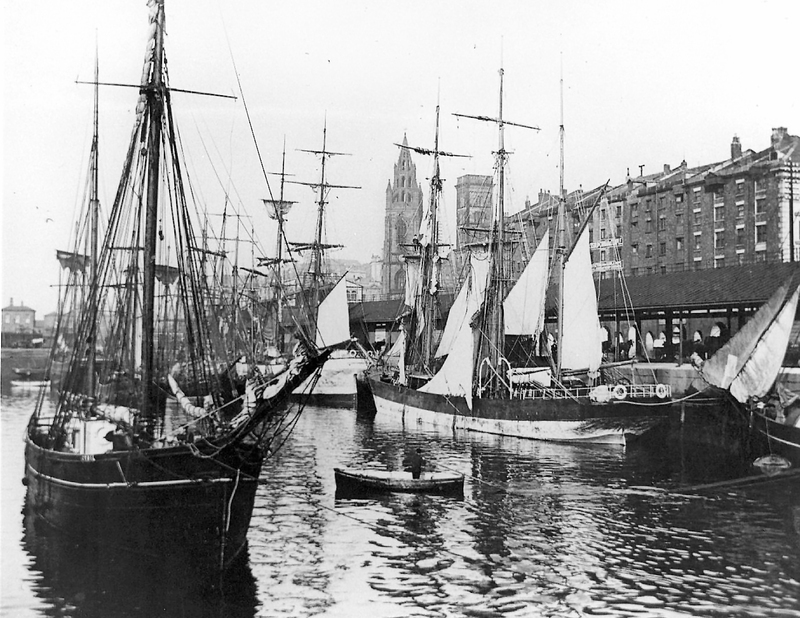 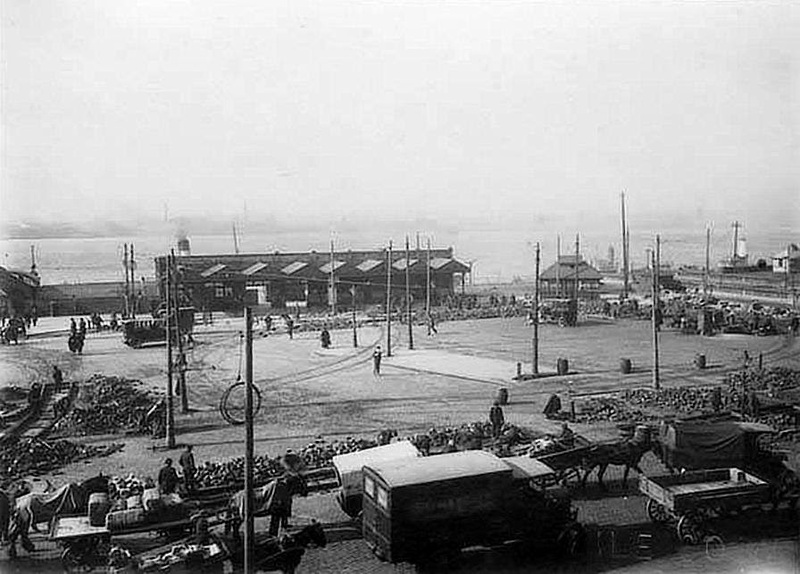 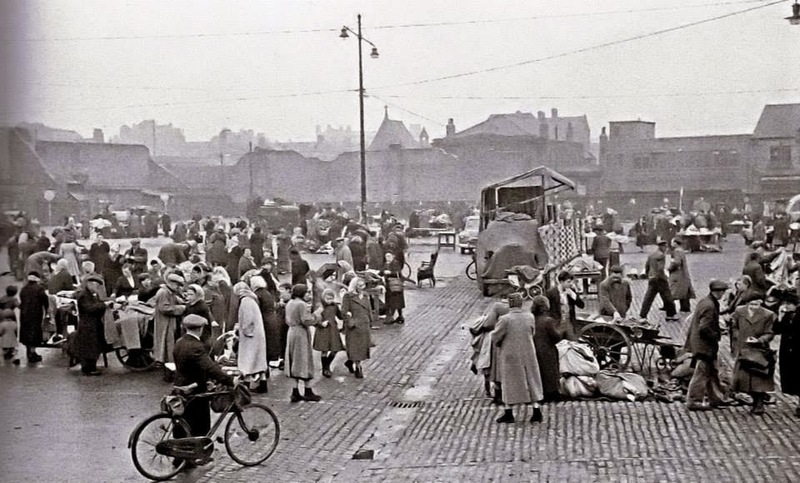 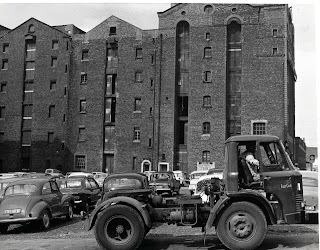 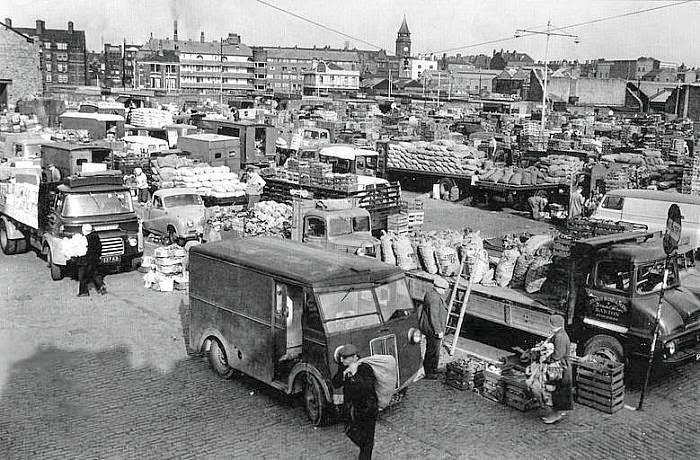 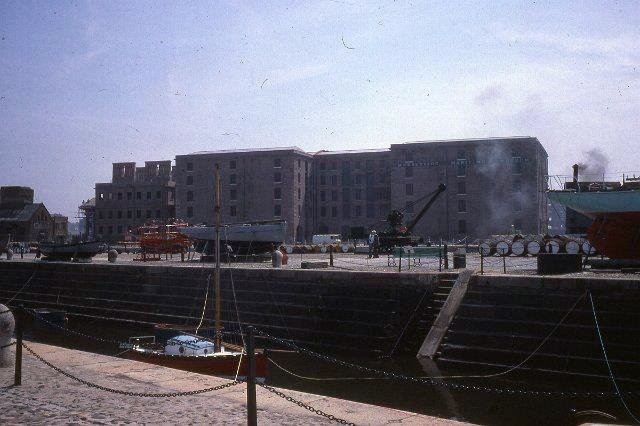 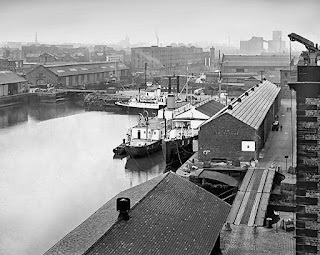 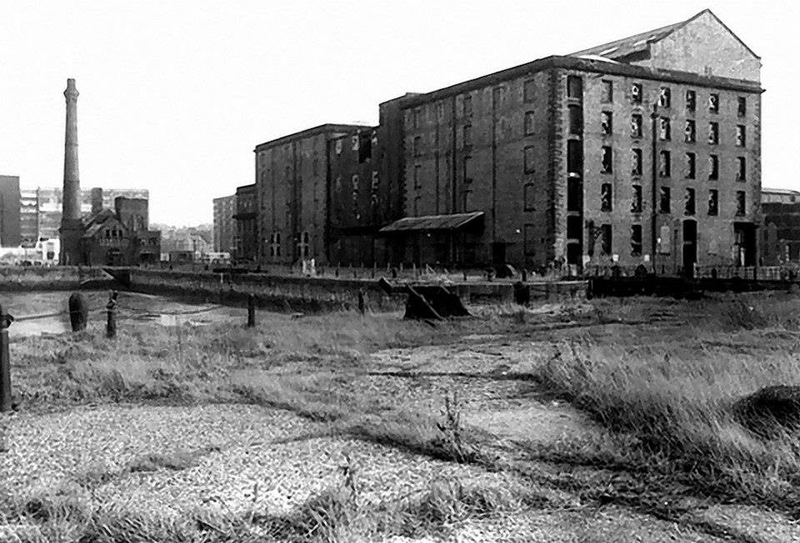 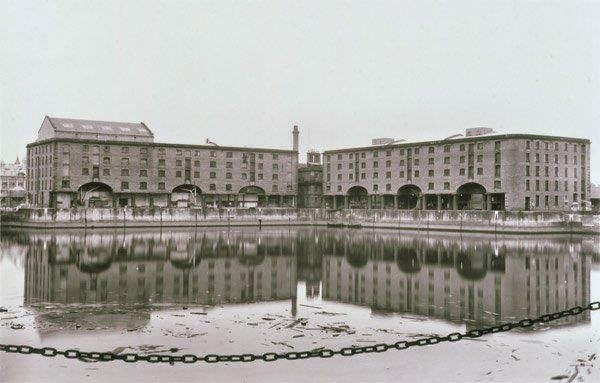 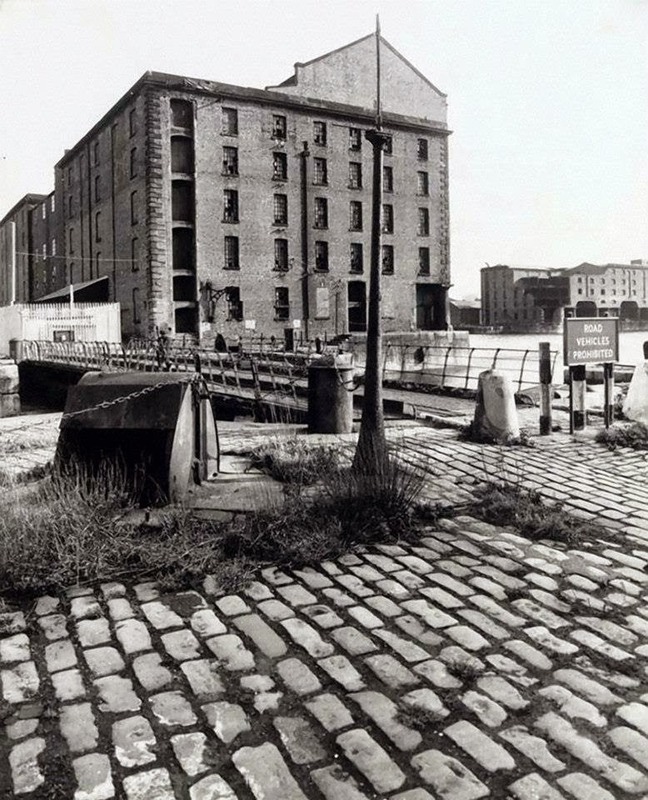 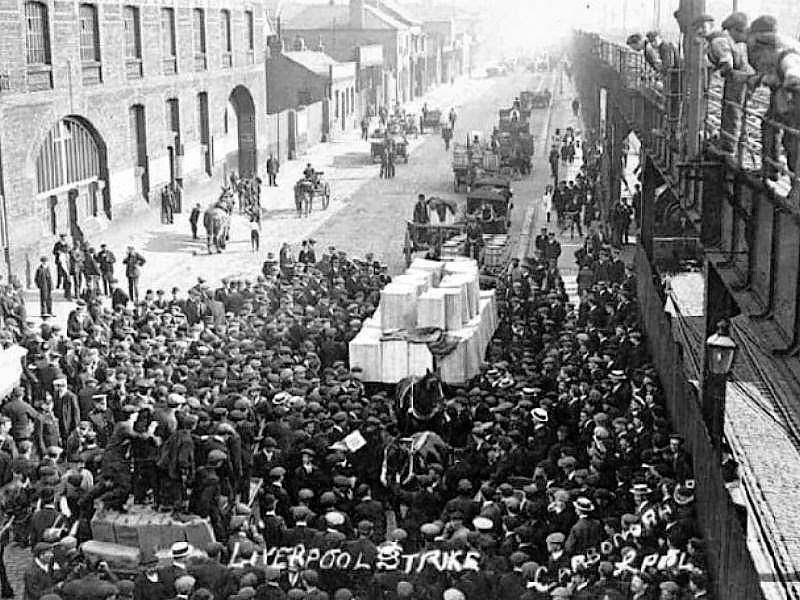 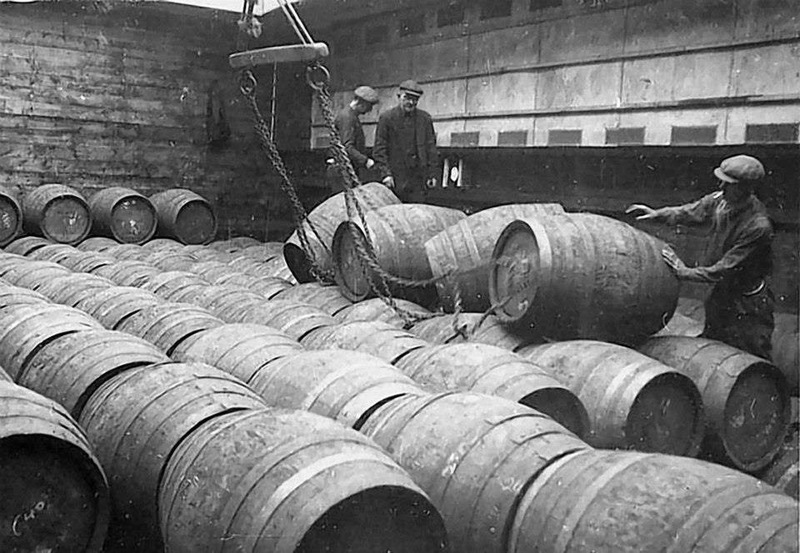 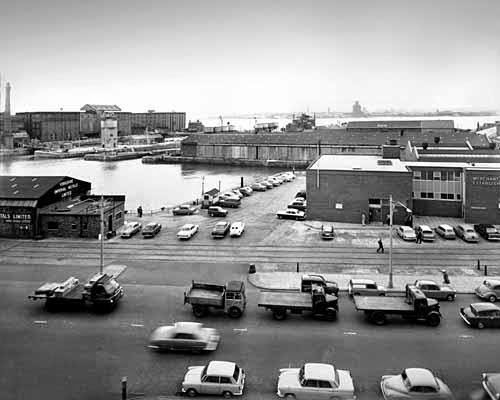 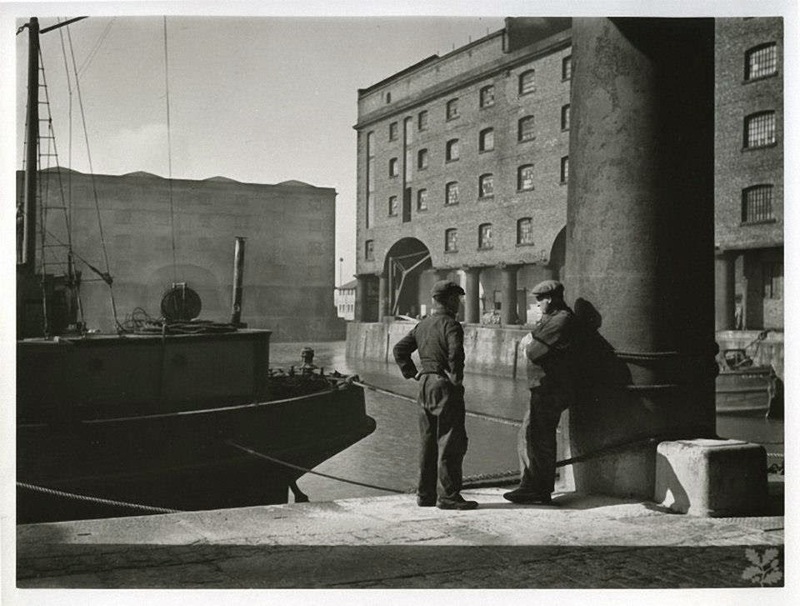 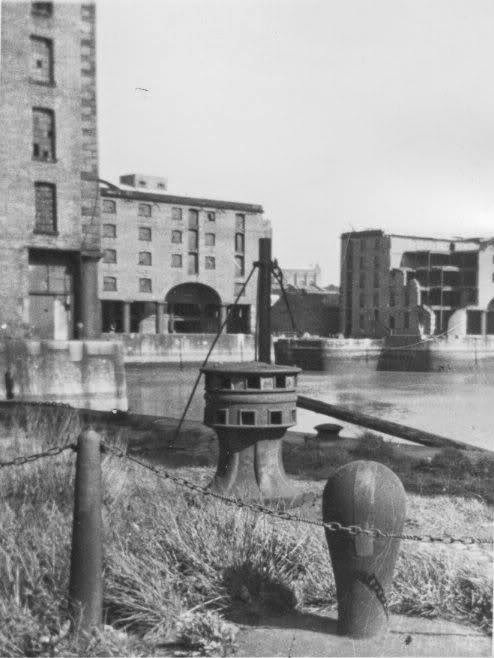 Canning graving docks on the waterfront. 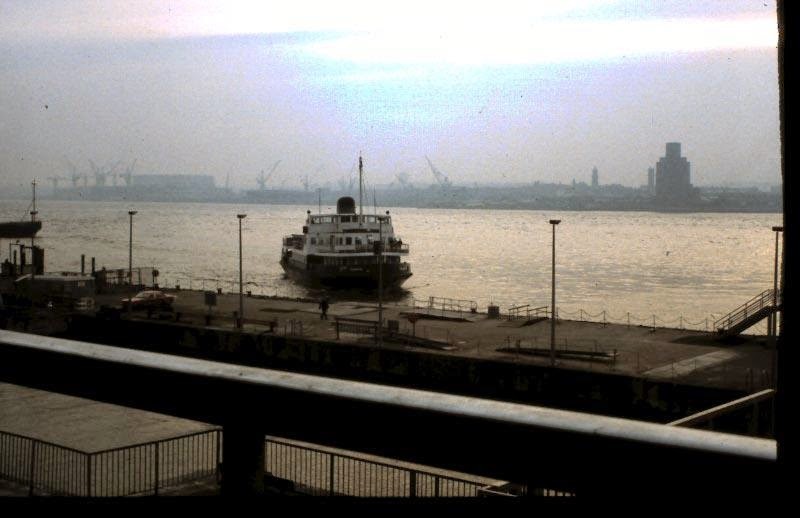 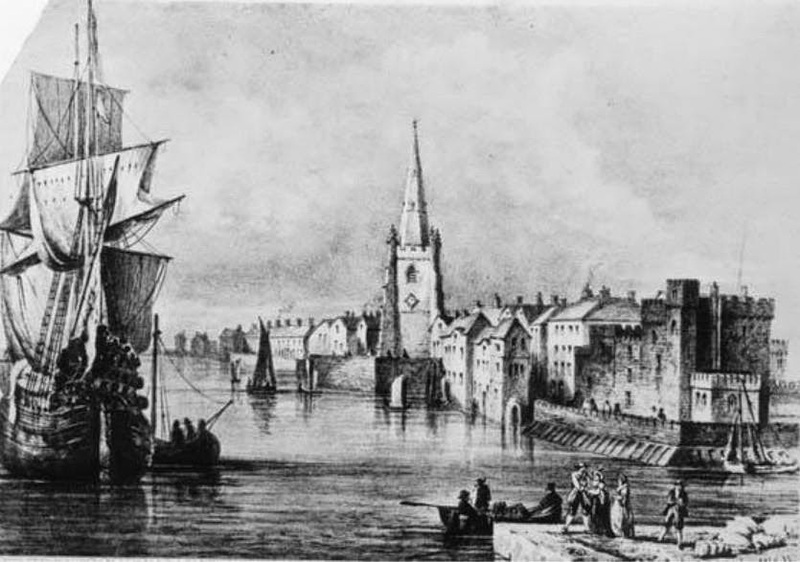 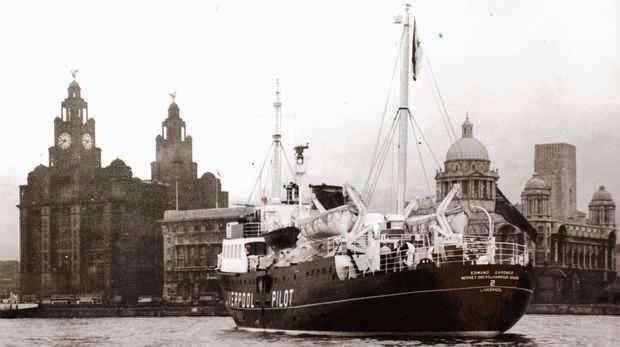 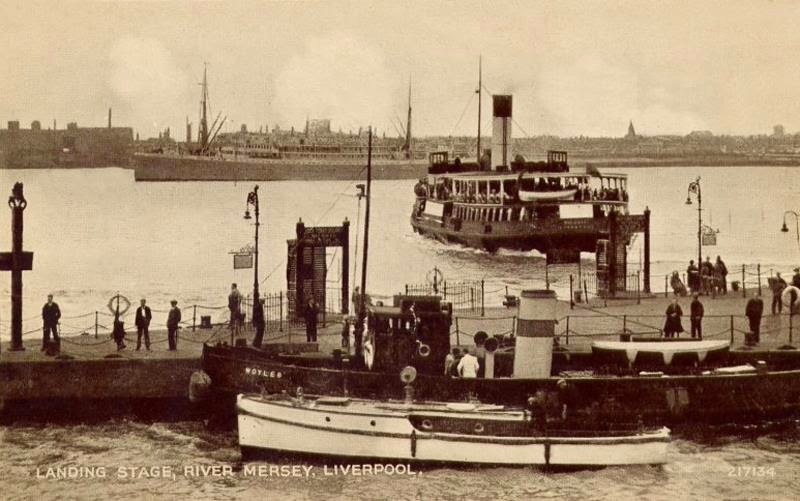 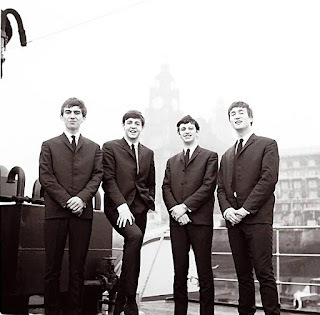 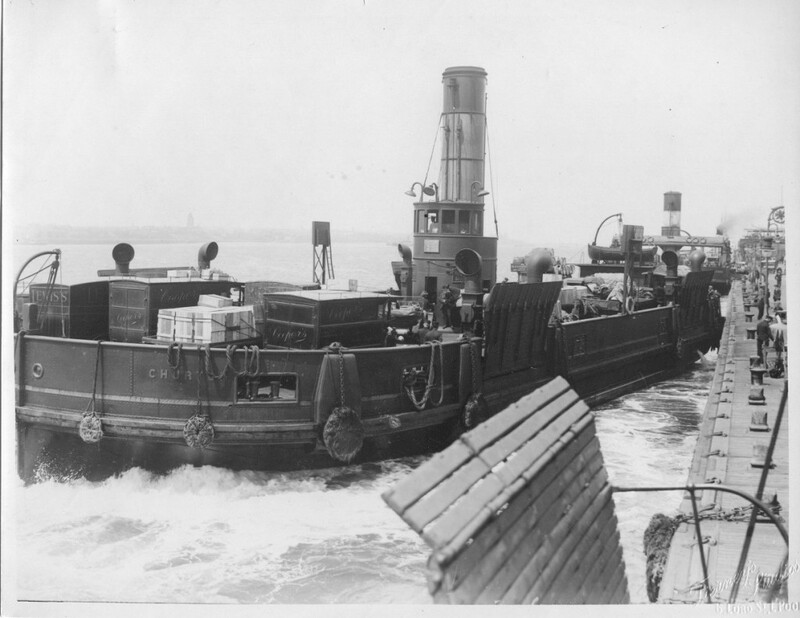 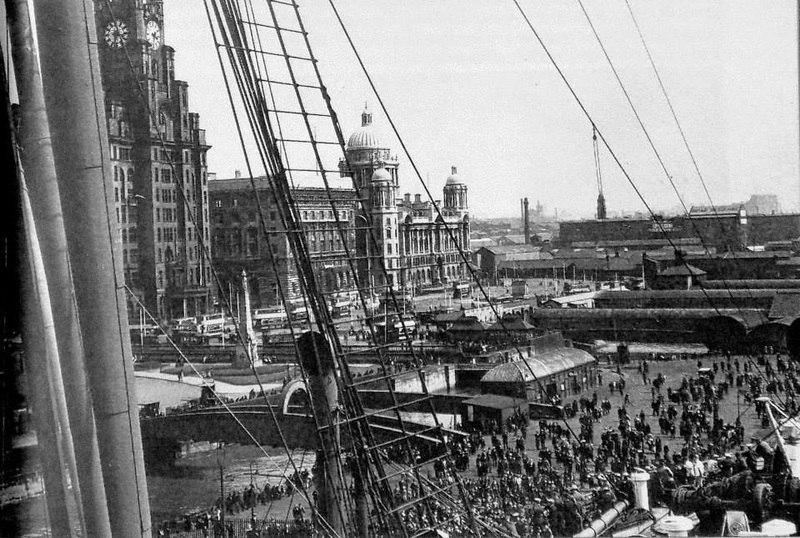 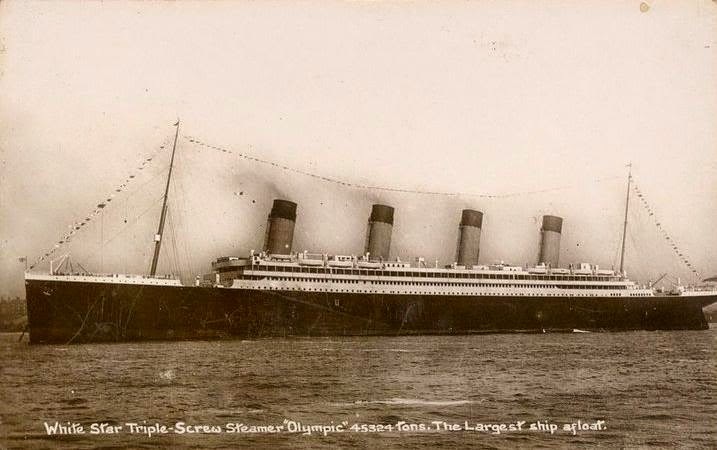 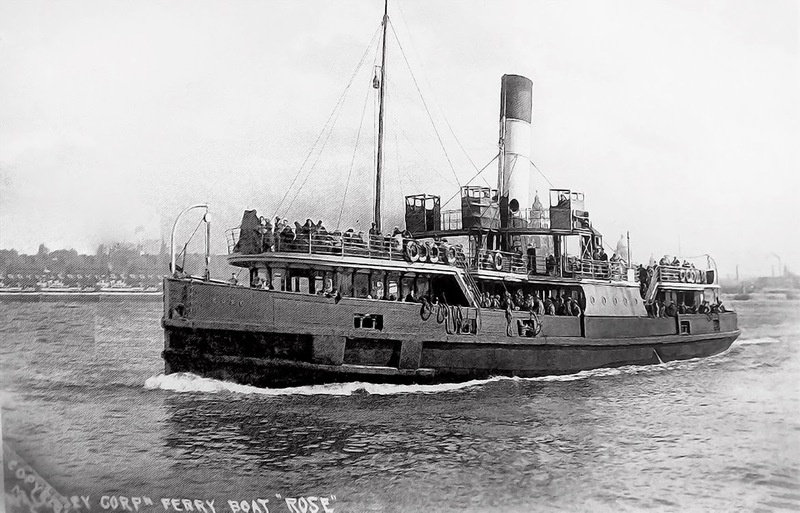 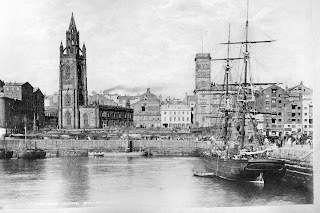 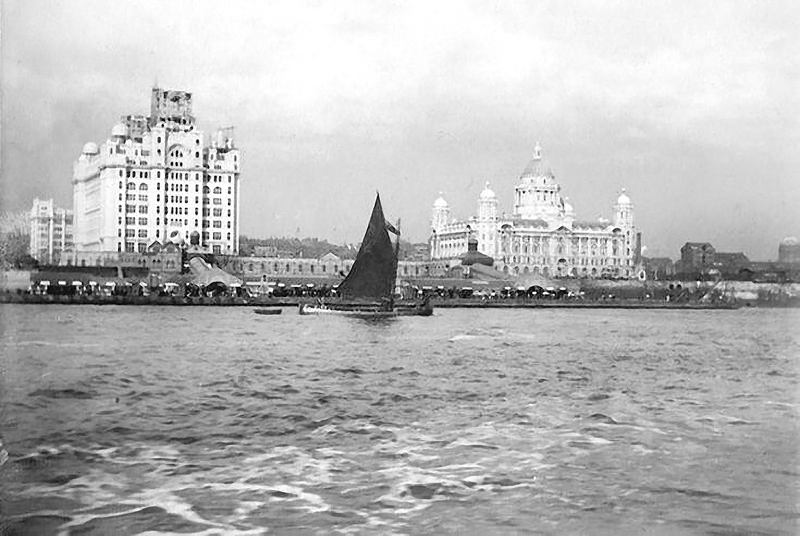 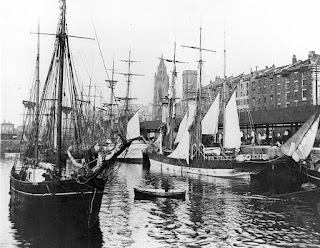 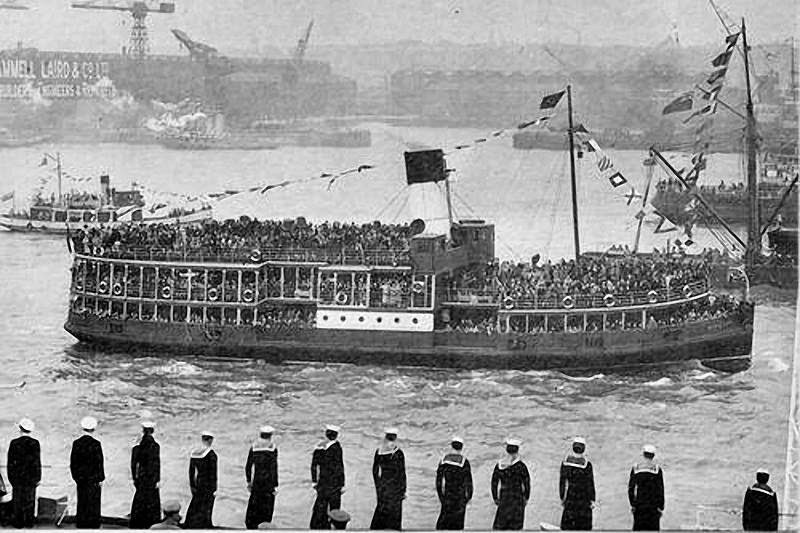 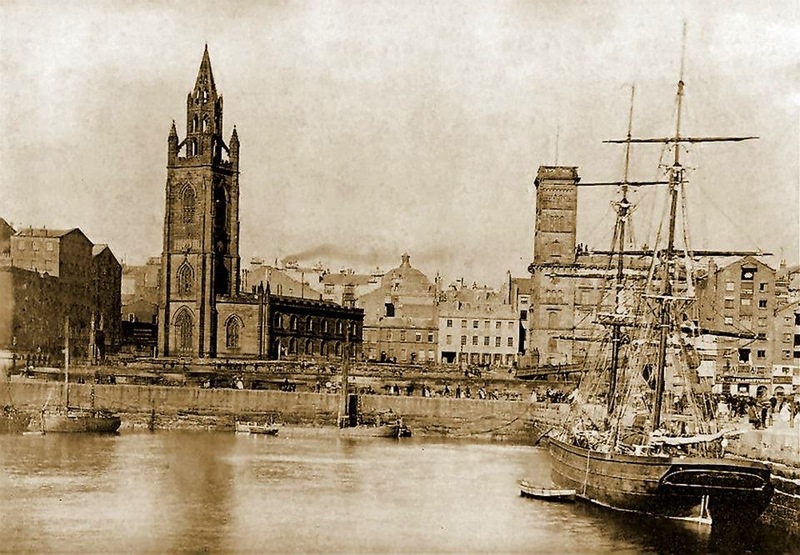 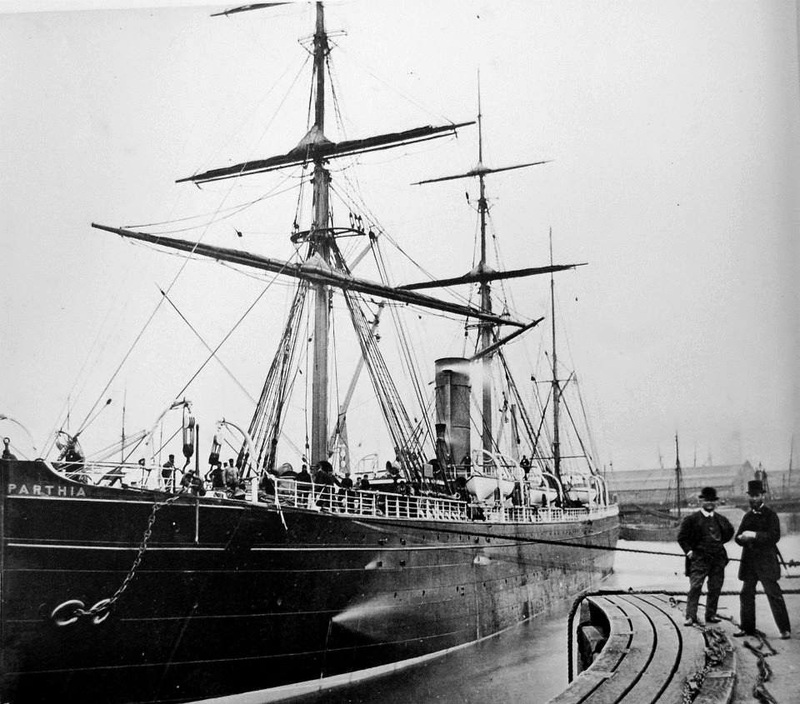 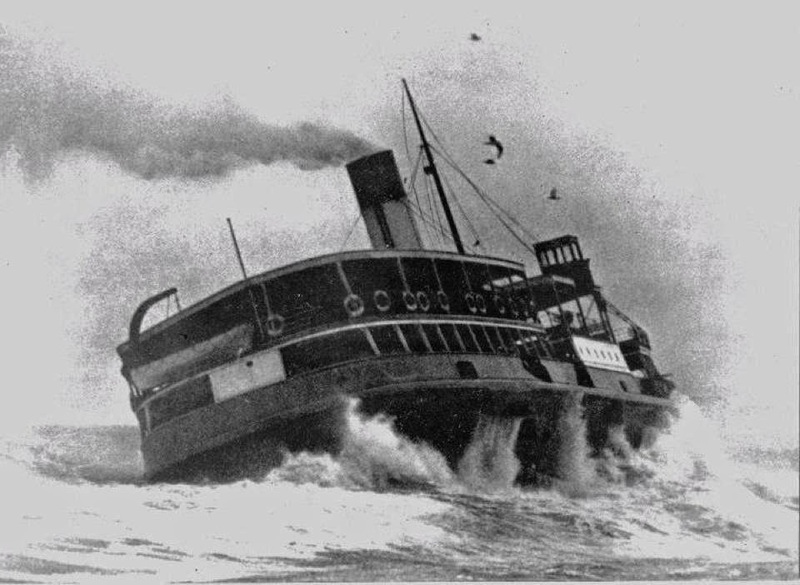 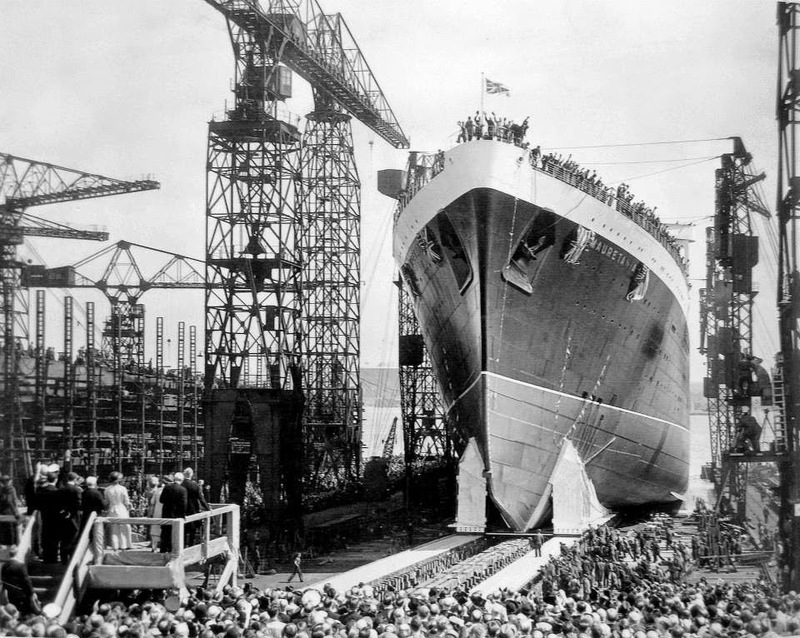 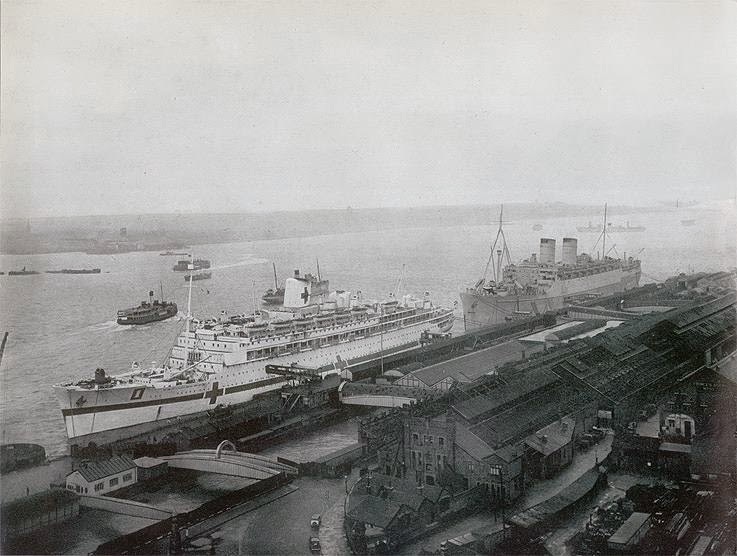 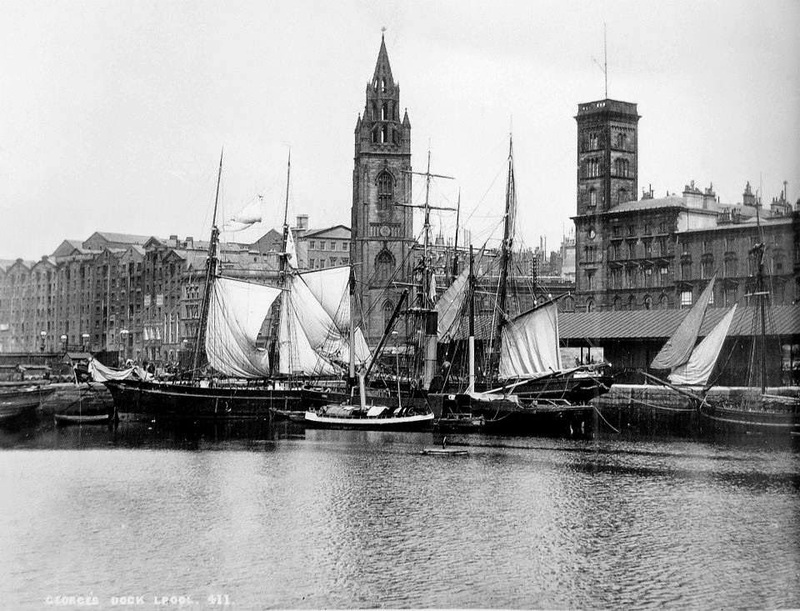 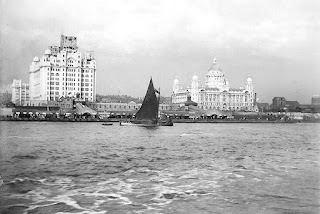 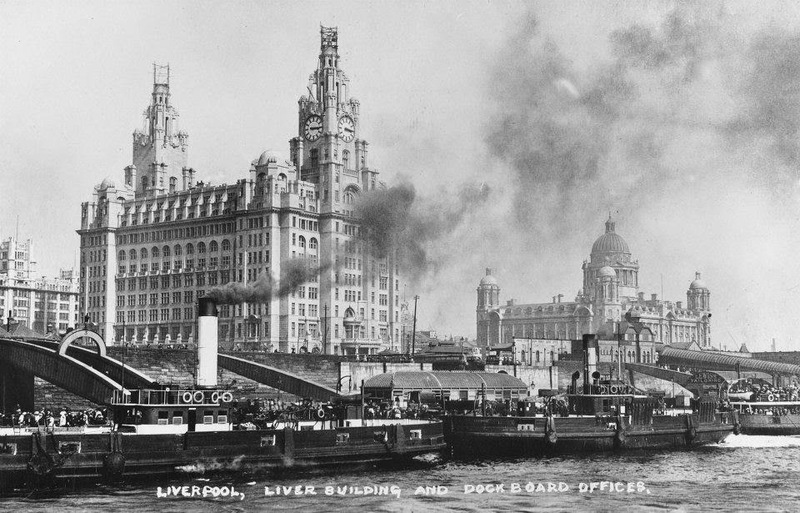 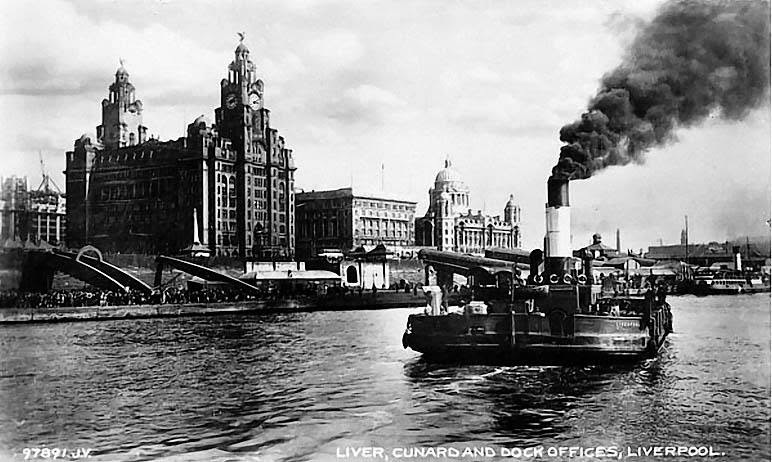 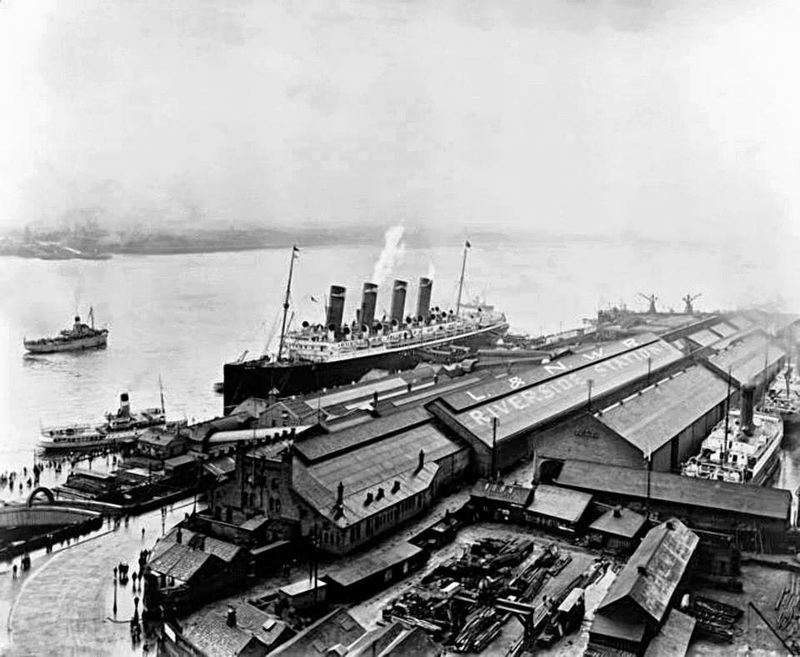 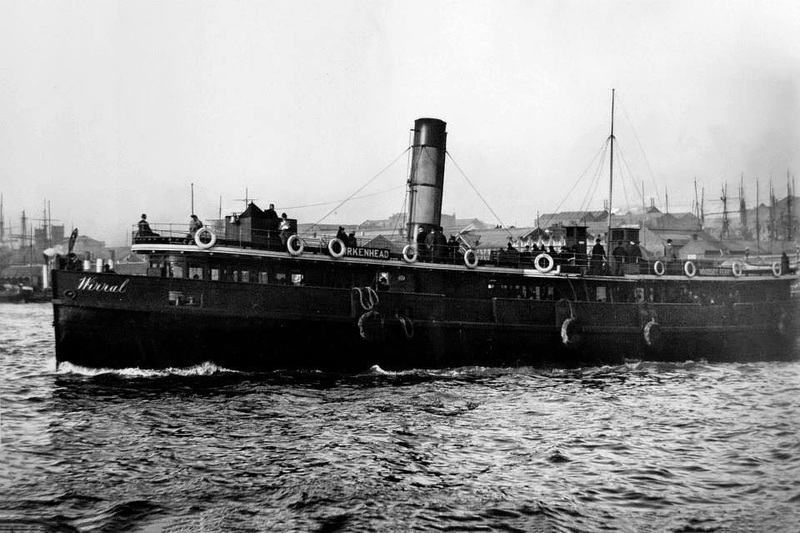 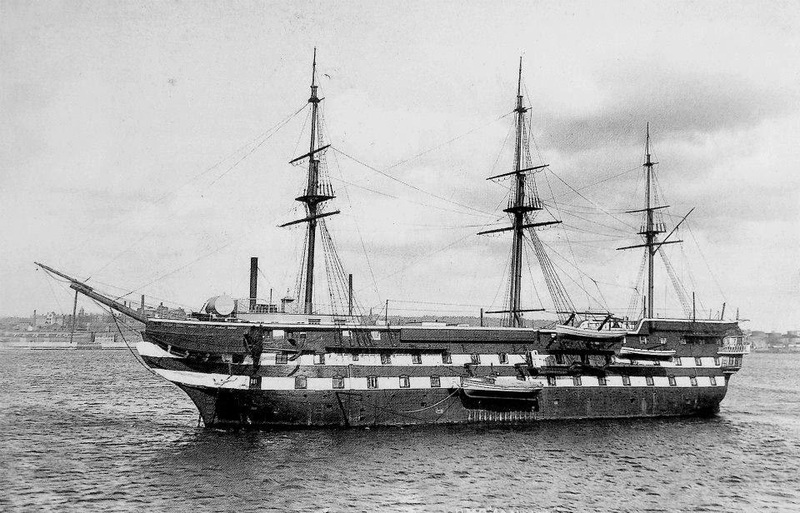 An old picture of the ship on the Mersey. 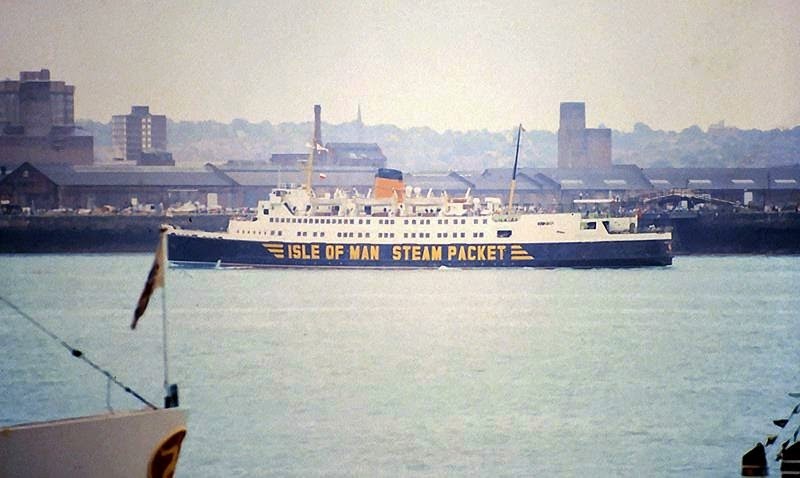 returning from the TT races week in the island. 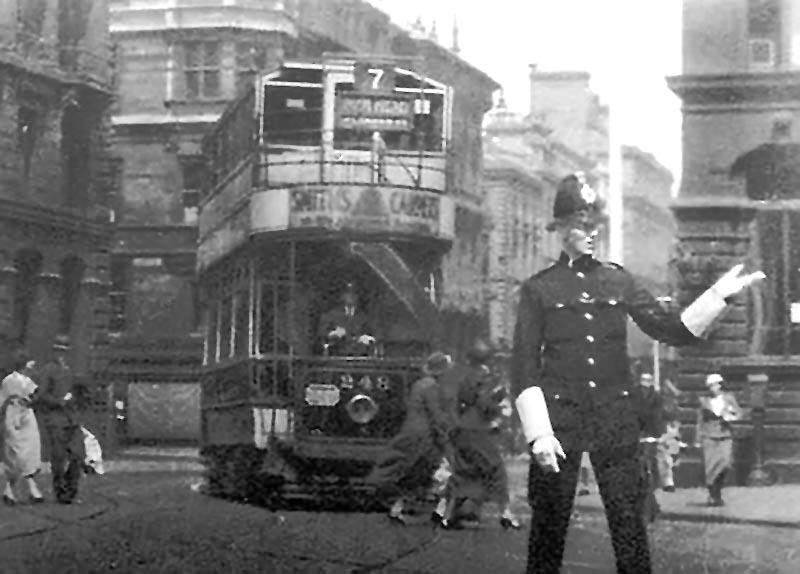 helped by this policeman on its way to the Pier Head. 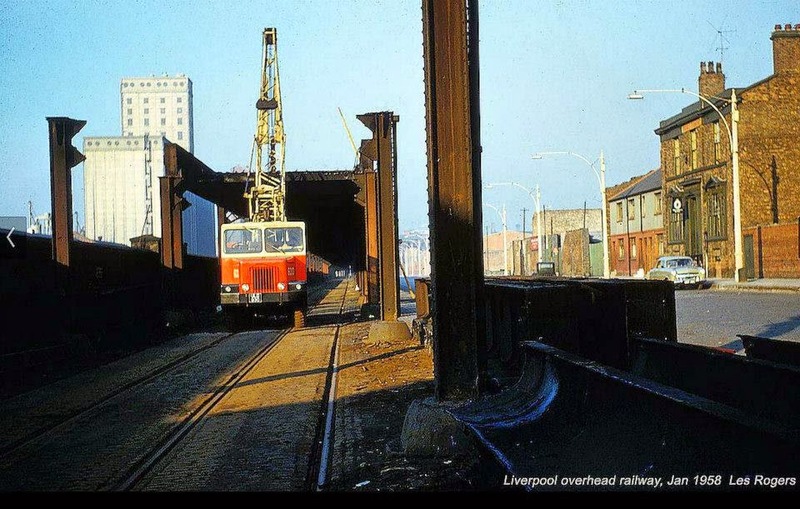 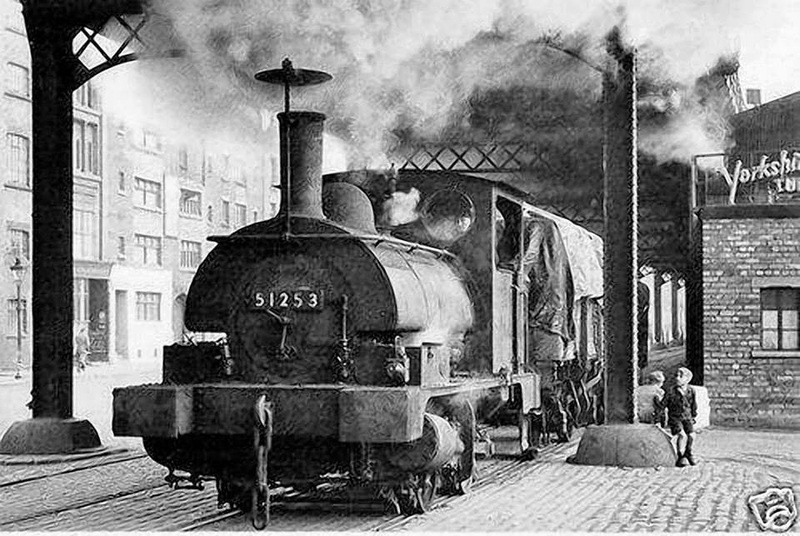 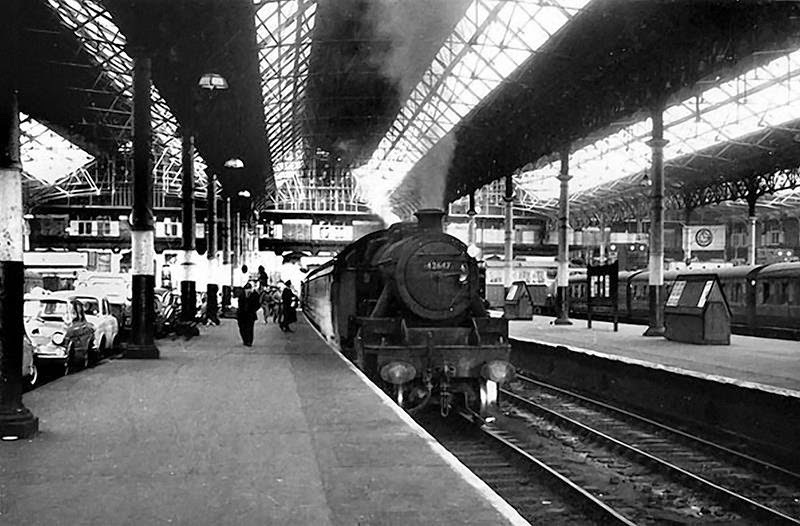 ran under the Overhead Railway for much of its length. 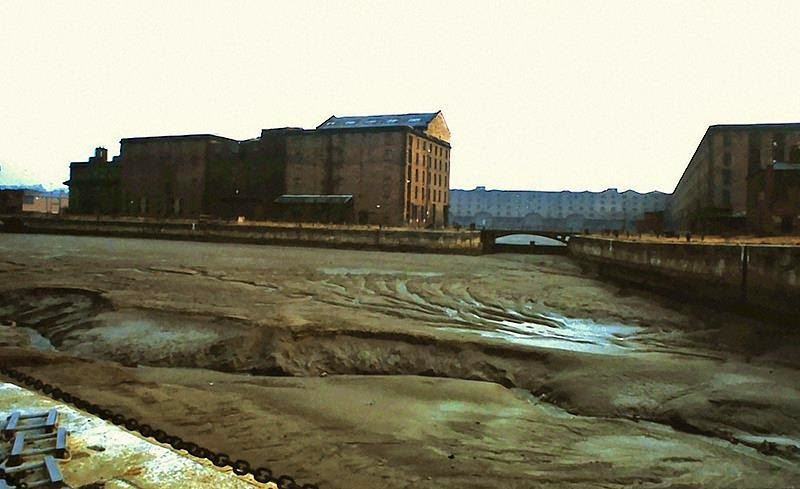 silted up after dock gates left open. 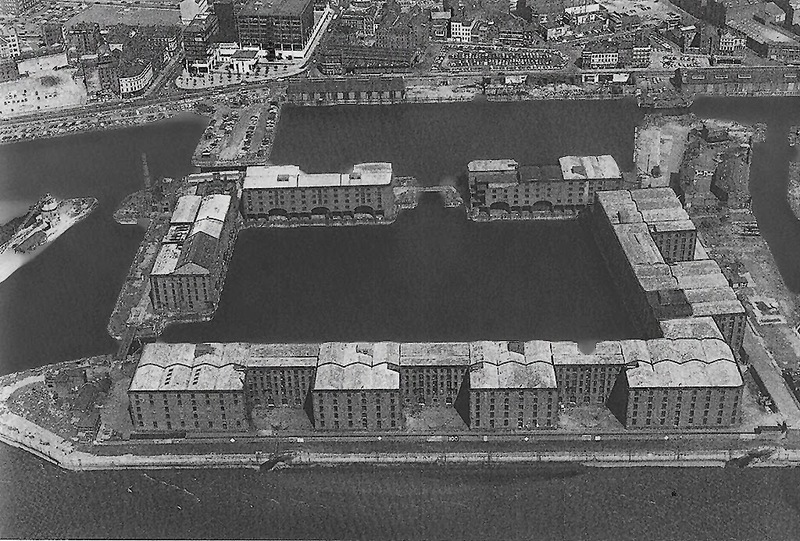 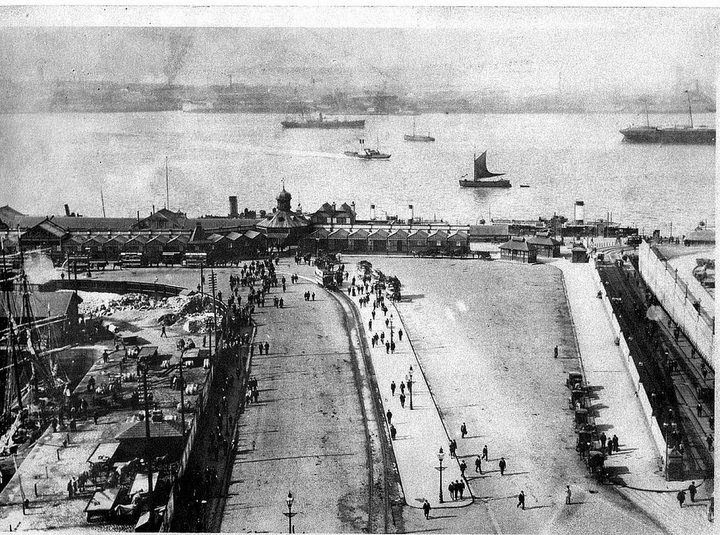 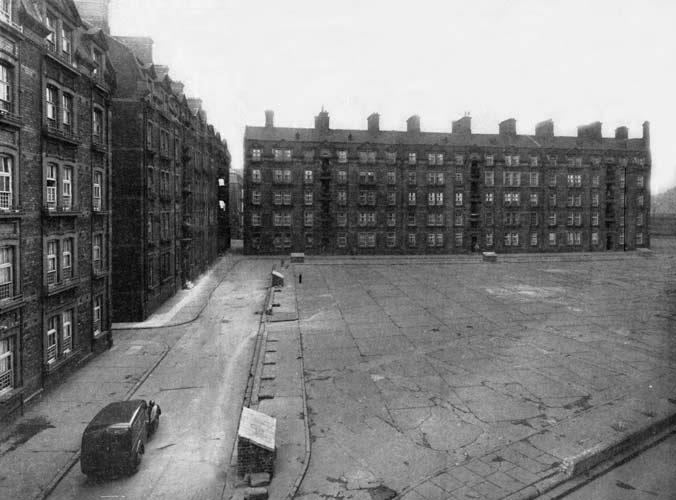 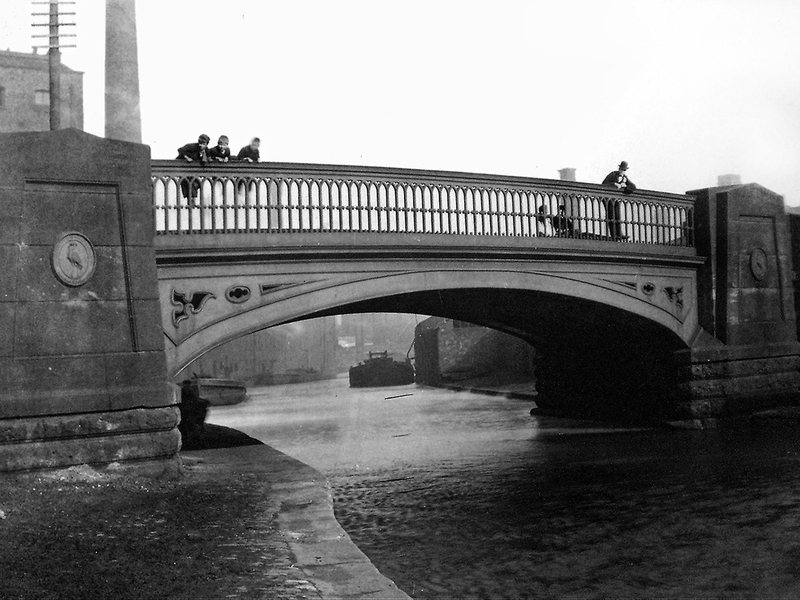 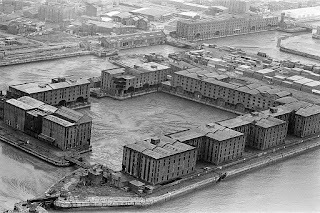 estate before the landing stage was built at all. 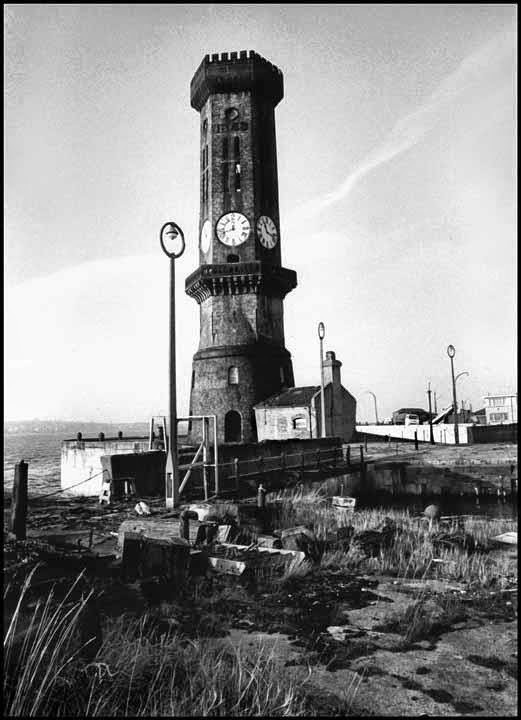 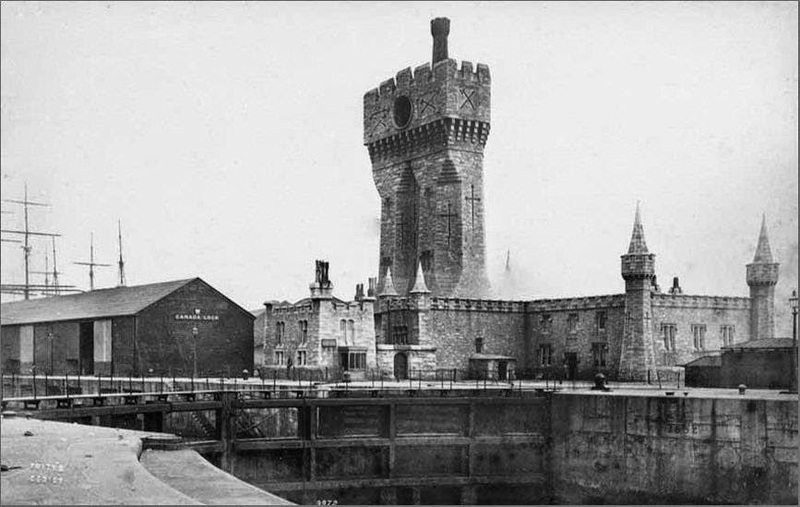 Another hydraulic tower that long stood in Canada Dock. 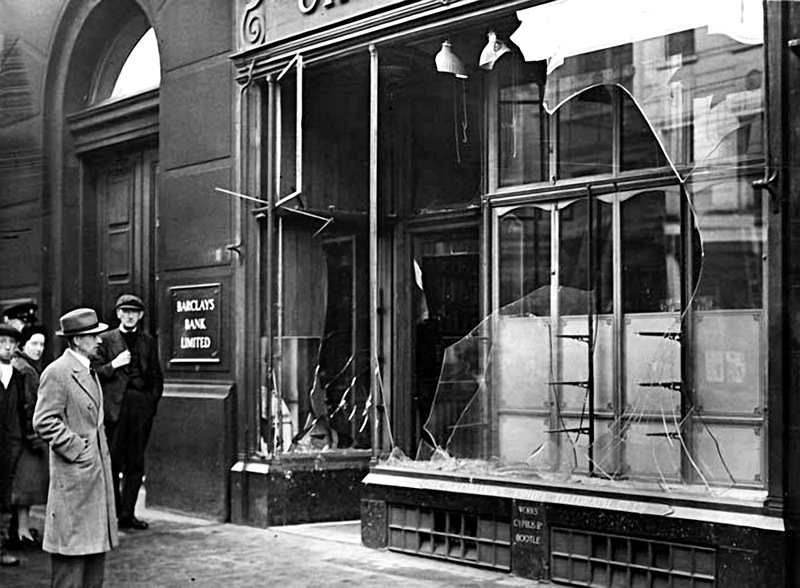 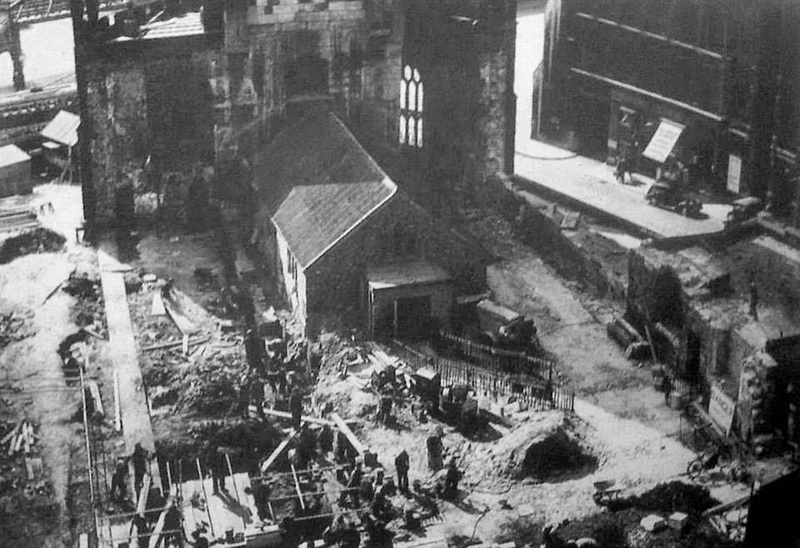 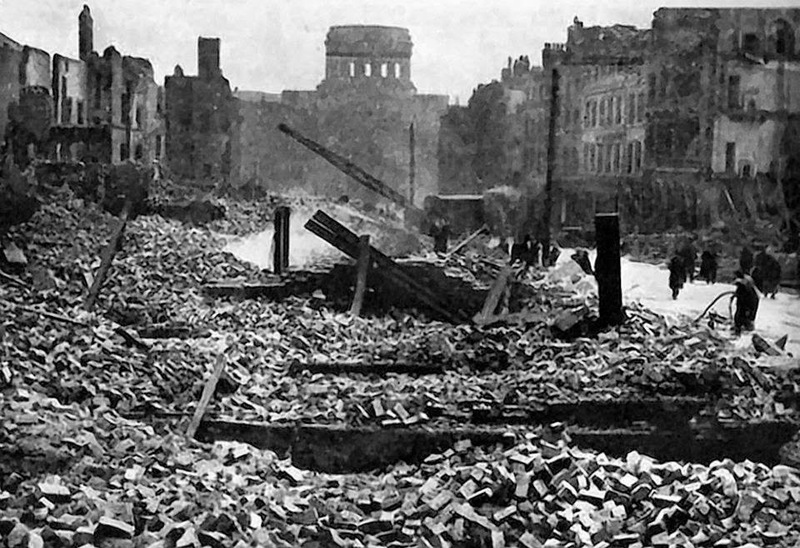 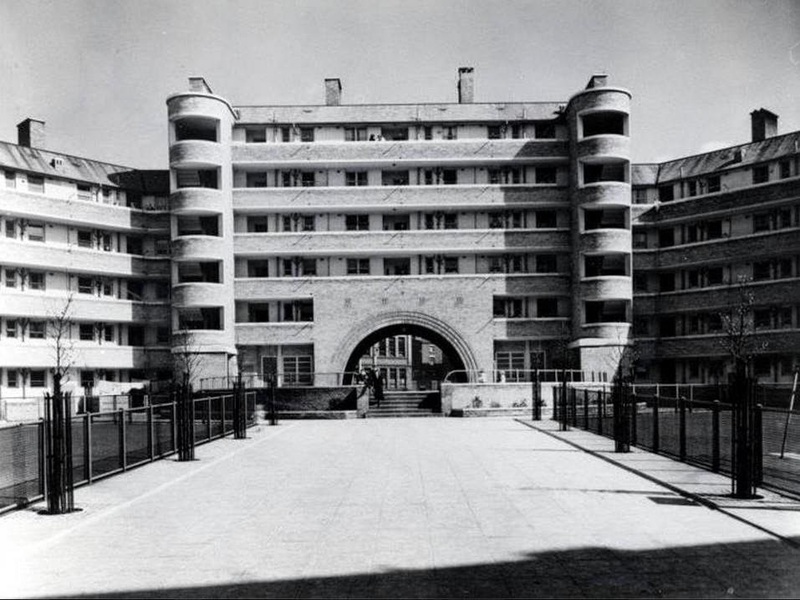 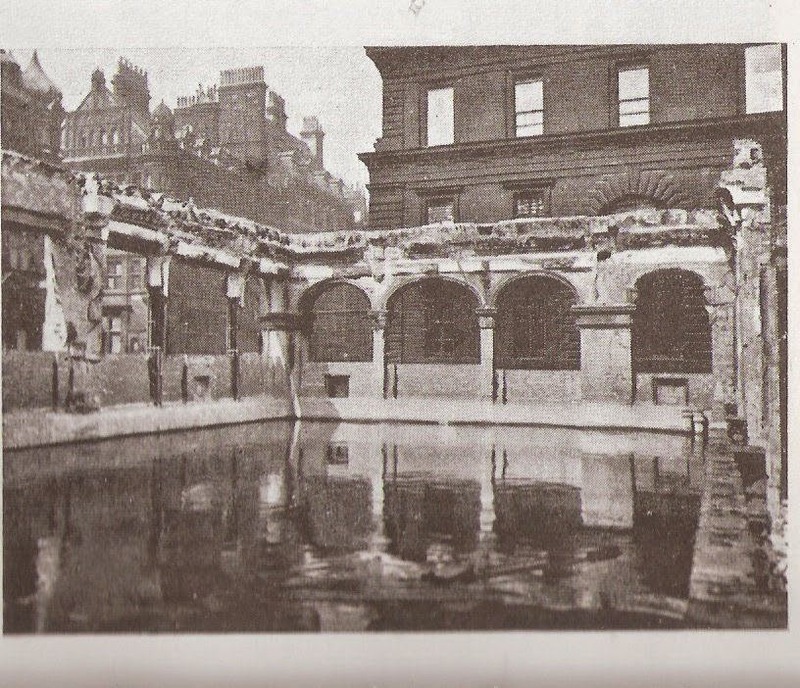 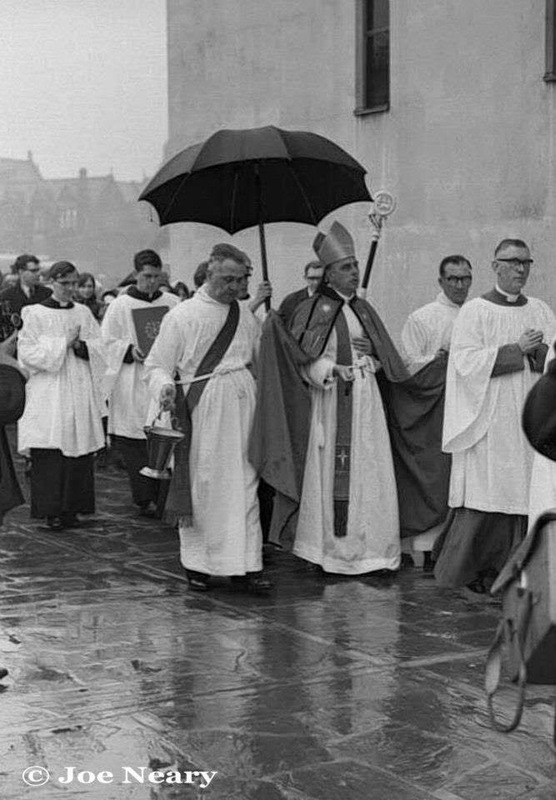 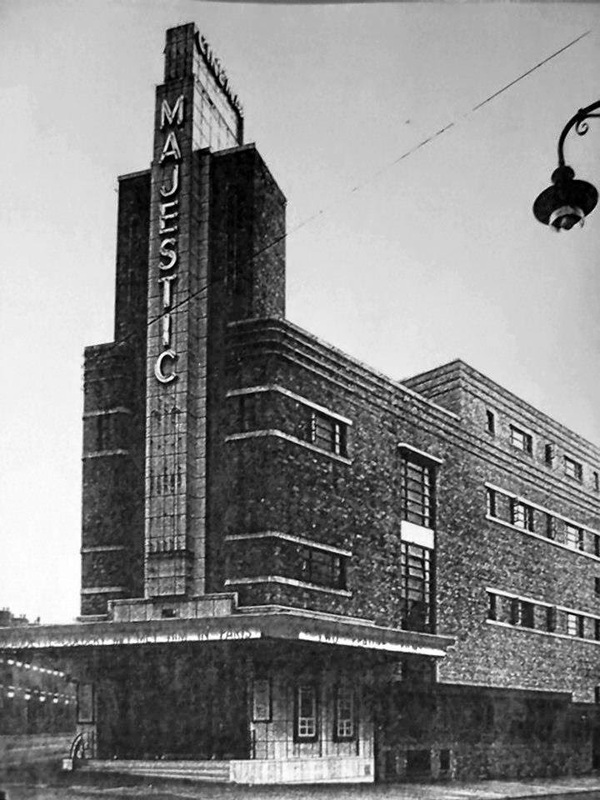 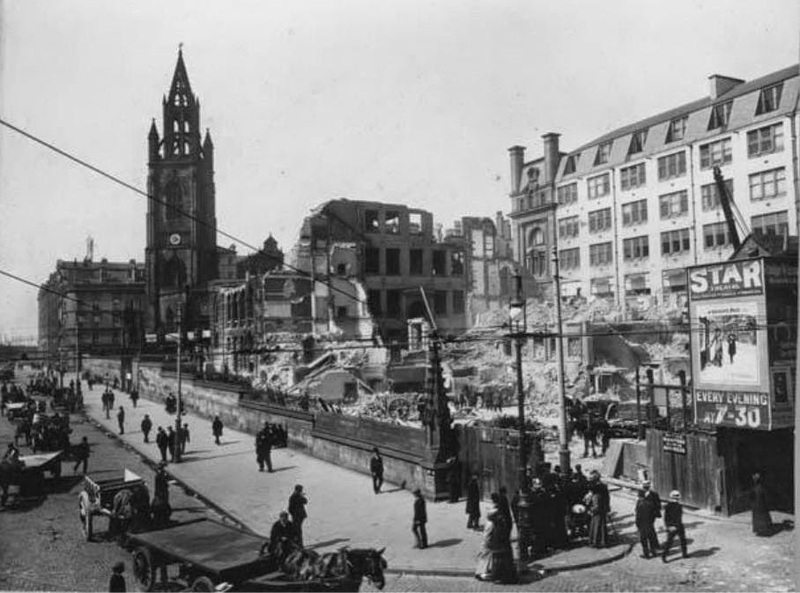 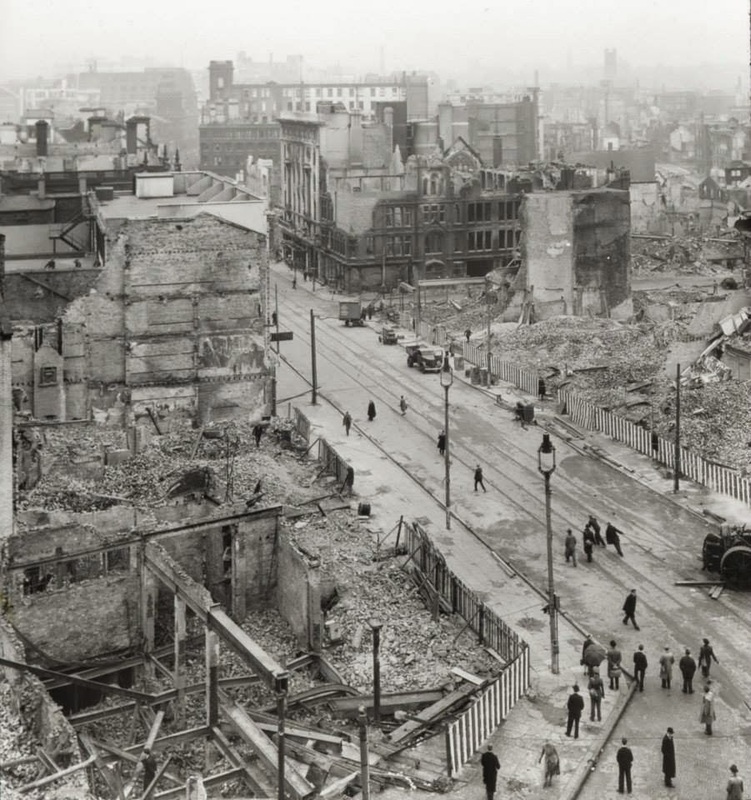 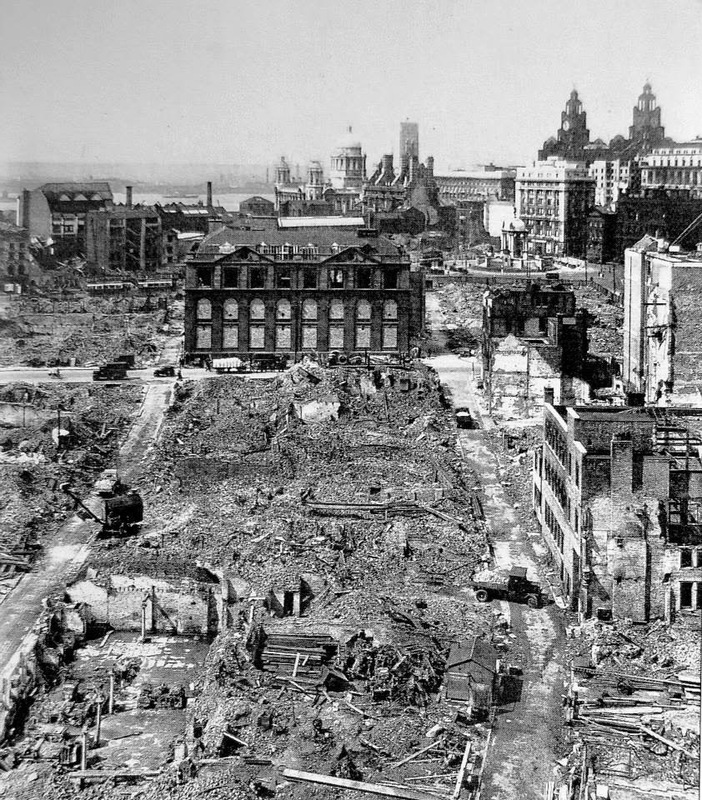 It was tragically destroyed in an air raid in 1941. 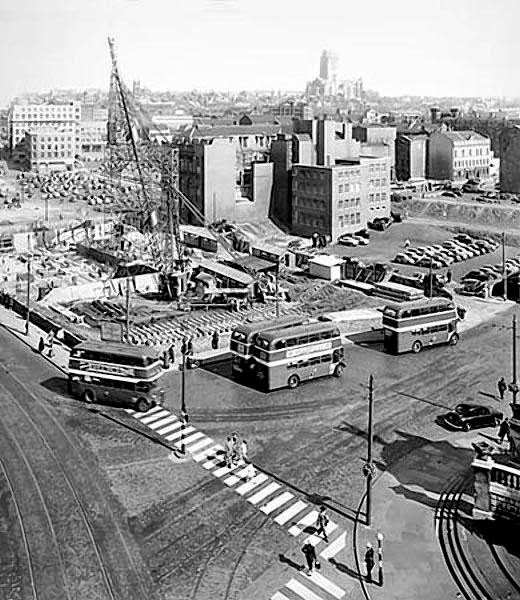 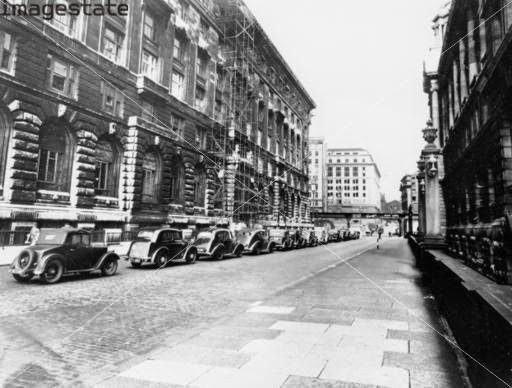 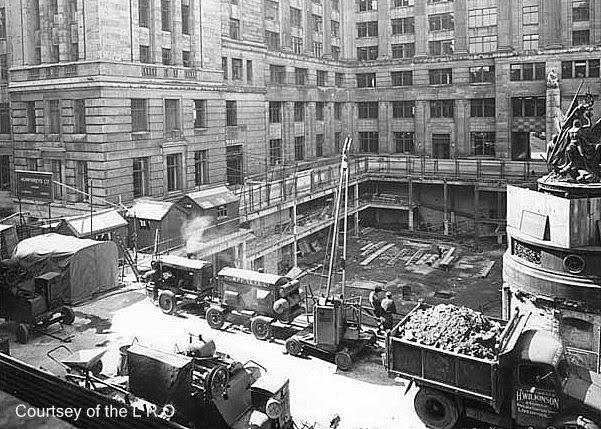 Exchange flags underground car park under construction. 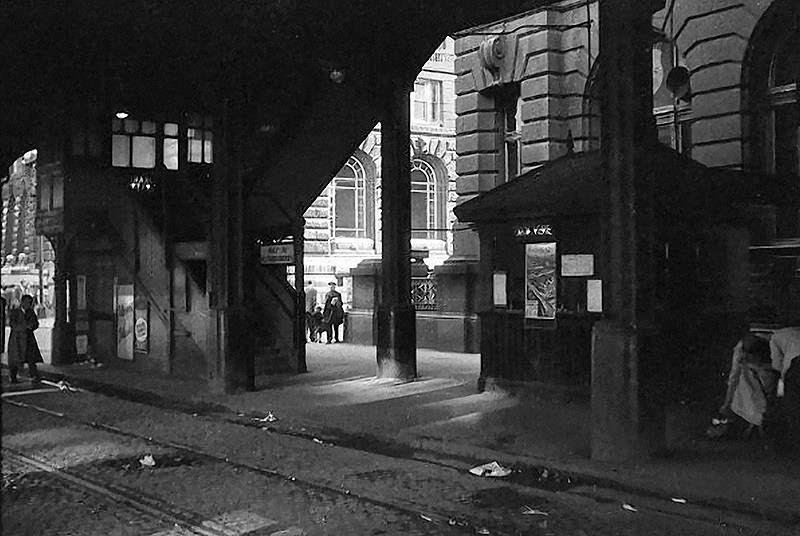 to this rarely seen underground world. 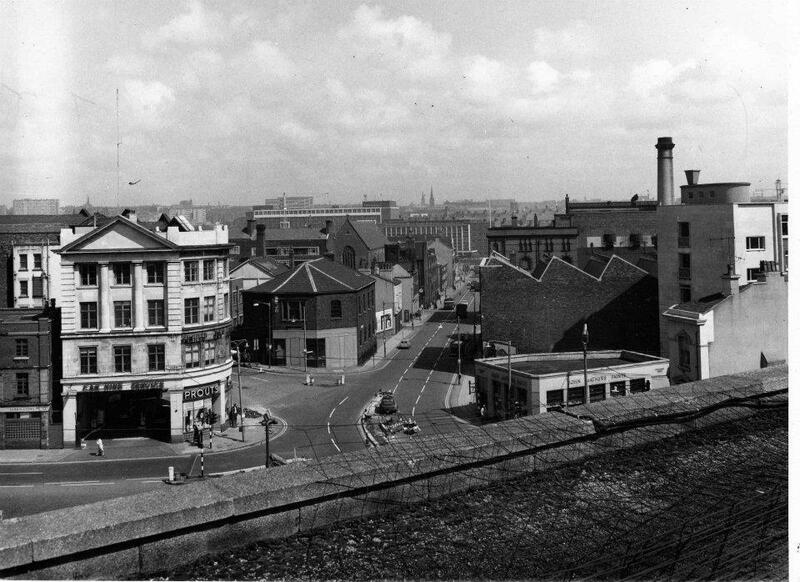 Lord street from the Holy Corner. 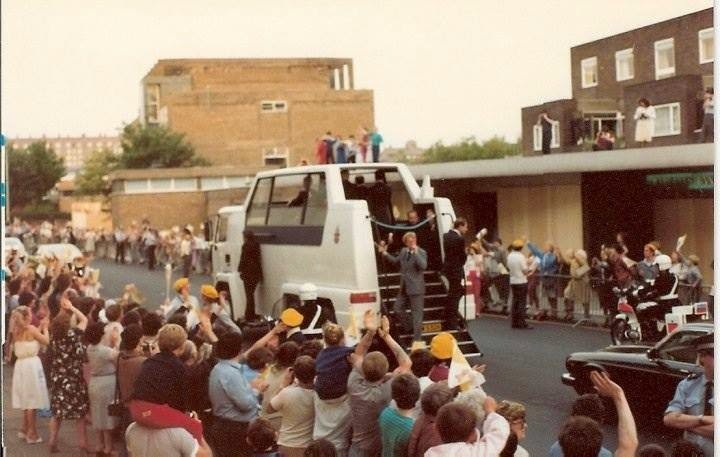 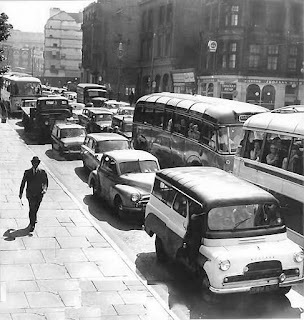 the scene at Lord st cross roads. 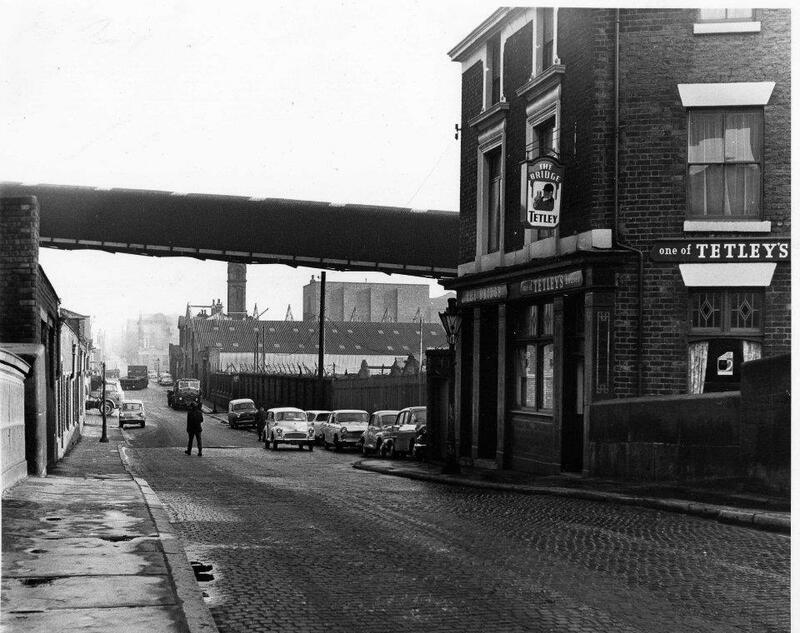 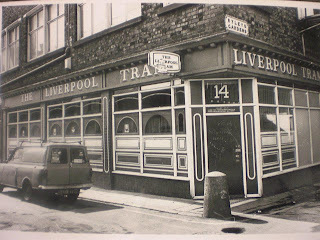 The Liverpool Tram at Tempest Hey in 1979.
and the United Powers pub. 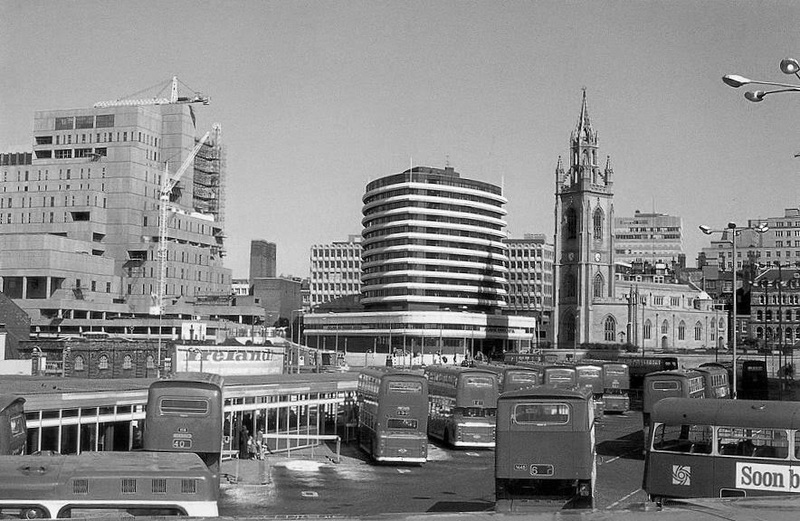 be replaced by the current Tower Buildings. 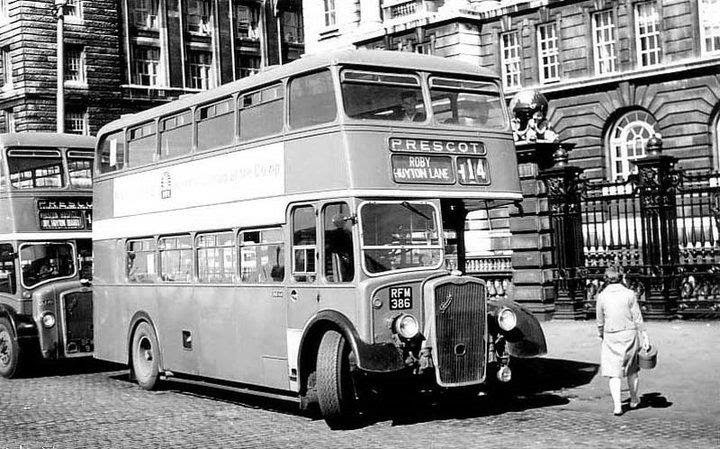 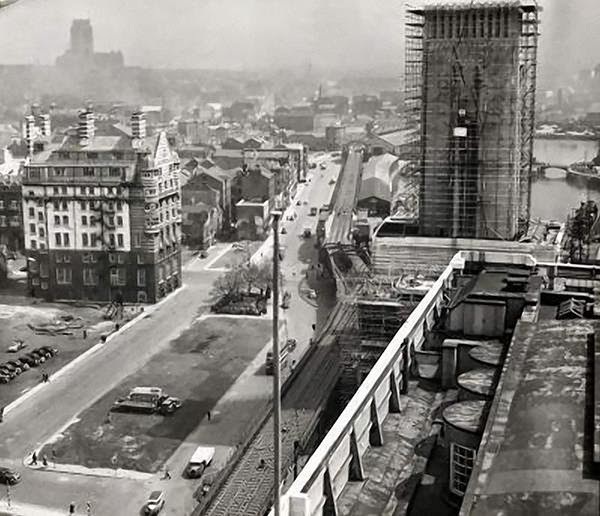 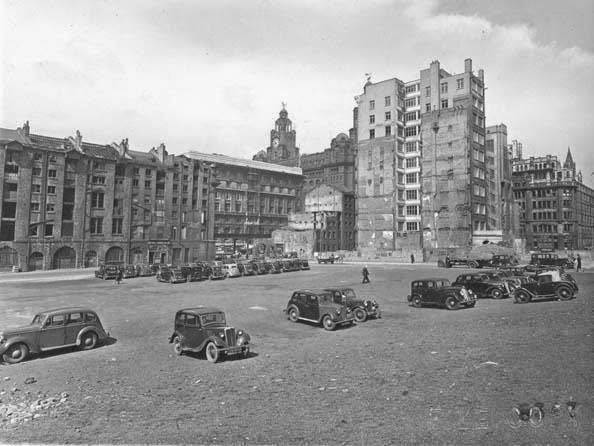 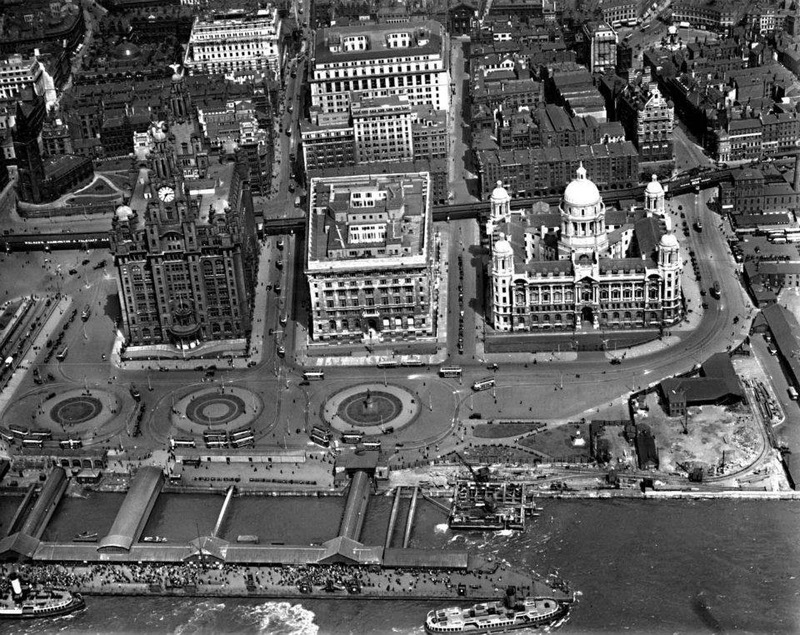 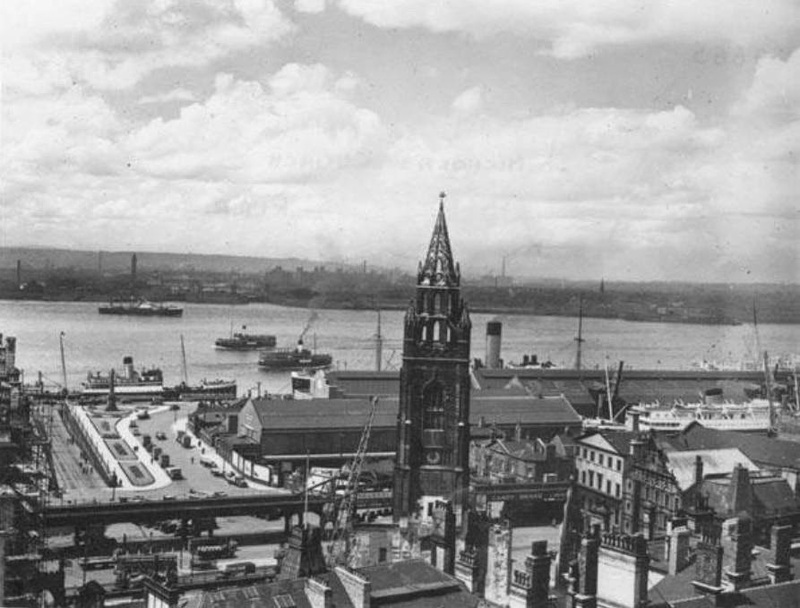 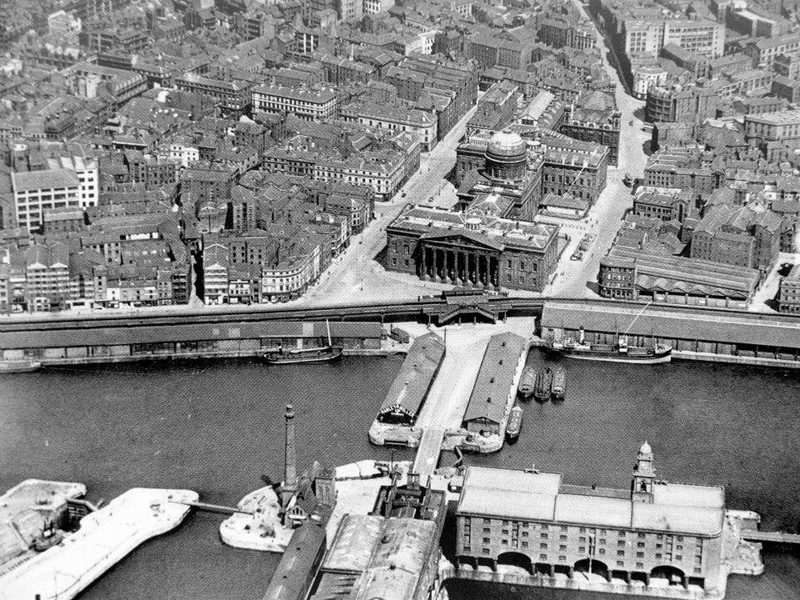 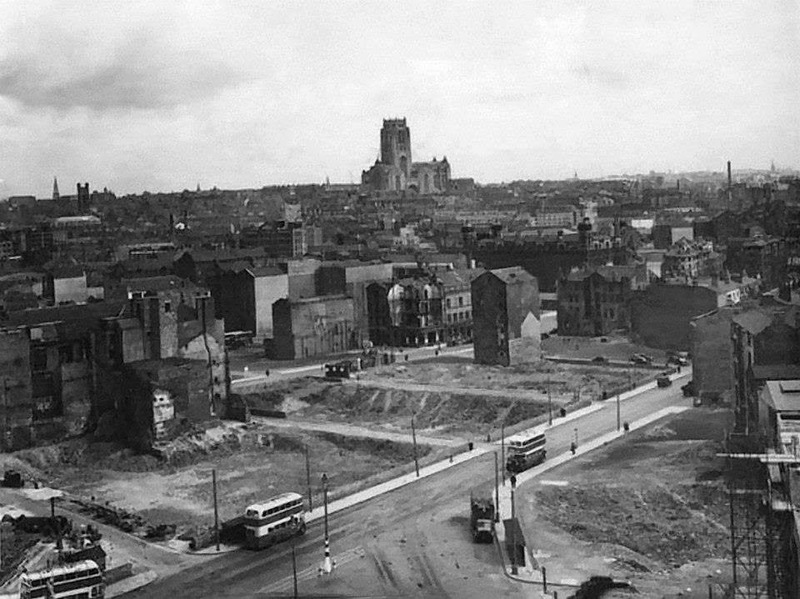 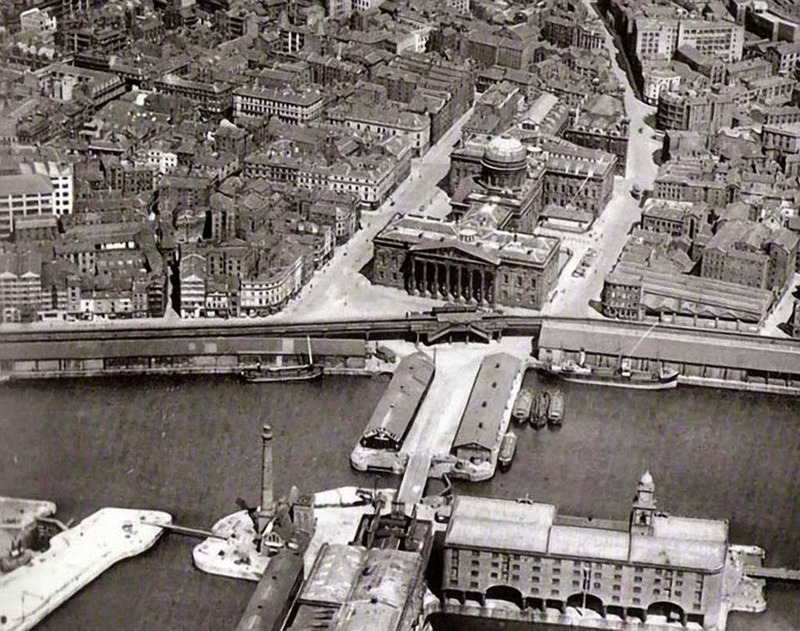 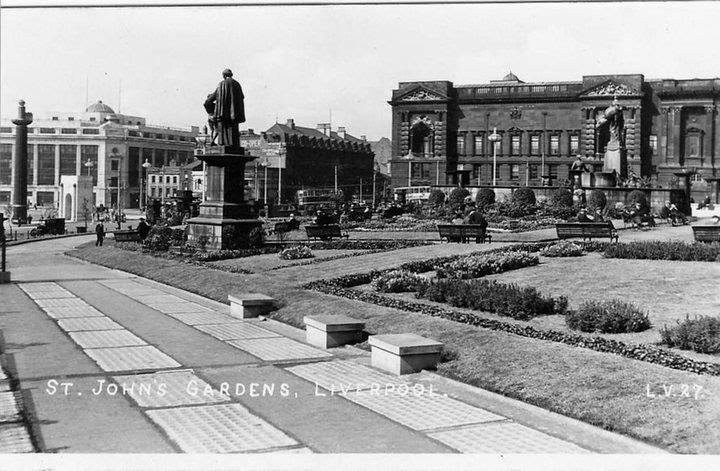 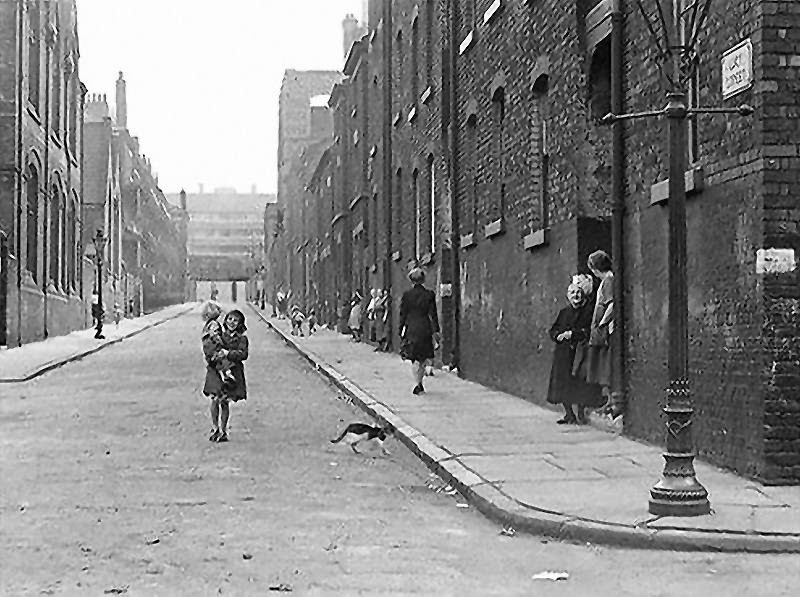 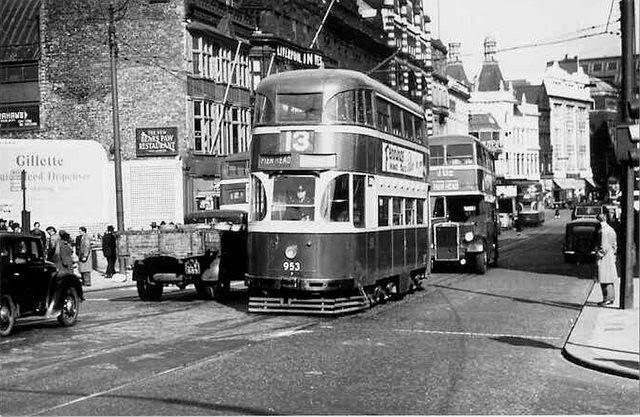 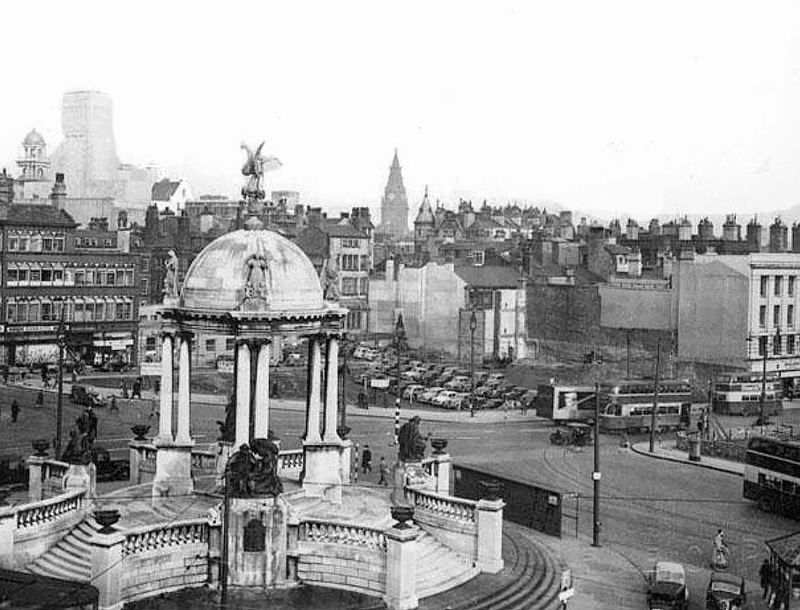 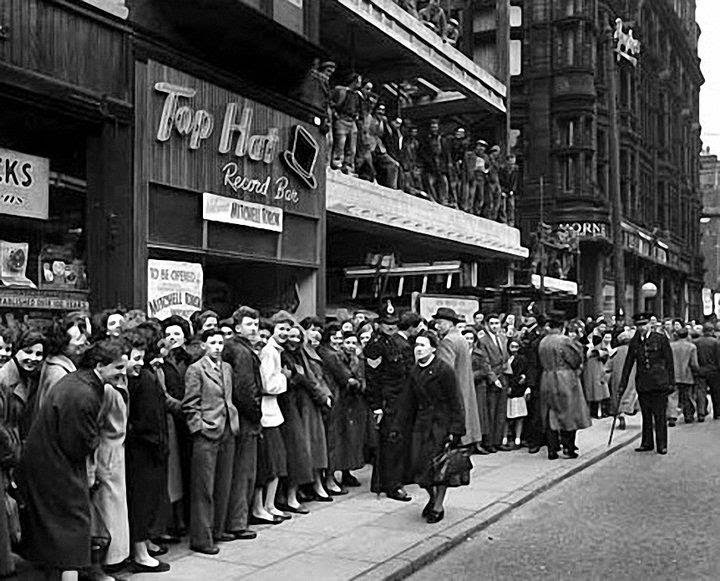 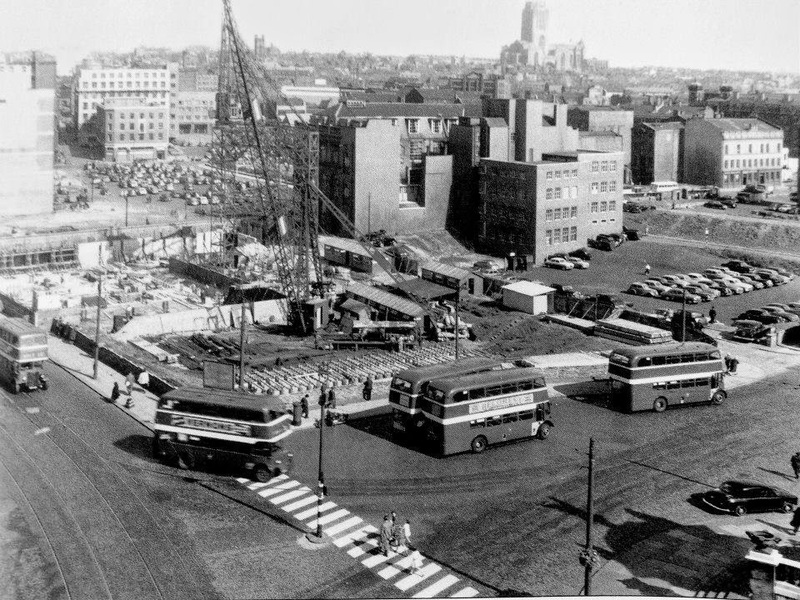 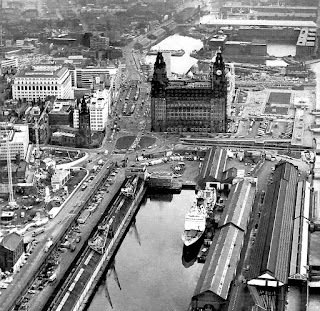 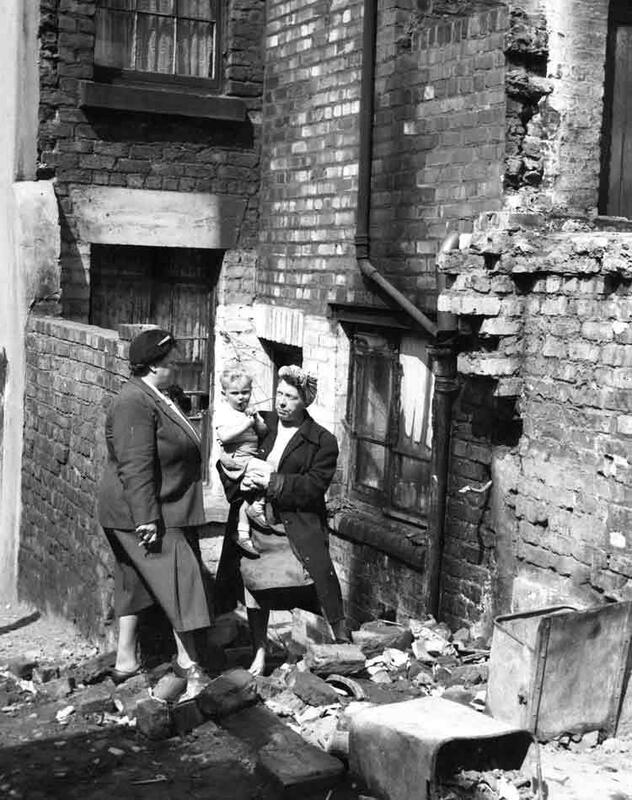 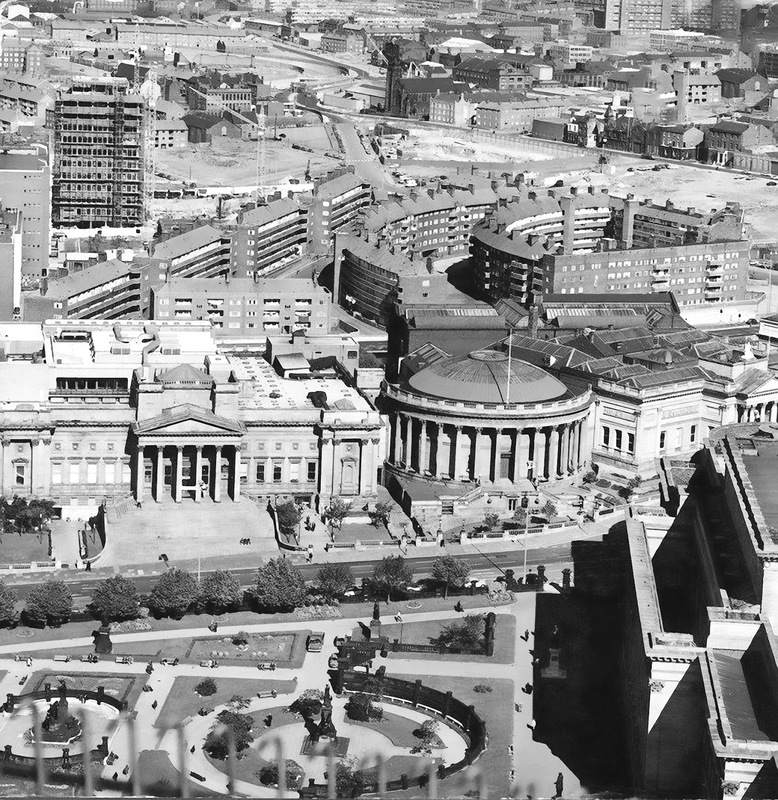 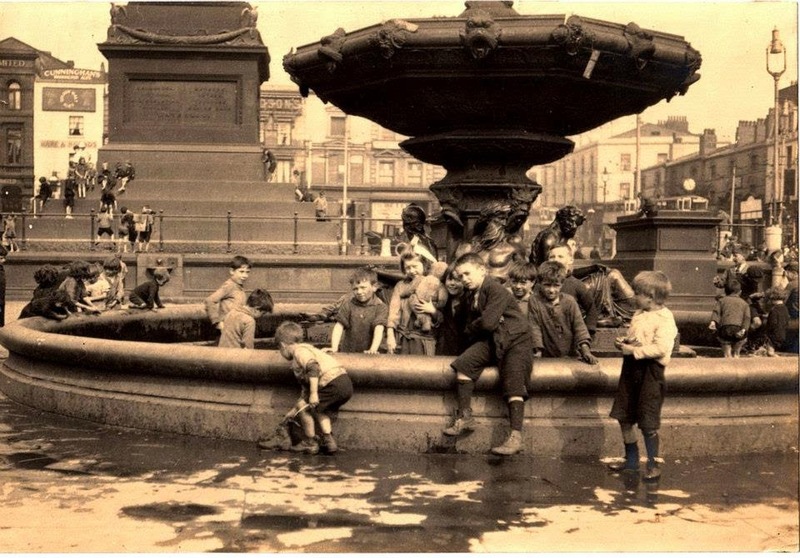 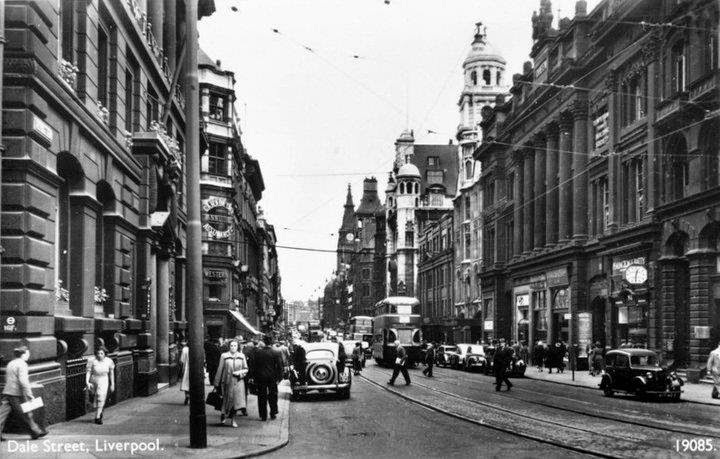 Views of Liverpool, 13th May 1954. 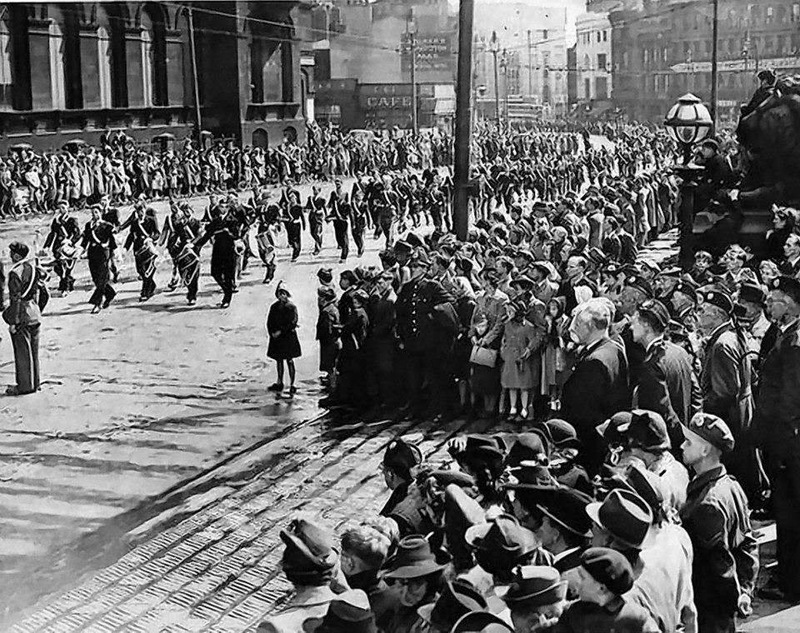 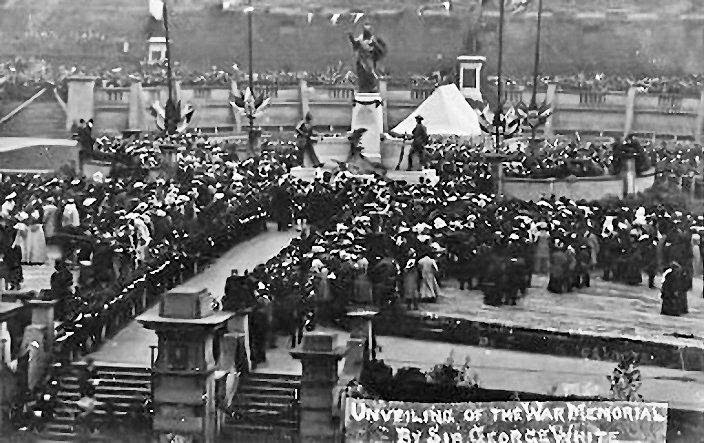 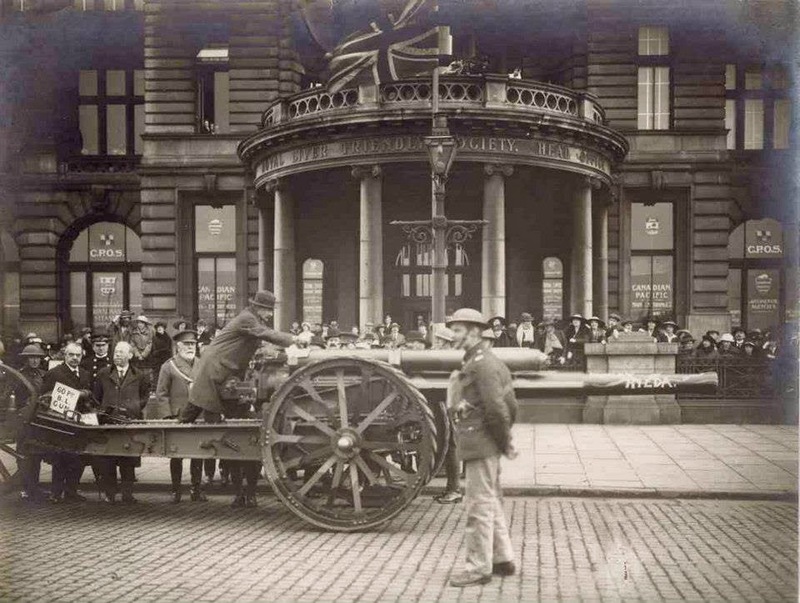 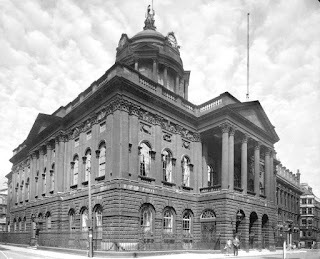 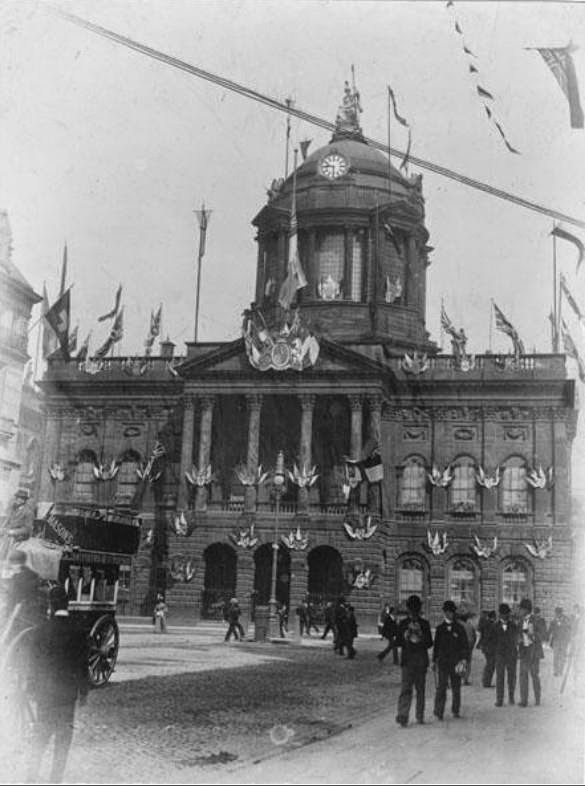 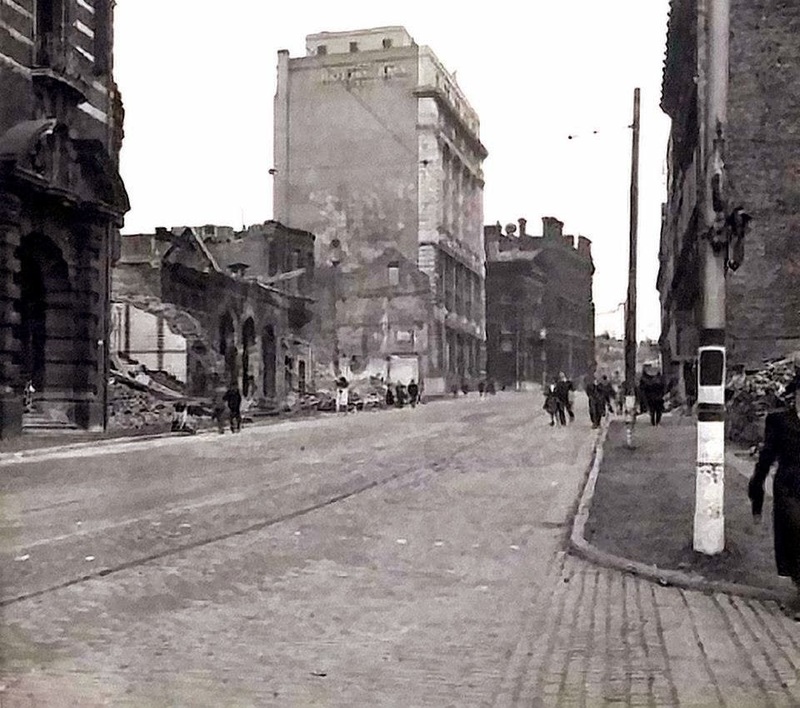 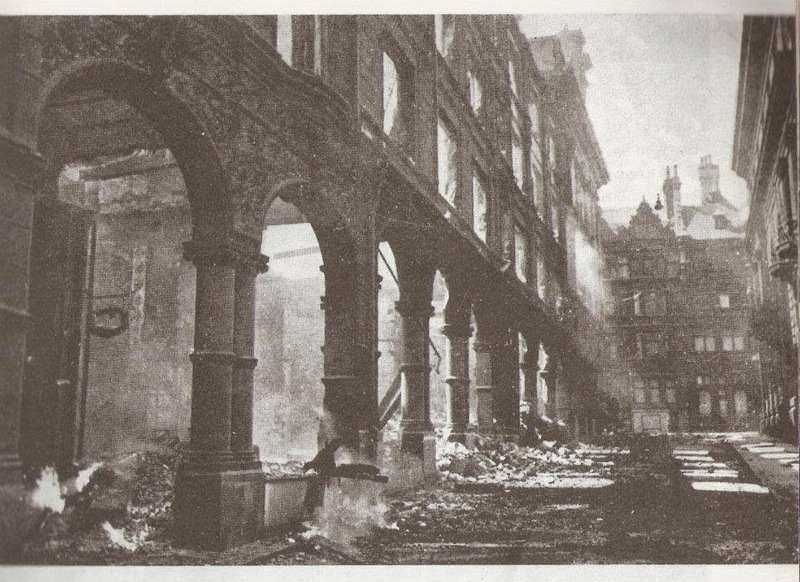 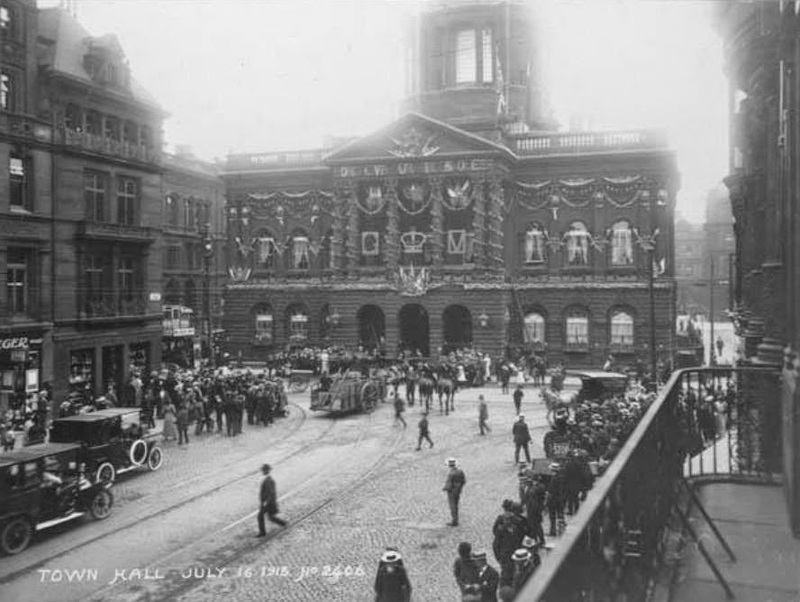 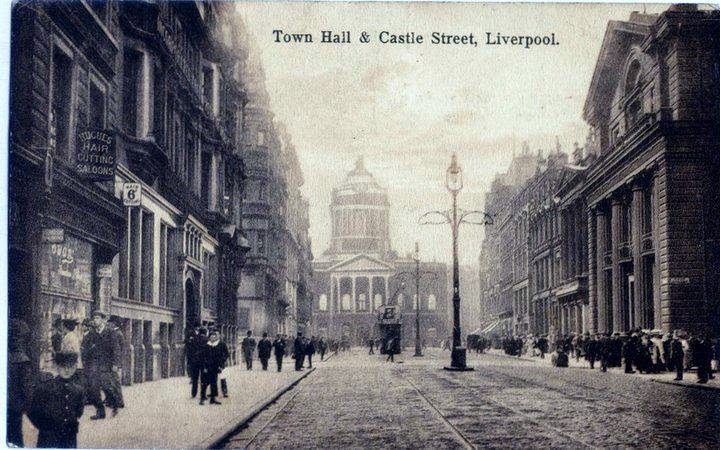 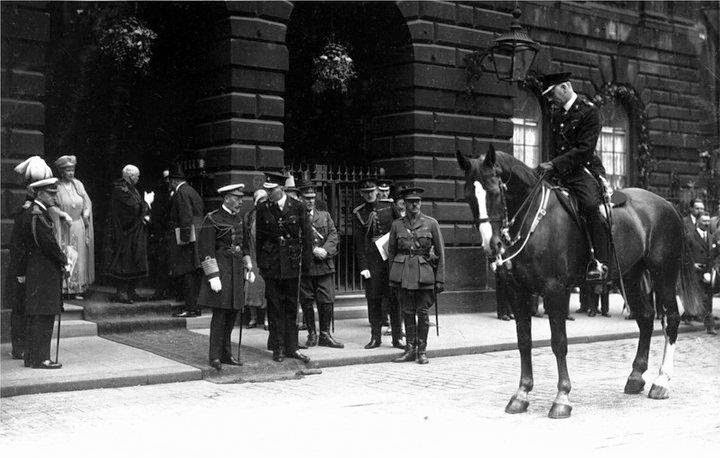 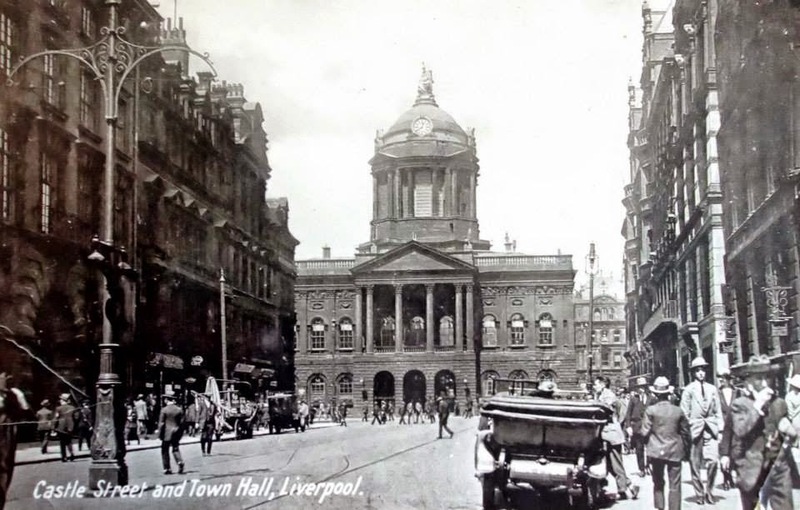 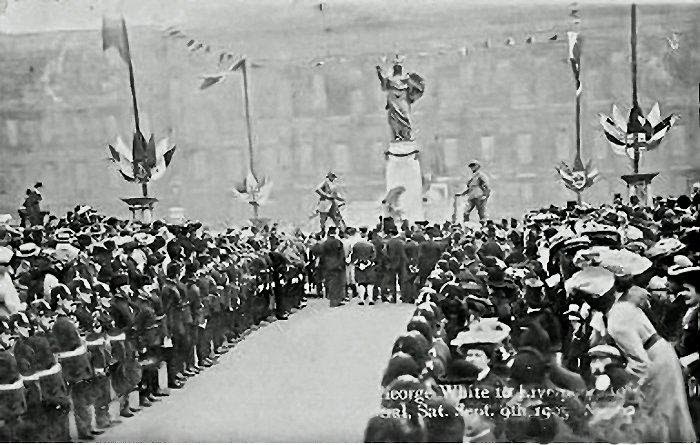 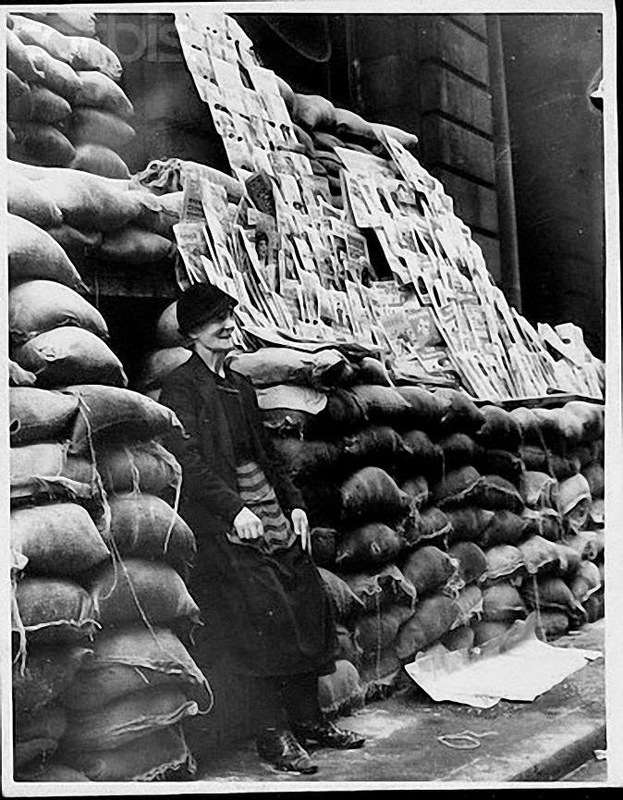 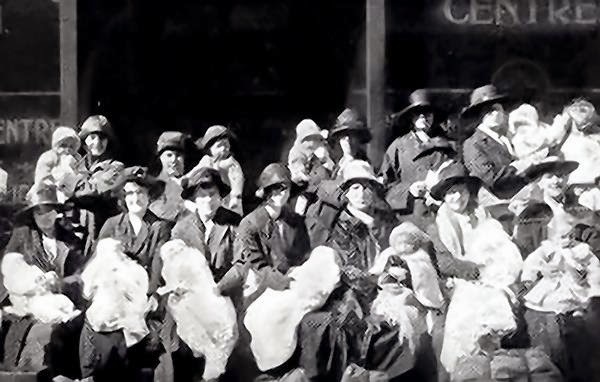 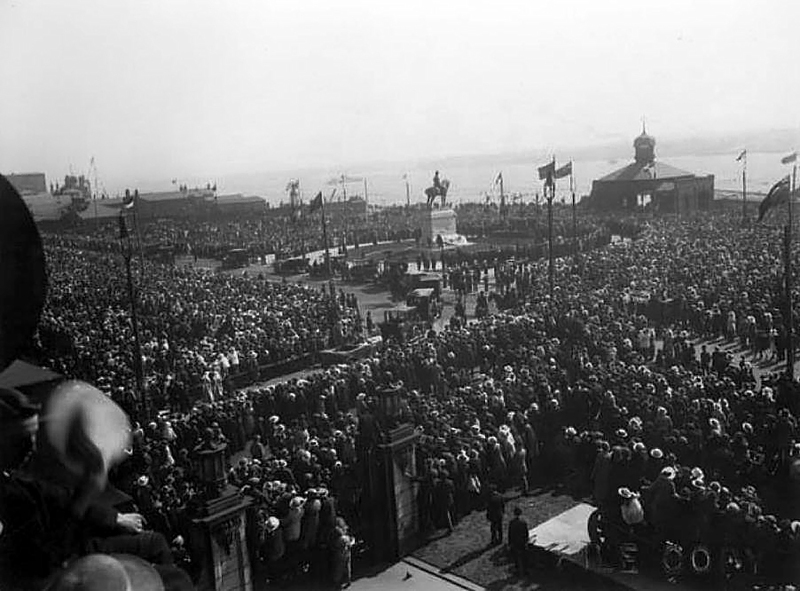 Town Hall after war was declared. 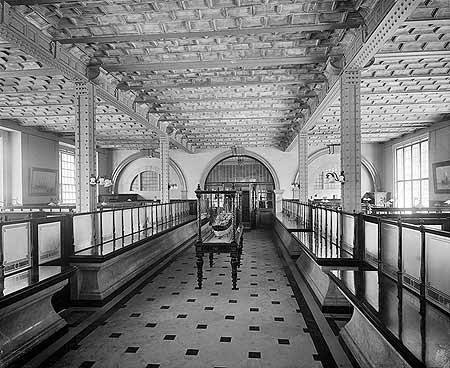 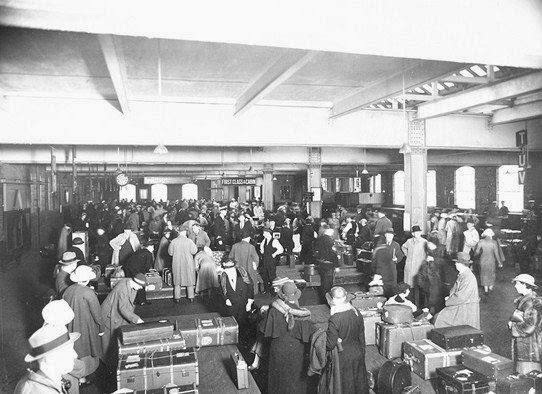 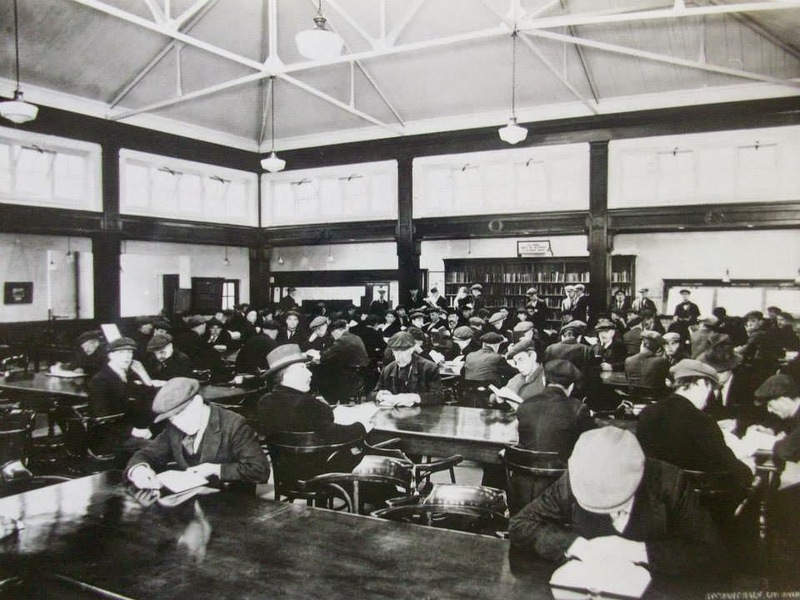 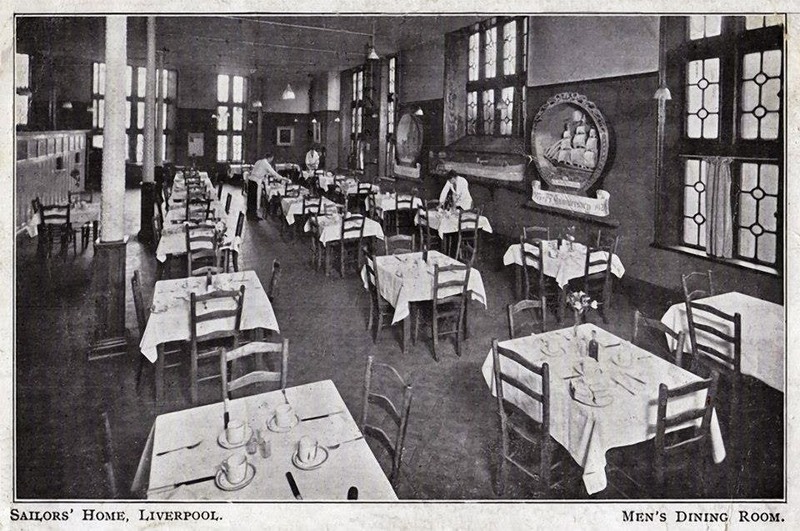 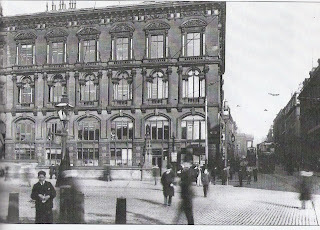 Inside the White Star Line building James Street, now the Titanic Hotel. 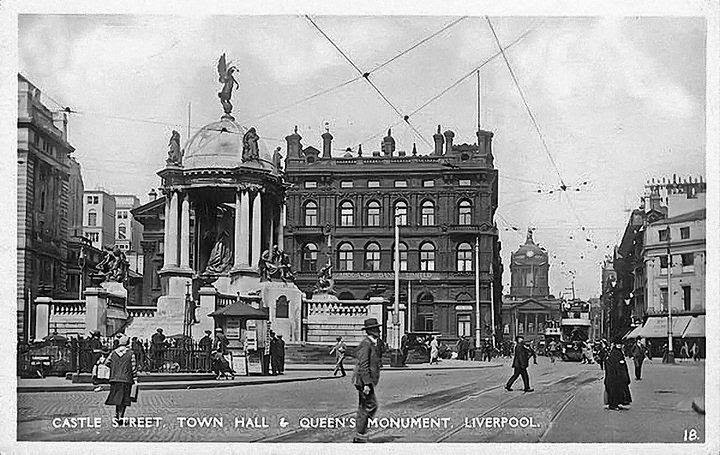 stand alone prior to the Cunard Building. 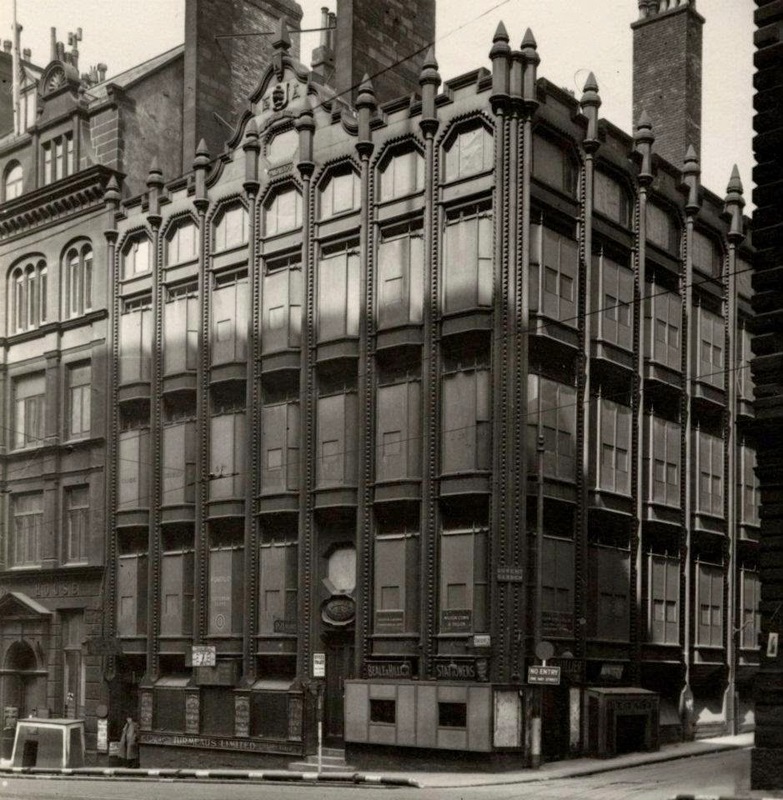 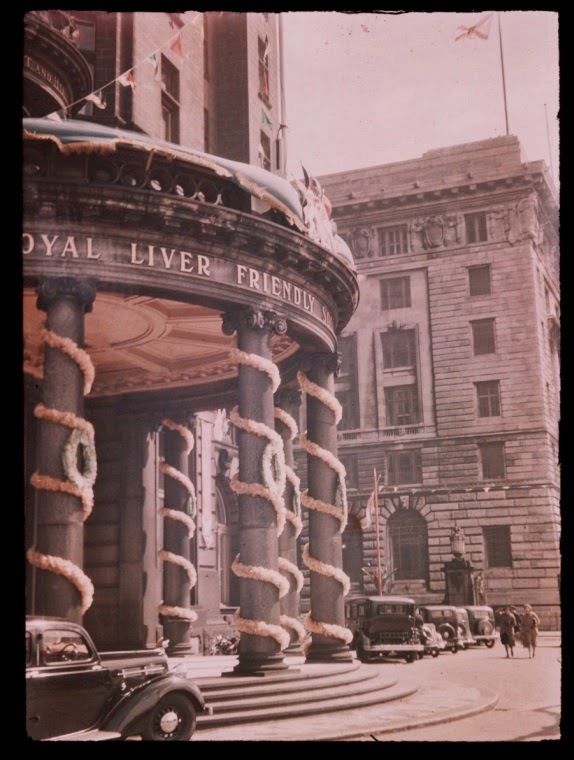 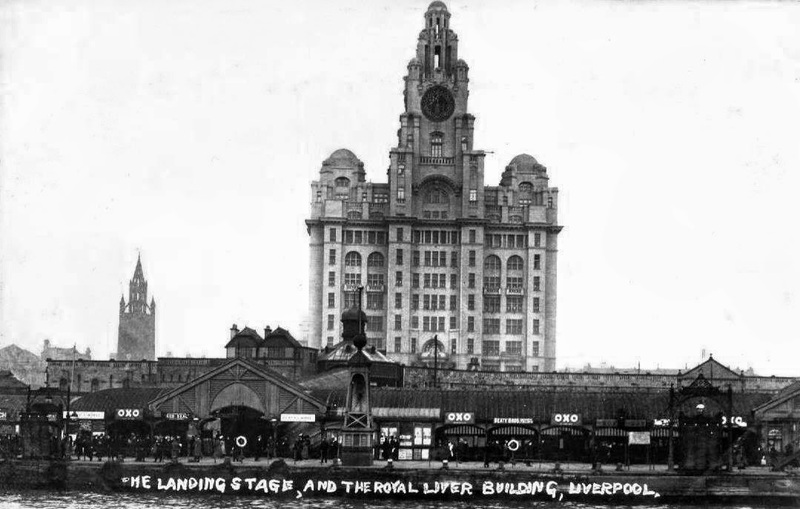 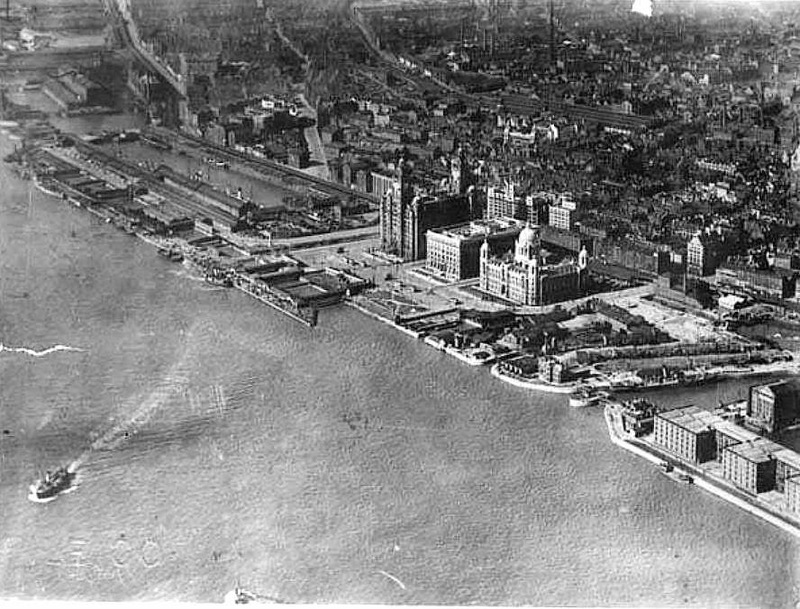 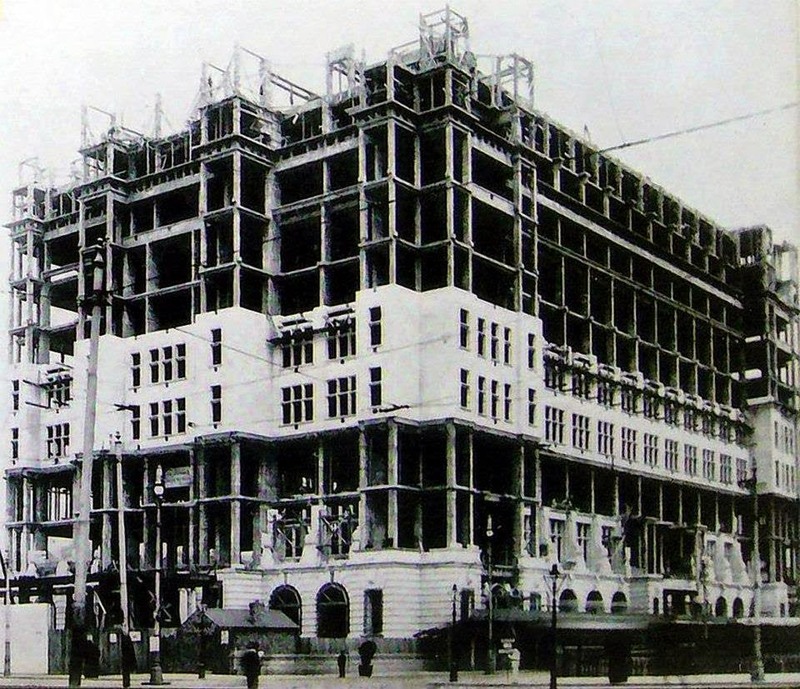 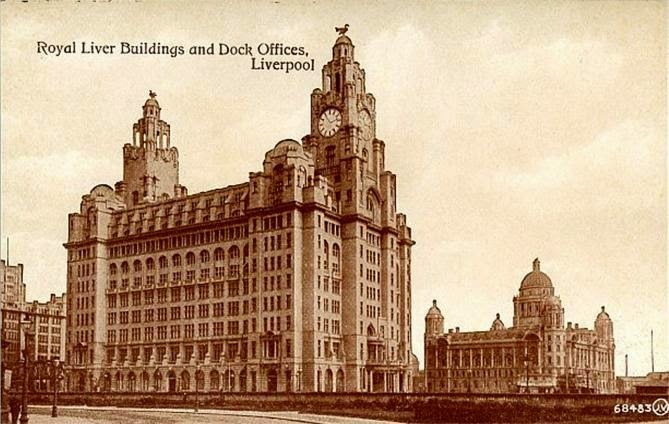 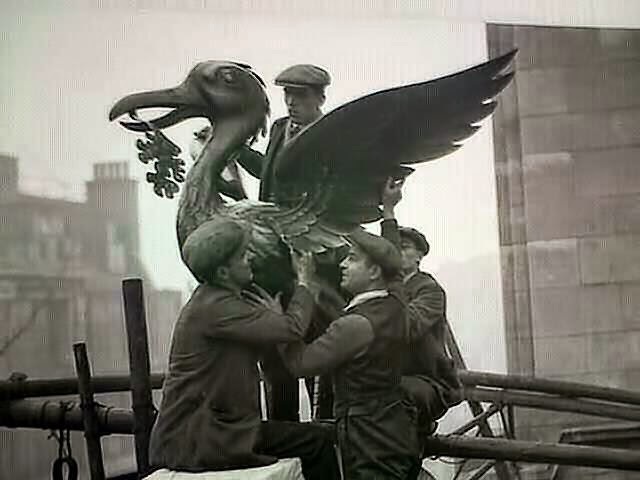 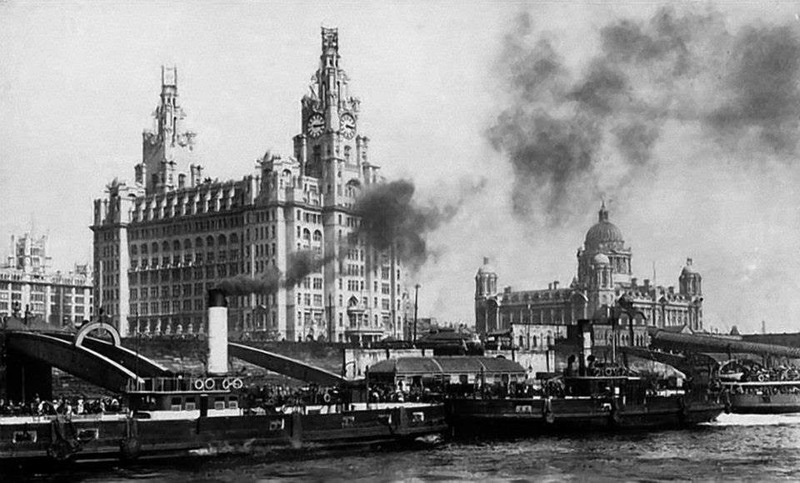 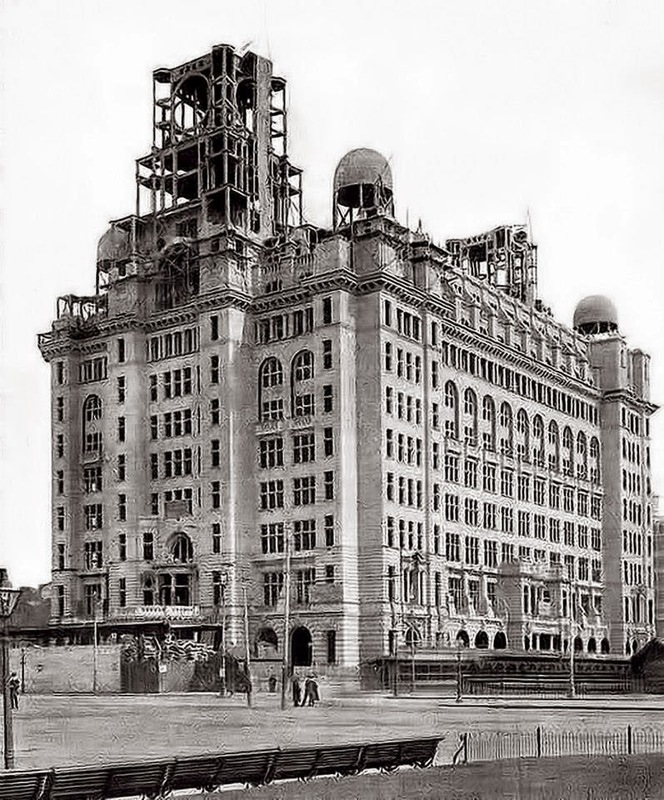 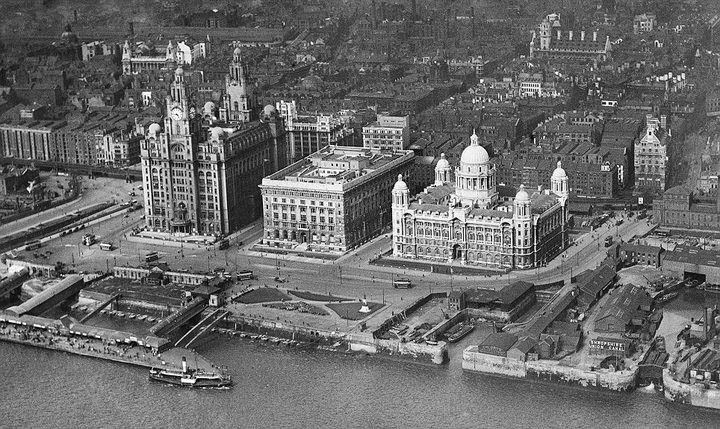 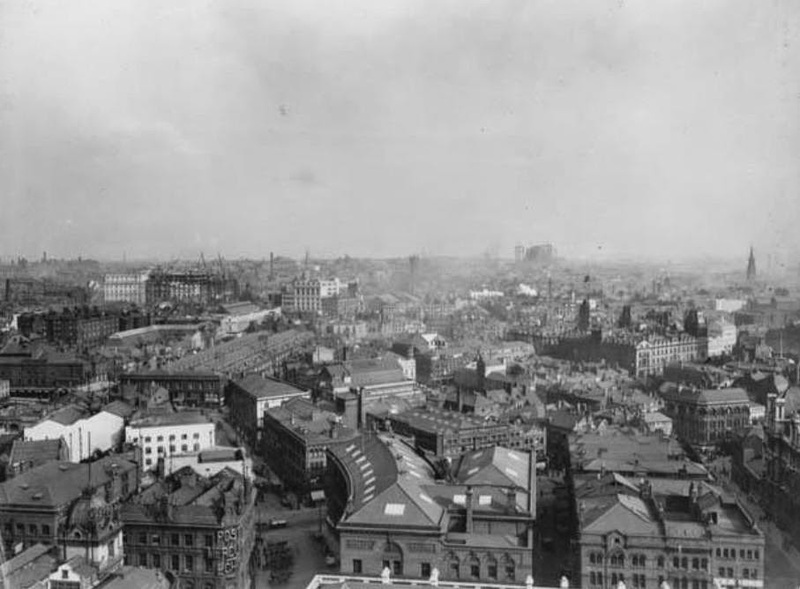 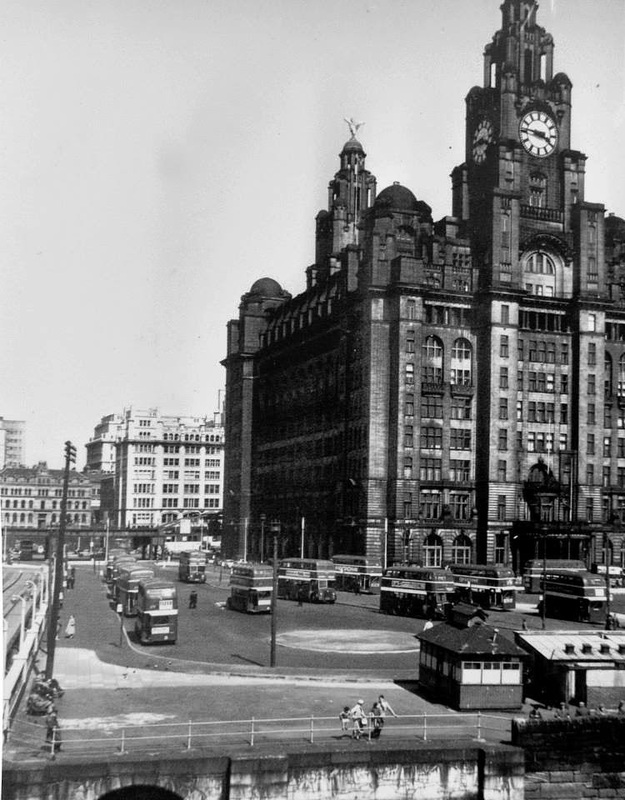 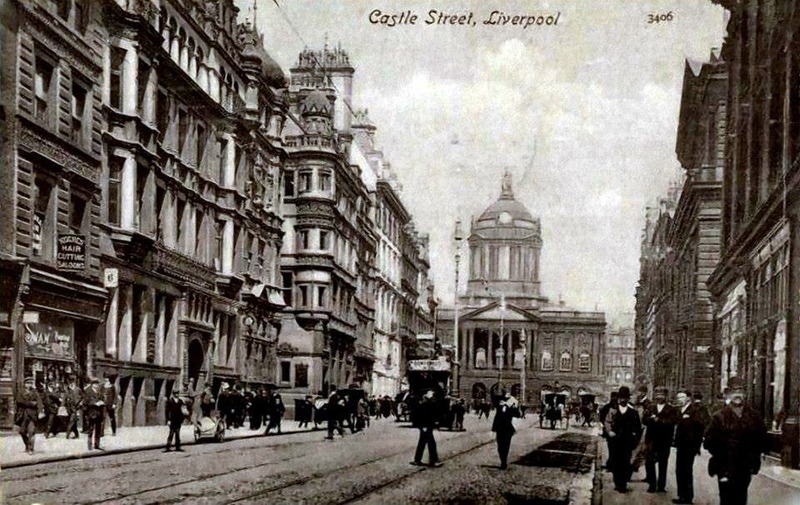 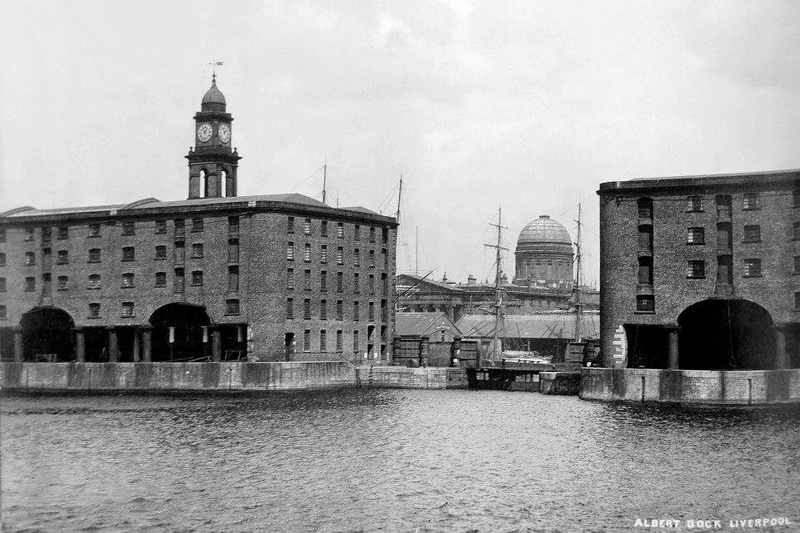 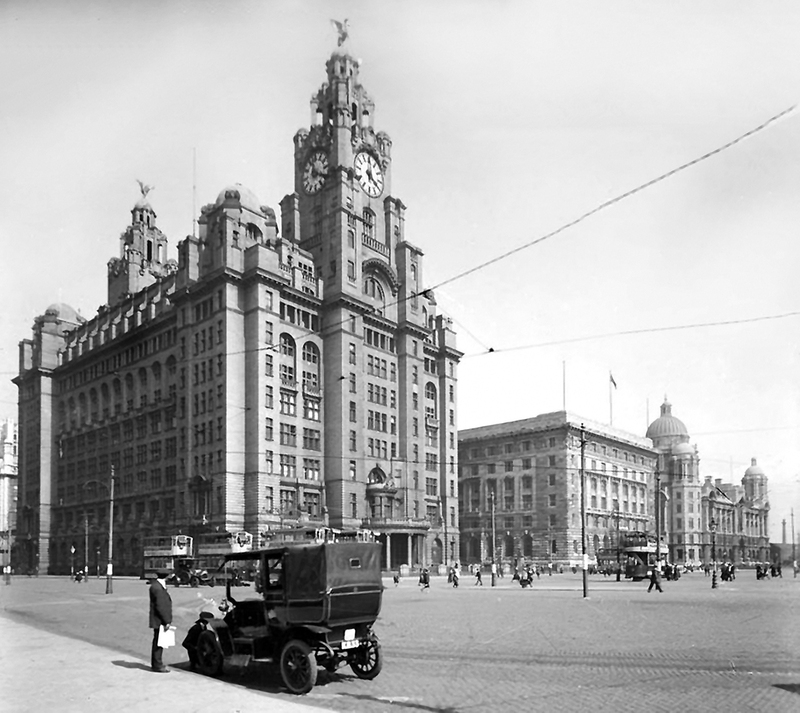 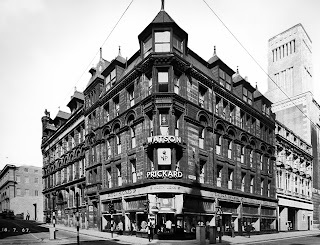 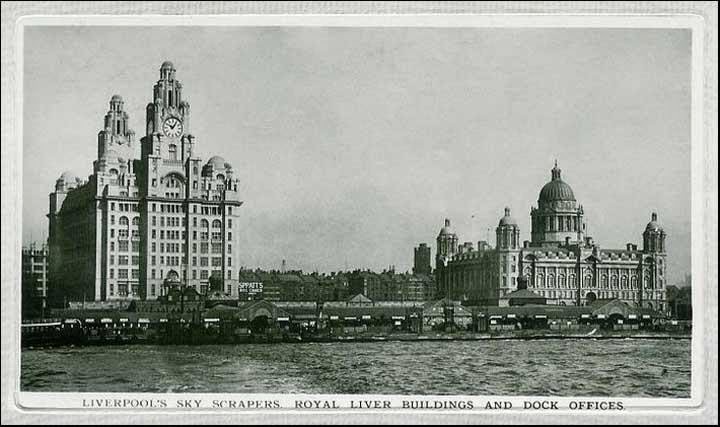 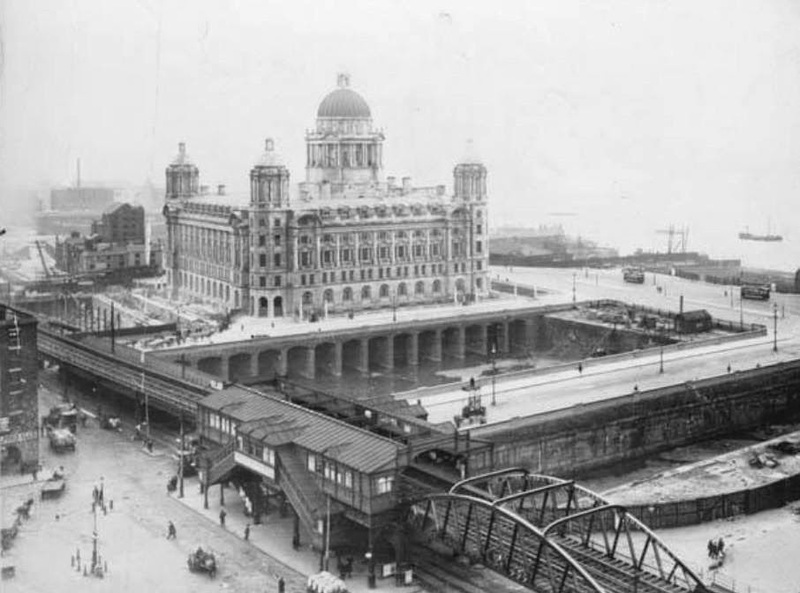 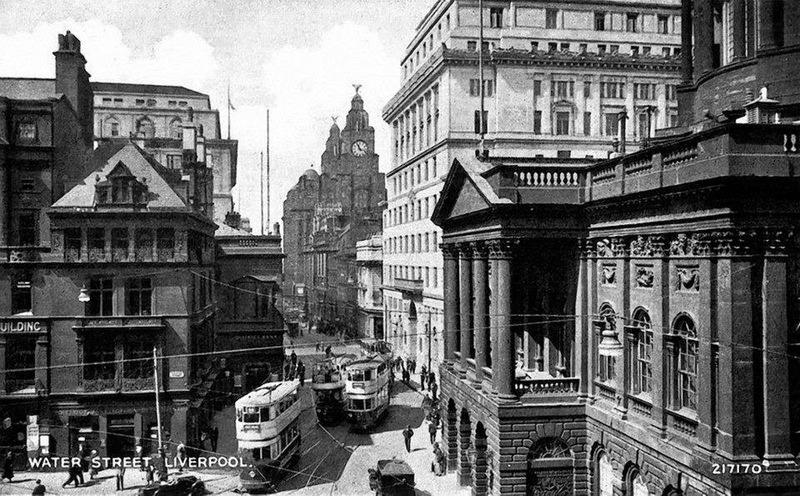 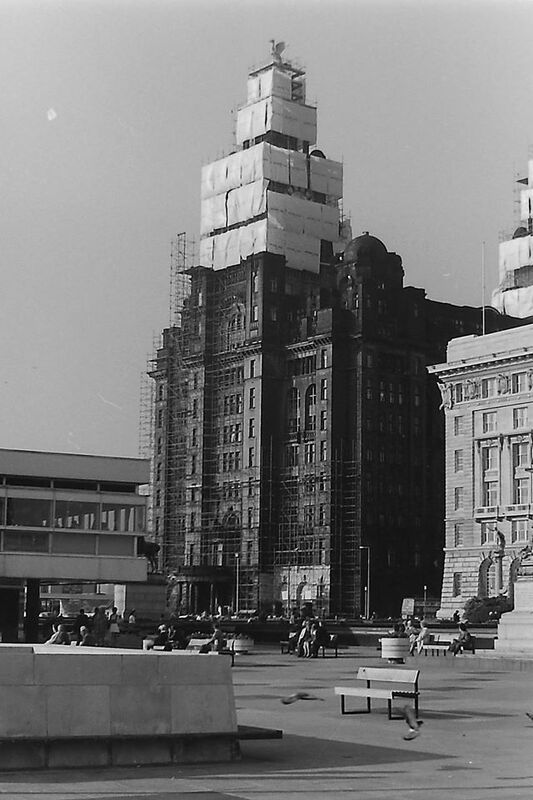 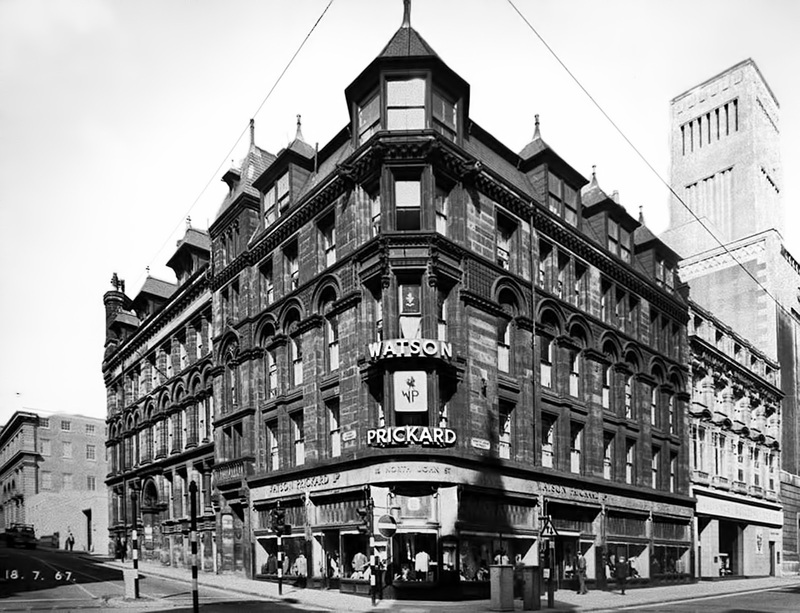 Liver buildings bird, no date or location given. 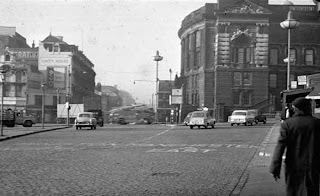 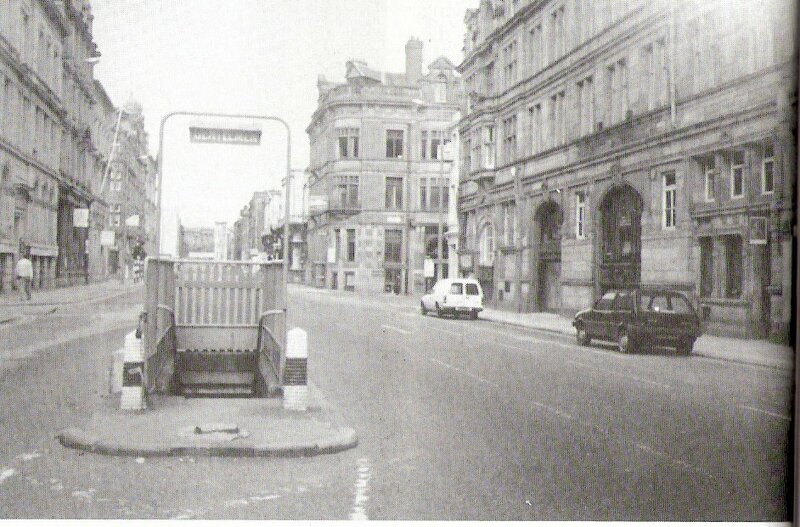 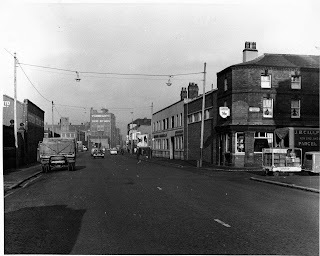 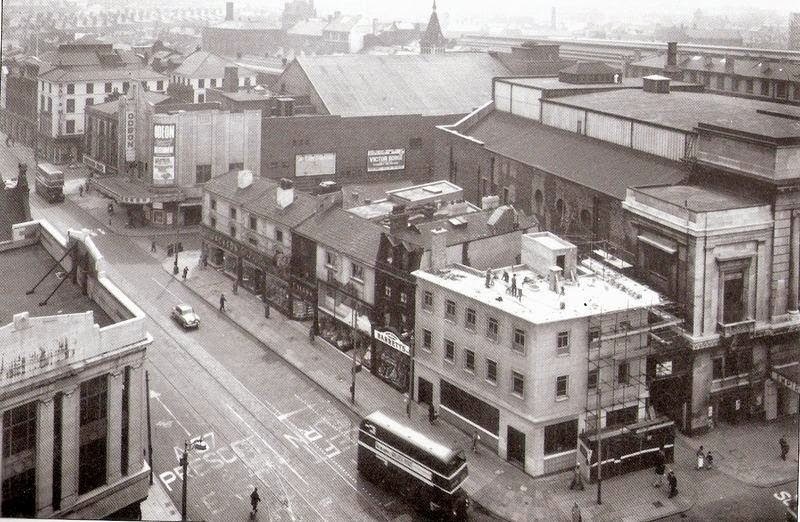 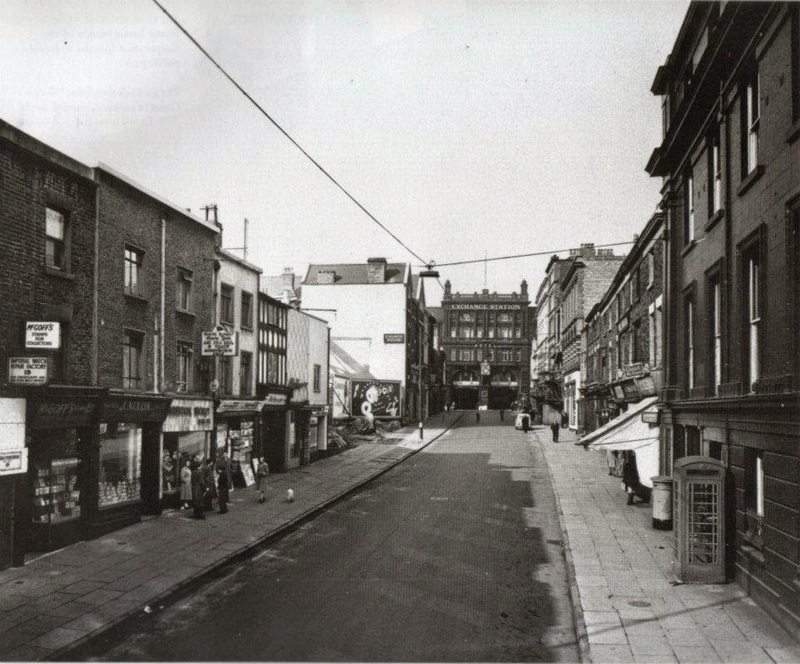 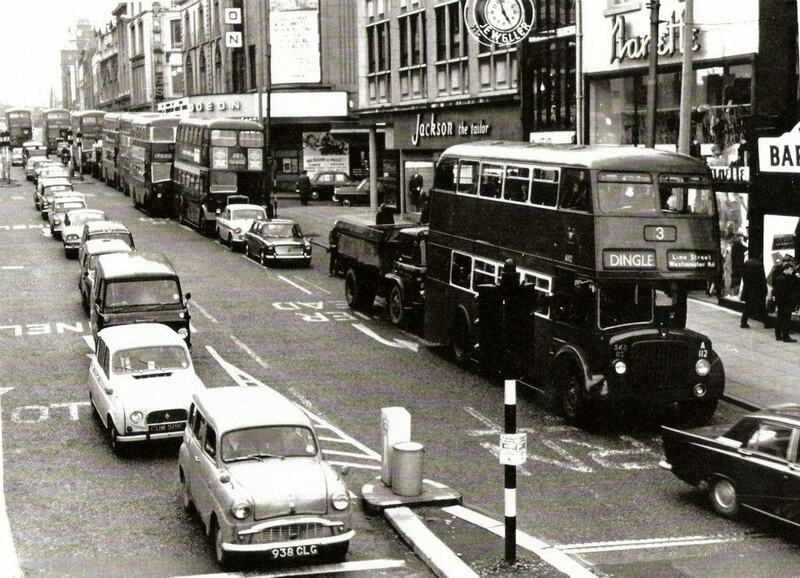 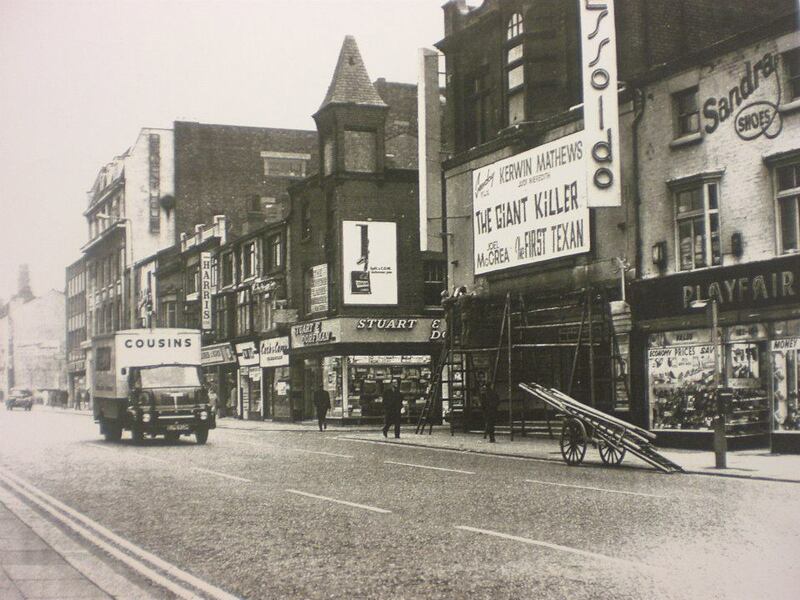 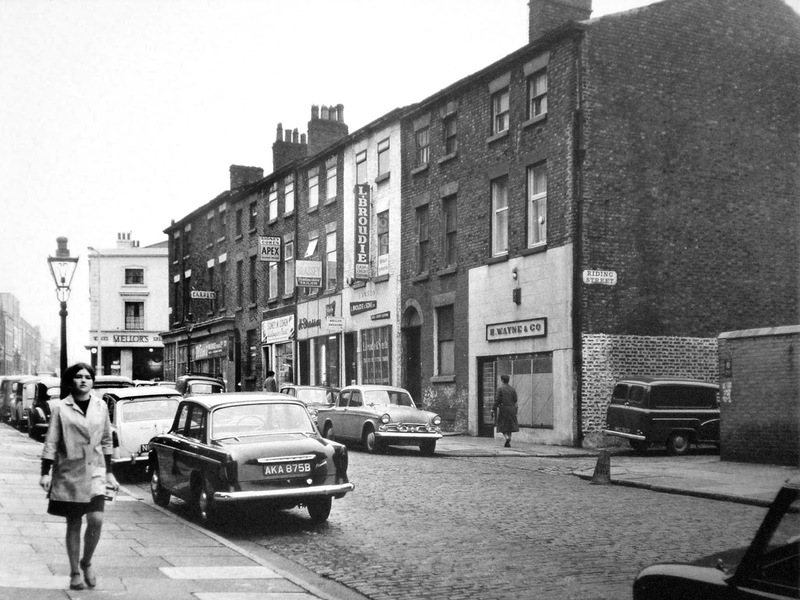 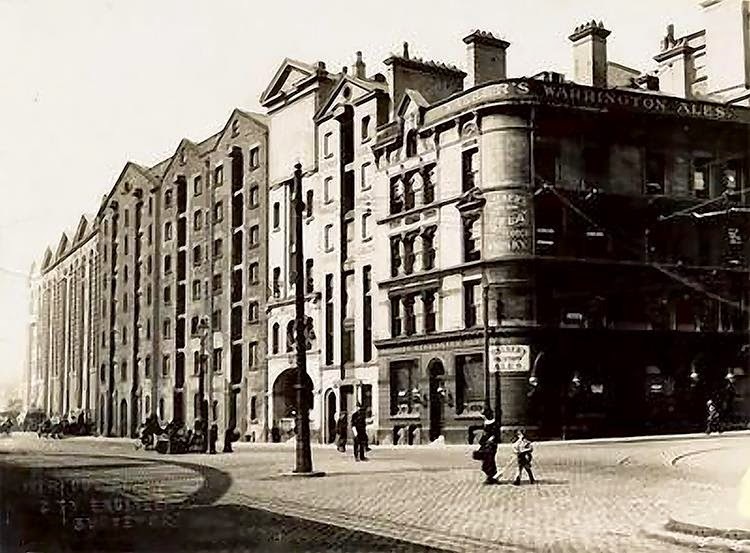 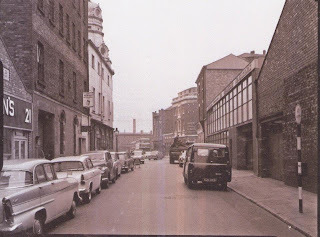 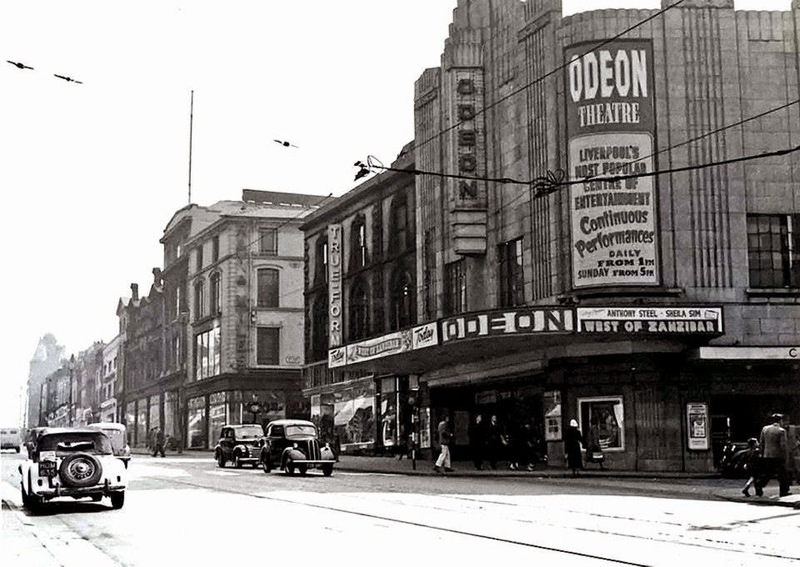 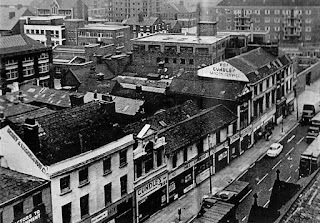 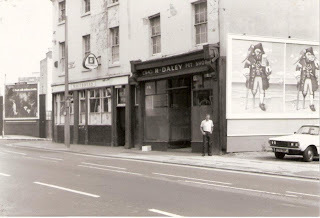 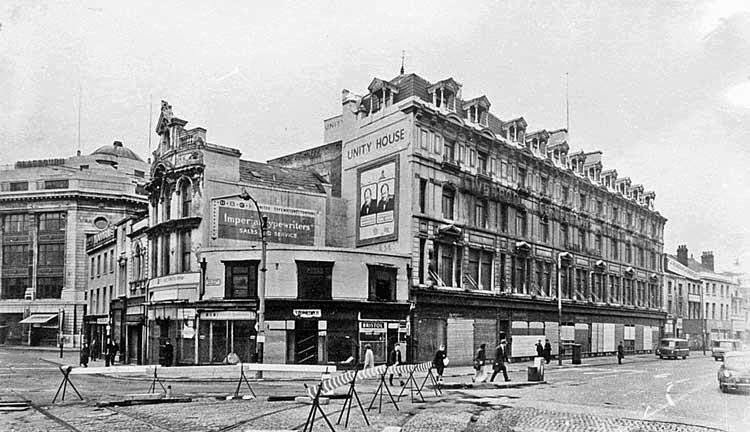 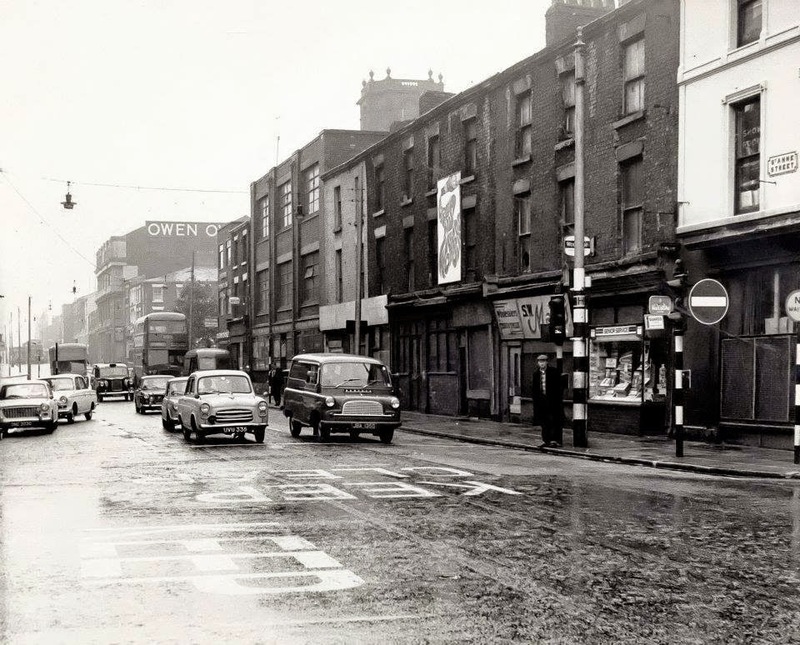 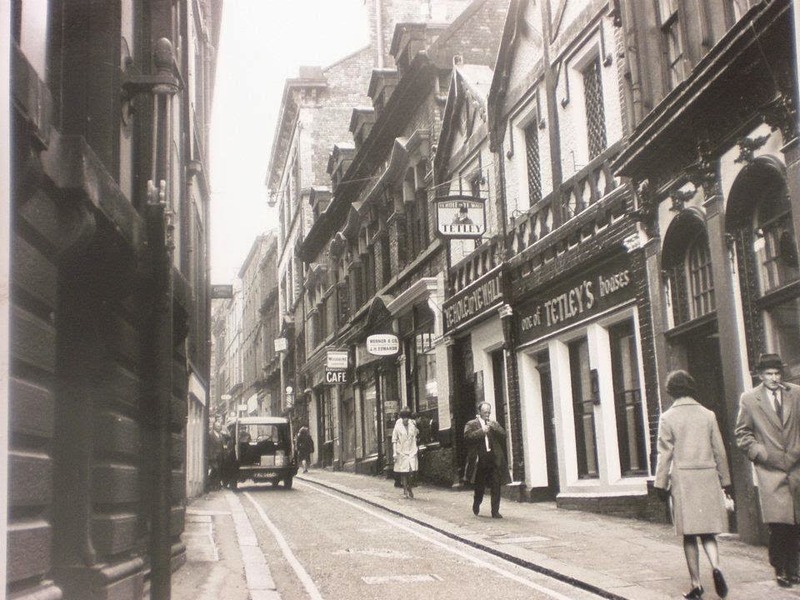 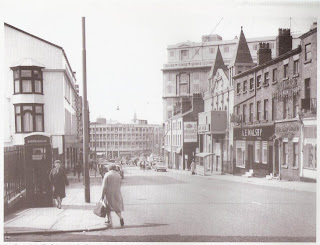 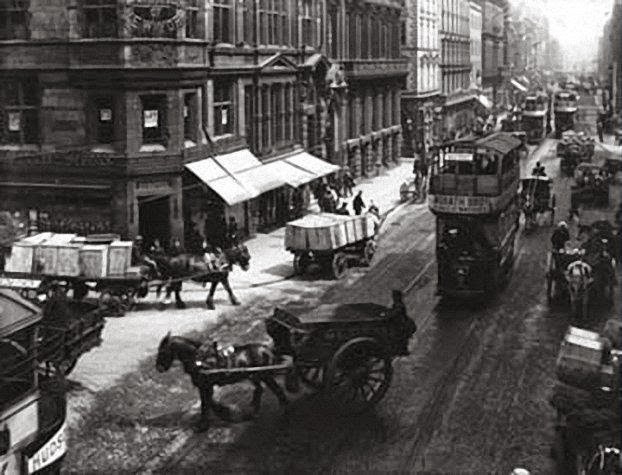 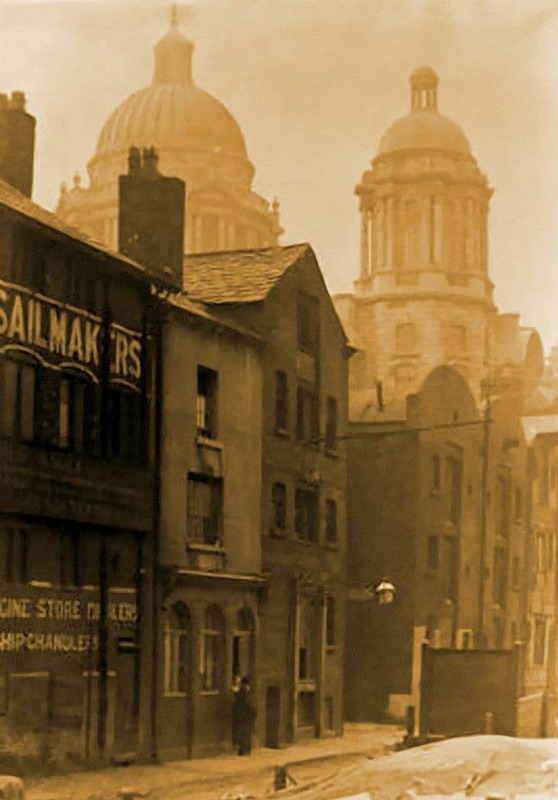 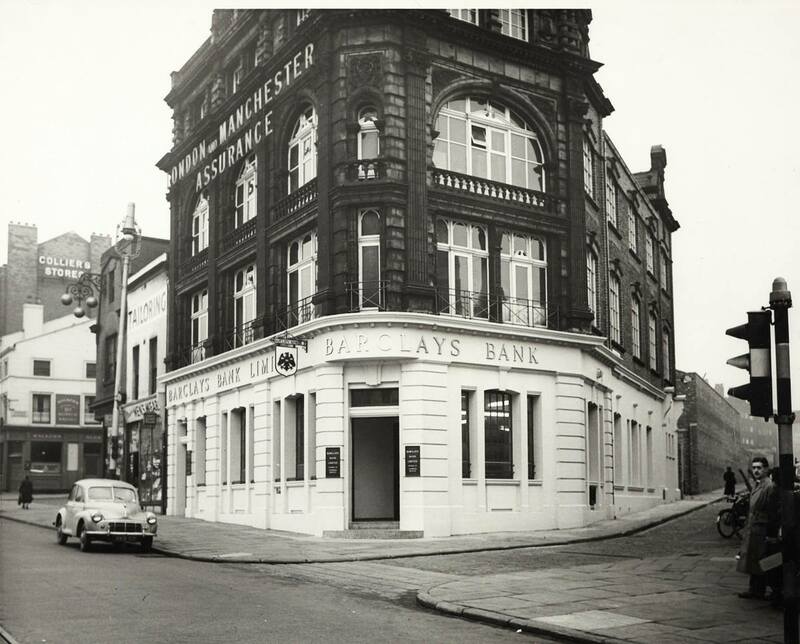 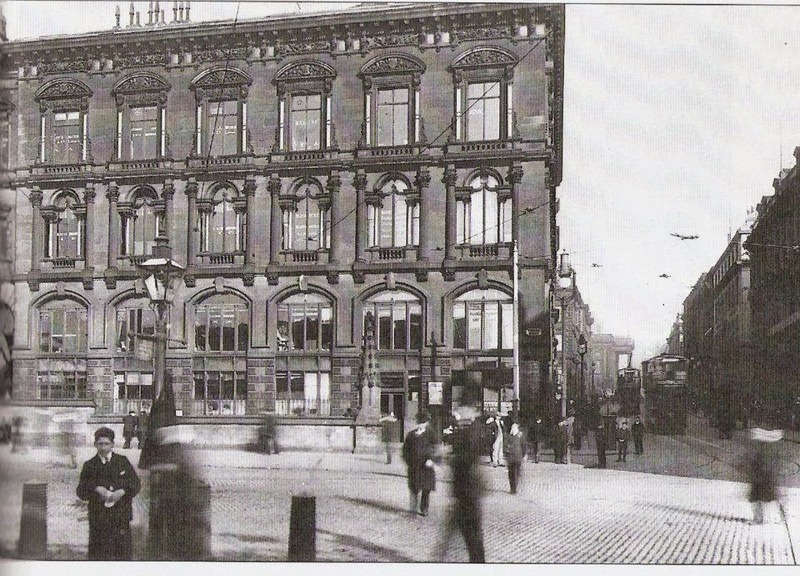 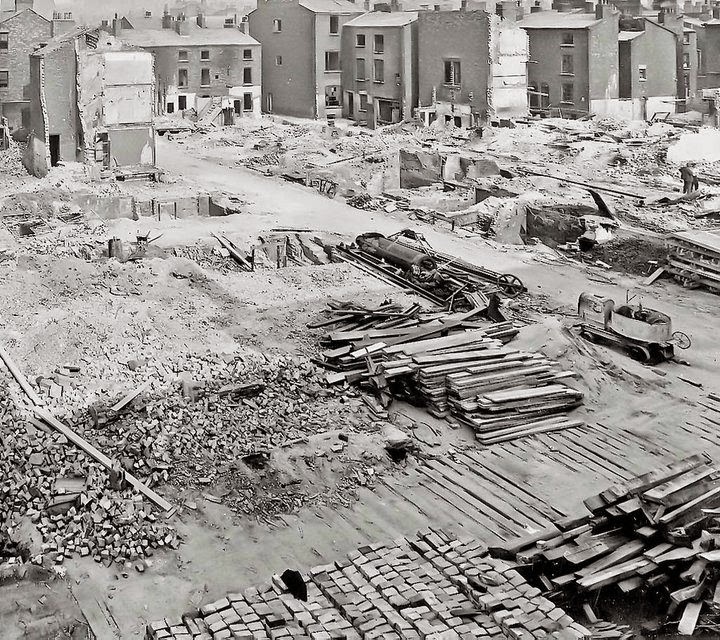 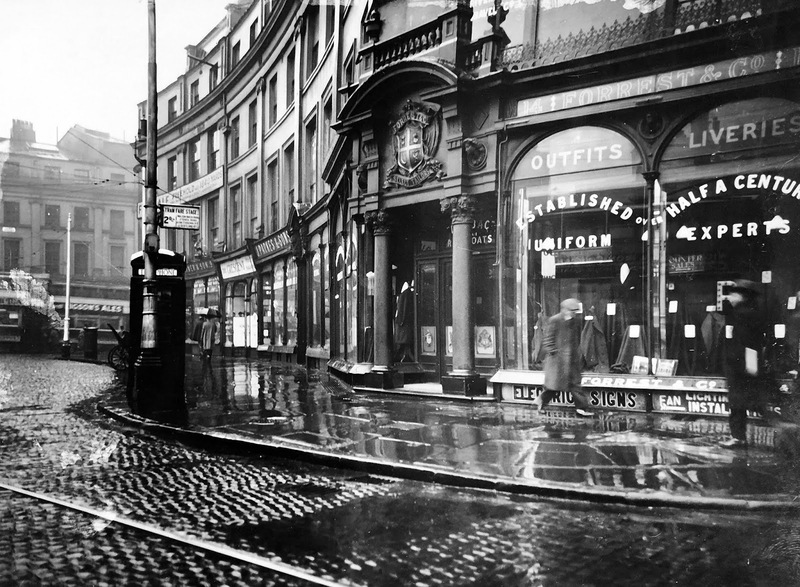 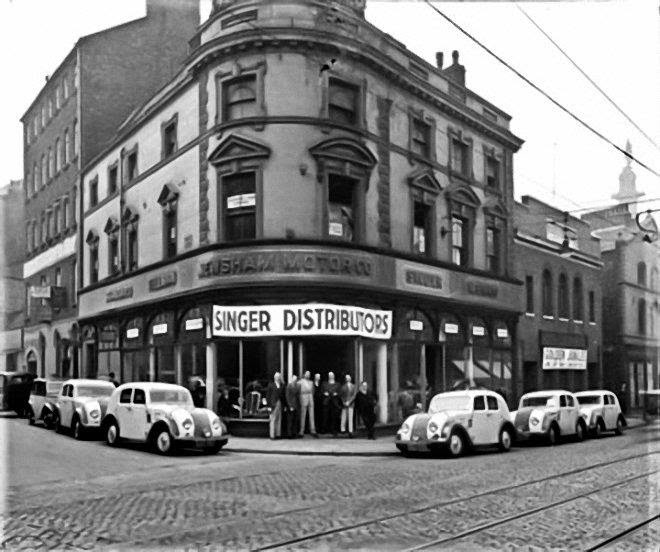 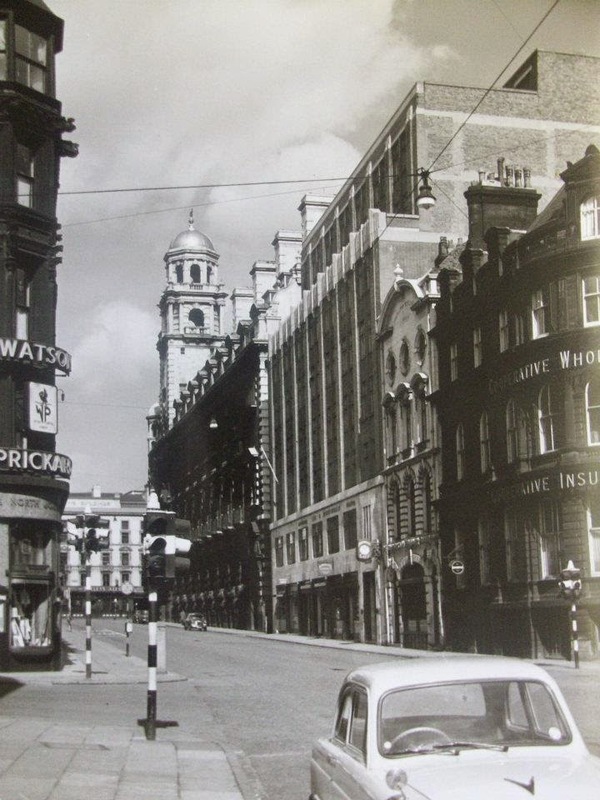 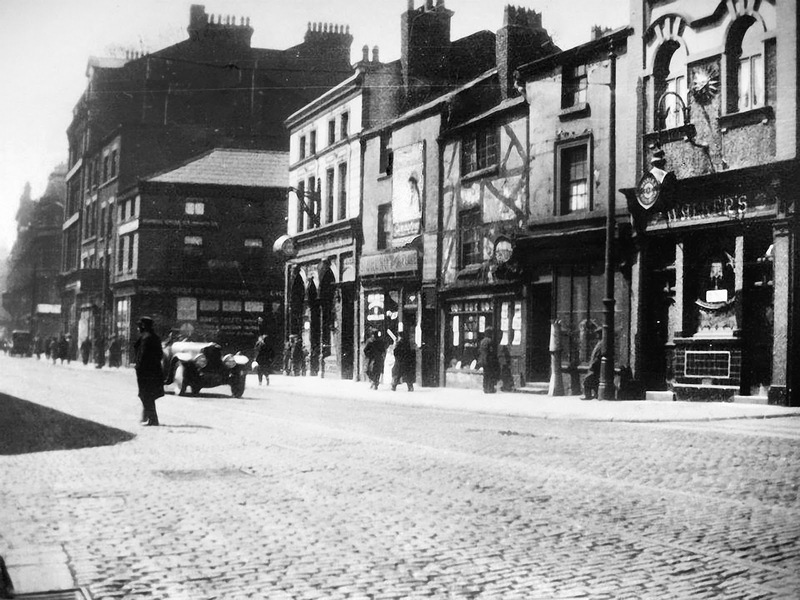 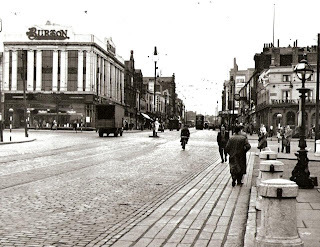 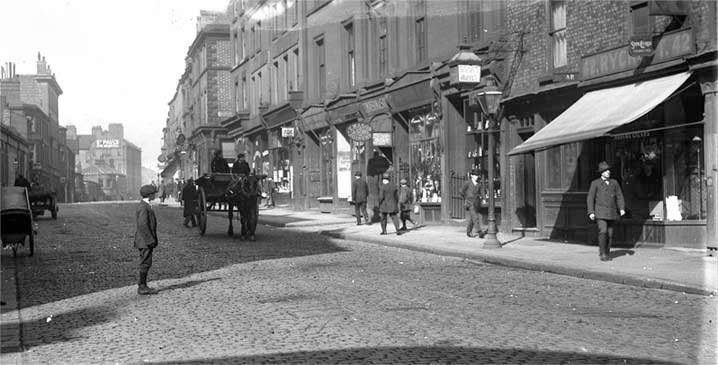 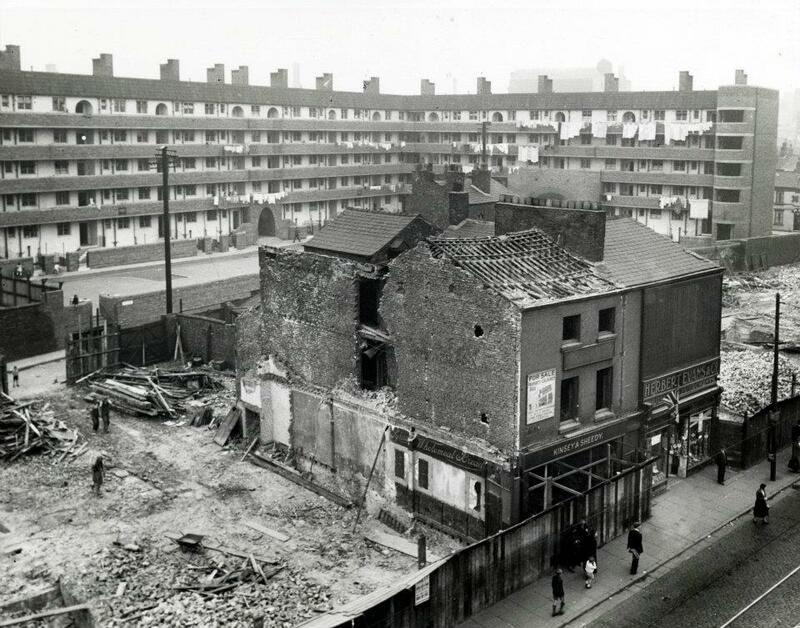 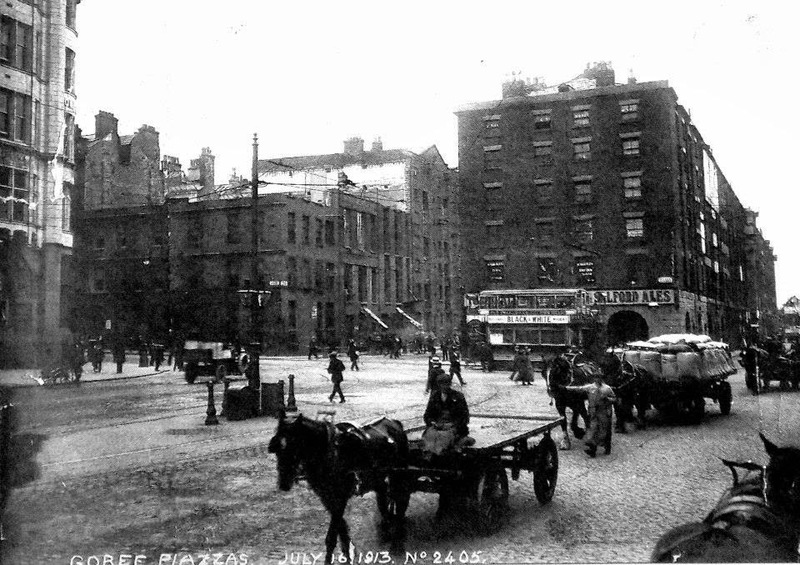 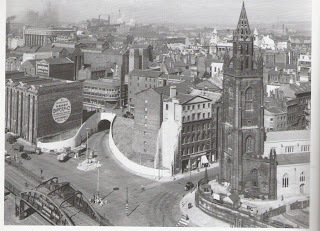 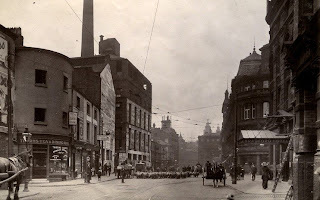 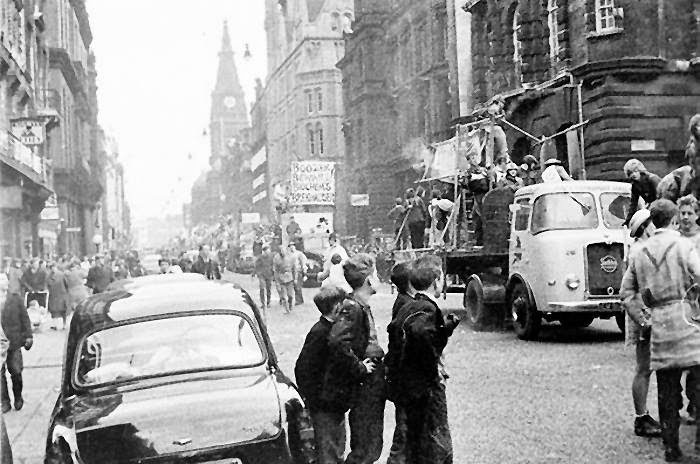 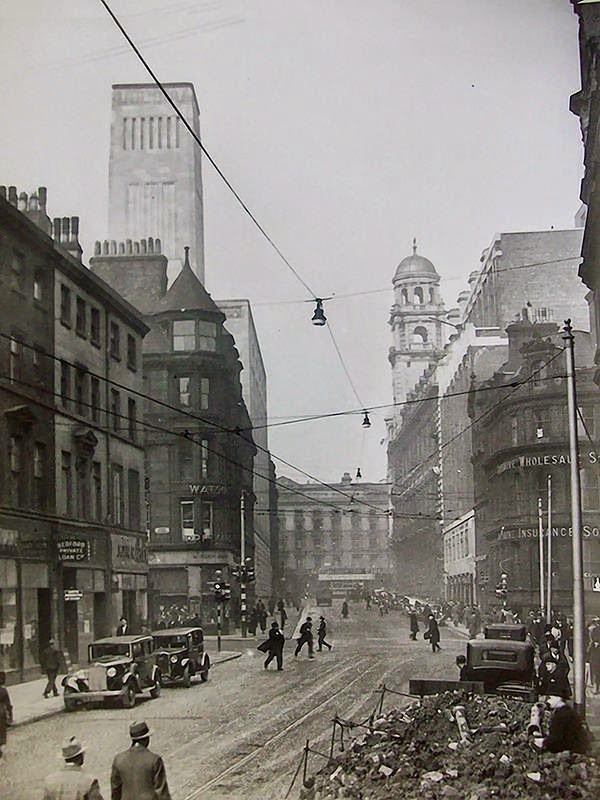 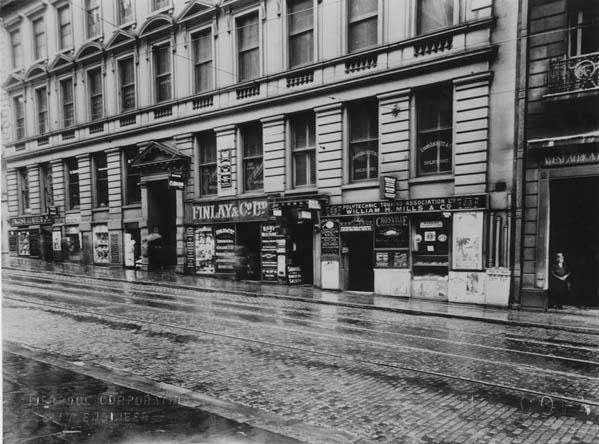 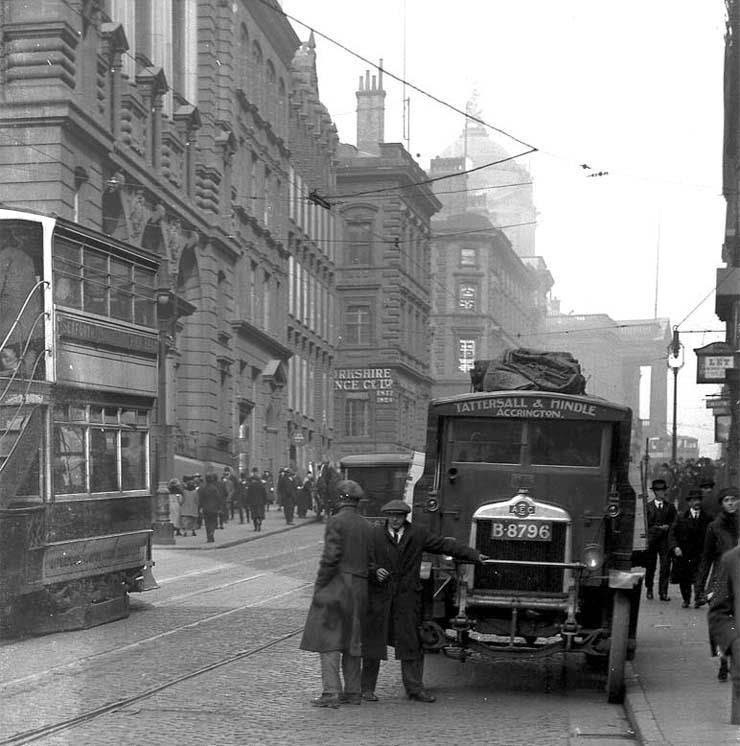 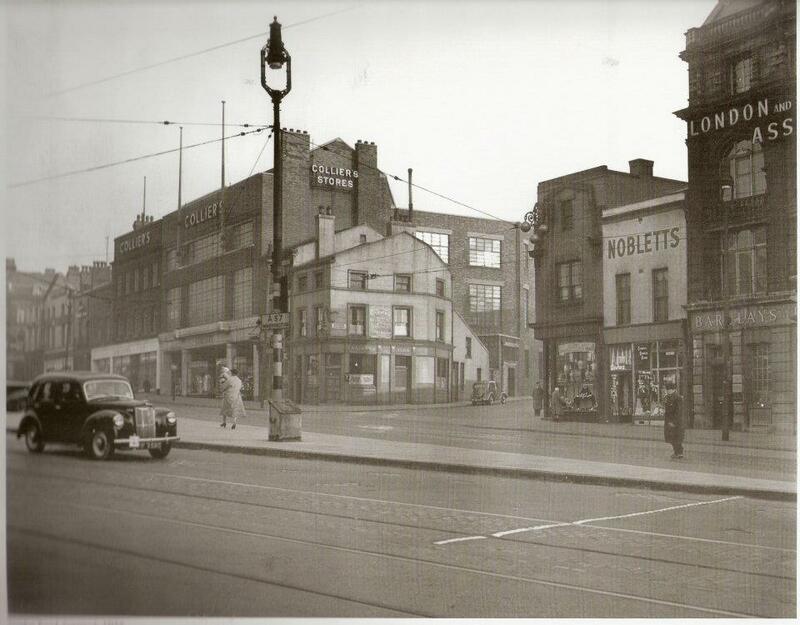 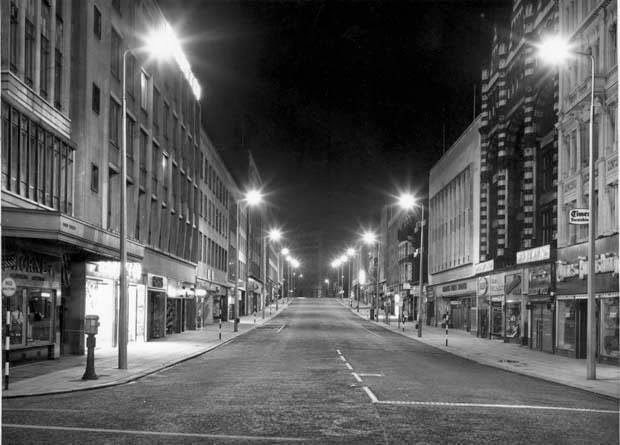 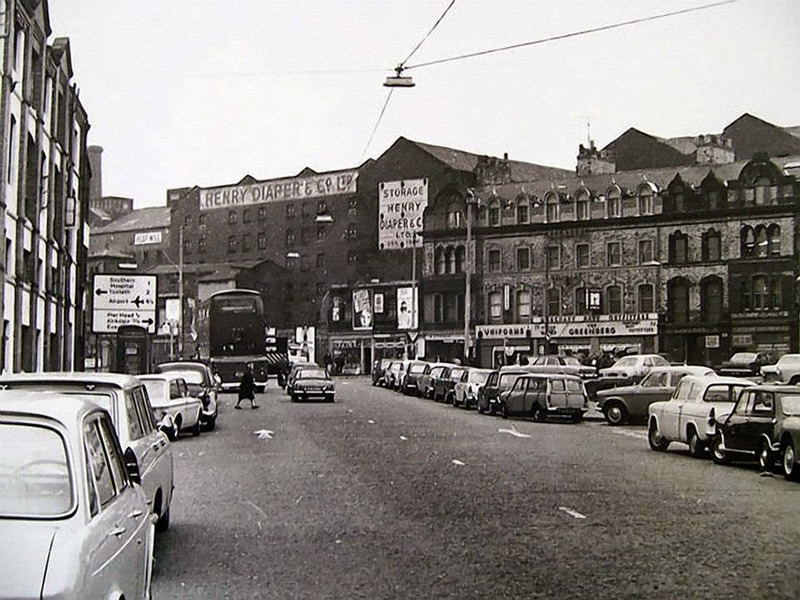 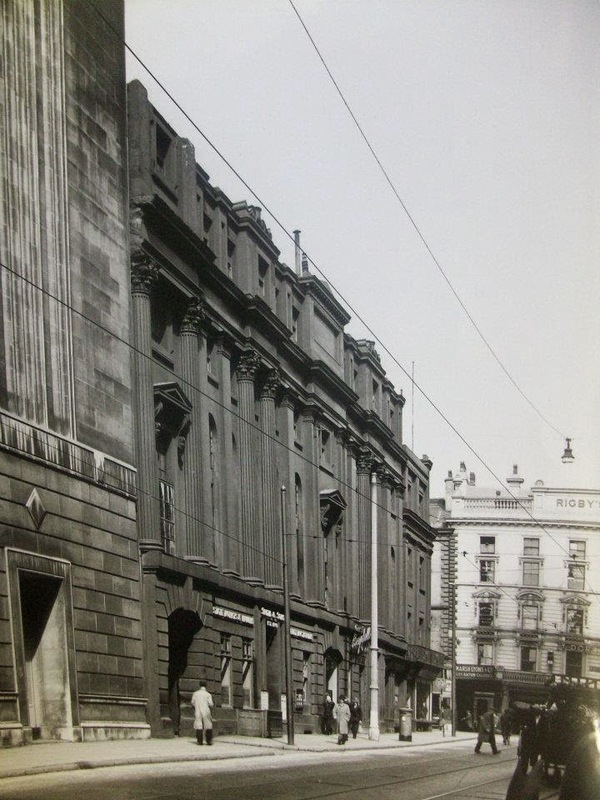 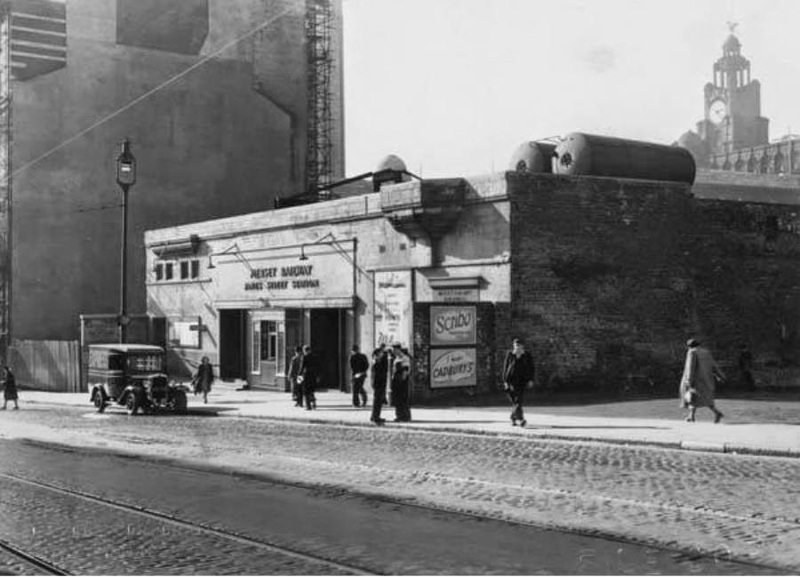 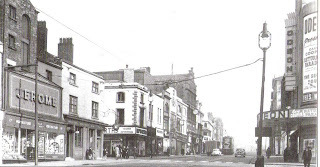 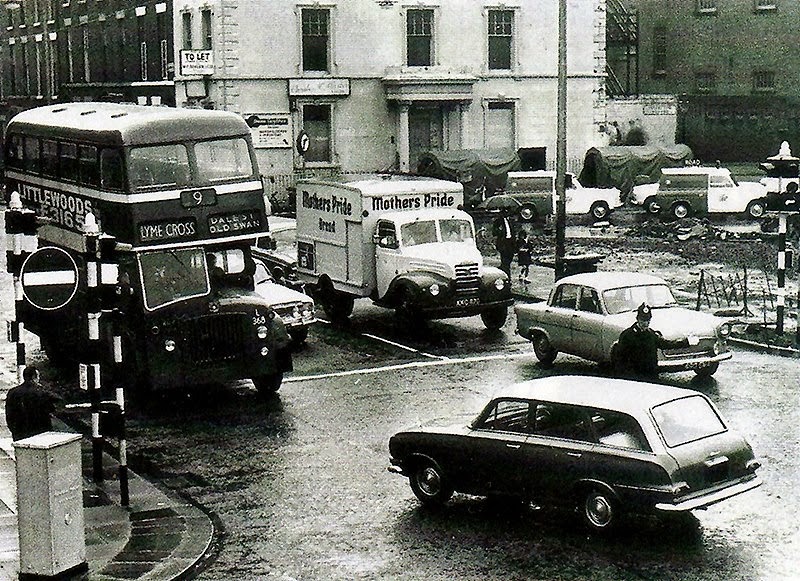 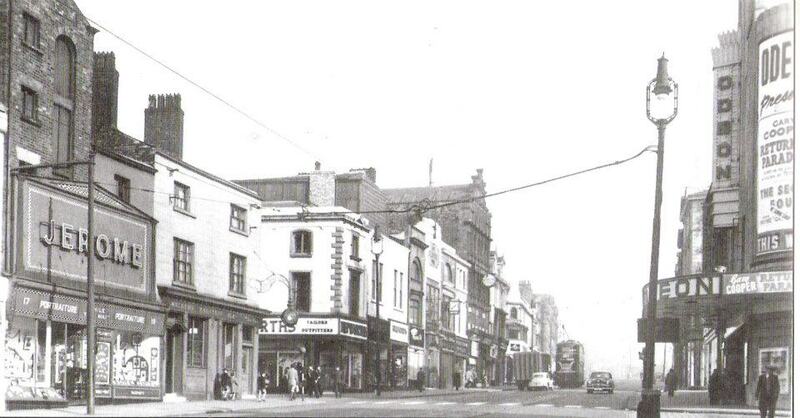 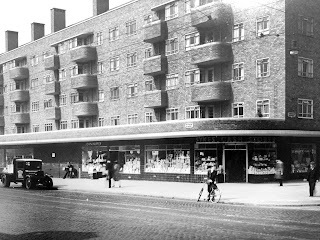 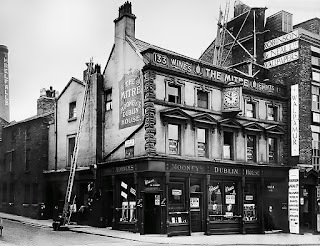 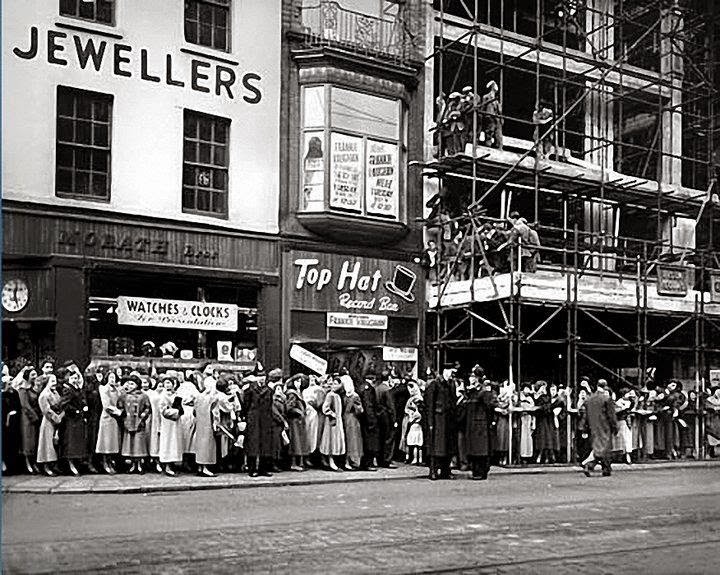 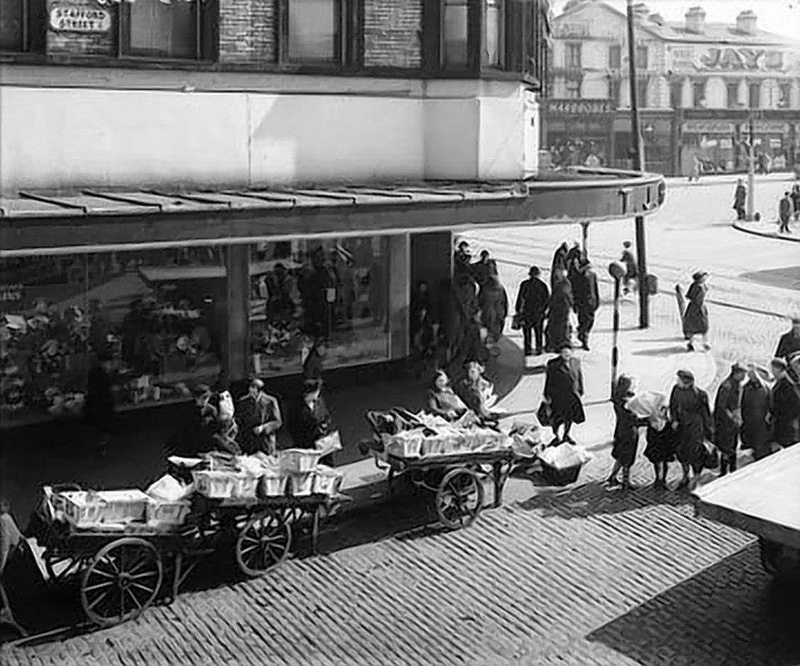 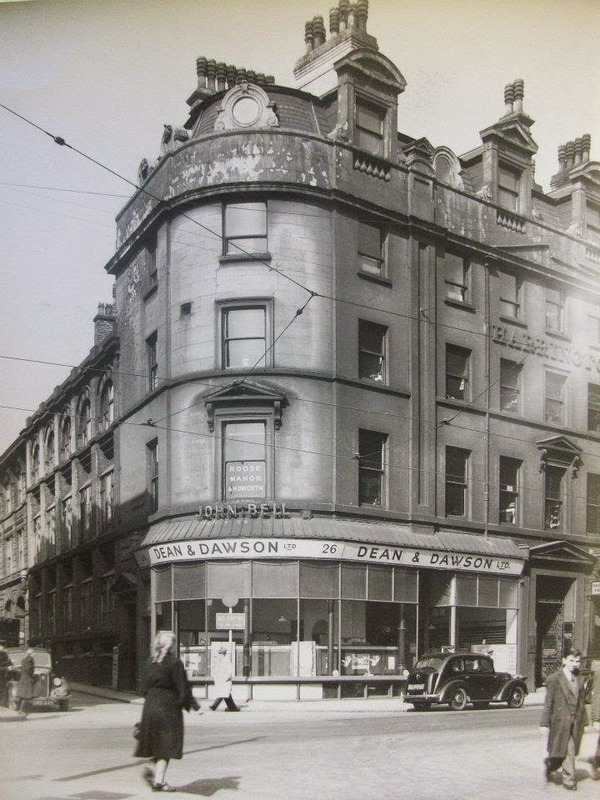 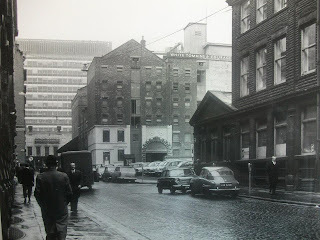 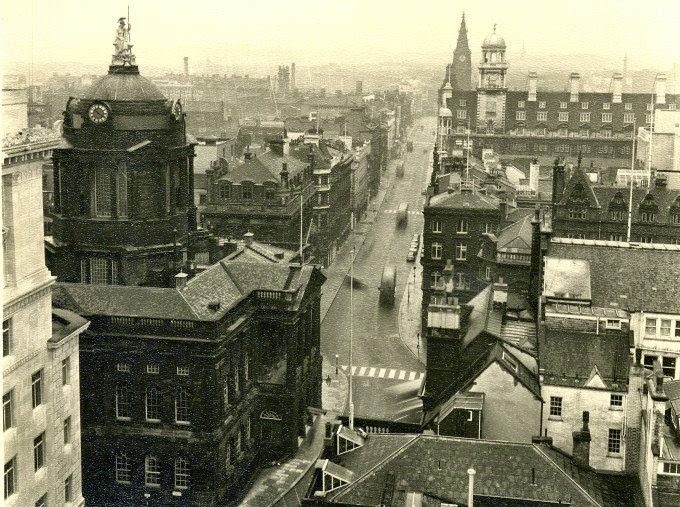 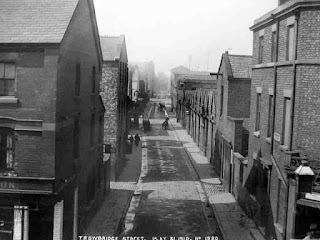 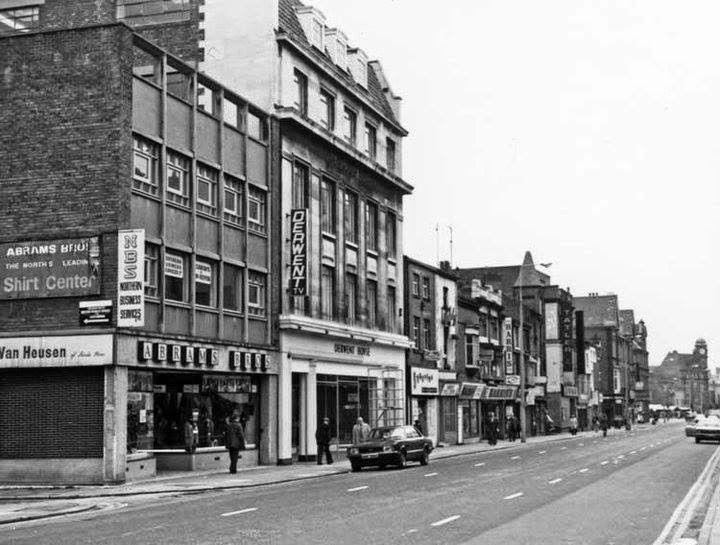 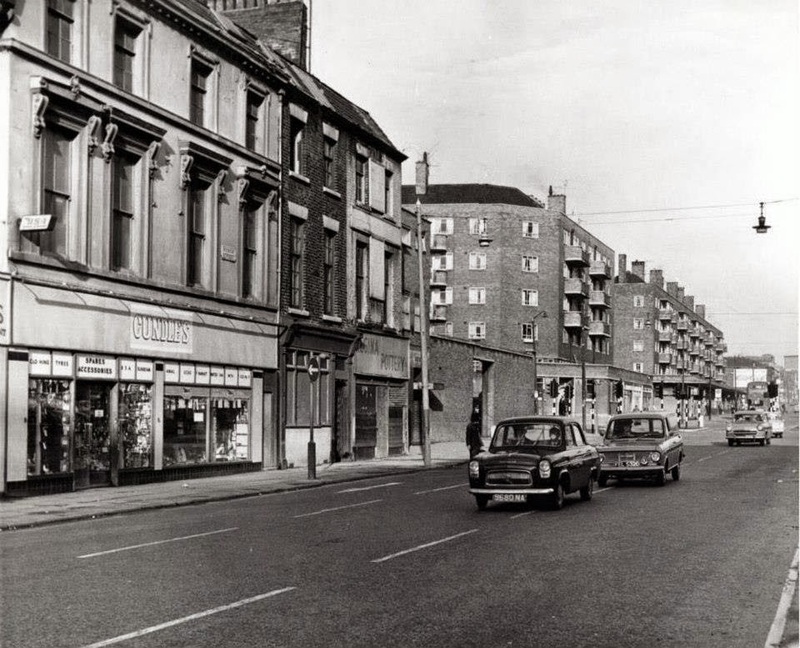 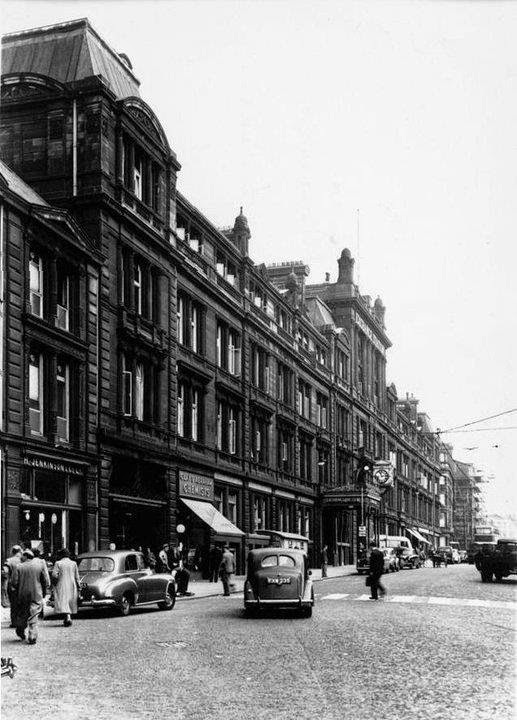 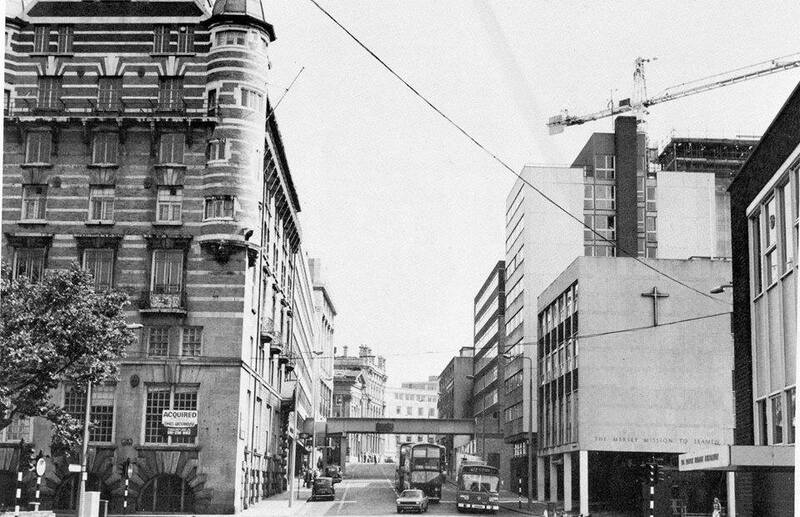 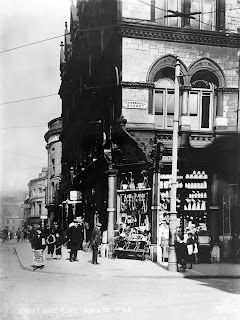 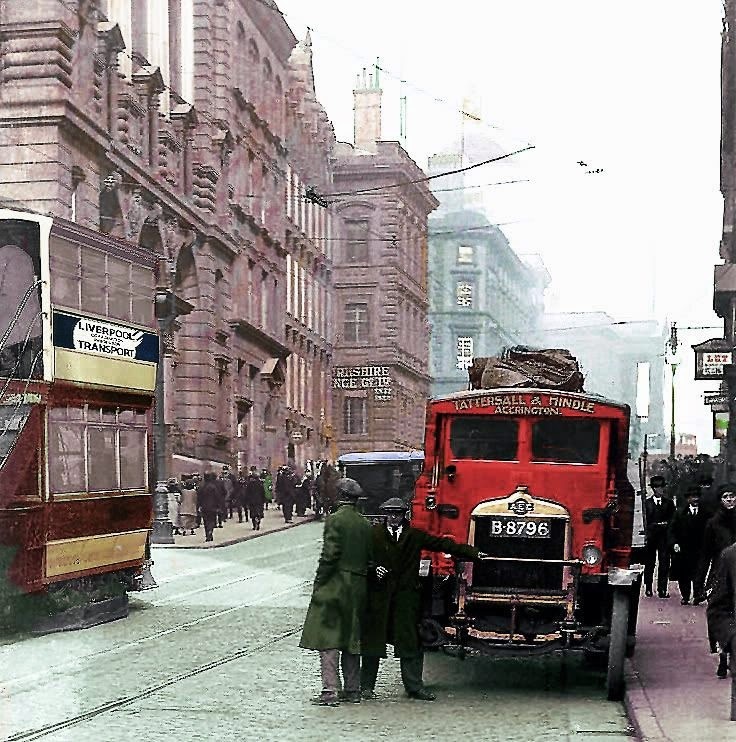 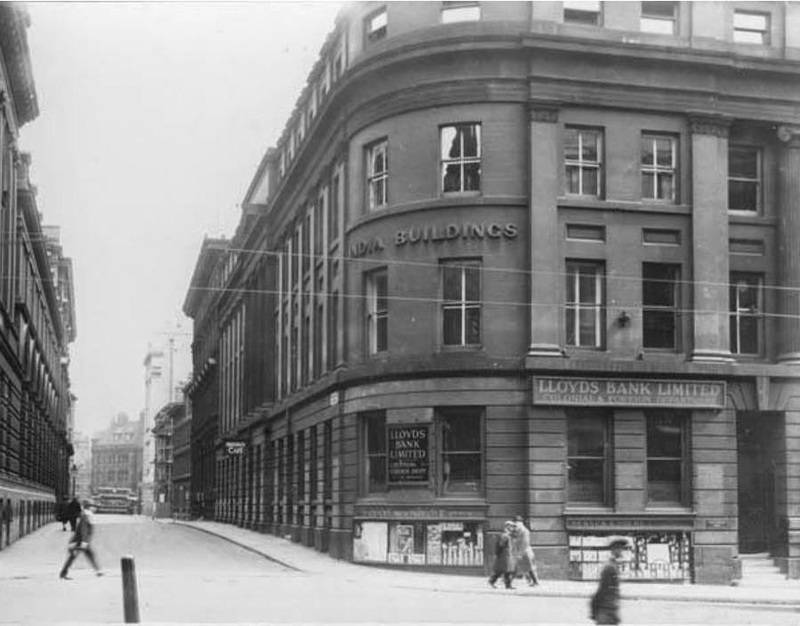 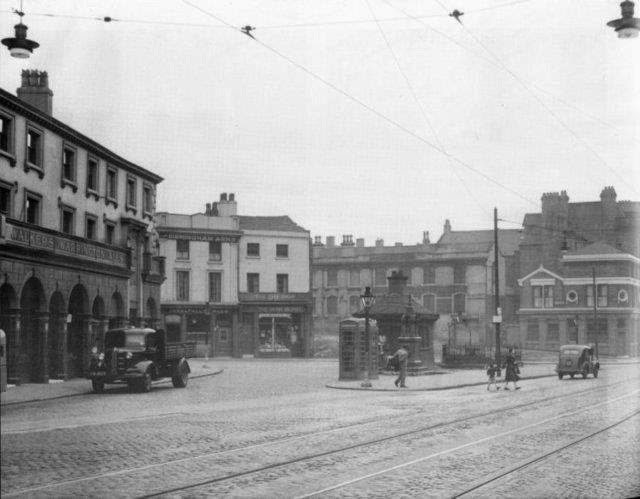 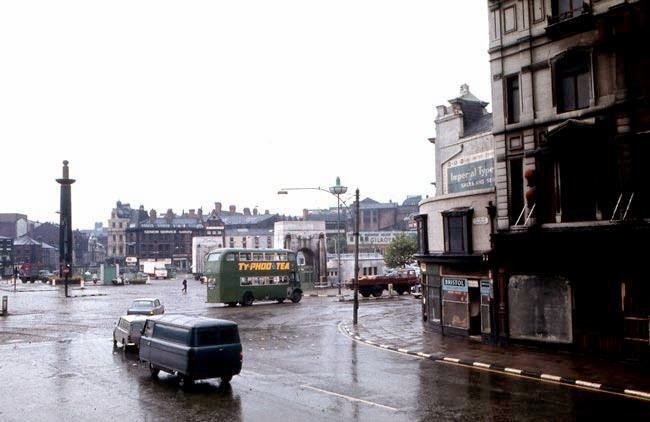 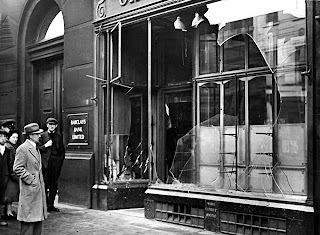 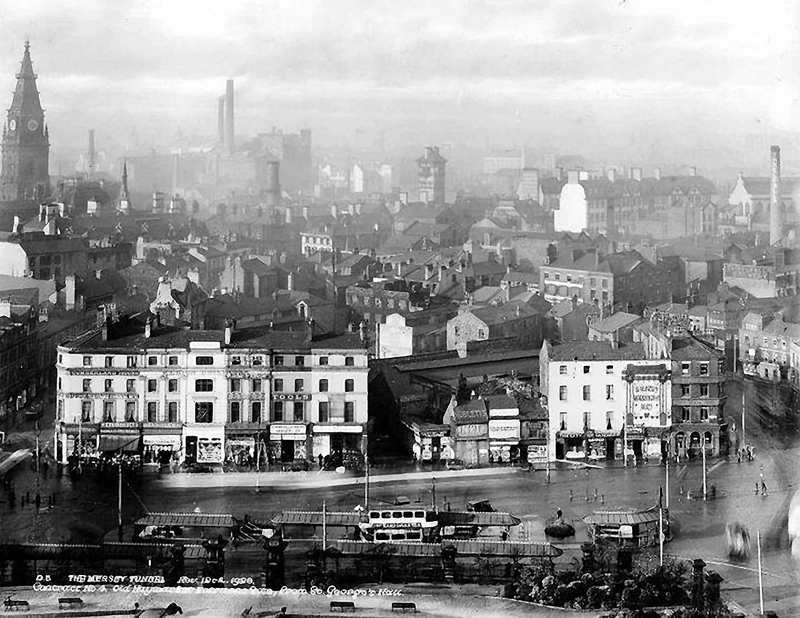 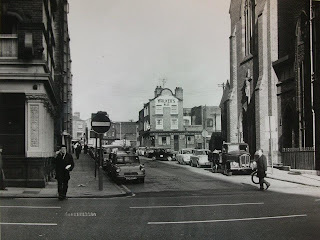 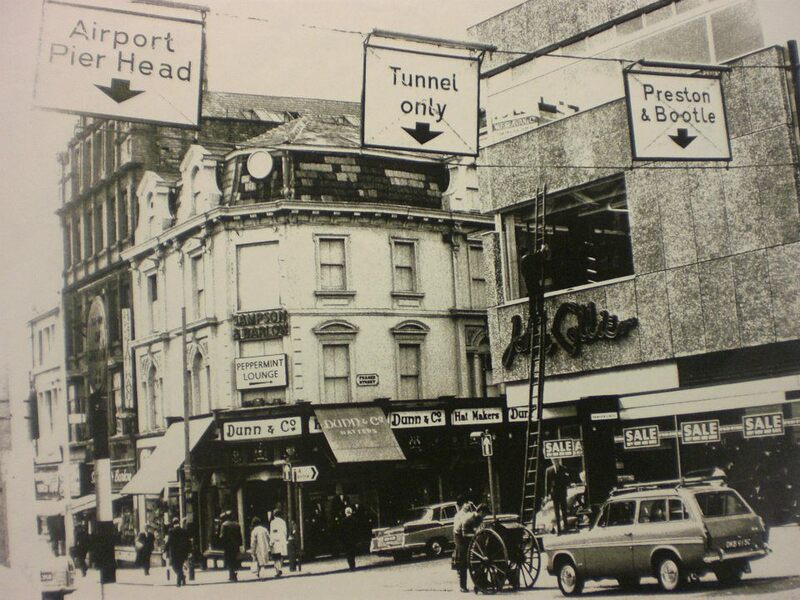 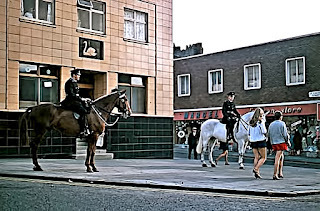 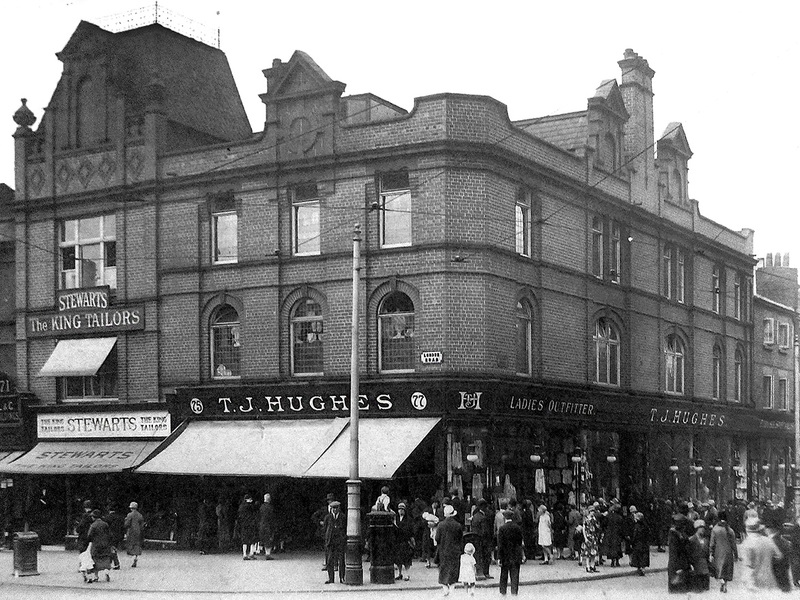 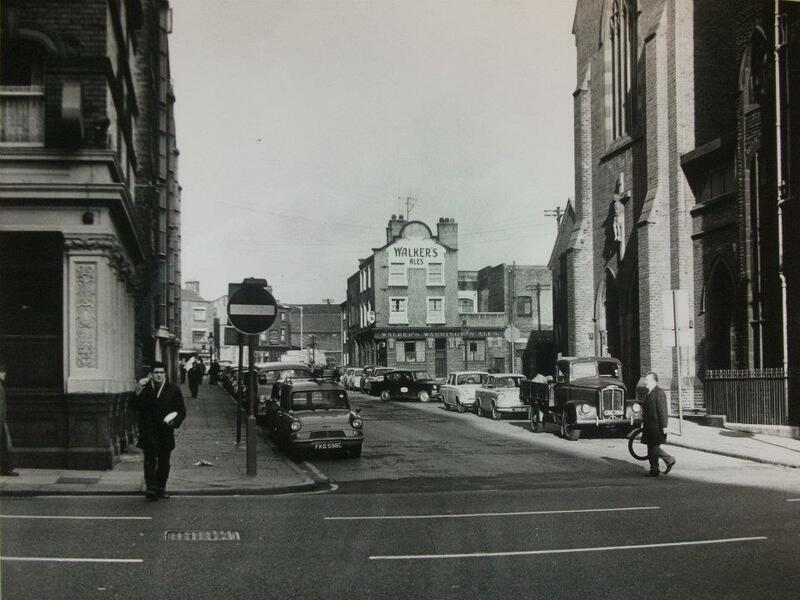 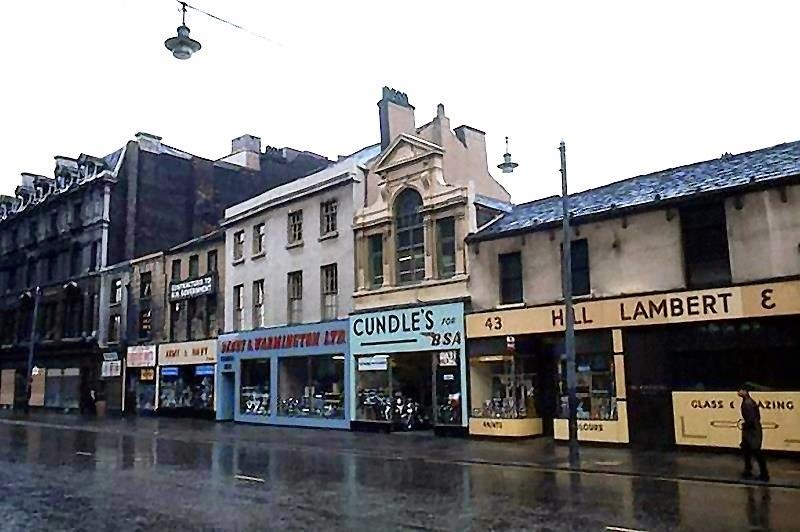 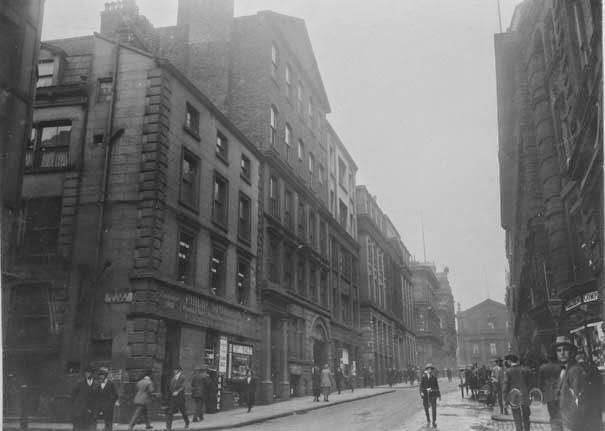 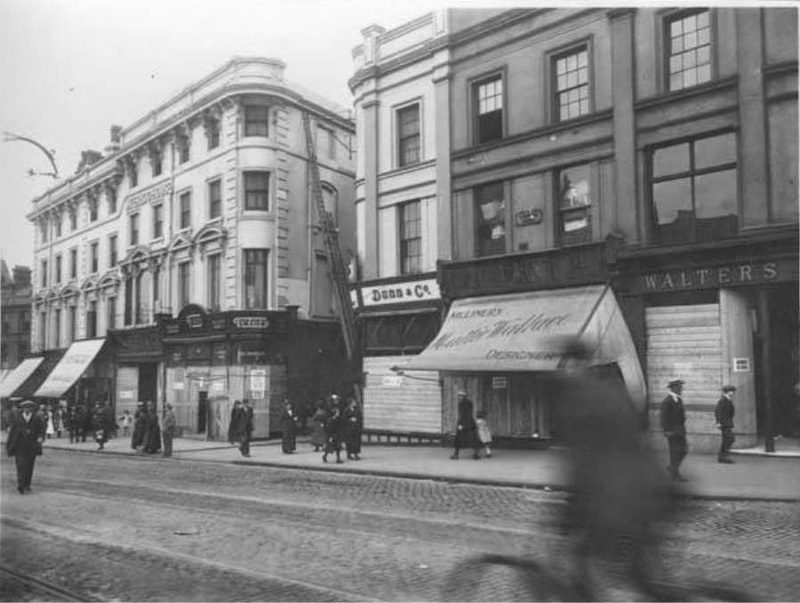 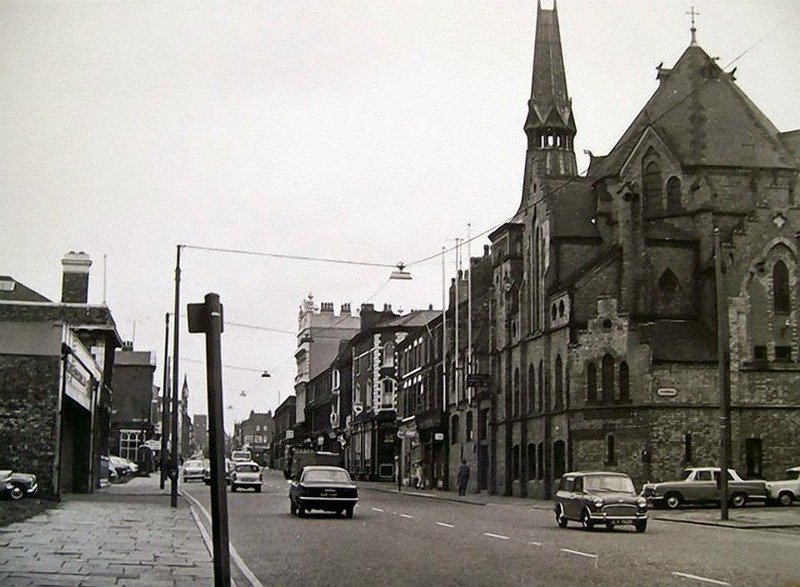 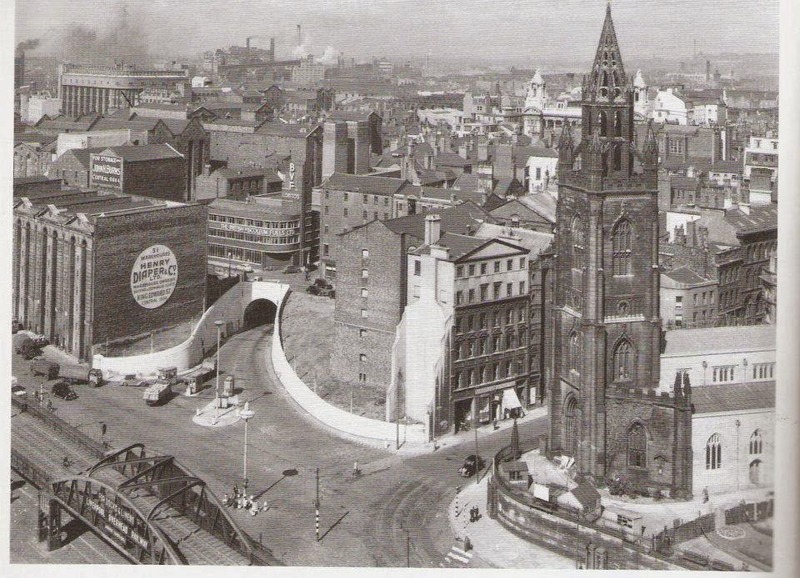 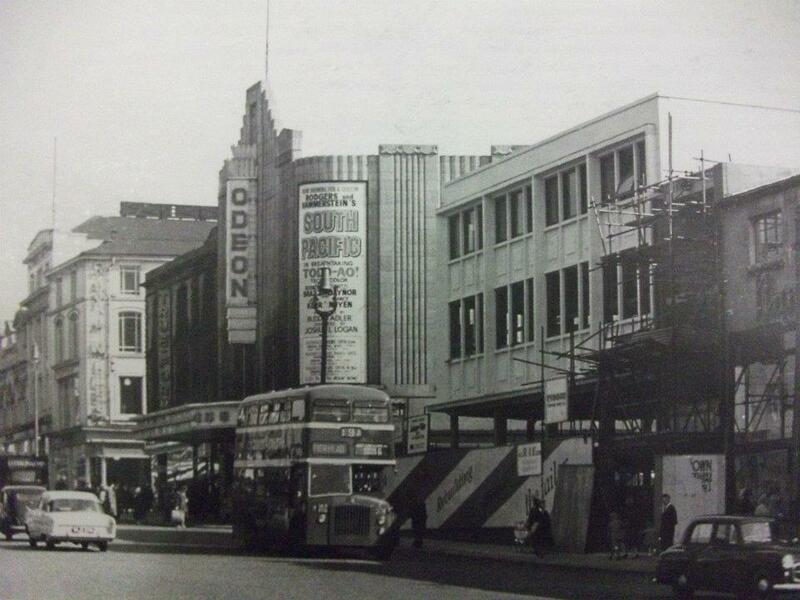 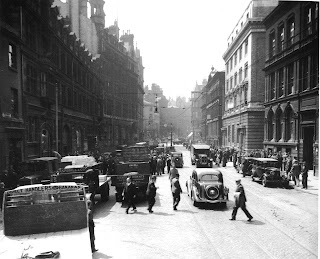 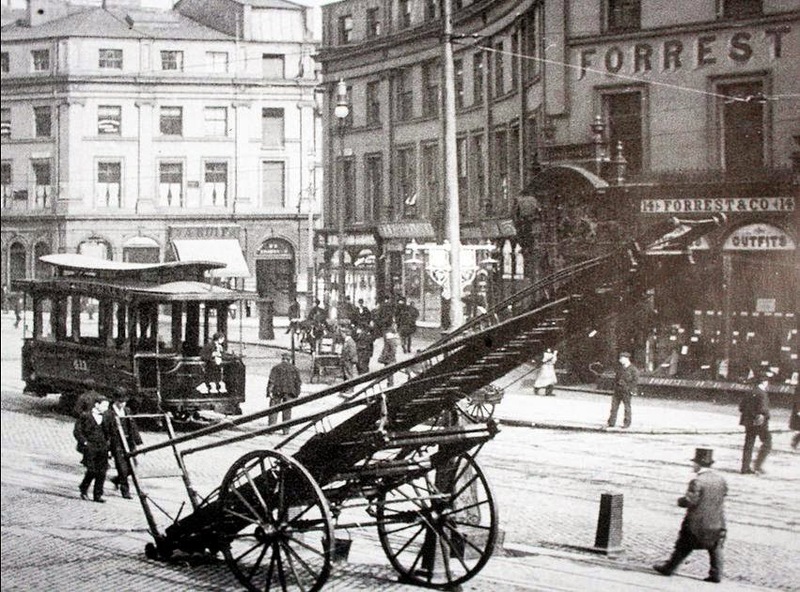 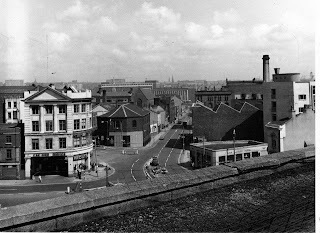 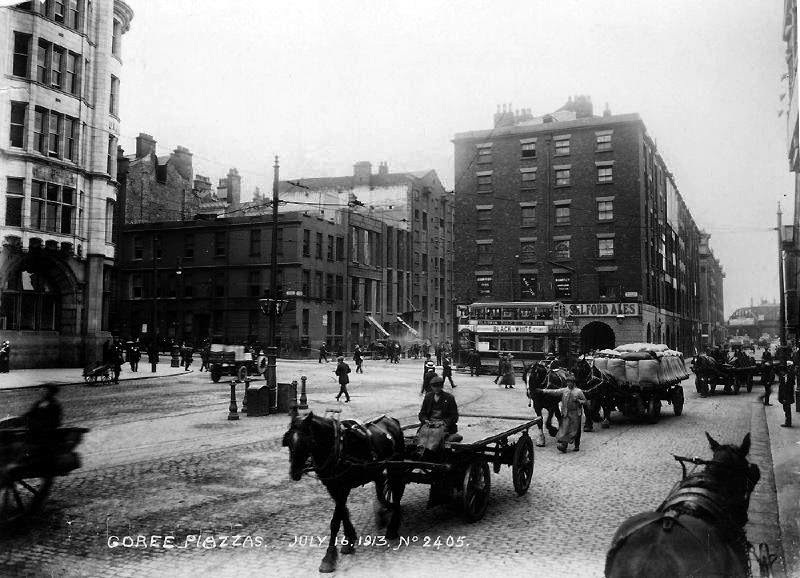 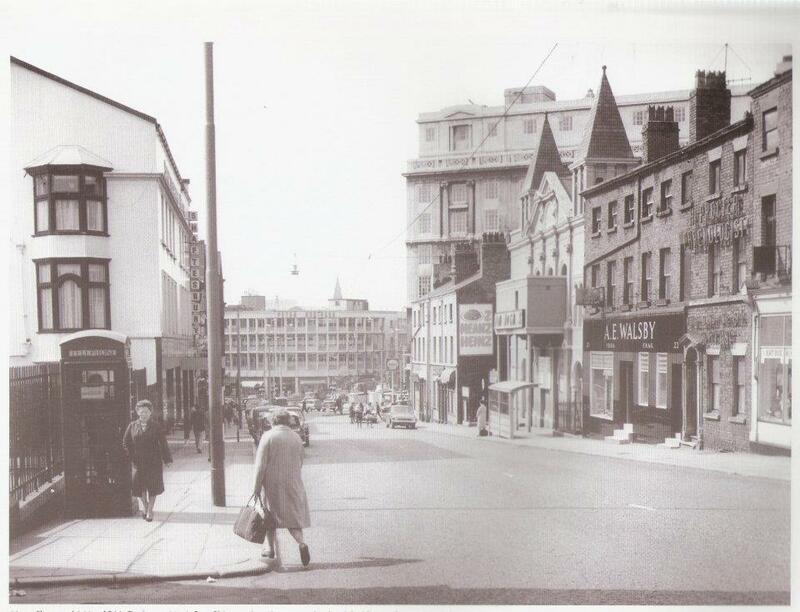 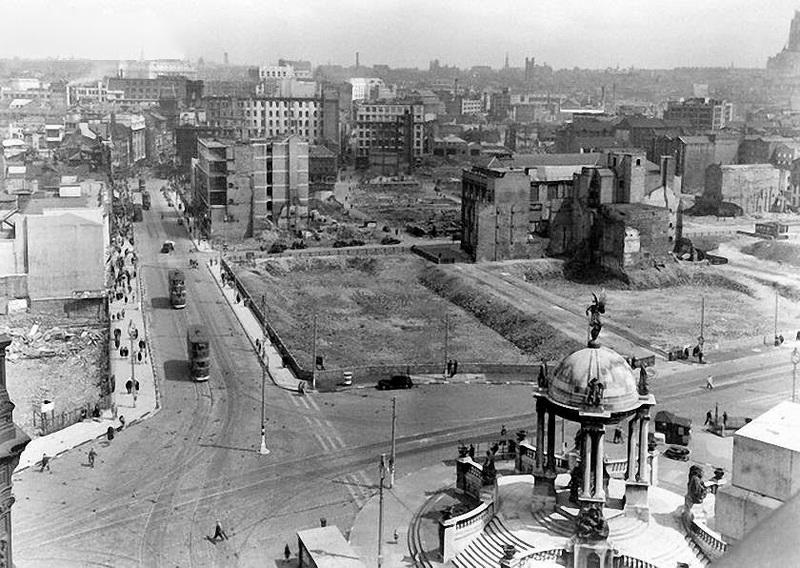 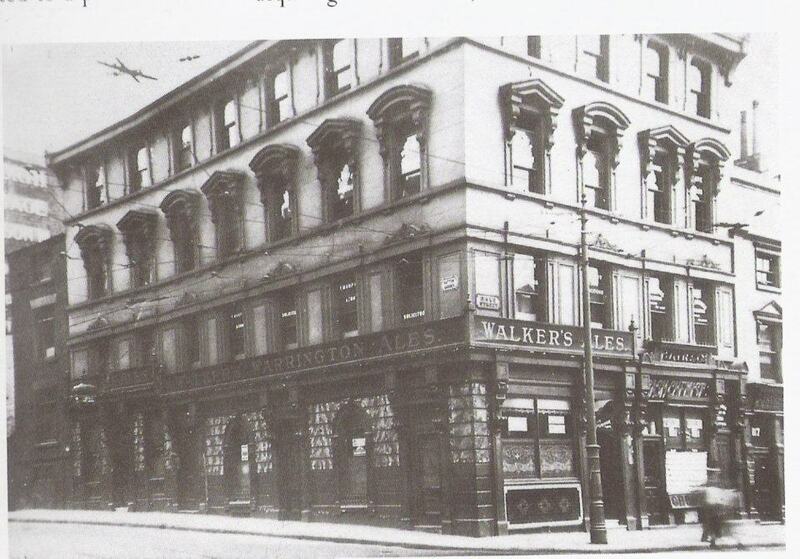 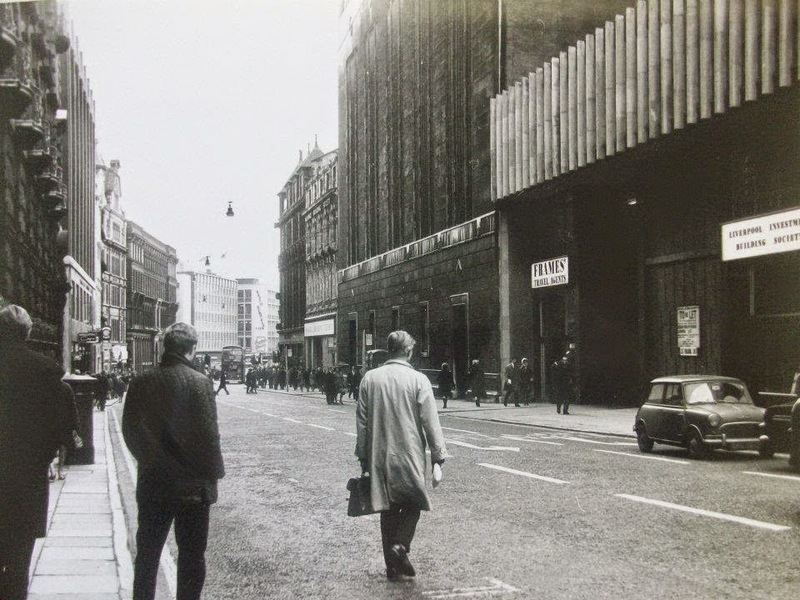 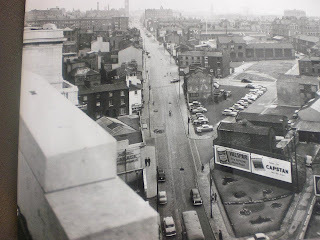 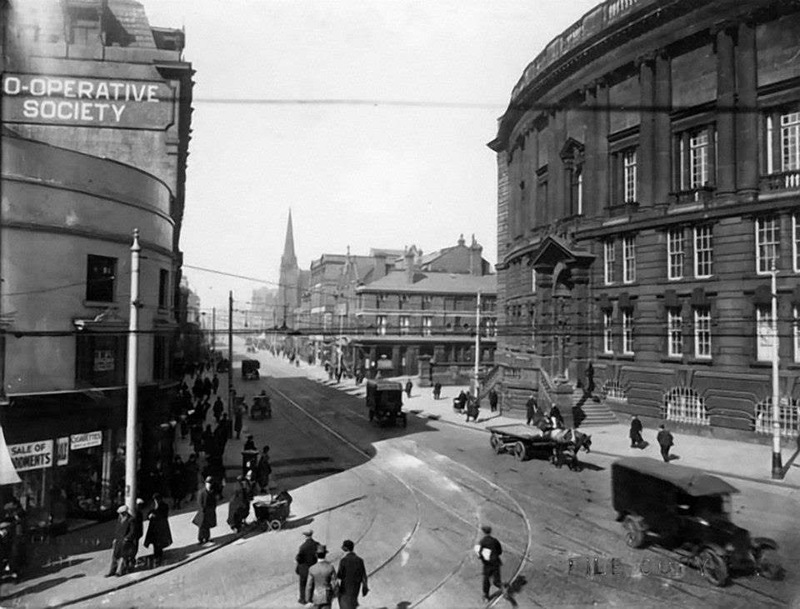 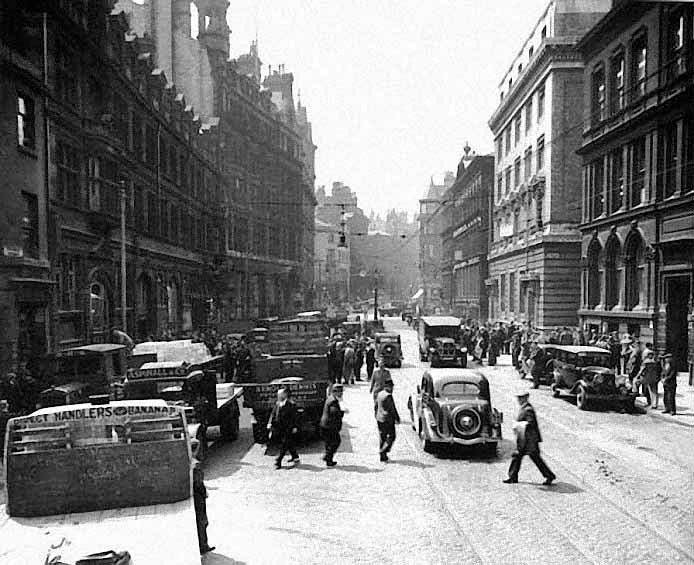 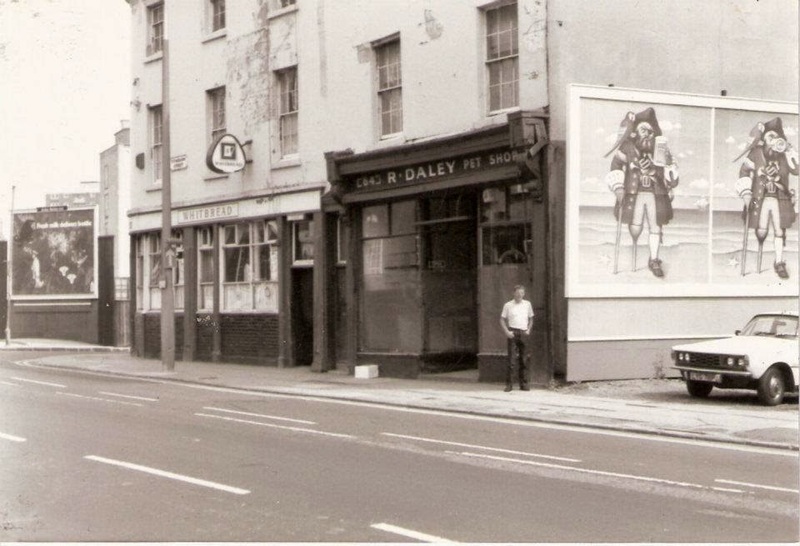 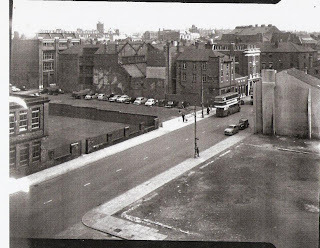 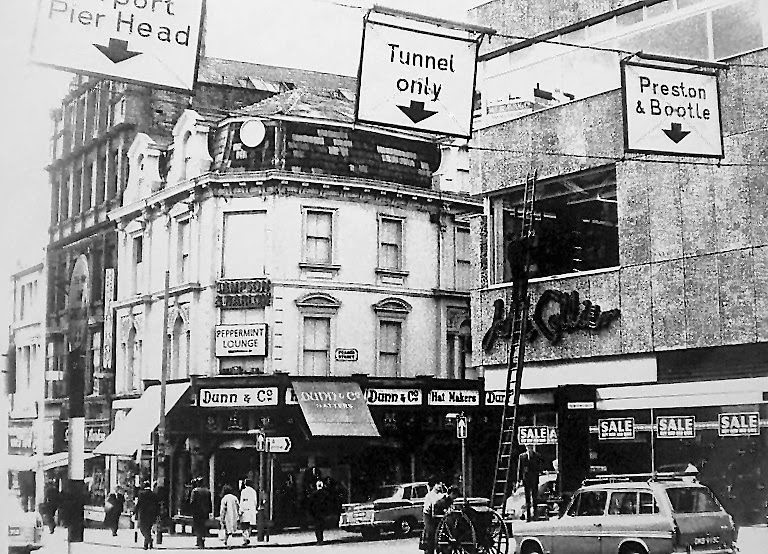 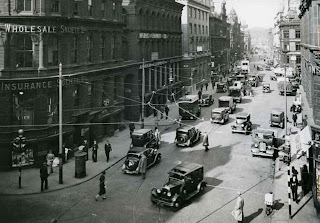 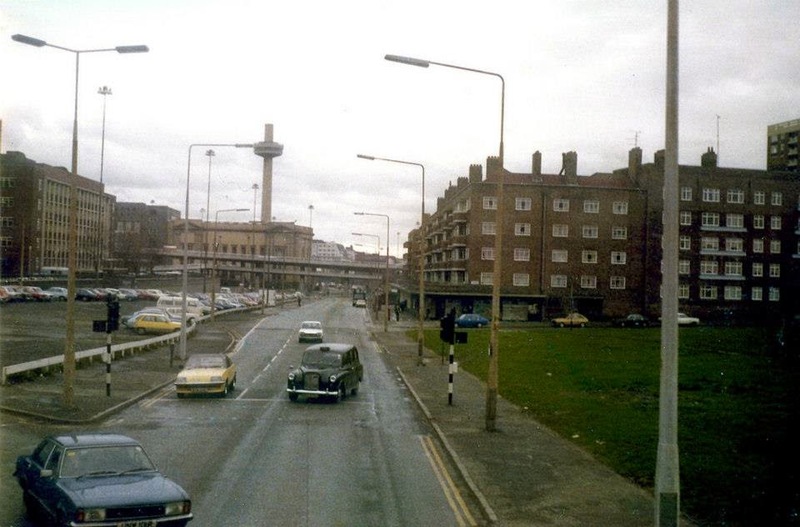 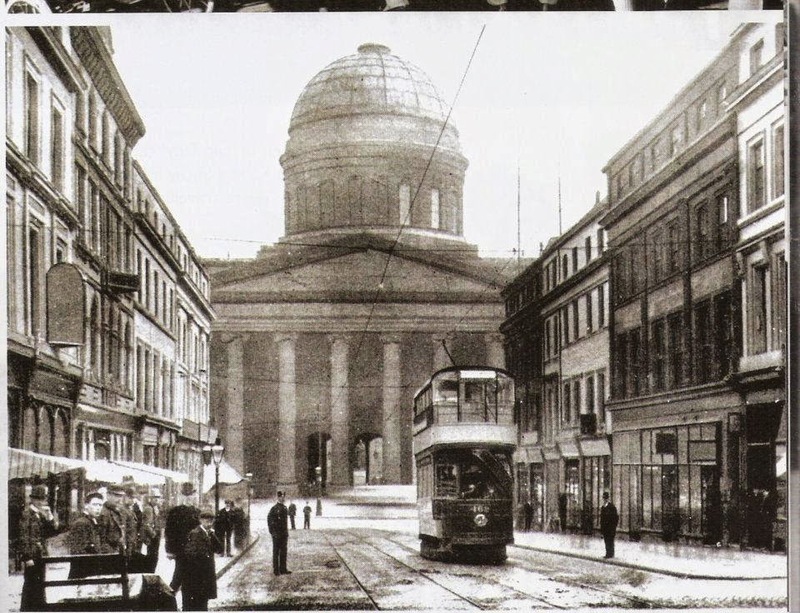 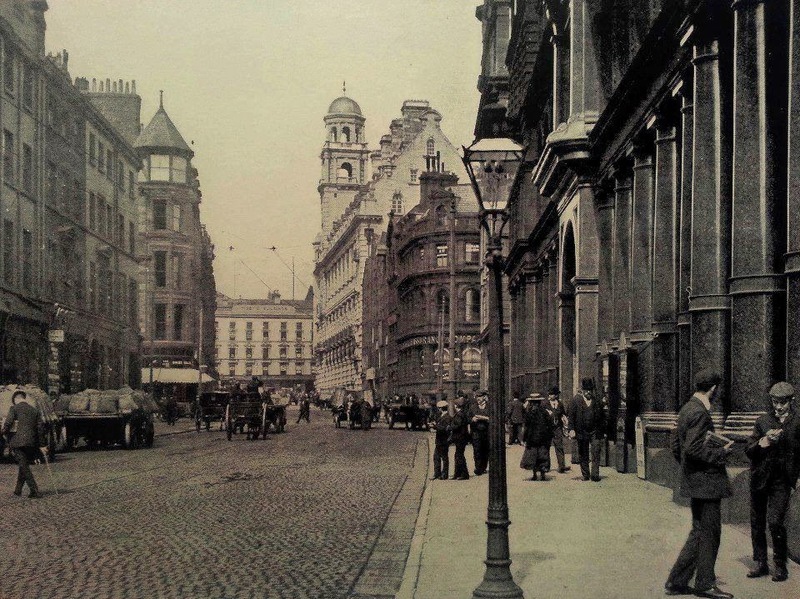 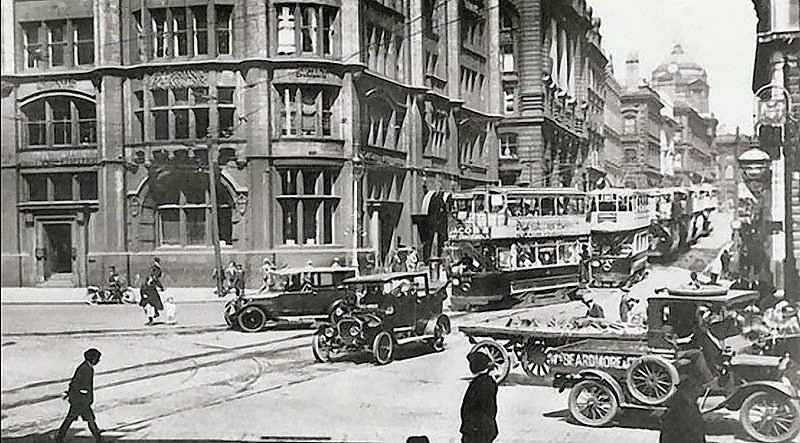 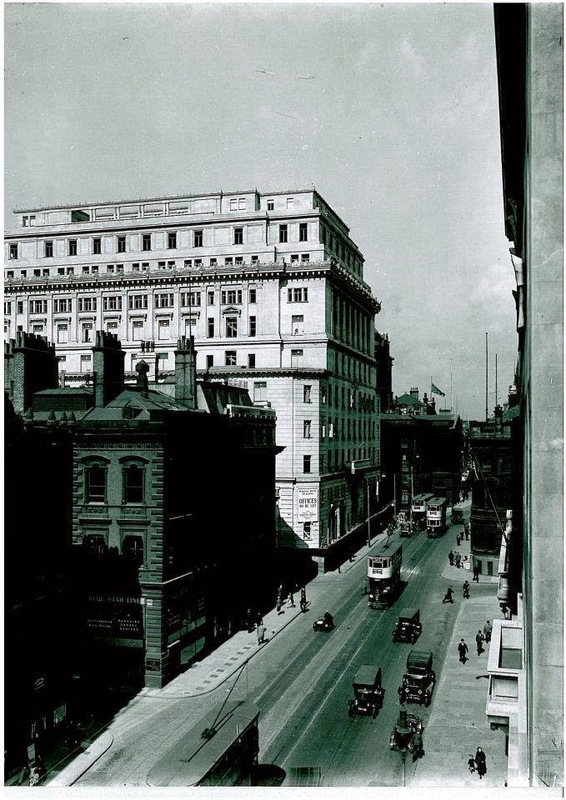 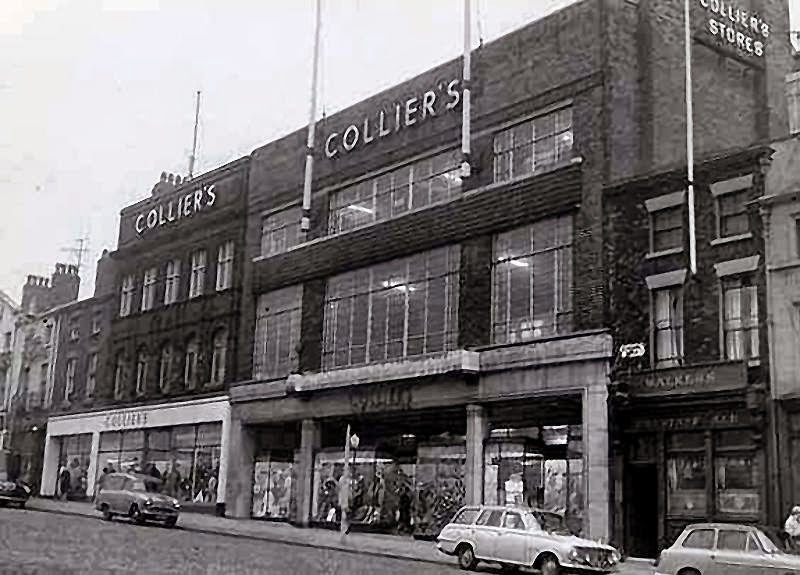 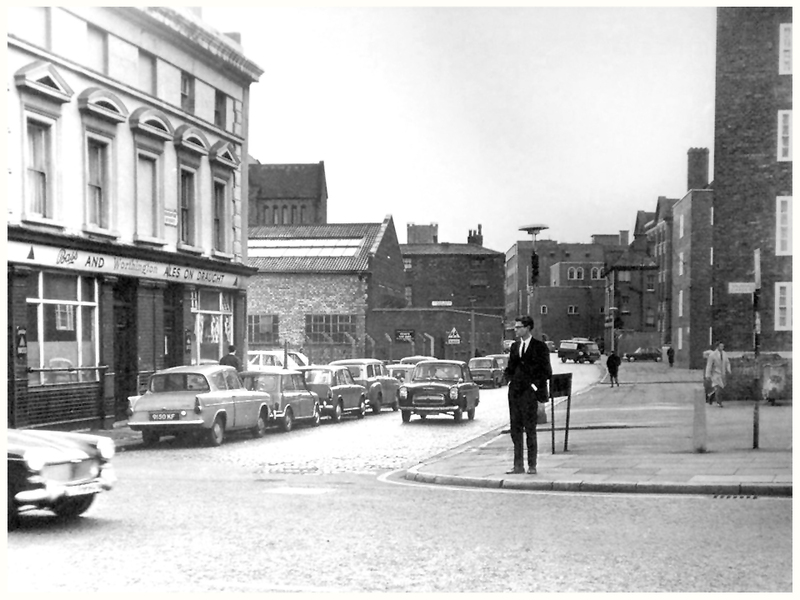 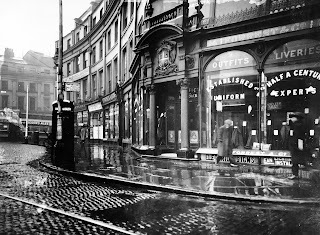 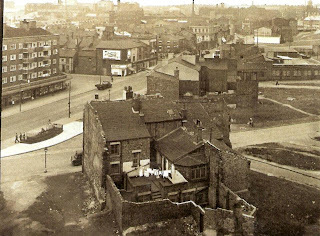 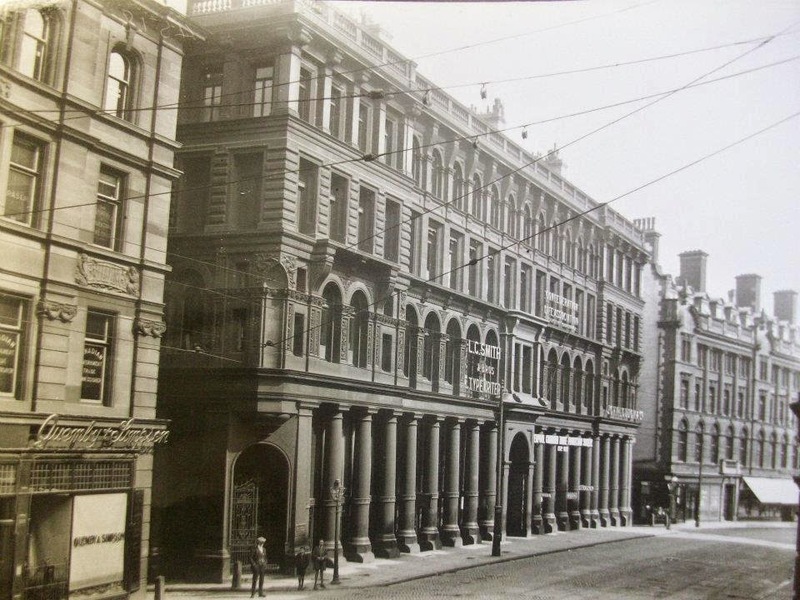 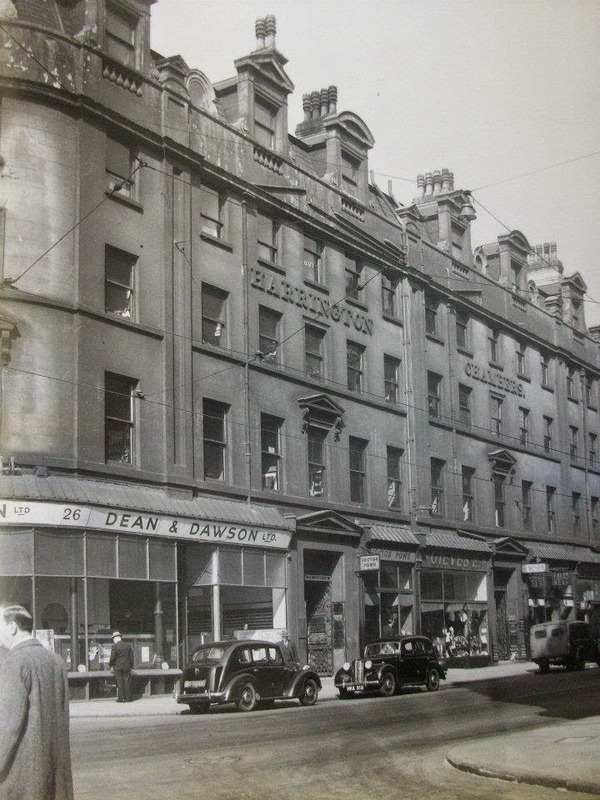 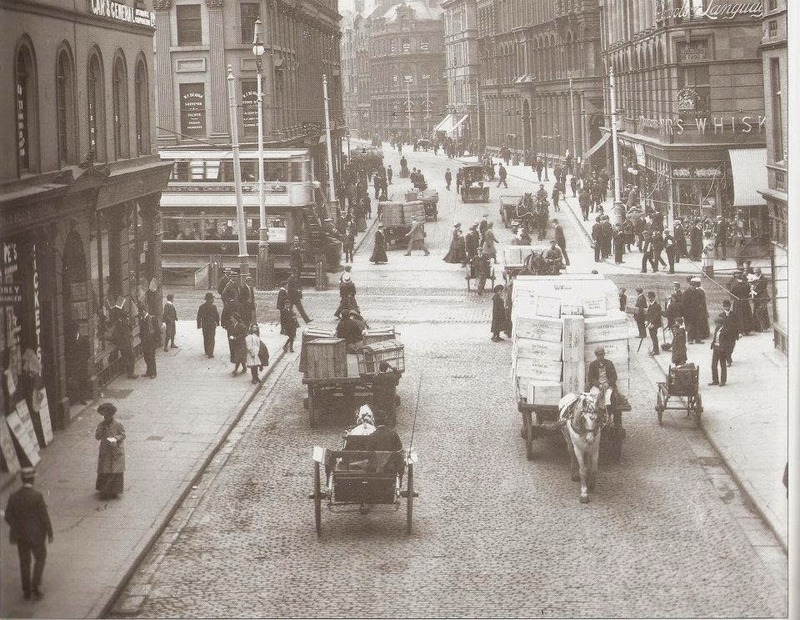 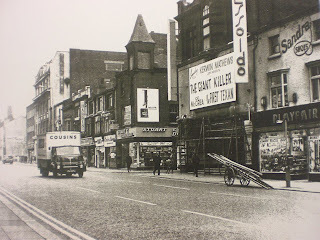 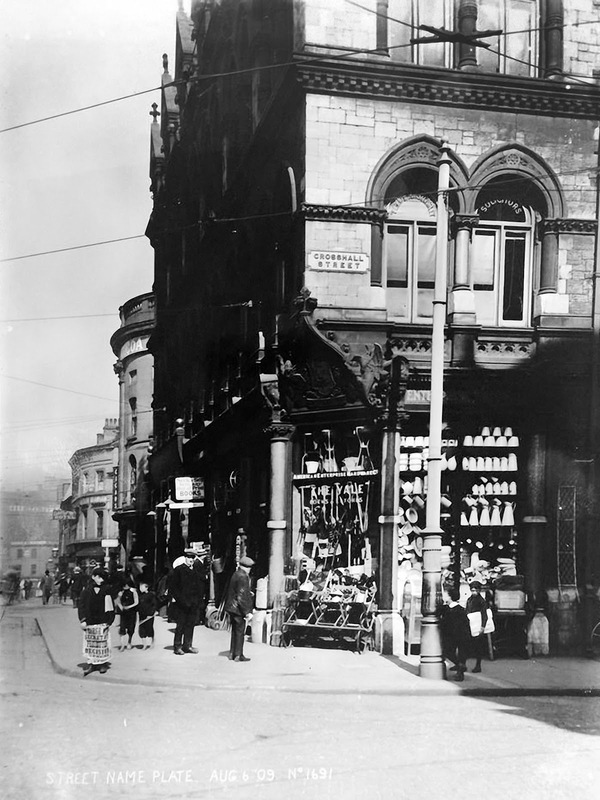 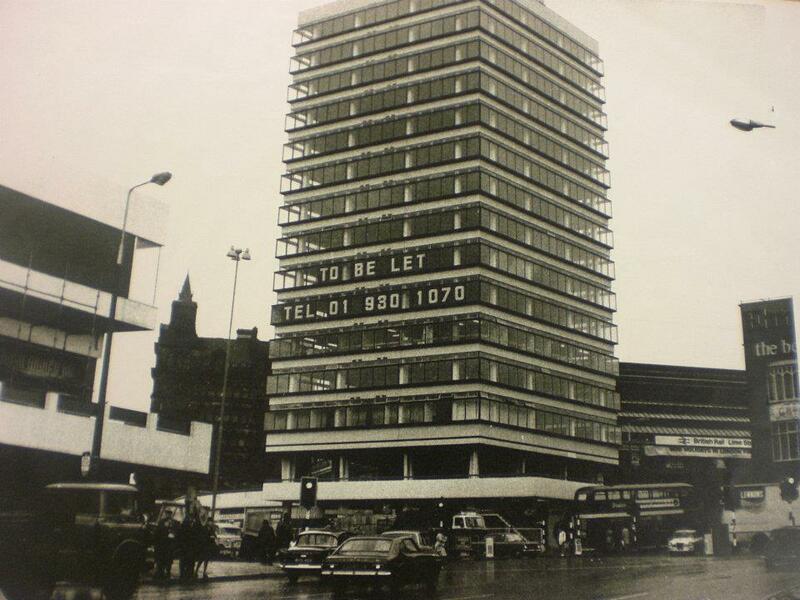 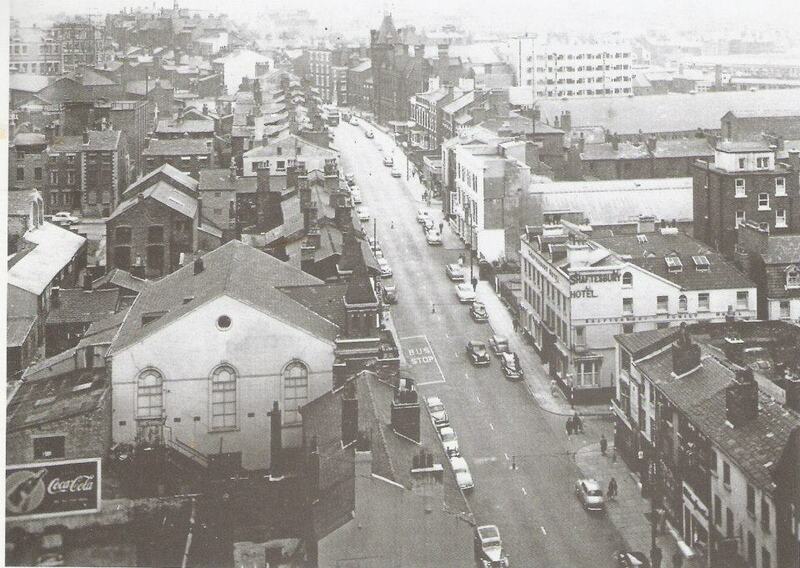 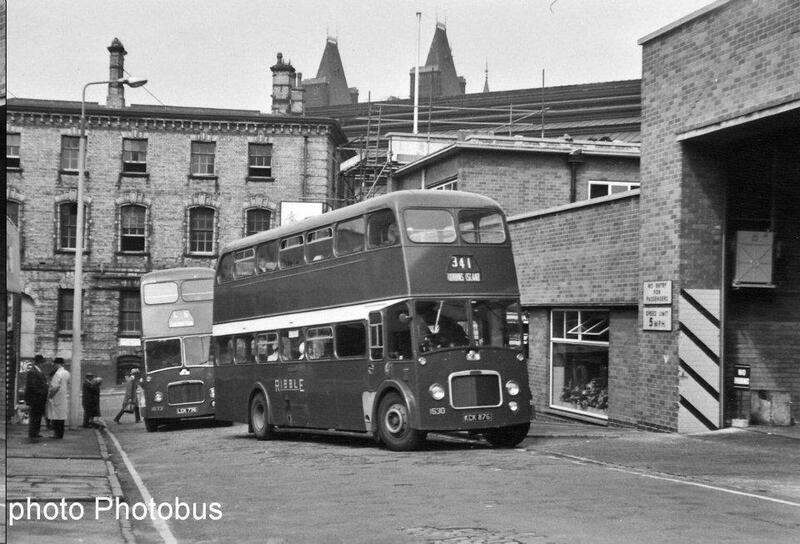 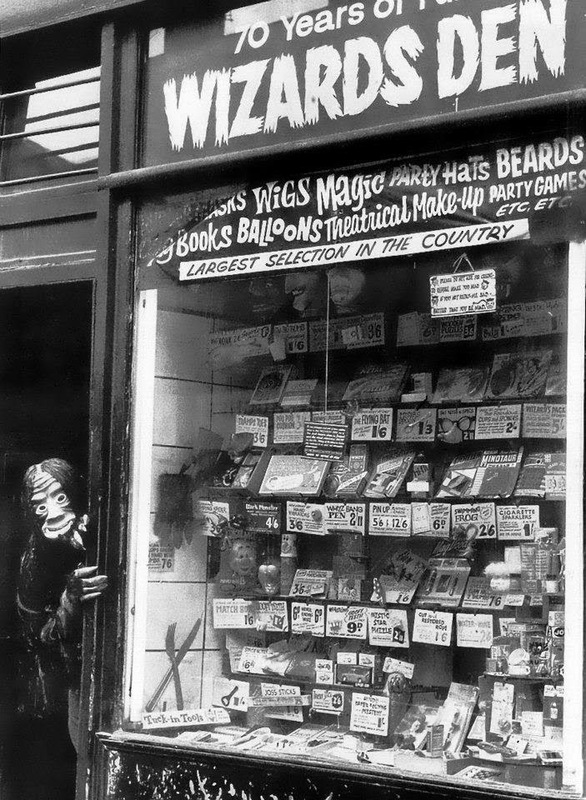 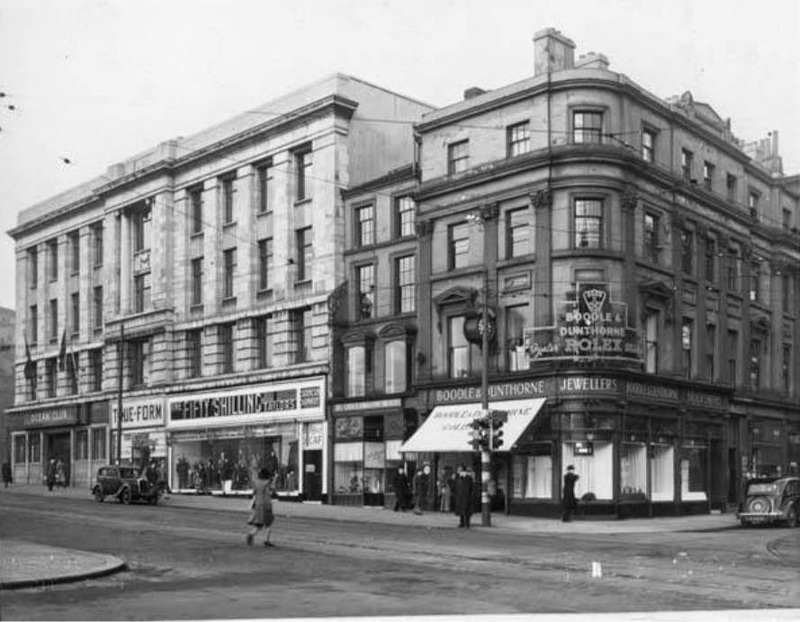 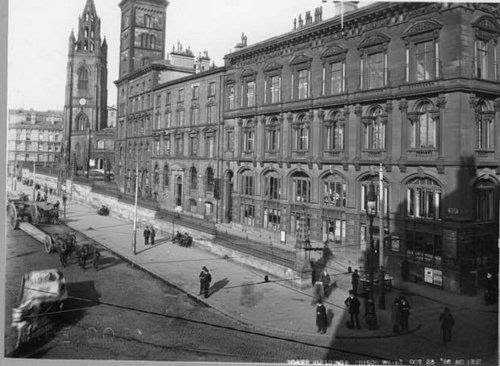 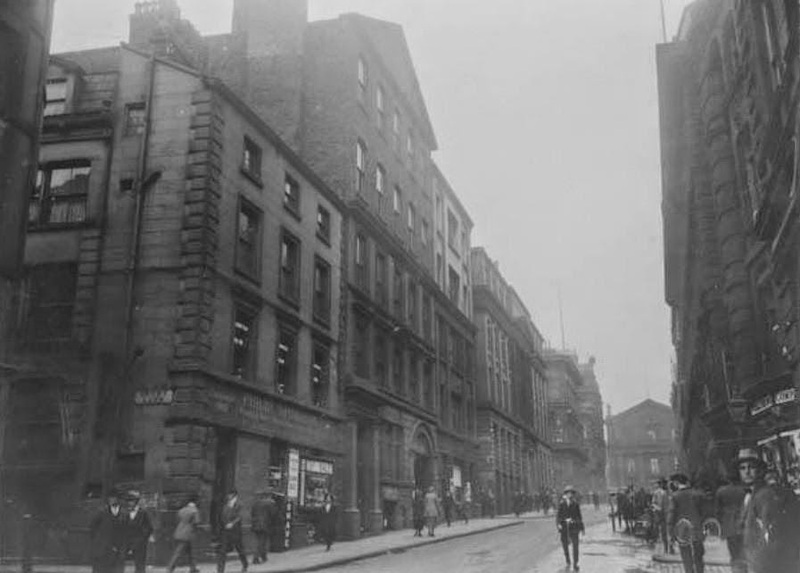 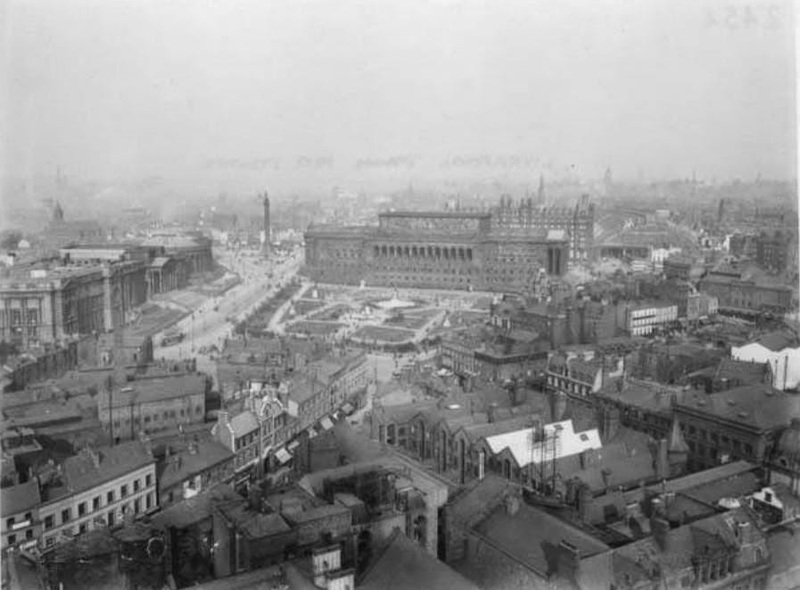 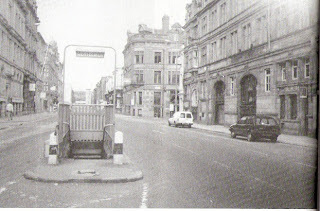 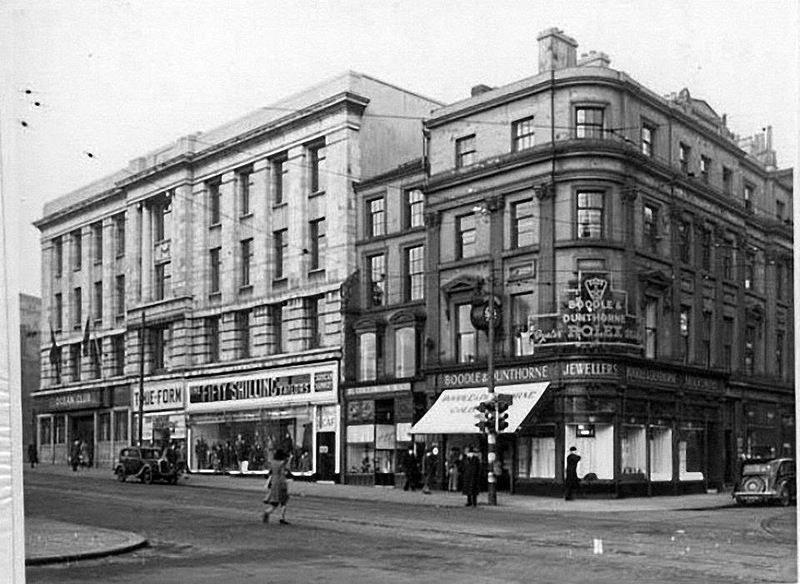 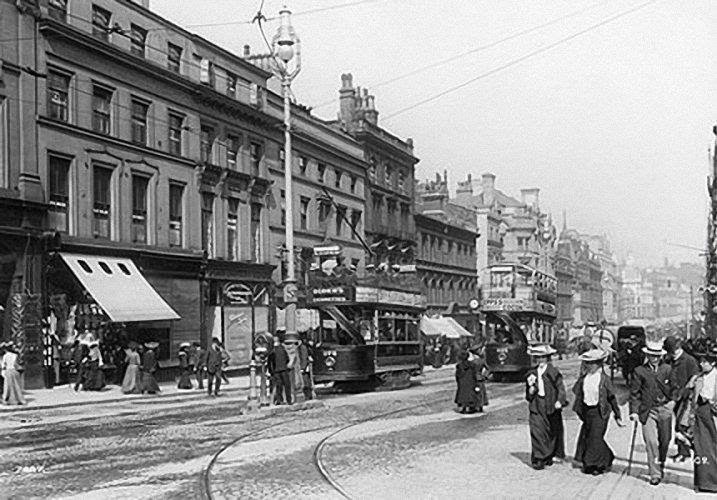 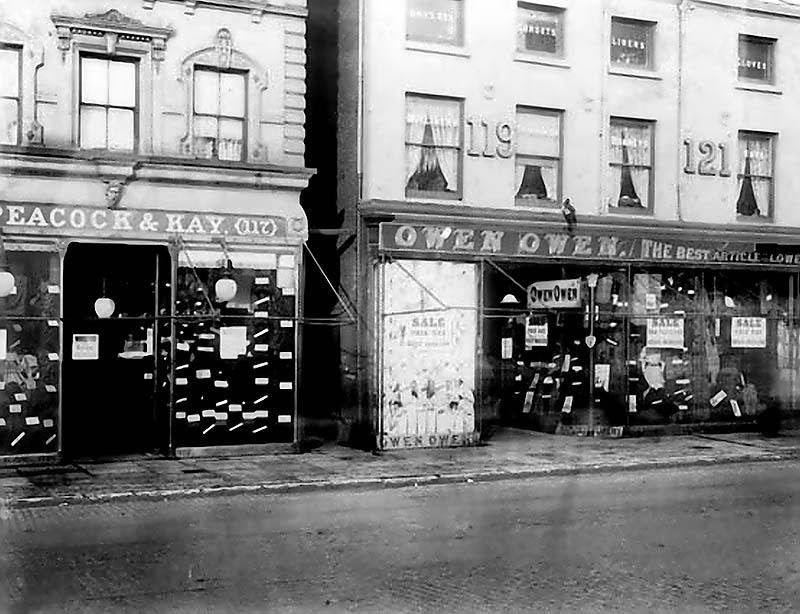 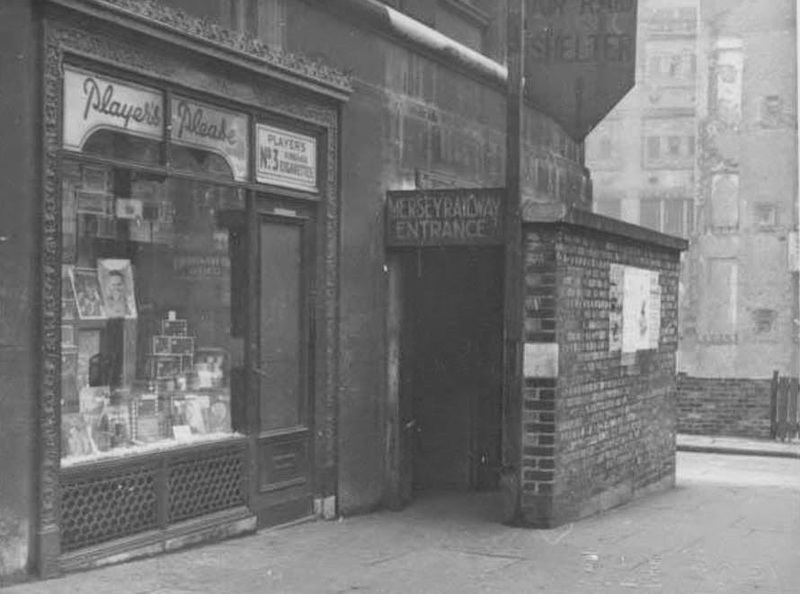 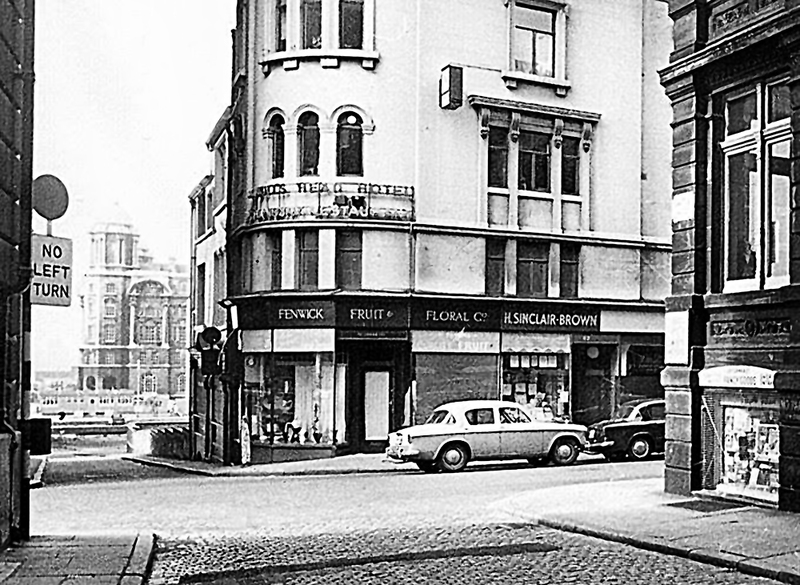 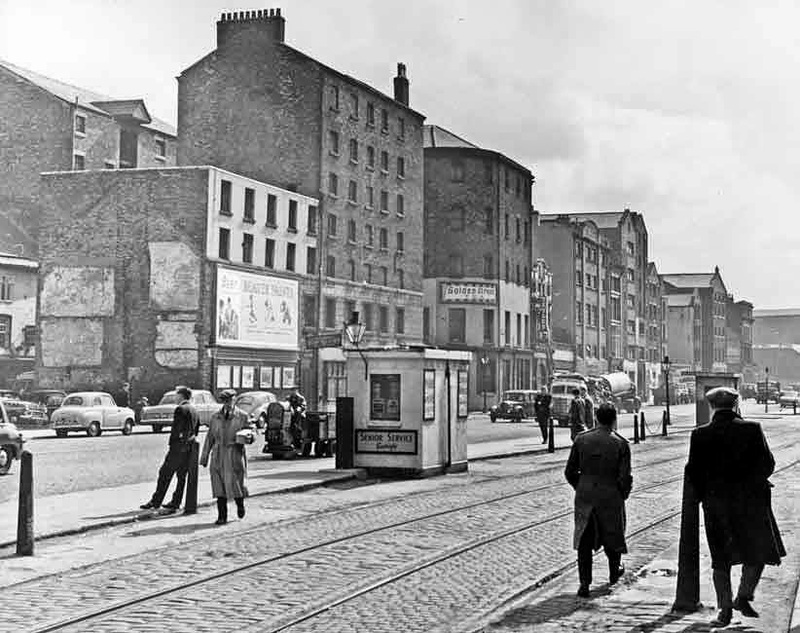 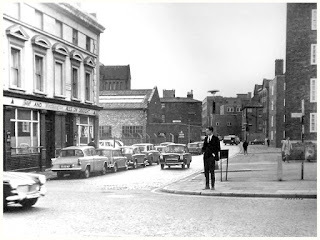 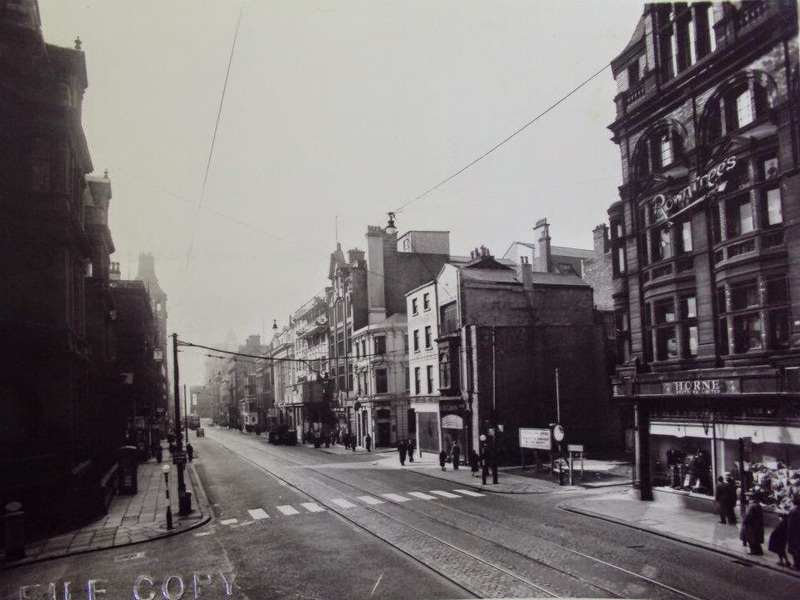 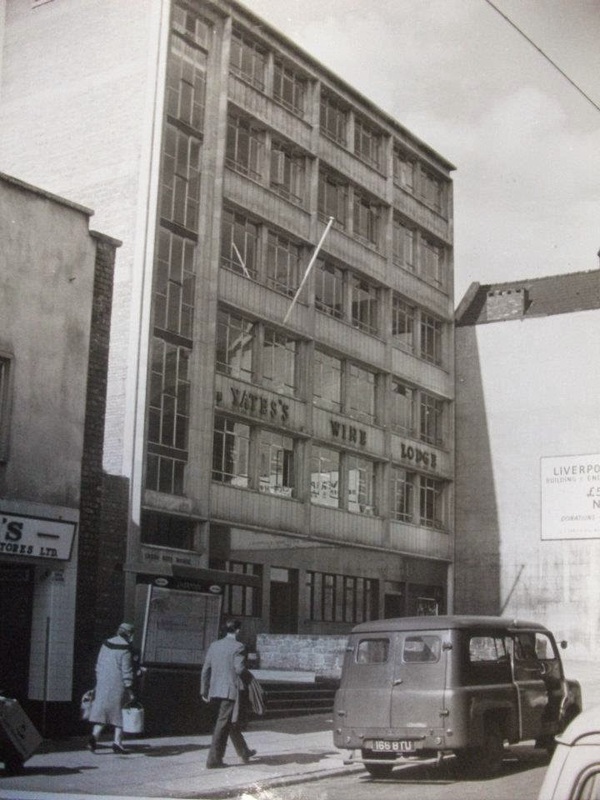 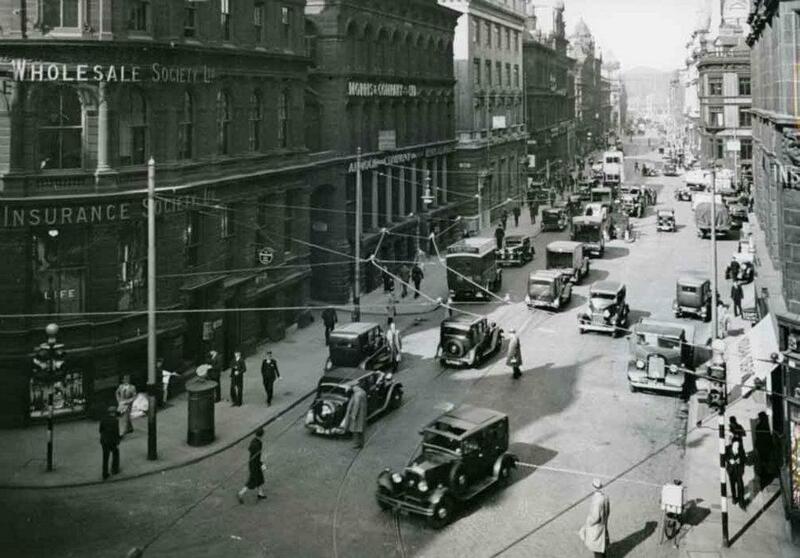 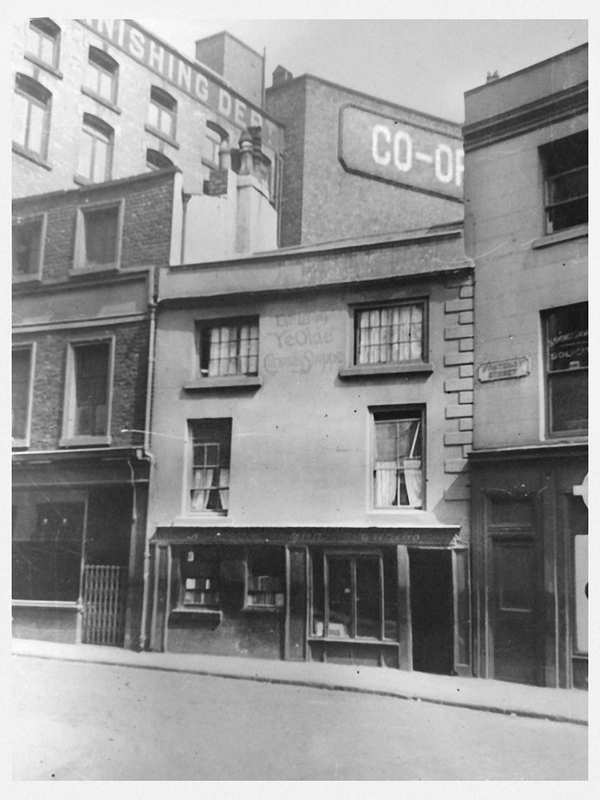 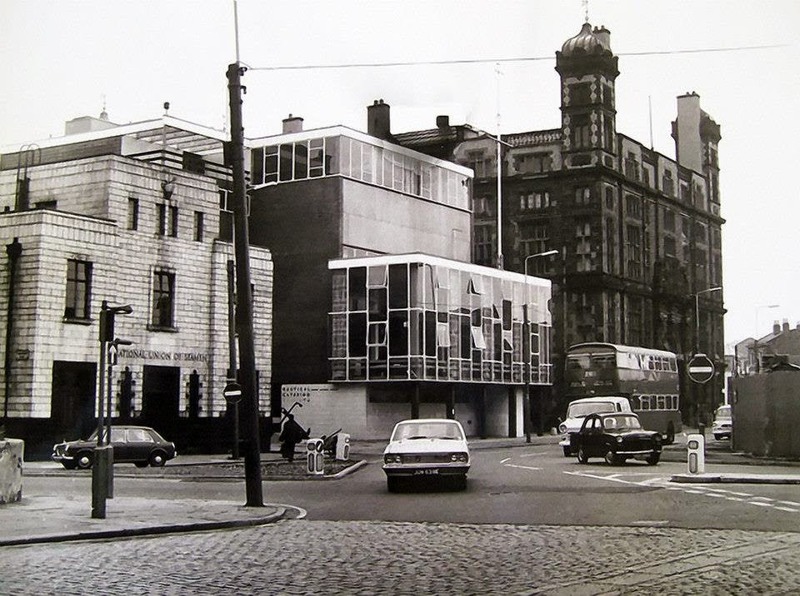 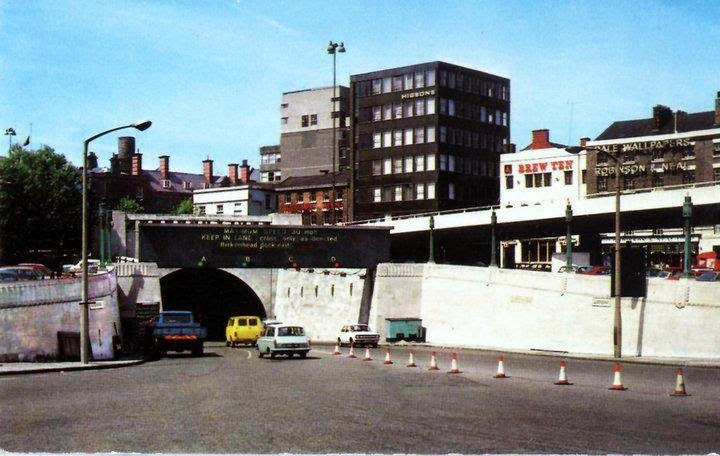 Tithebarn st showing Ma Dalys pet shop and the United Powers pub. 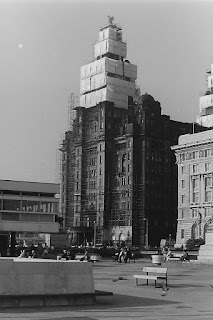 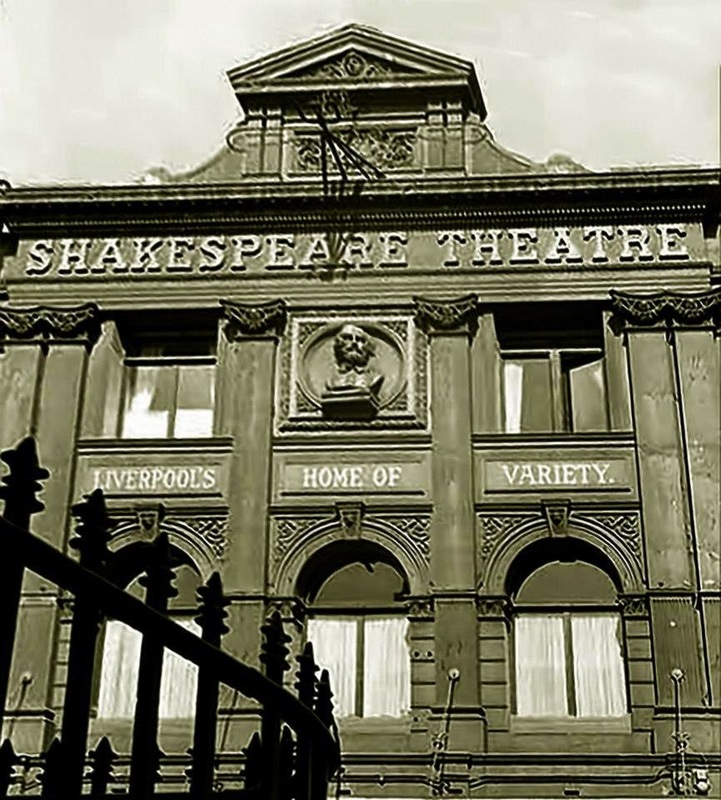 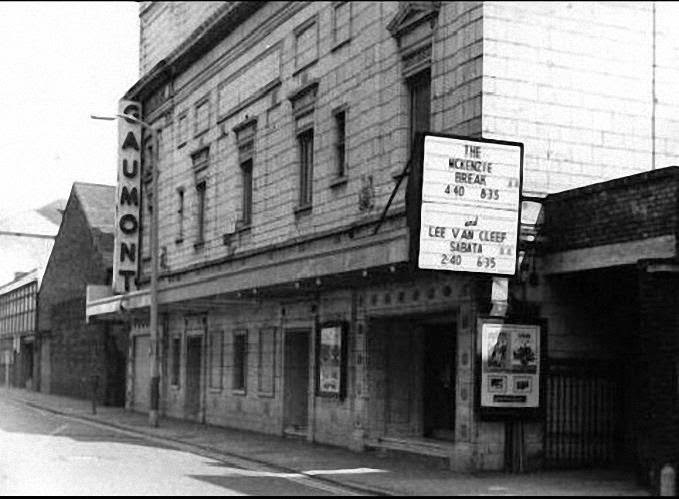 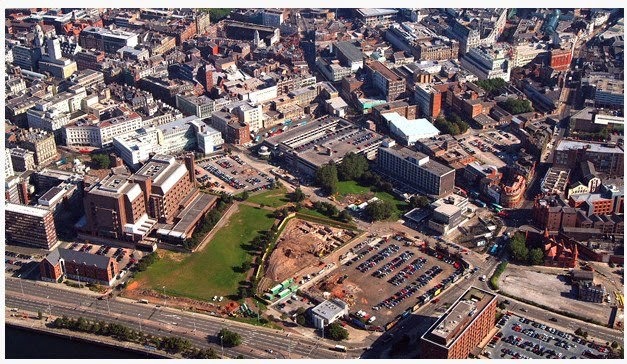 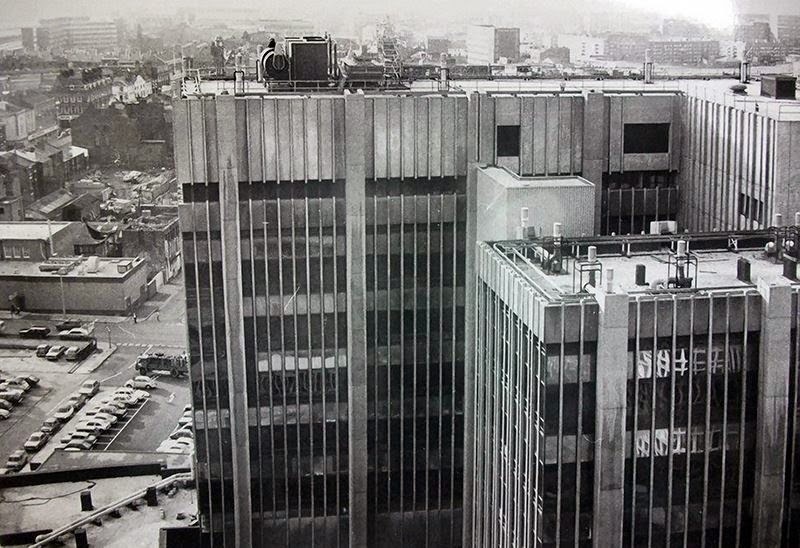 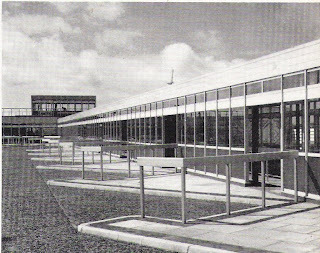 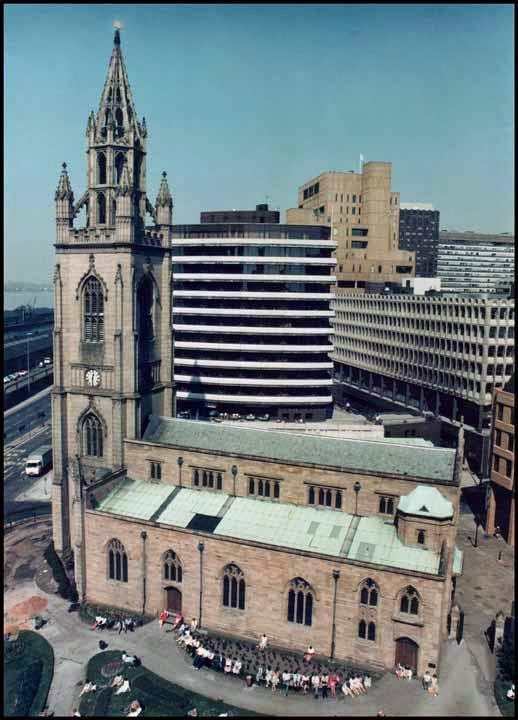 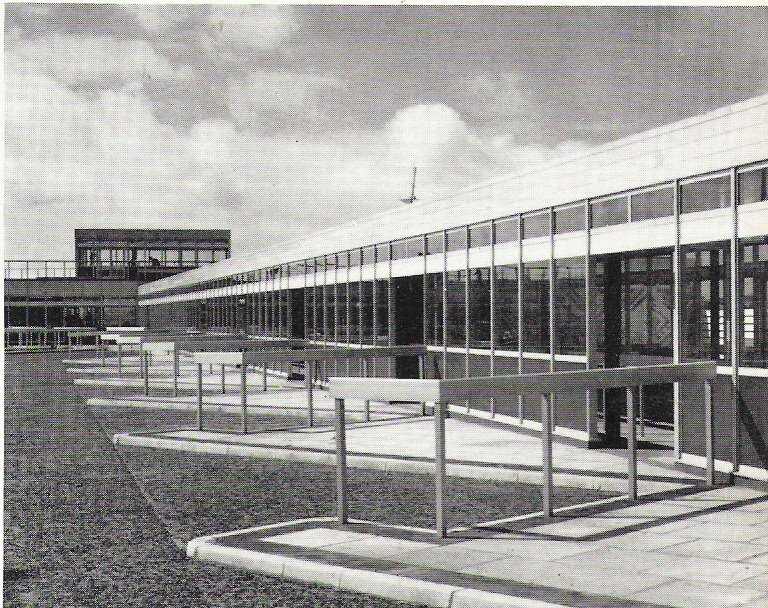 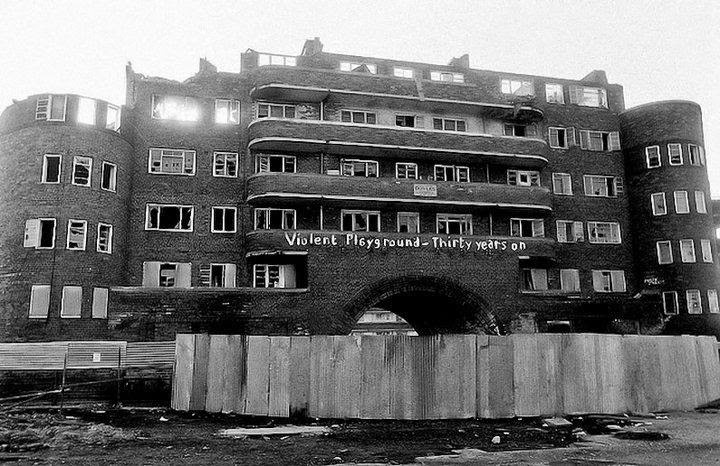 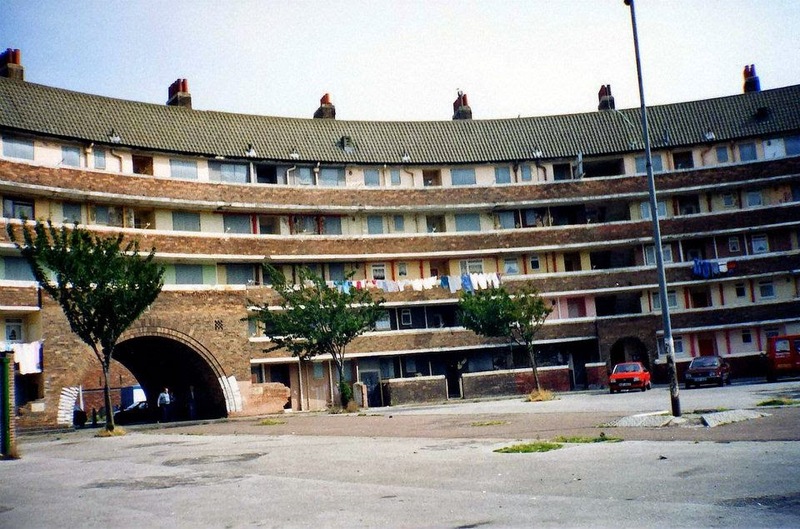 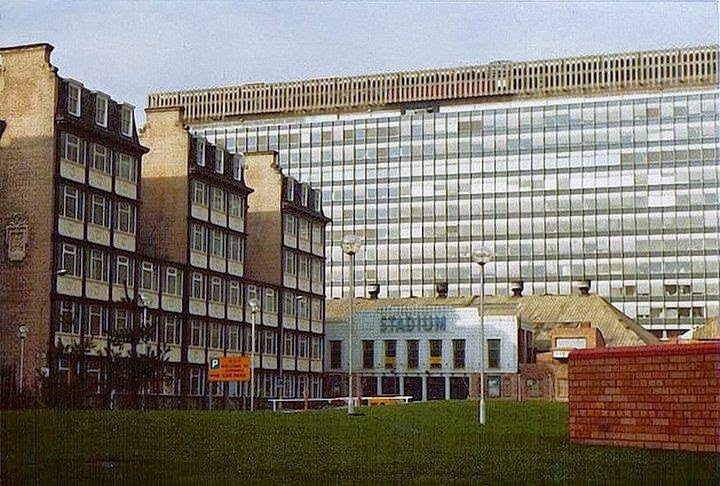 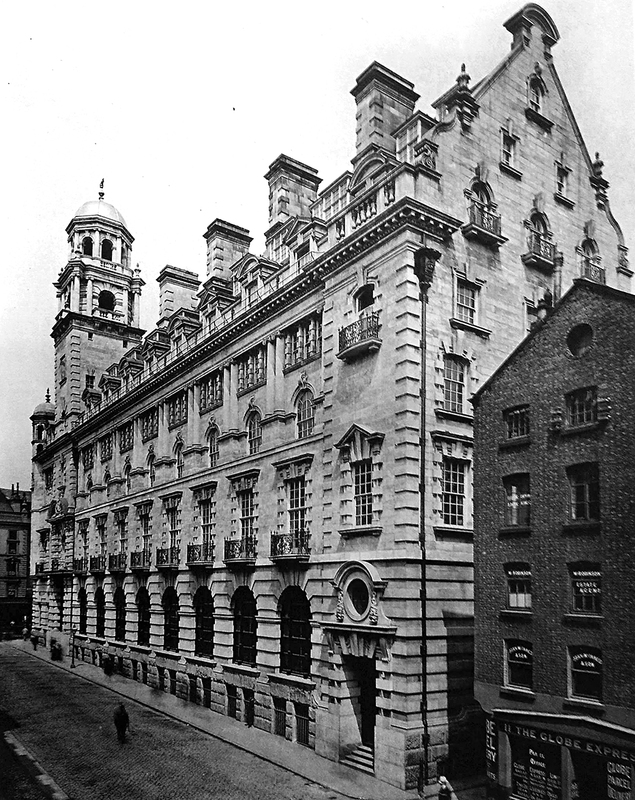 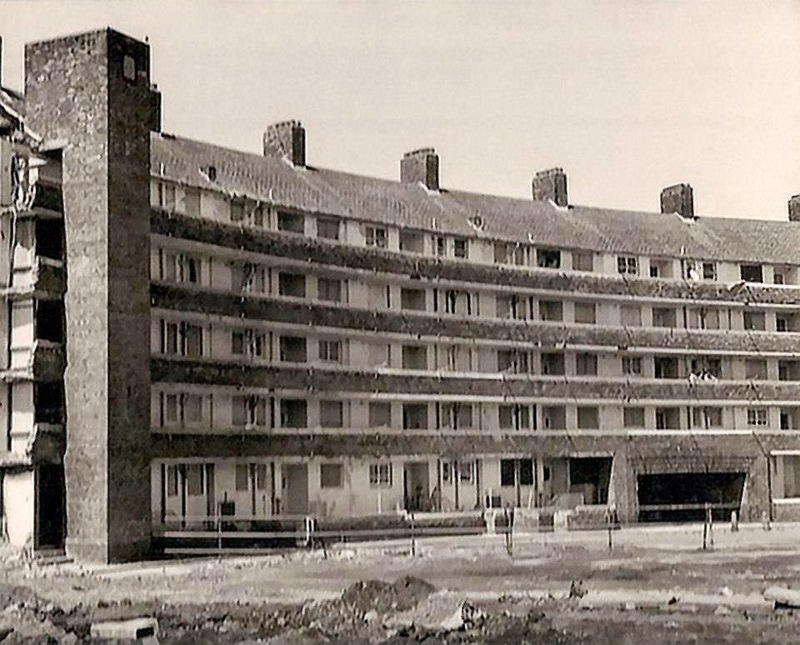 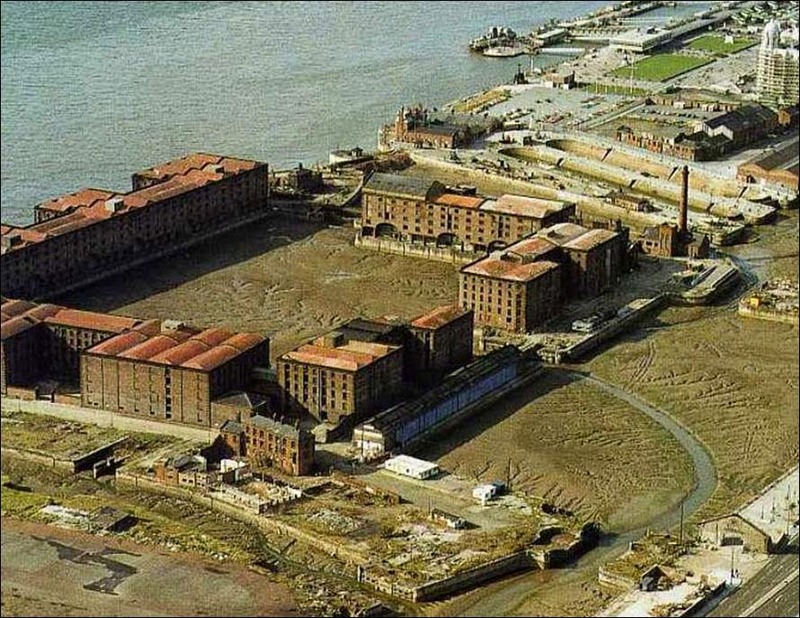 demolished to be replaced by the current Tower Buildings. 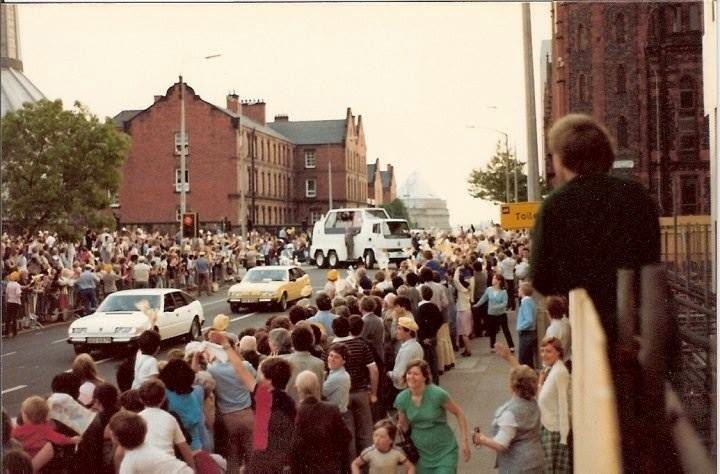 with the County Sessions House just in view. 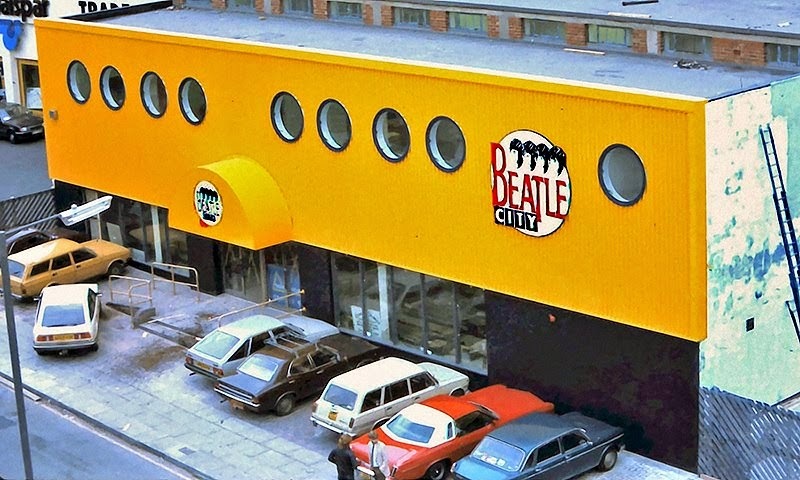 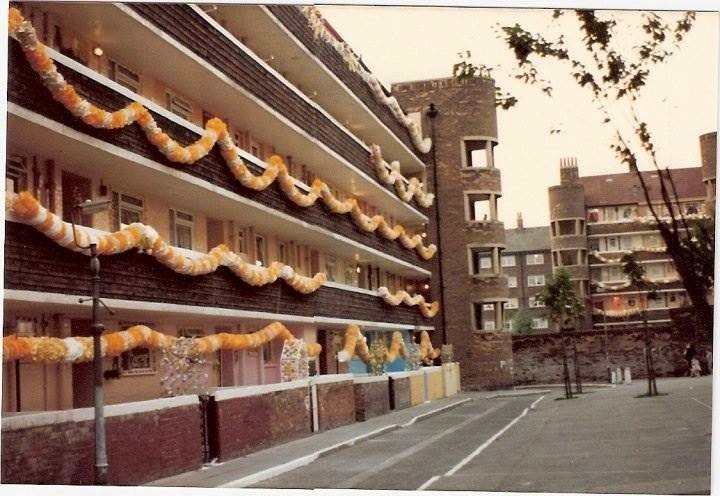 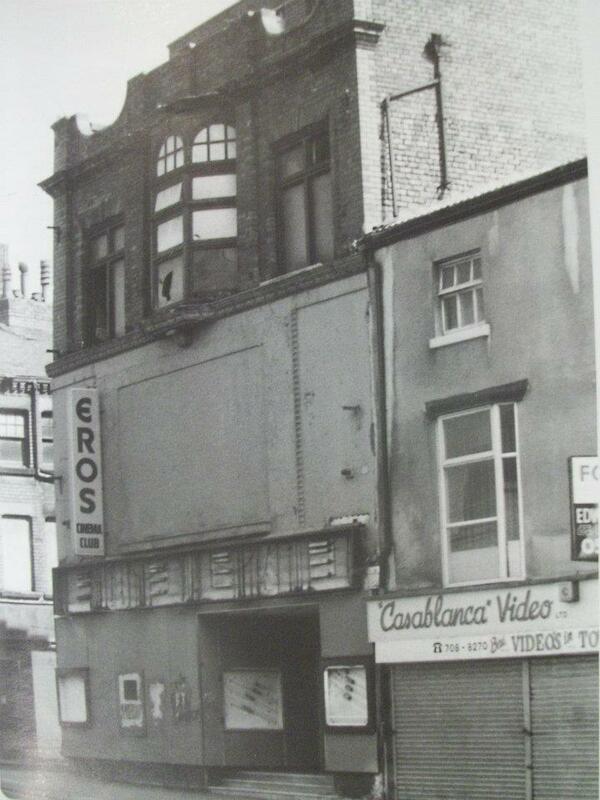 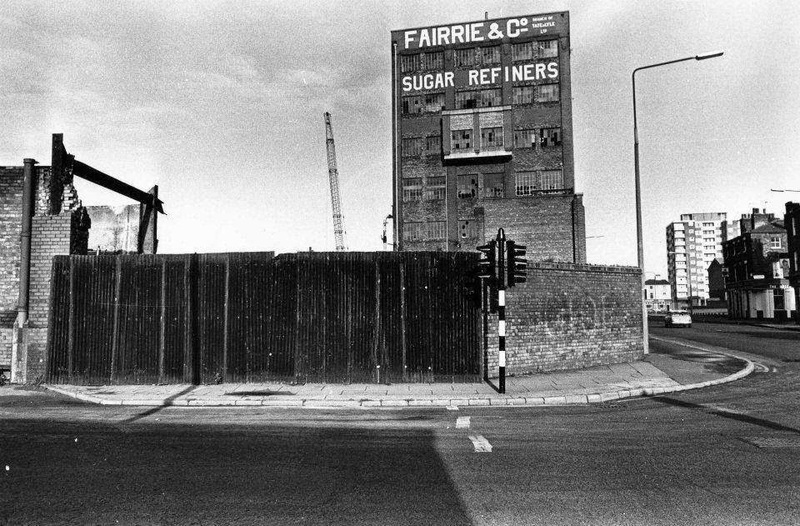 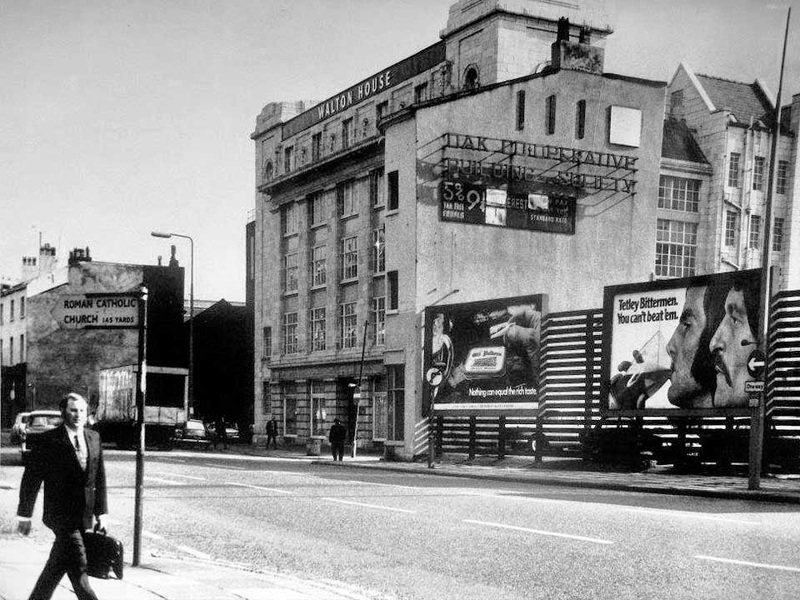 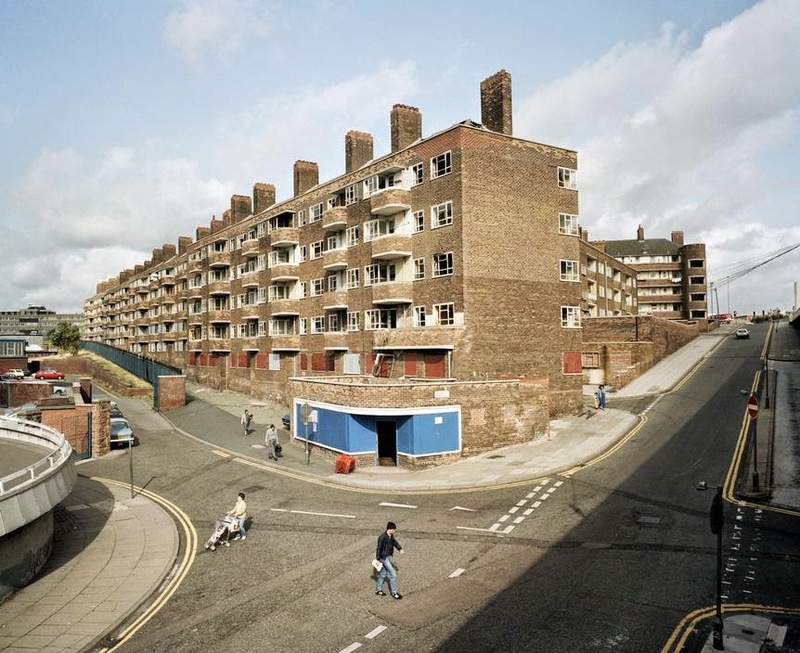 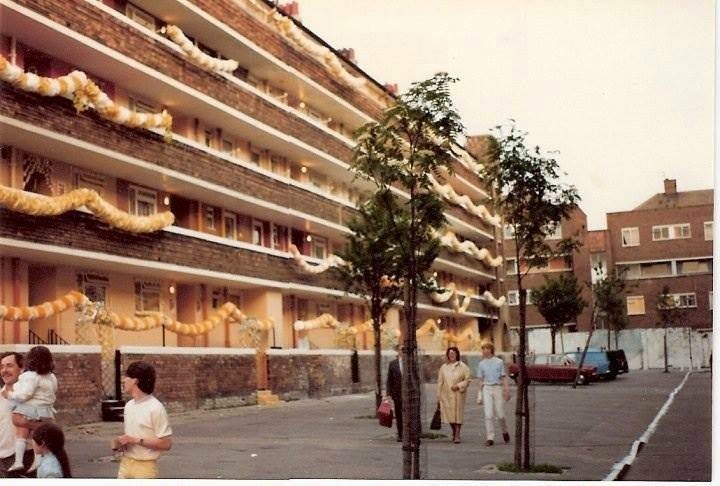 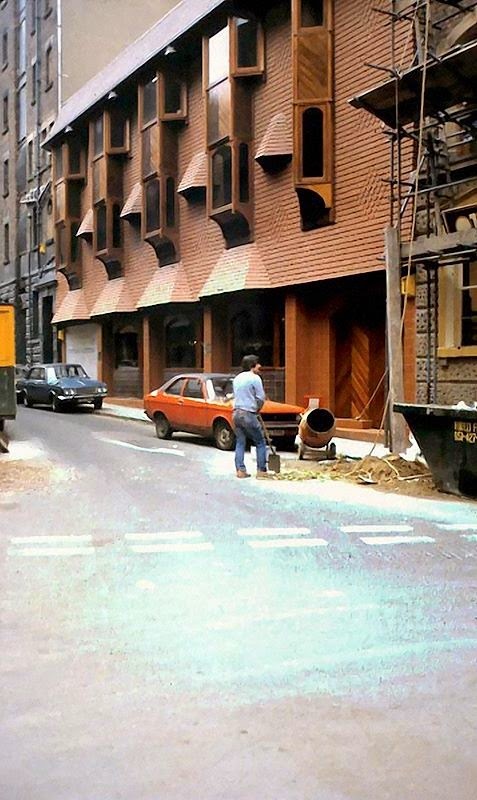 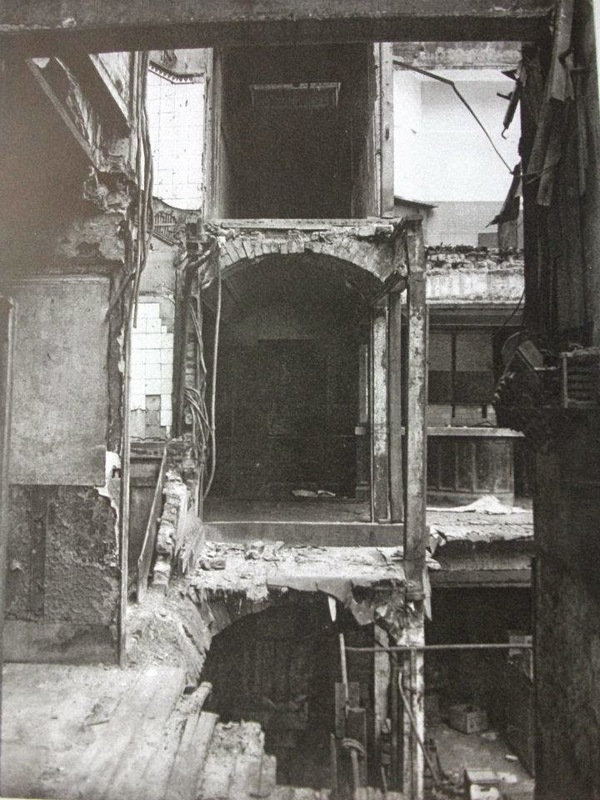 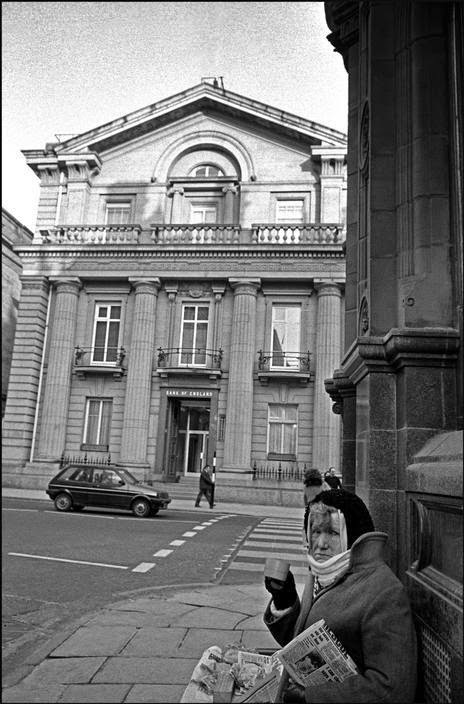 2 Islington Place Gianelli's c.1977 © Glynne Gianelli. site of St Pauls Square. 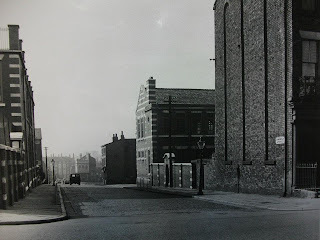 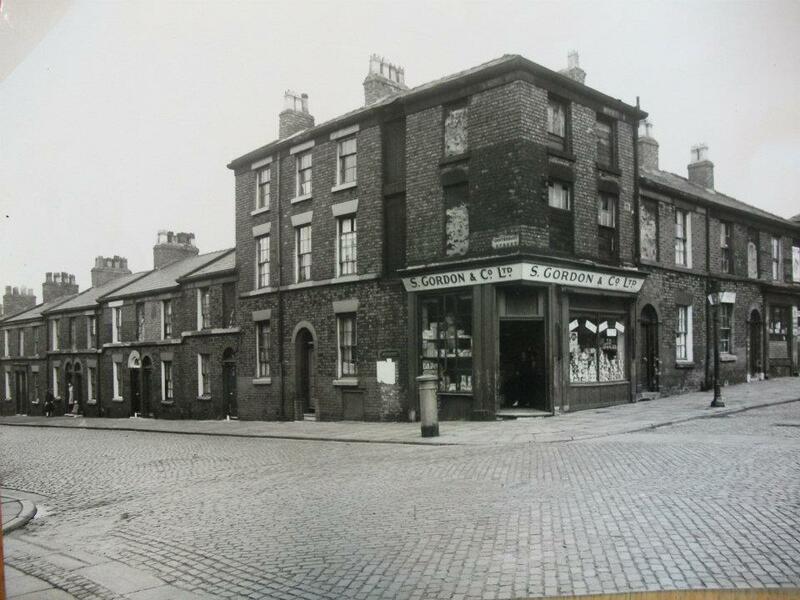 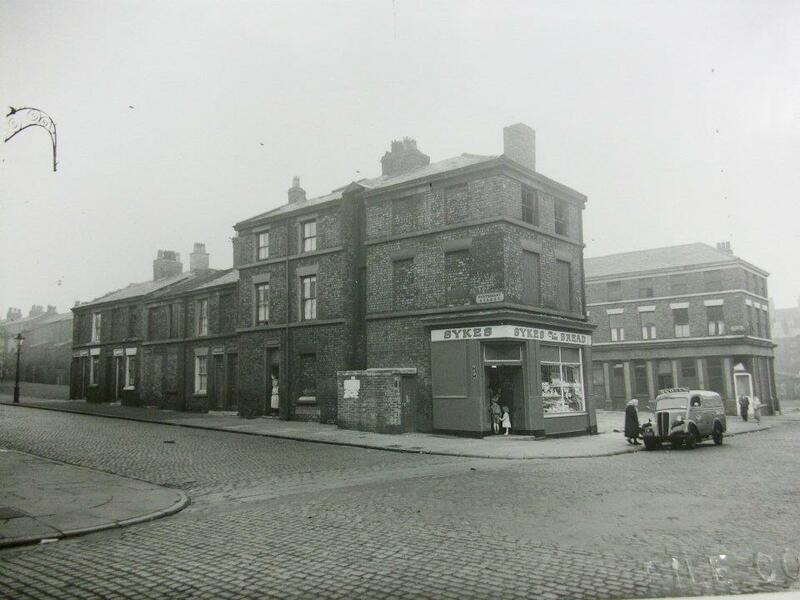 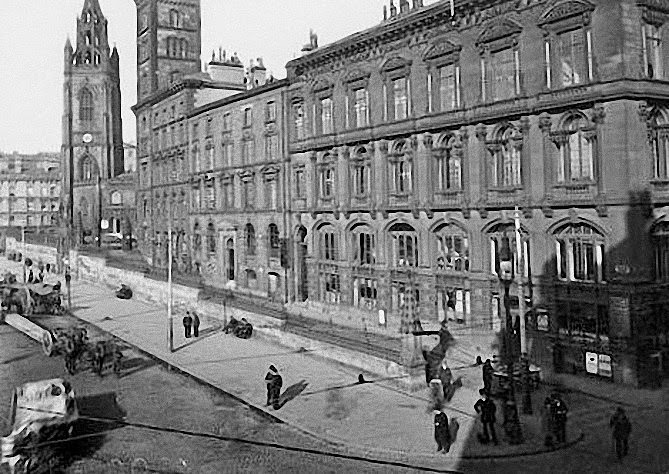 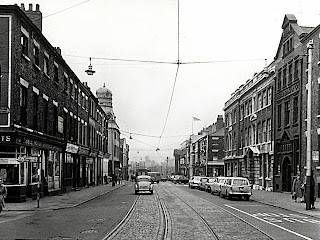 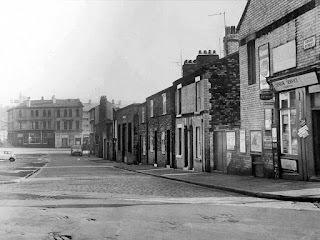 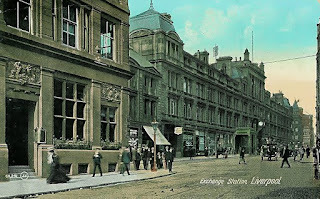 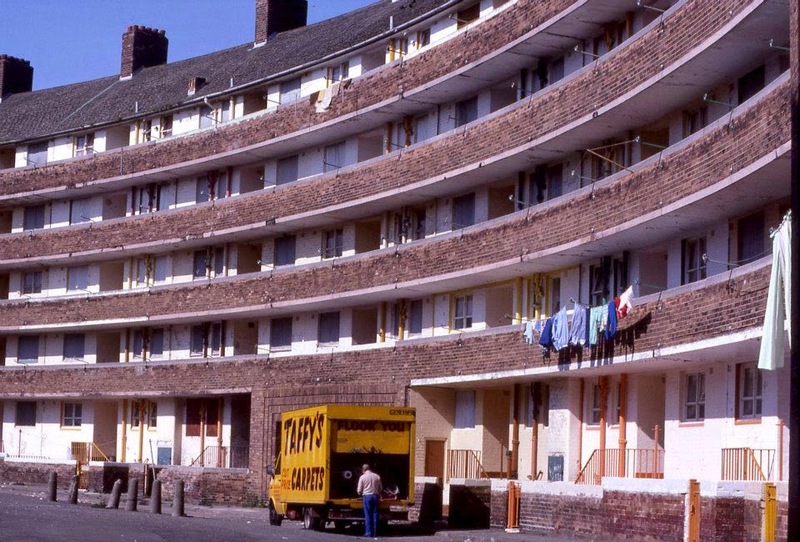 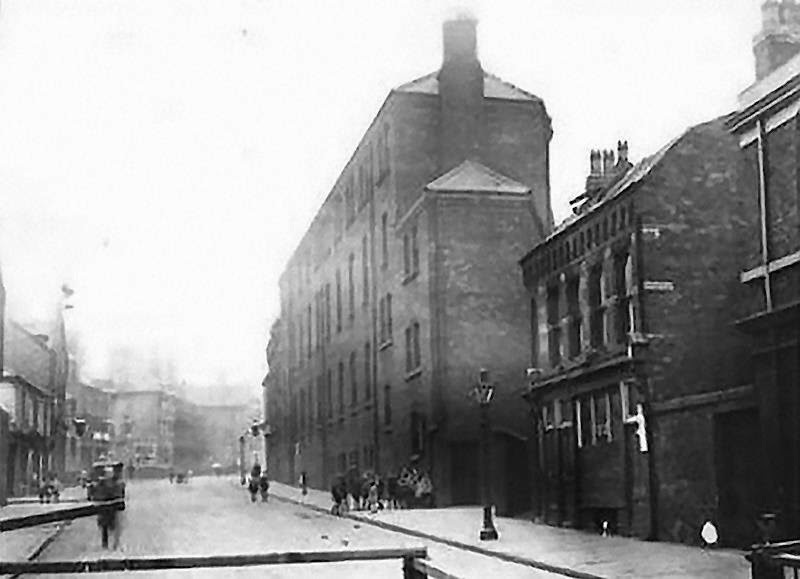 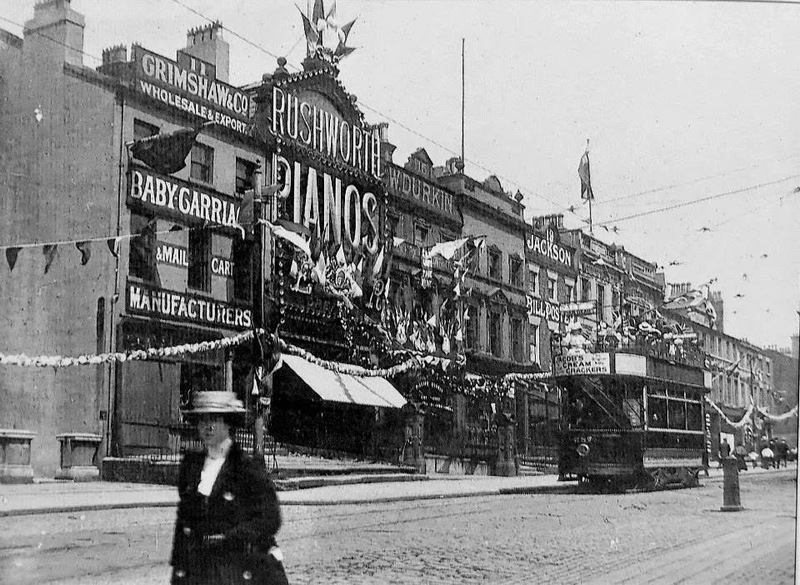 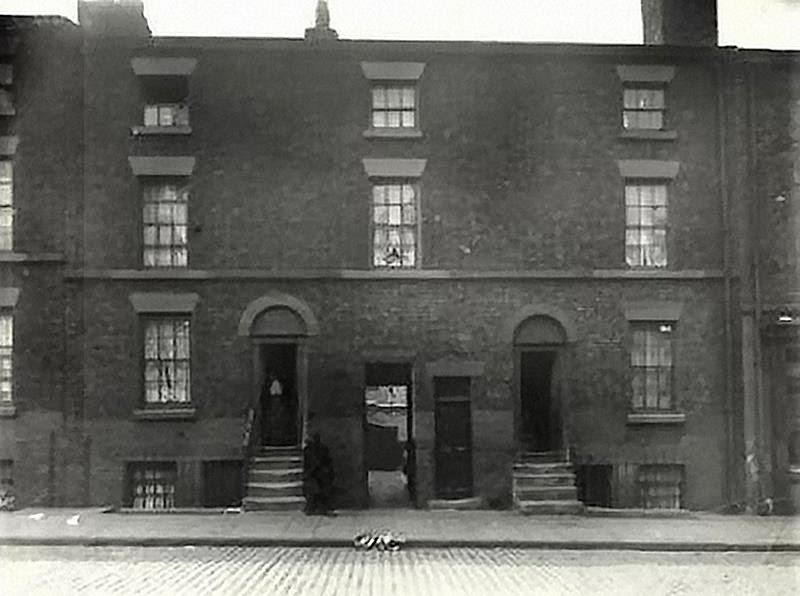 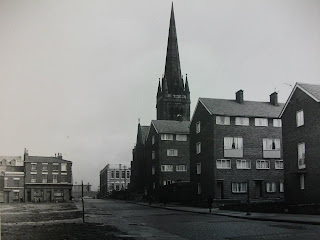 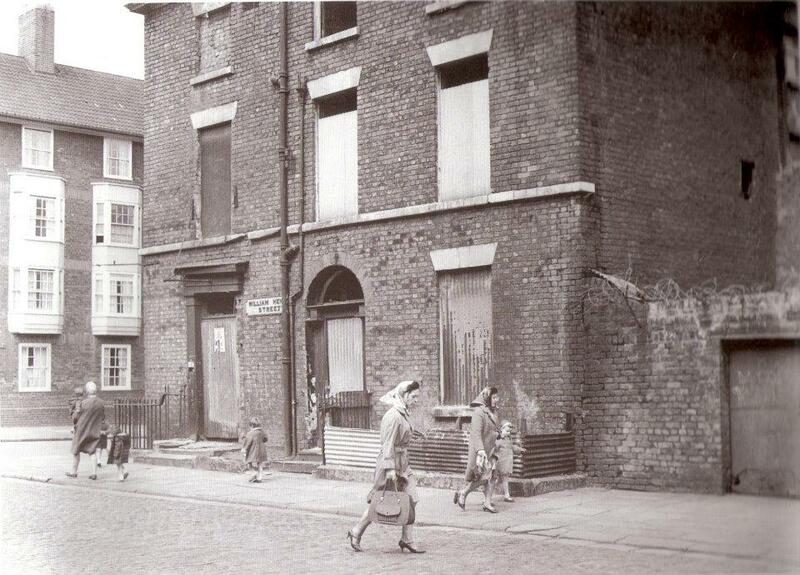 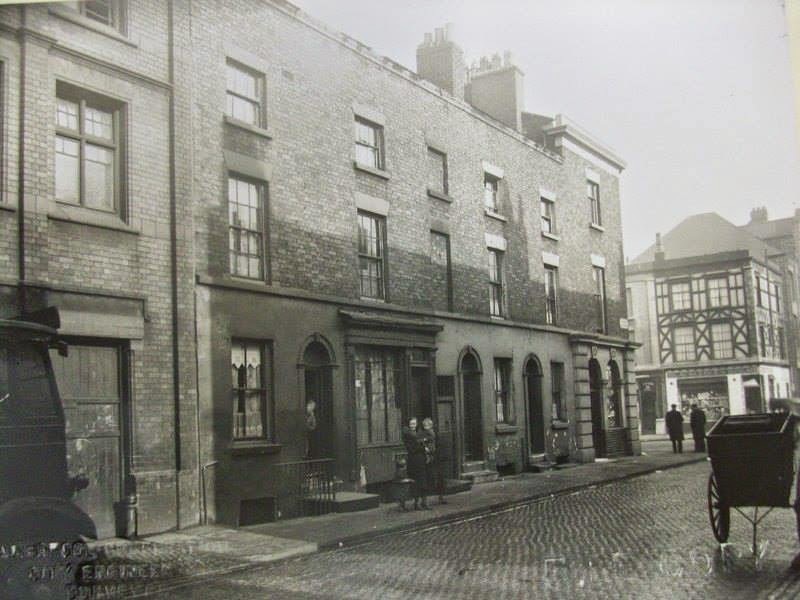 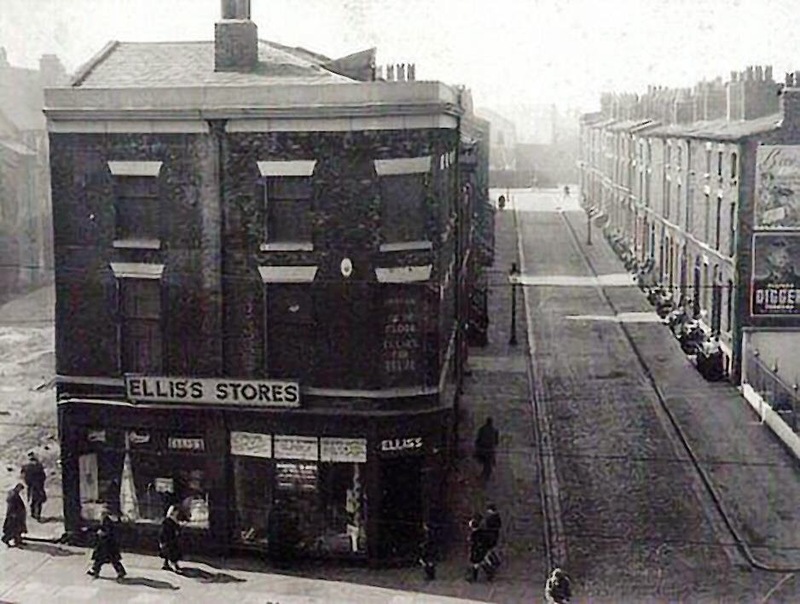 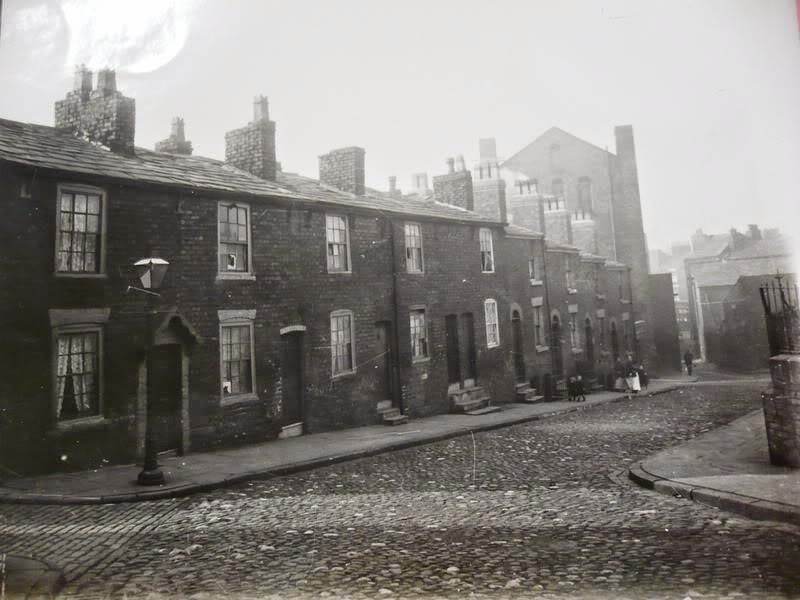 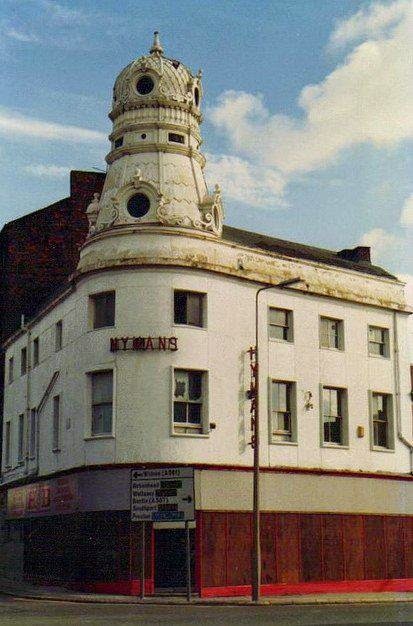 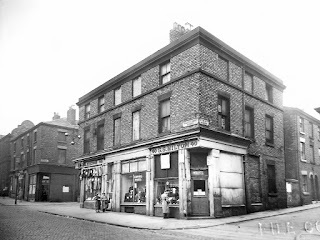 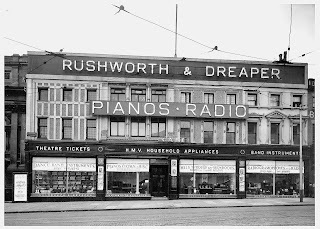 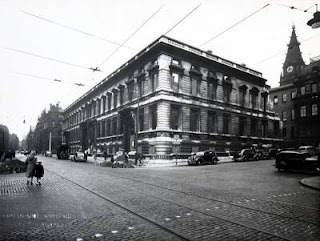 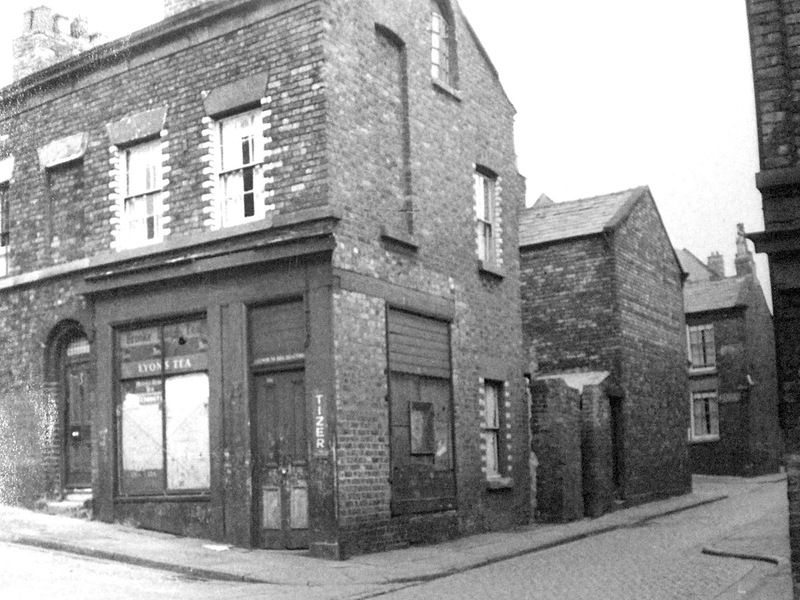 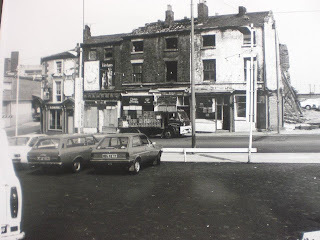 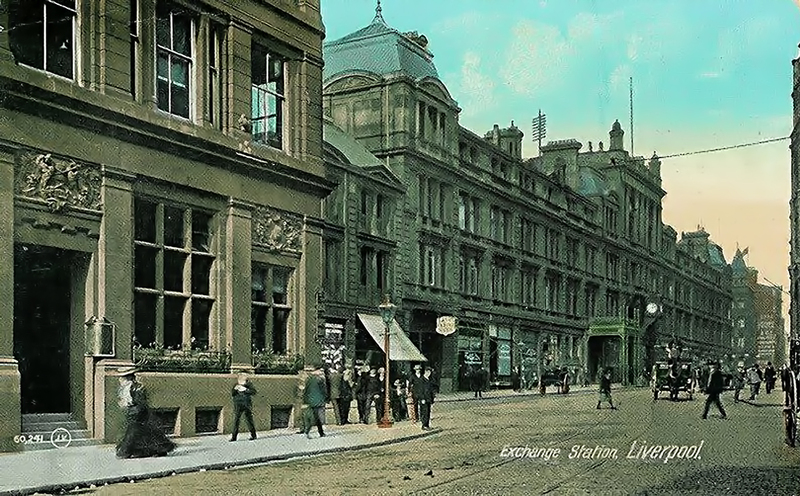 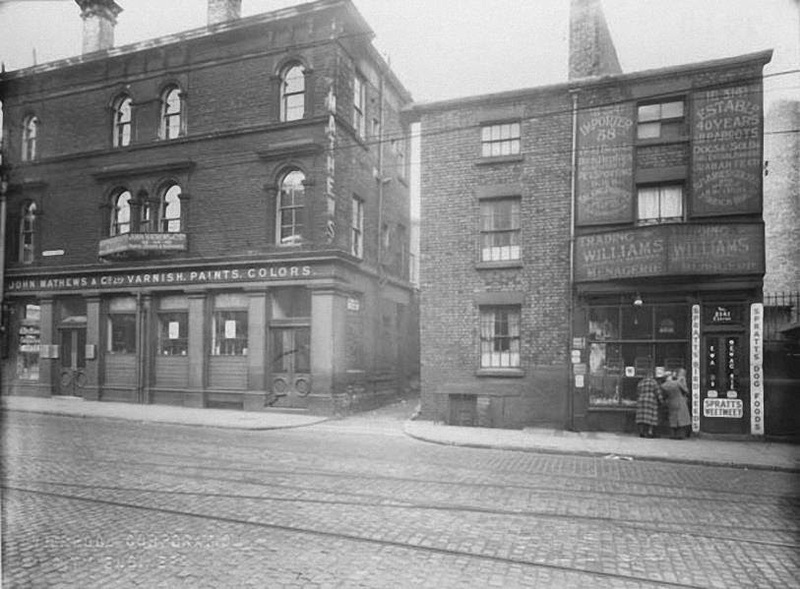 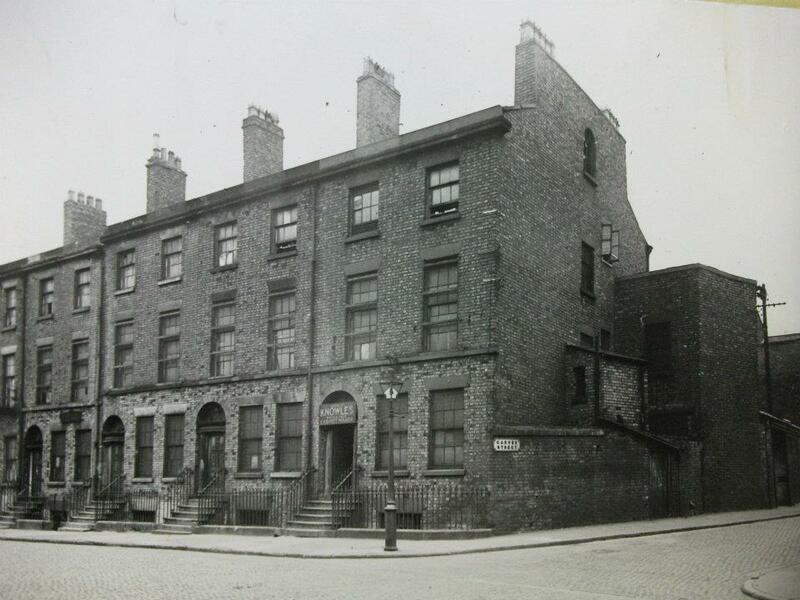 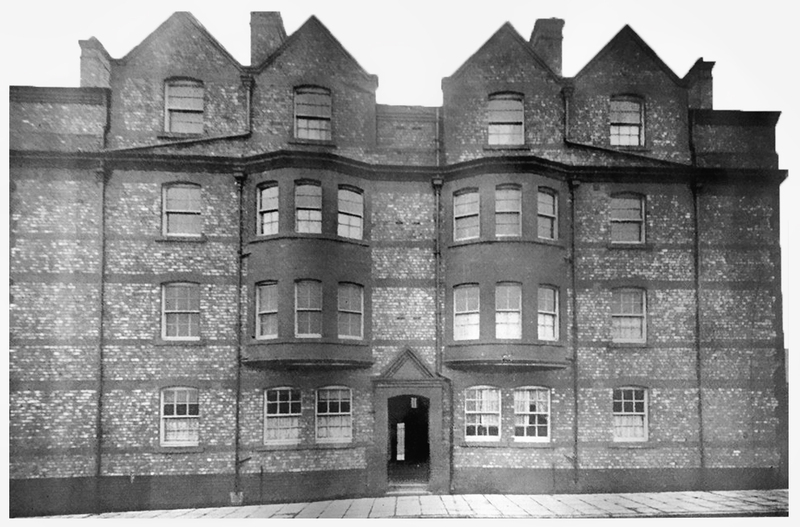 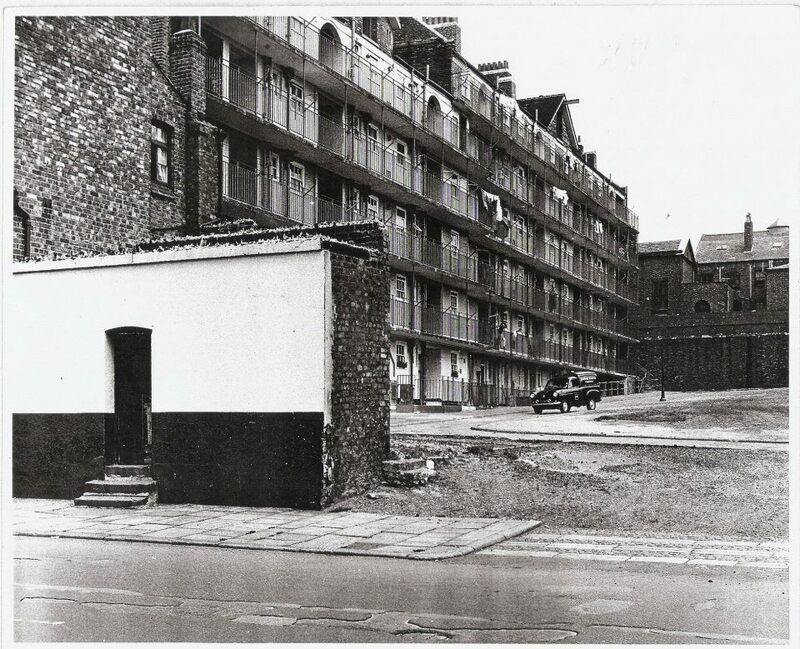 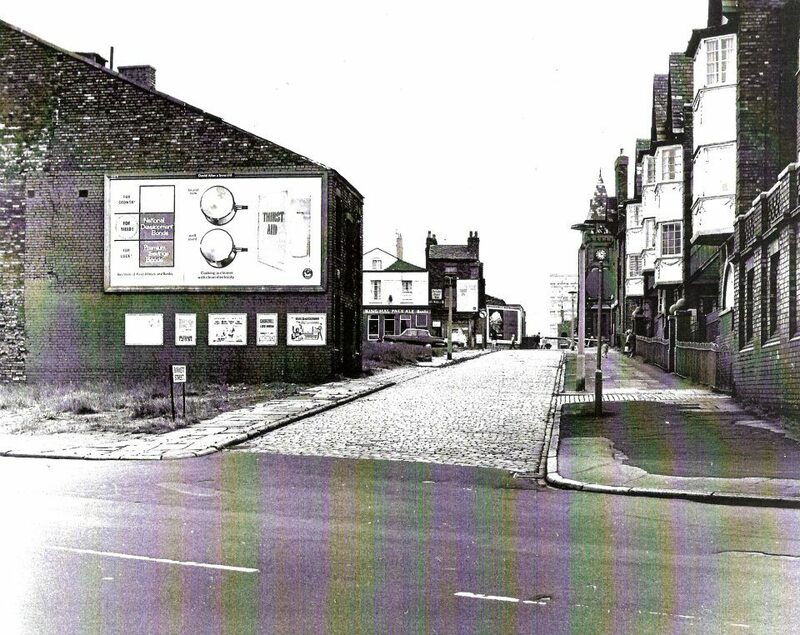 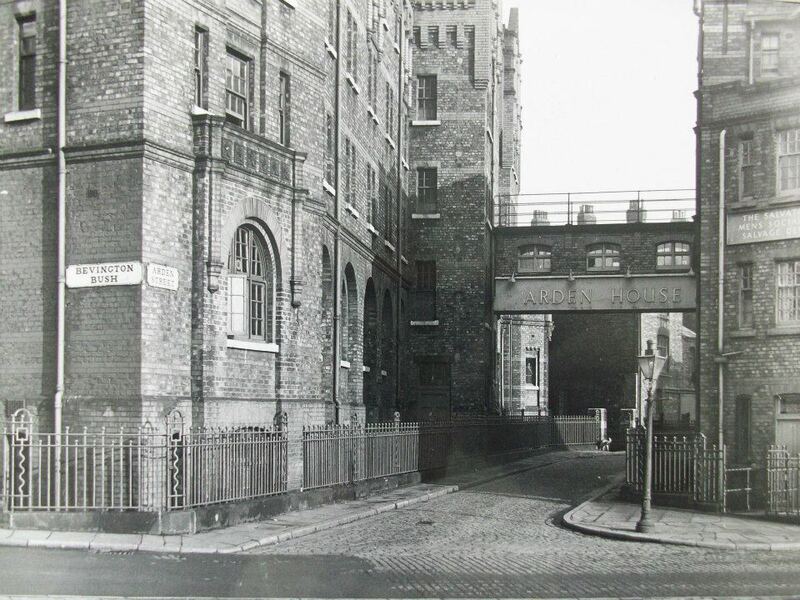 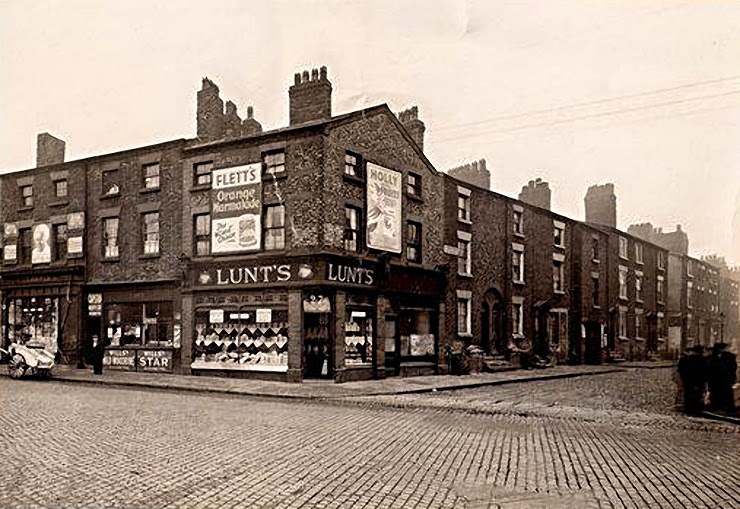 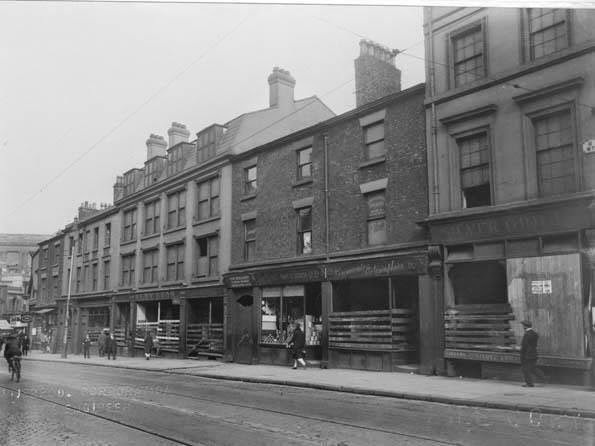 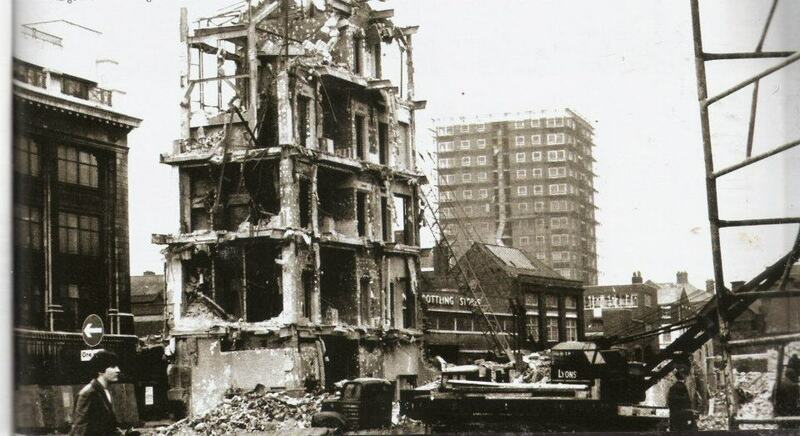 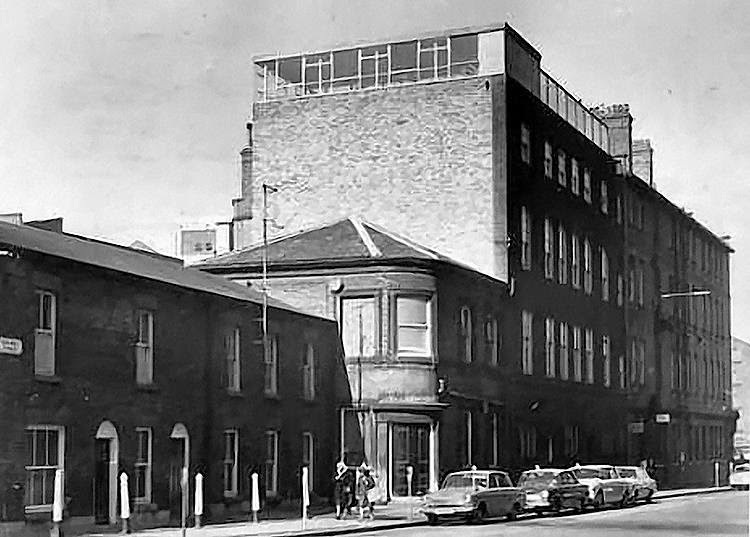 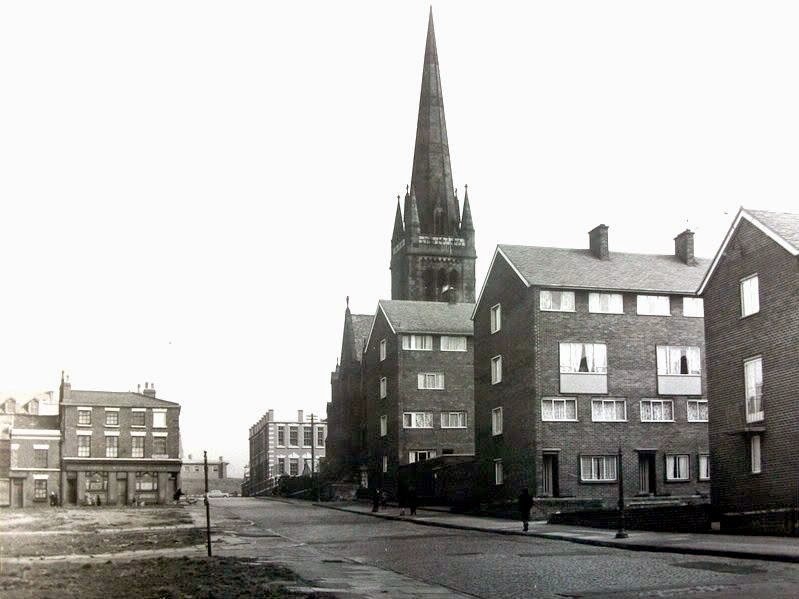 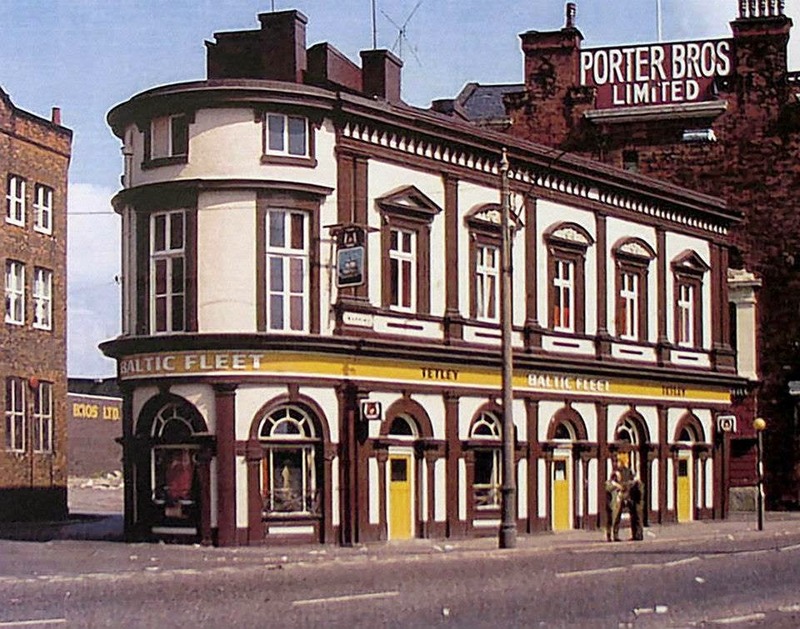 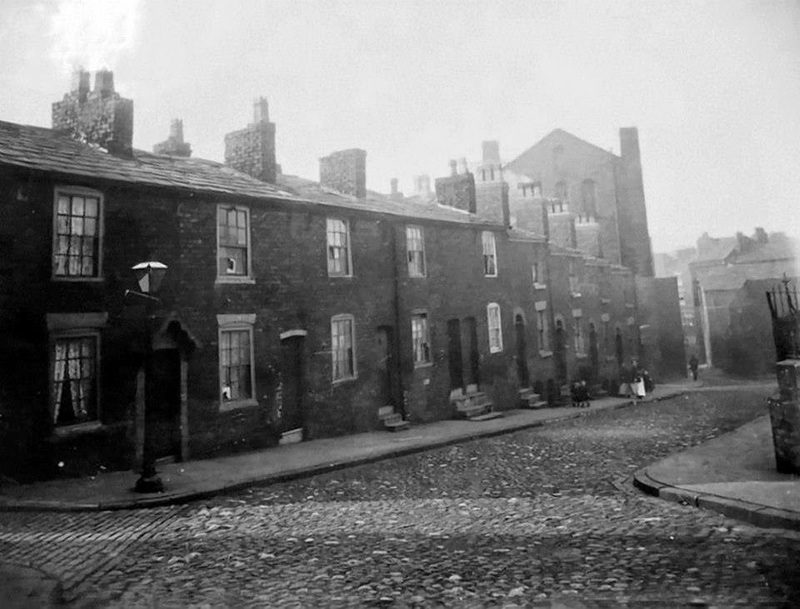 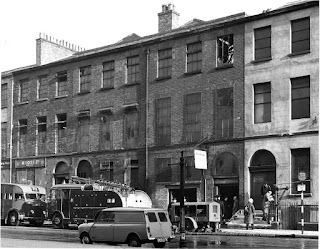 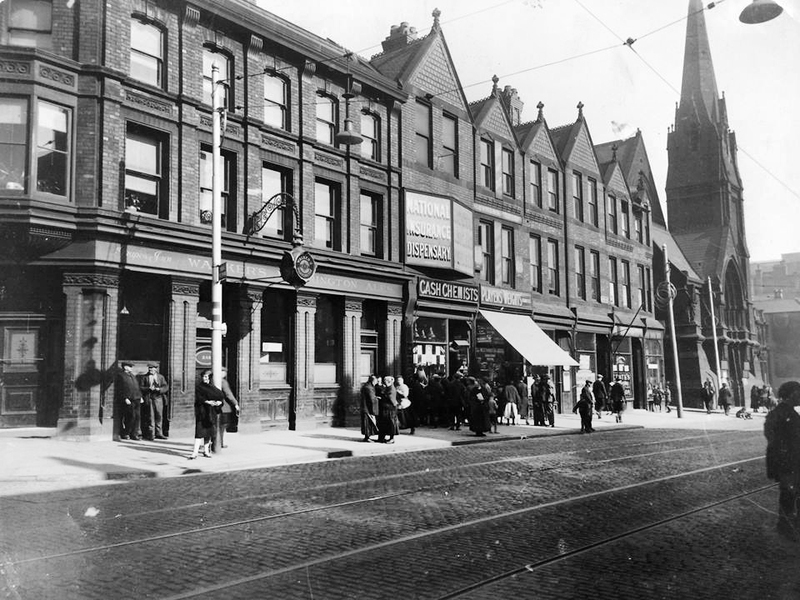 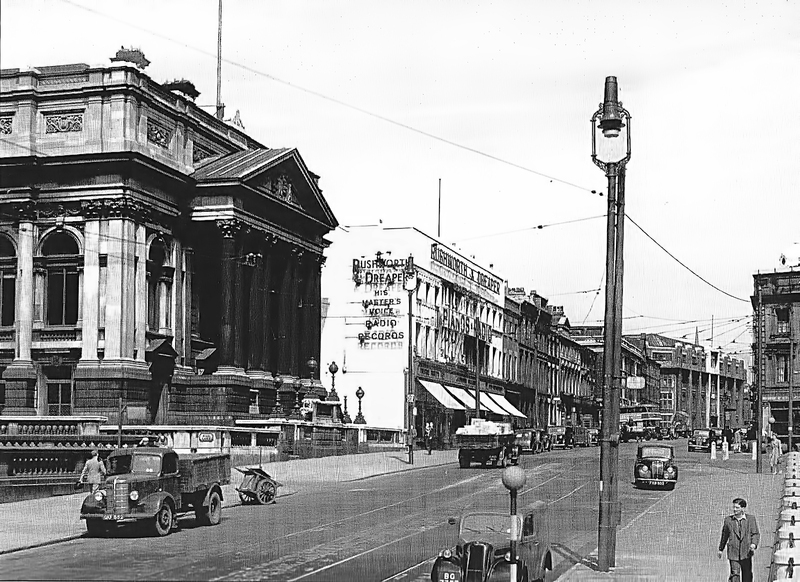 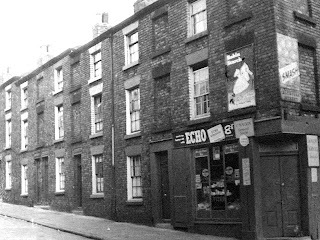 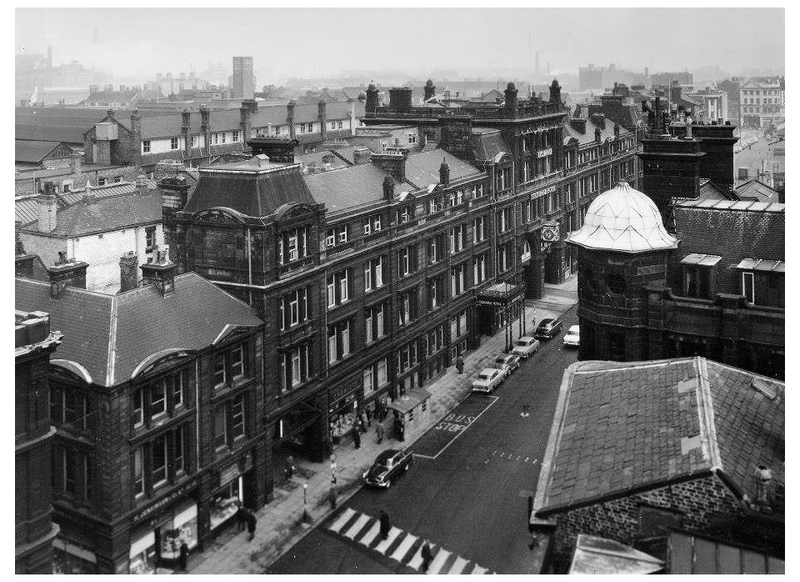 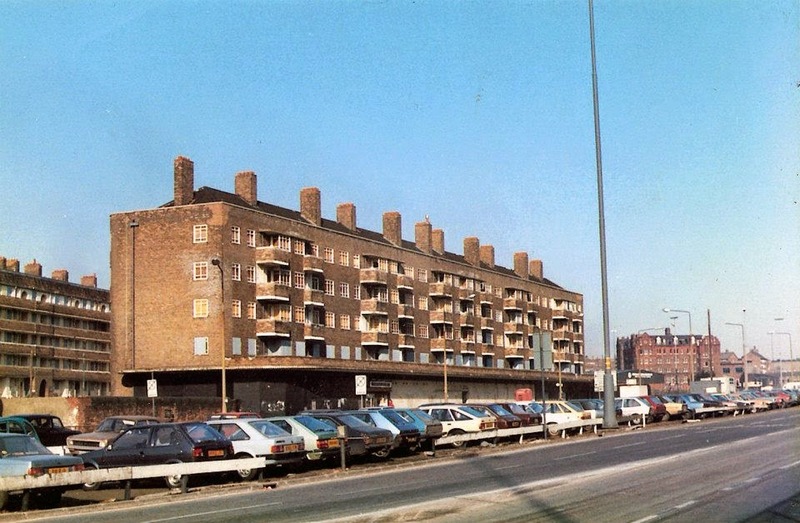 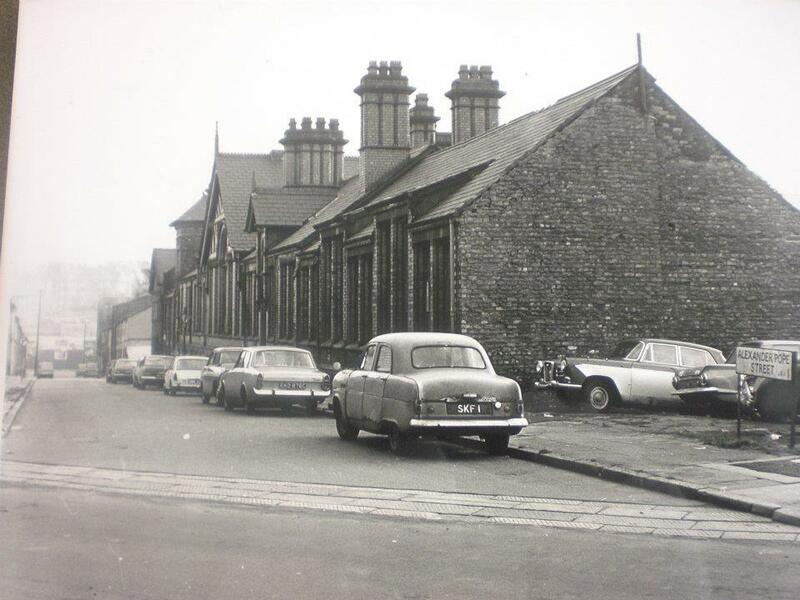 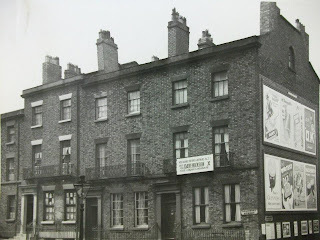 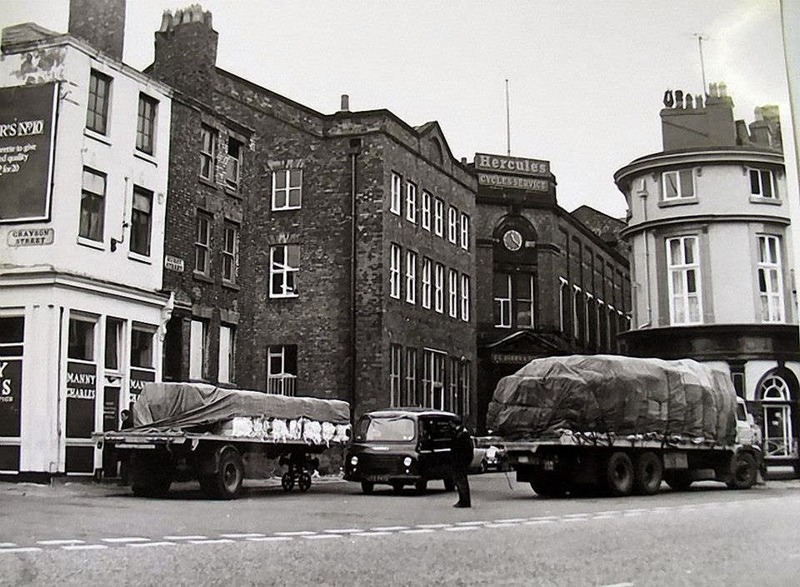 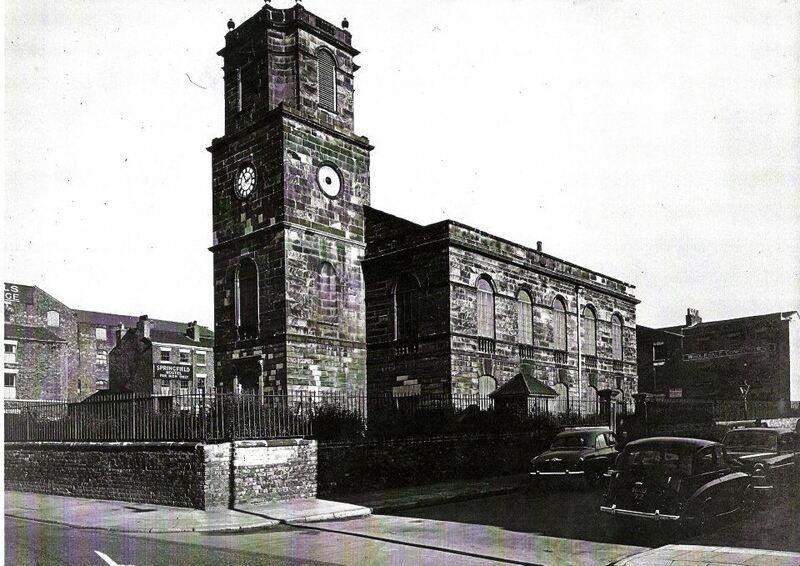 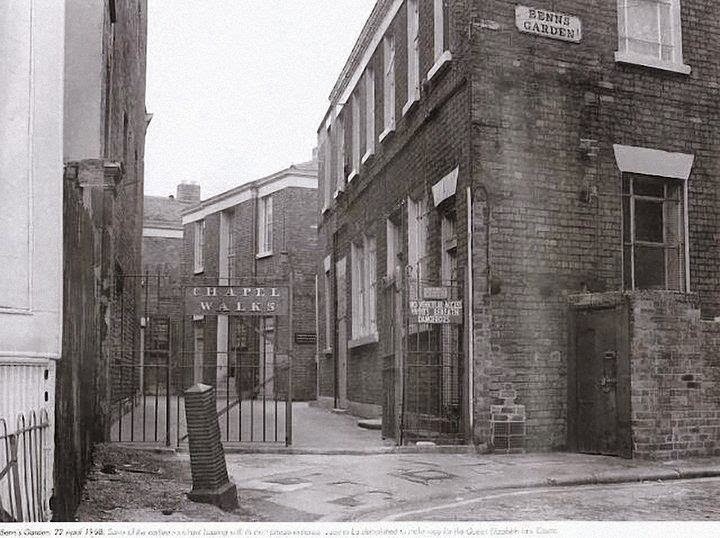 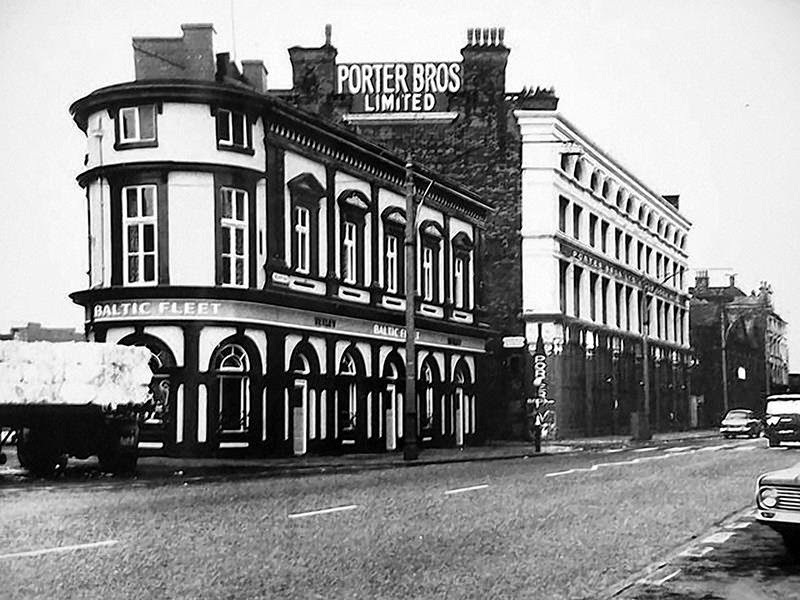 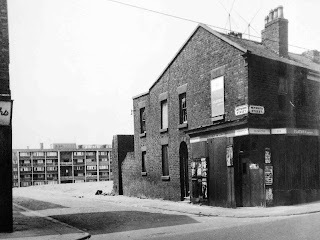 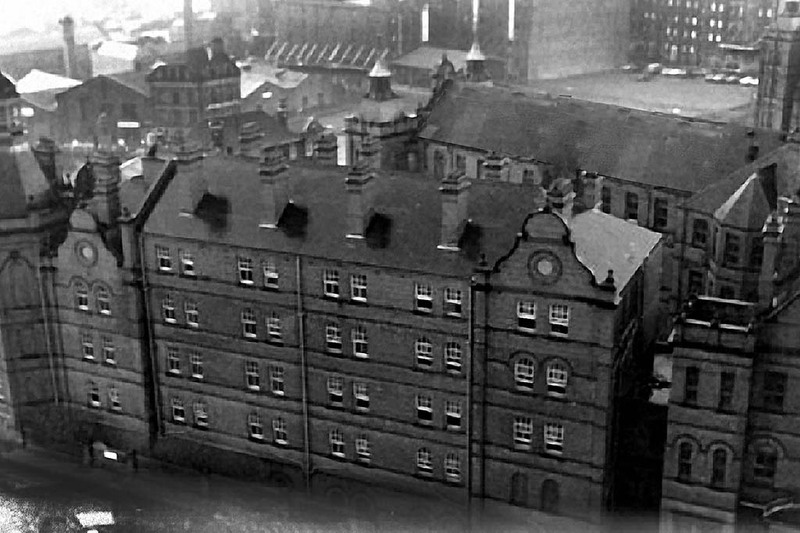 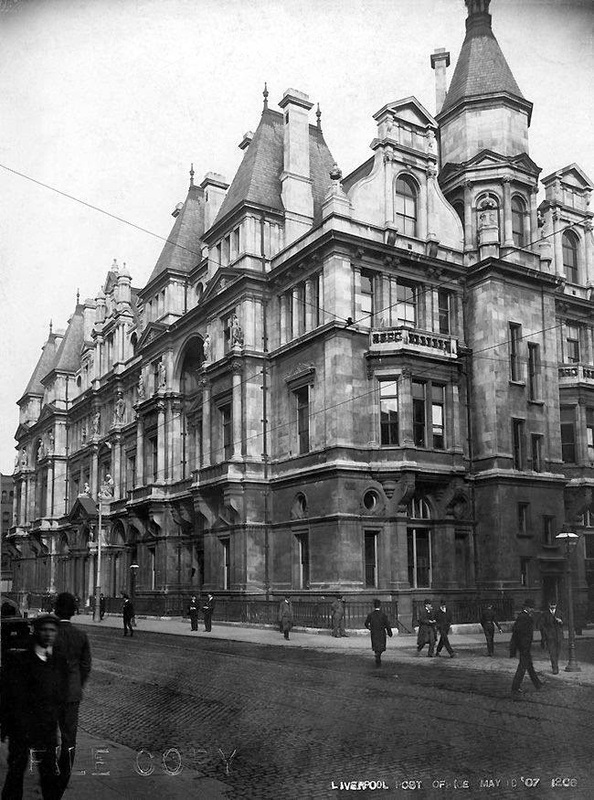 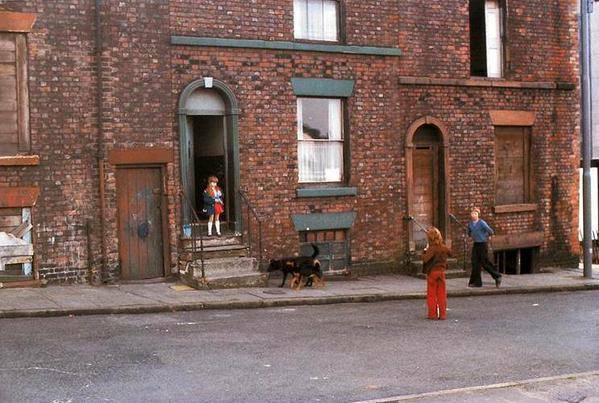 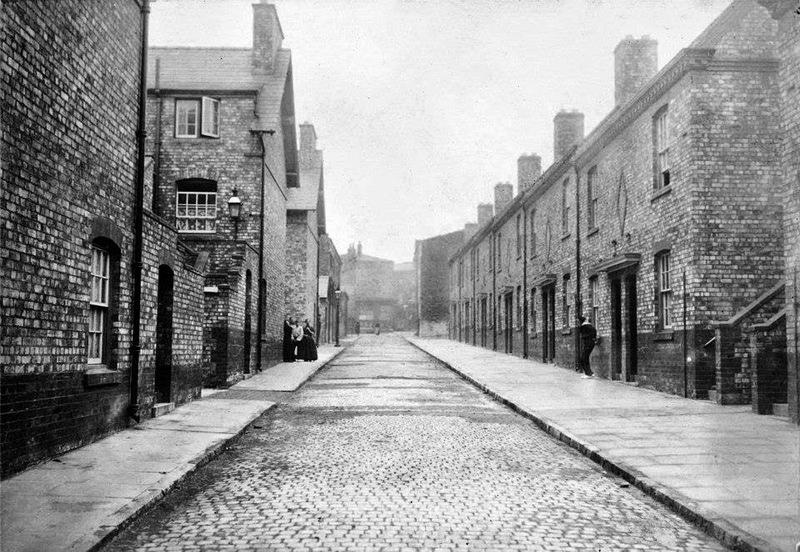 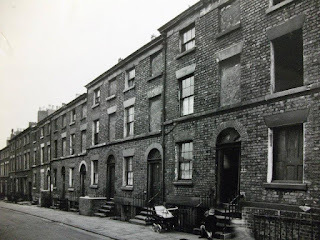 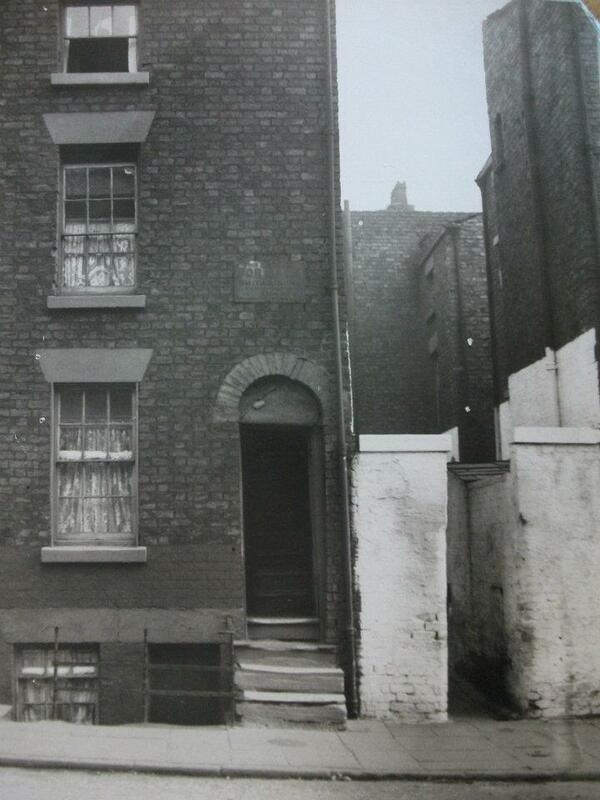 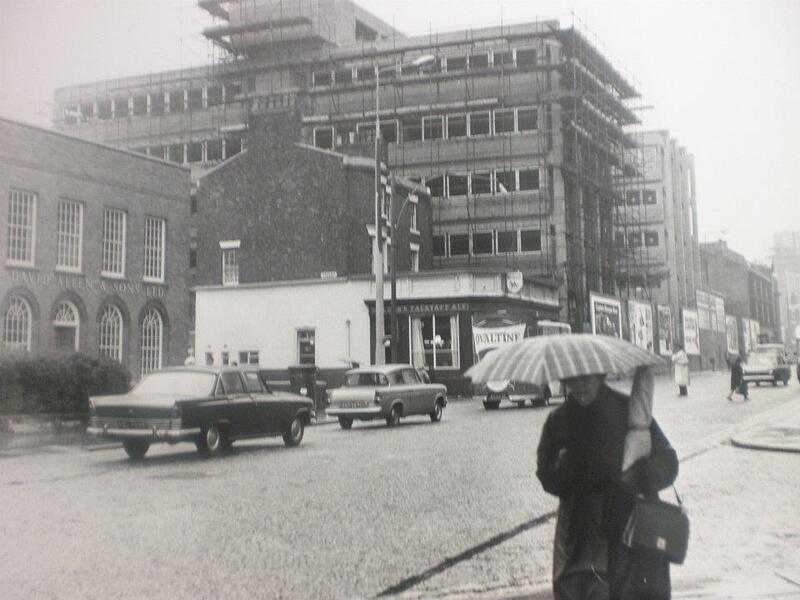 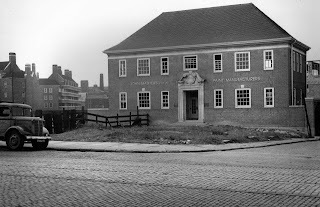 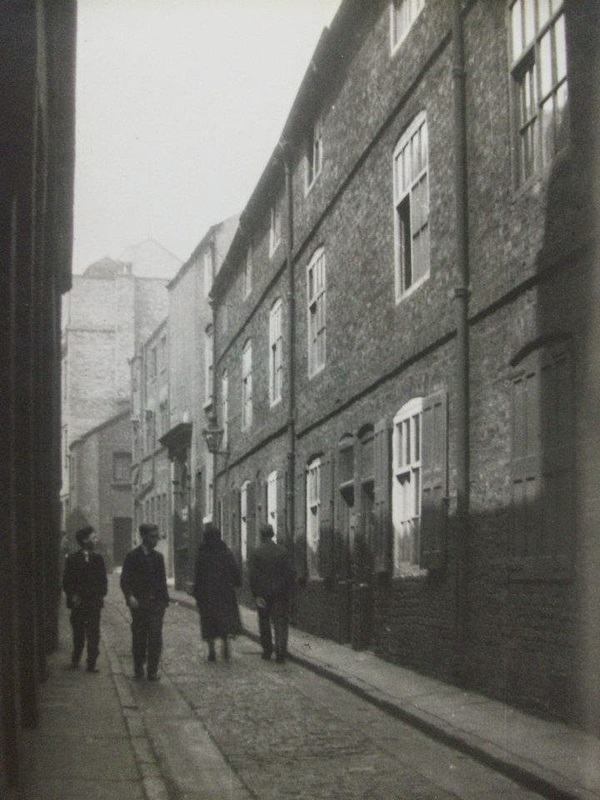 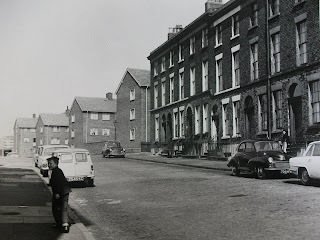 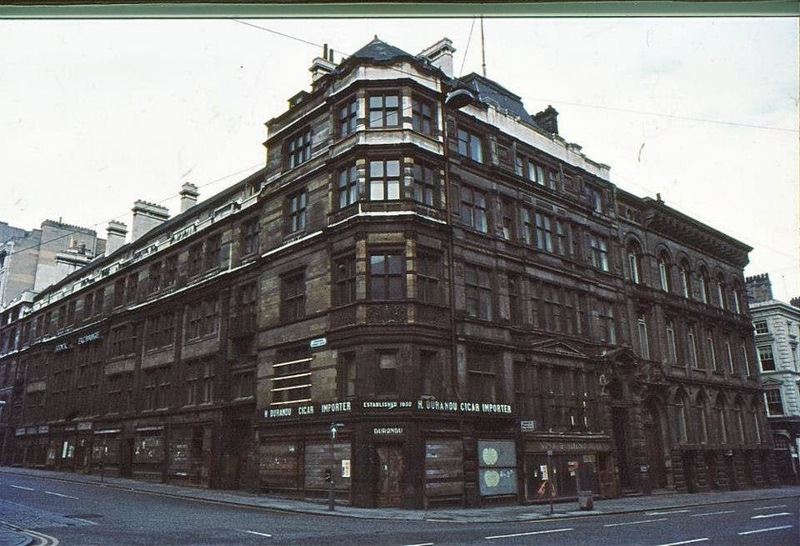 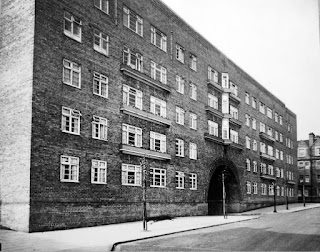 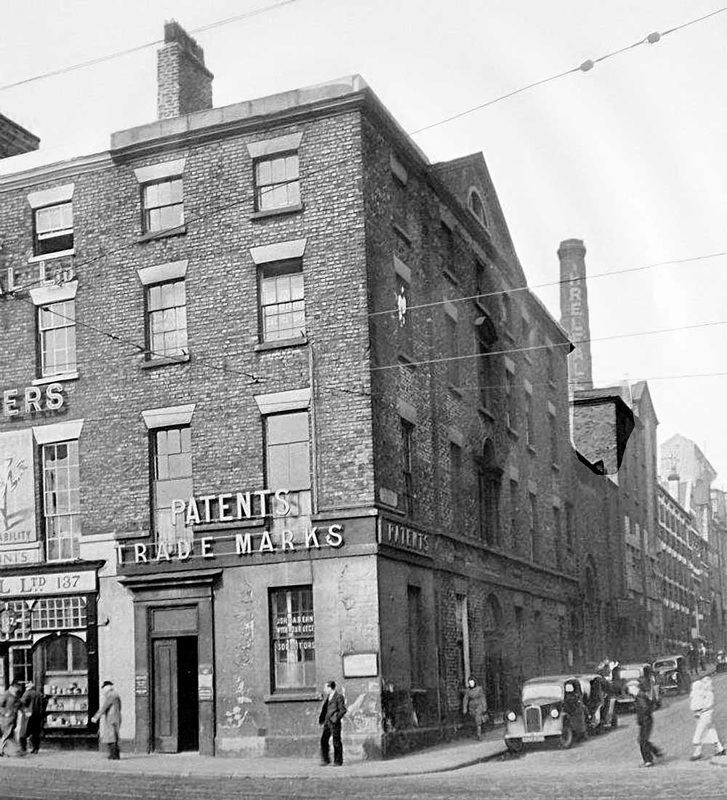 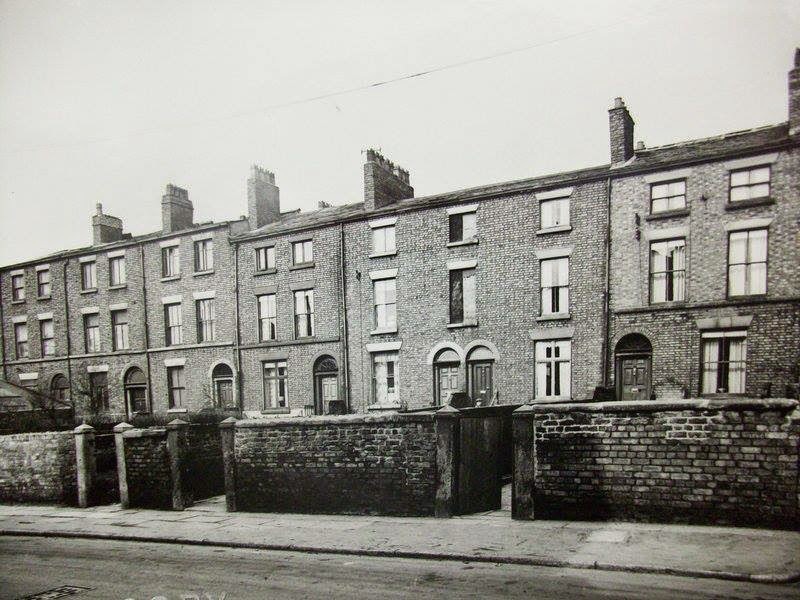 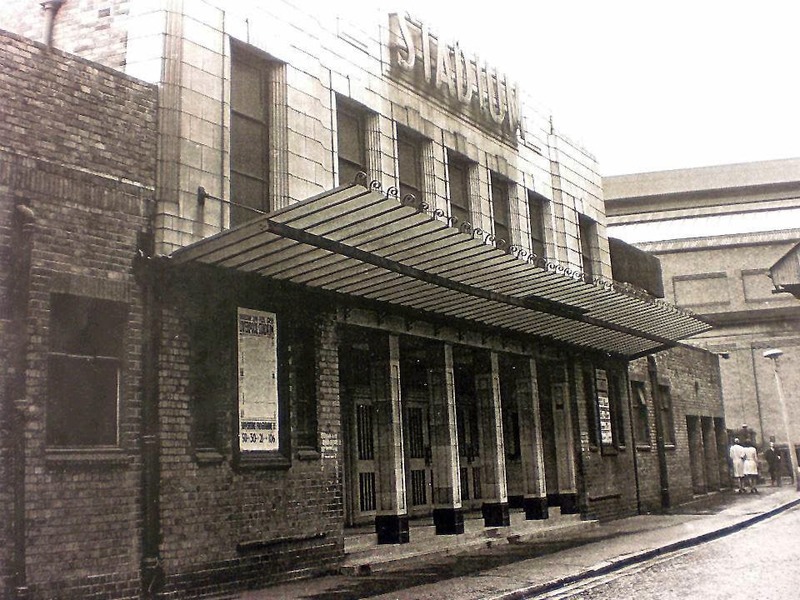 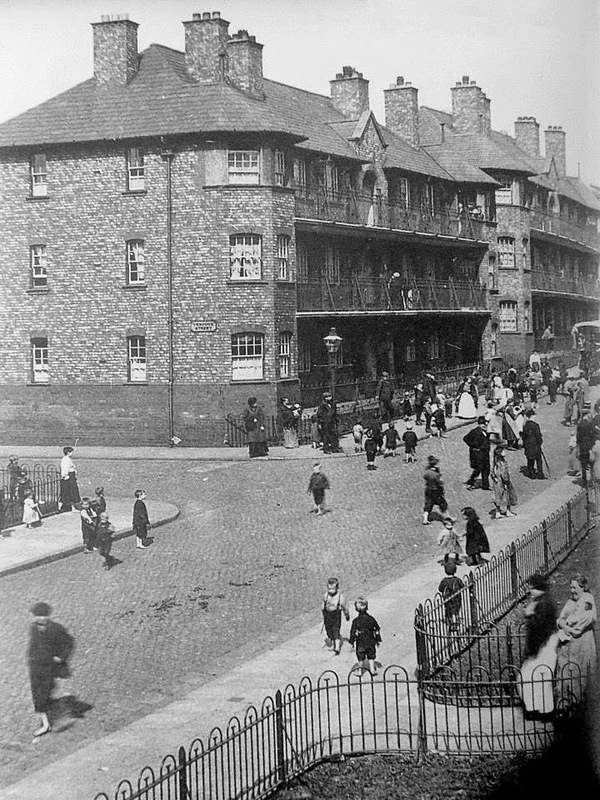 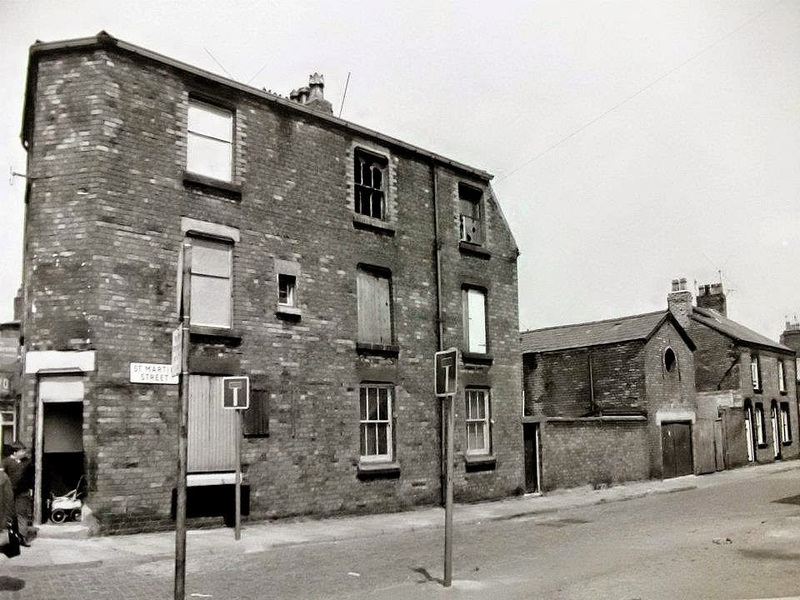 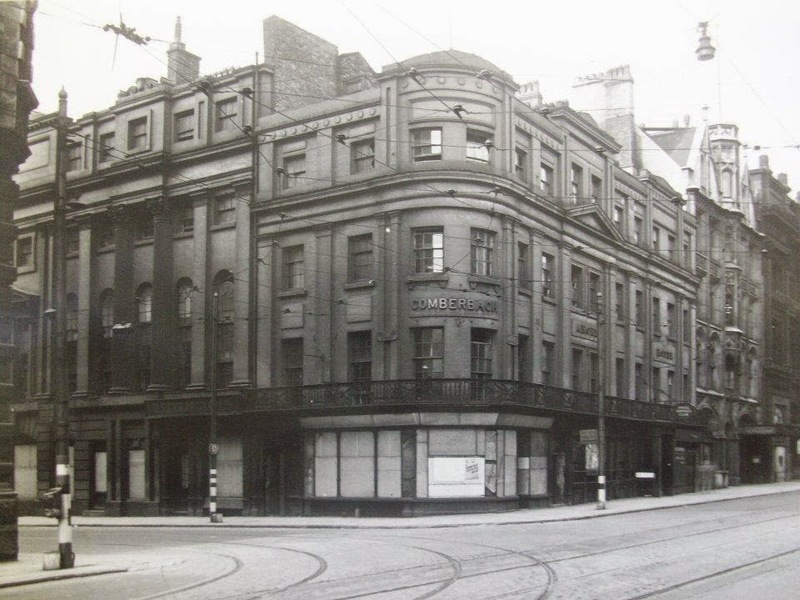 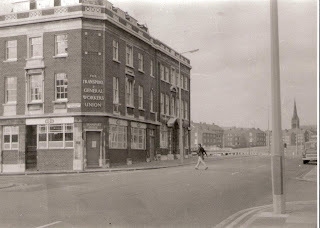 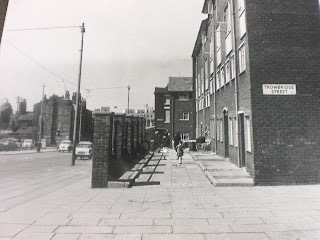 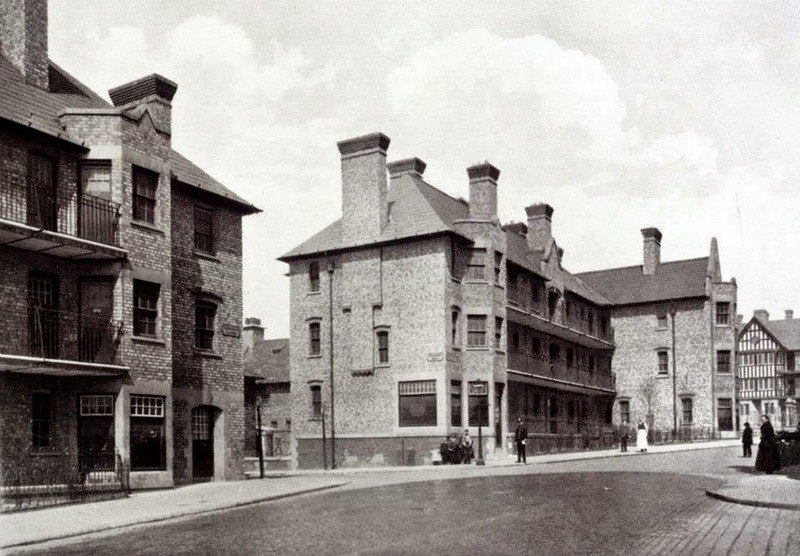 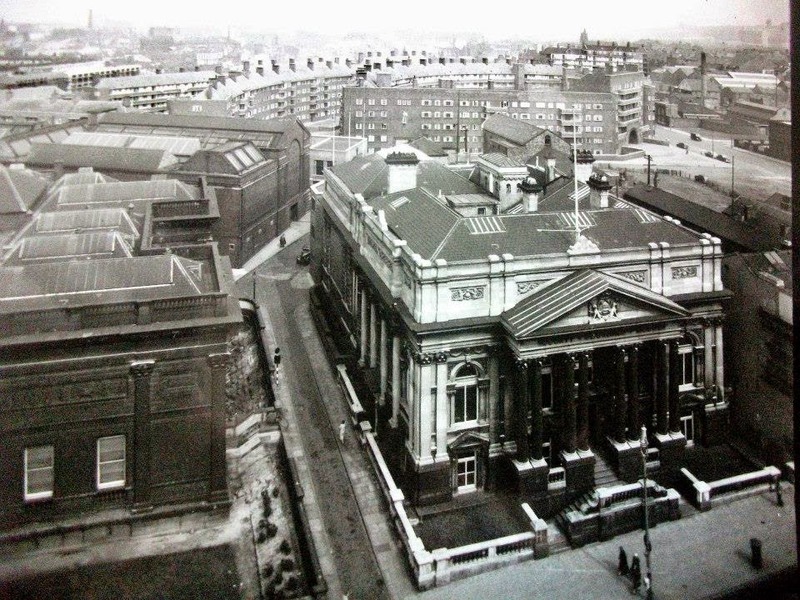 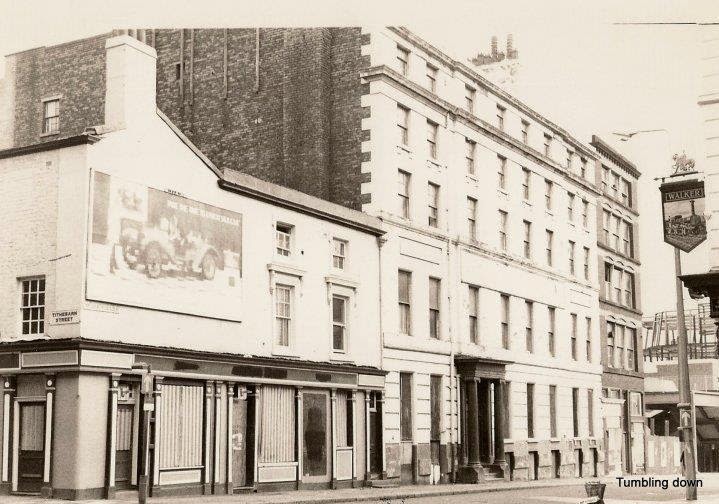 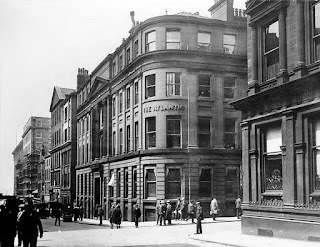 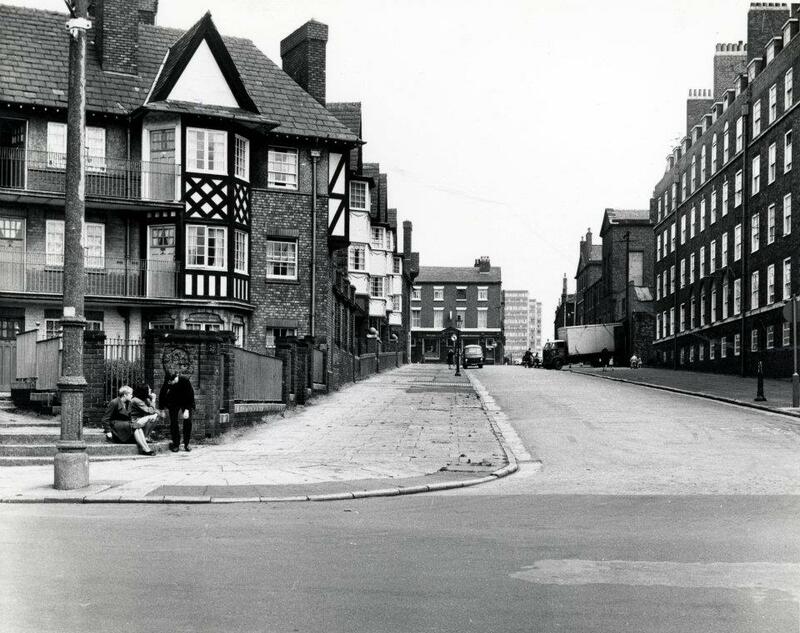 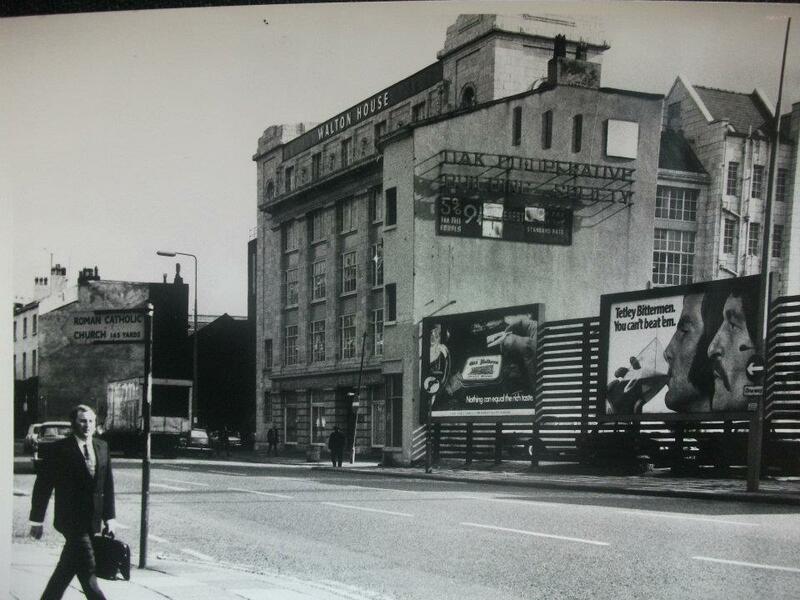 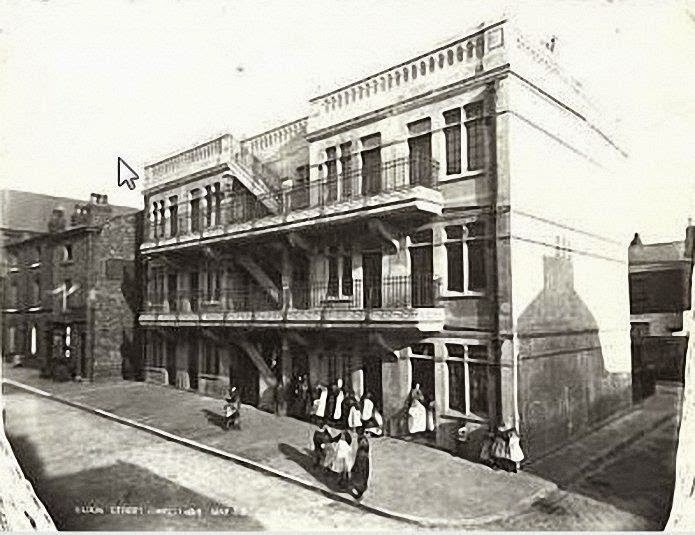 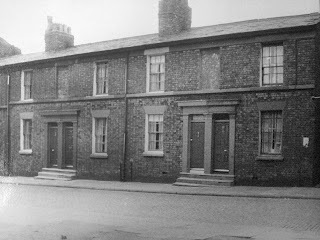 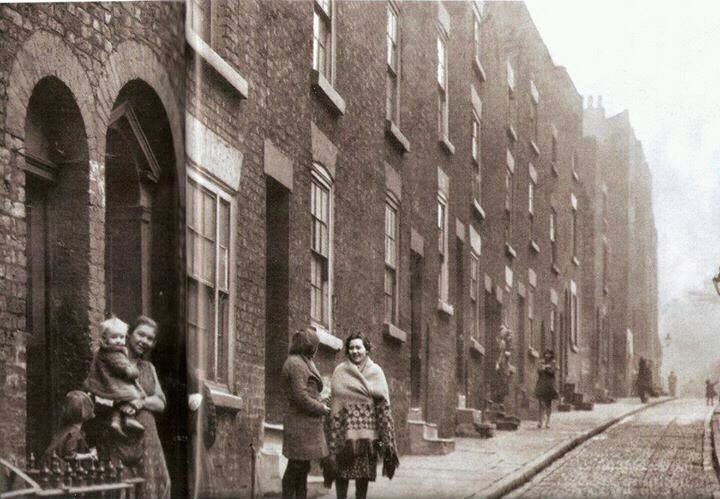 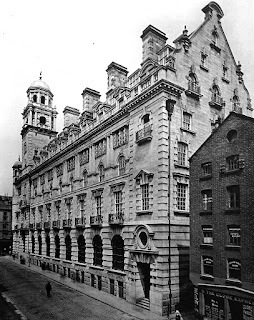 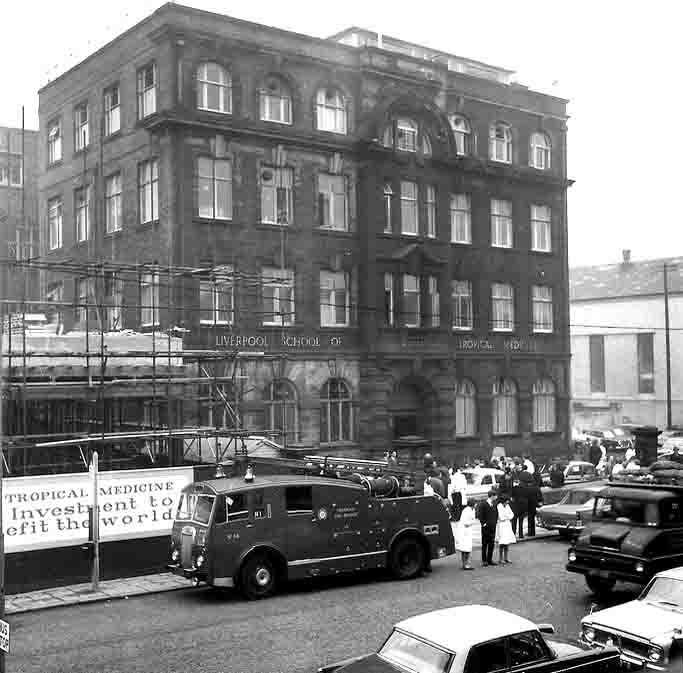 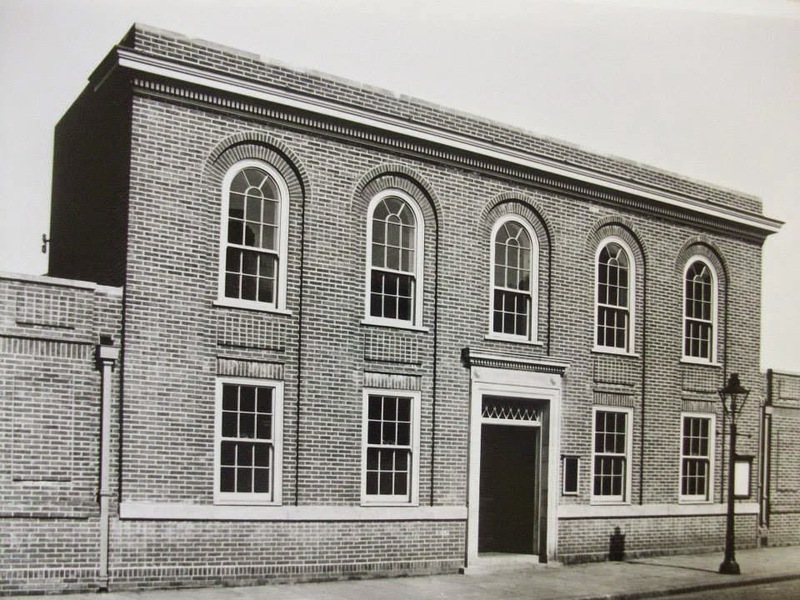 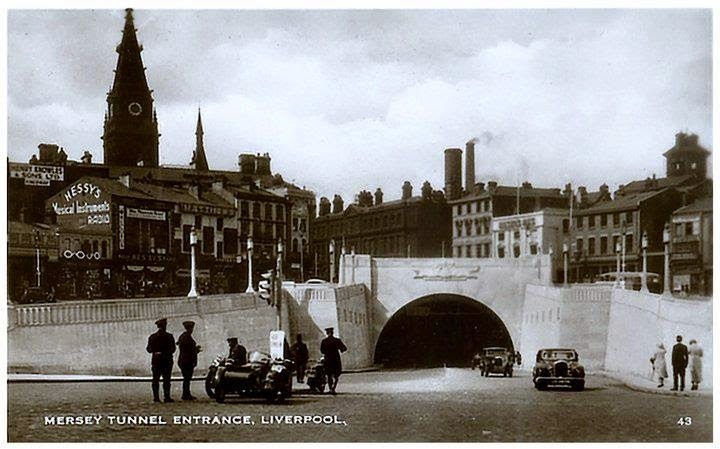 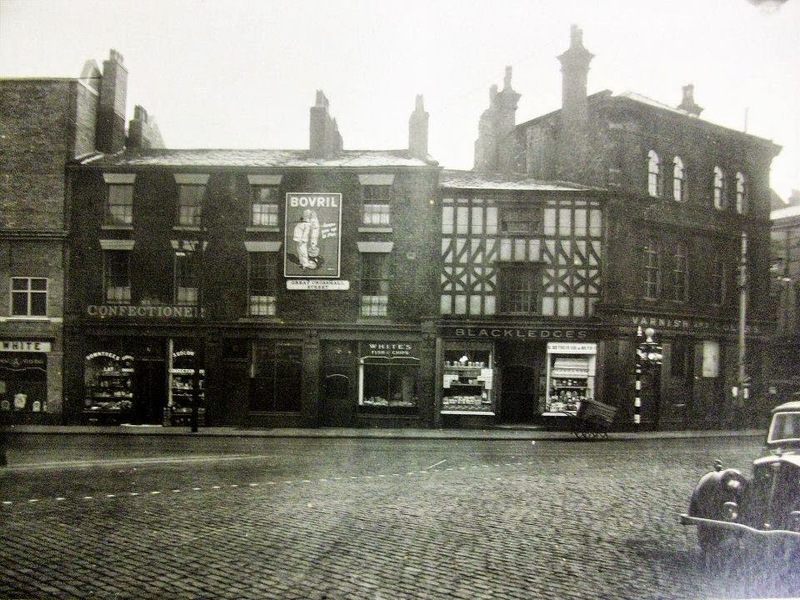 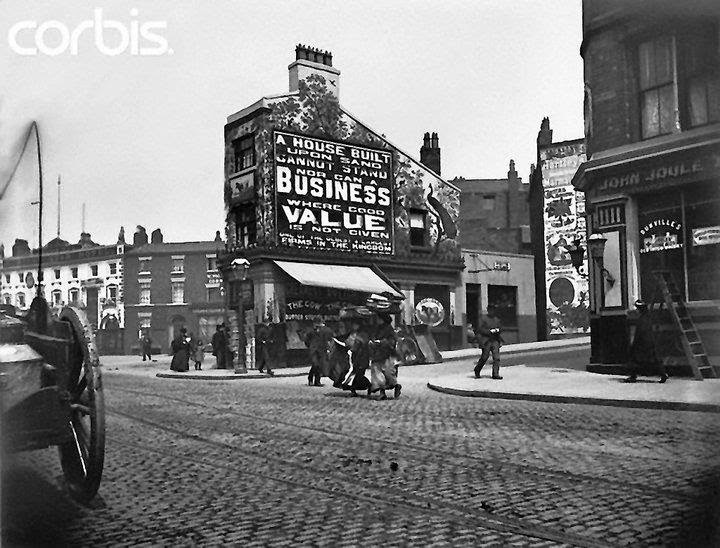 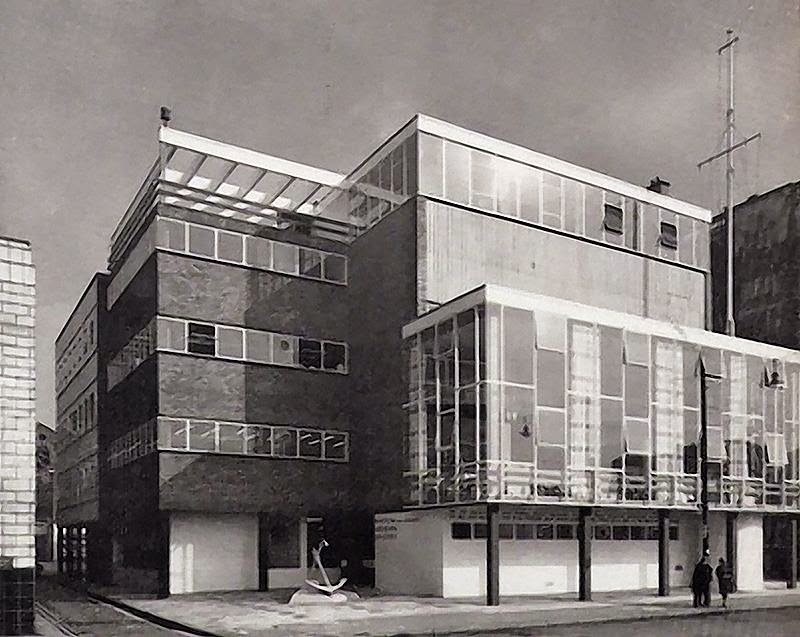 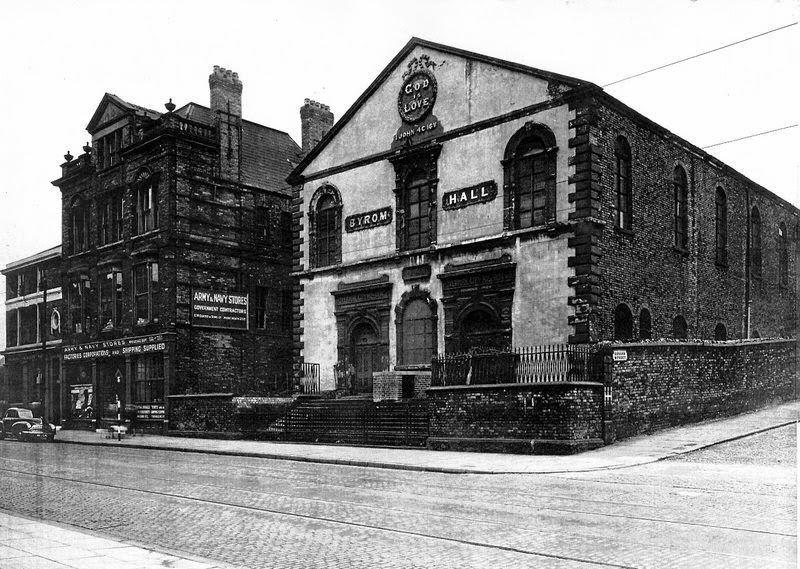 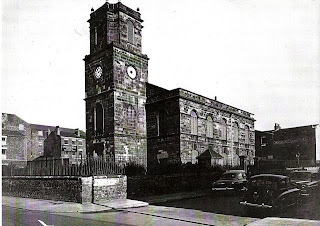 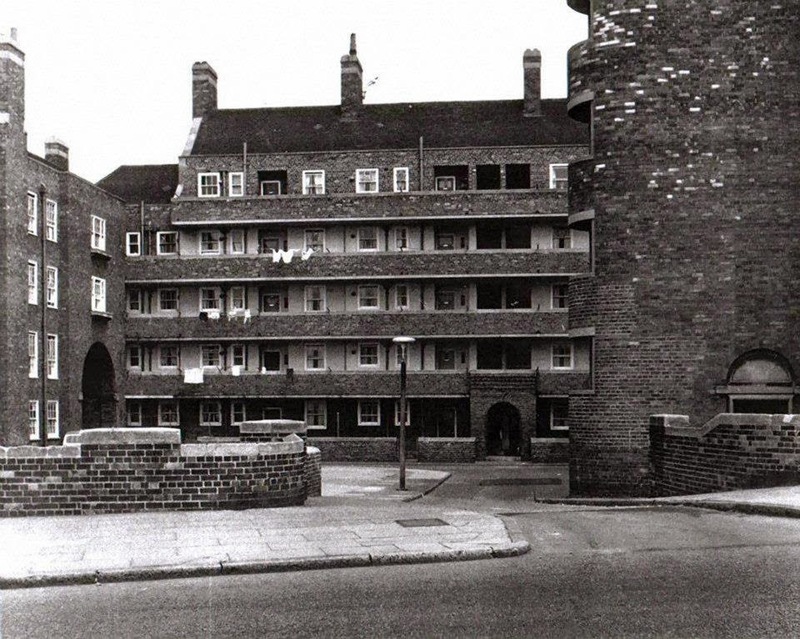 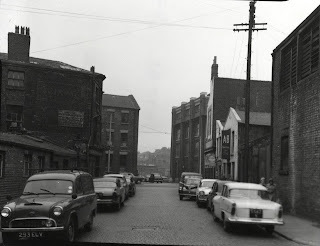 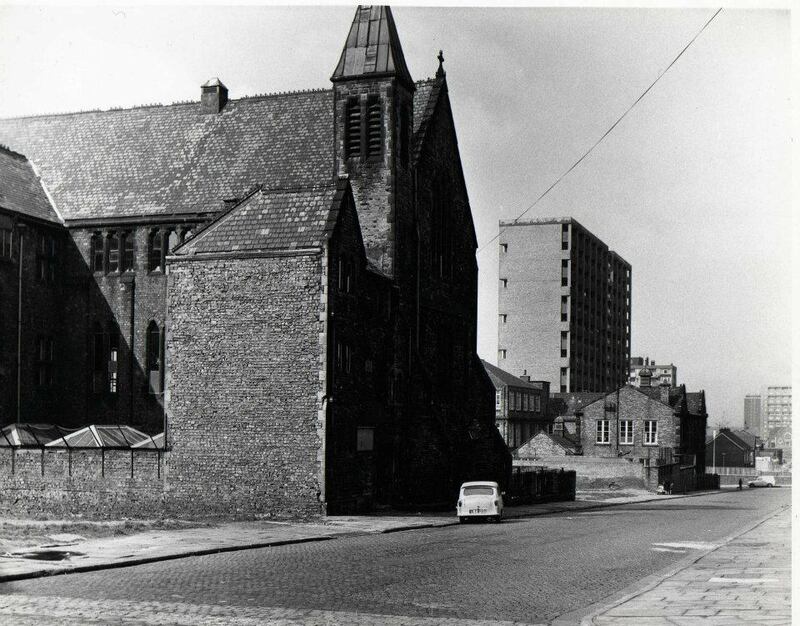 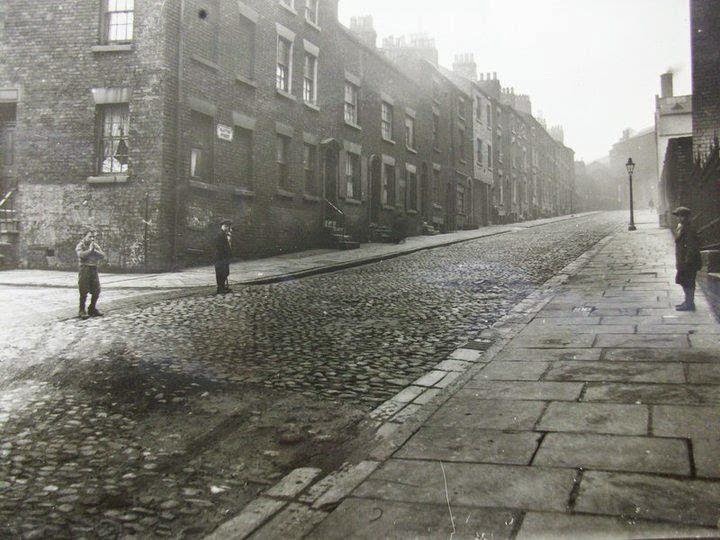 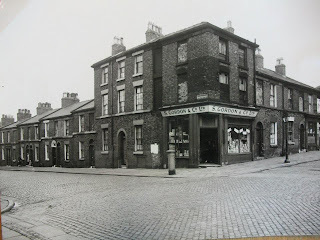 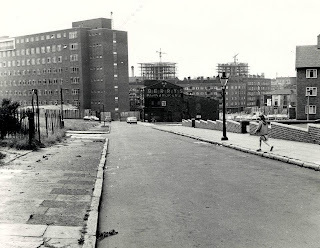 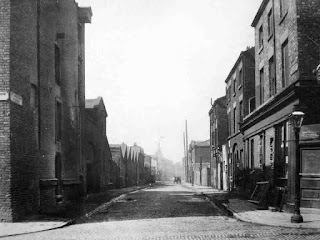 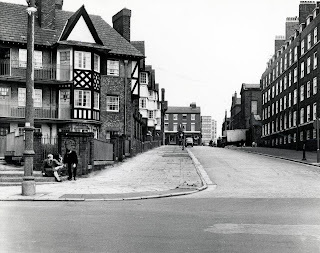 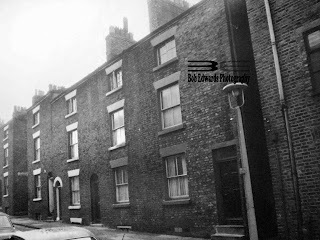 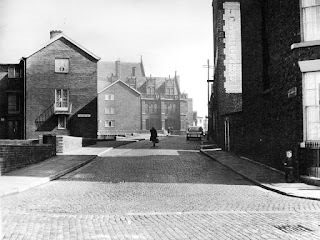 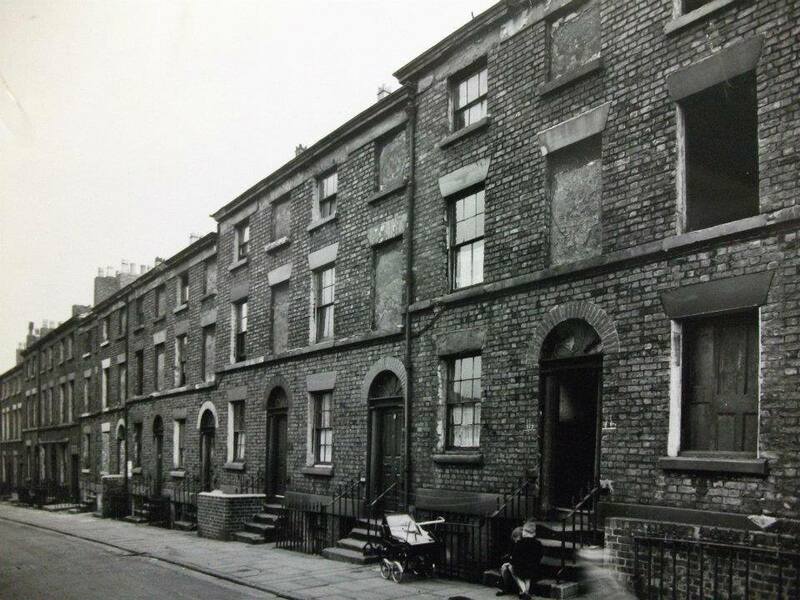 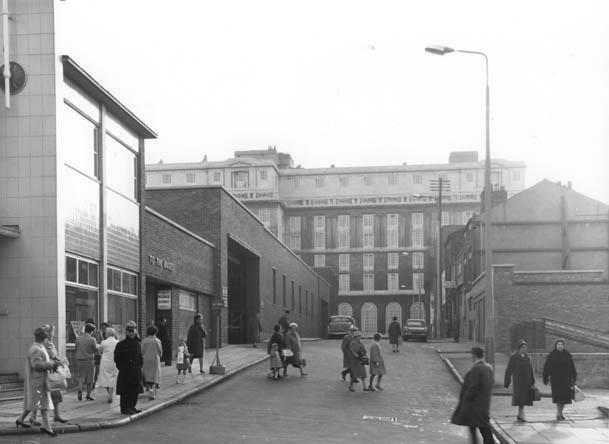 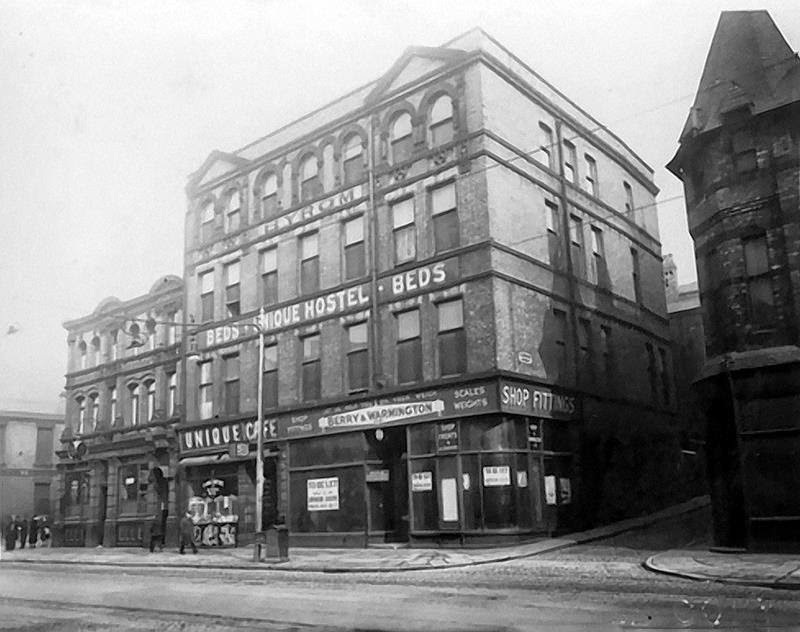 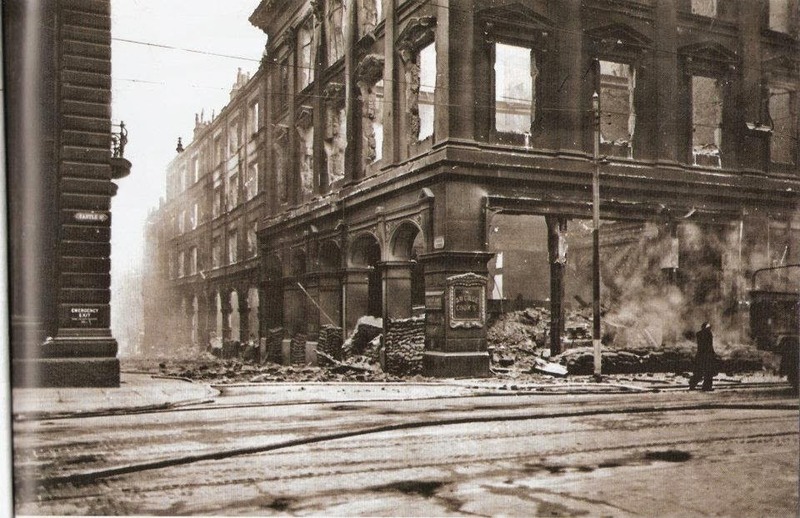 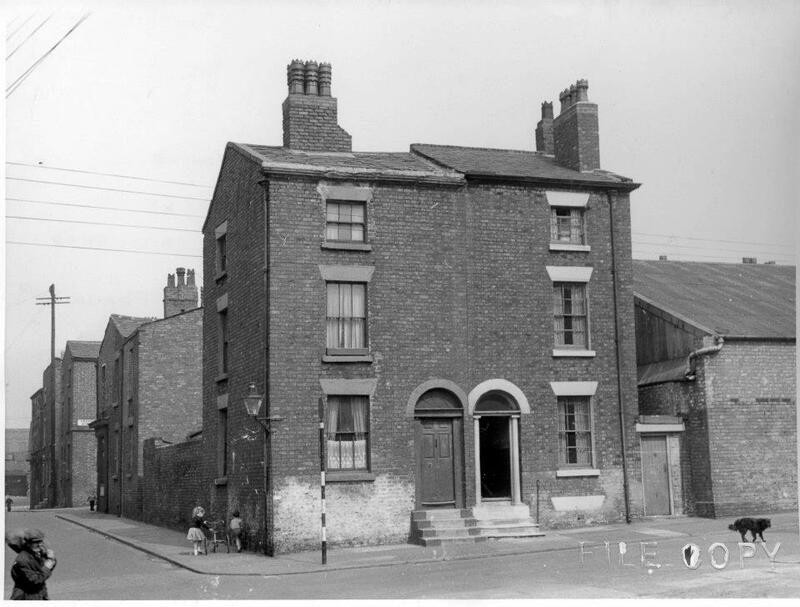 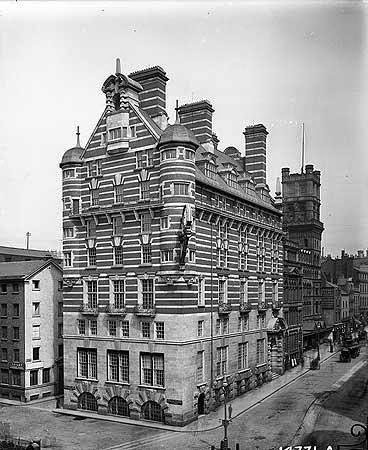 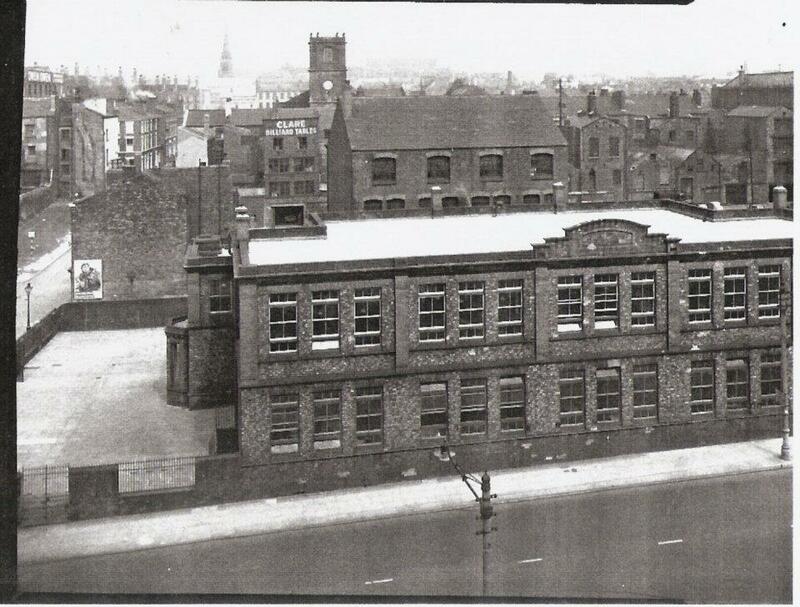 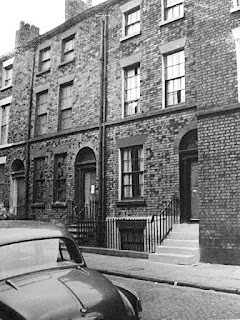 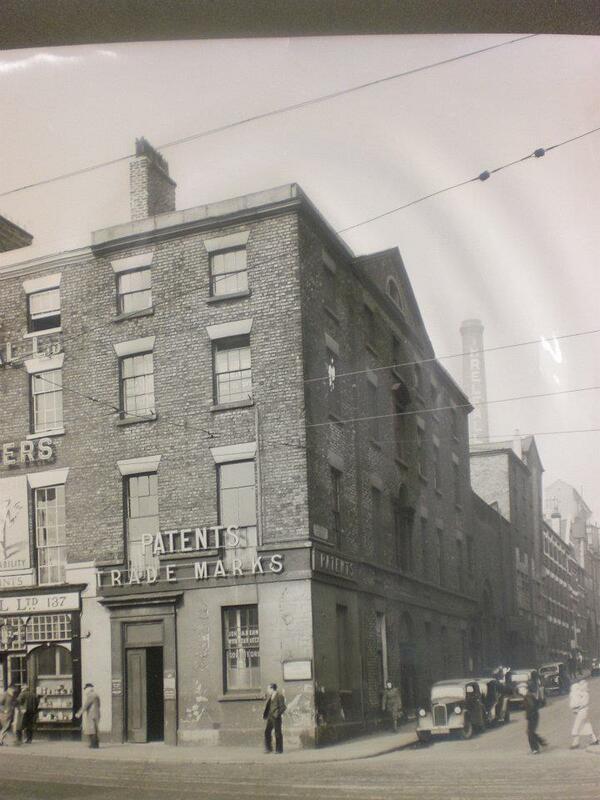 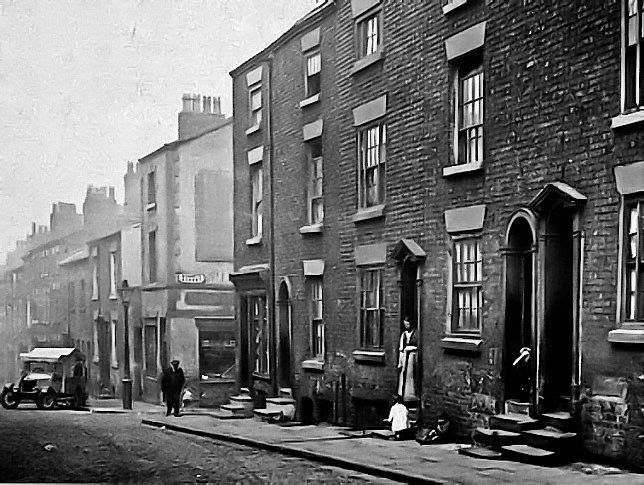 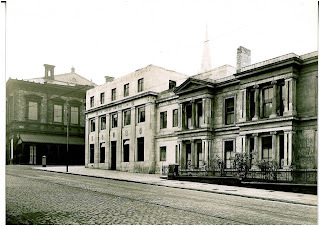 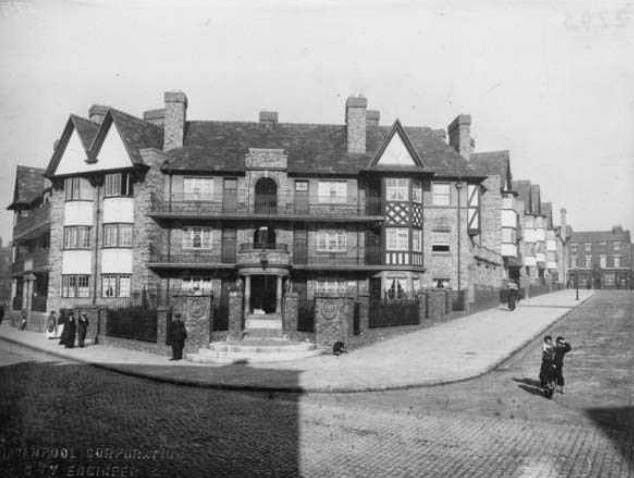 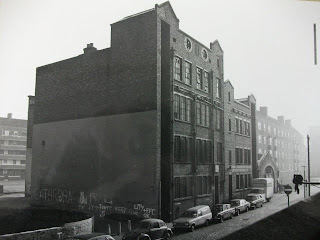 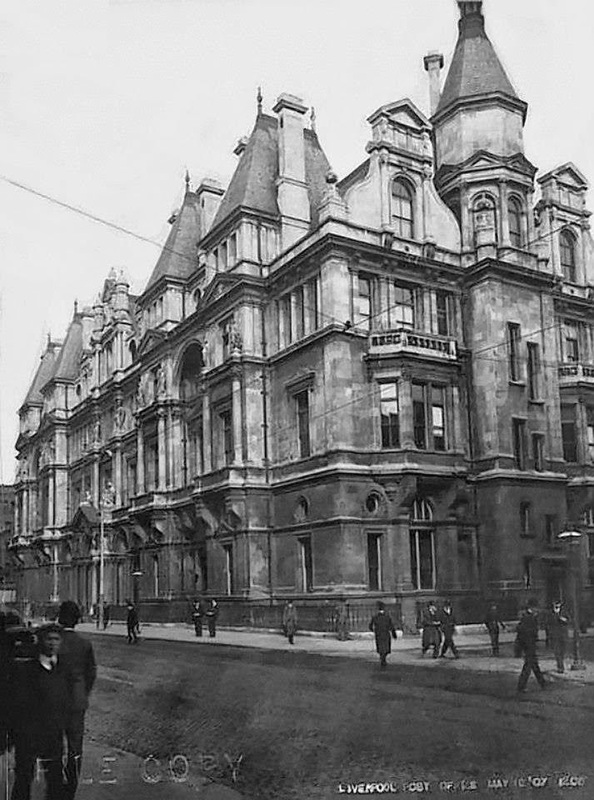 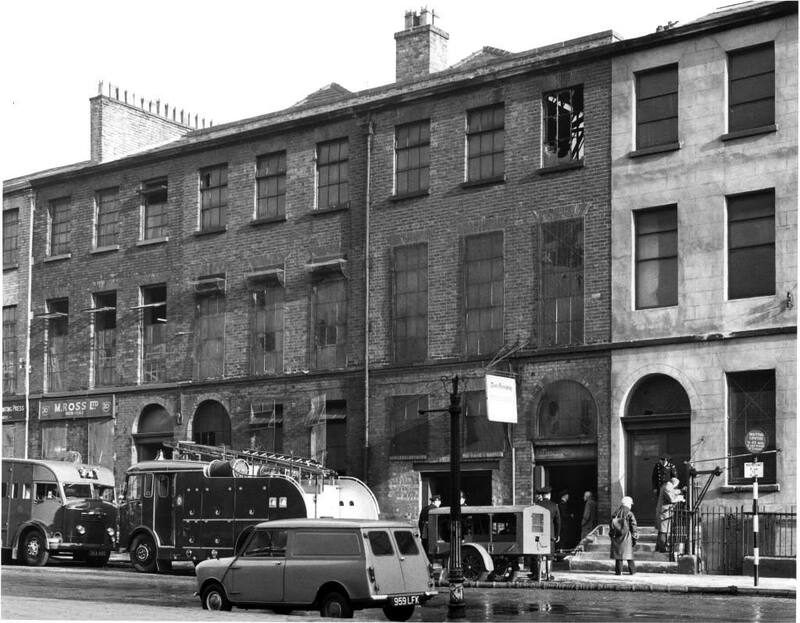 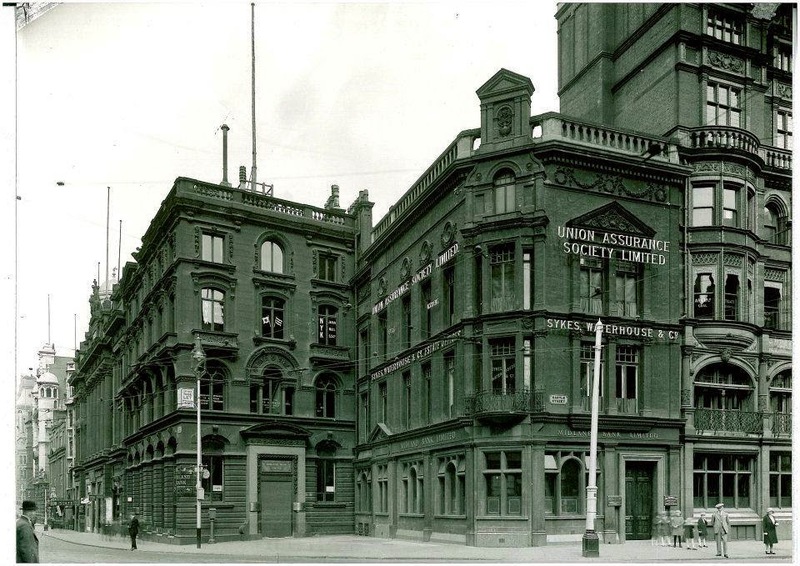 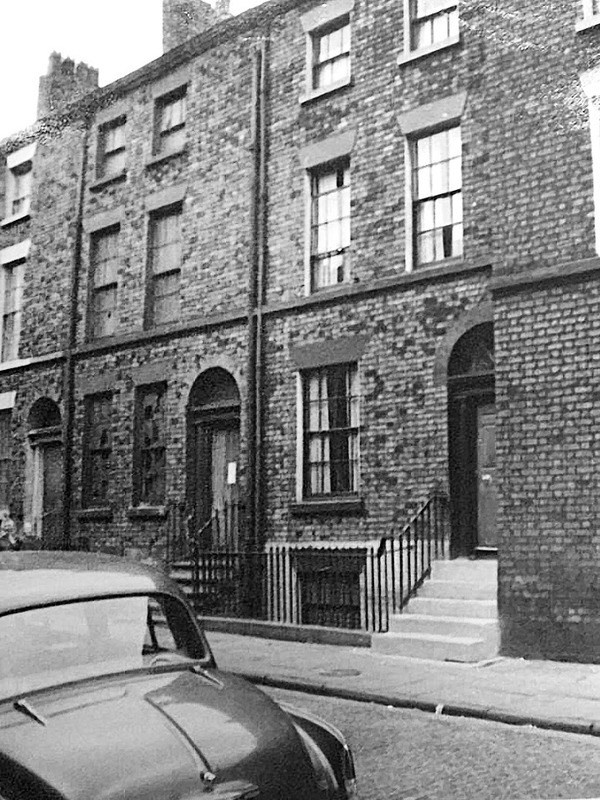 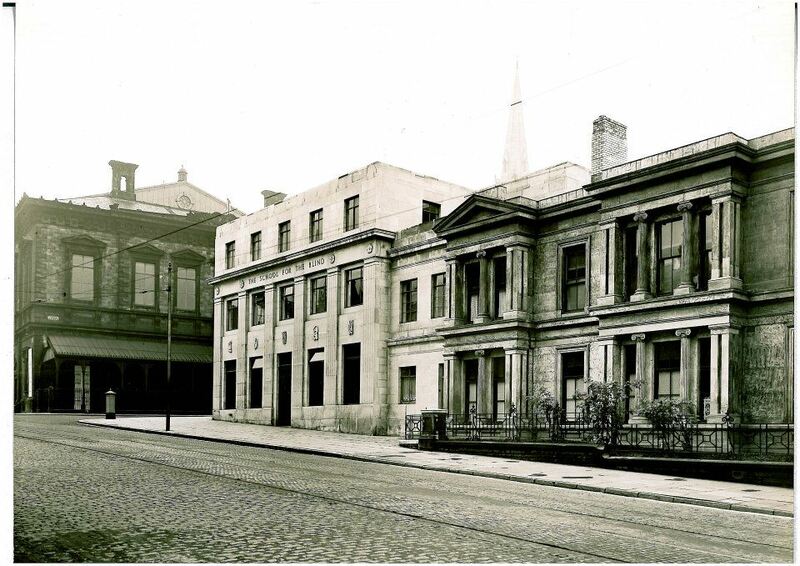 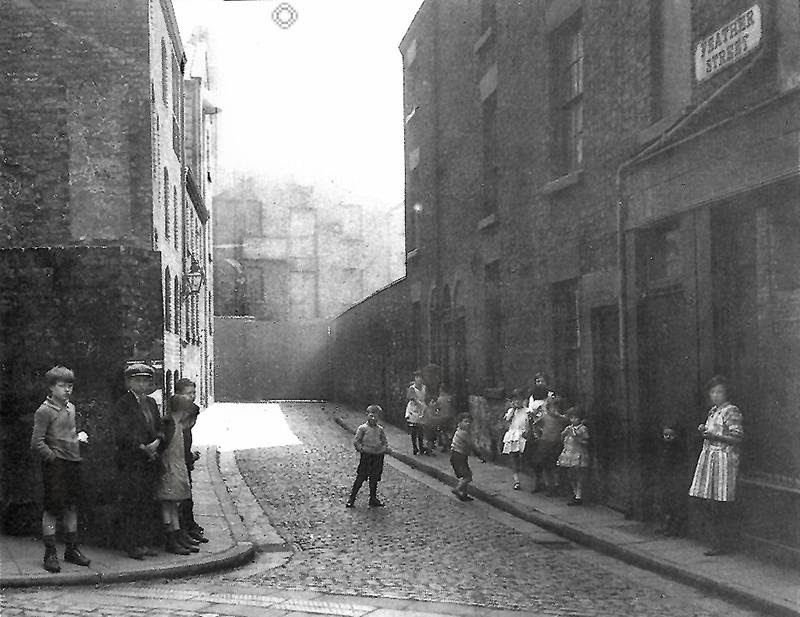 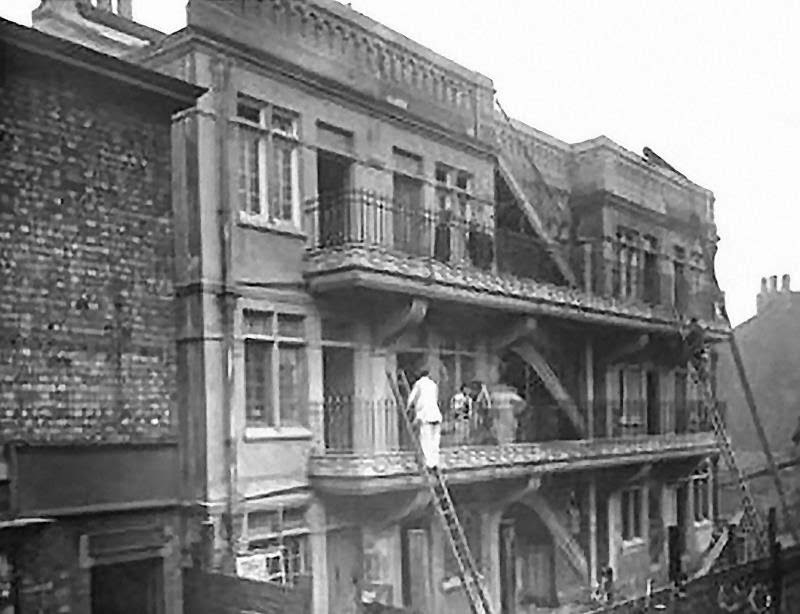 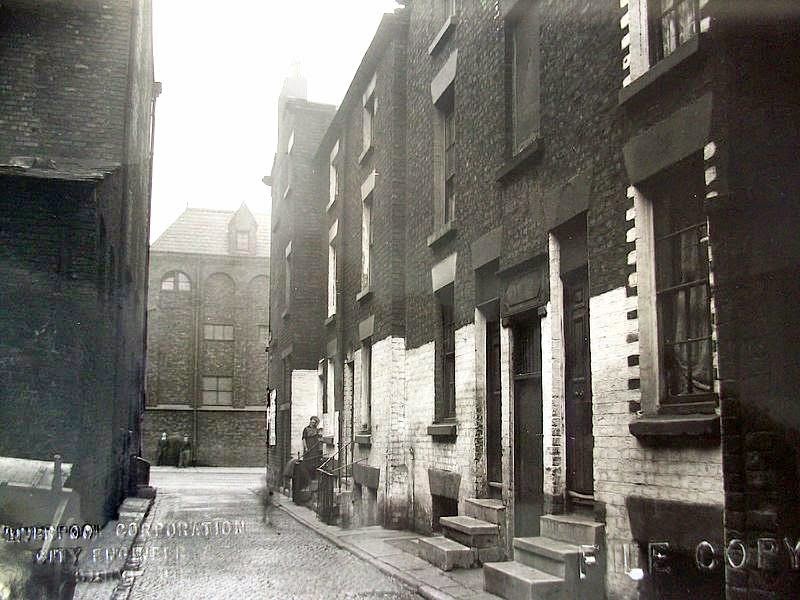 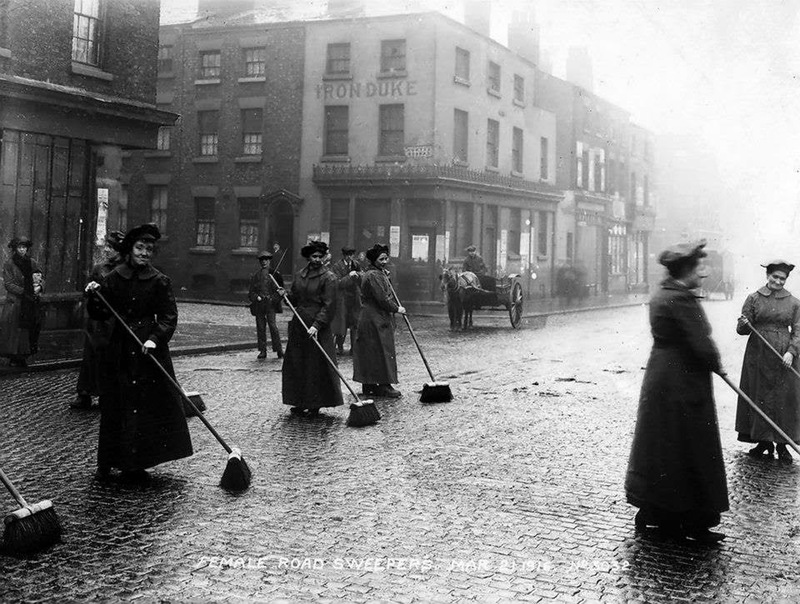 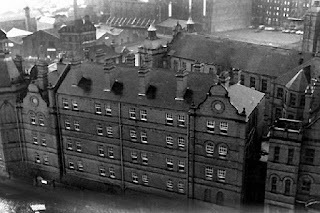 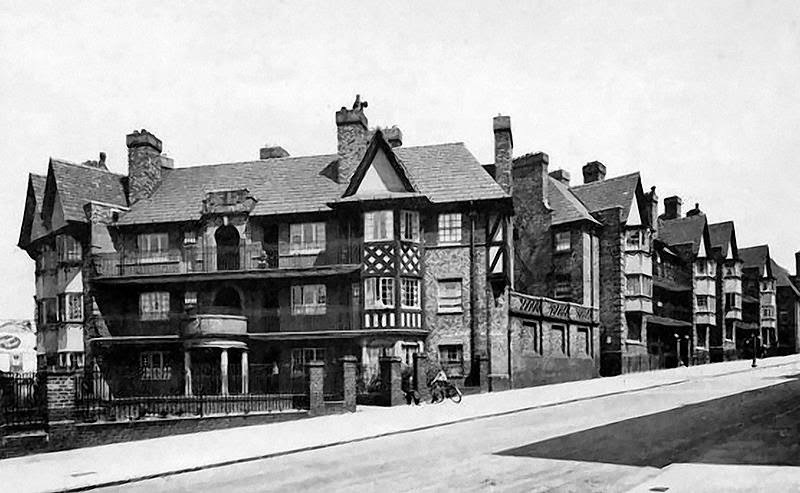 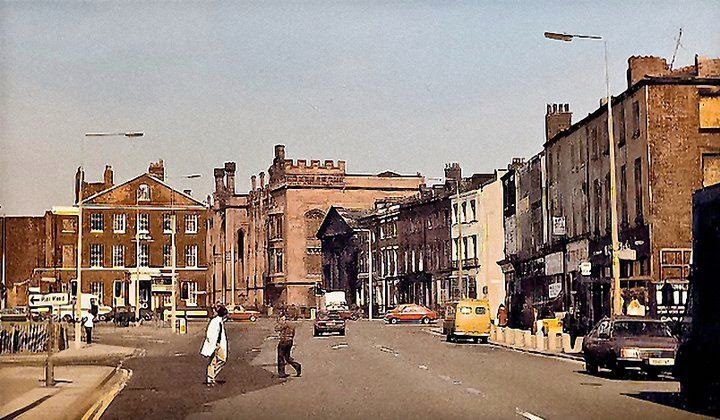 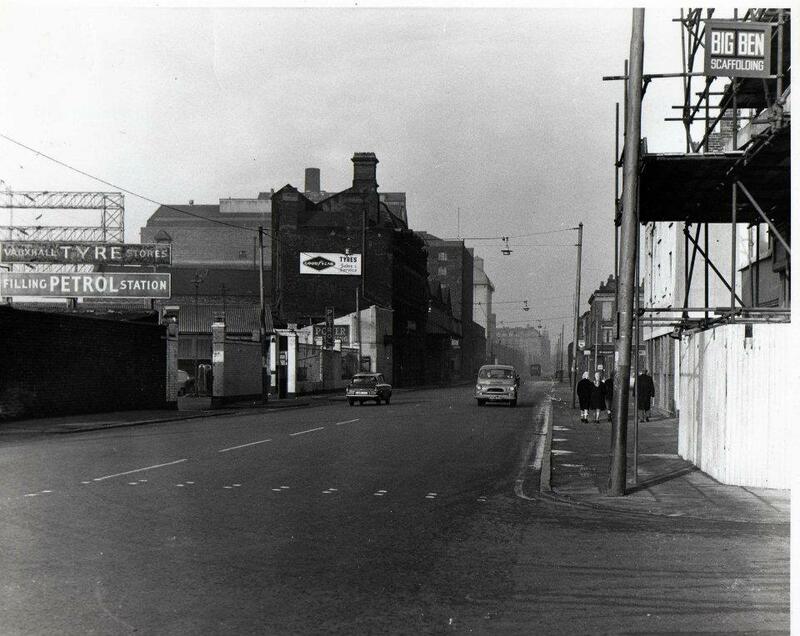 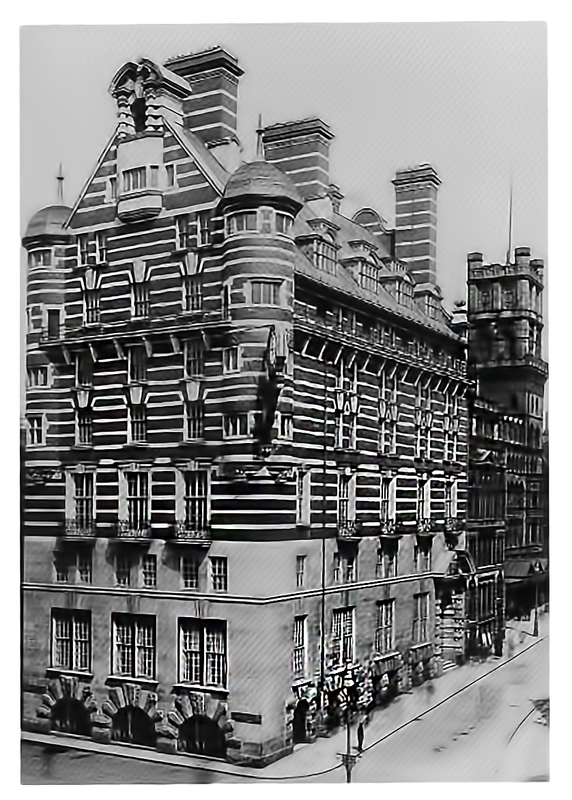 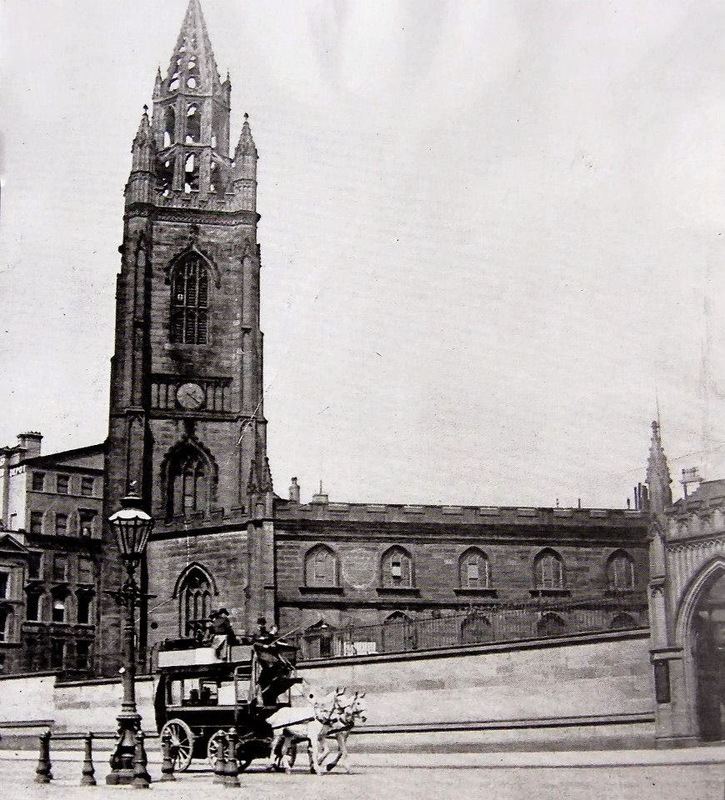 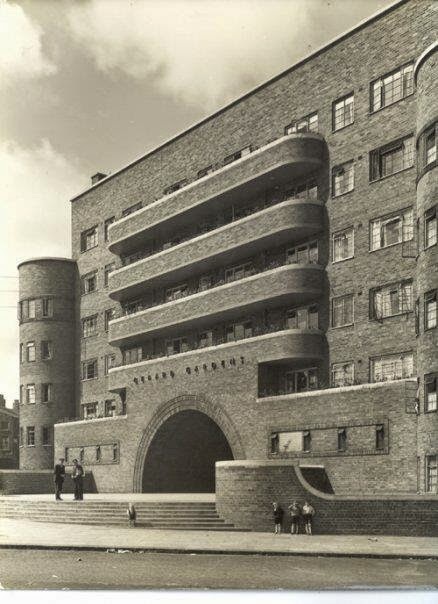 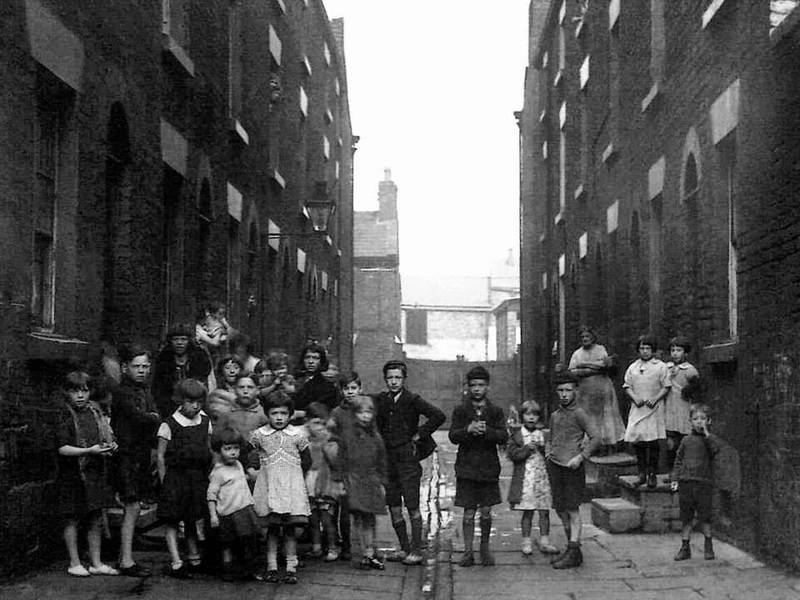 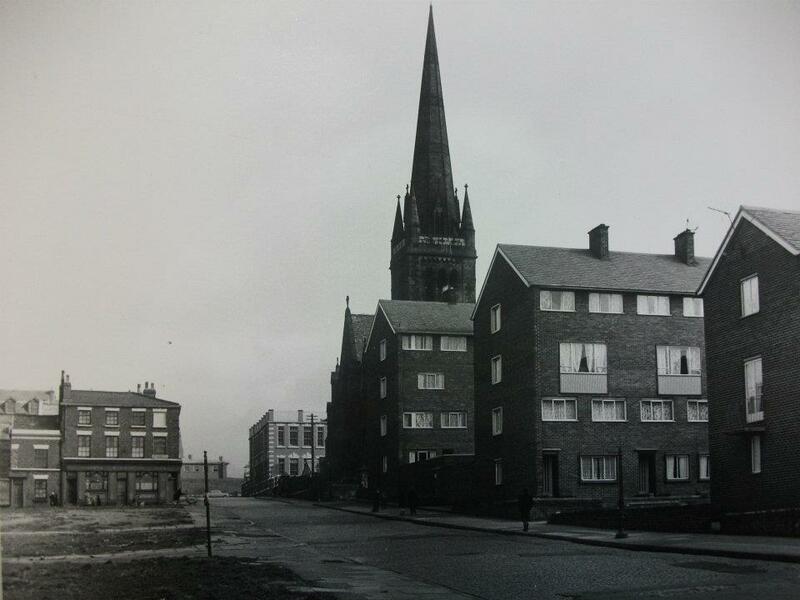 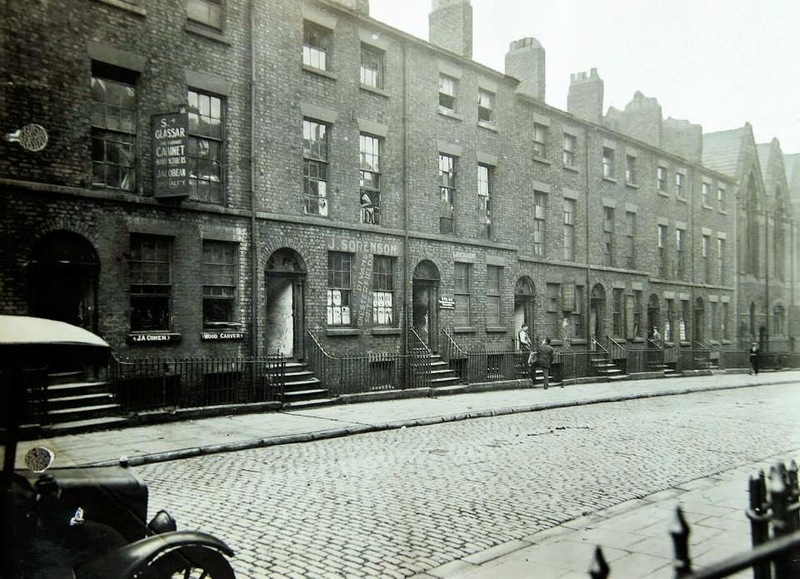 Byrom Hall opposite Great Crosshall Street. 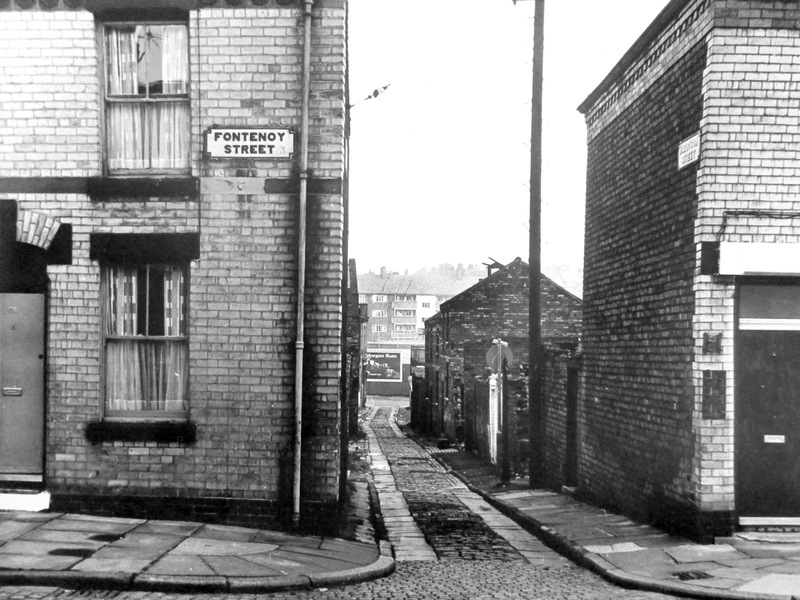 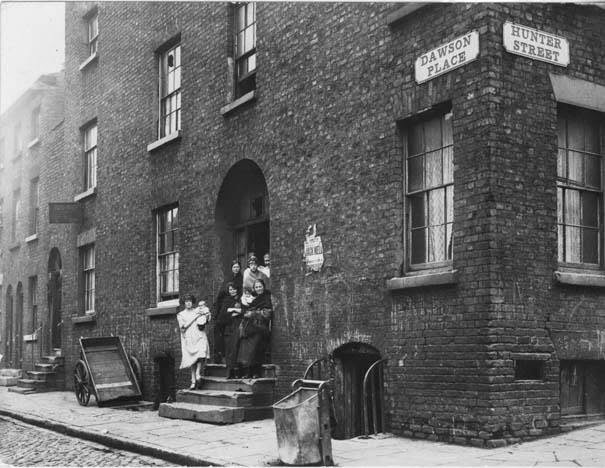 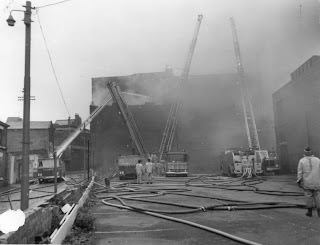 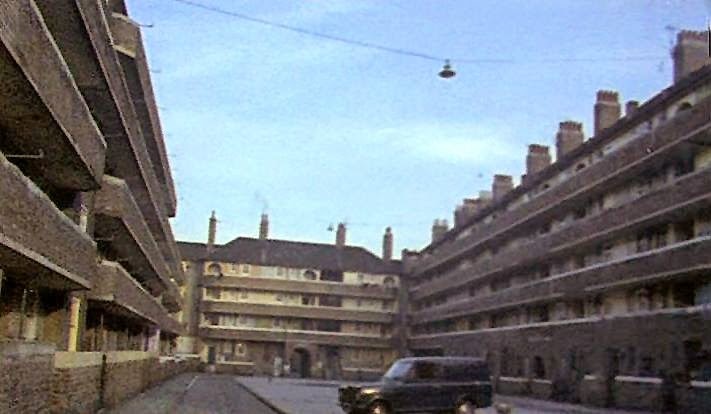 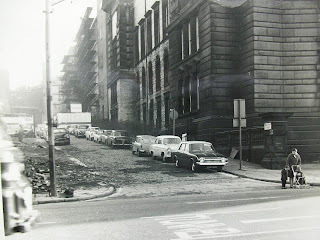 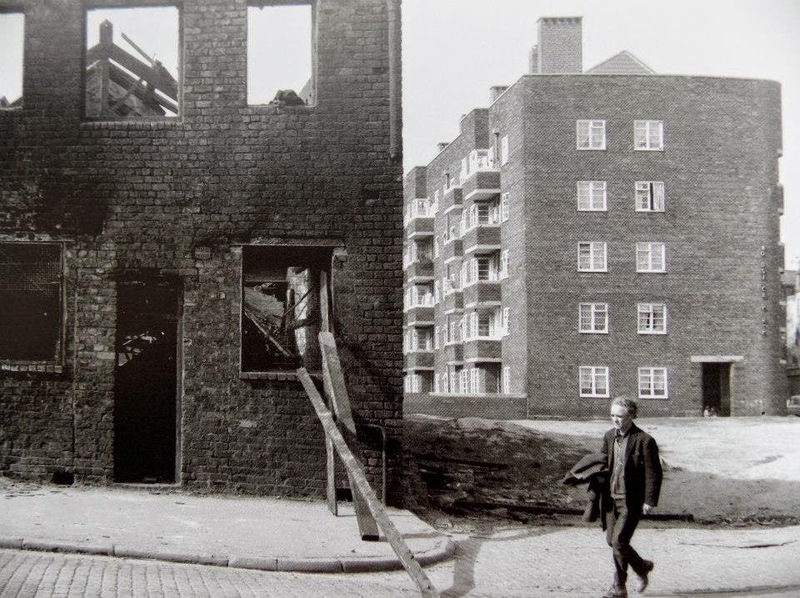 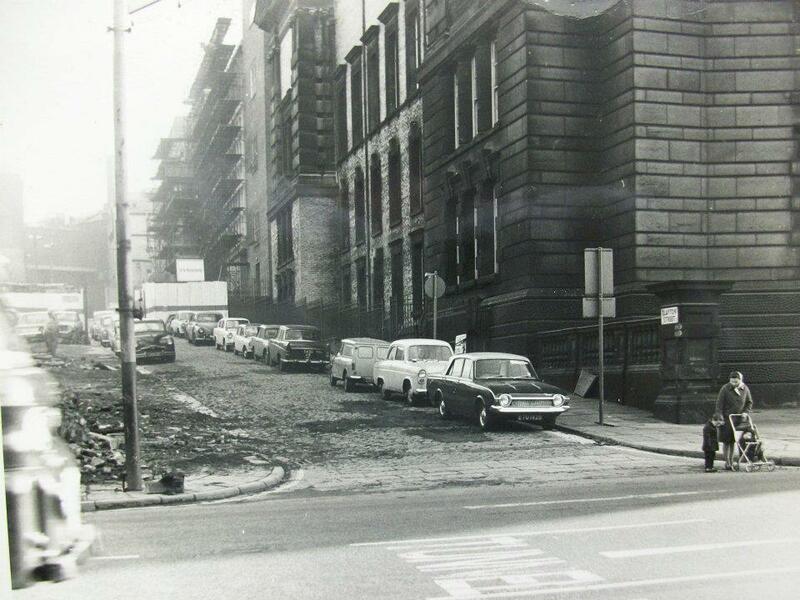 Fontenoy Street at Harrison Street on 14.11.66. 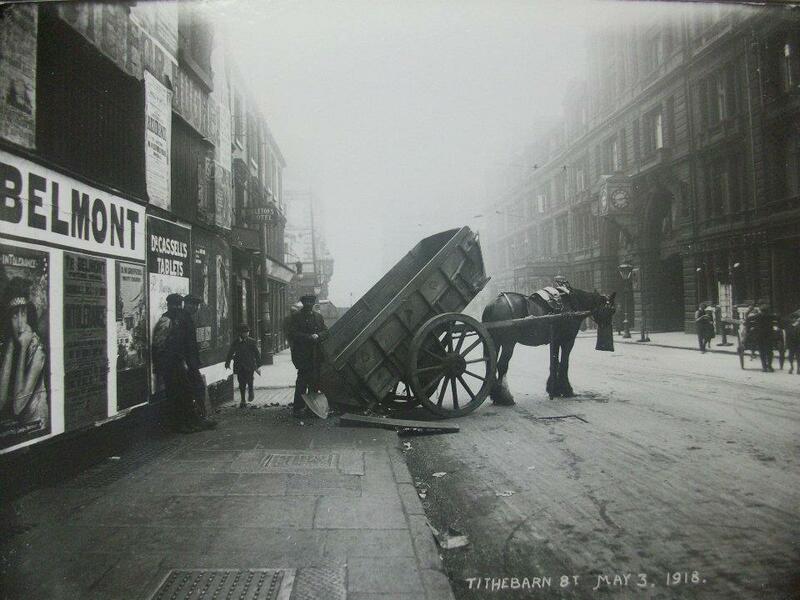 Islington Moss Street, Ooops wrong way ! 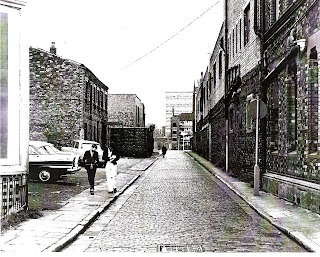 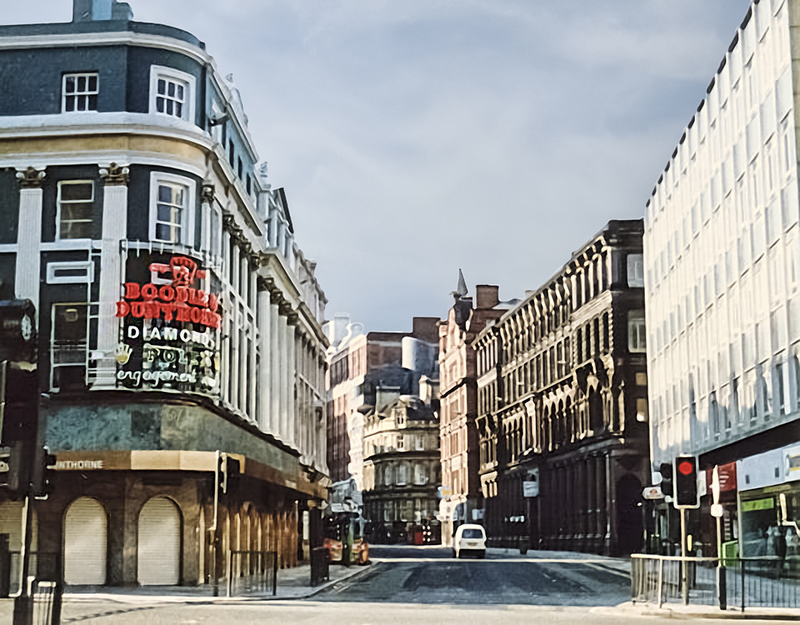 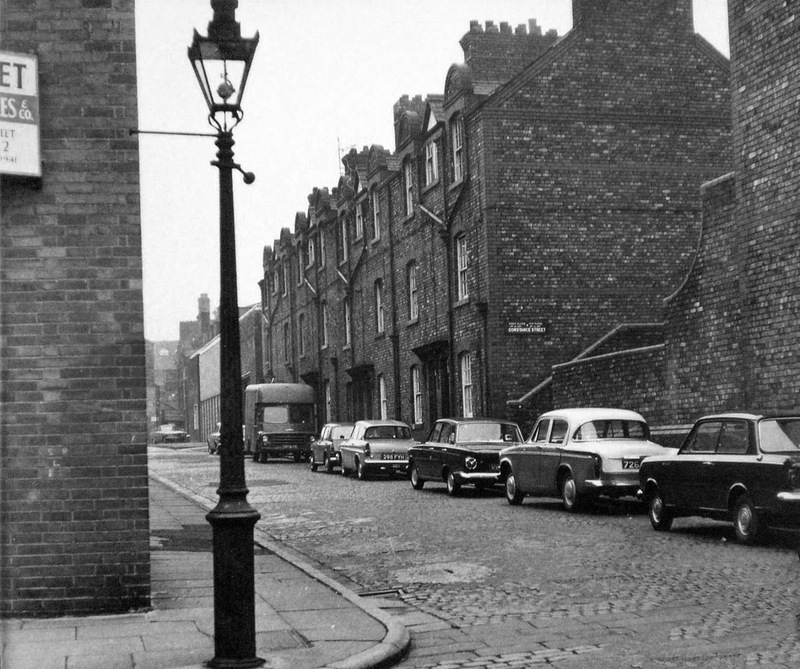 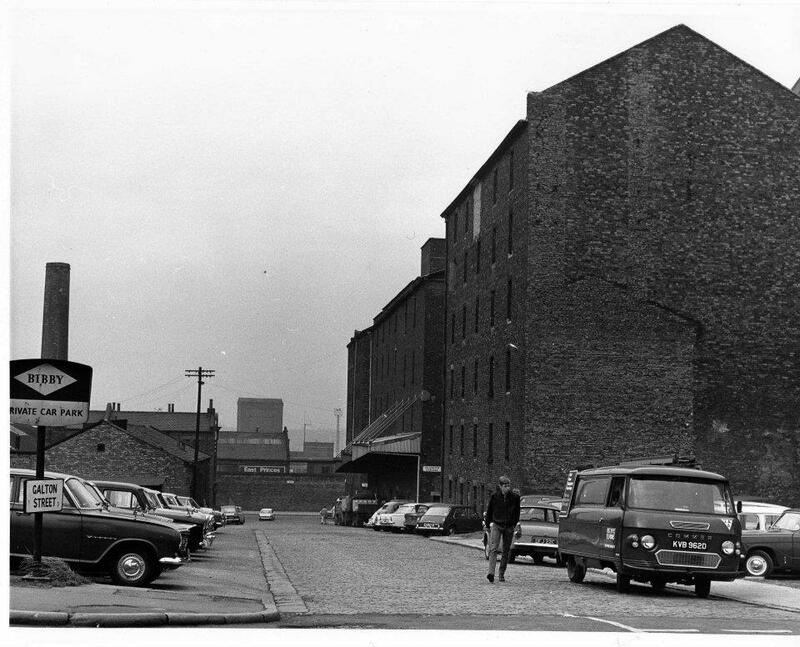 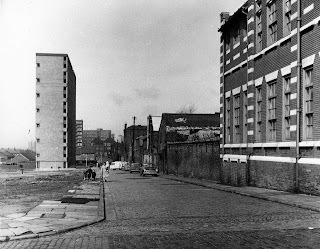 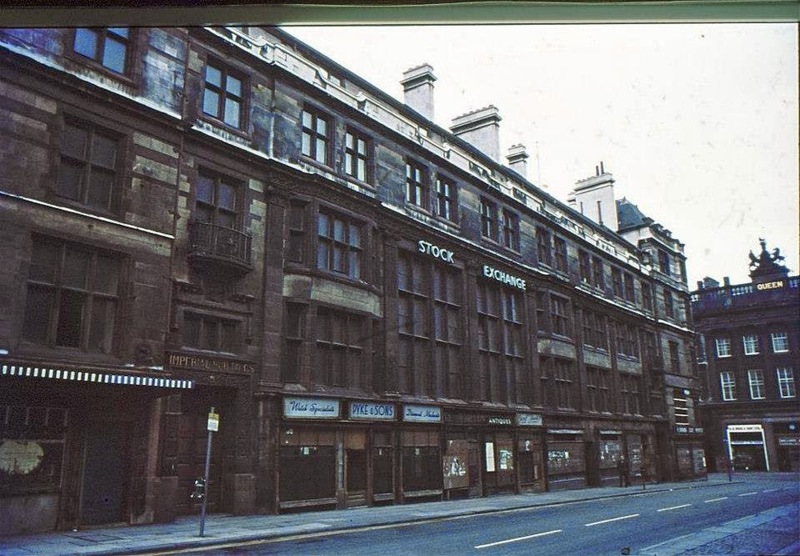 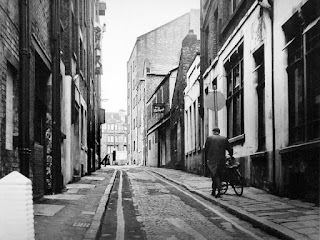 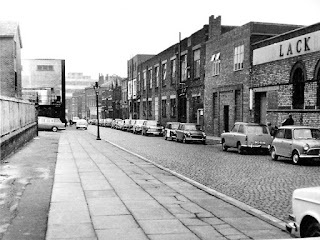 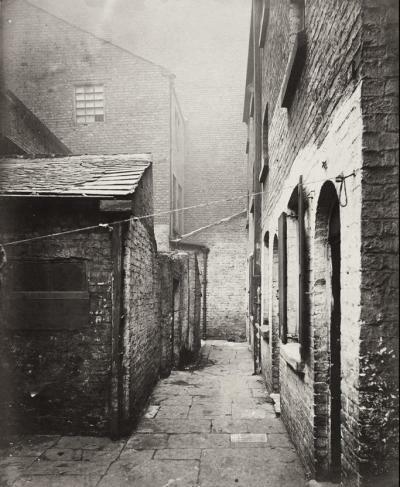 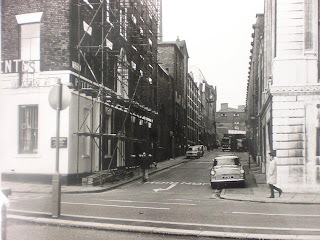 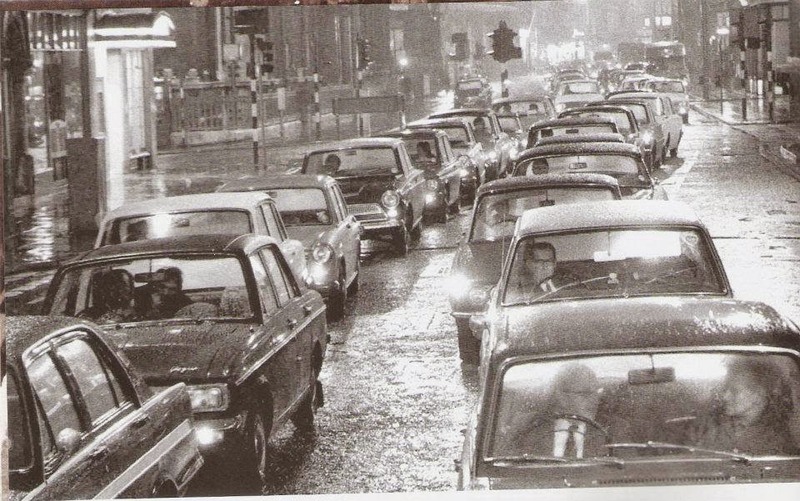 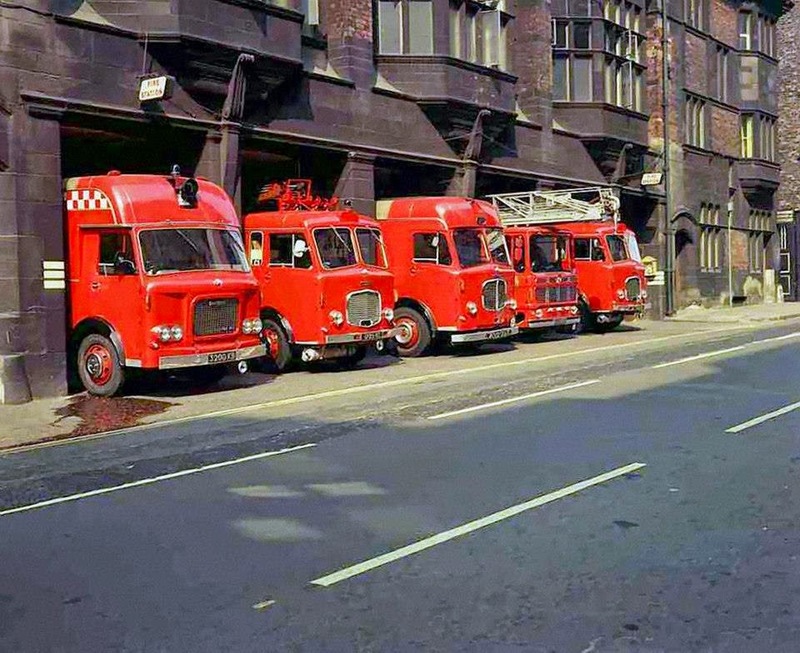 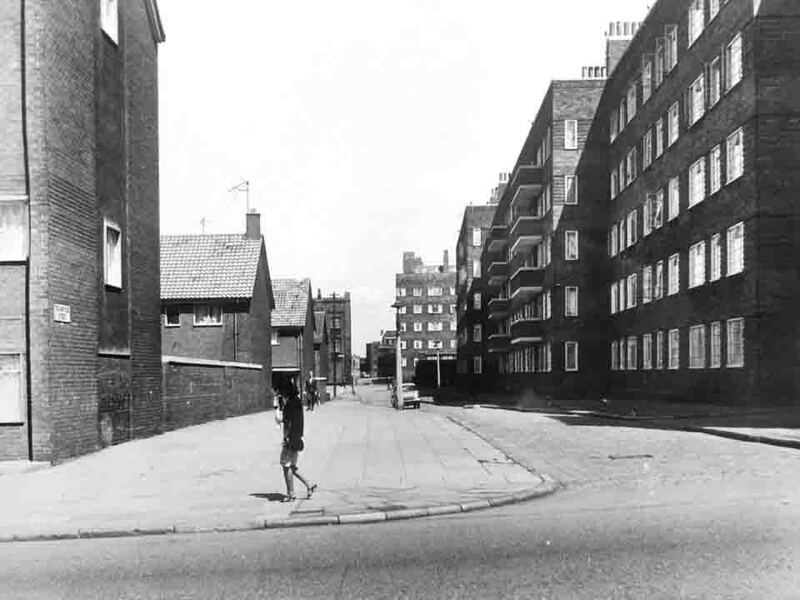 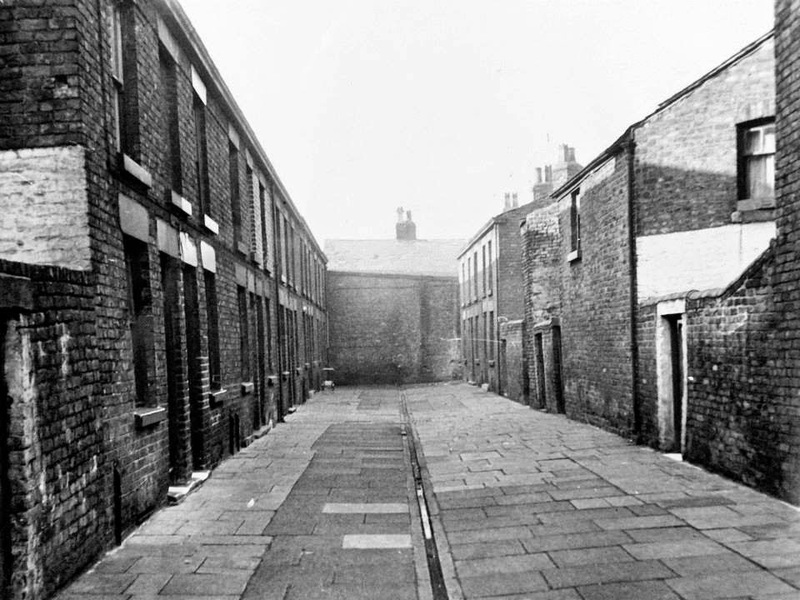 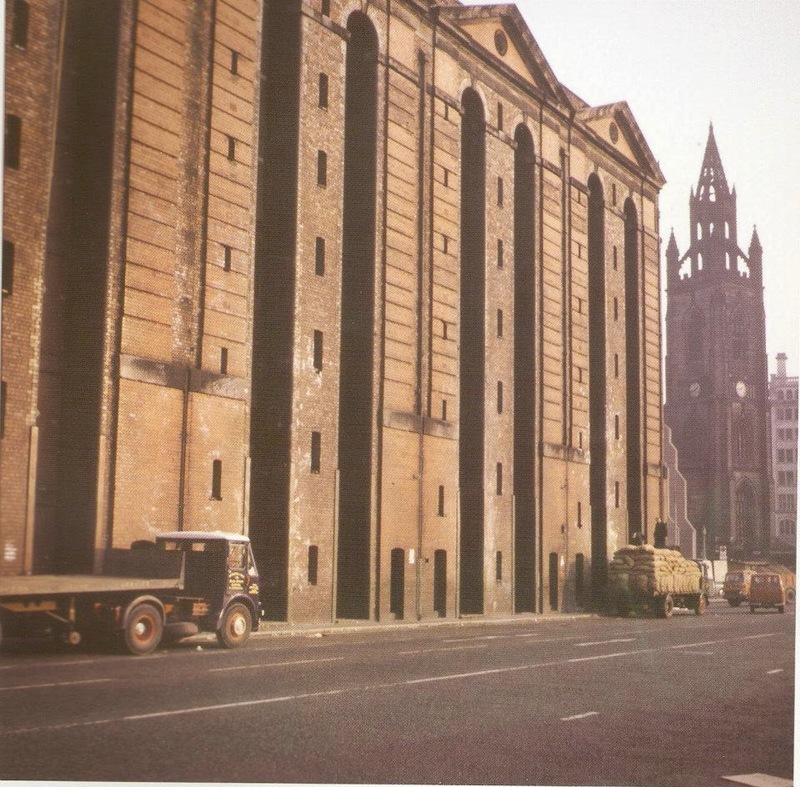 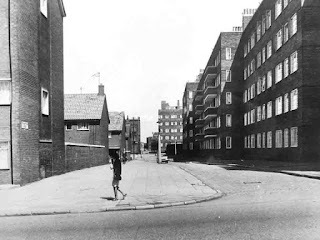 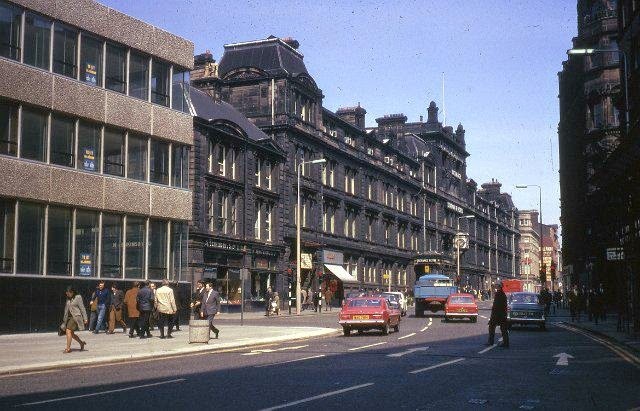 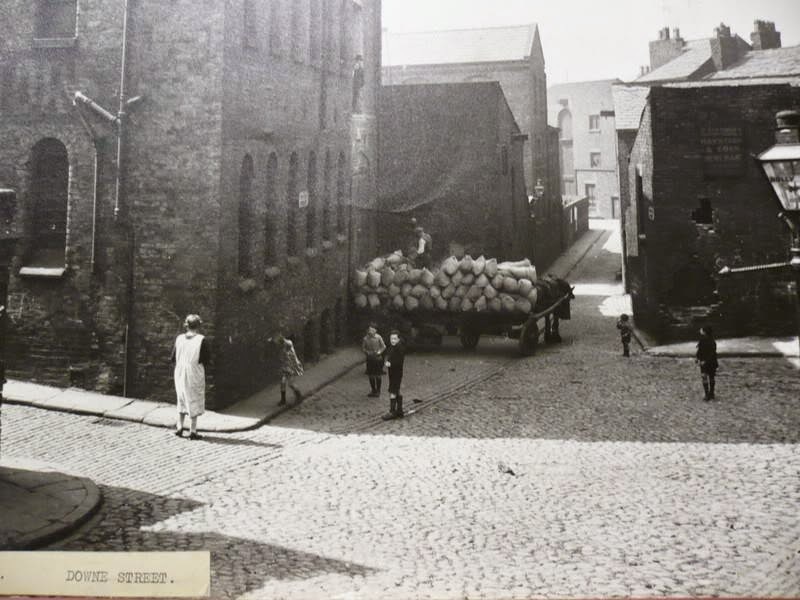 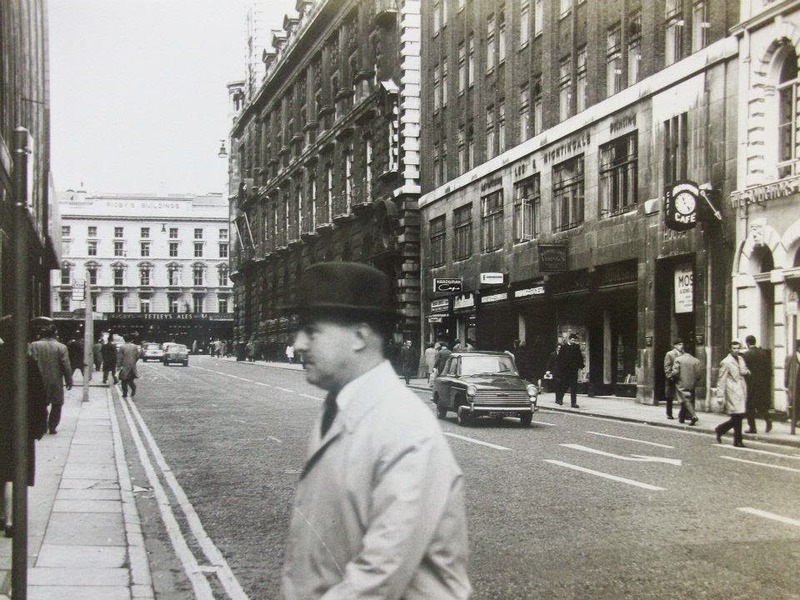 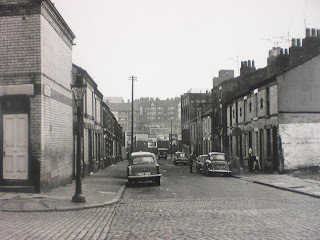 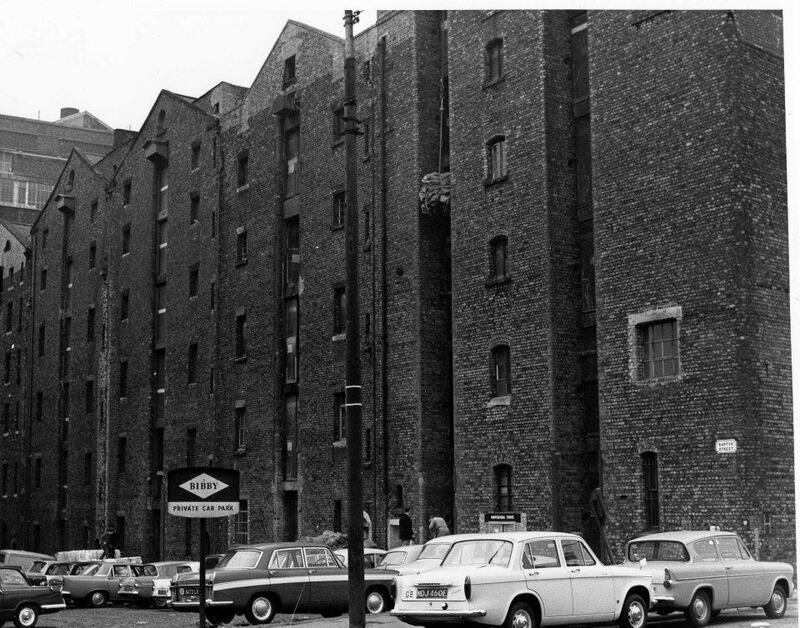 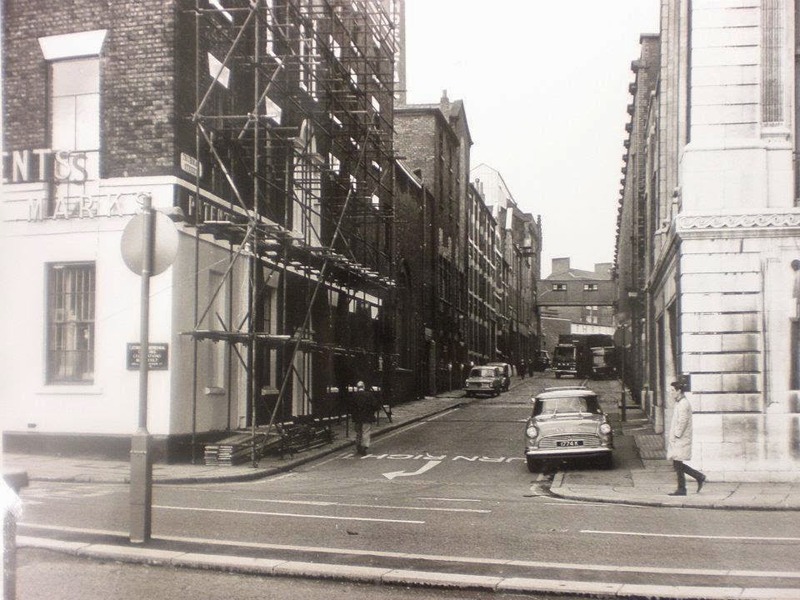 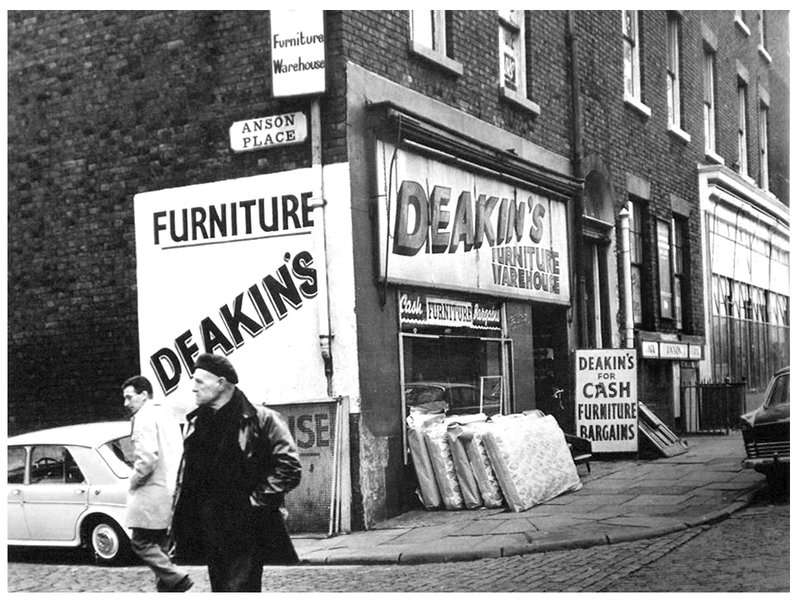 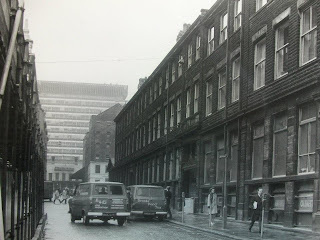 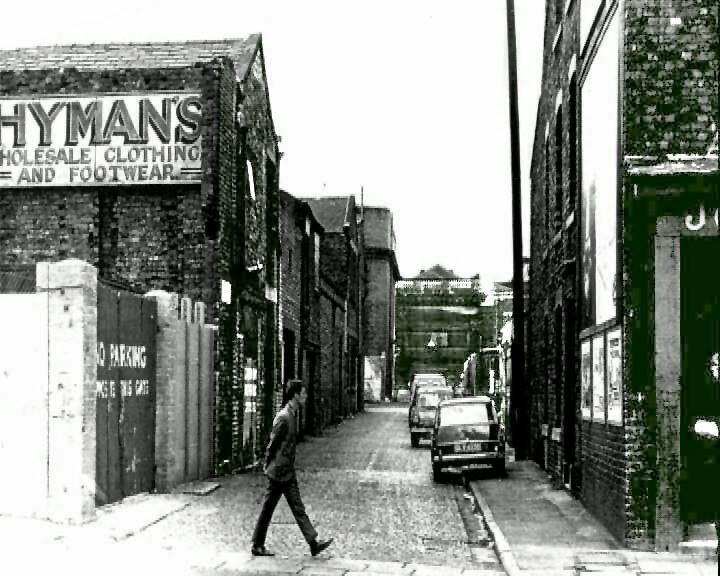 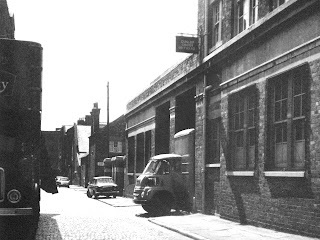 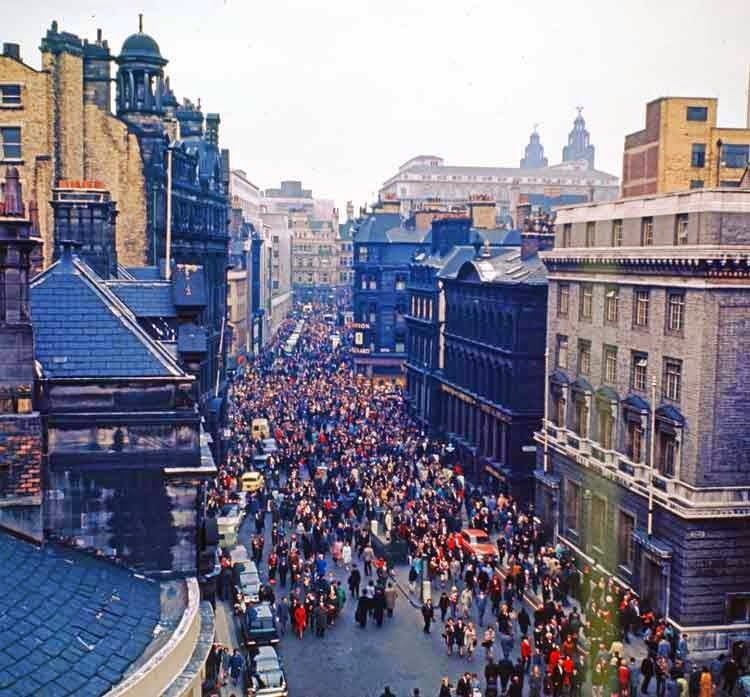 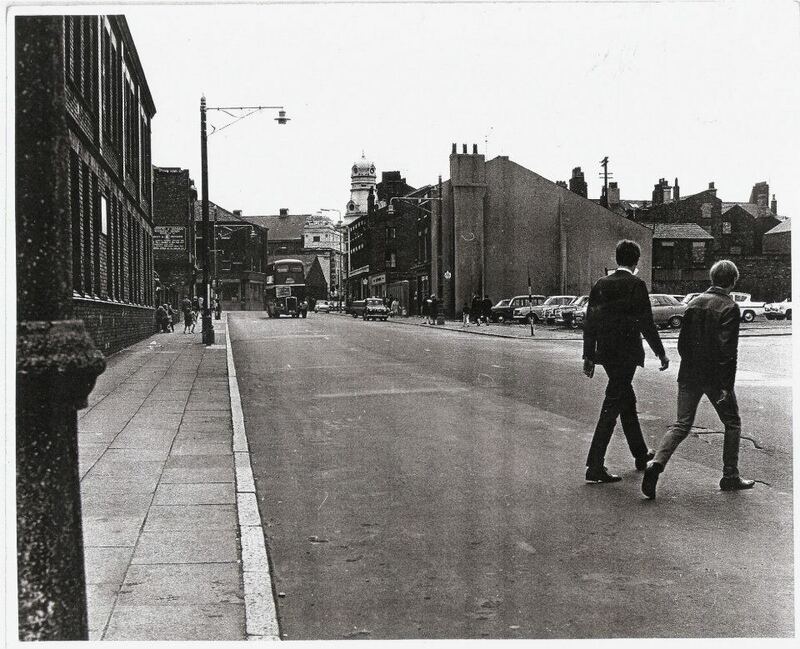 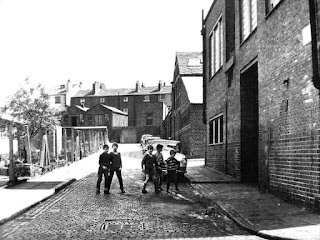 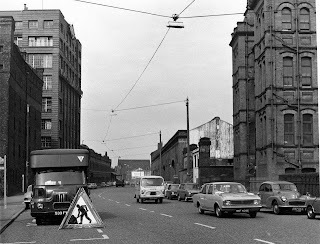 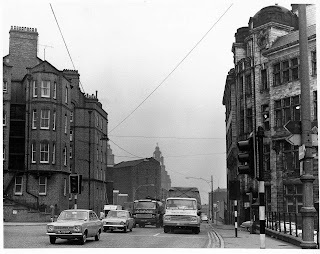 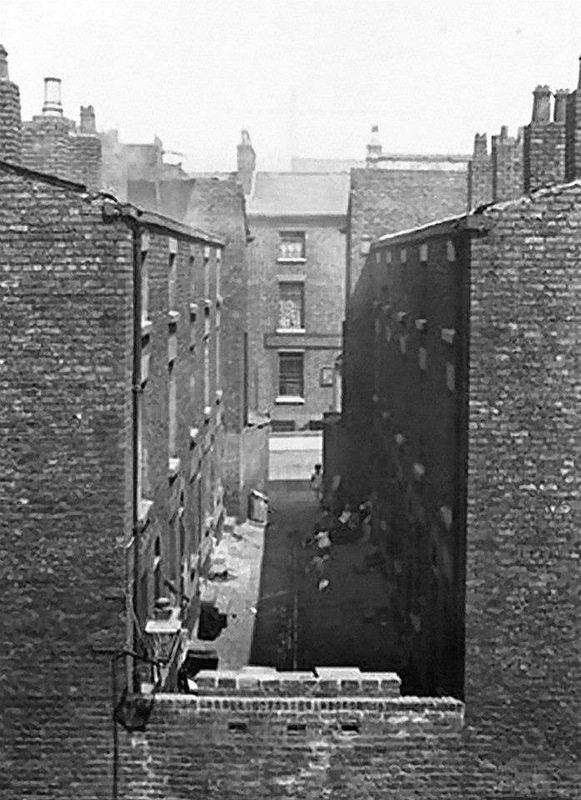 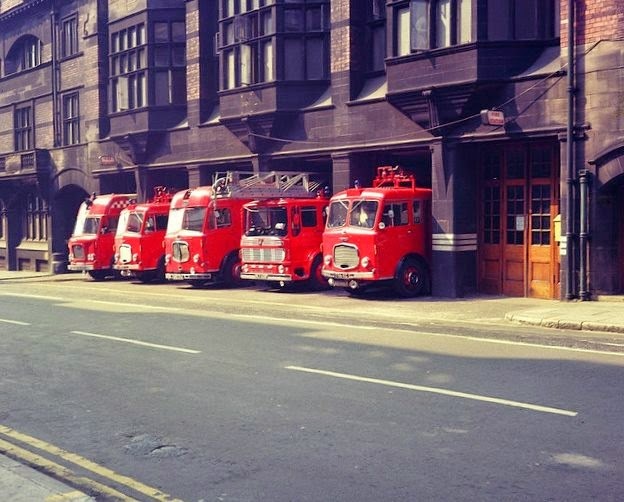 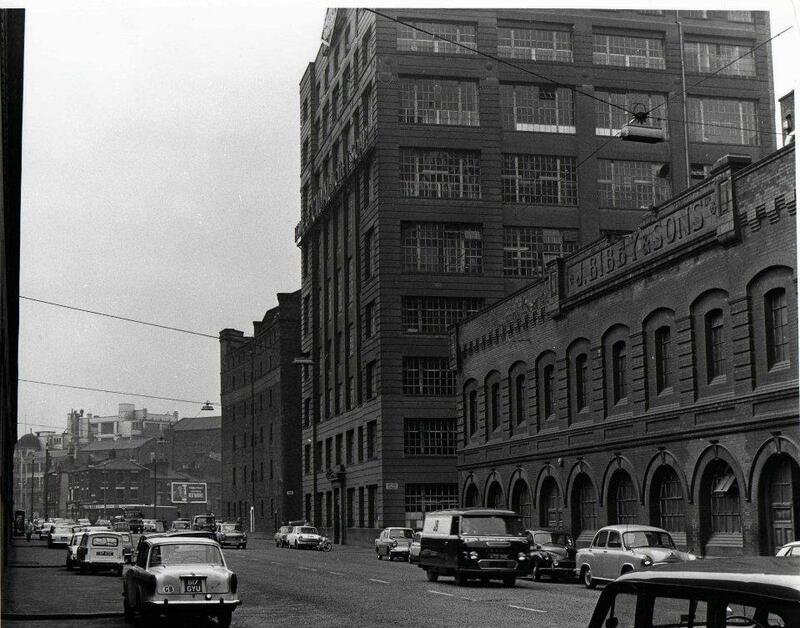 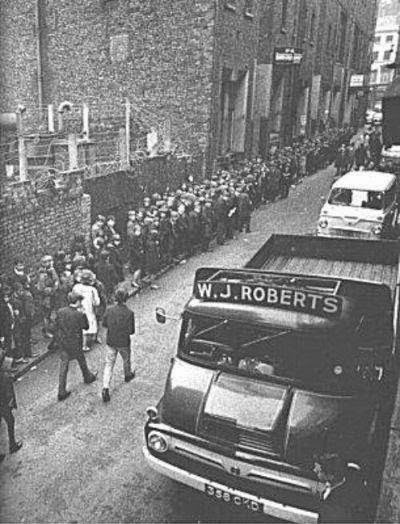 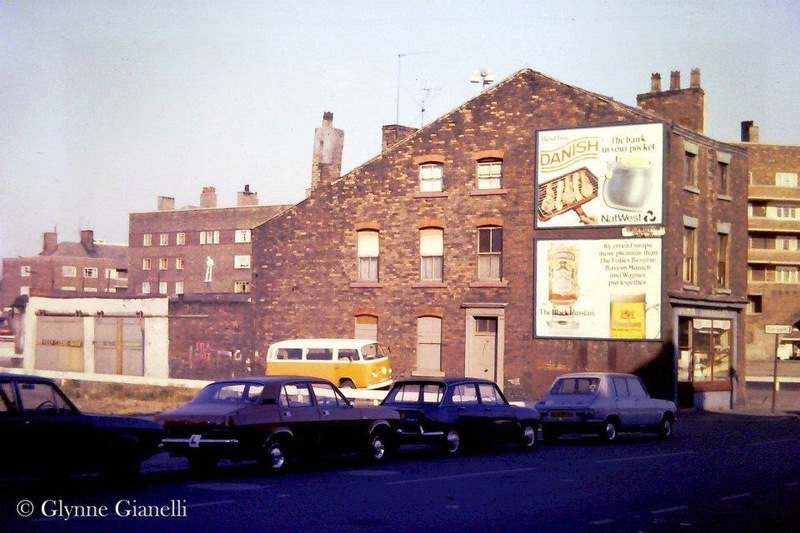 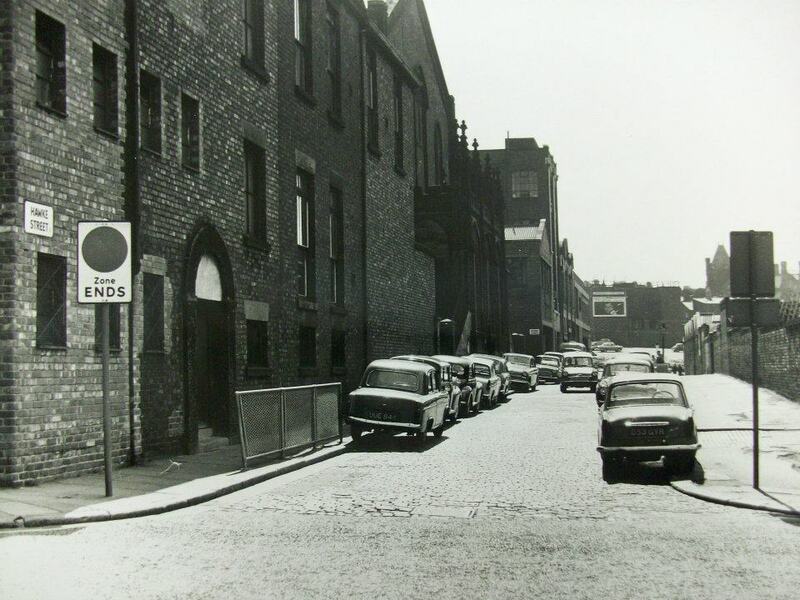 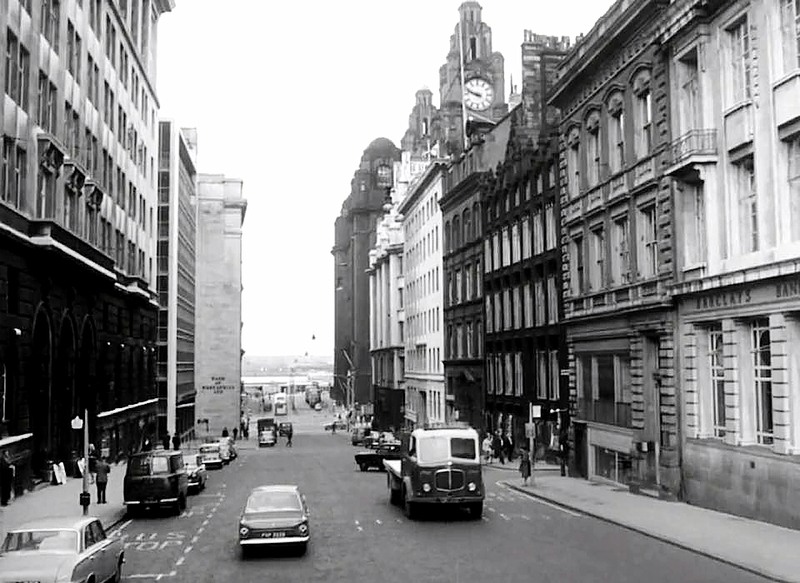 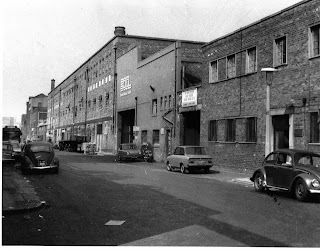 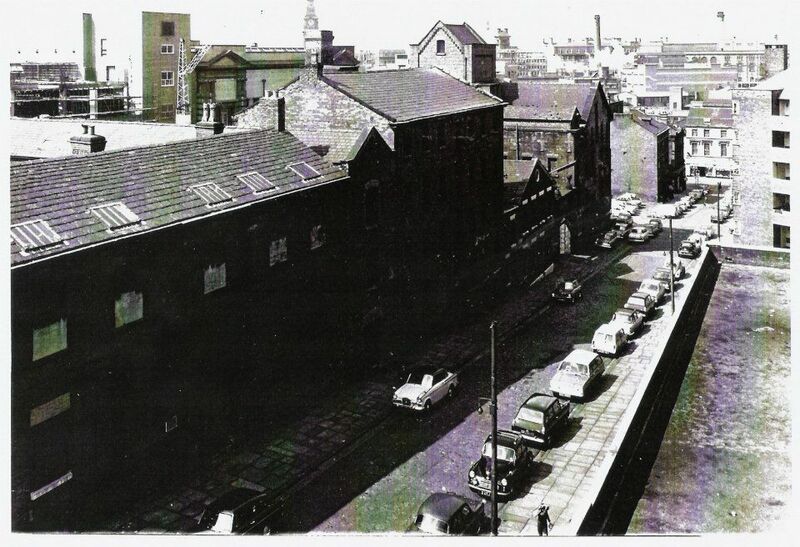 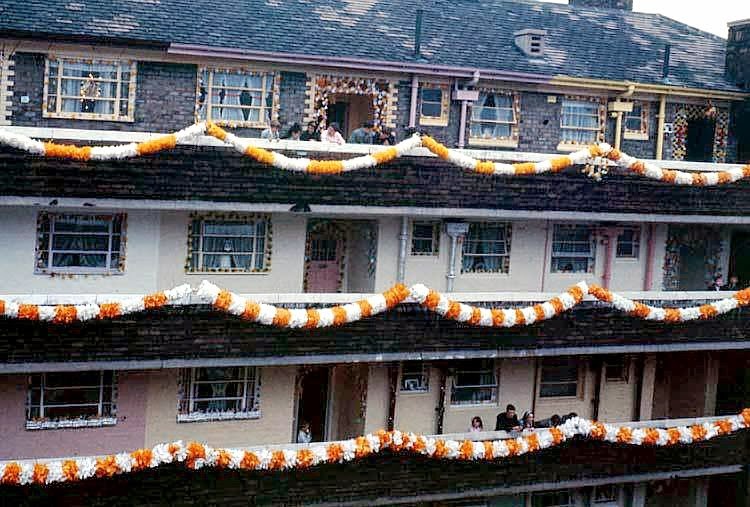 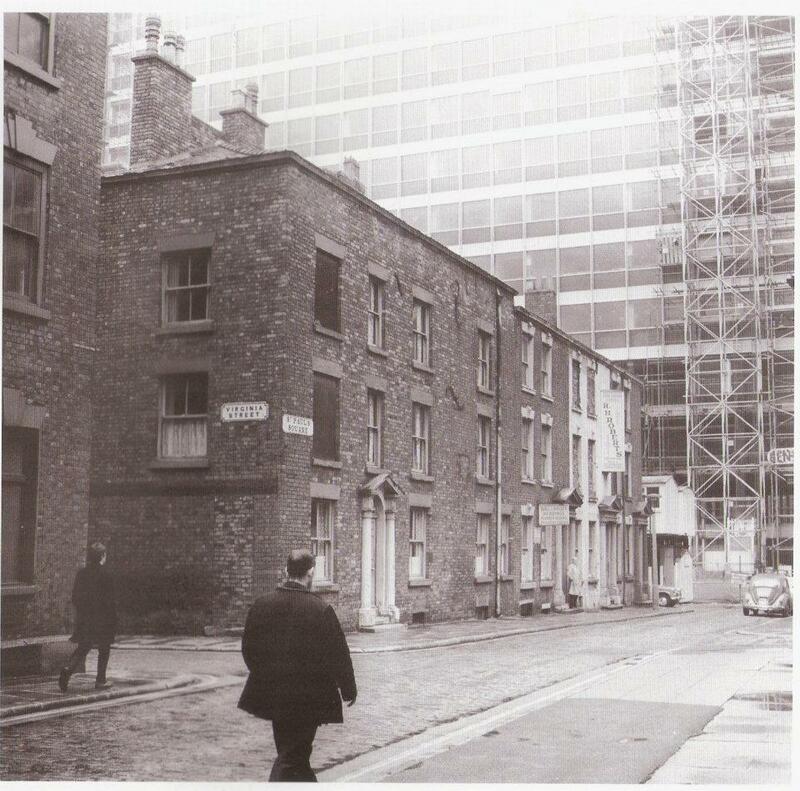 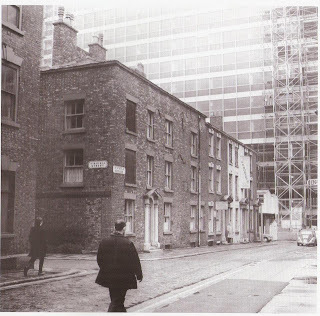 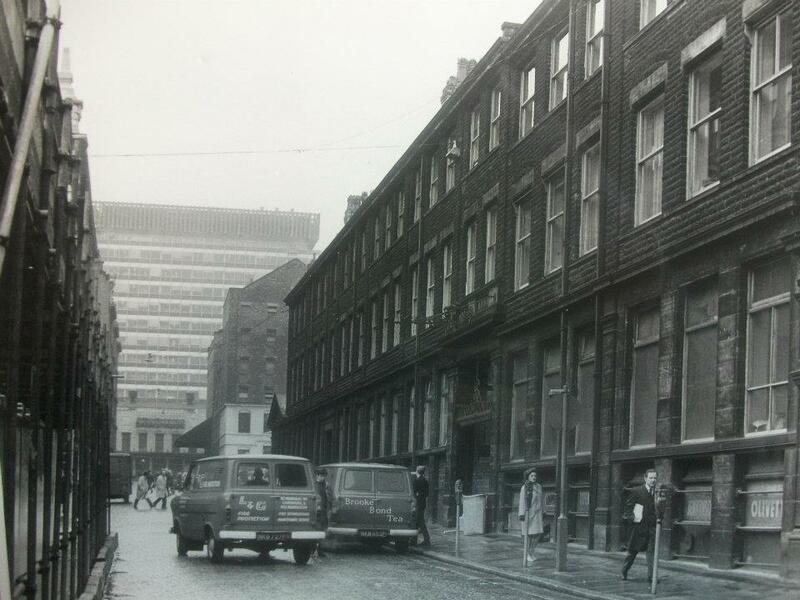 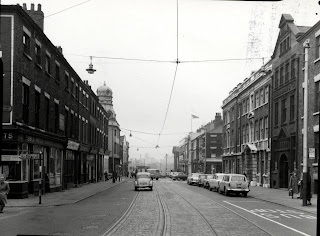 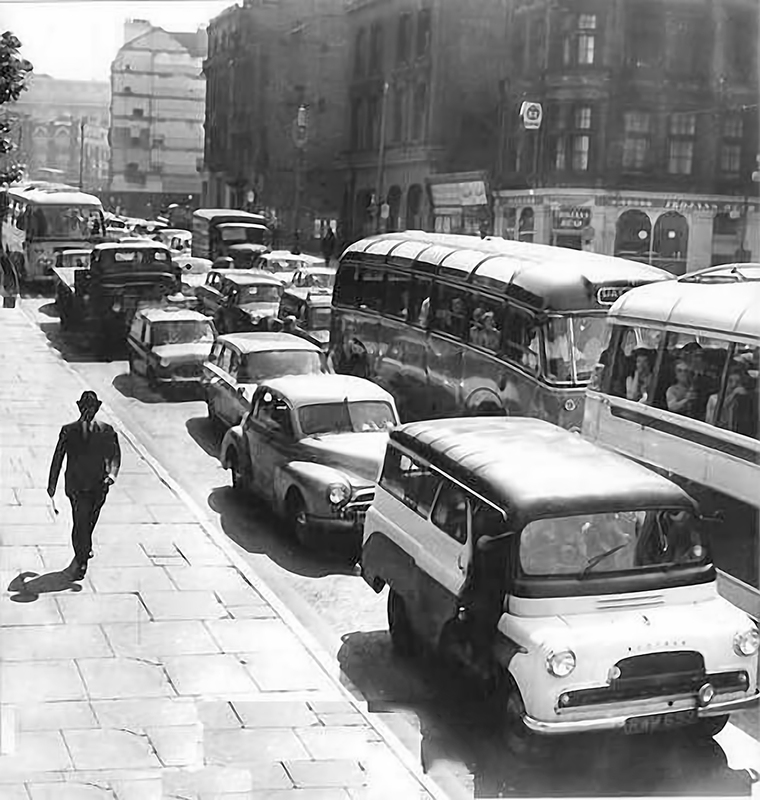 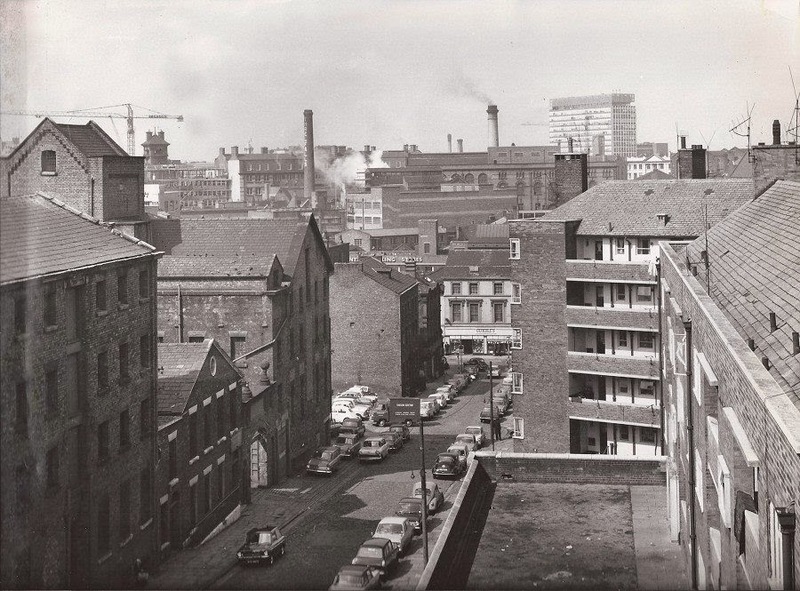 St Martin Street taken from Limekiln Lane 1970. 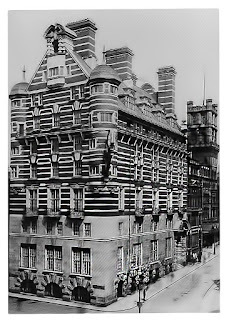 72 Bond street at No 28 Court. 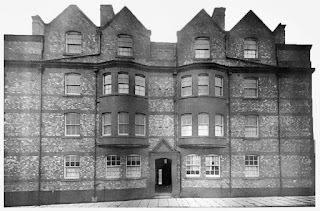 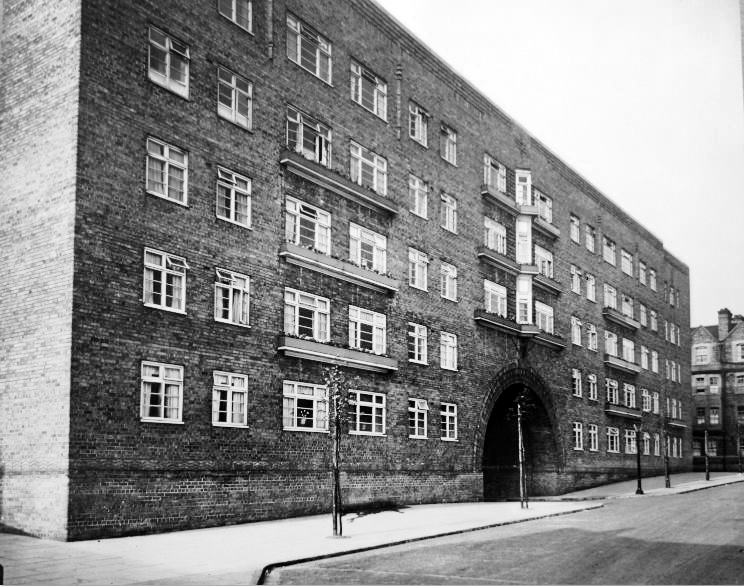 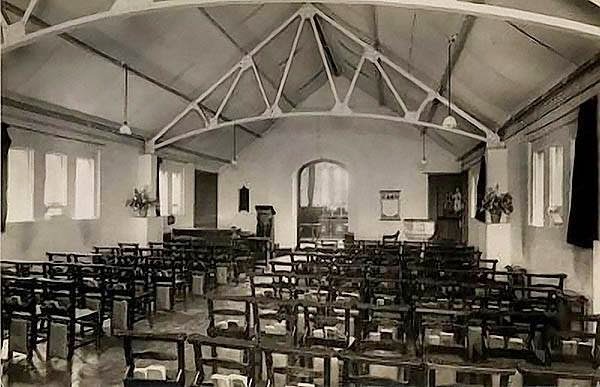 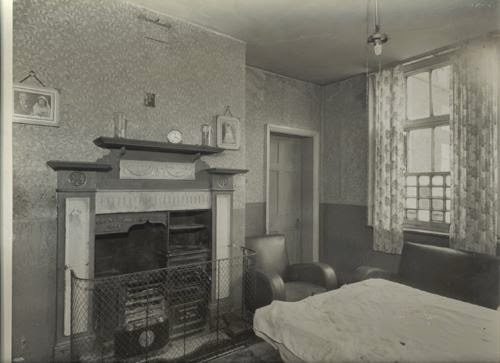 Arden House salvation army hostel. 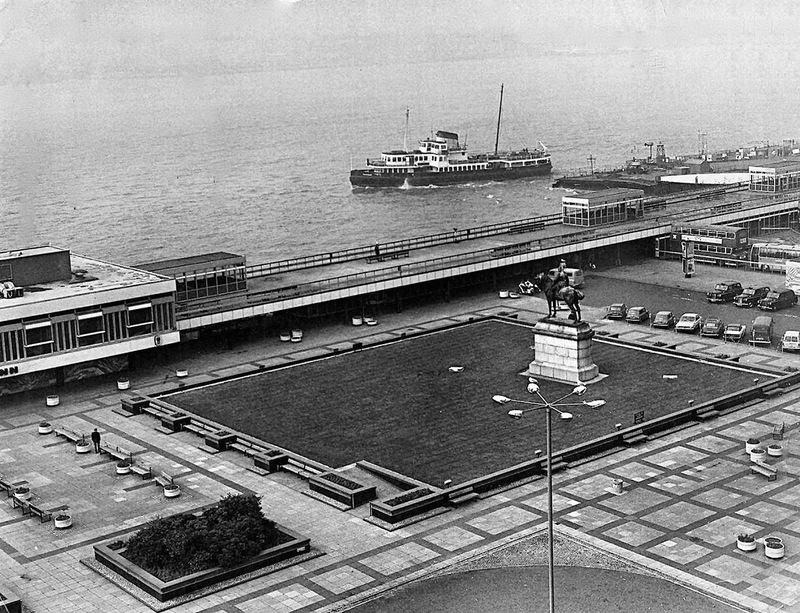 straight ahead, now renamed Plaza. 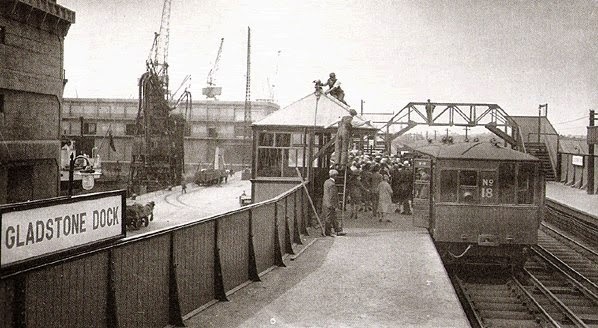 Bolton street as Ribbles make their way into Skelhorne st depot. 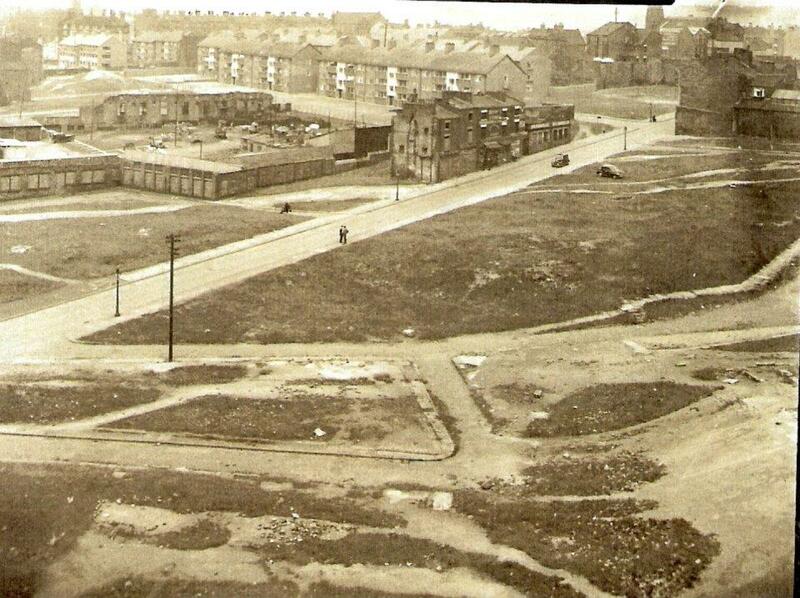 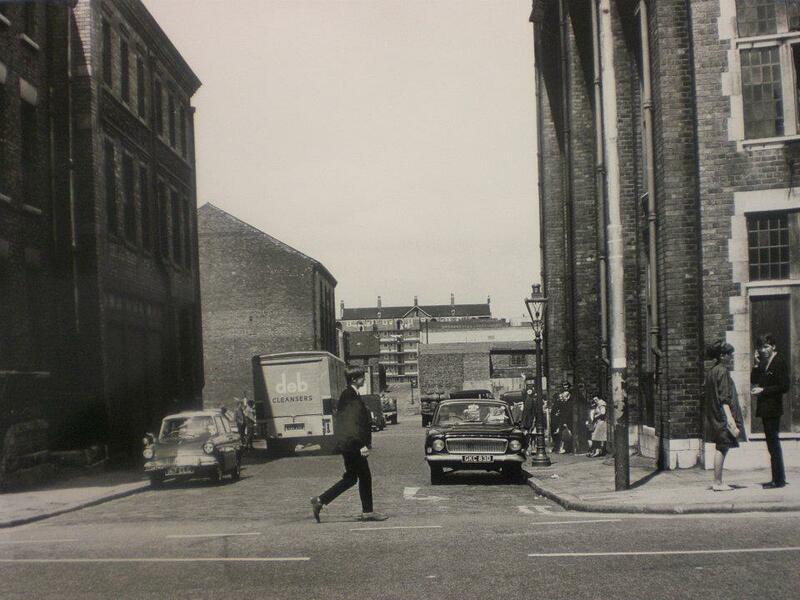 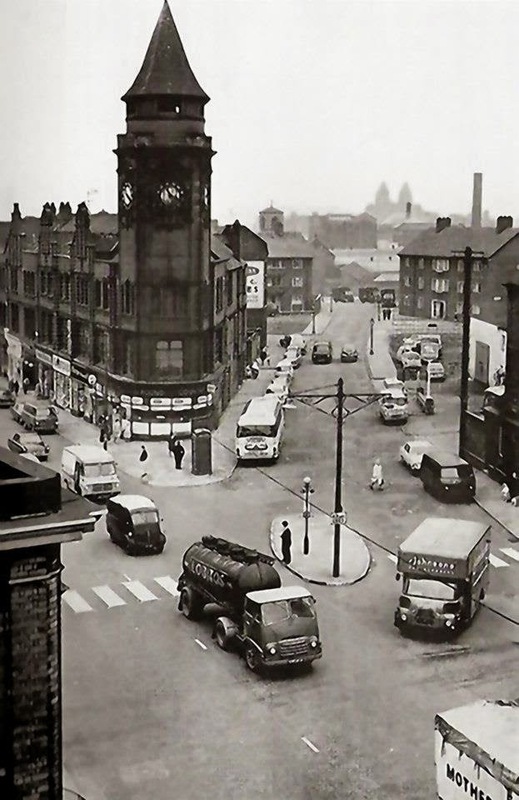 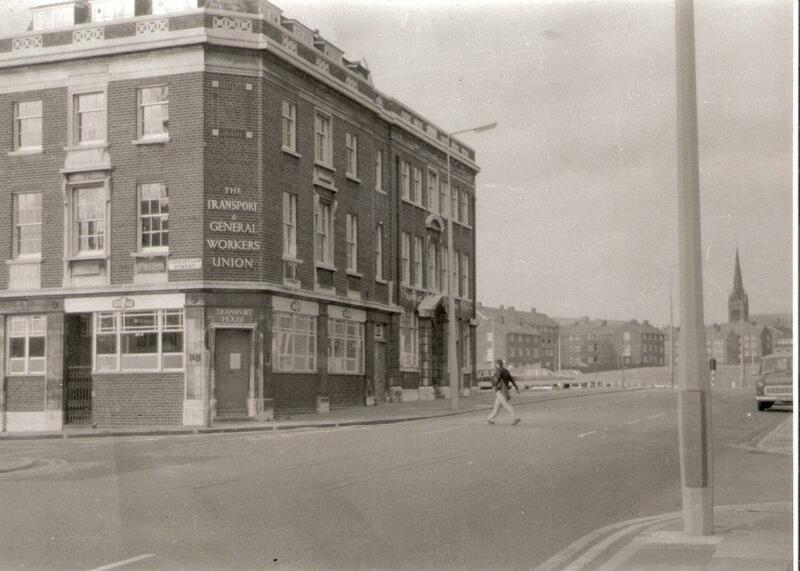 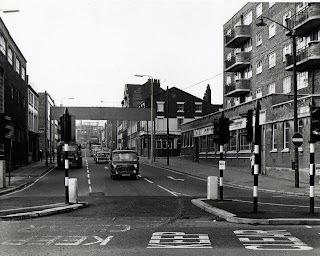 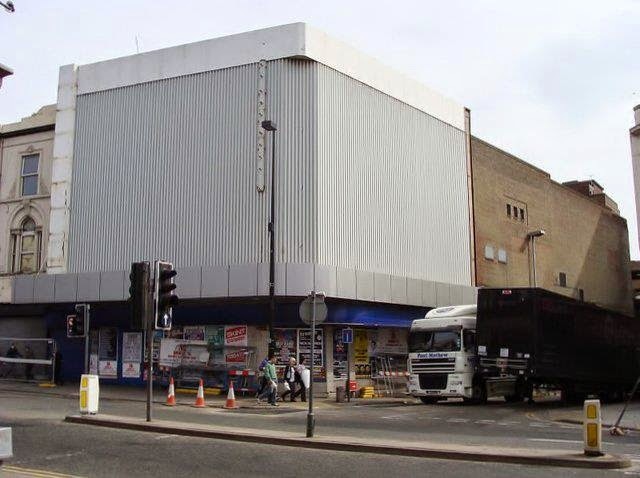 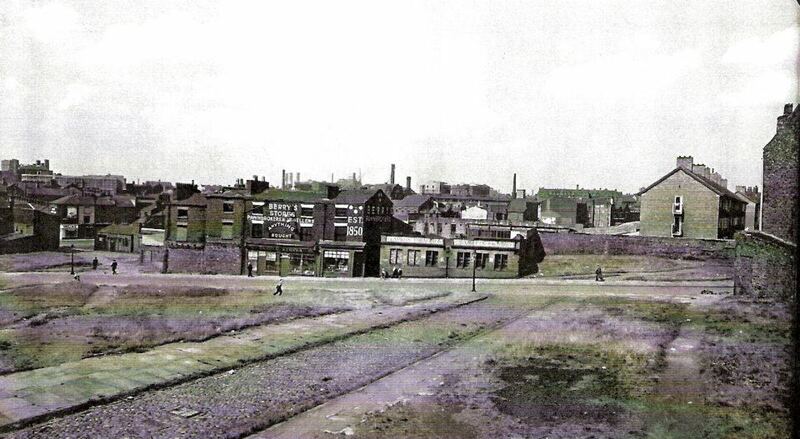 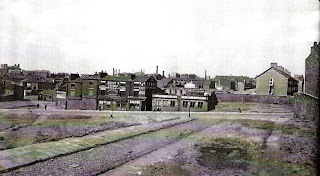 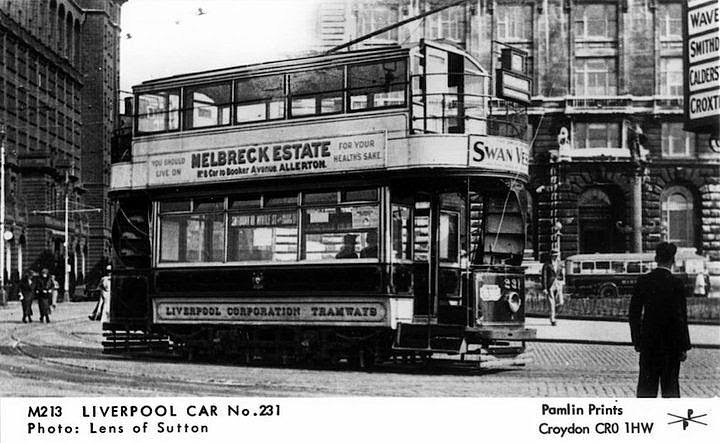 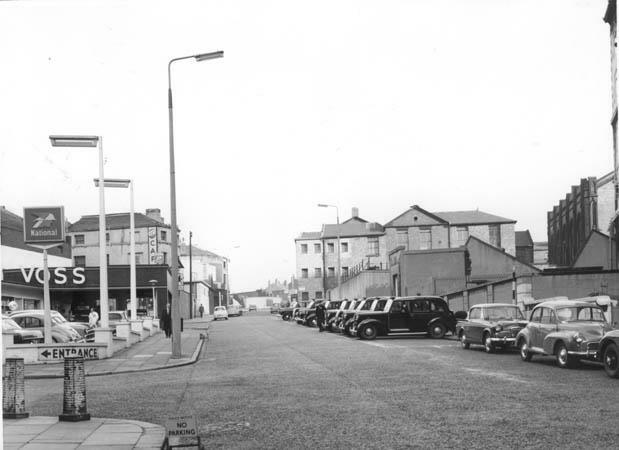 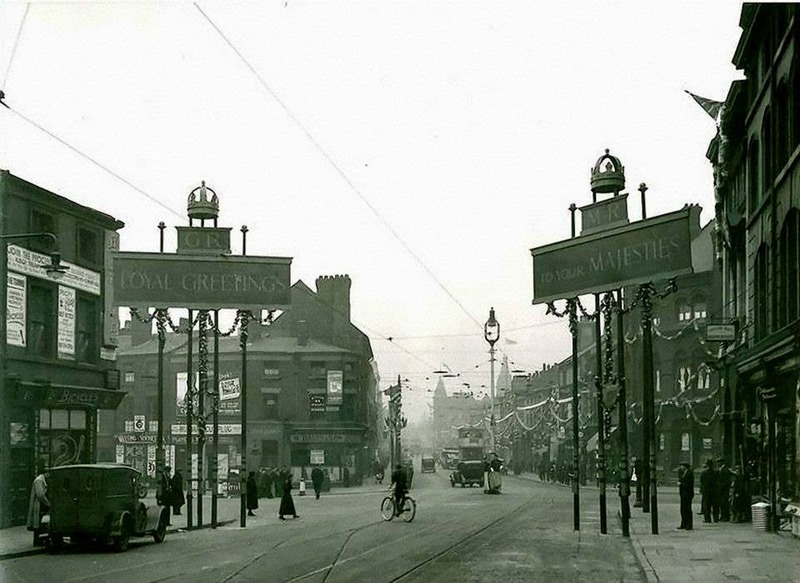 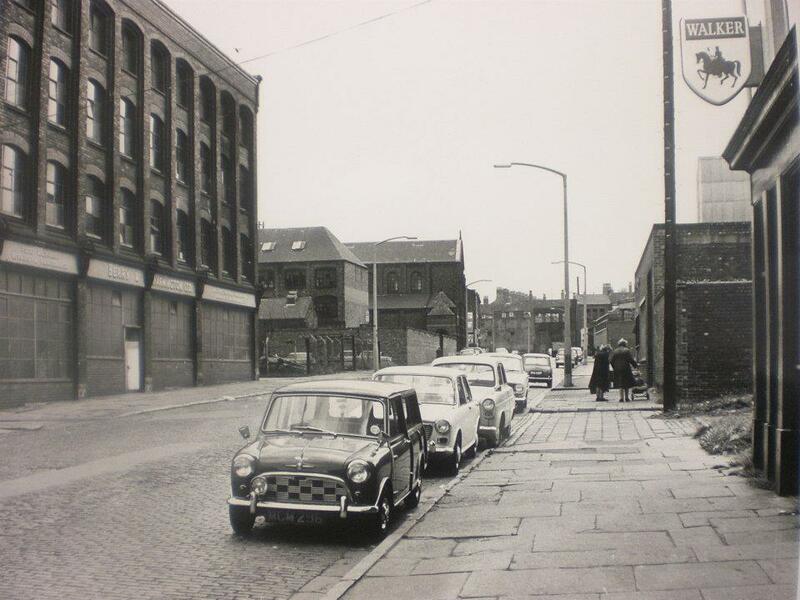 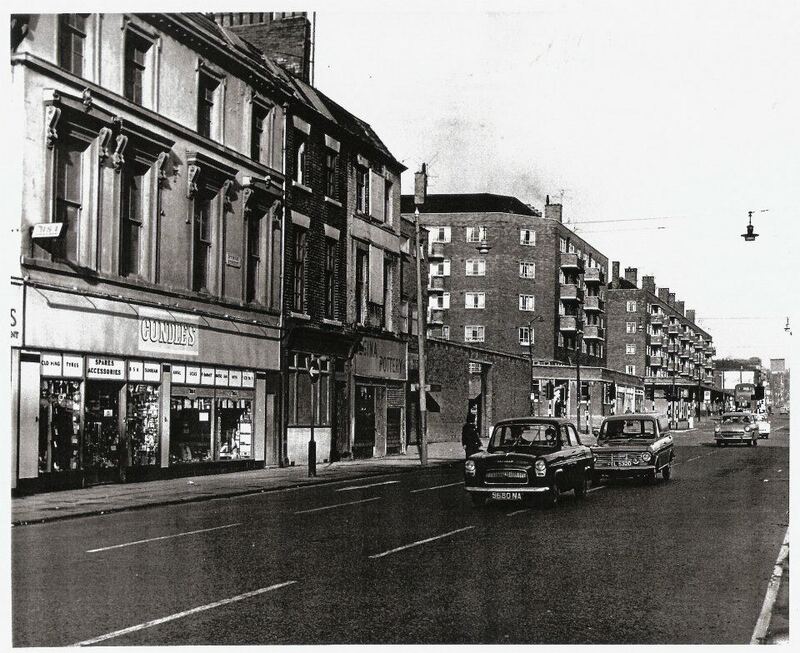 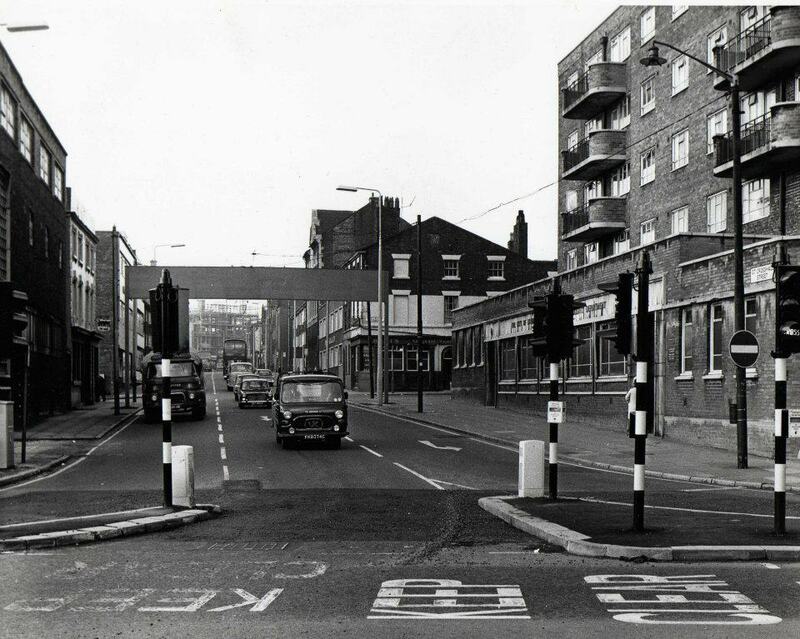 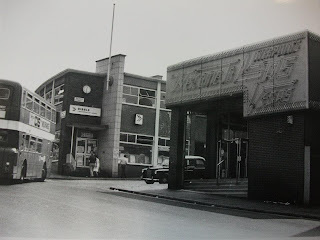 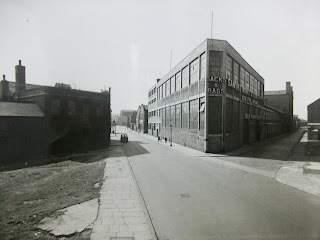 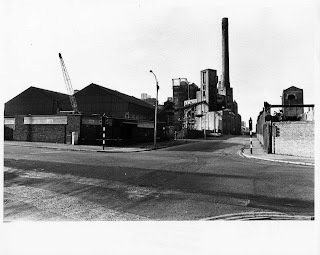 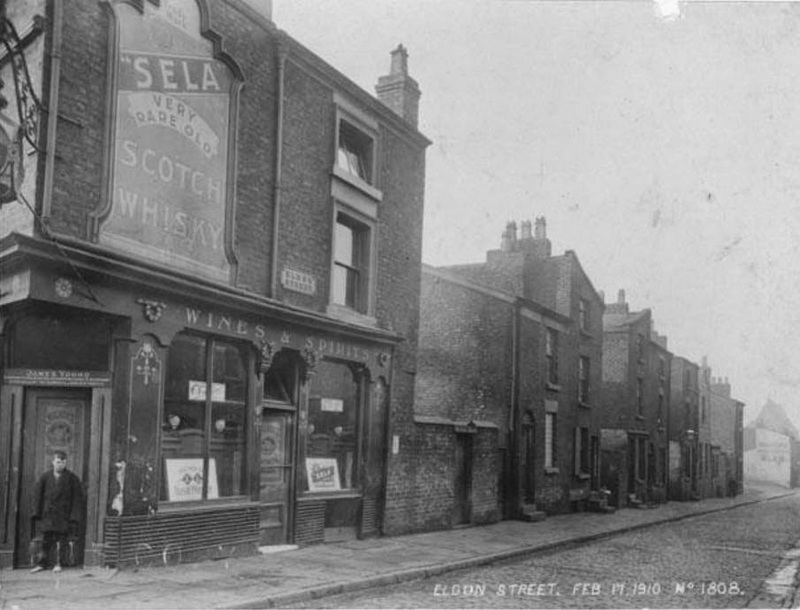 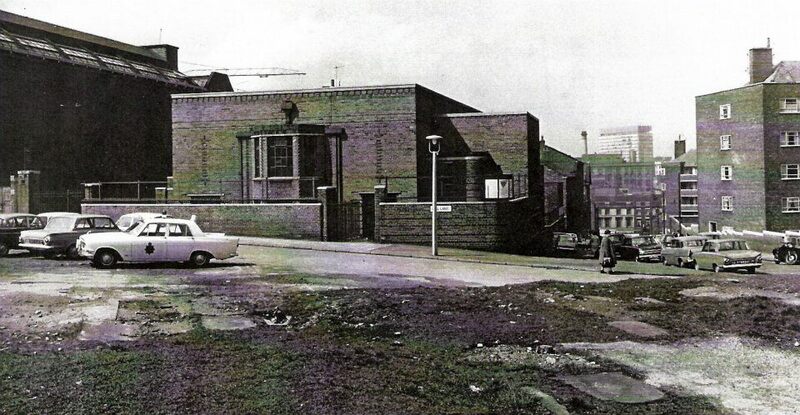 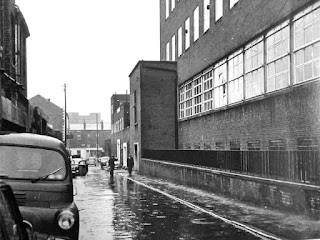 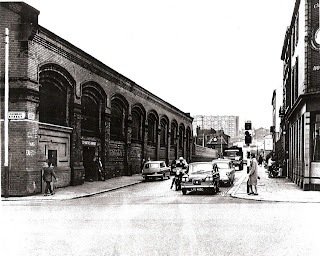 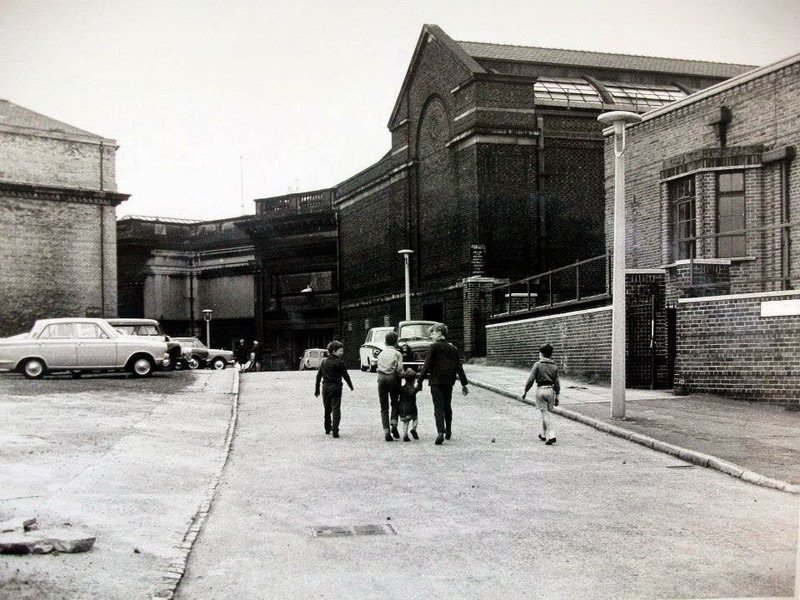 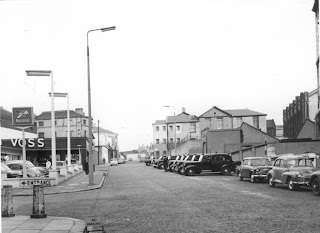 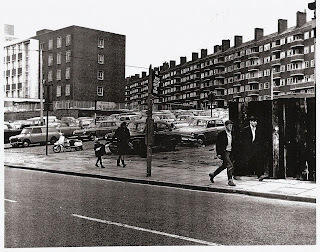 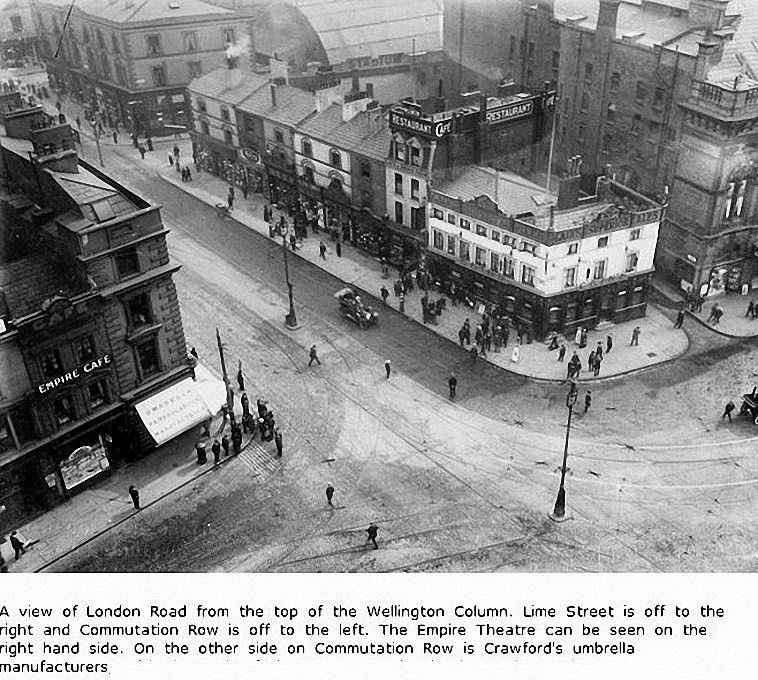 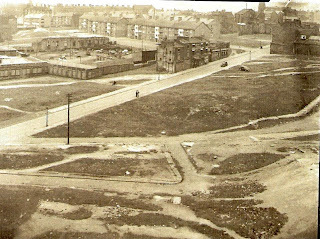 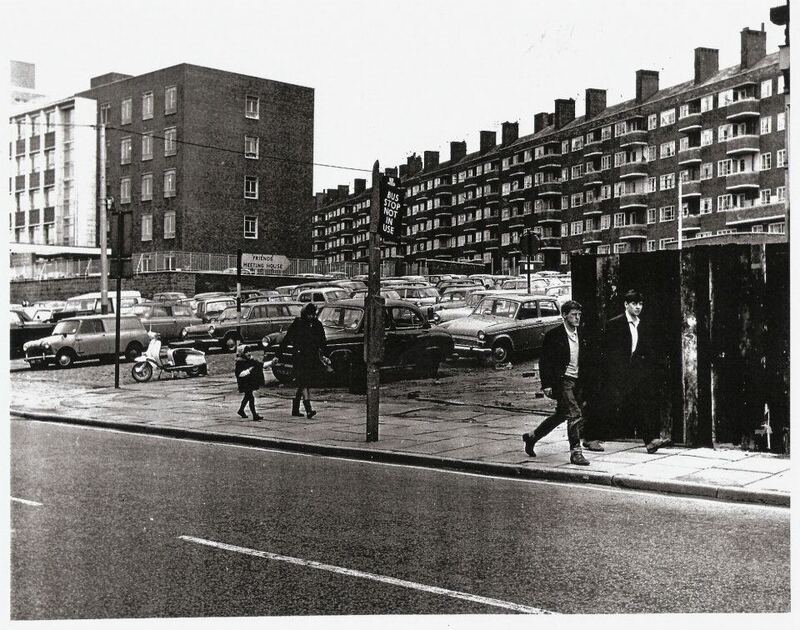 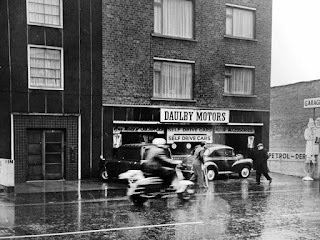 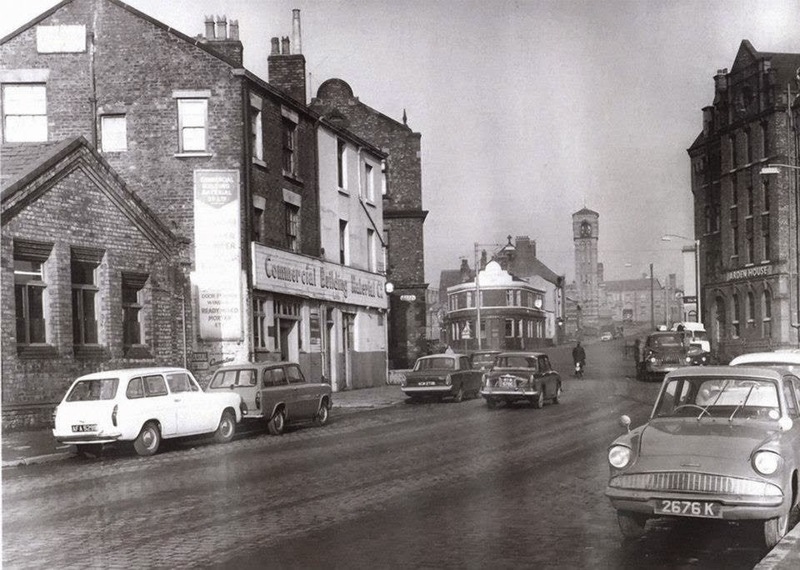 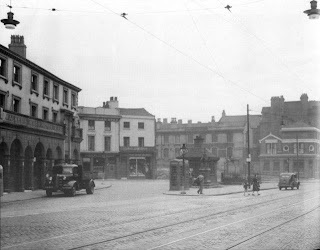 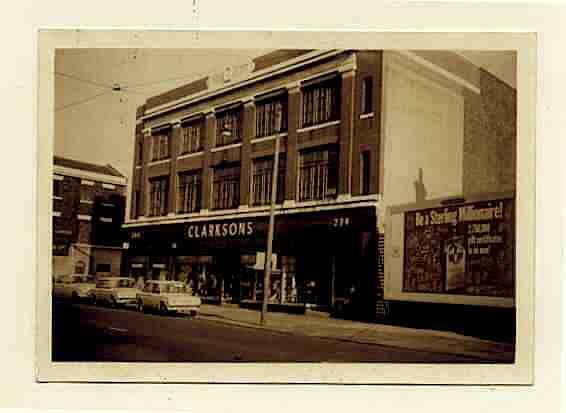 Camden st junction at Islington and Newsham Motors. 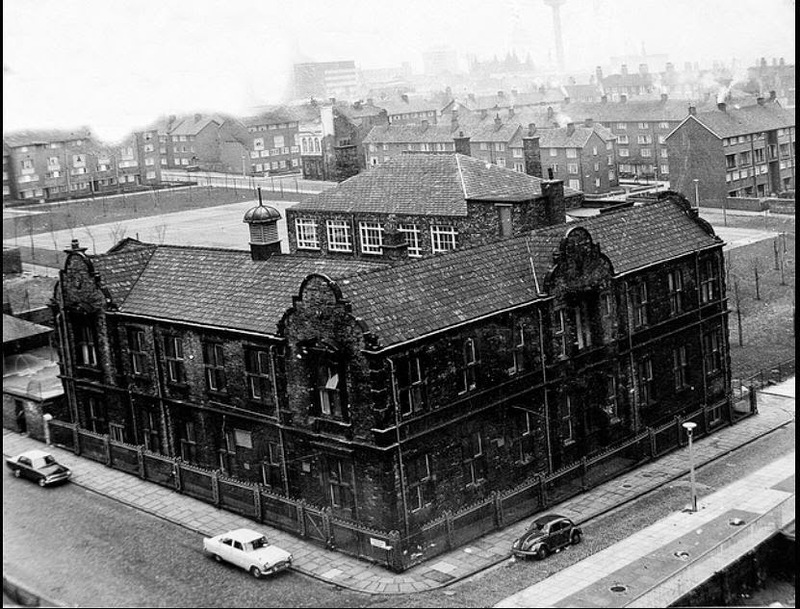 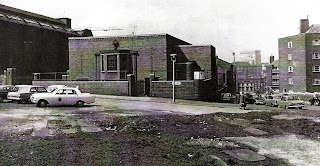 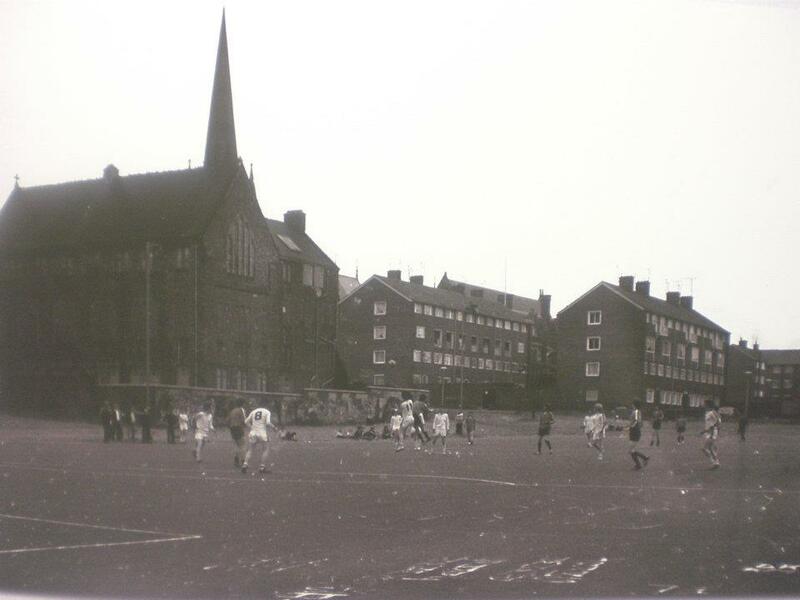 All Saints school, by then renamed St Annes. 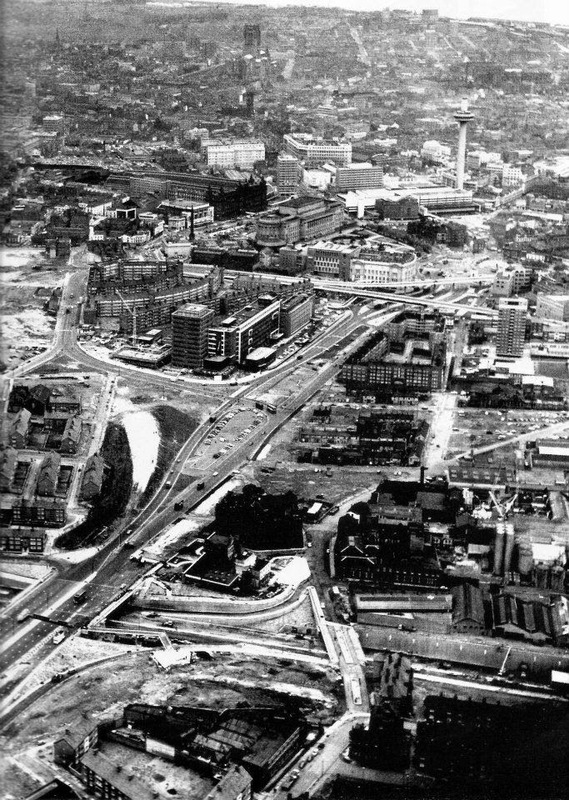 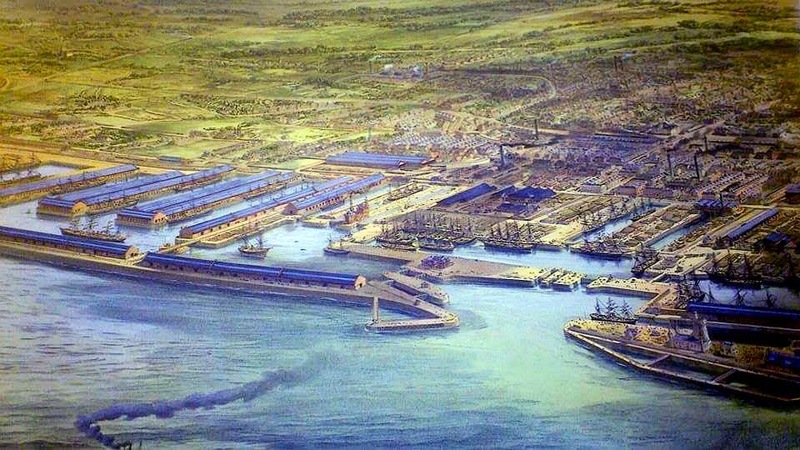 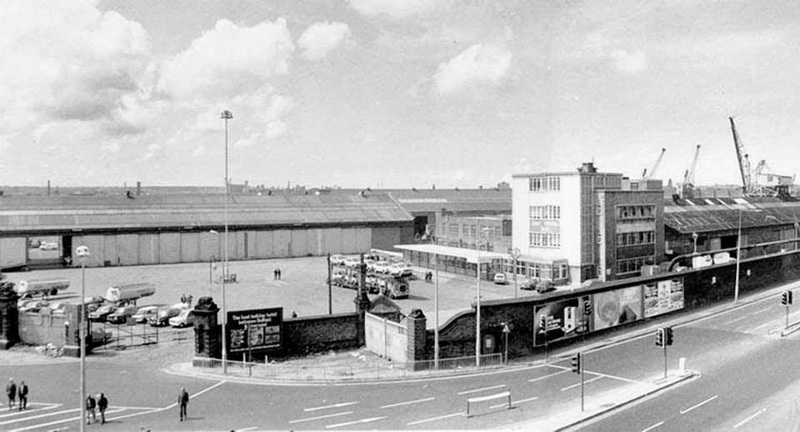 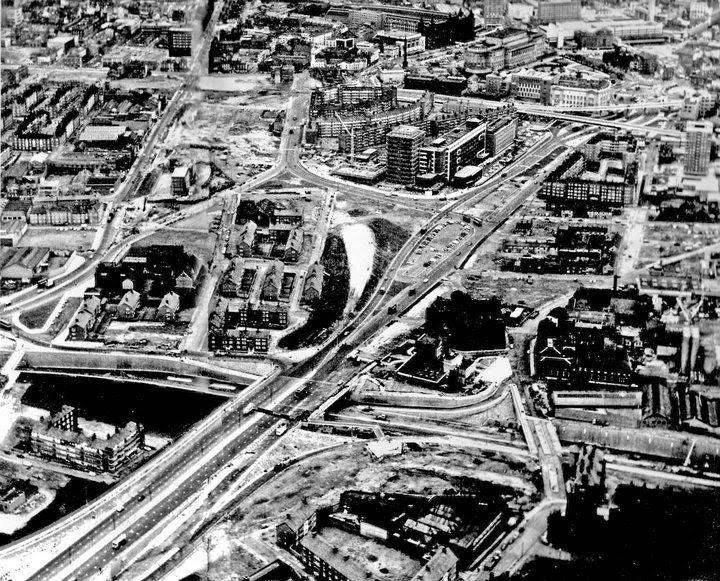 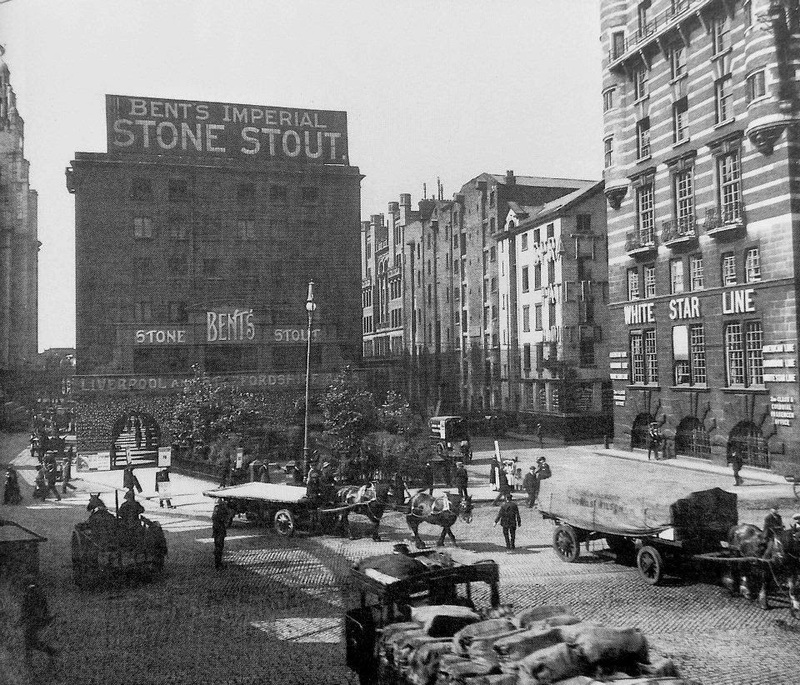 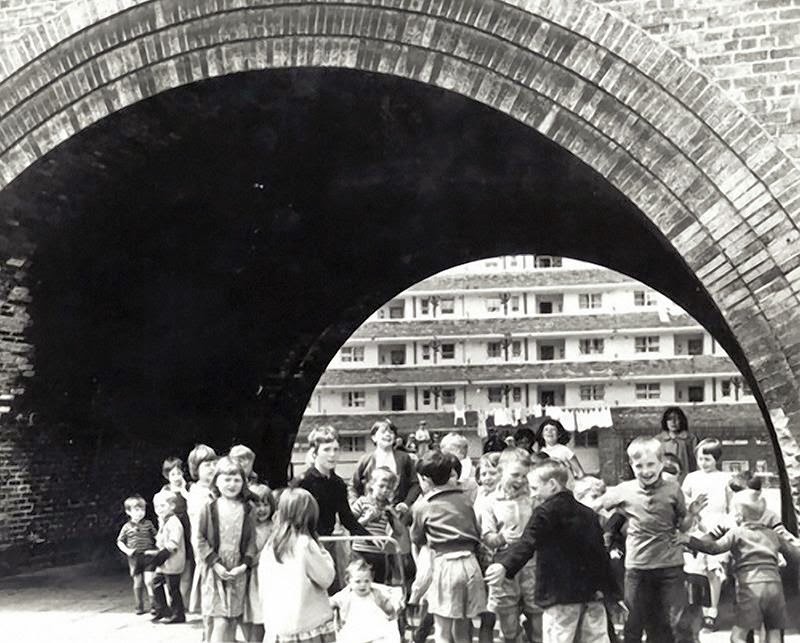 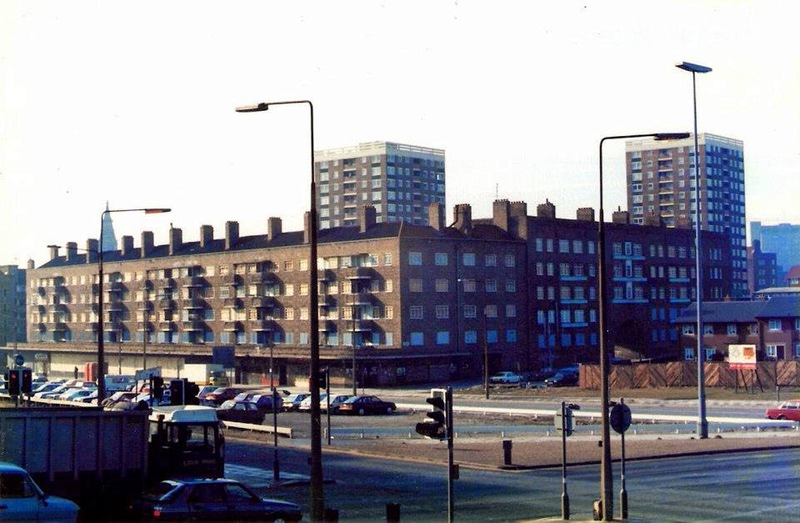 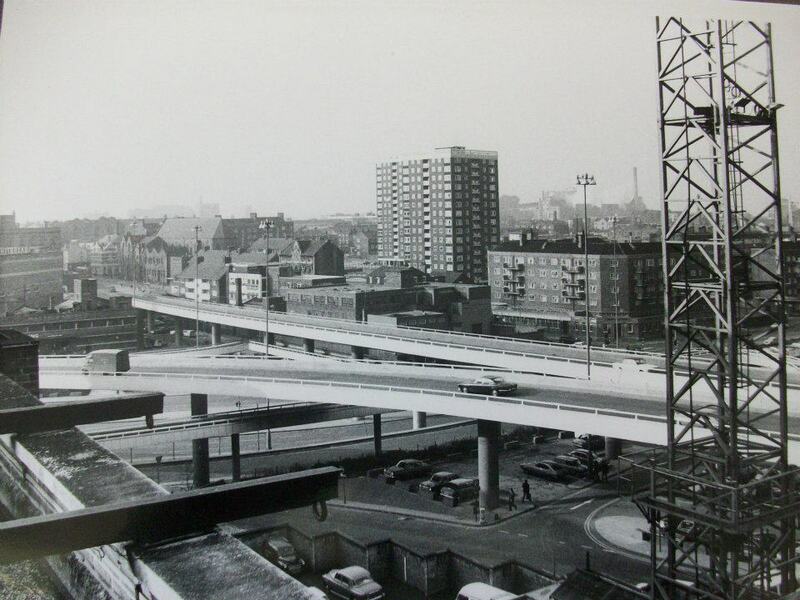 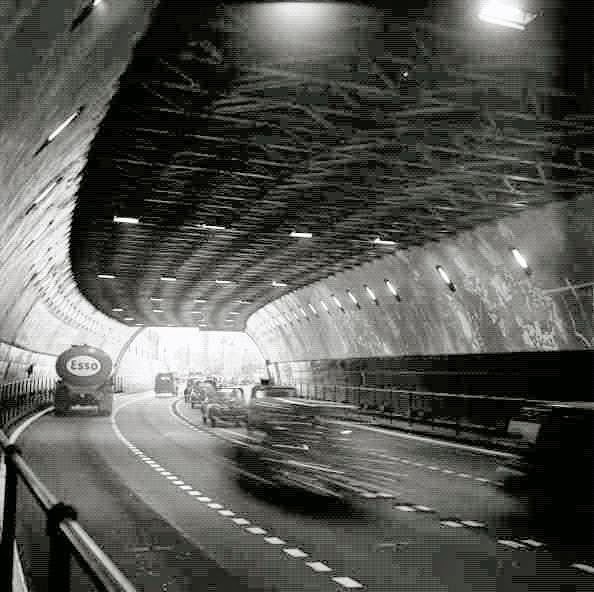 and breweries for the building of the Churchill Way flyovers. 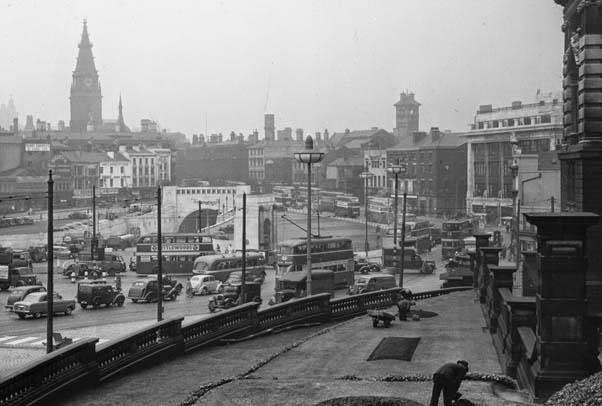 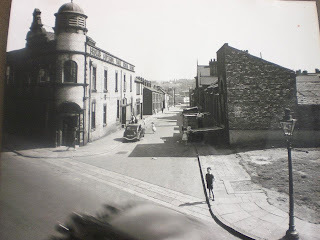 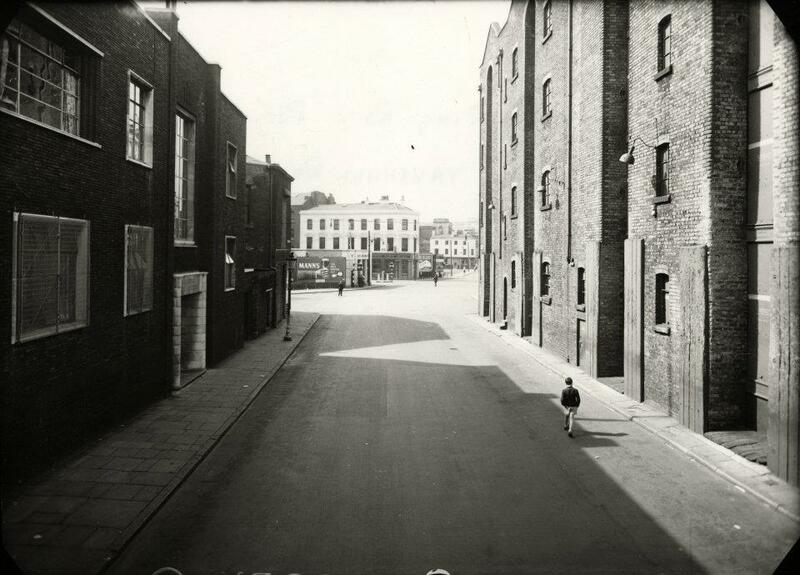 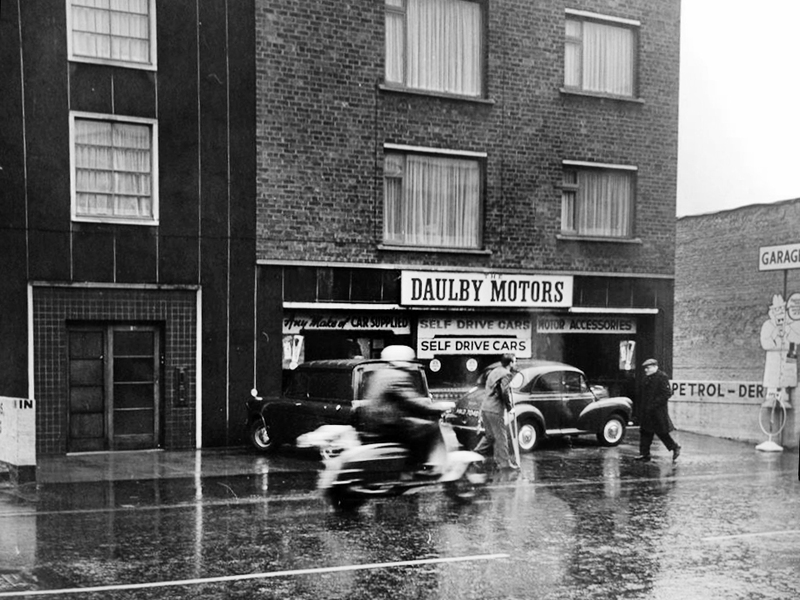 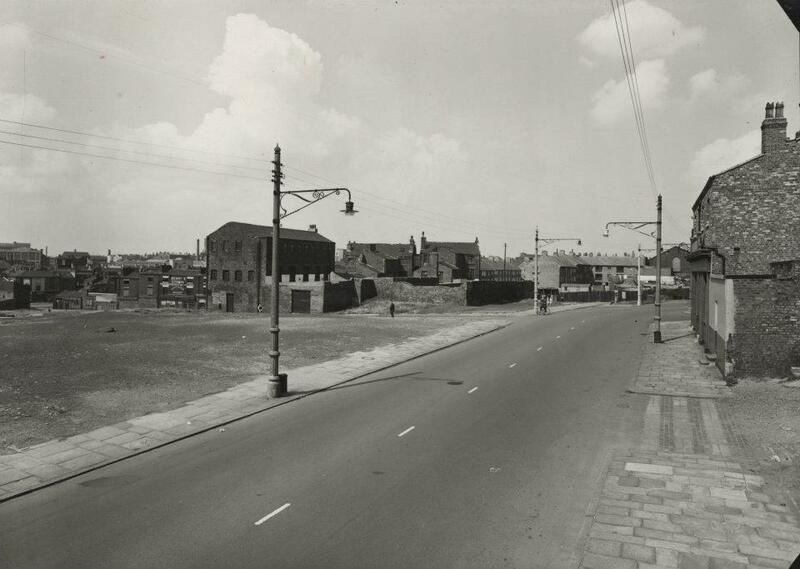 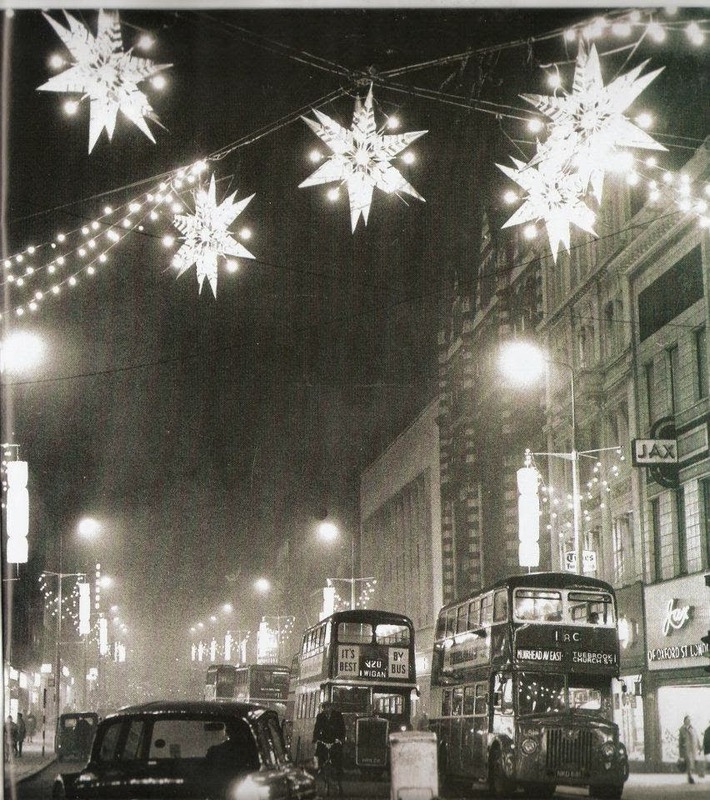 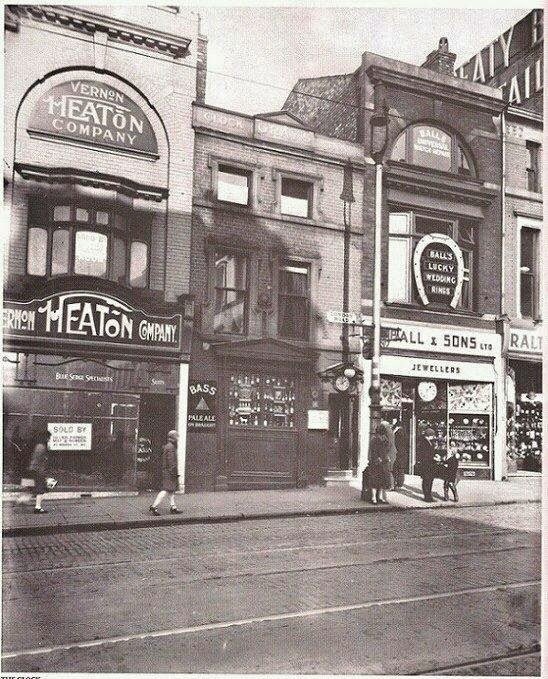 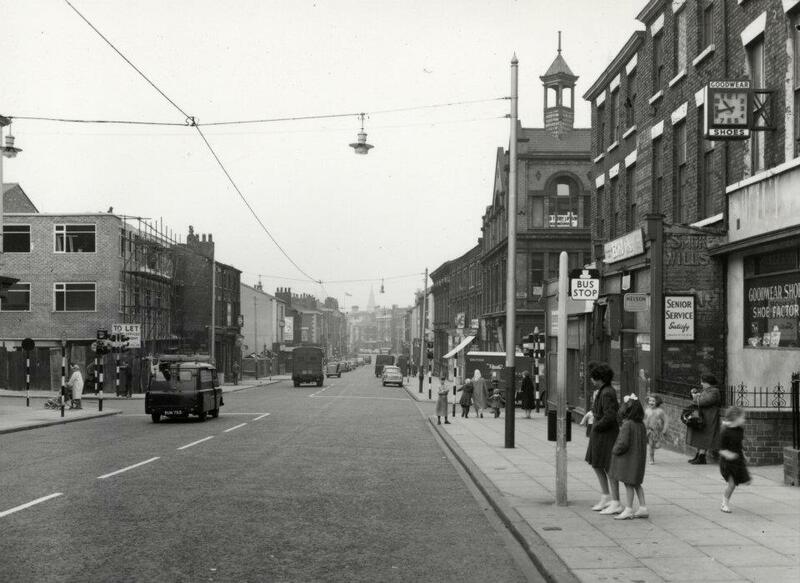 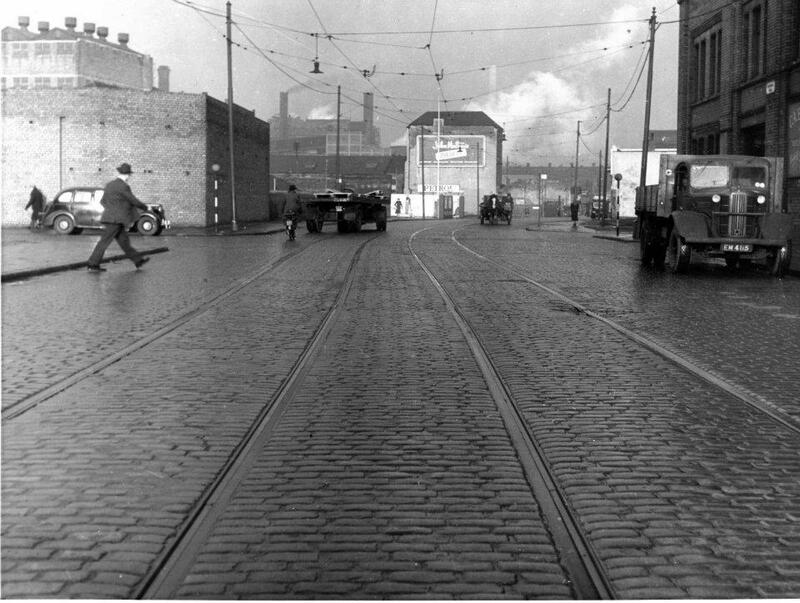 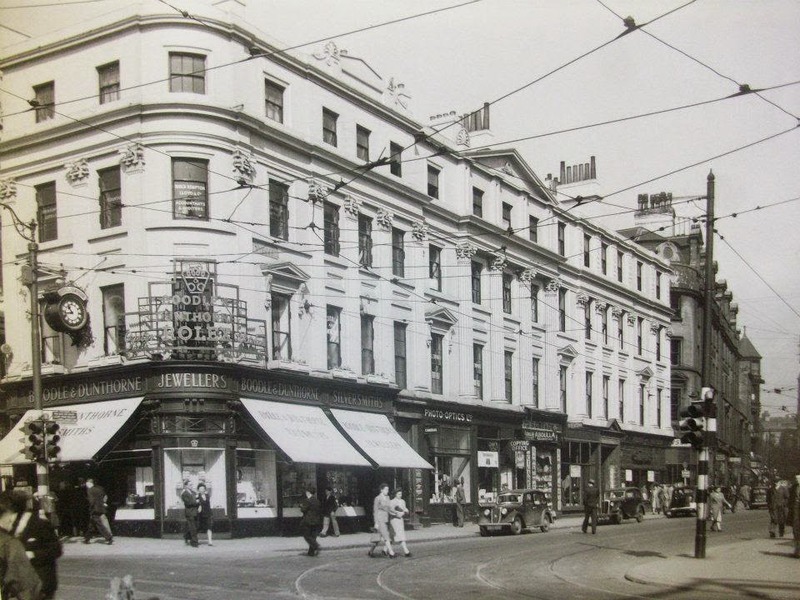 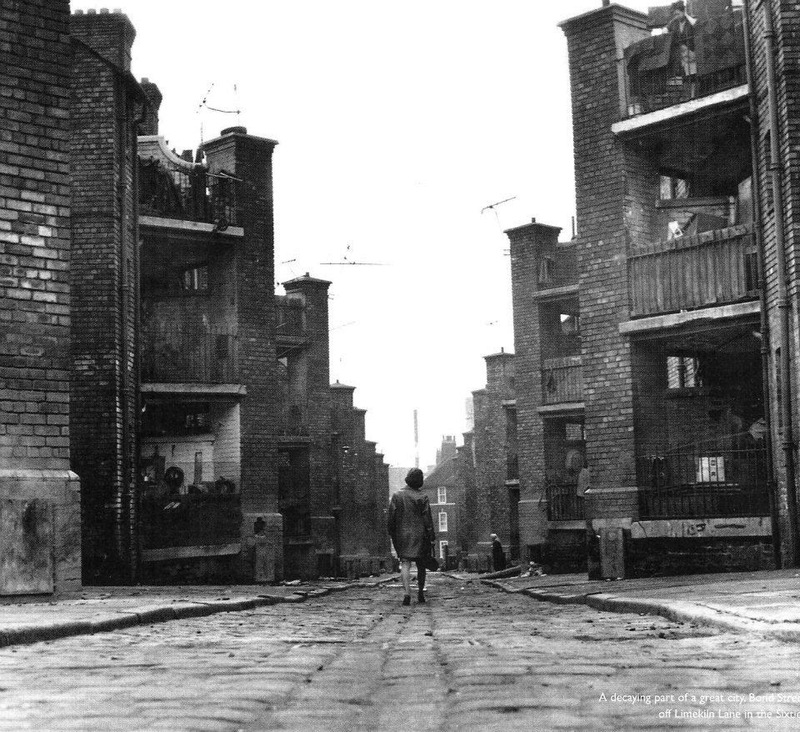 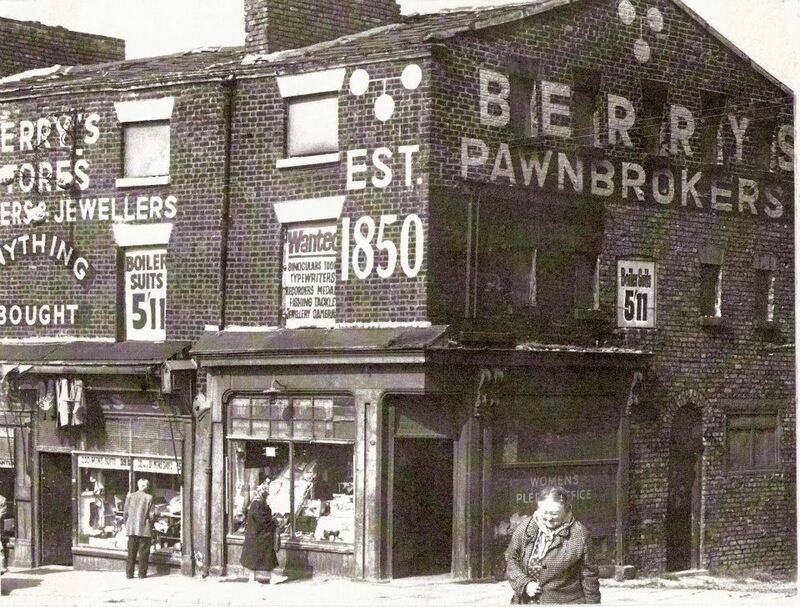 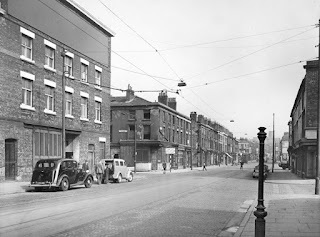 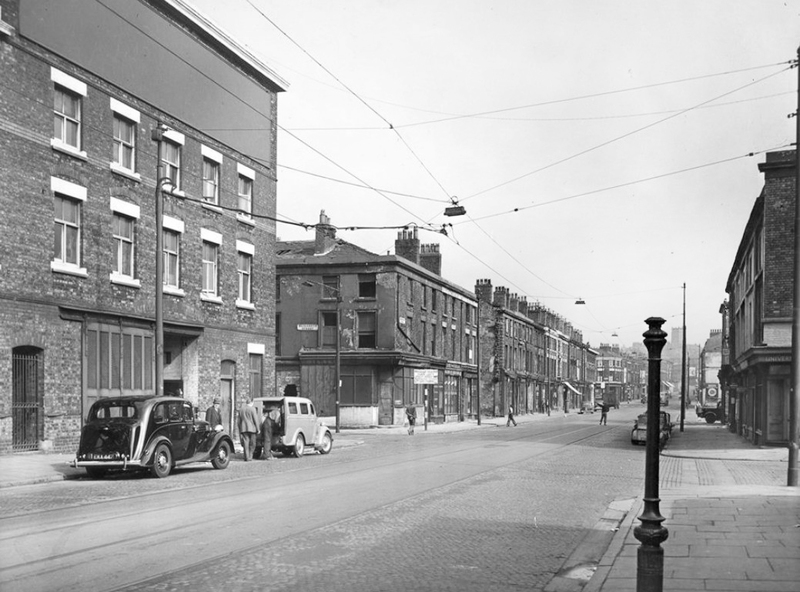 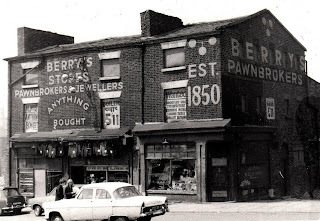 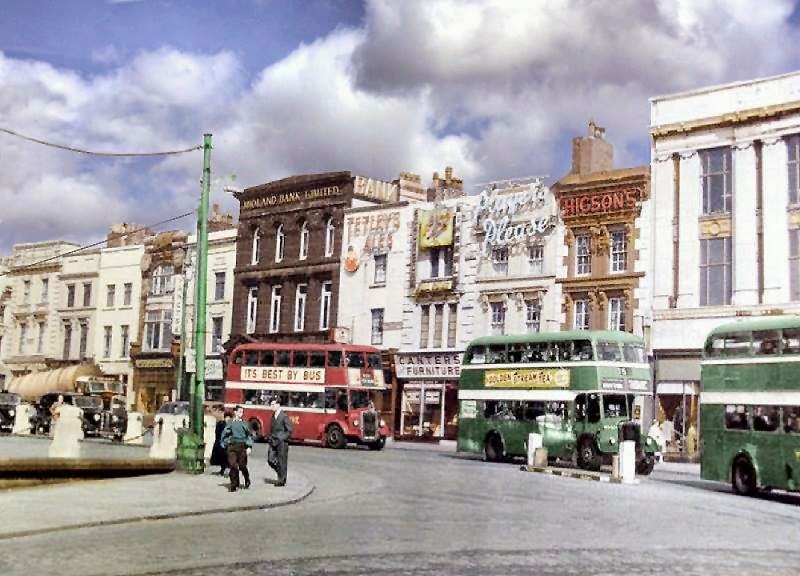 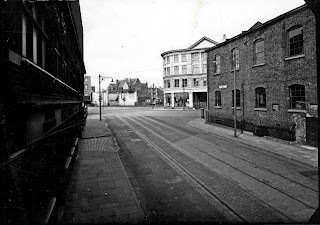 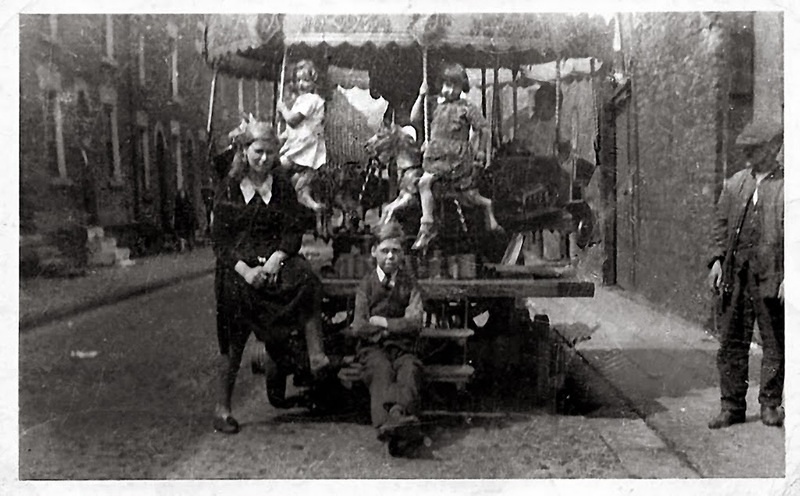 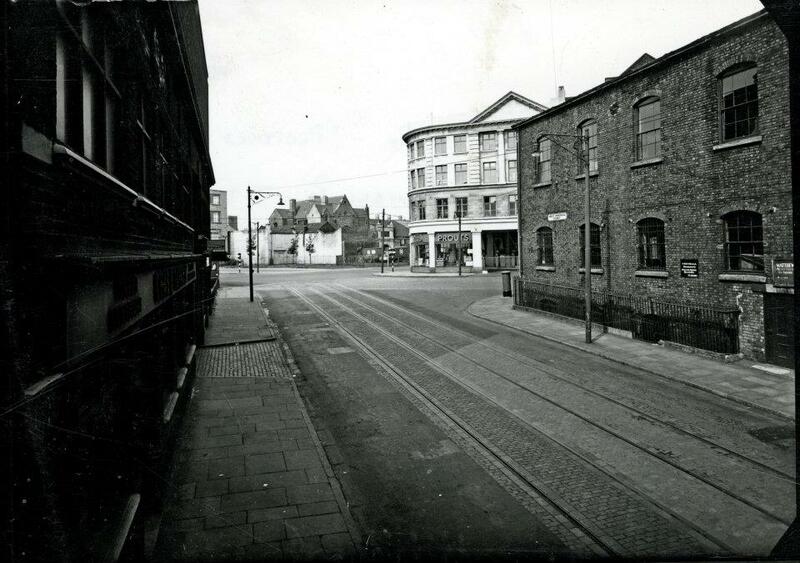 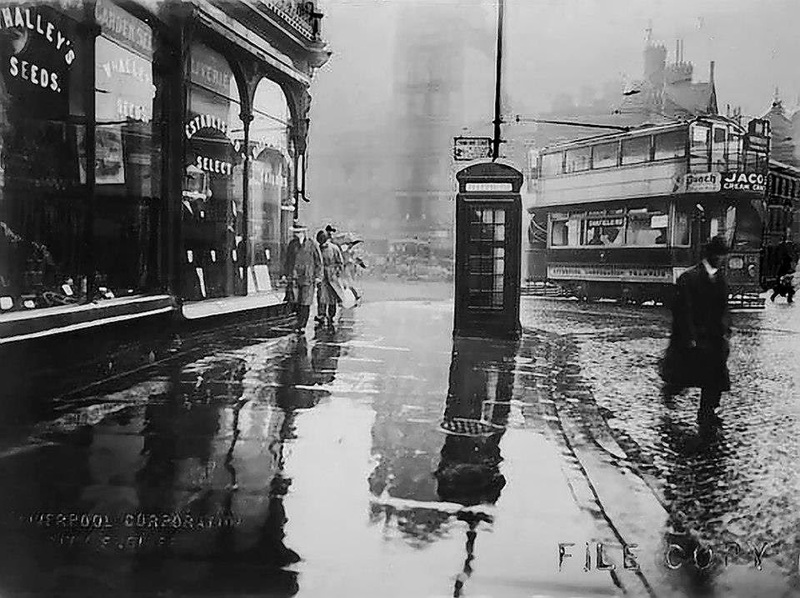 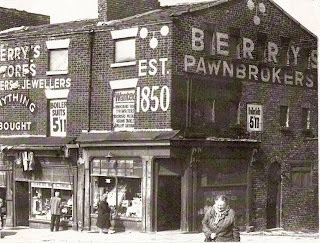 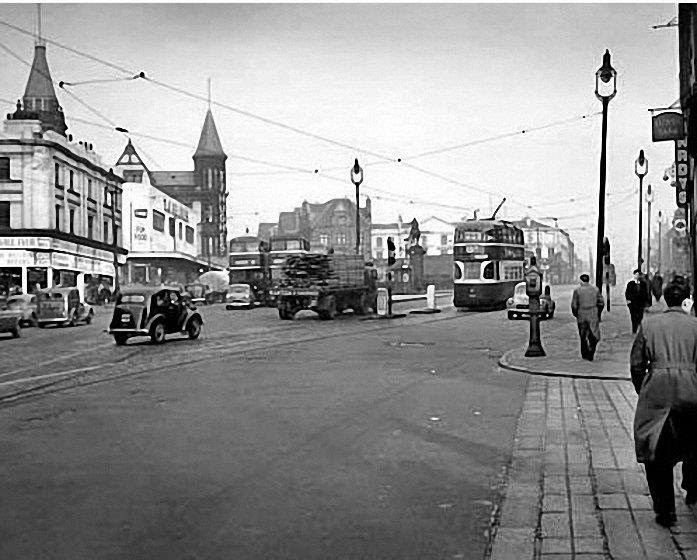 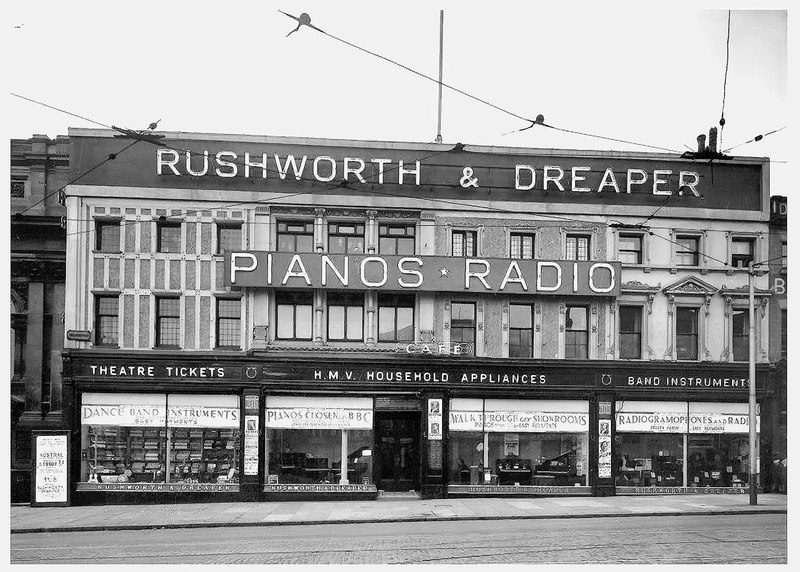 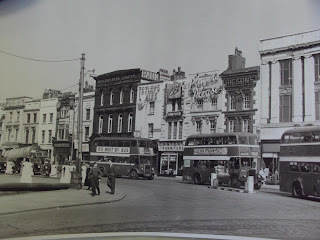 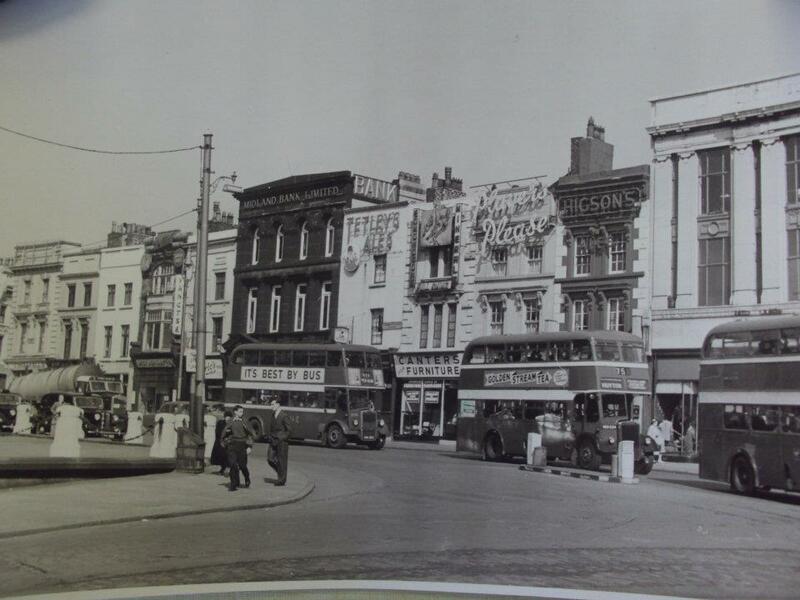 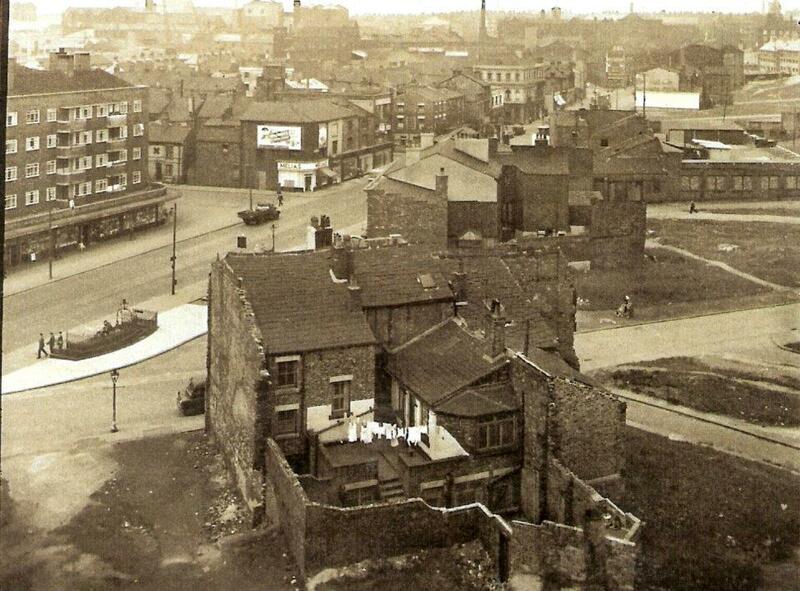 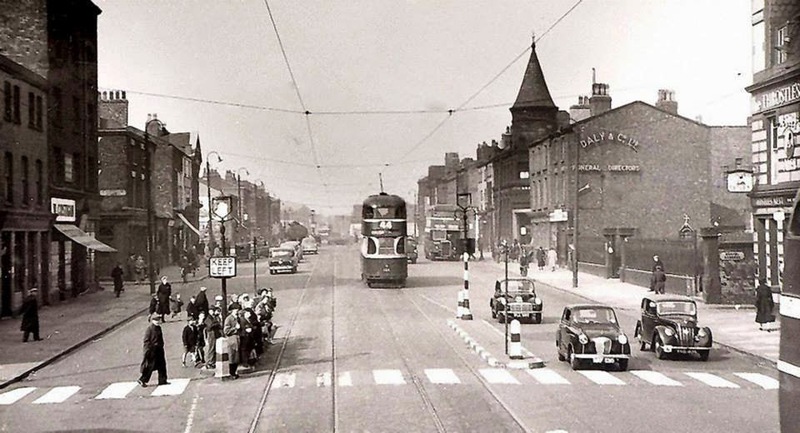 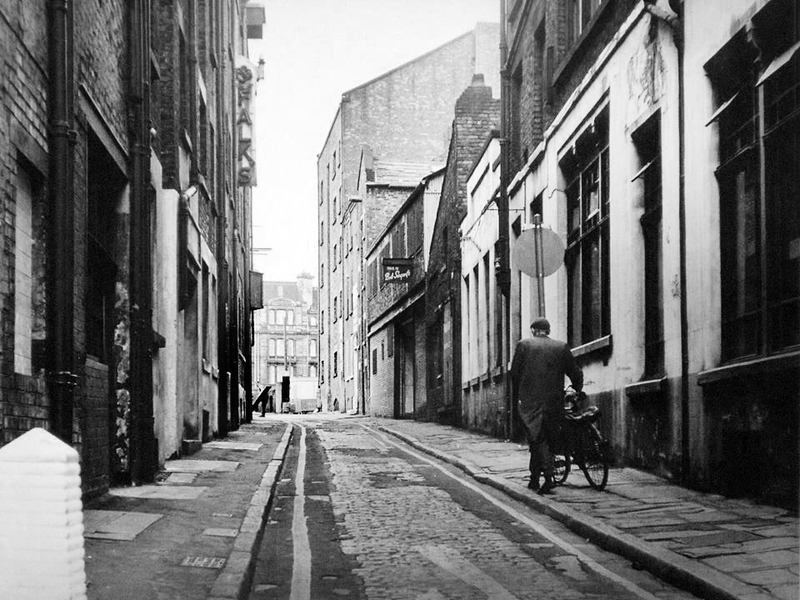 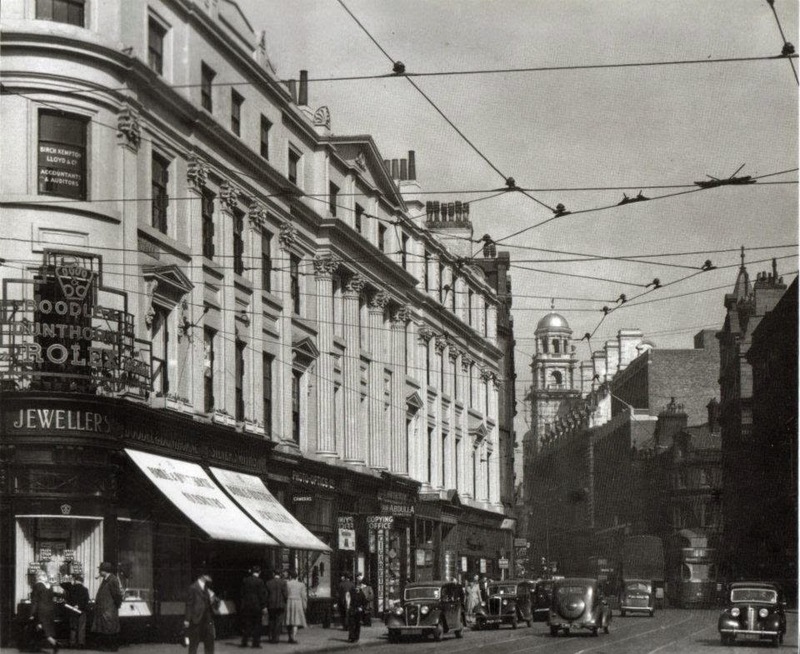 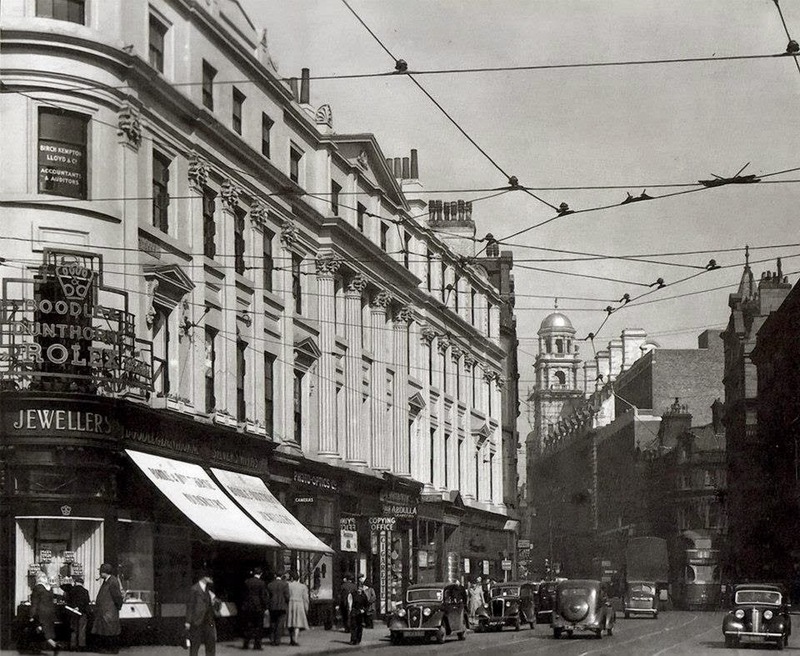 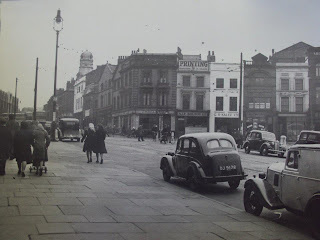 London Road 1949 from William Brown st.
Richmond Row - Berry's pawn shop. 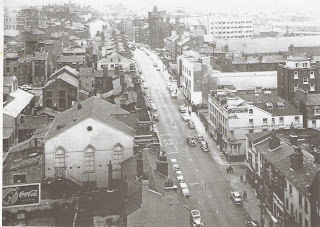 Salisbury street towards Canterbury heights. 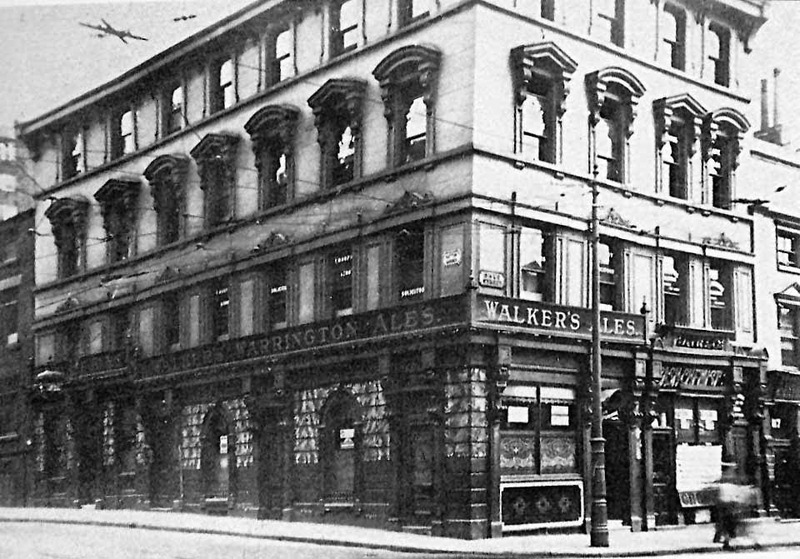 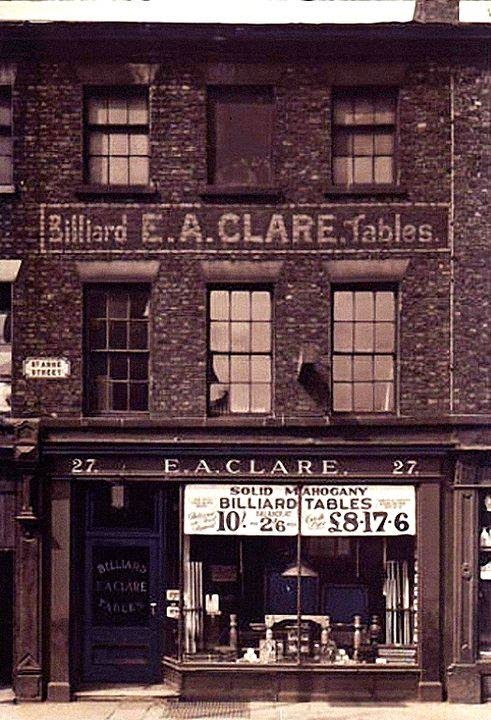 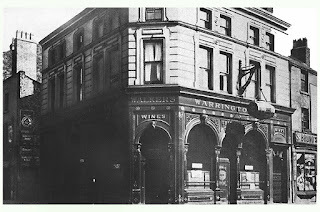 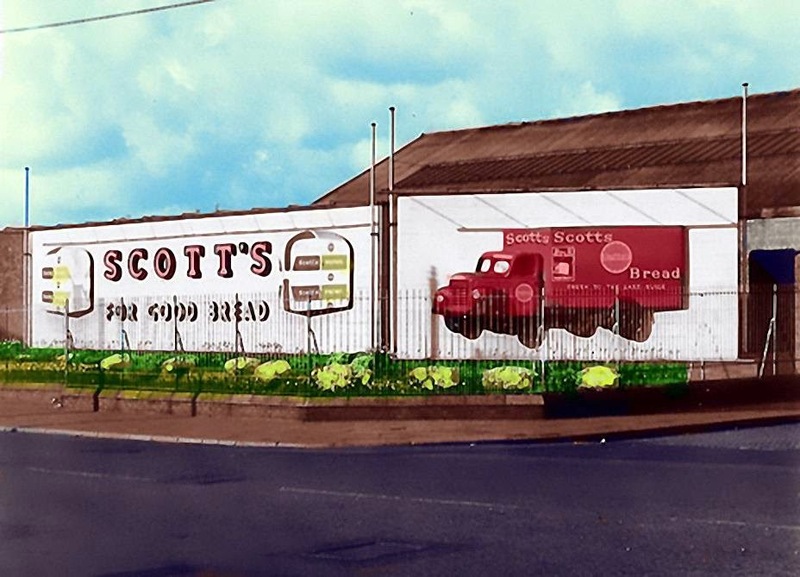 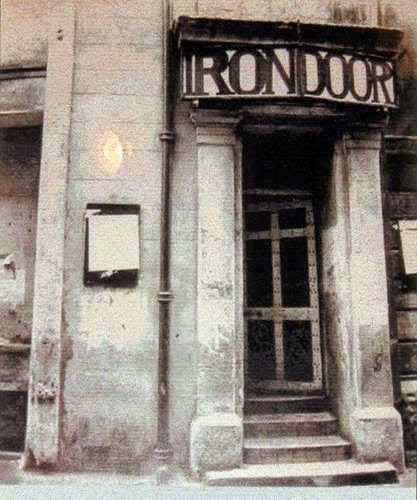 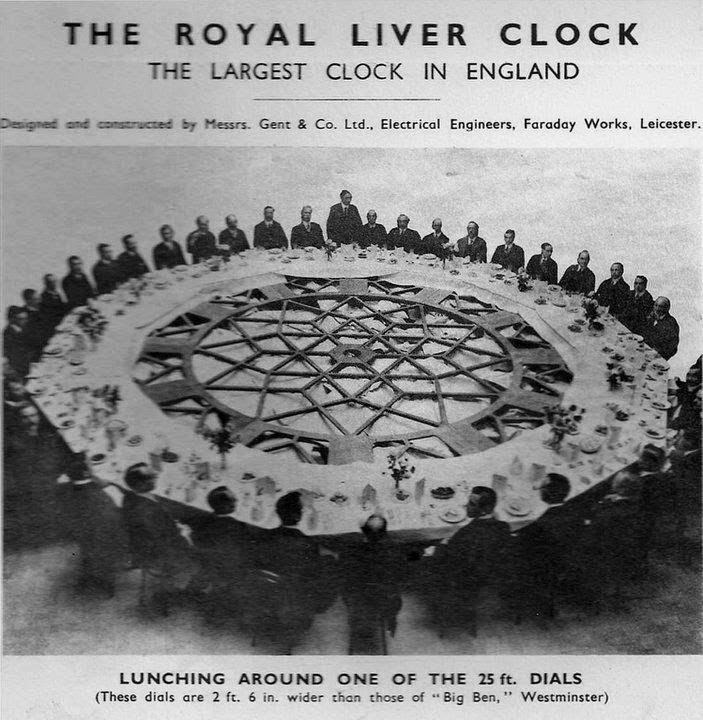 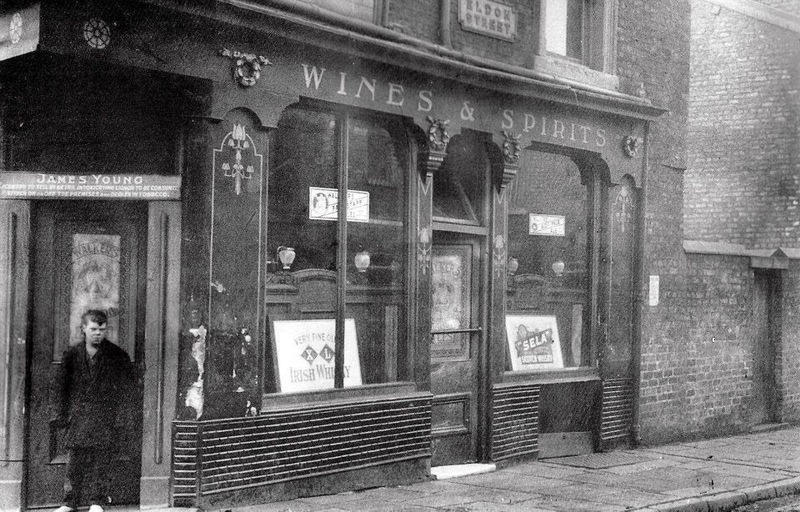 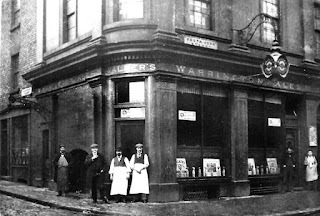 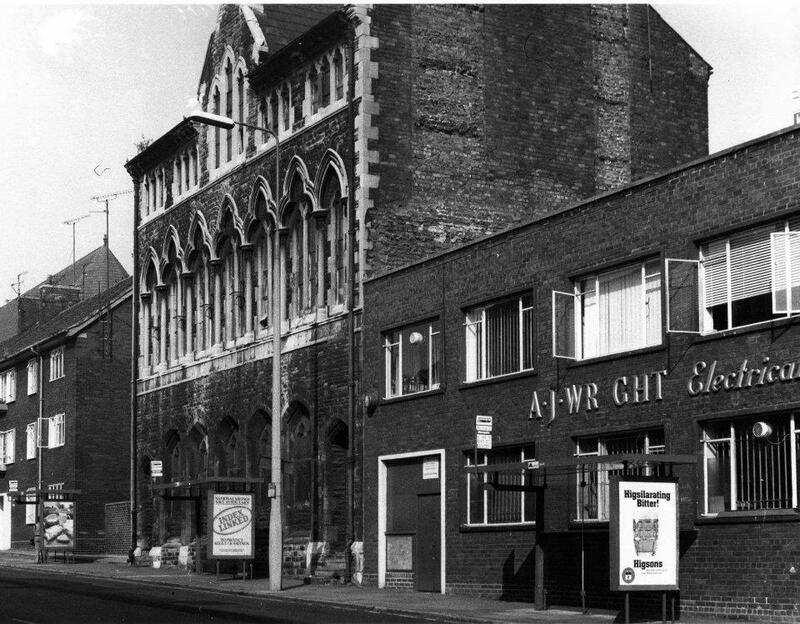 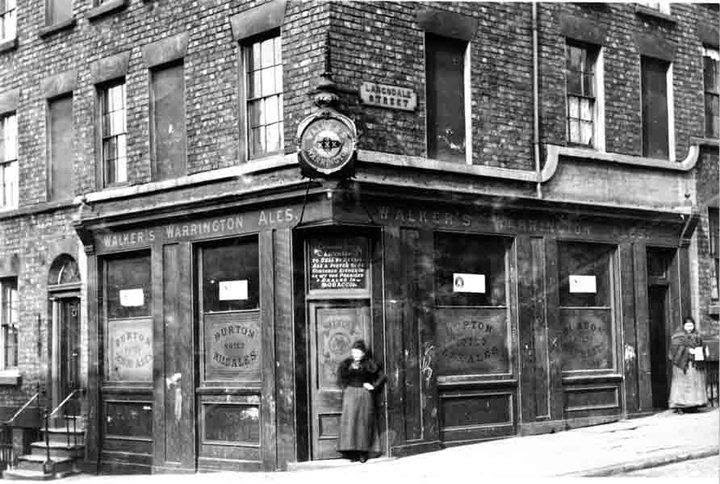 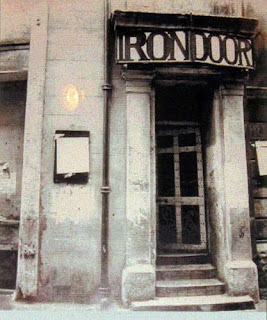 of this pub and is now in St Anthony's churchyard. 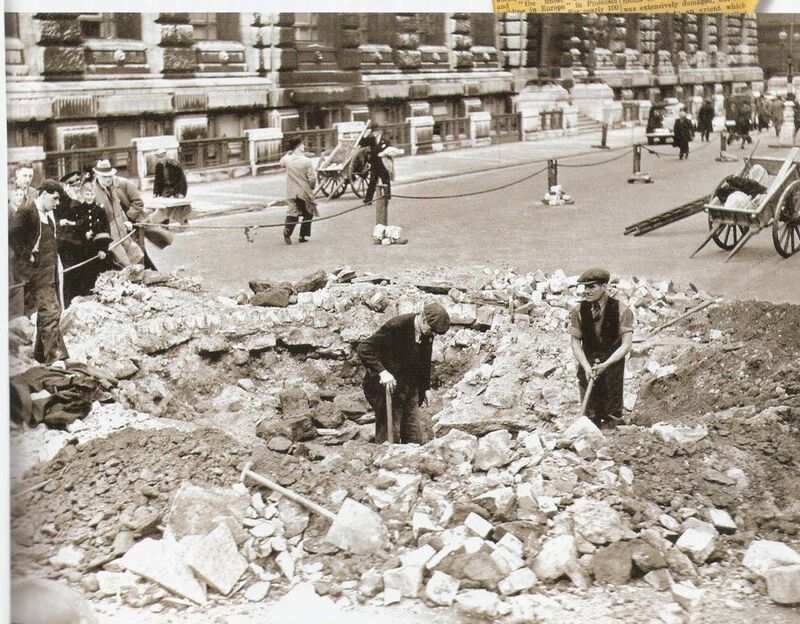 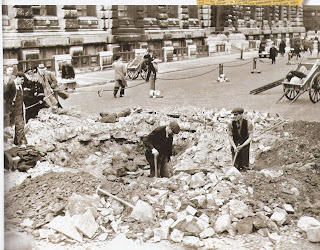 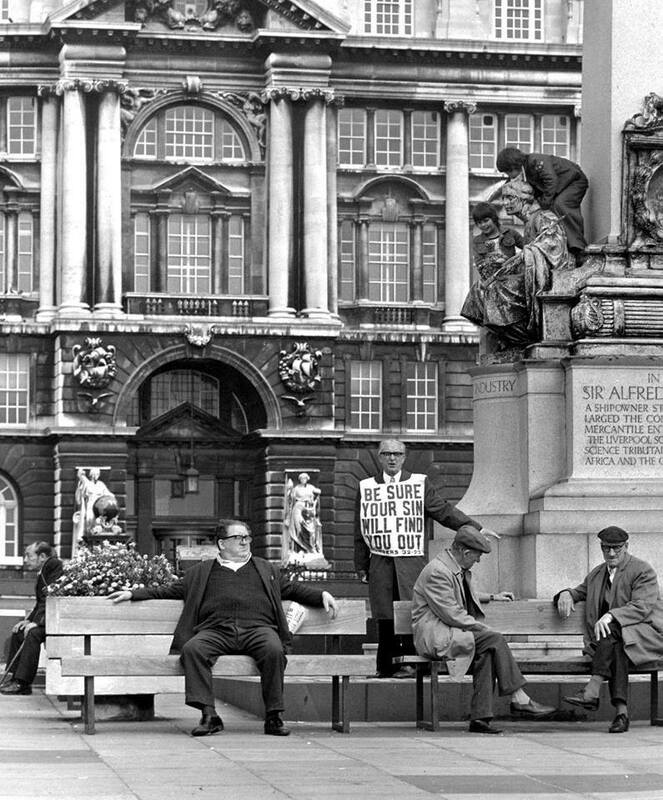 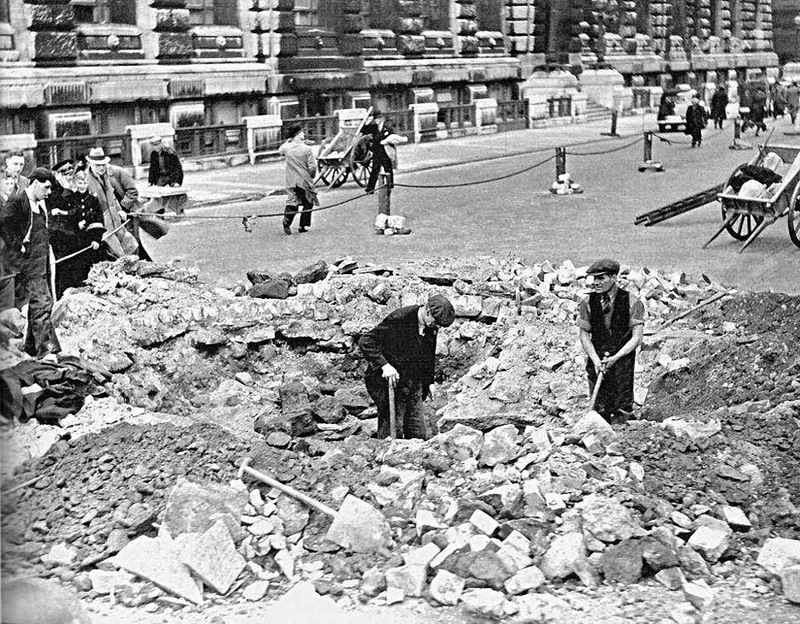 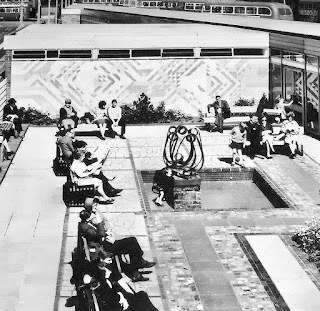 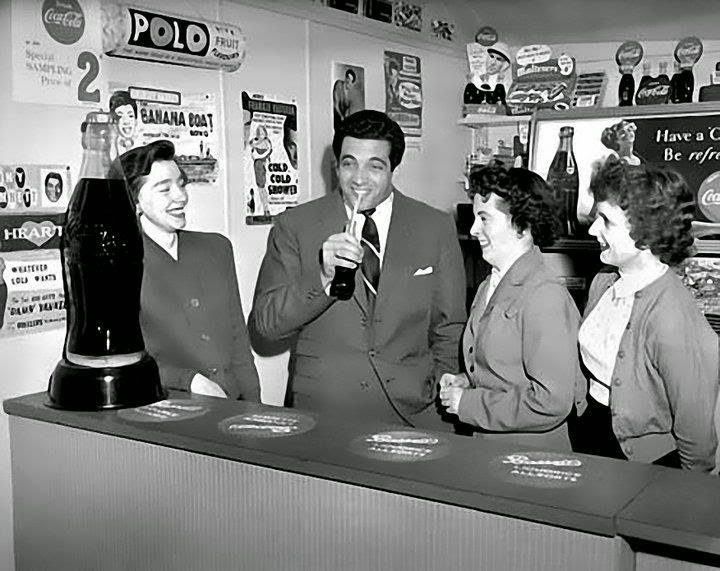 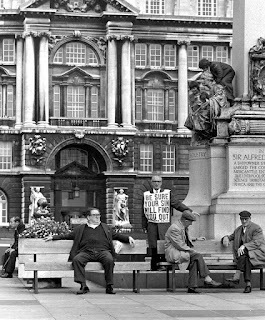 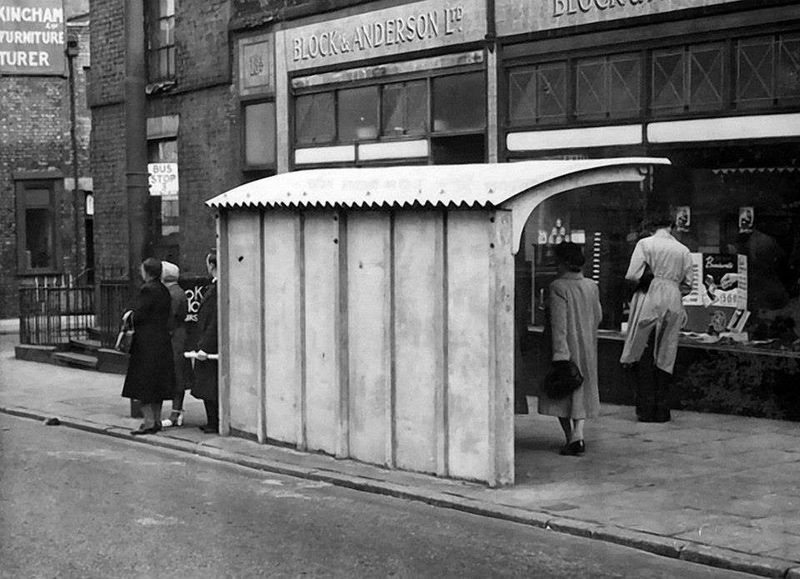 Soho Sq 1954. 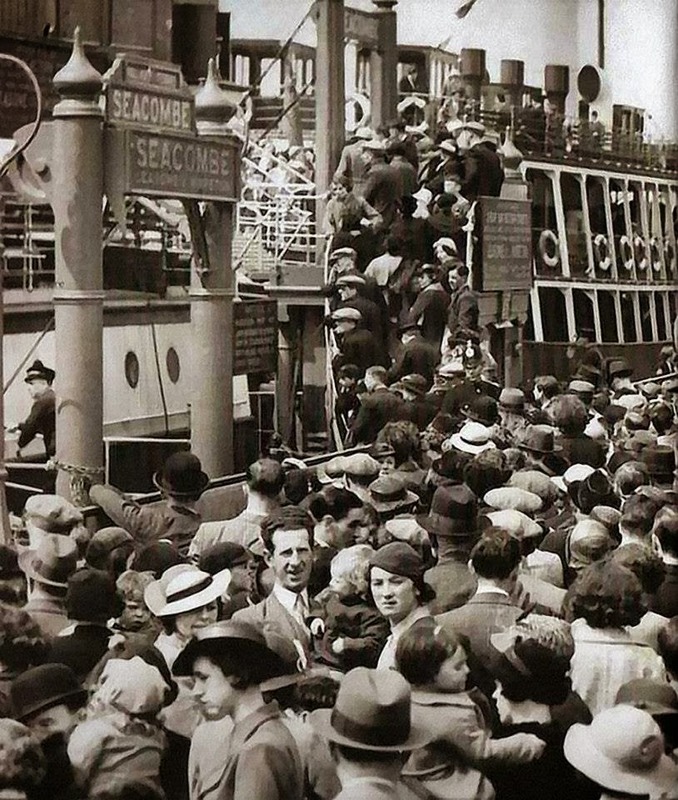 Bessie Braddock makes a visit. 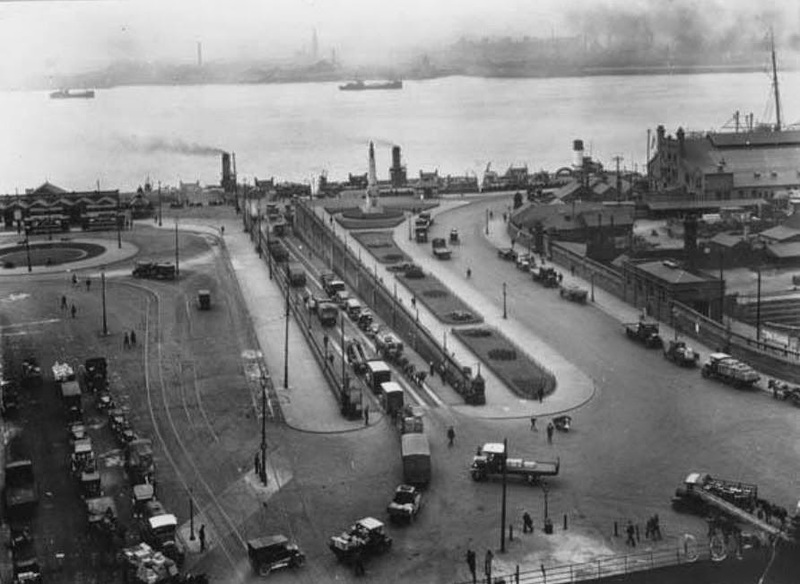 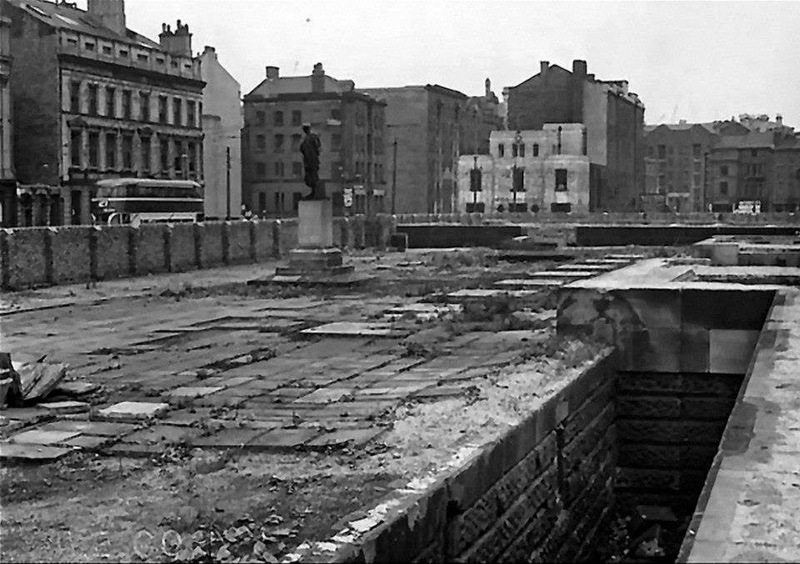 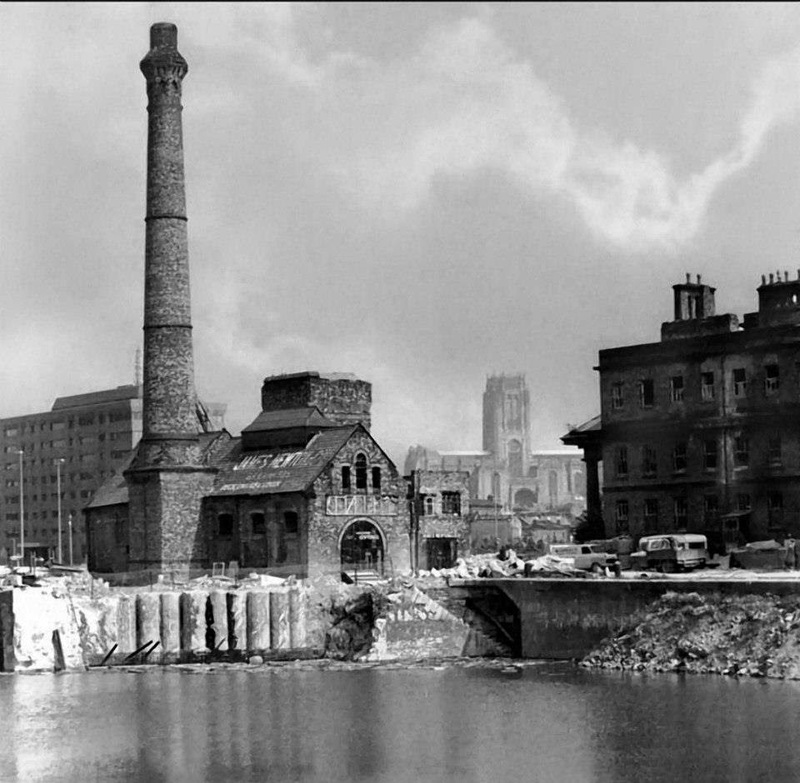 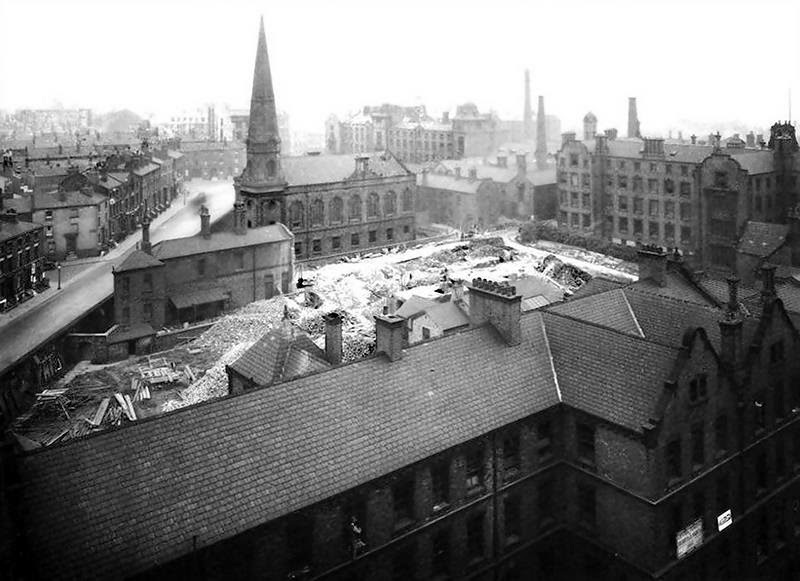 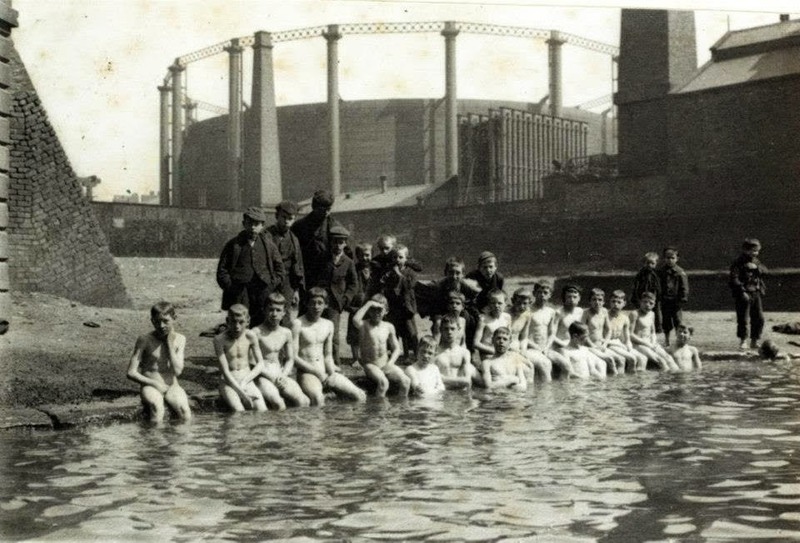 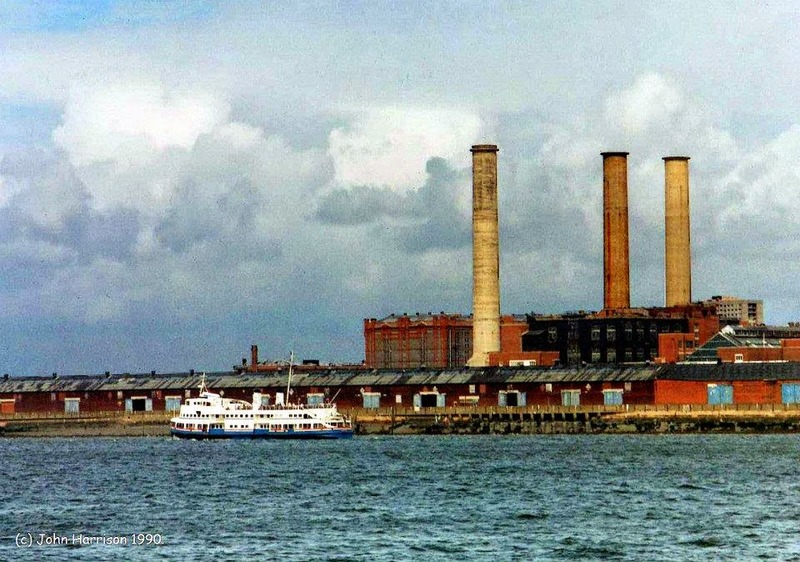 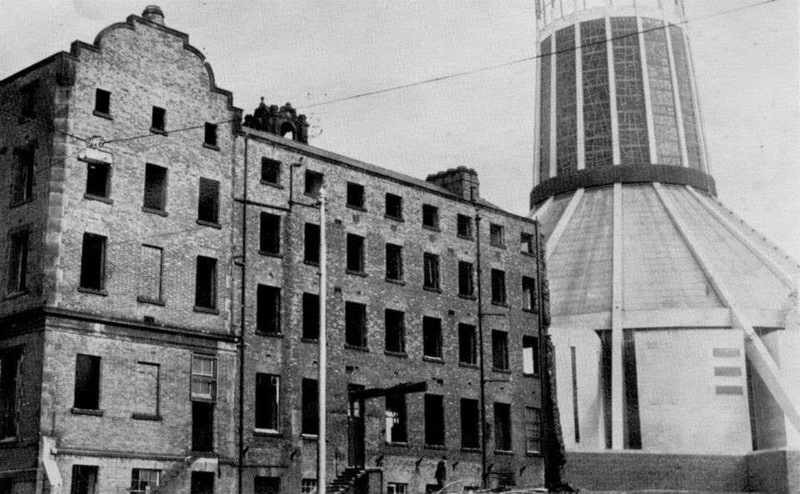 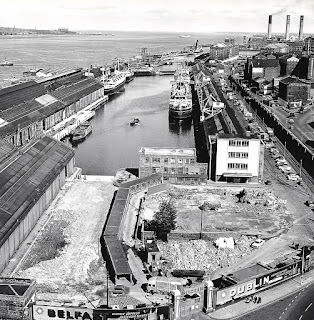 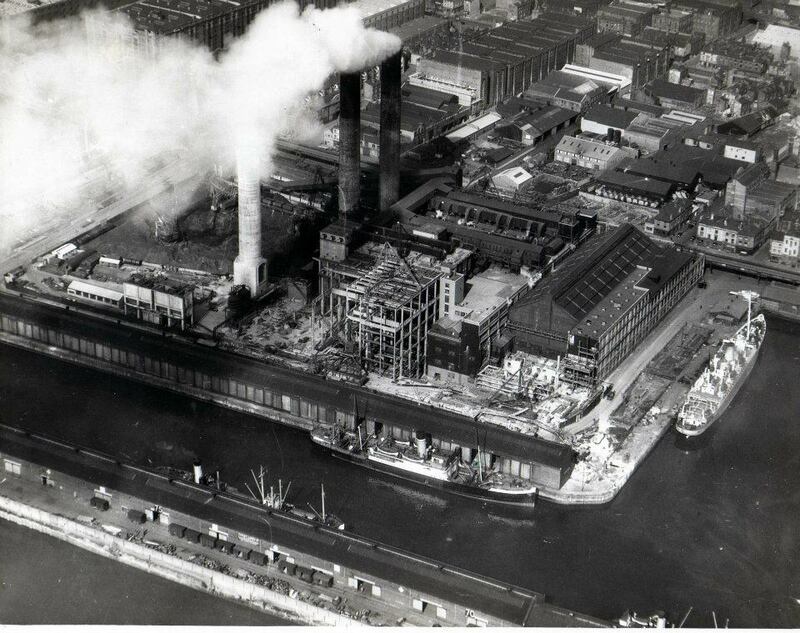 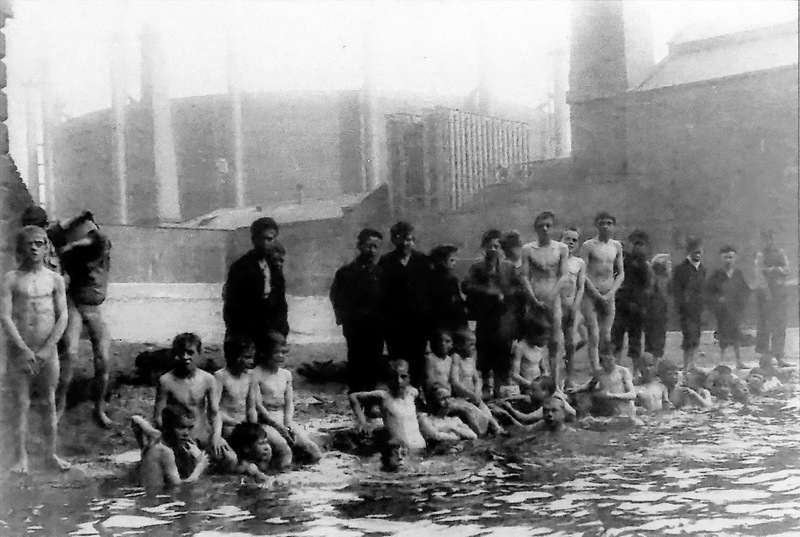 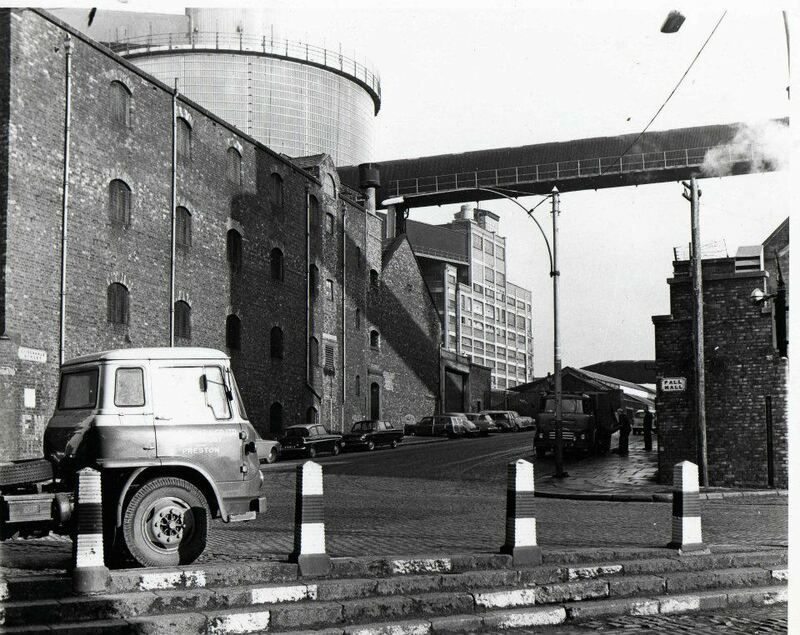 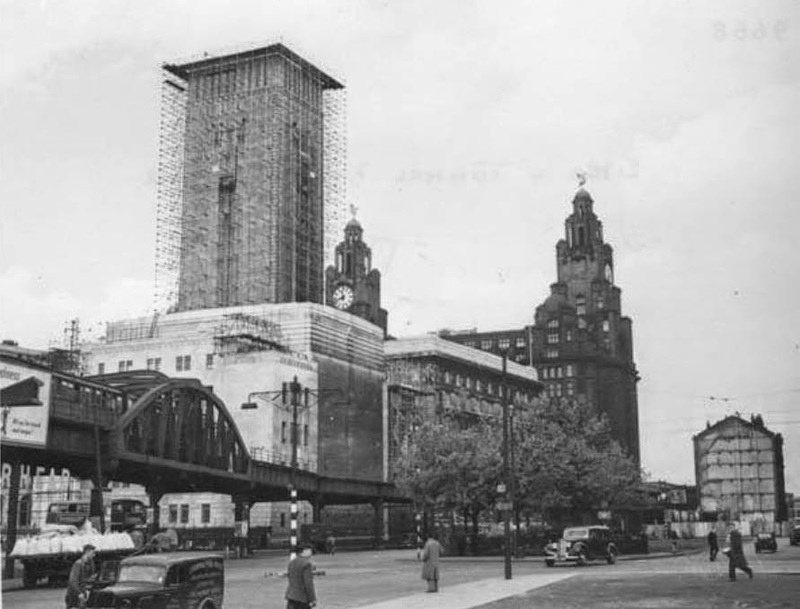 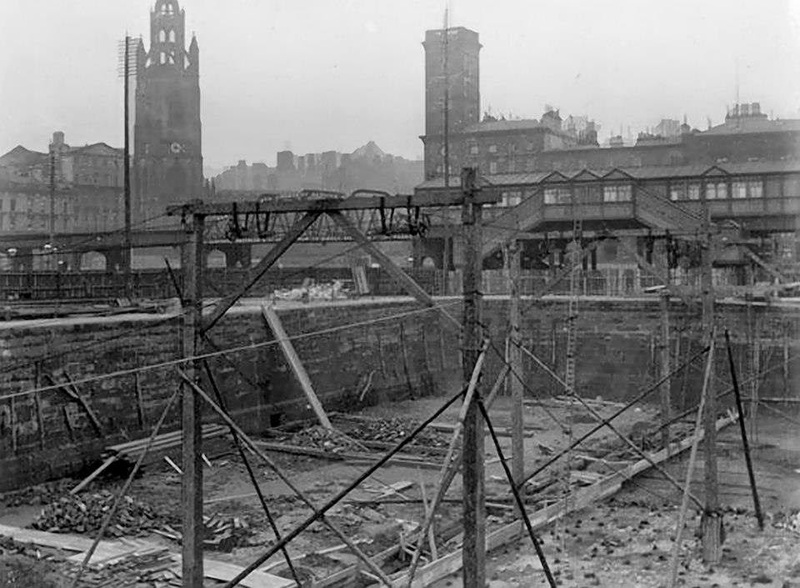 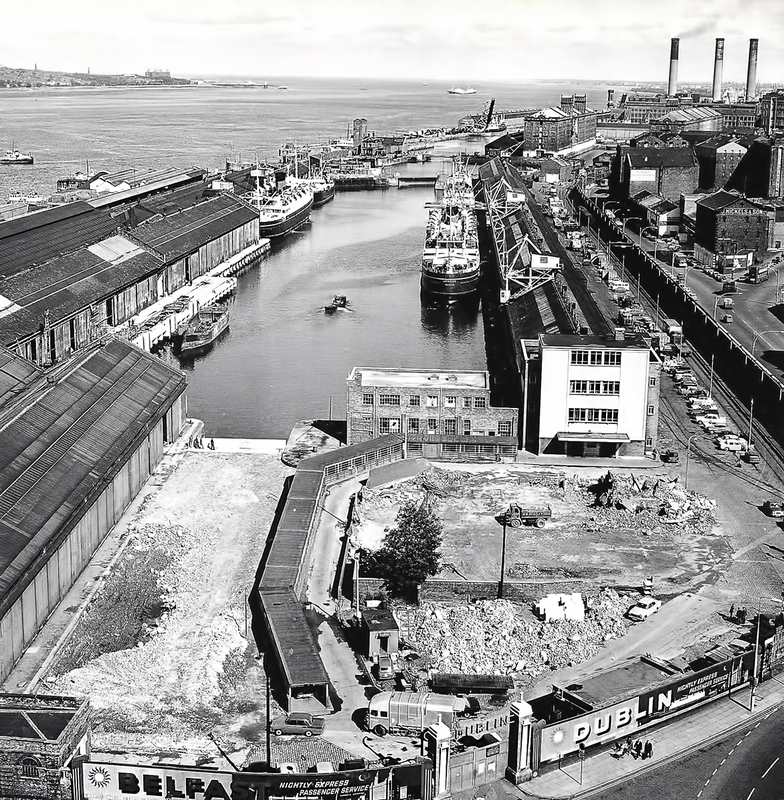 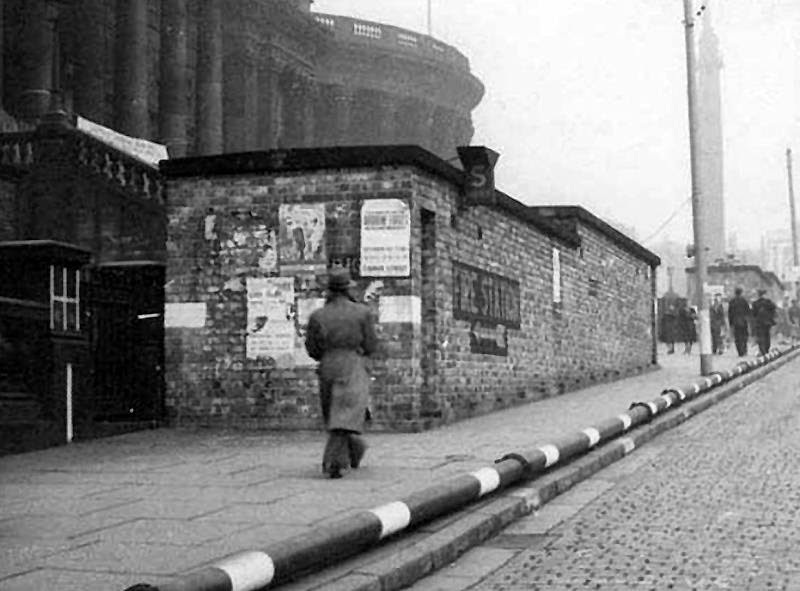 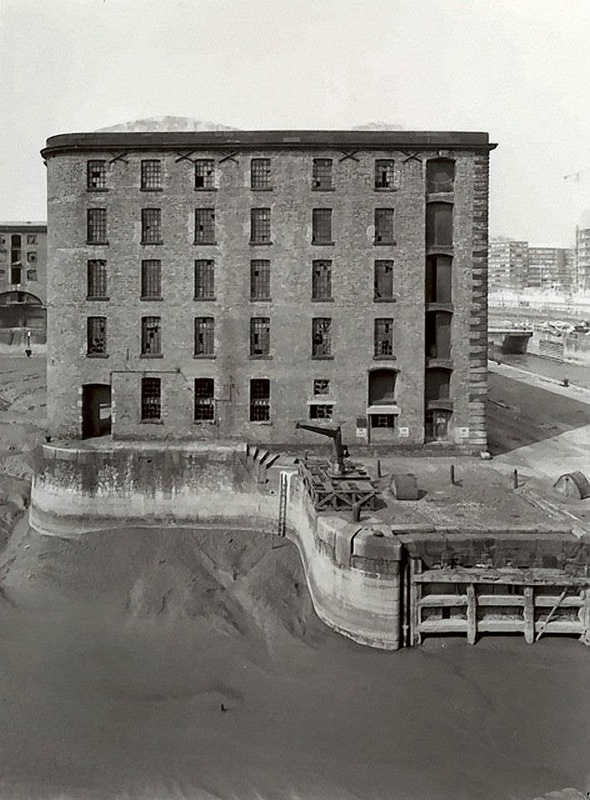 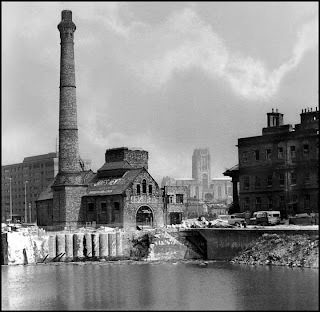 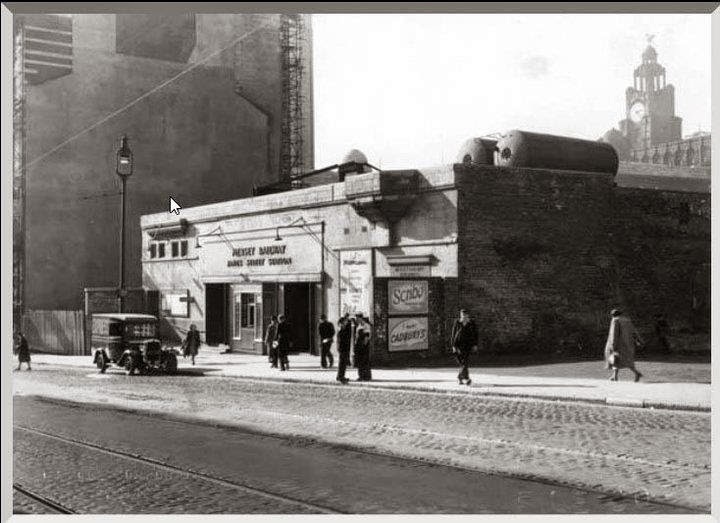 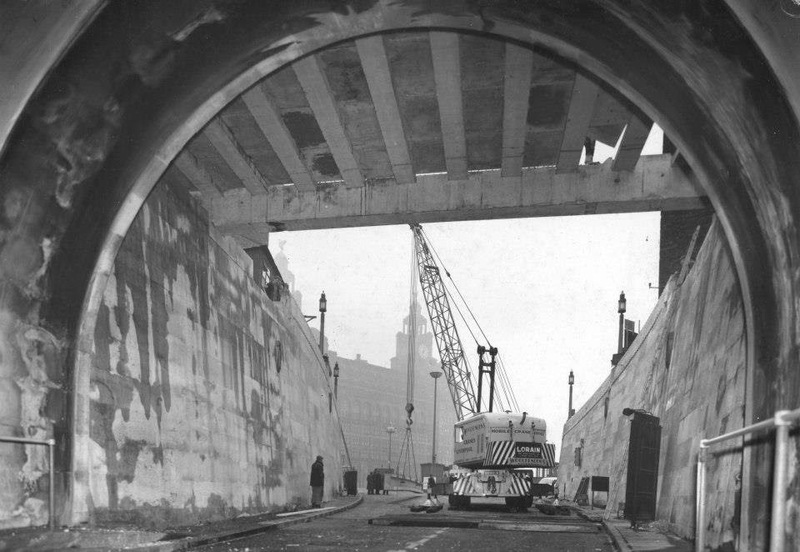 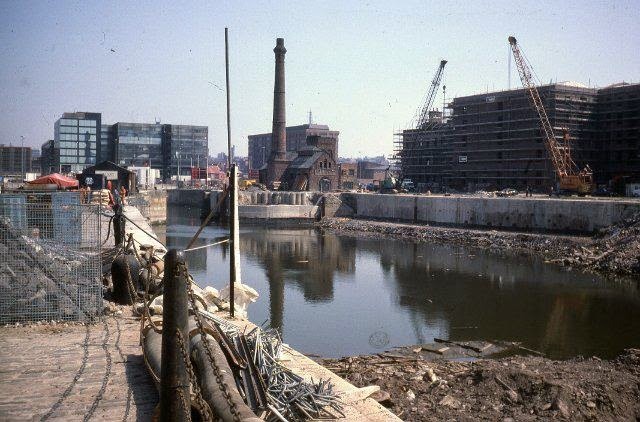 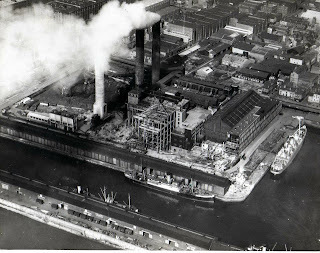 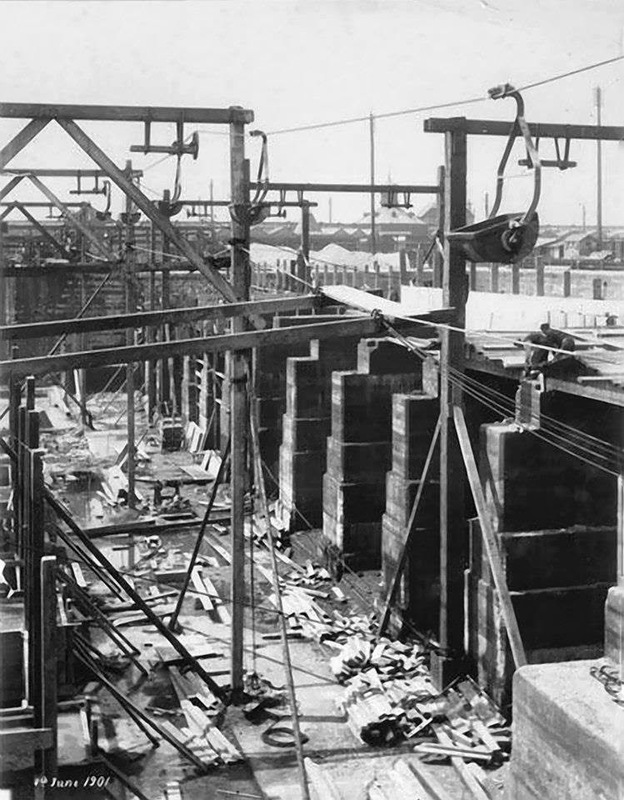 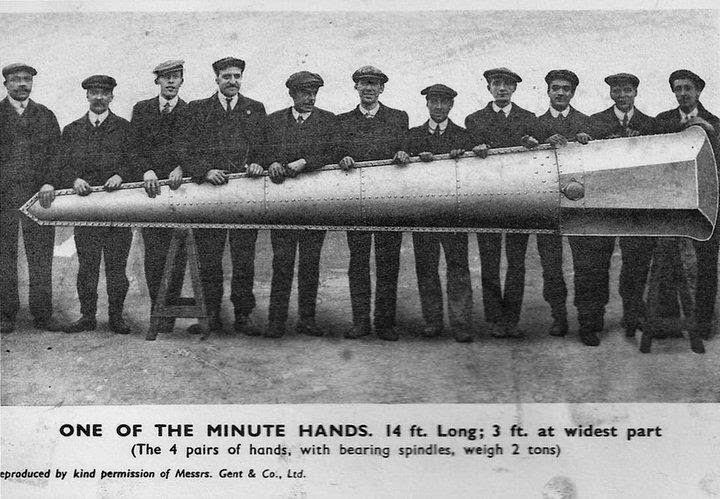 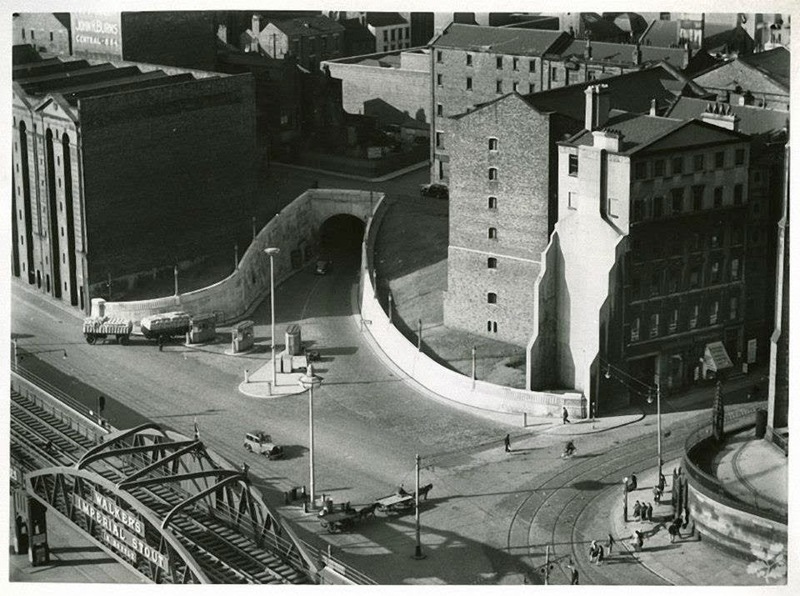 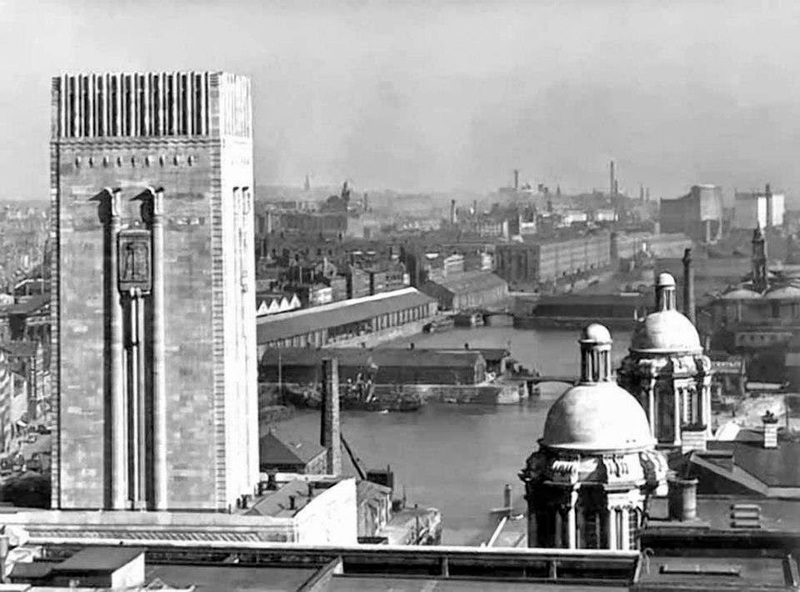 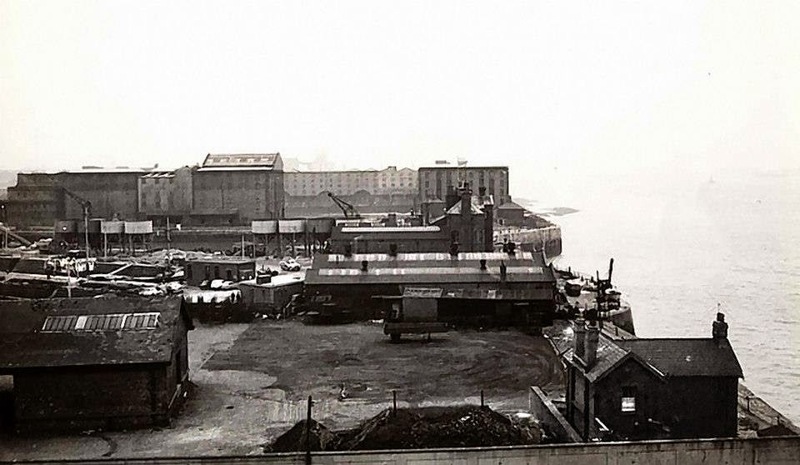 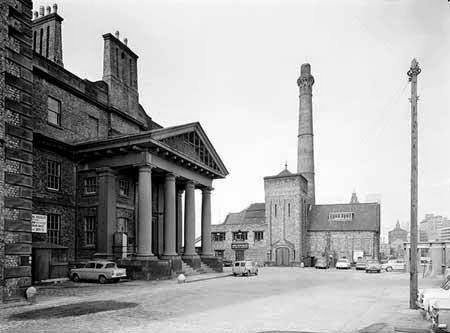 before the 3rd Clarence dock power station chimney was added in 1950. 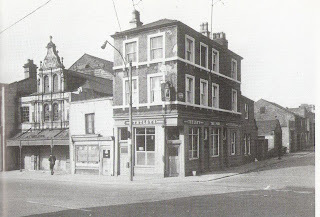 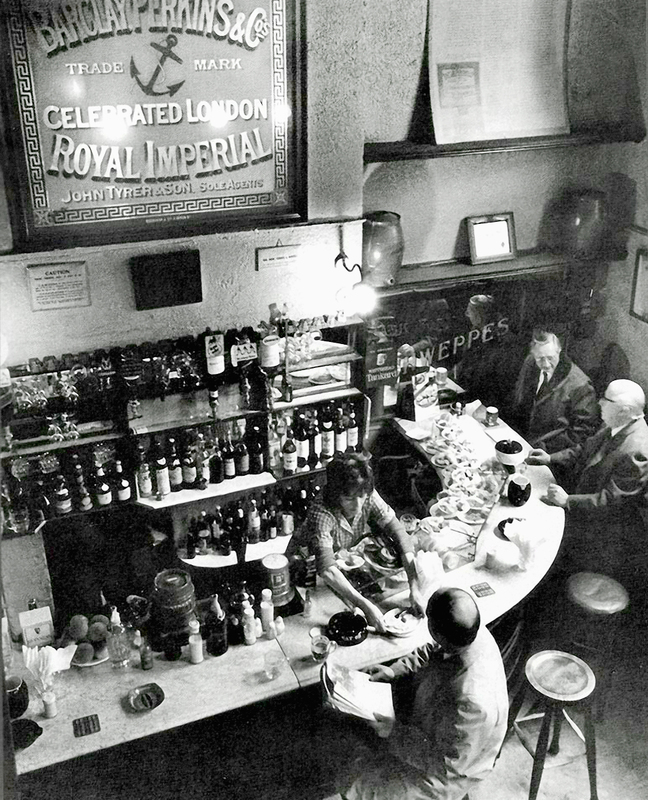 The Royal Oak pub on the corner of Islington and Norton street. 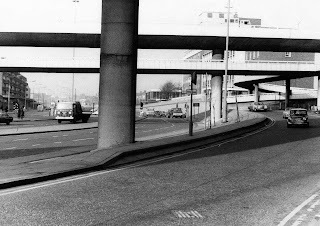 the opposite side of the road today. 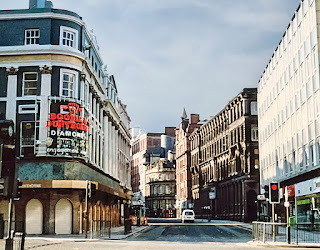 Photo by Joe Devine. 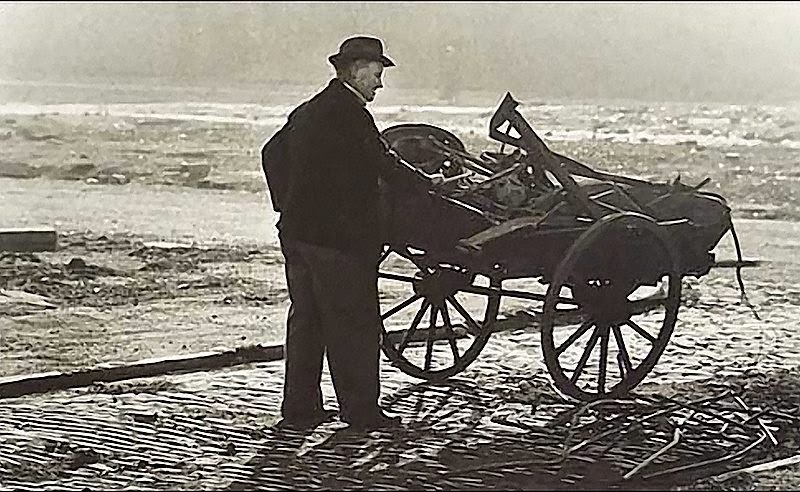 and a young and dangerous pyromaniac.